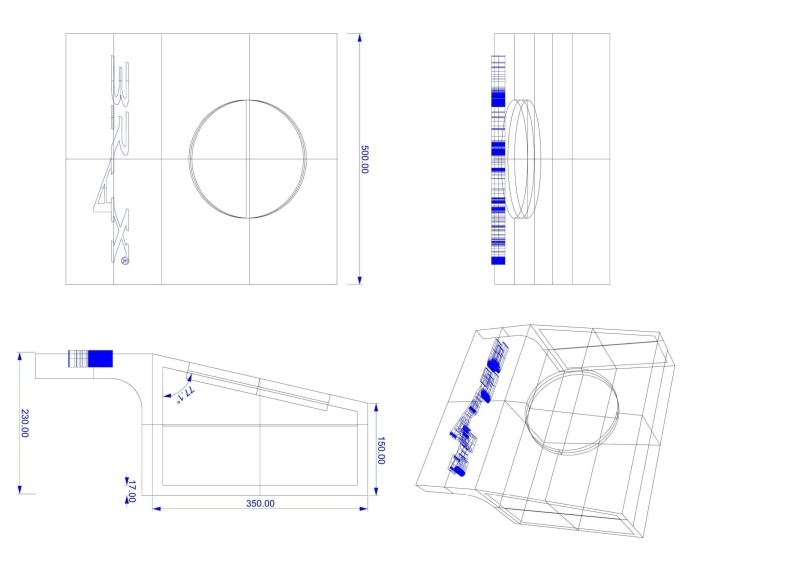 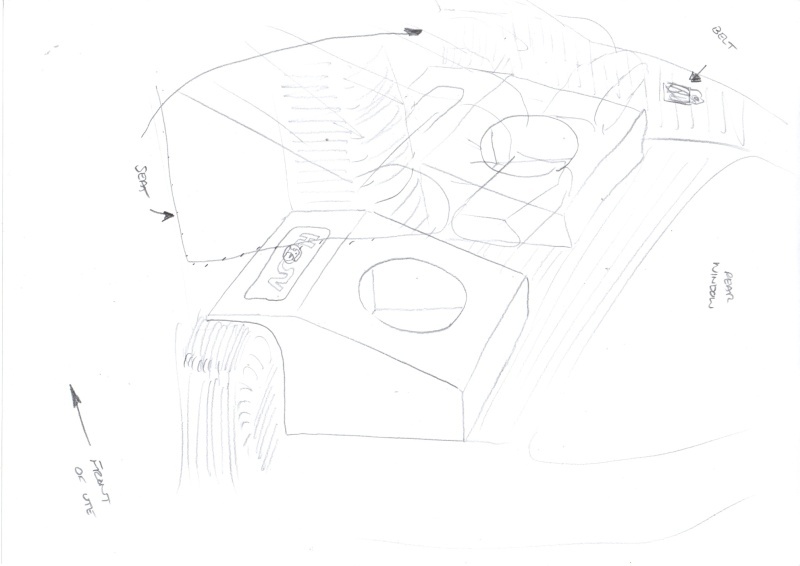 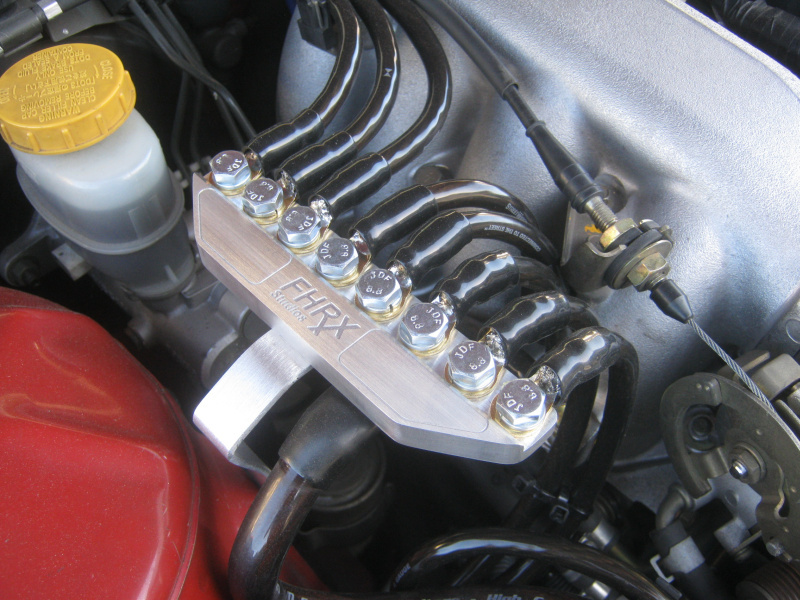 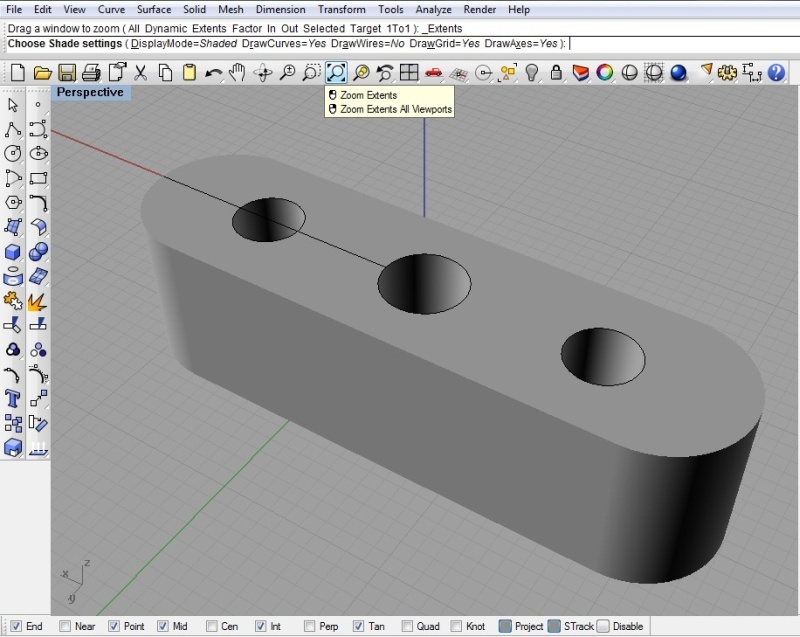 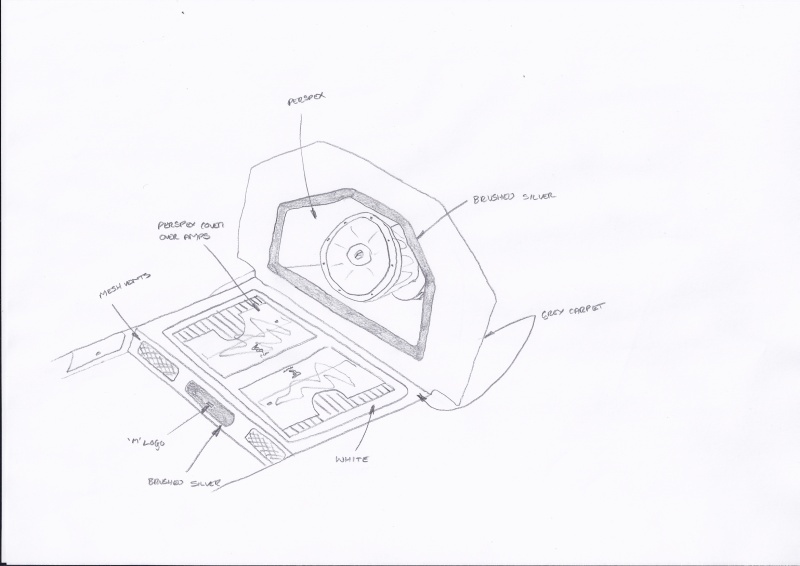 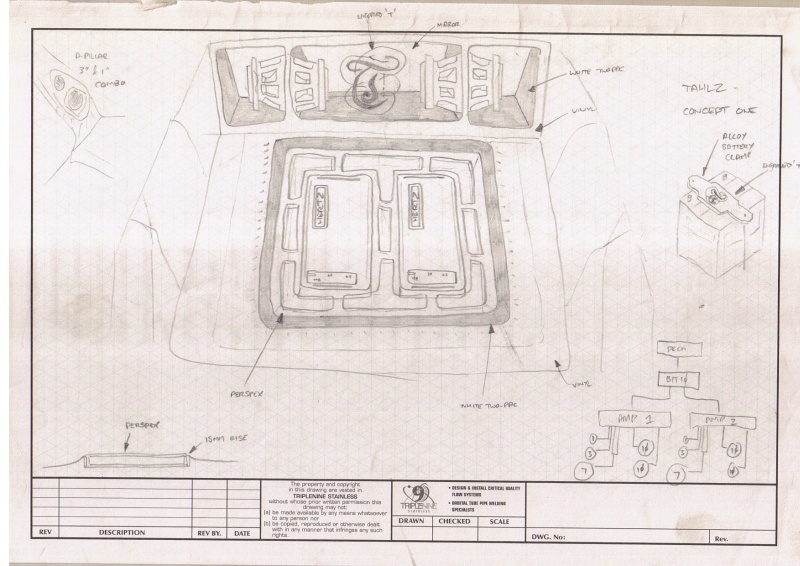 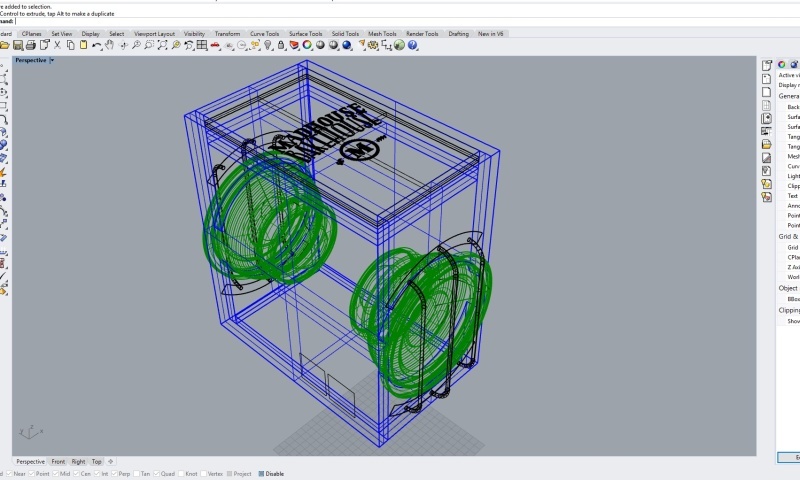 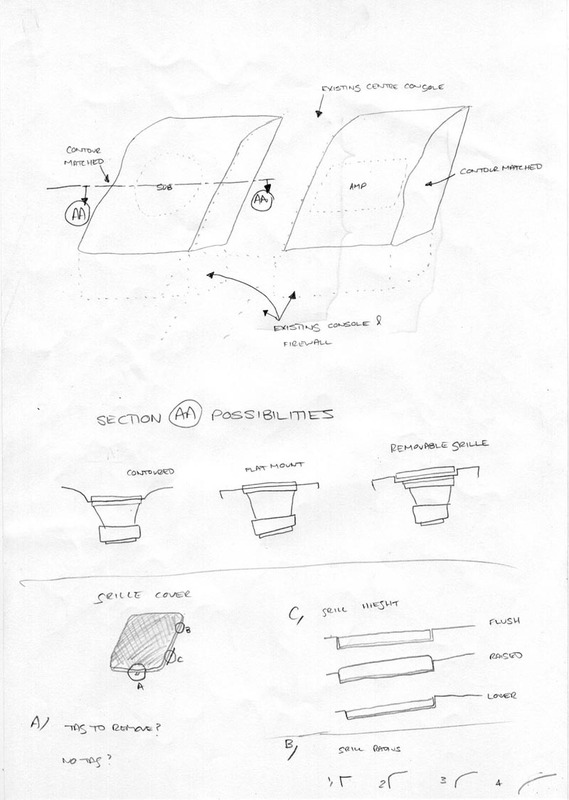 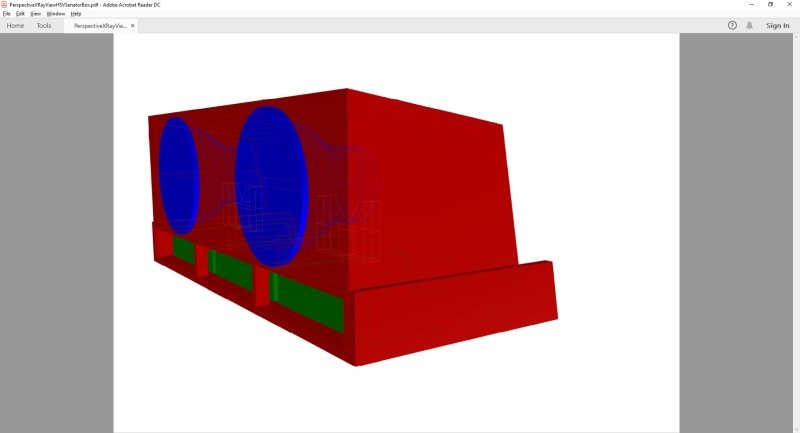 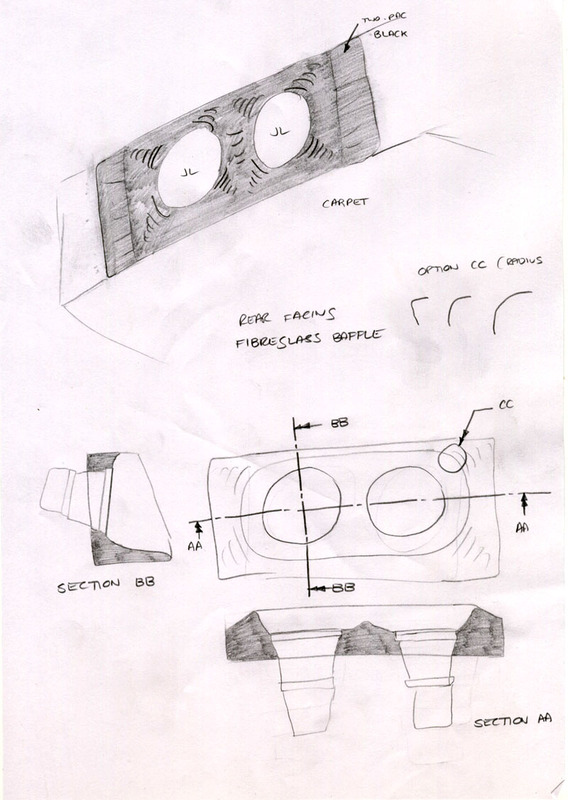 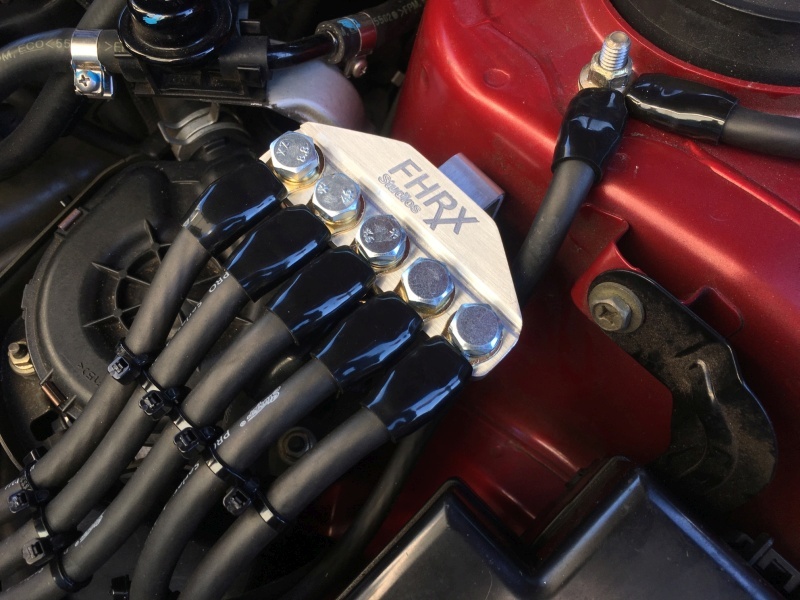 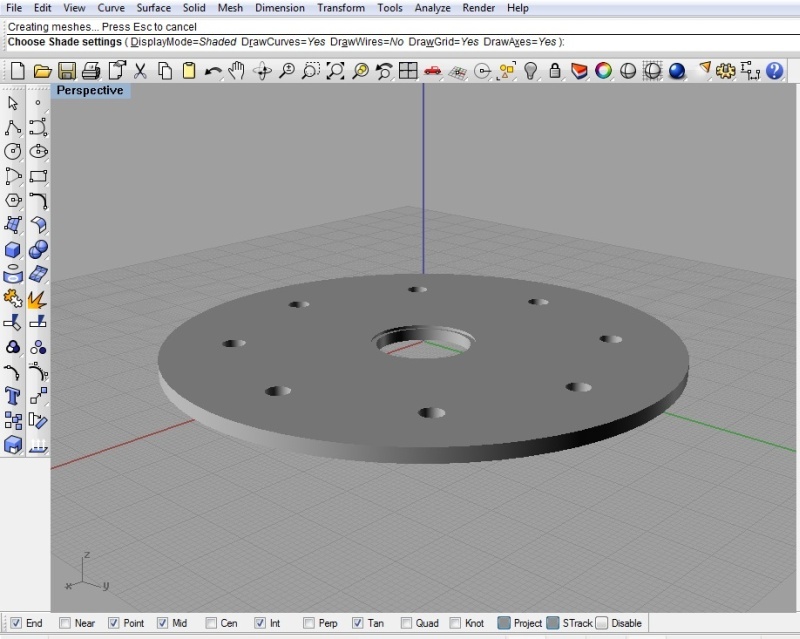 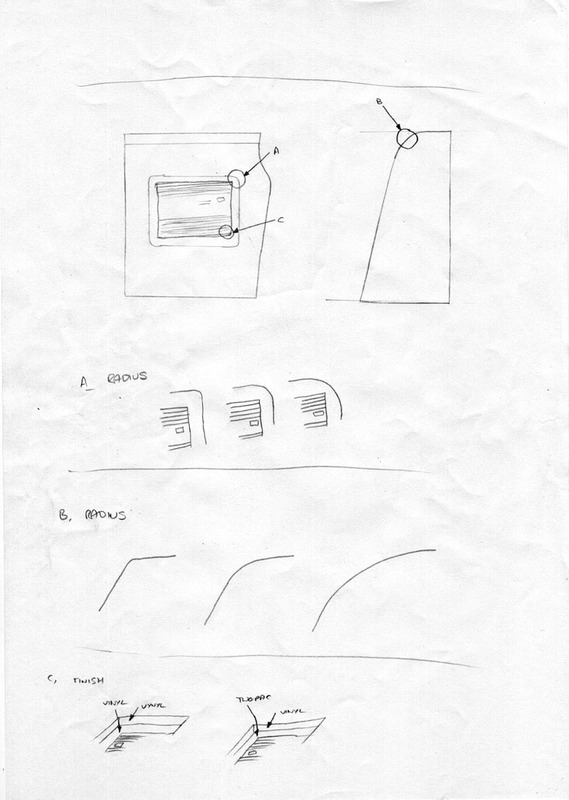 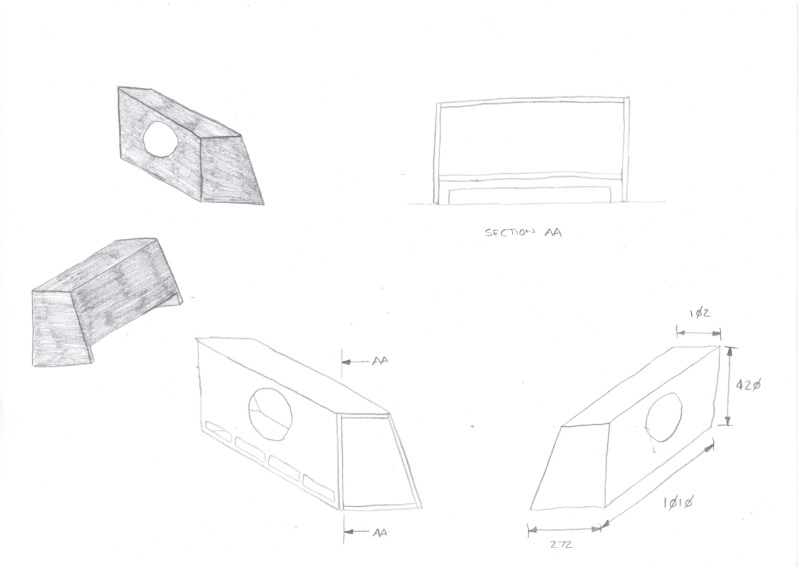 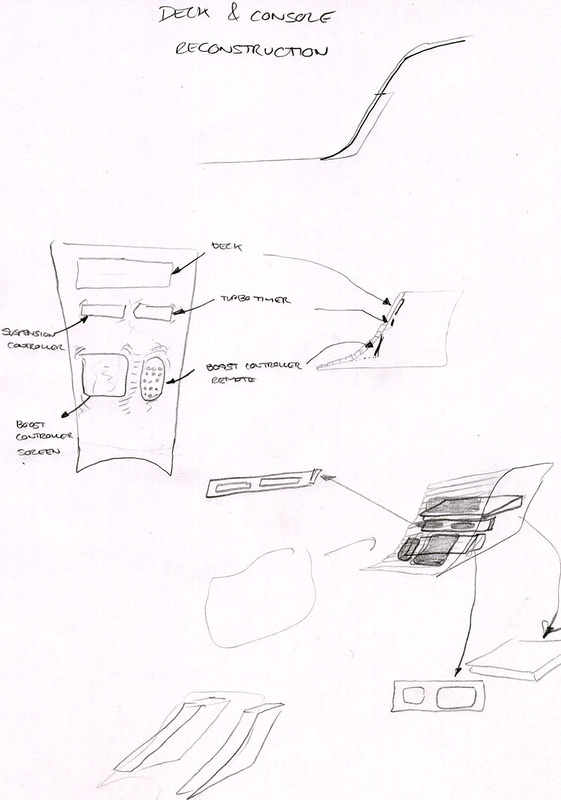 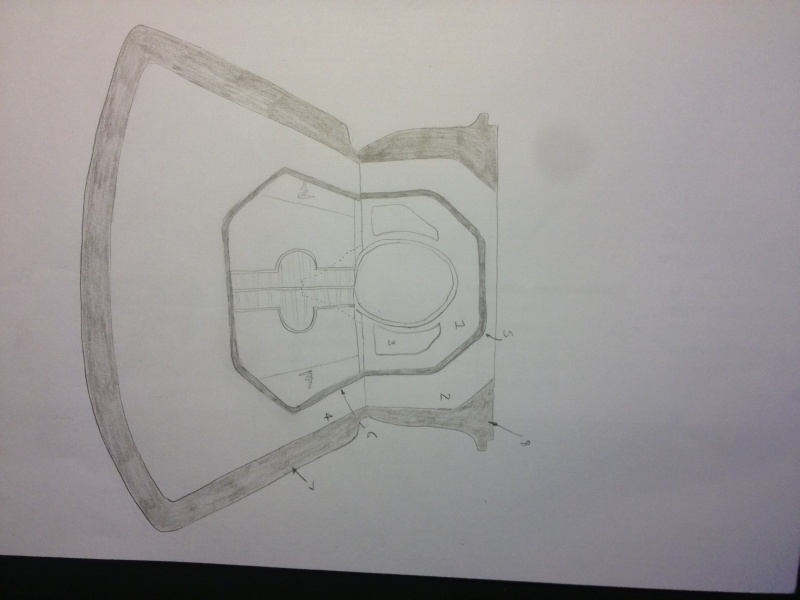 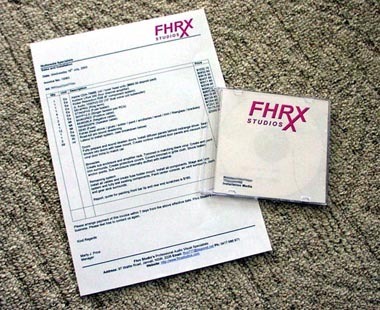 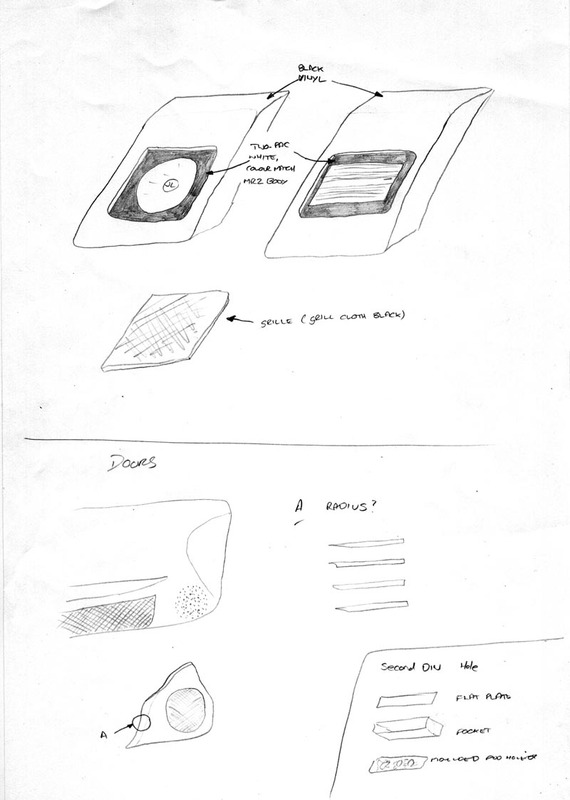 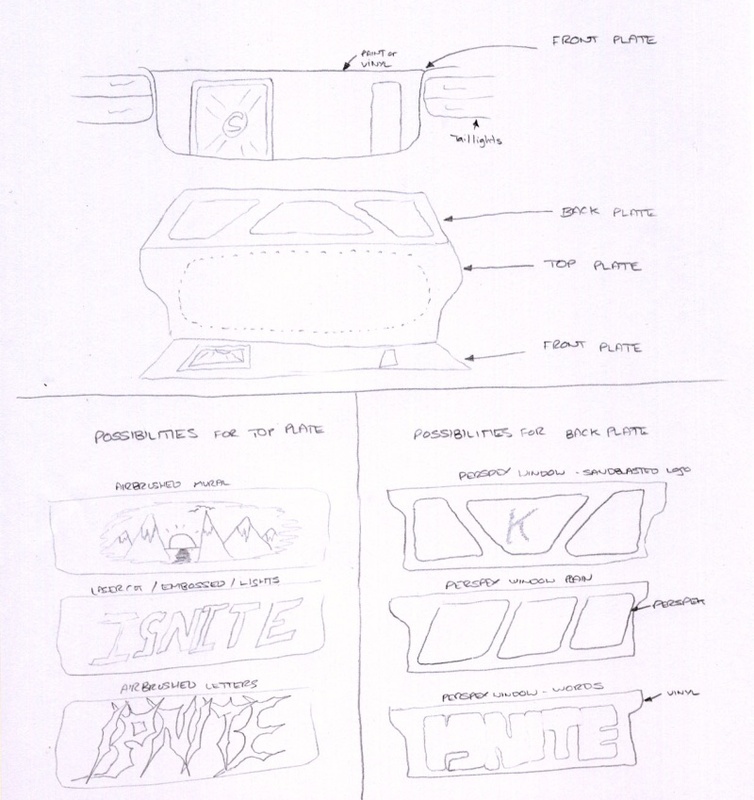 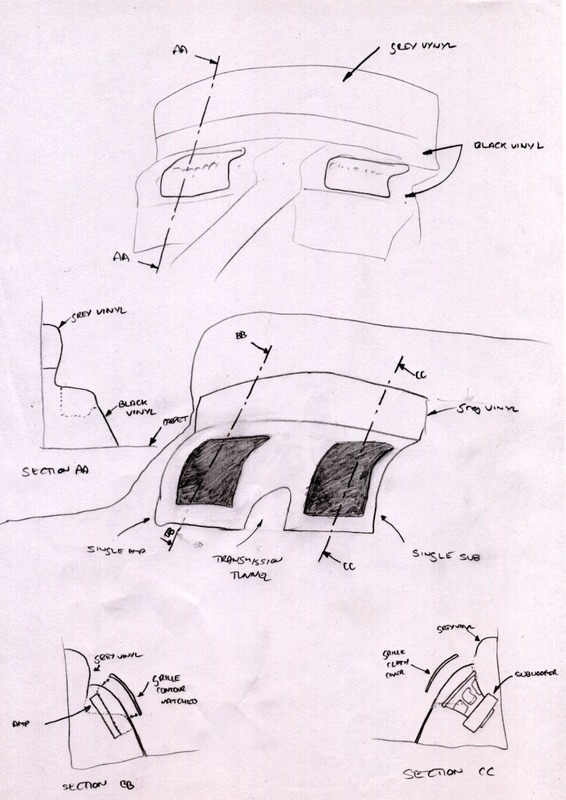 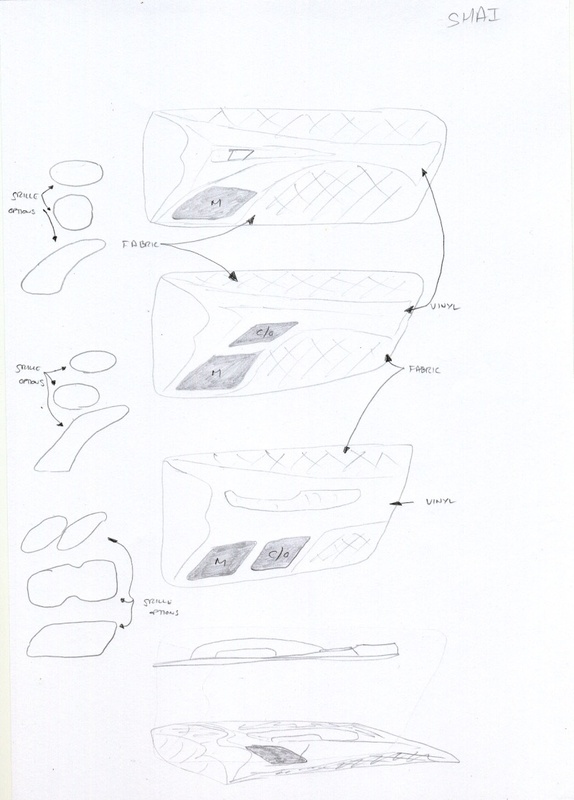 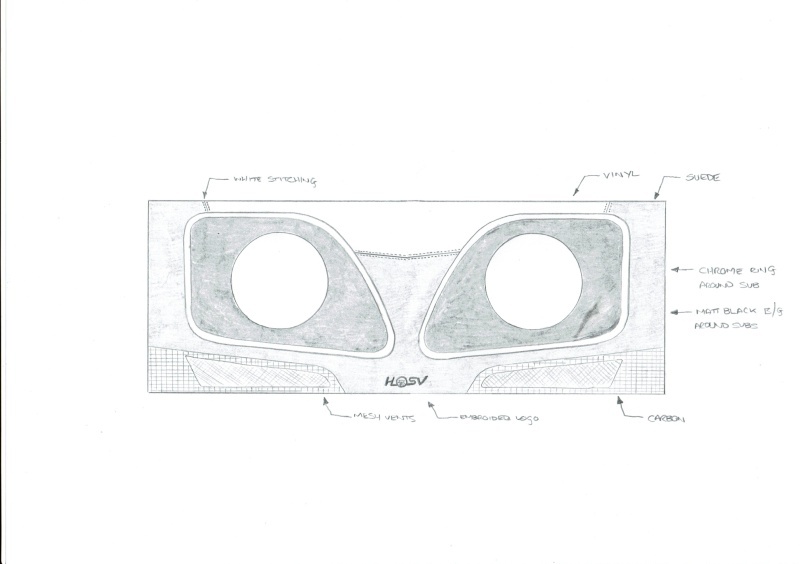 All custom system installations undertaken by Fhrx Studios are first committed either to paper in the form of concept art, or computer in the form of a CAD design. 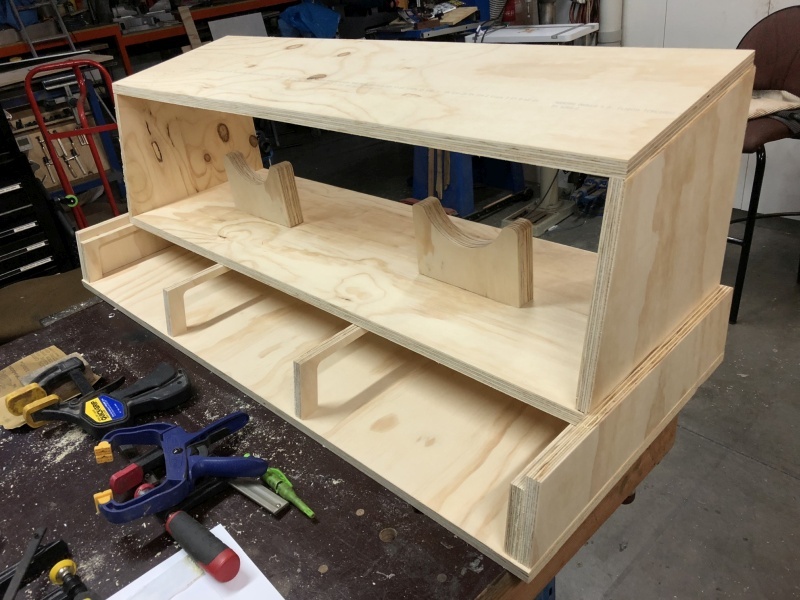 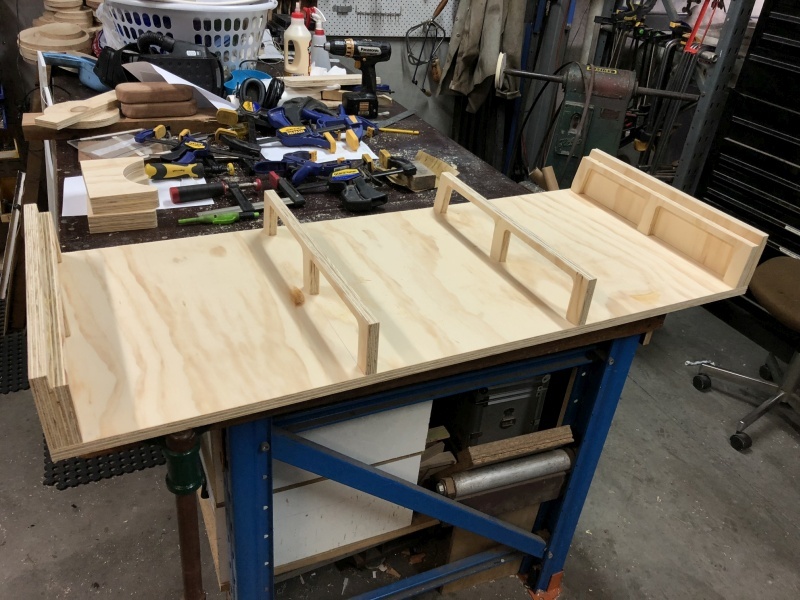 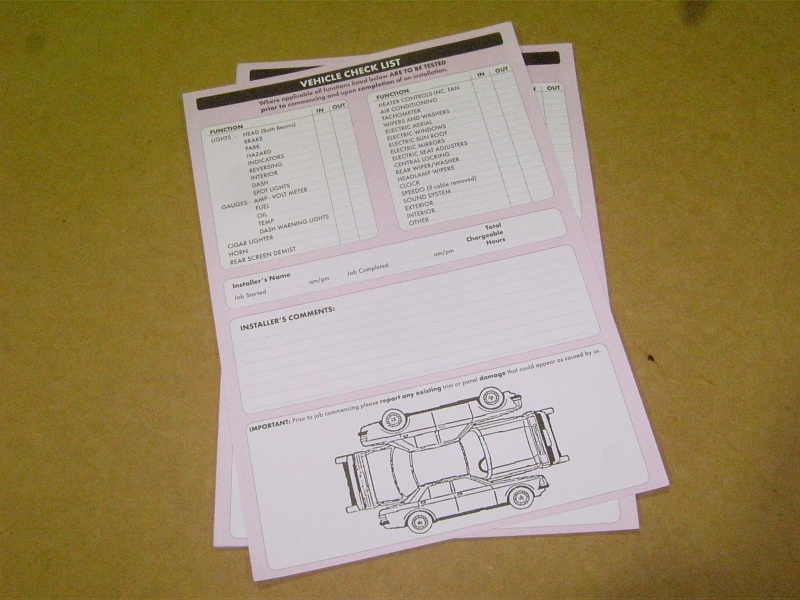 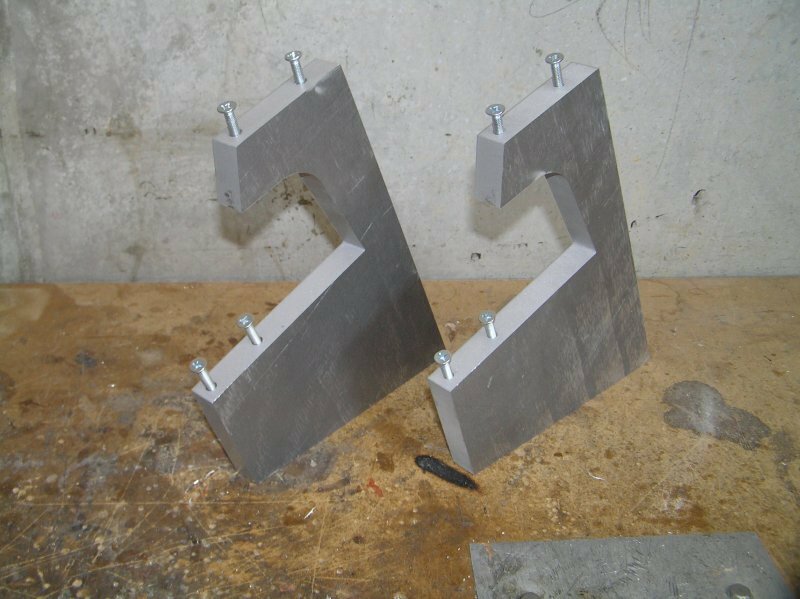 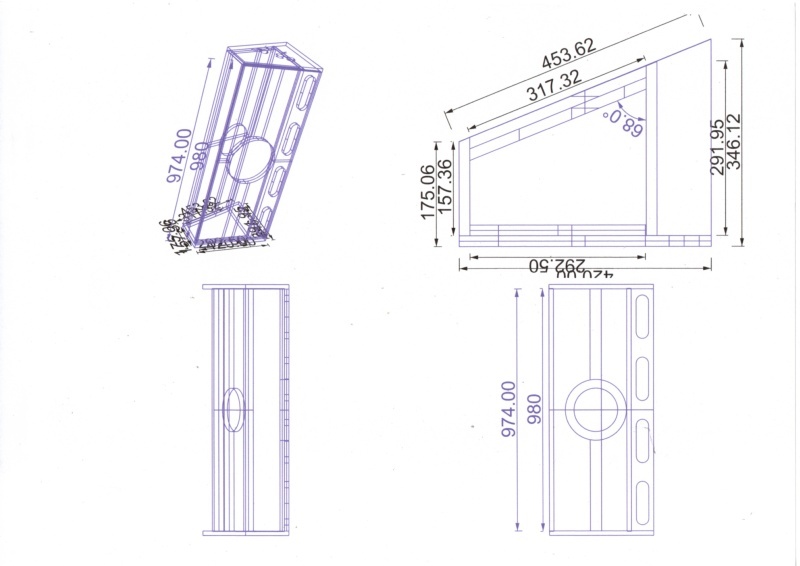 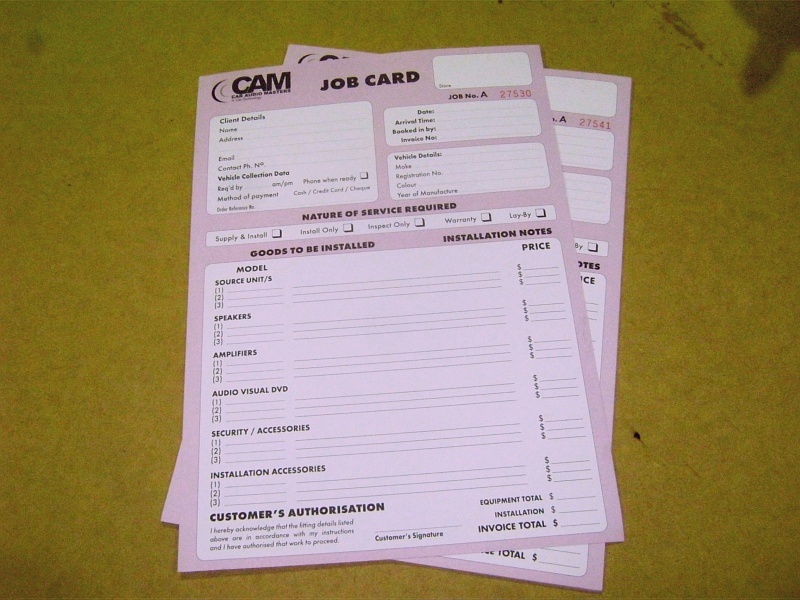 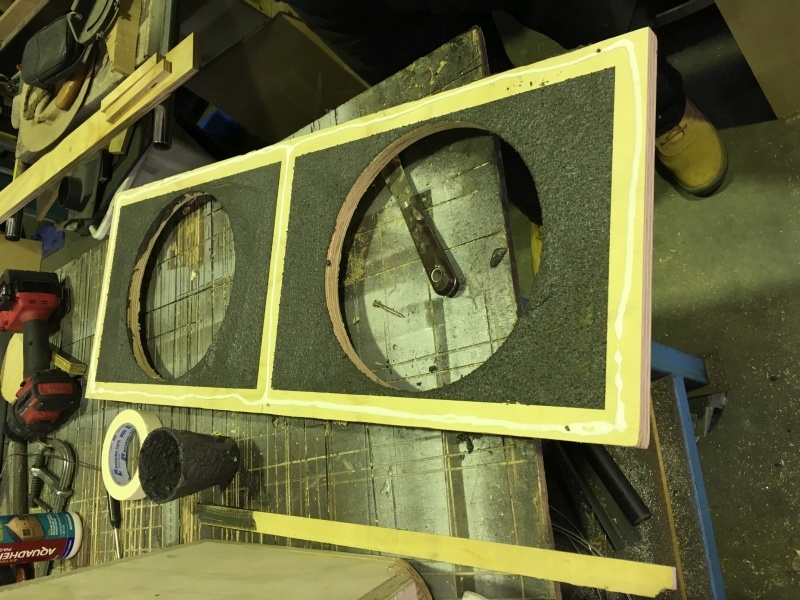 These are then presented to the customer for approval, thereby giving everyone involved a clear display of what the install is to look like before any building is commenced. 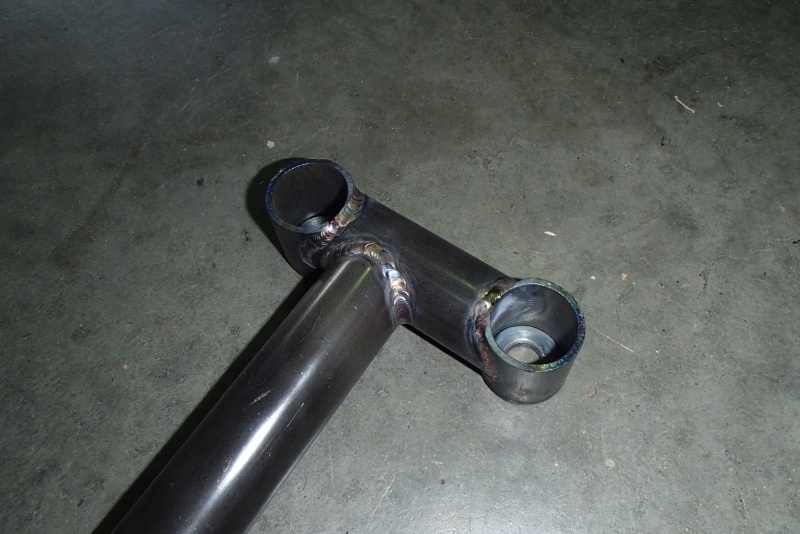 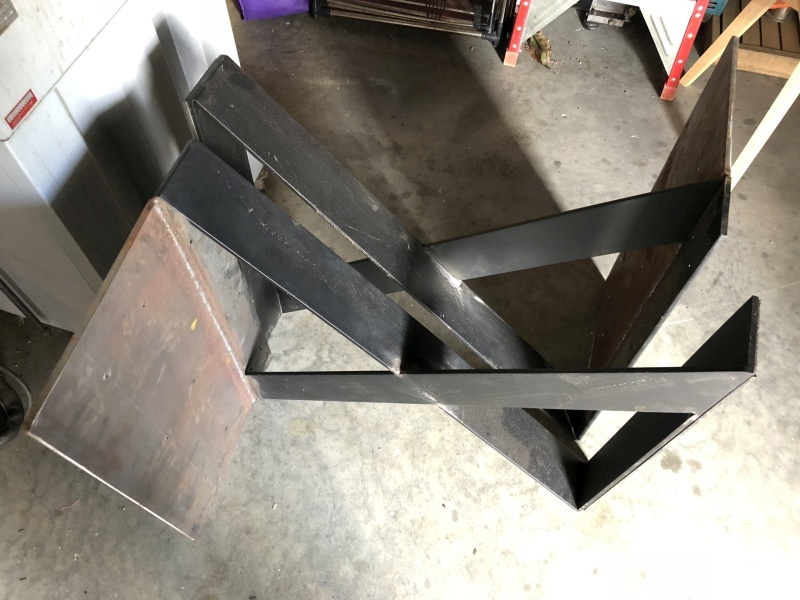 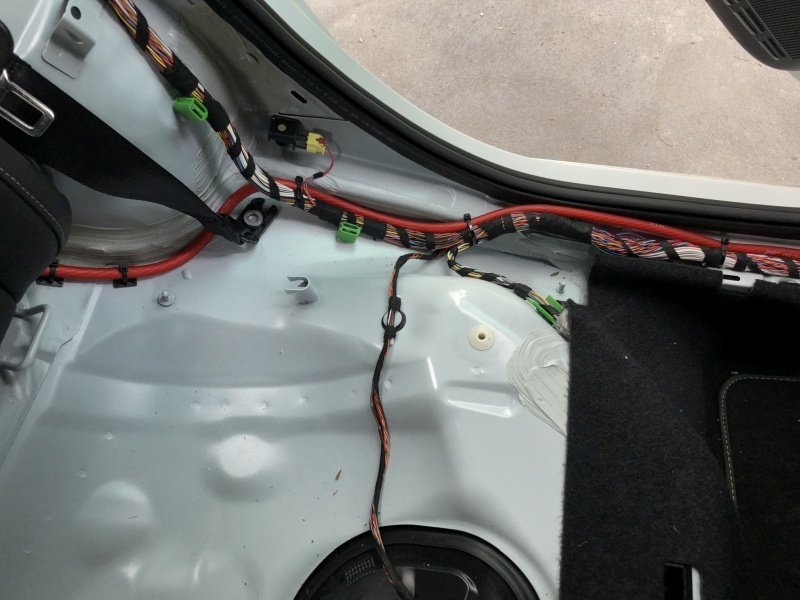 There would be nothing worse than building an entire system and then finding at the end of the exercise that although the owner appreciates the work that has gone into it, it's not at all what he wanted. 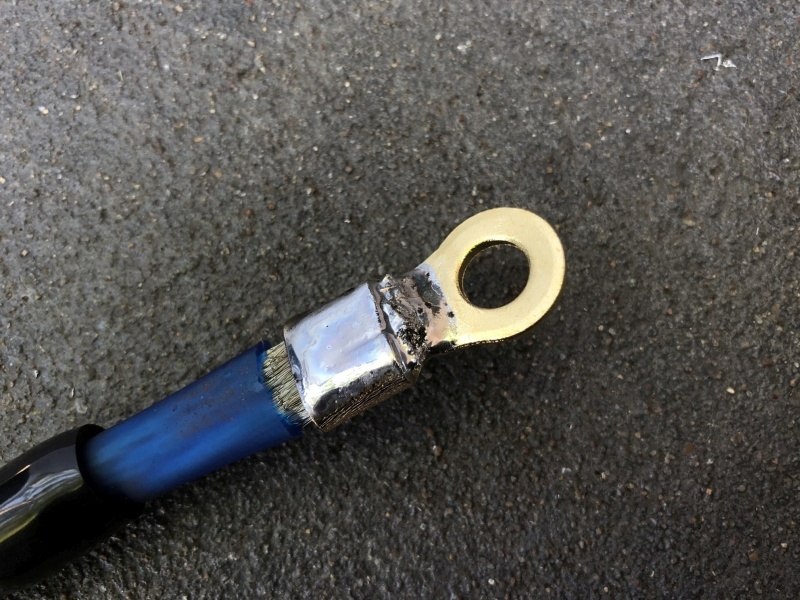 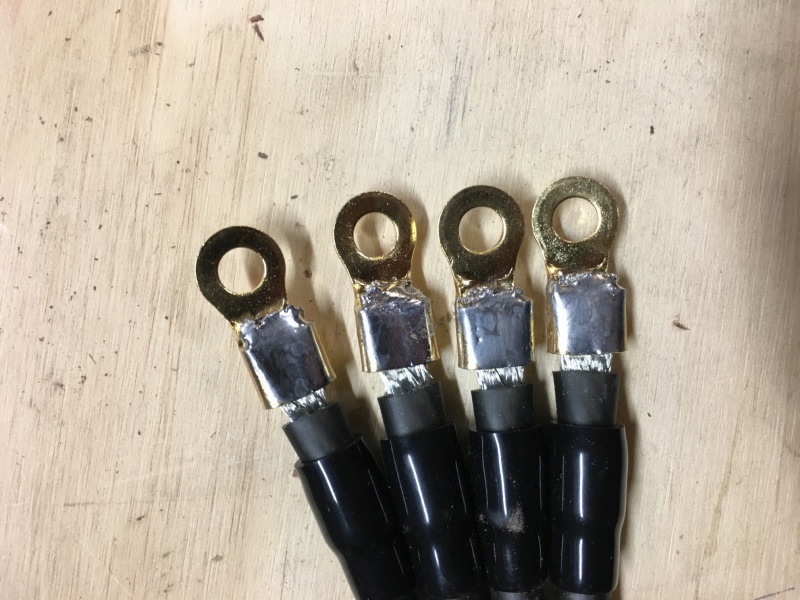 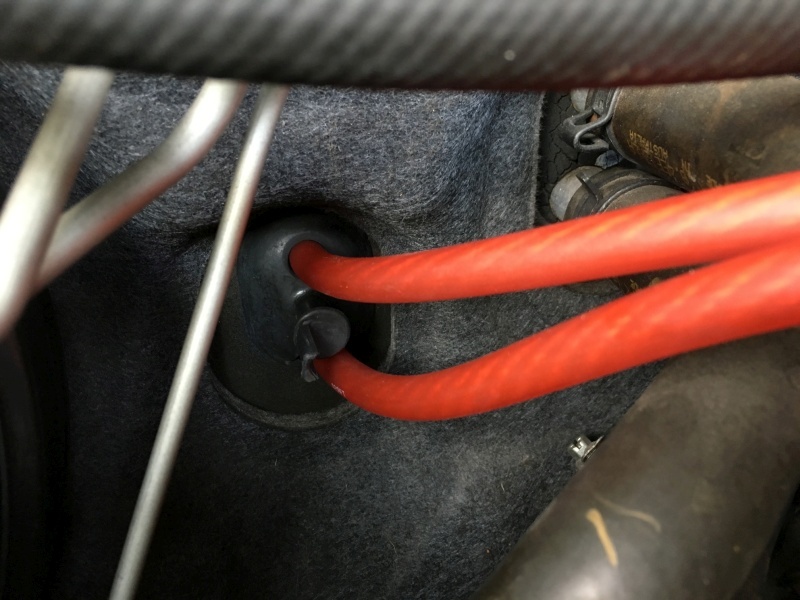 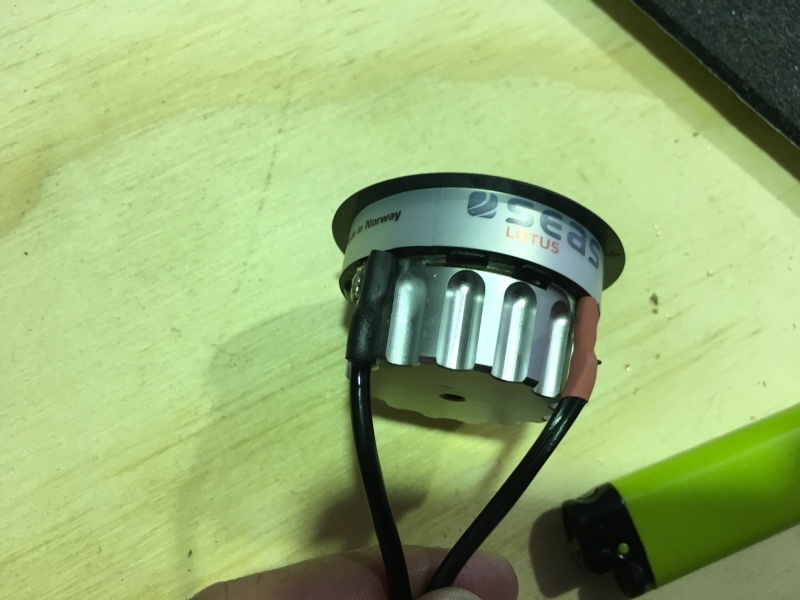 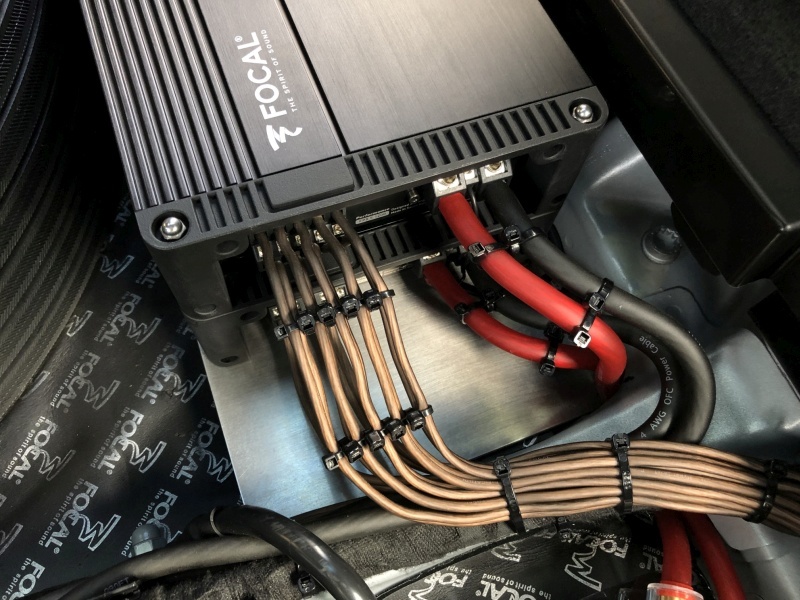 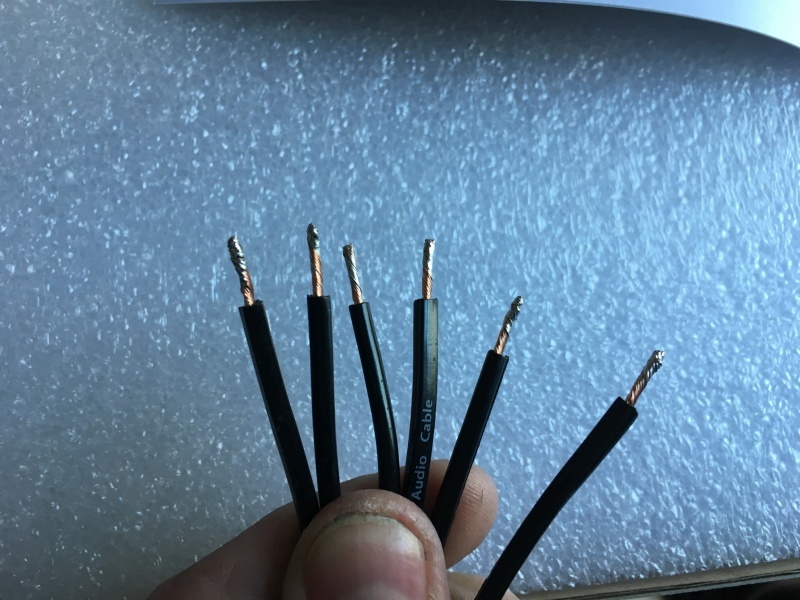 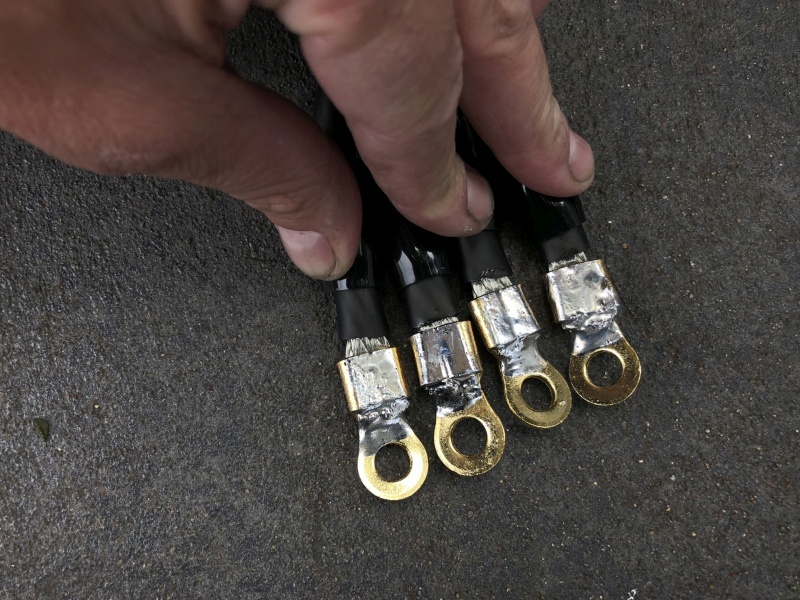 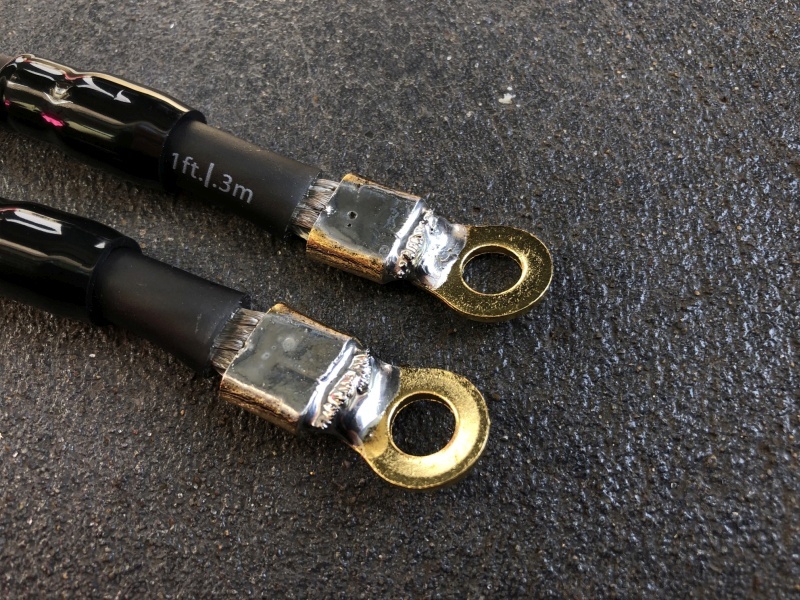 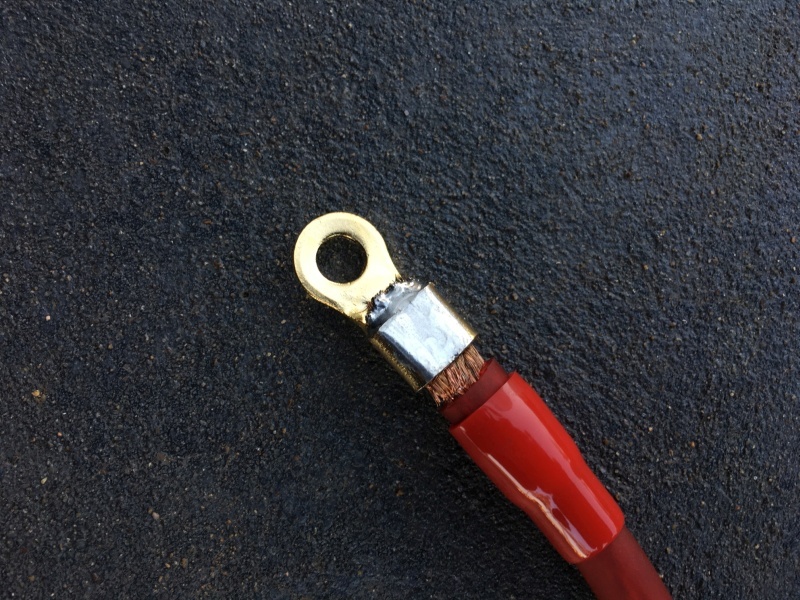 As nice as a single titanic sized power cable might look; many of our systems instead employ completely separate power runs in order to deliver high levels of current to each amplifier individually. 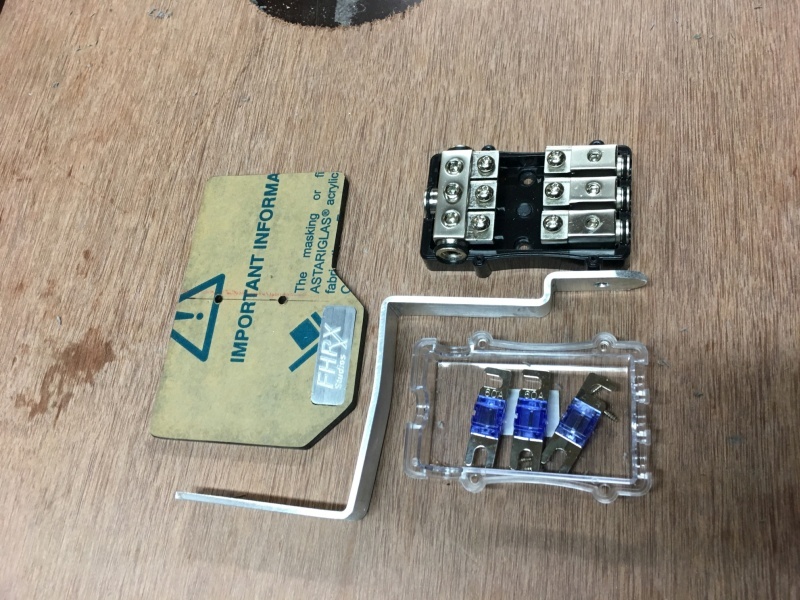 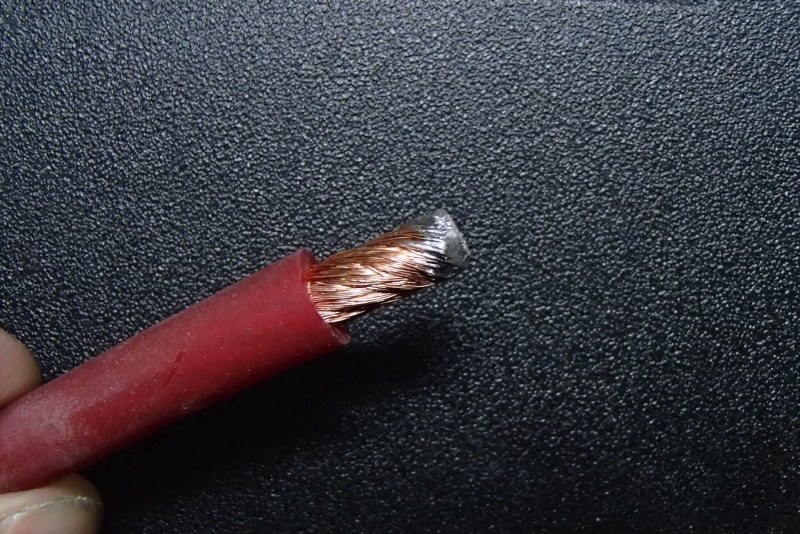 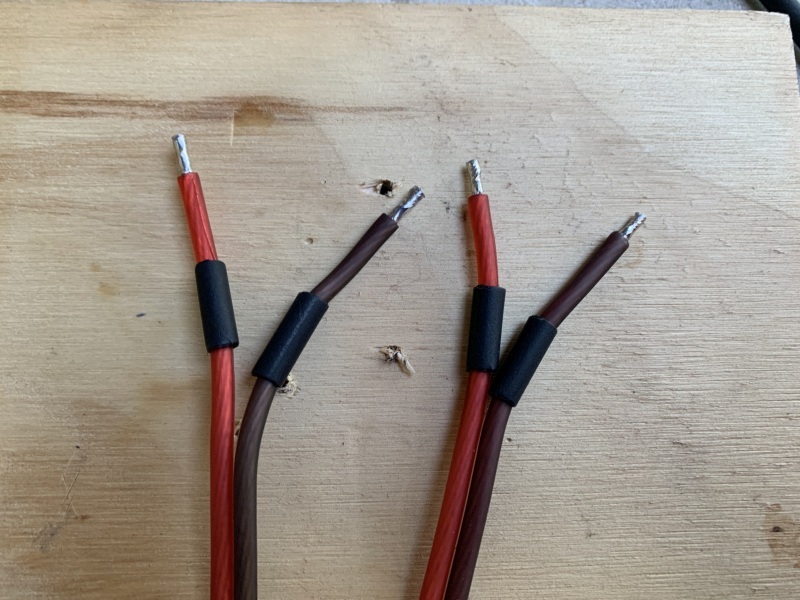 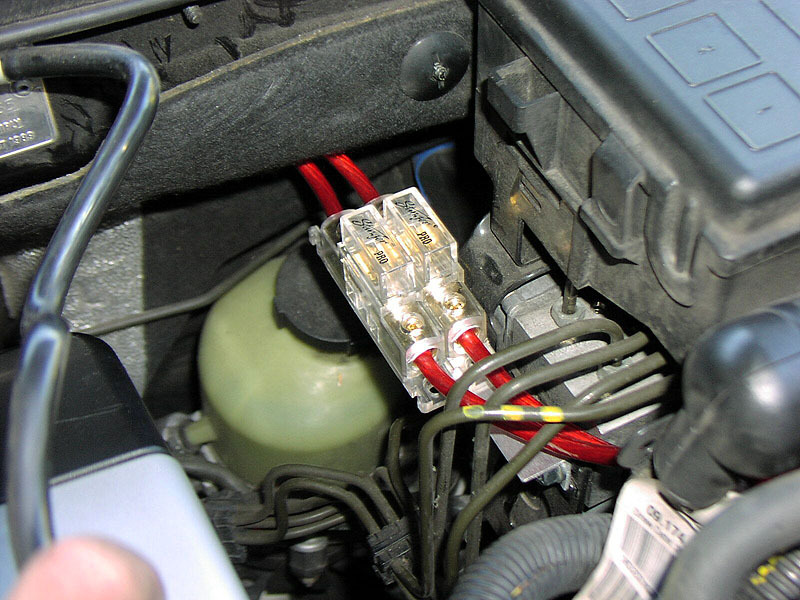 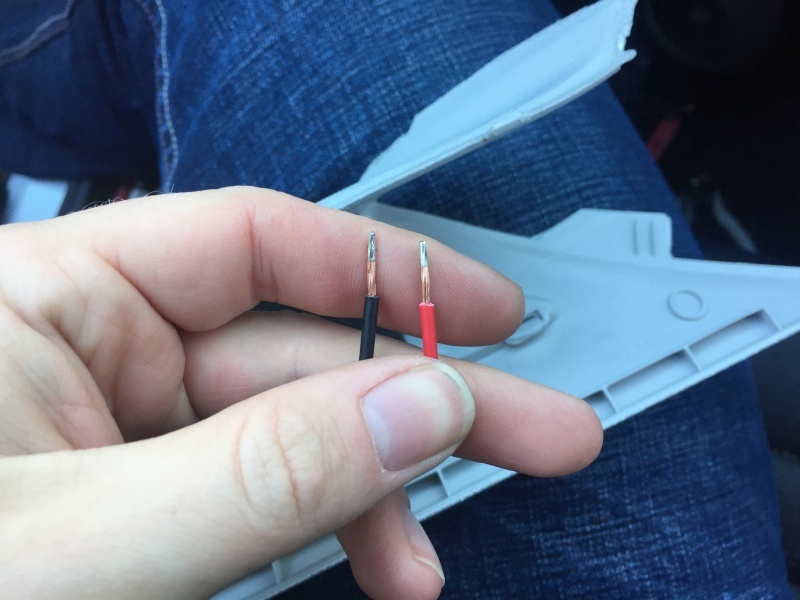 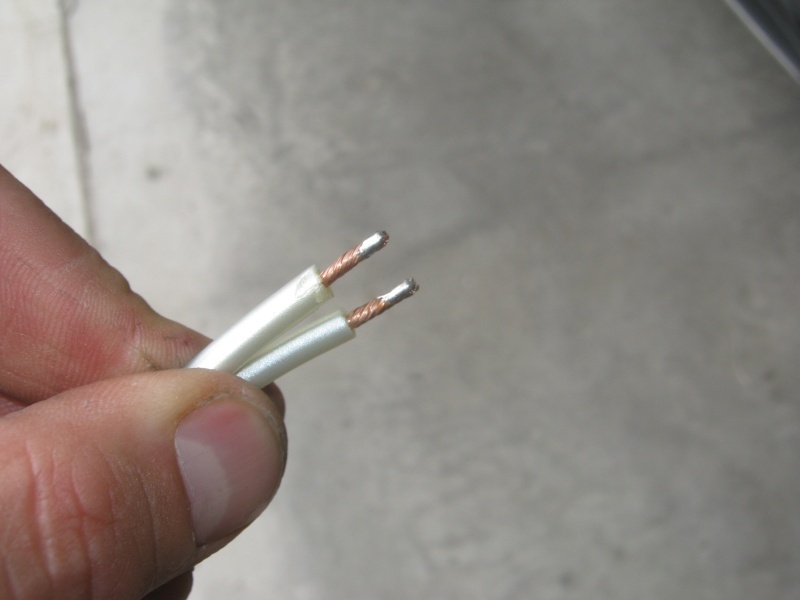 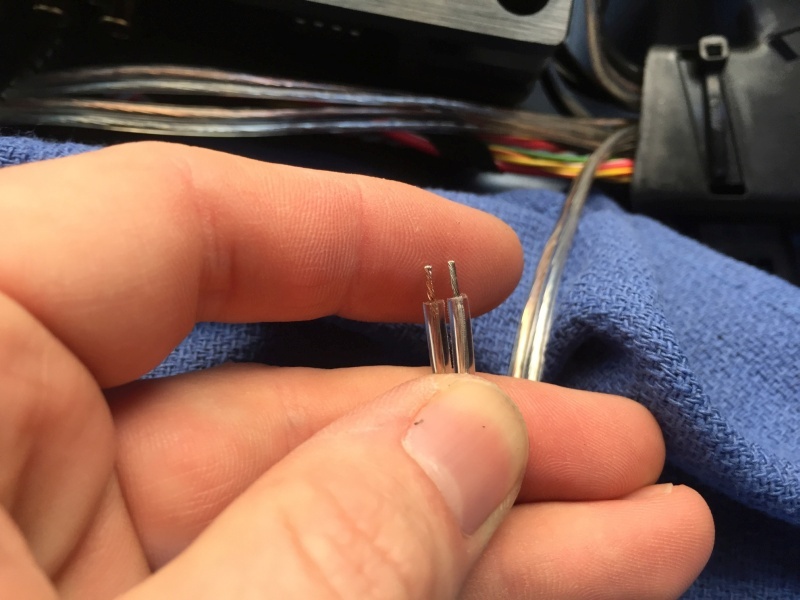 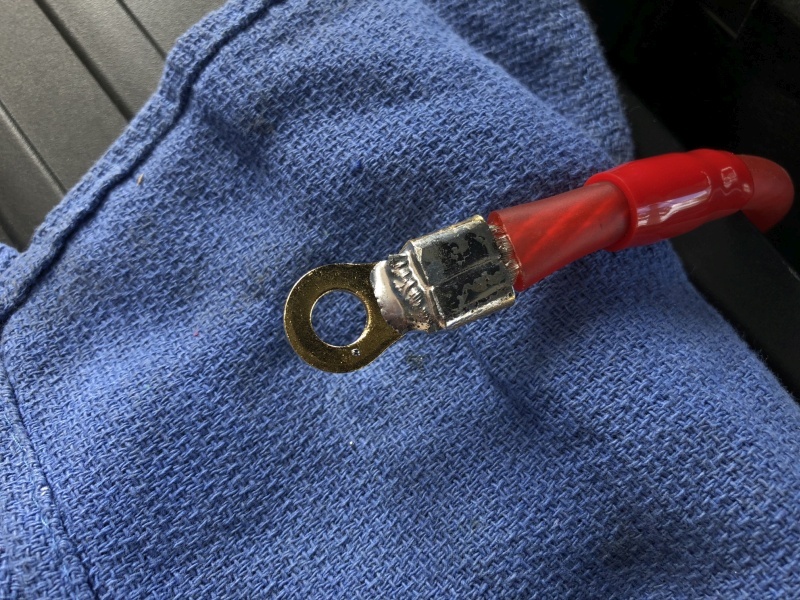 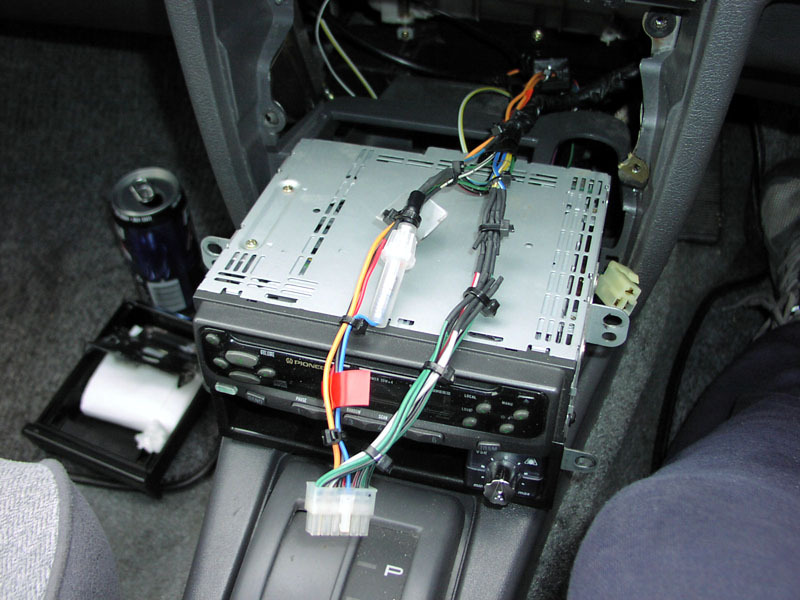 There�re several reasons for doing this; the main one being that if something goes wrong only one fuse blows, thus leaving your other amplifiers still running and safe. 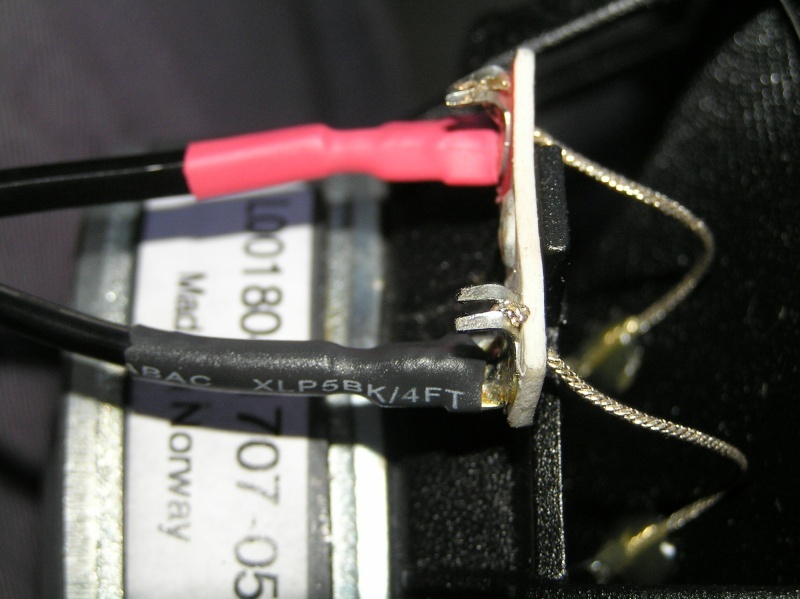 For the separate power runs intrinsically eliminate the risk of adjoining amplifiers being damaged in the case of a catastrophic malfunction. 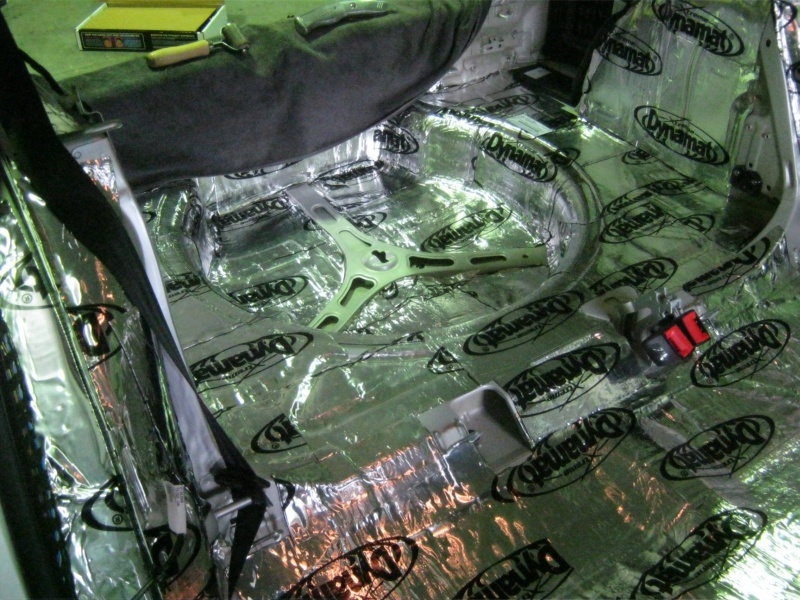 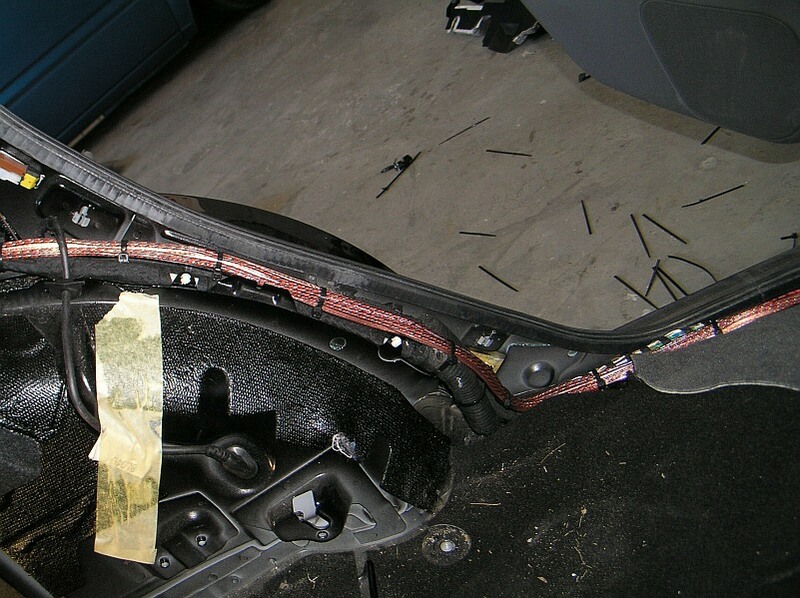 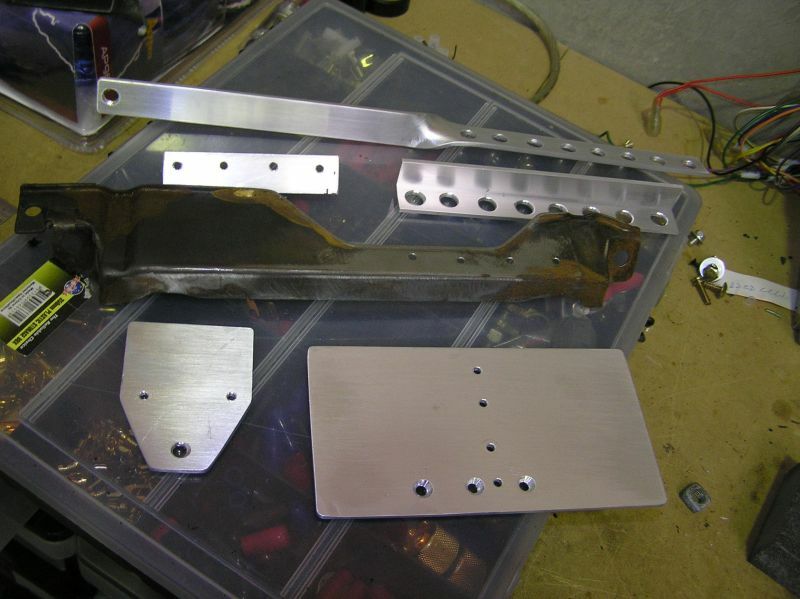 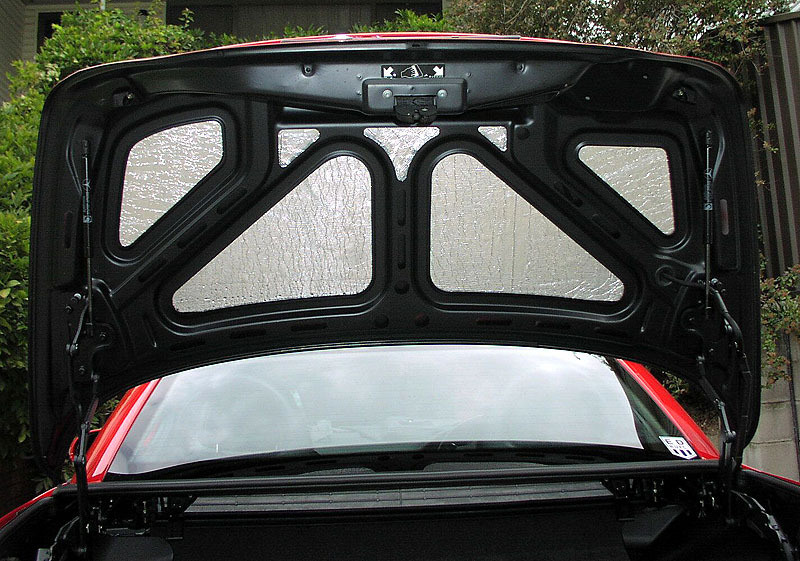 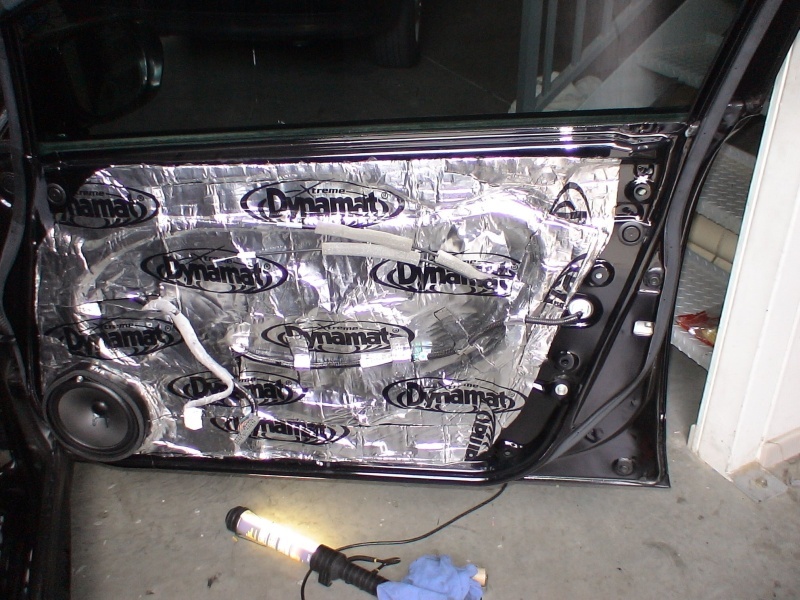 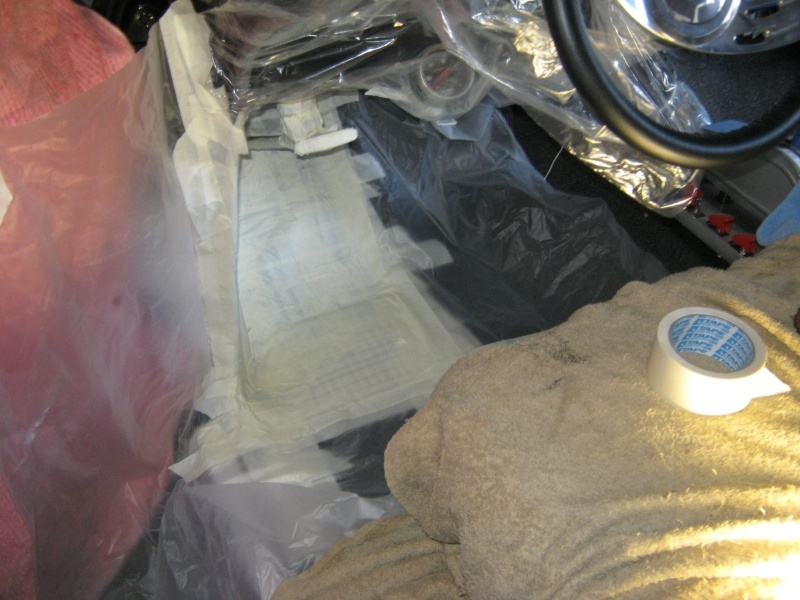 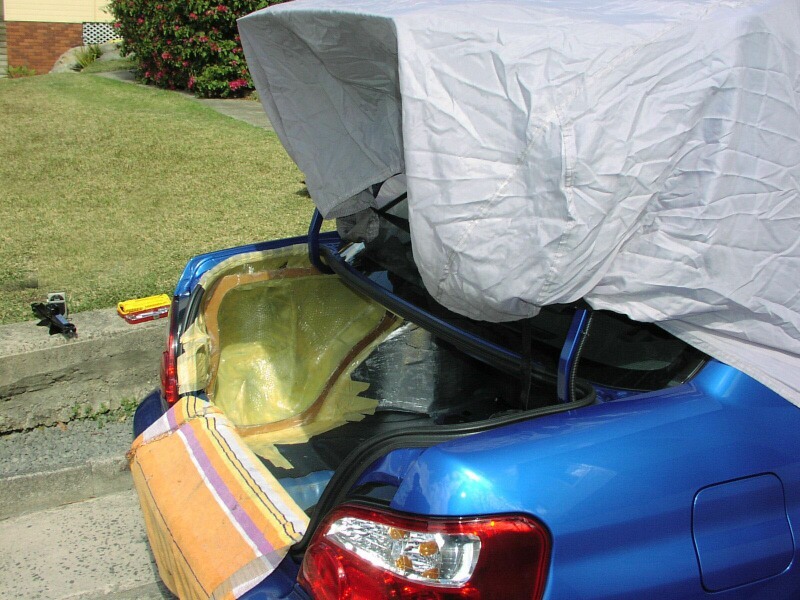 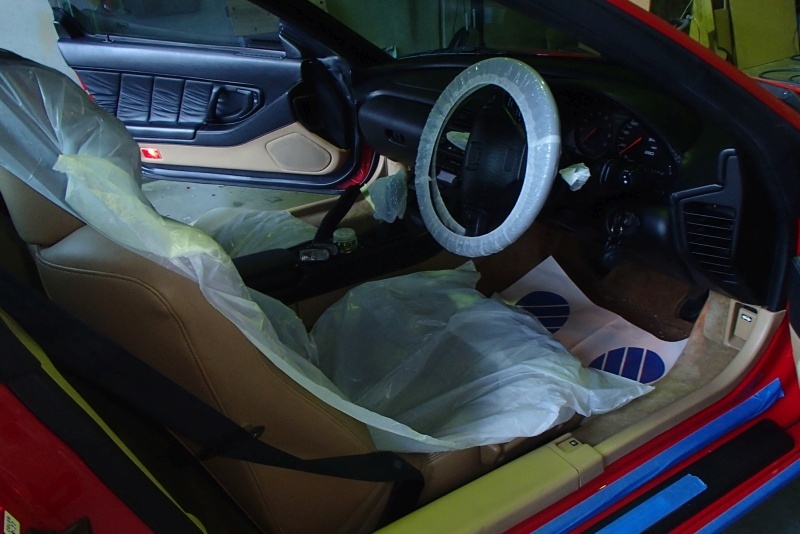 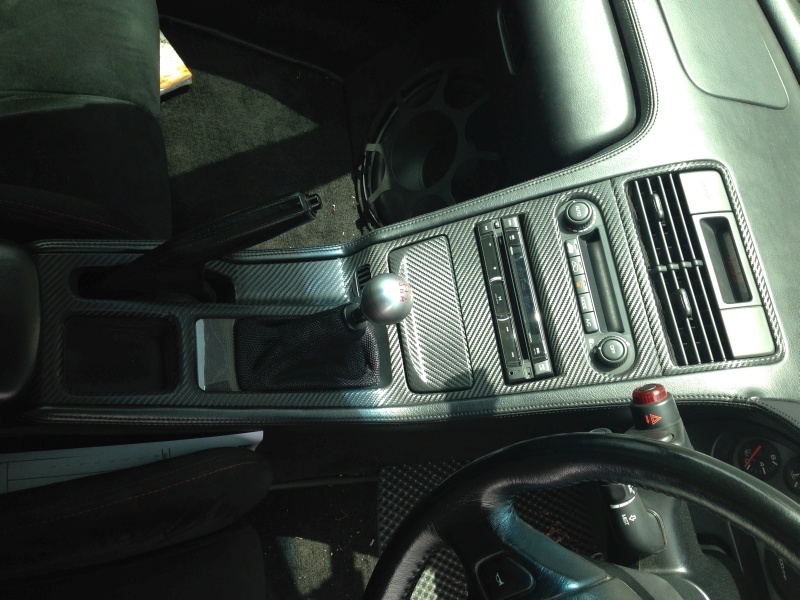 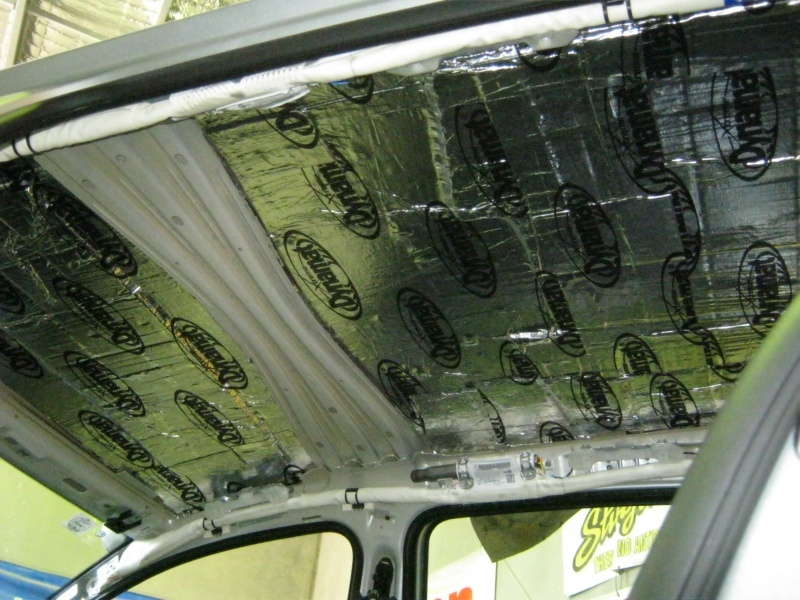 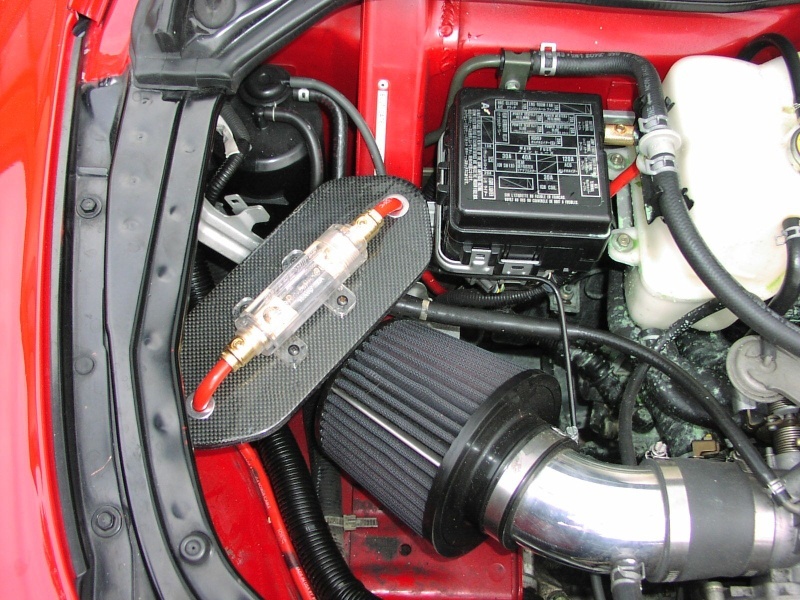 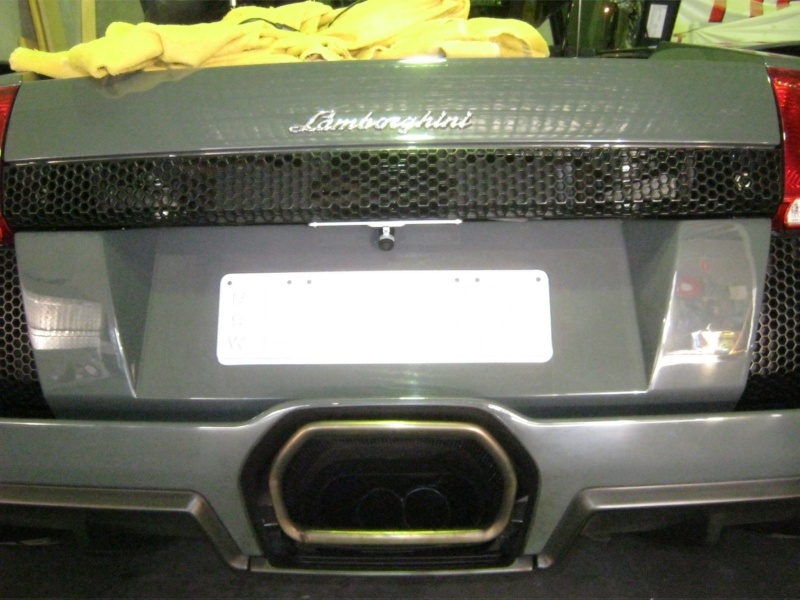 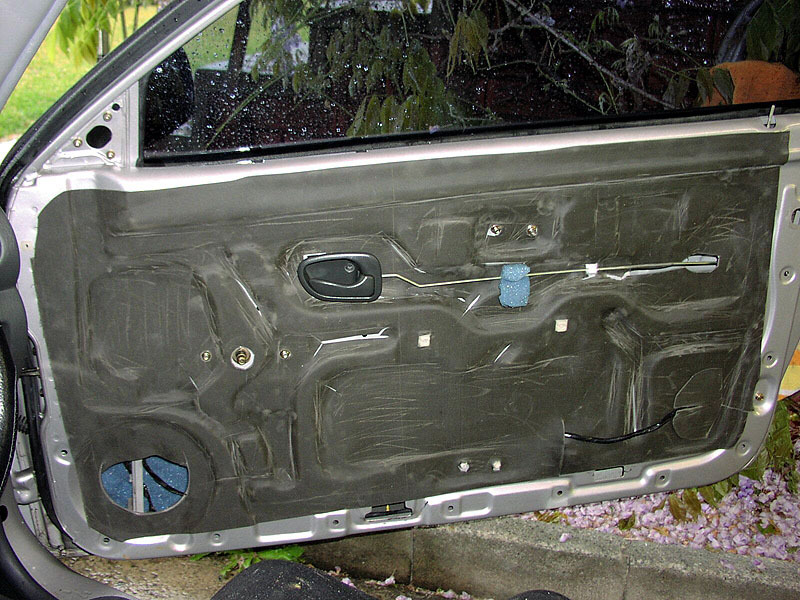 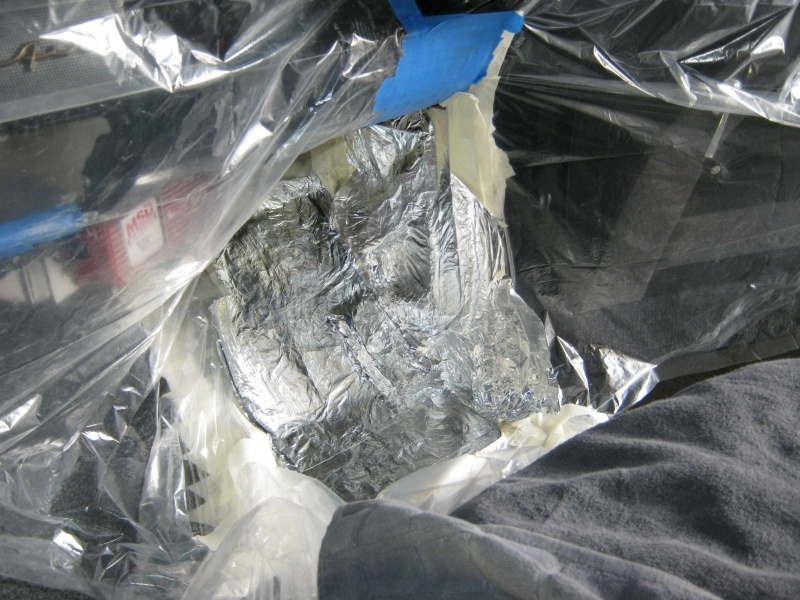 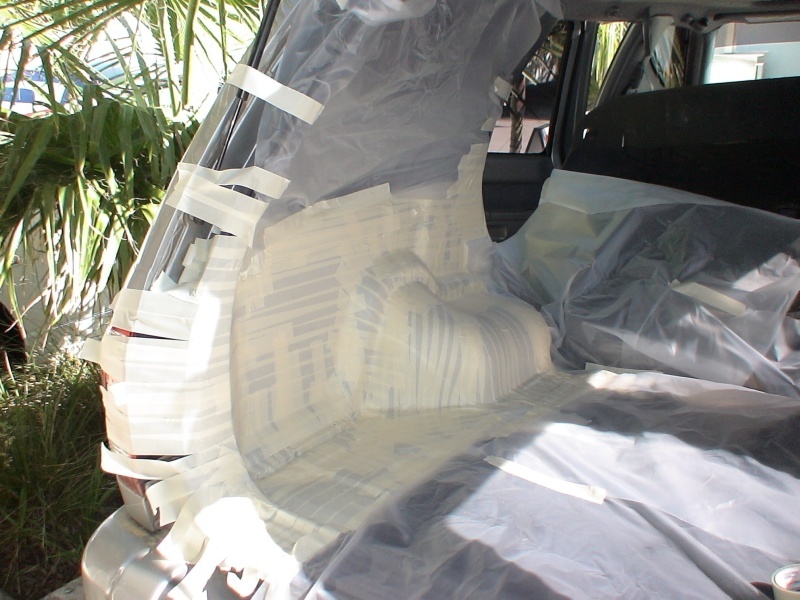 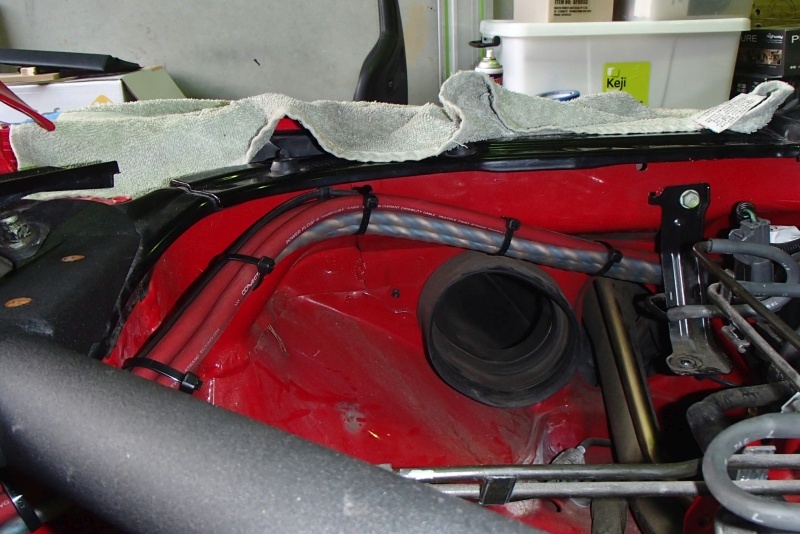 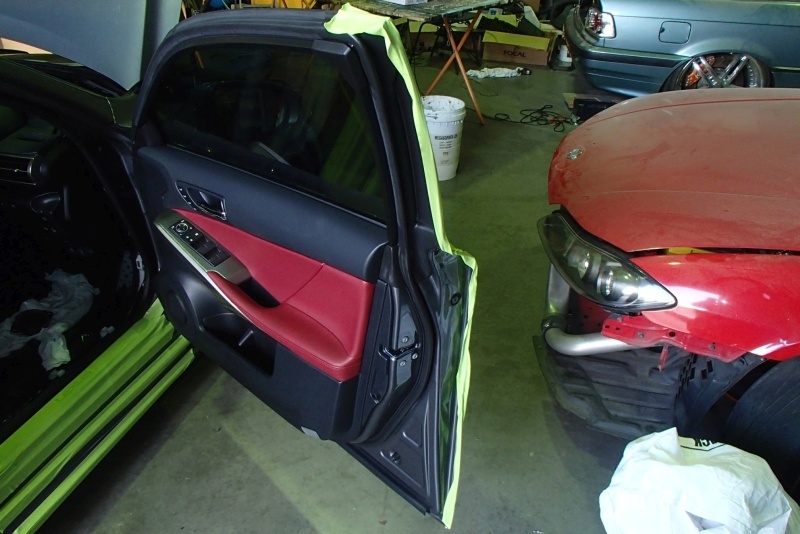 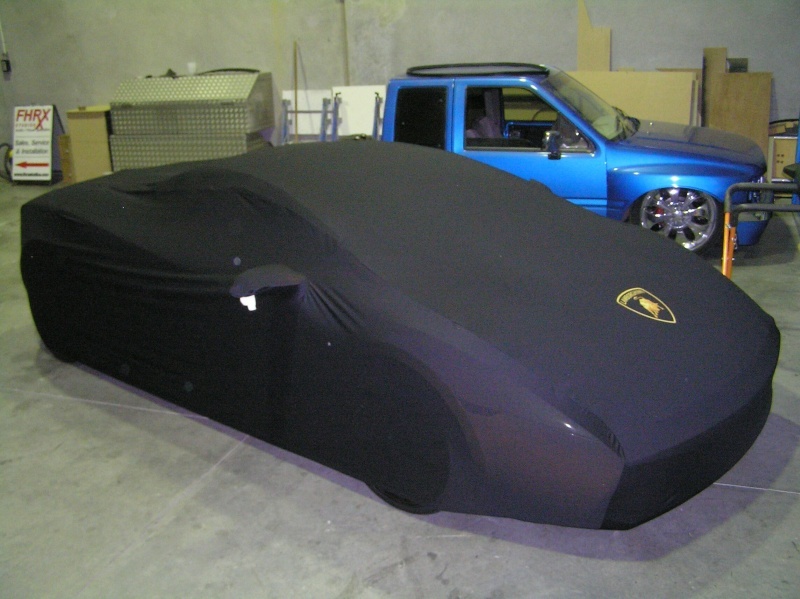 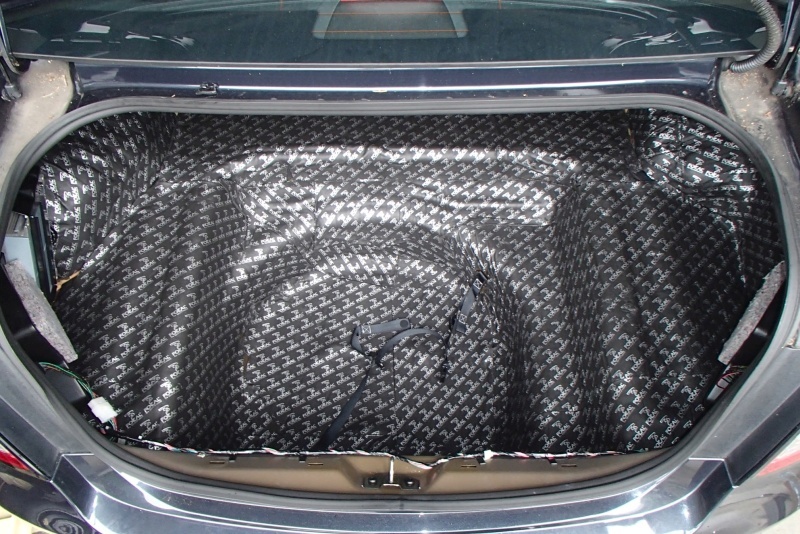 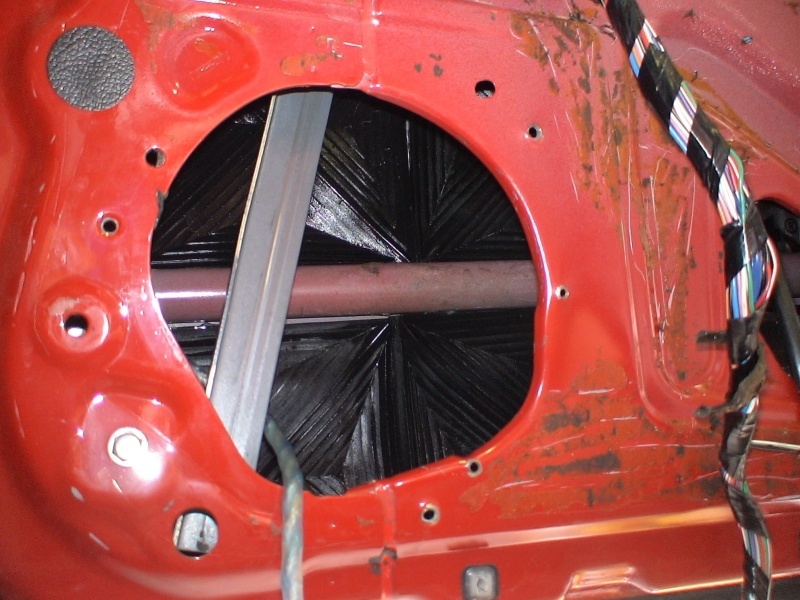 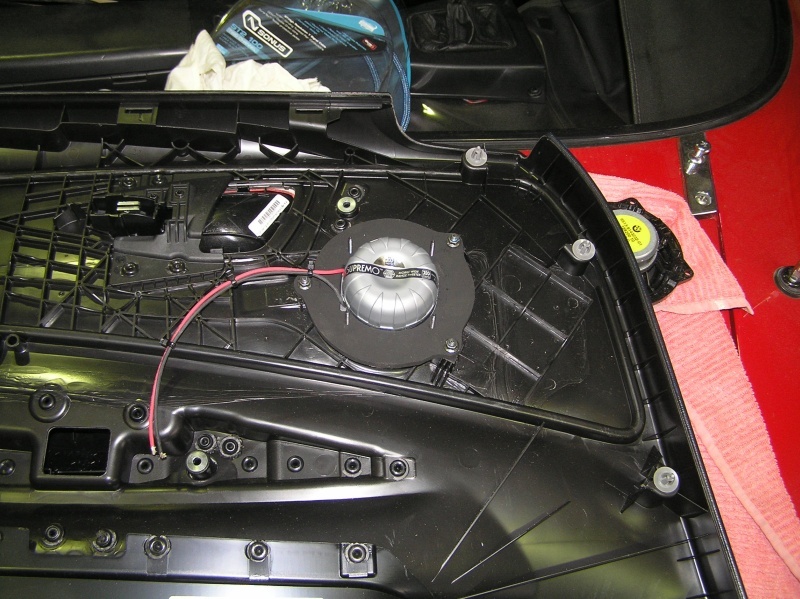 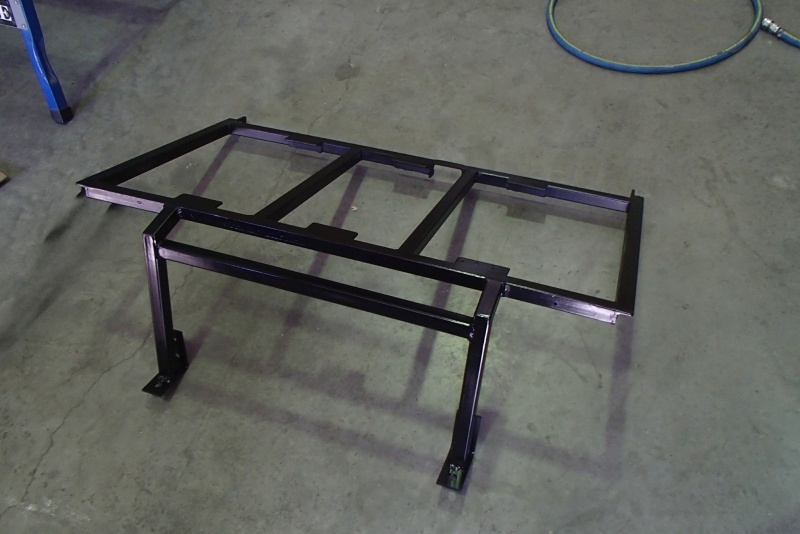 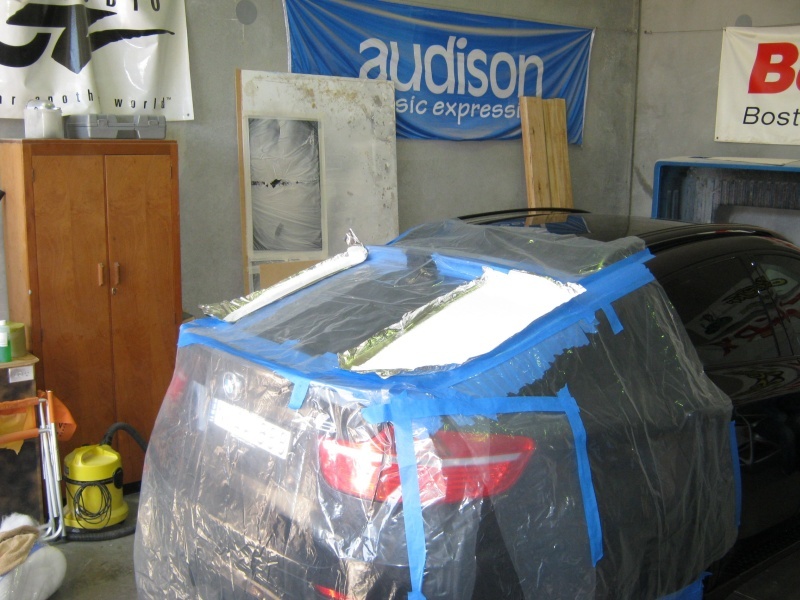 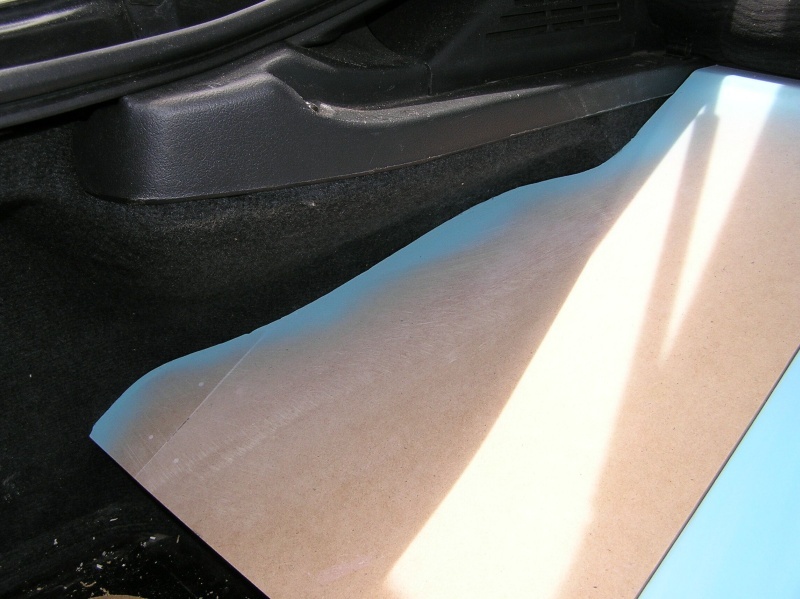 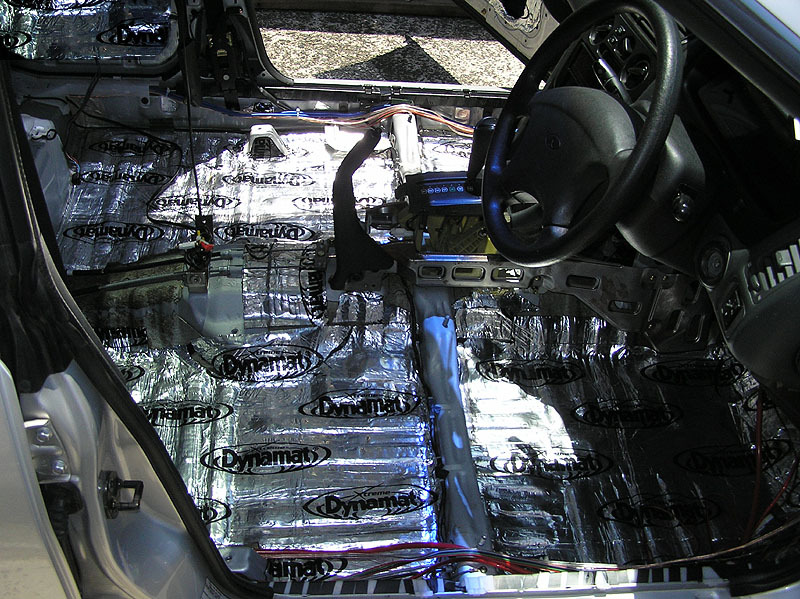 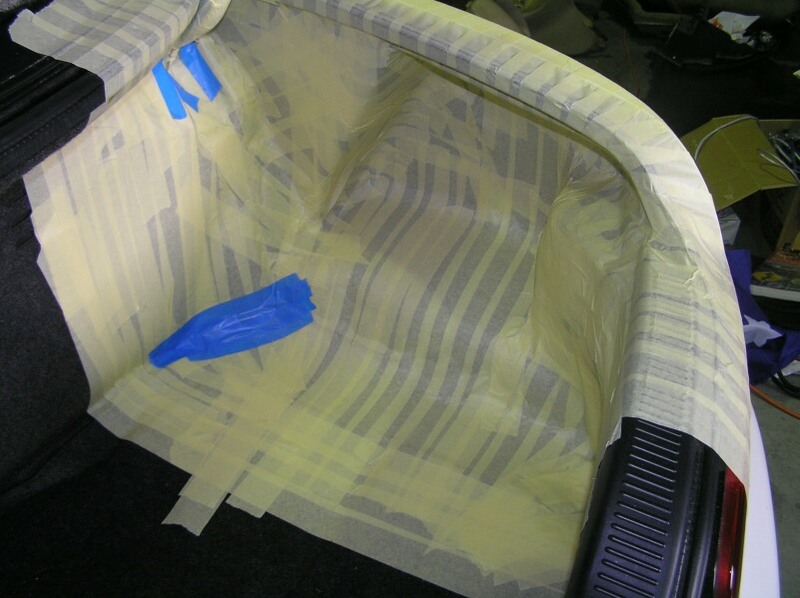 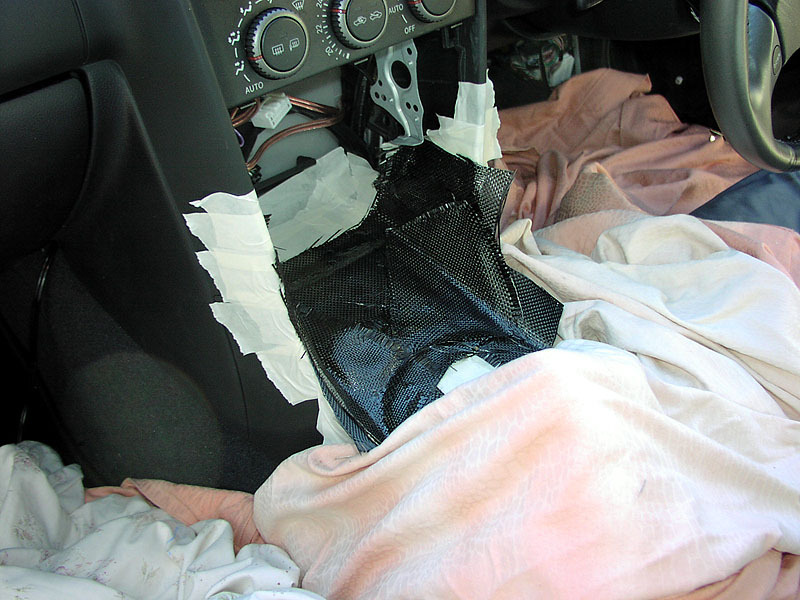 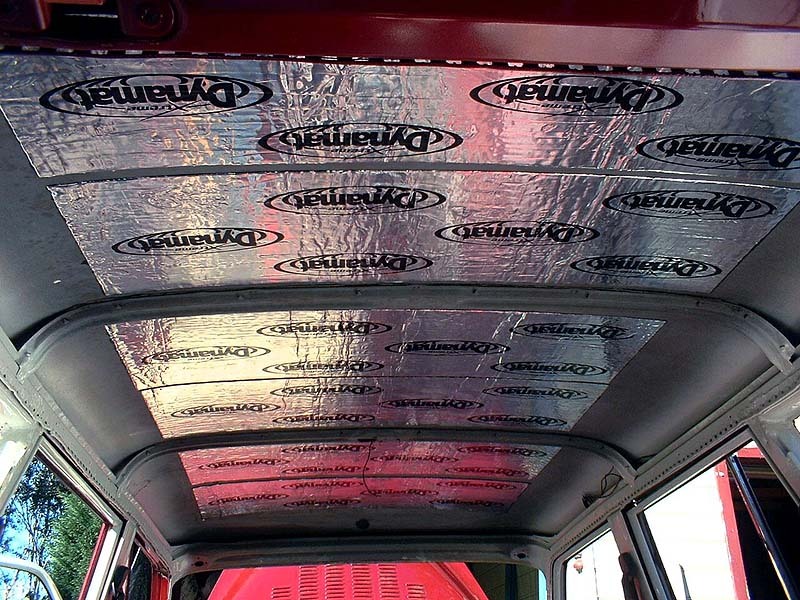 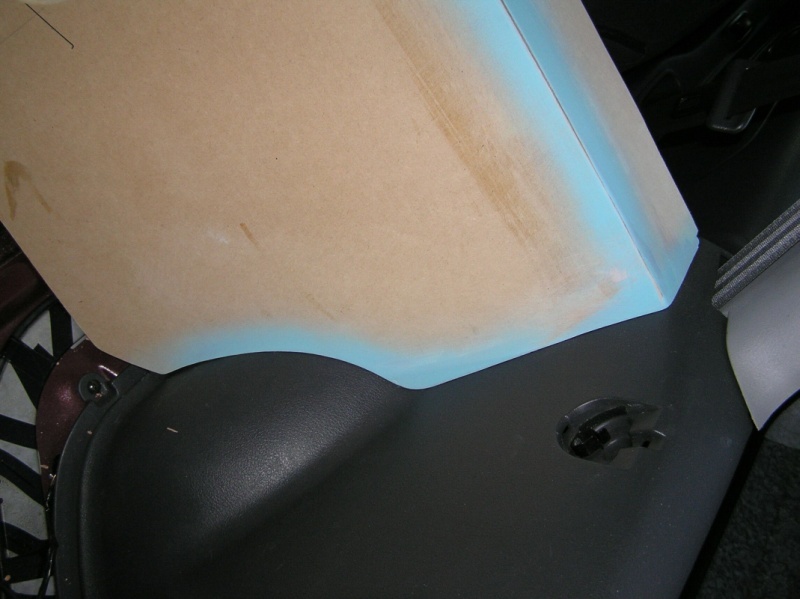 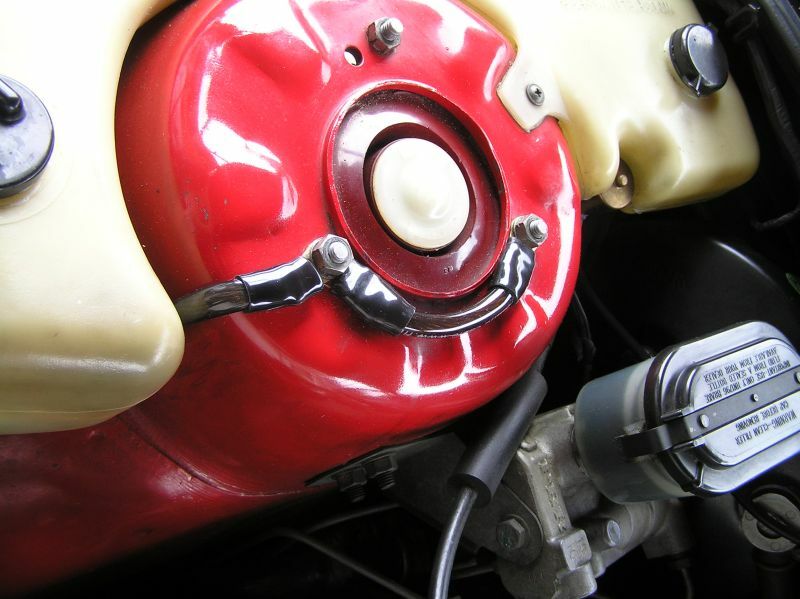 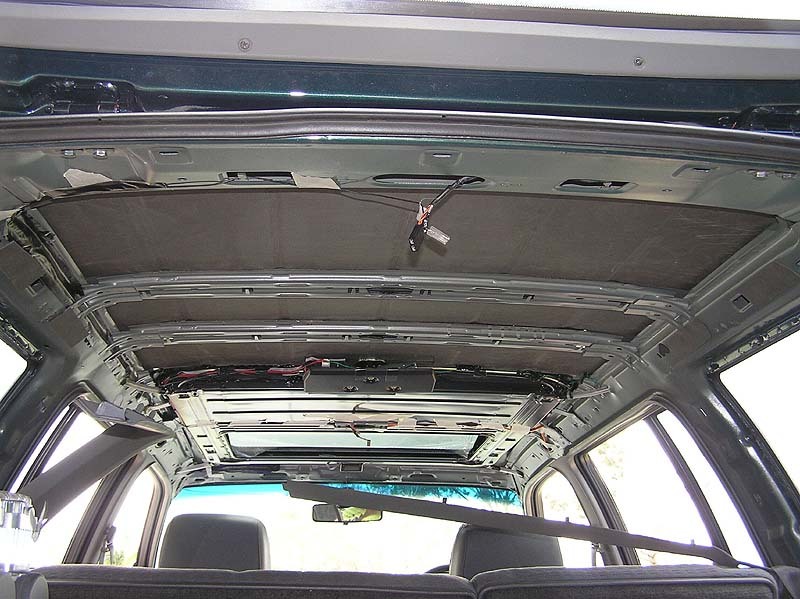 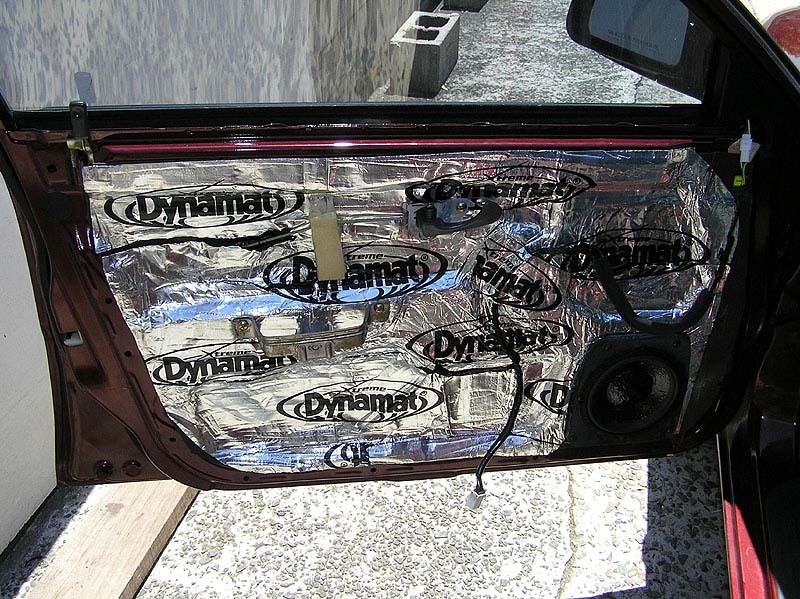 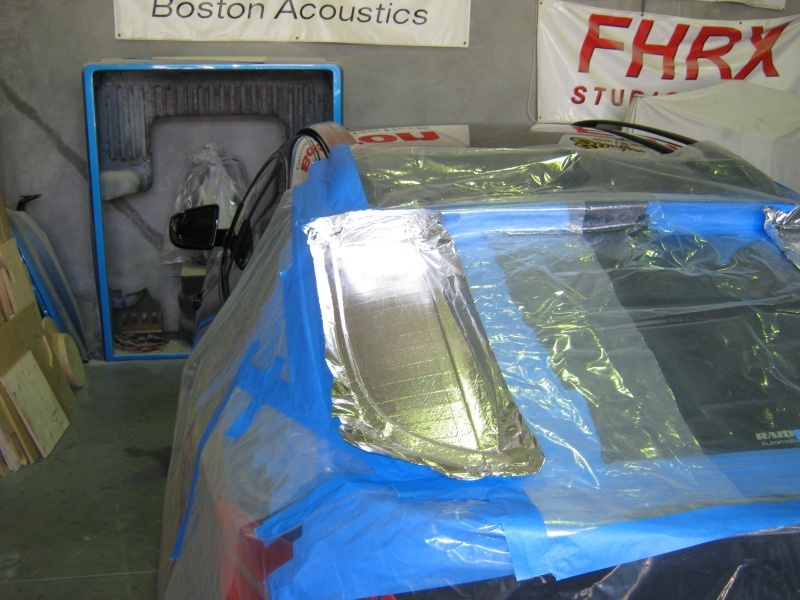 Another important aspect of installing is the covering of cars parts and panels when working on them. 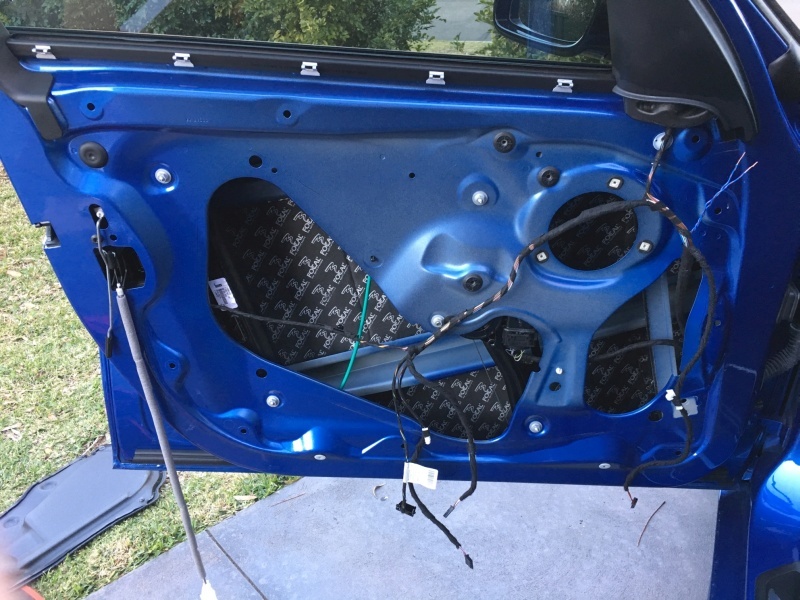 This is constantly overlooked by shops everywhere and it only takes a single negligent act to scratch or even damage a panel. 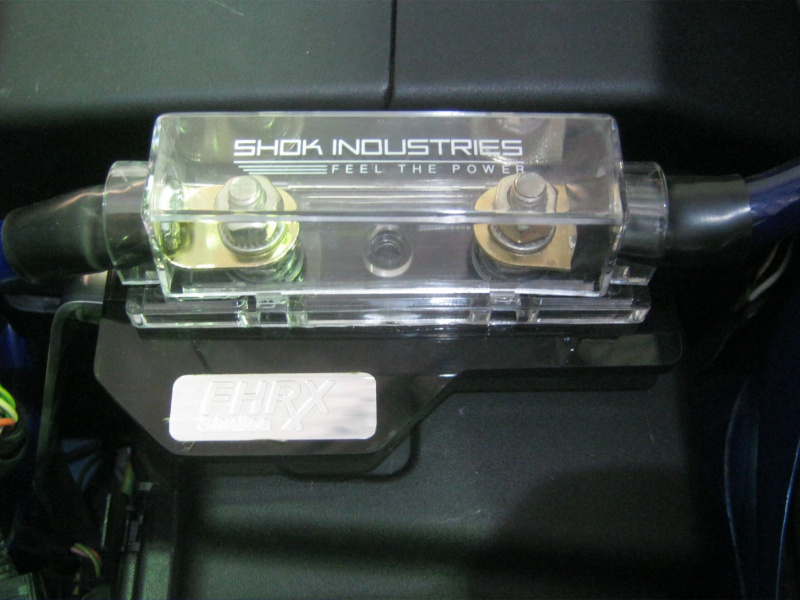 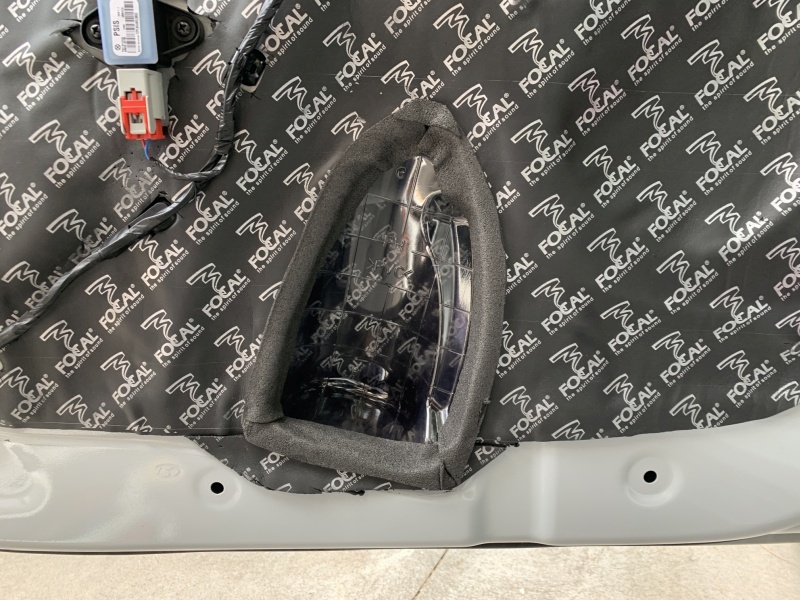 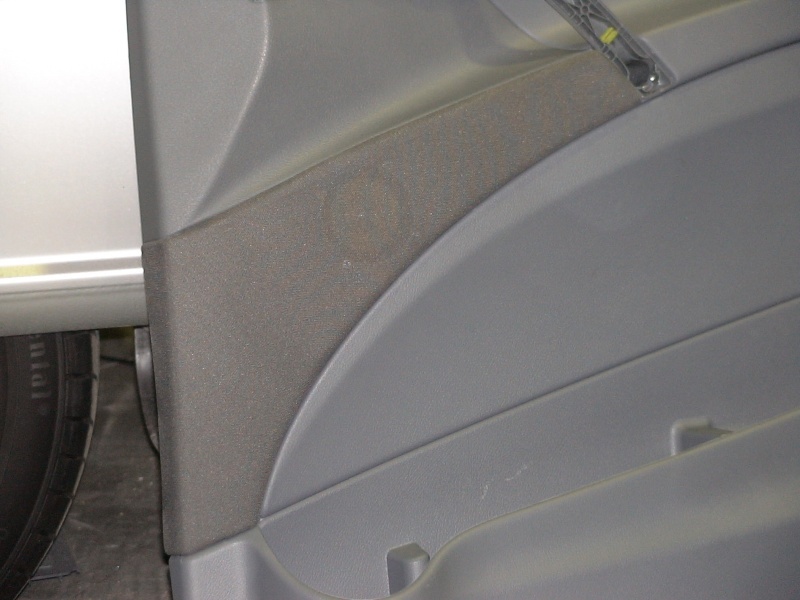 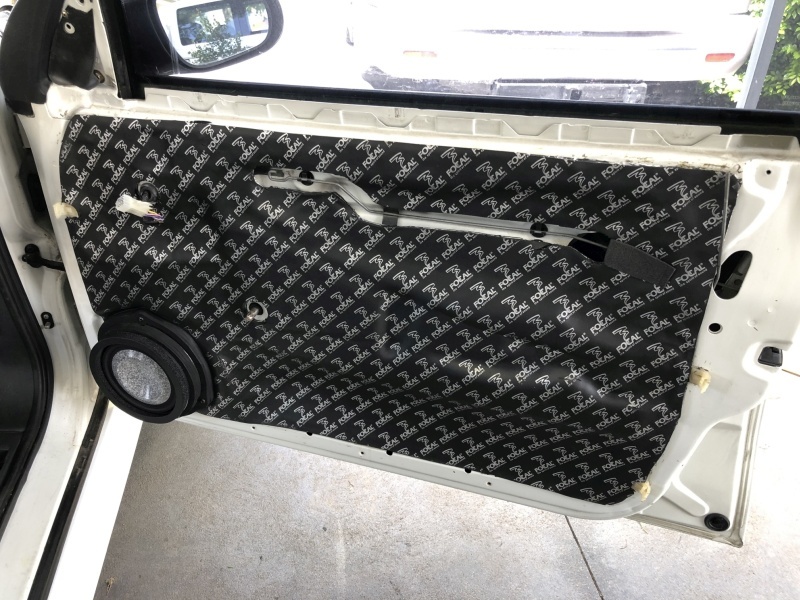 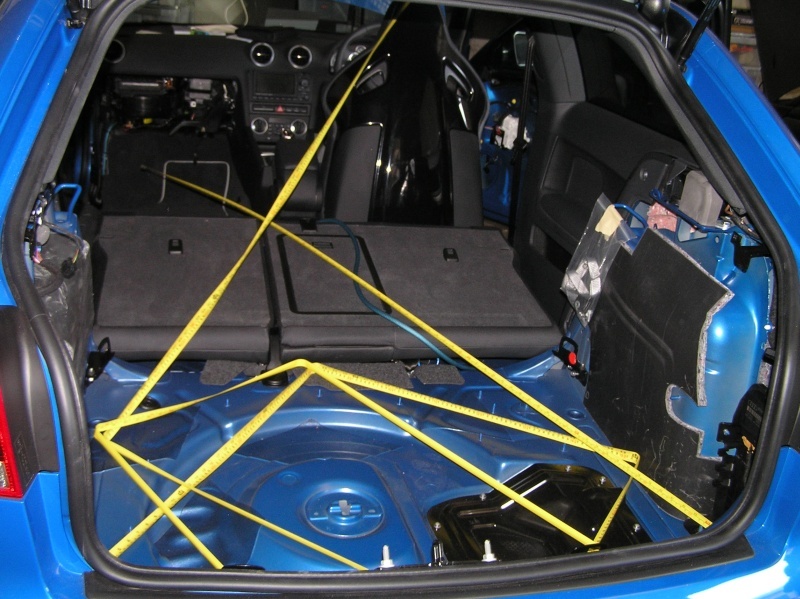 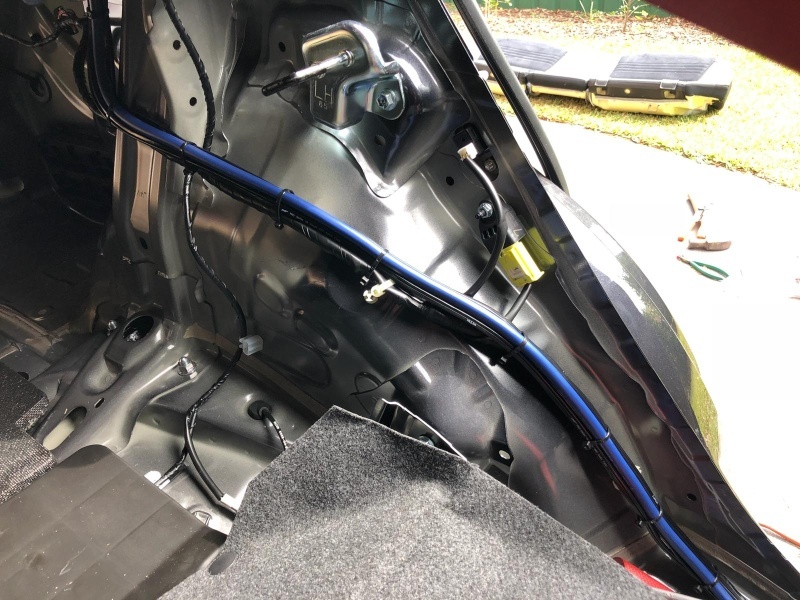 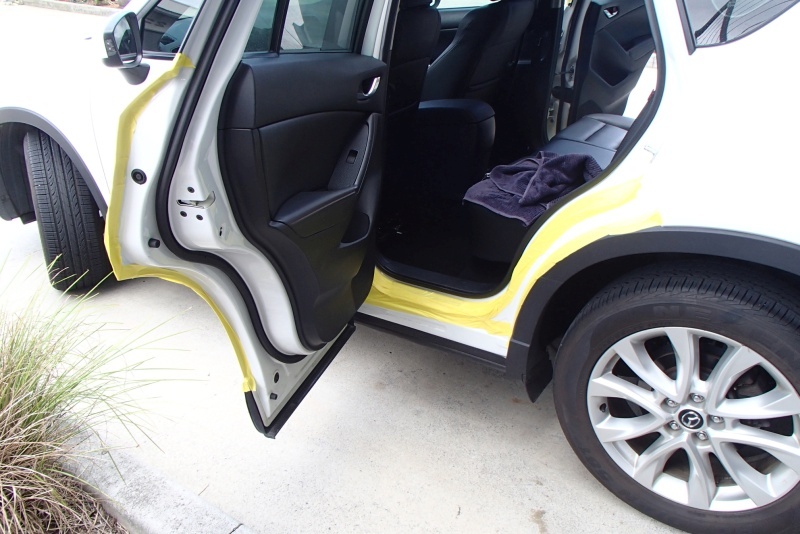 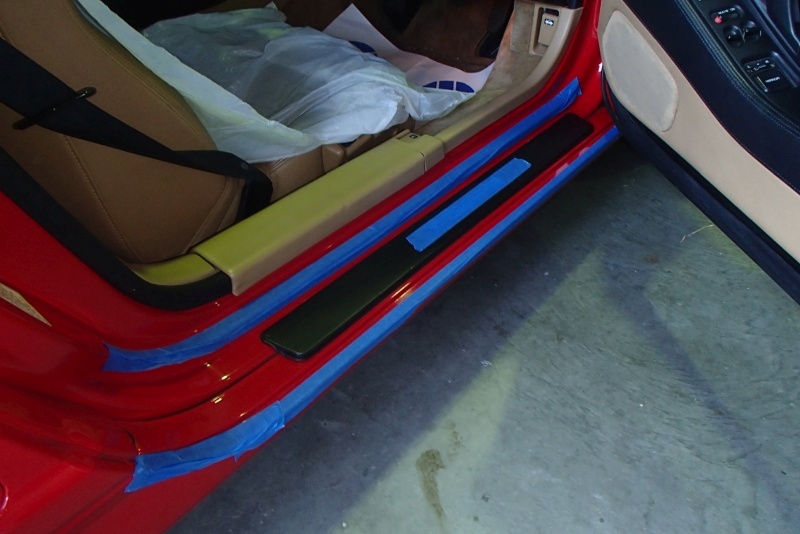 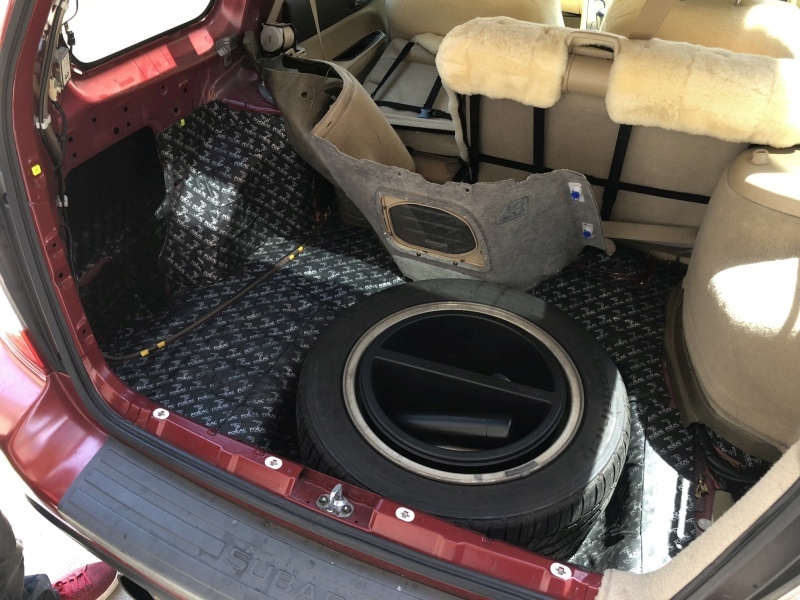 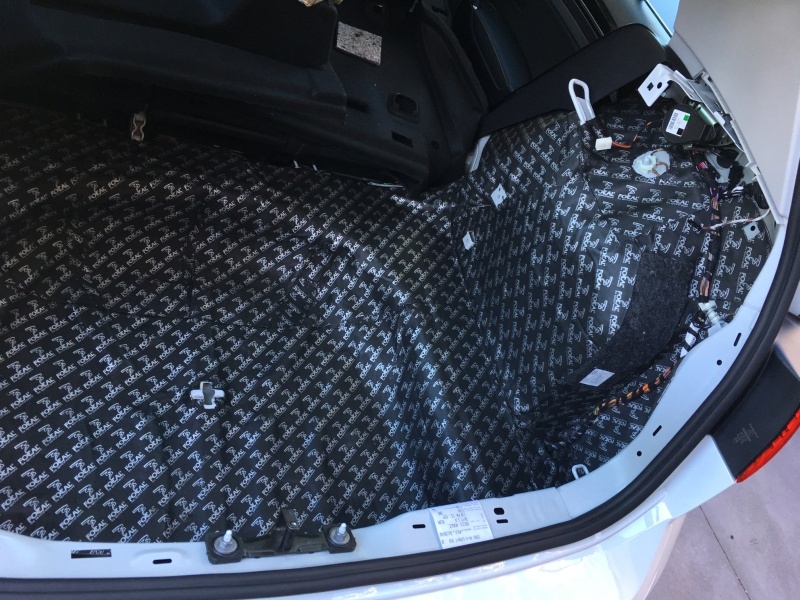 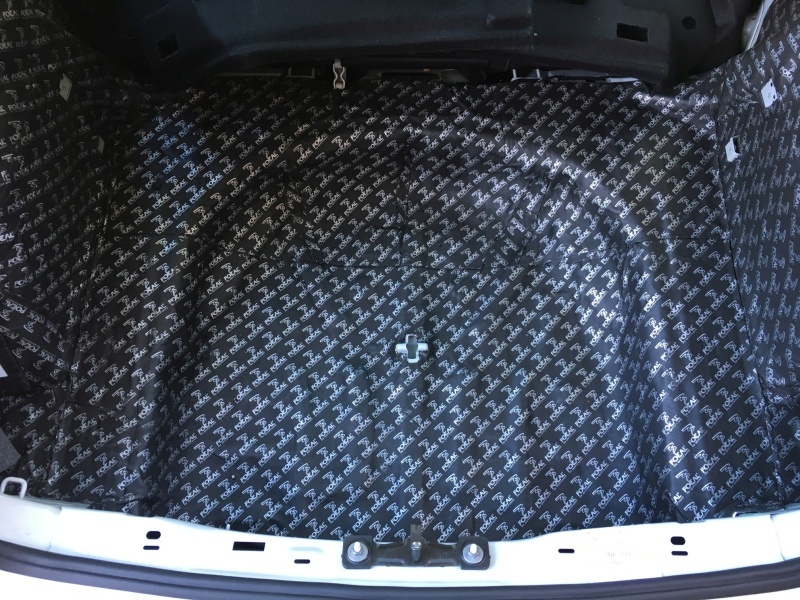 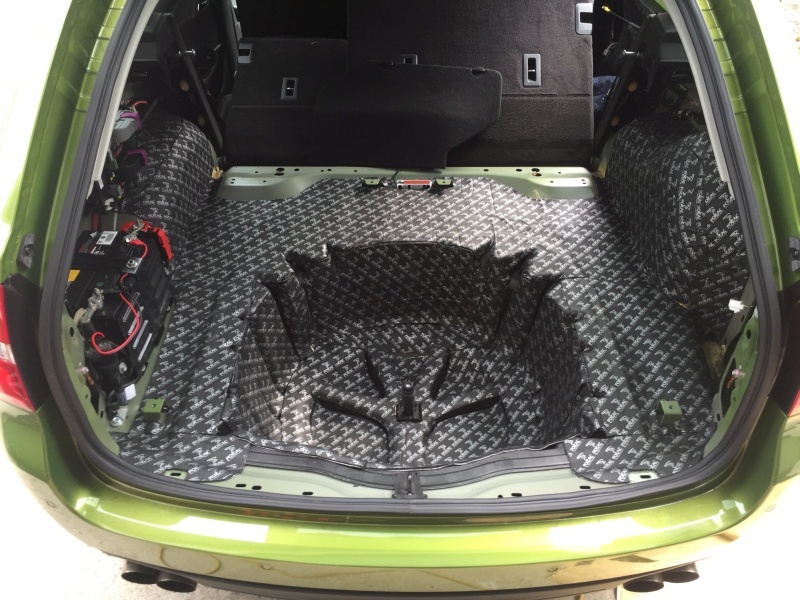 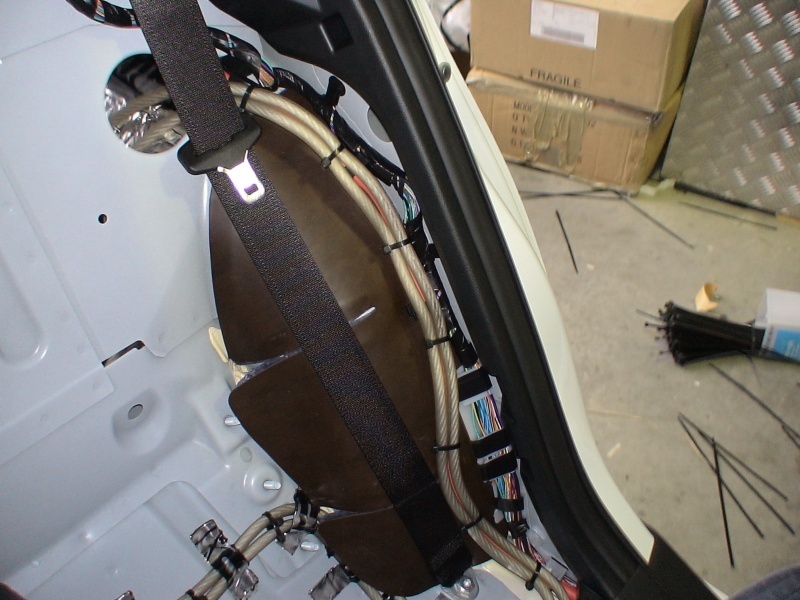 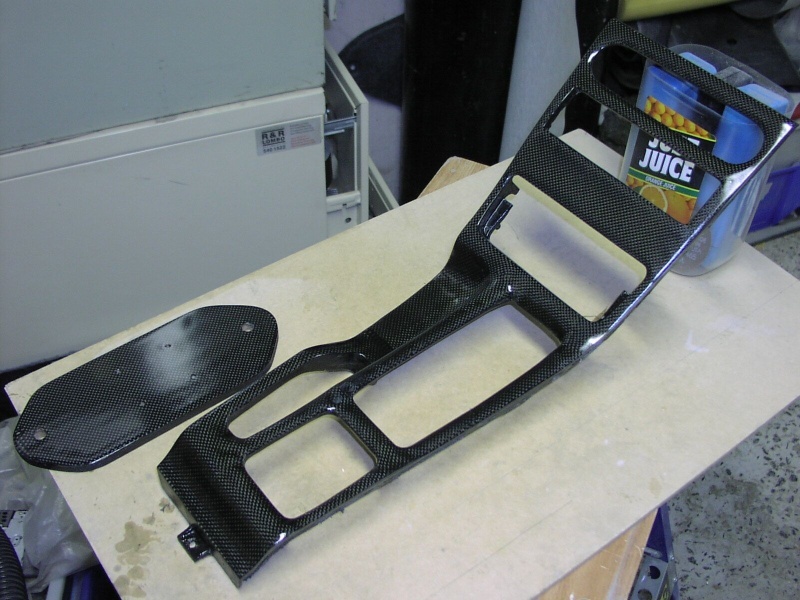 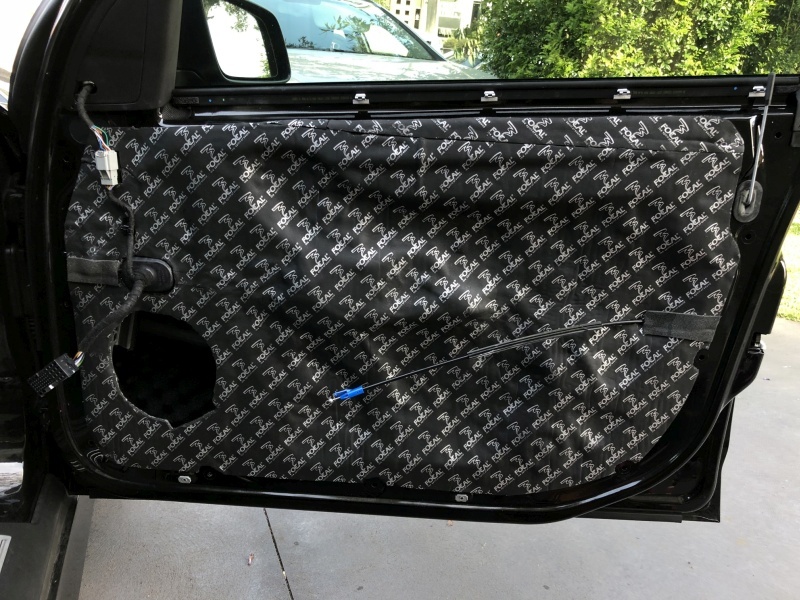 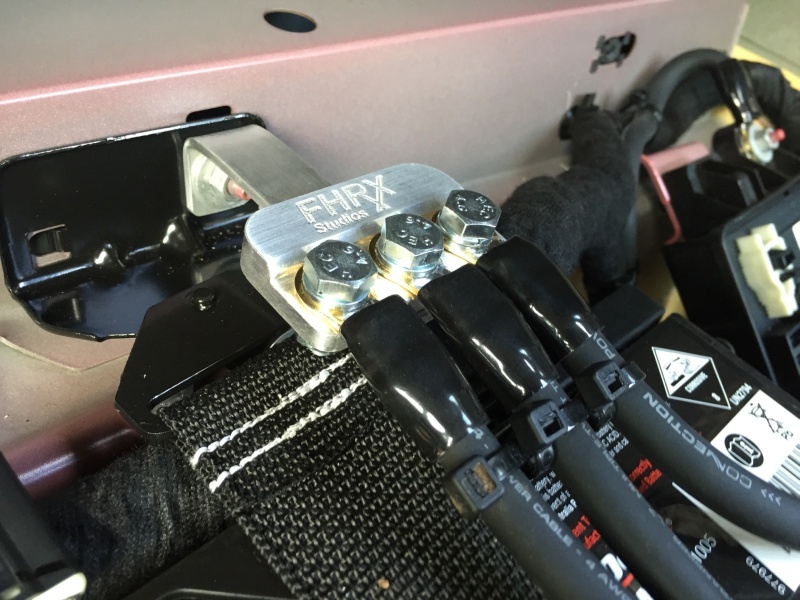 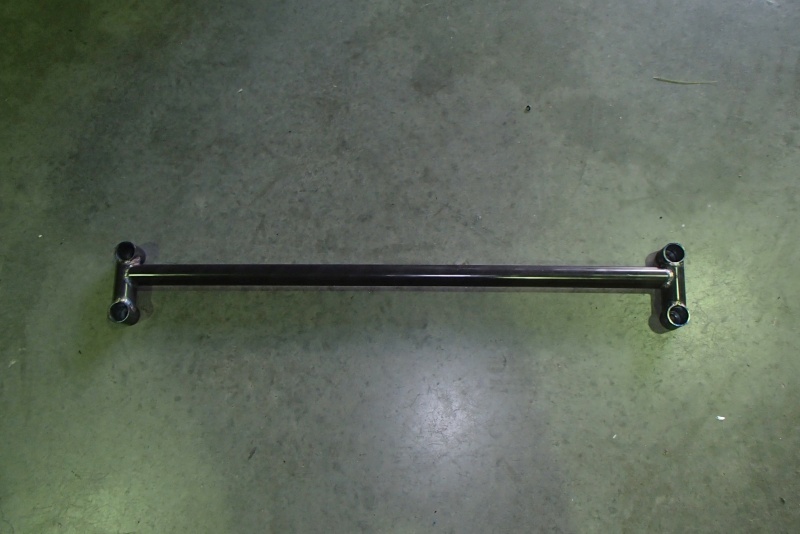 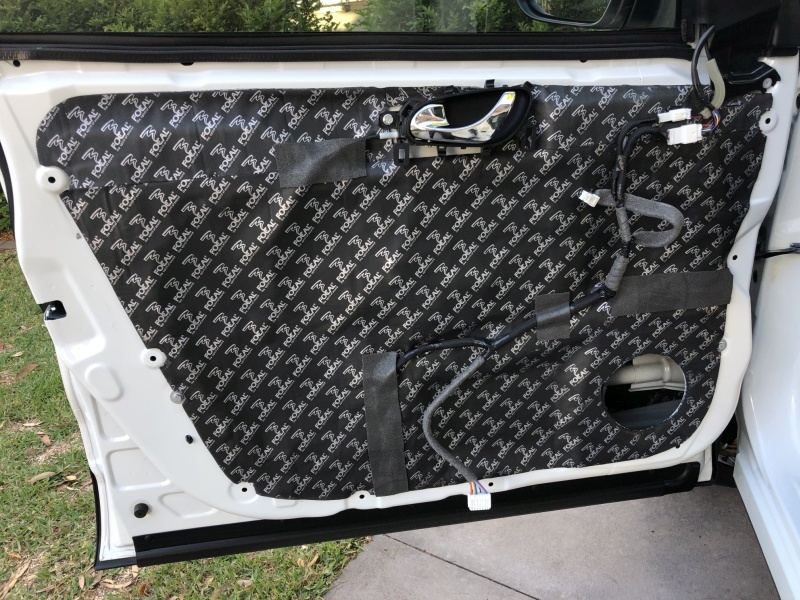 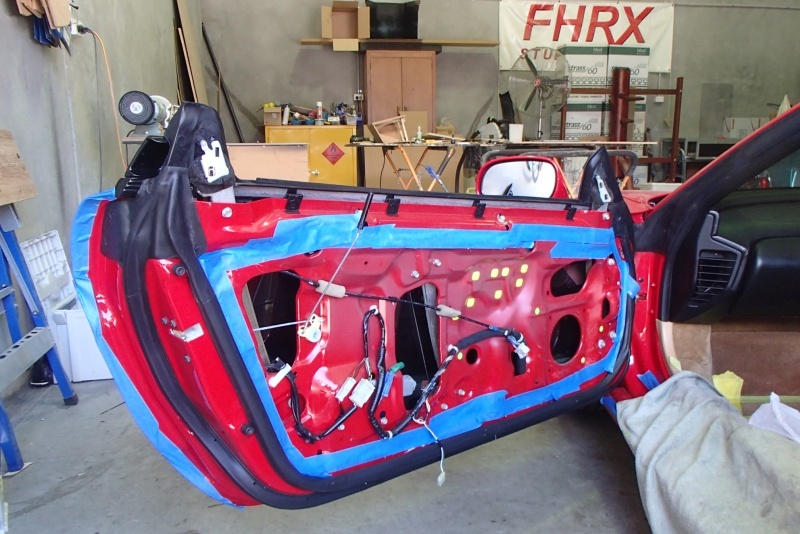 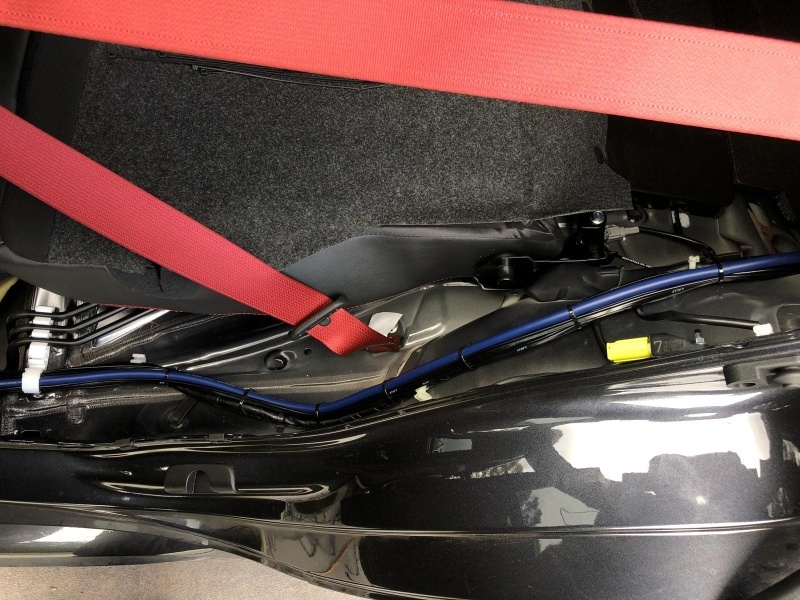 Fhrx Studios always covers fenders, seats, dashes and even entire cars if need be when working on them to ensure your ride stays safe right throughout the installation process. 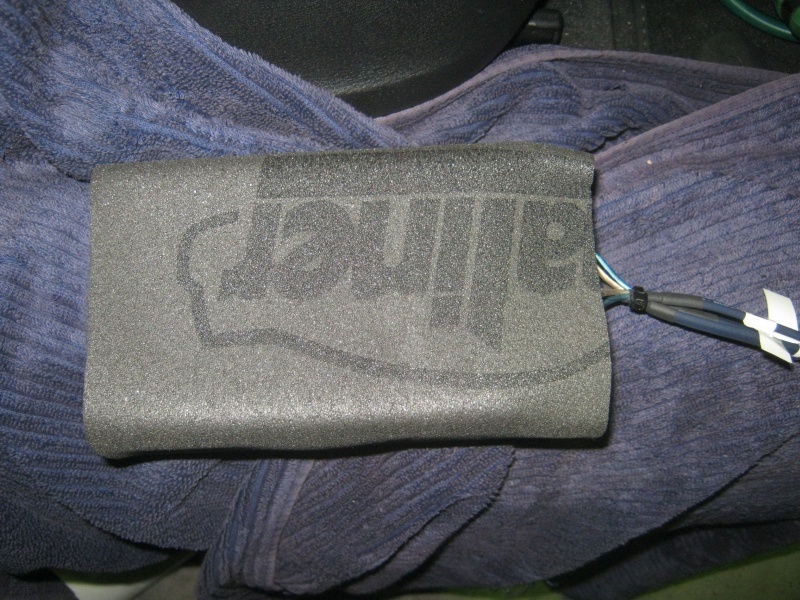 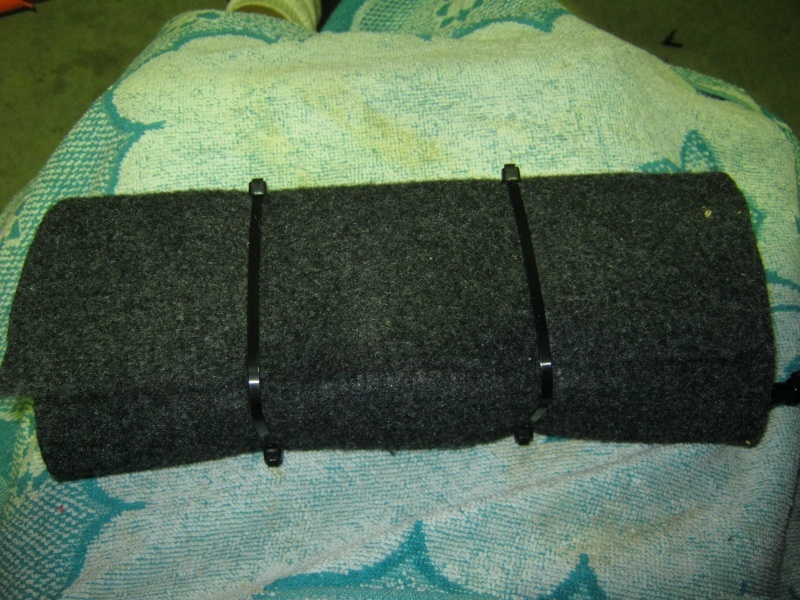 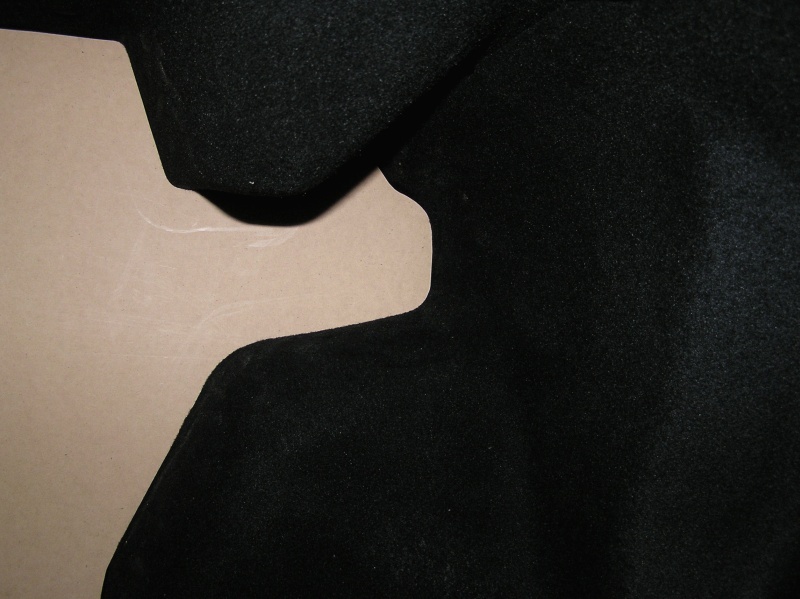 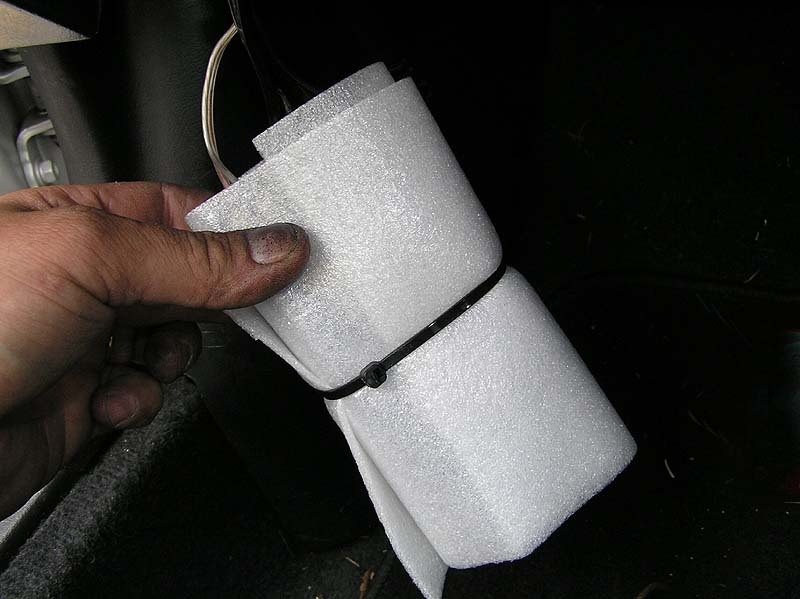 Even when testing for rattles, hands are protected from scratching the body. 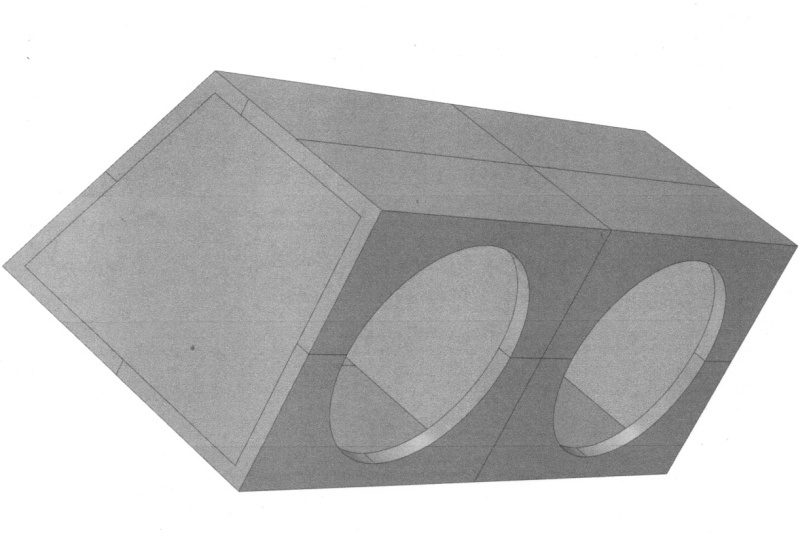 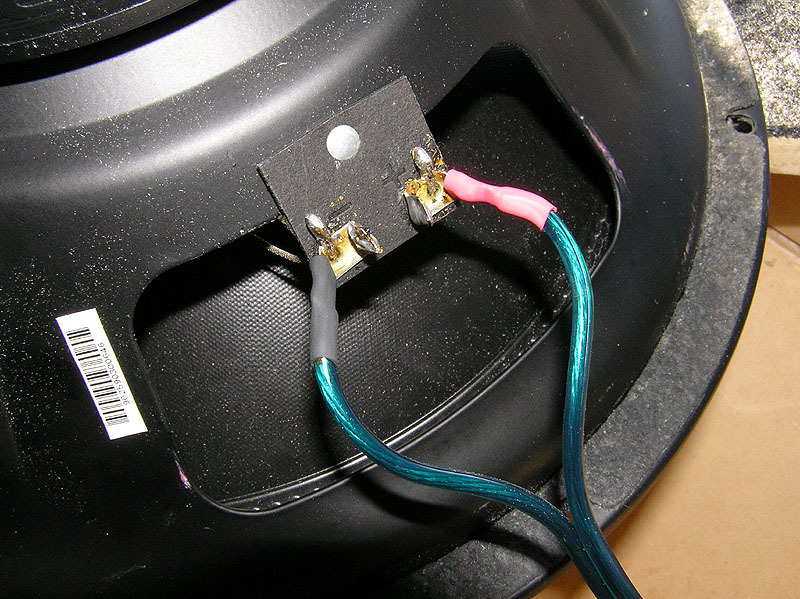 One of the main enemies of speaker surrounds is ultra-violet light. 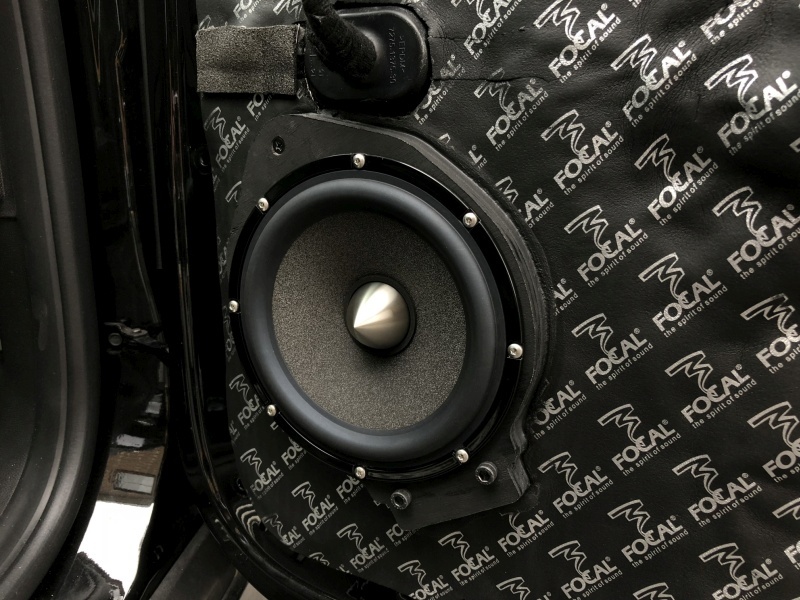 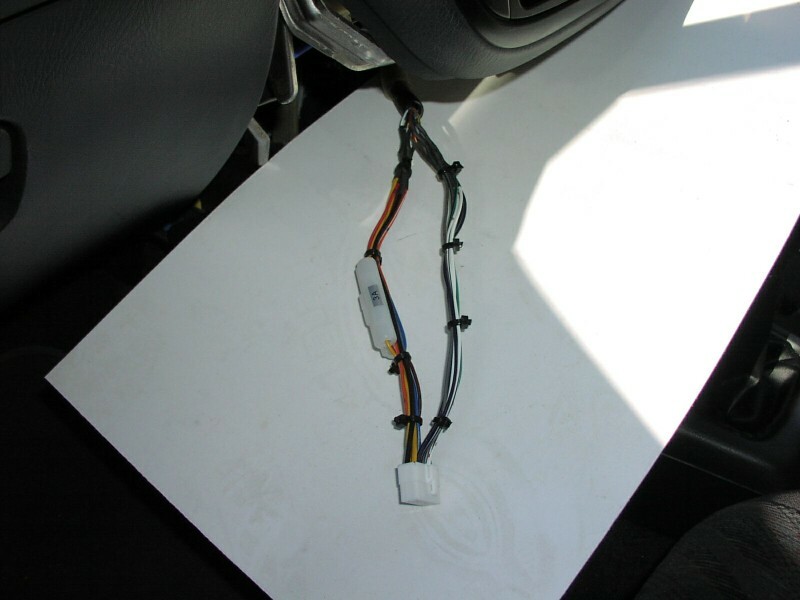 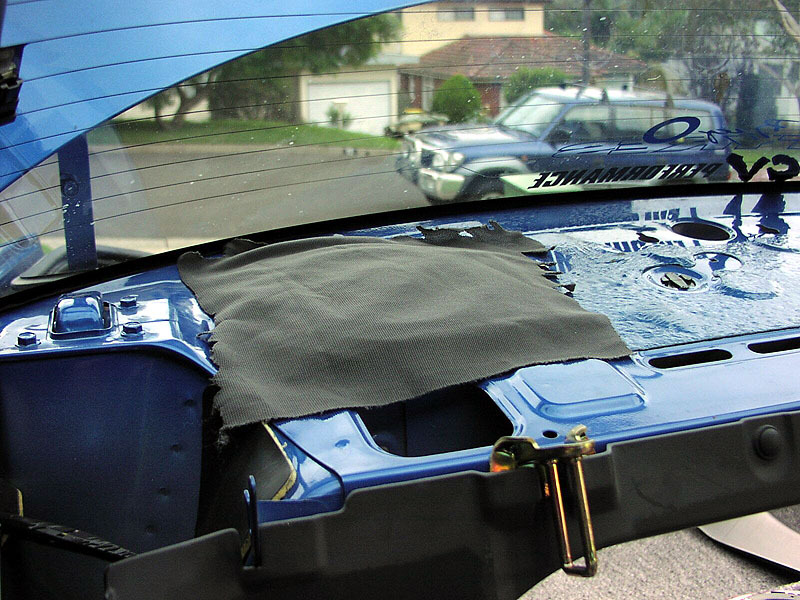 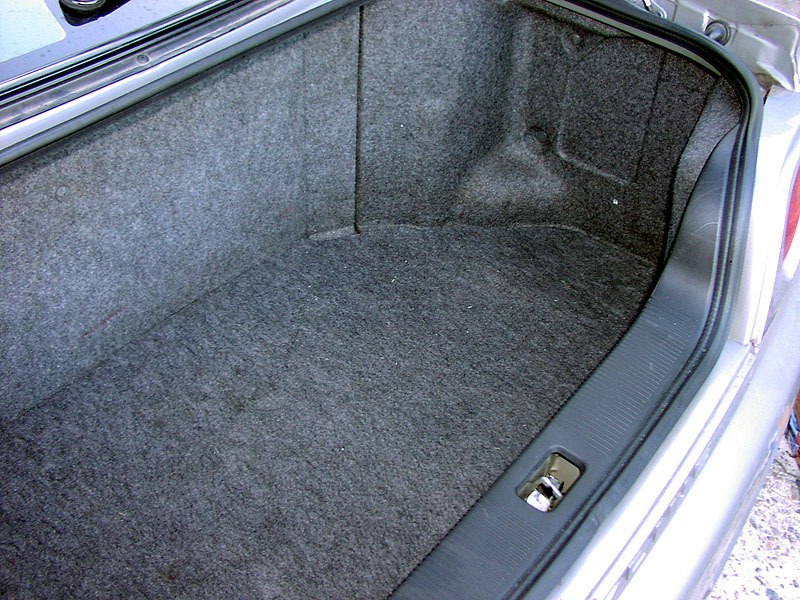 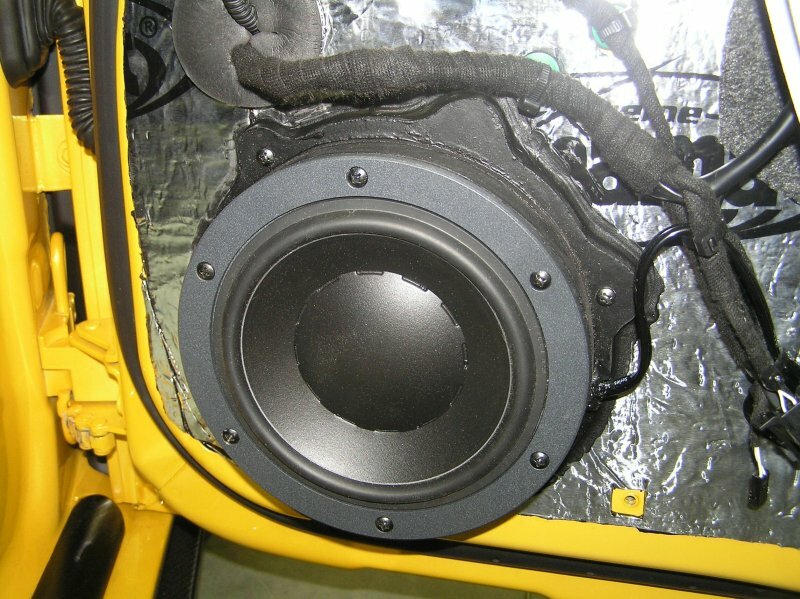 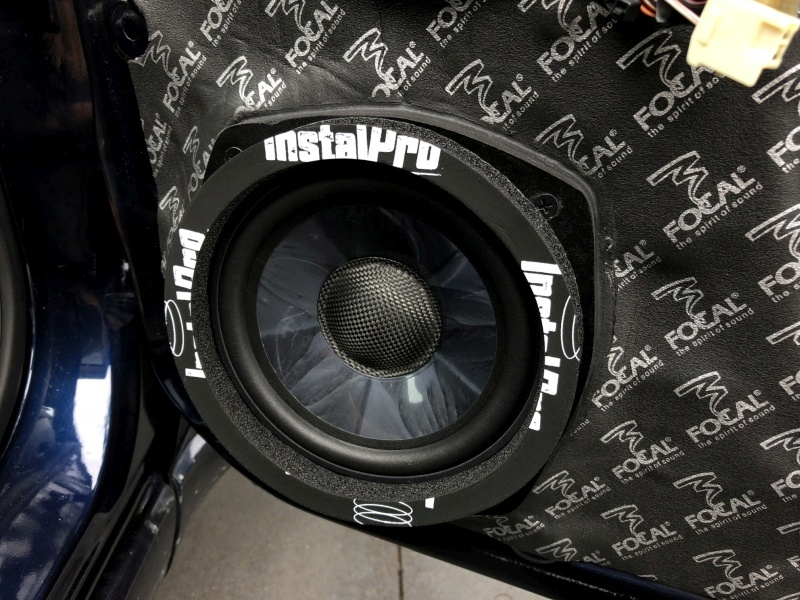 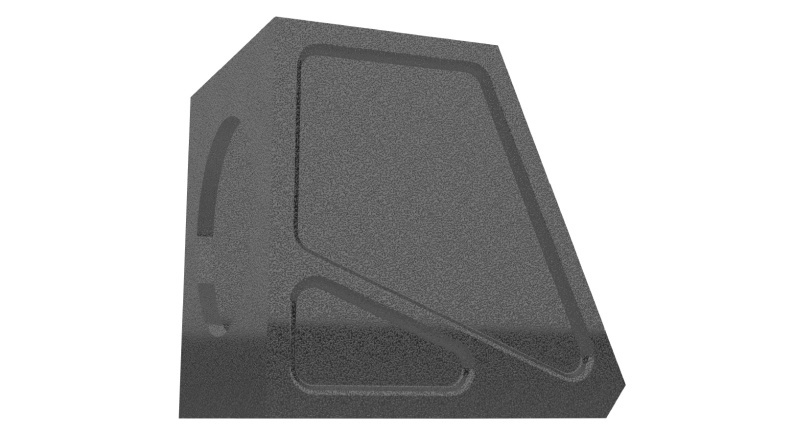 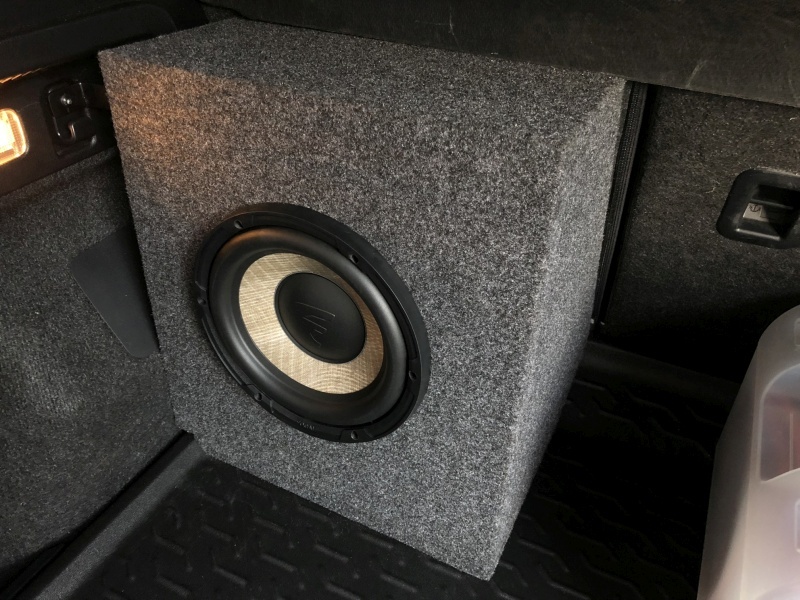 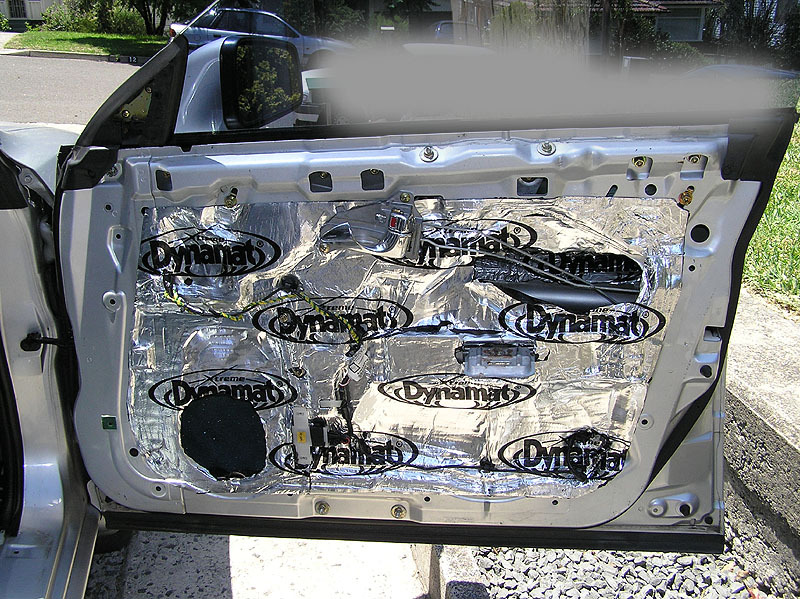 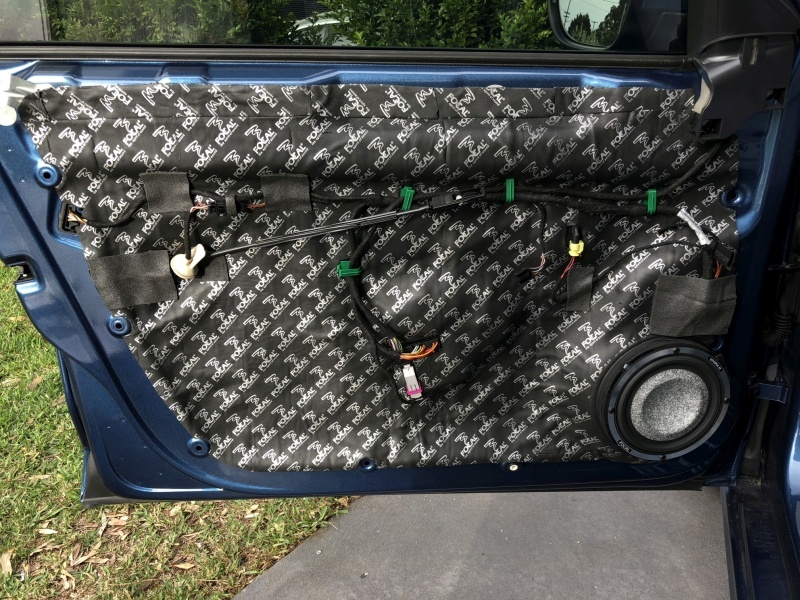 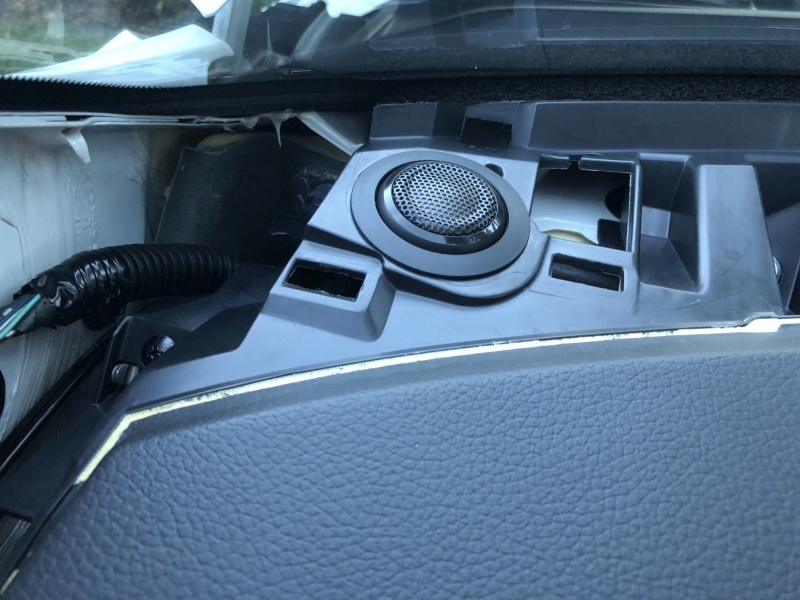 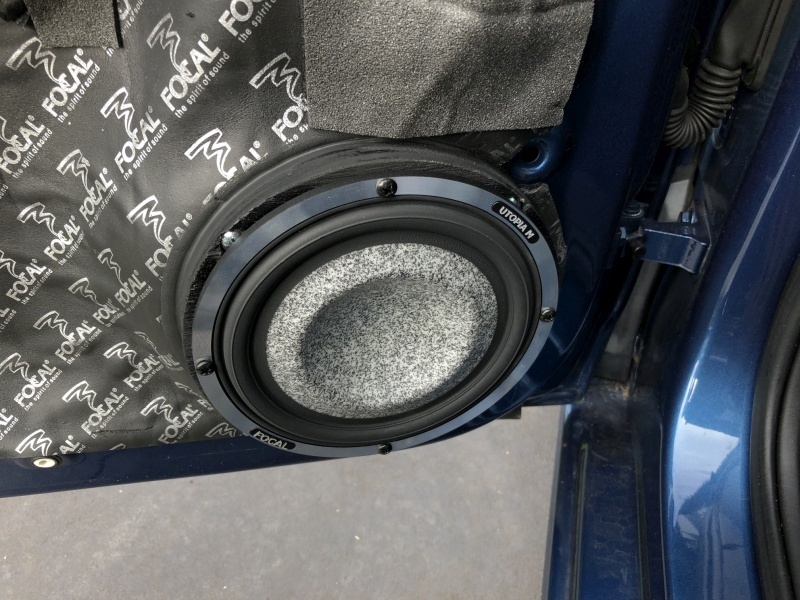 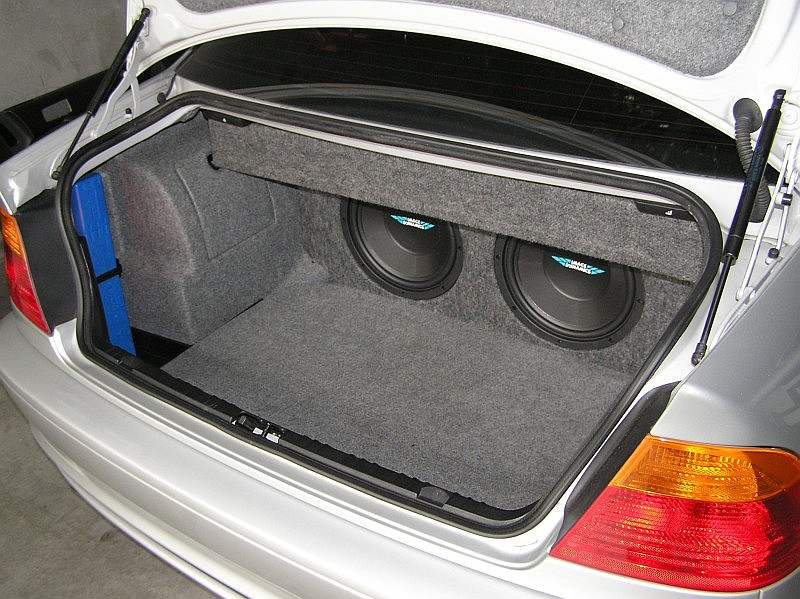 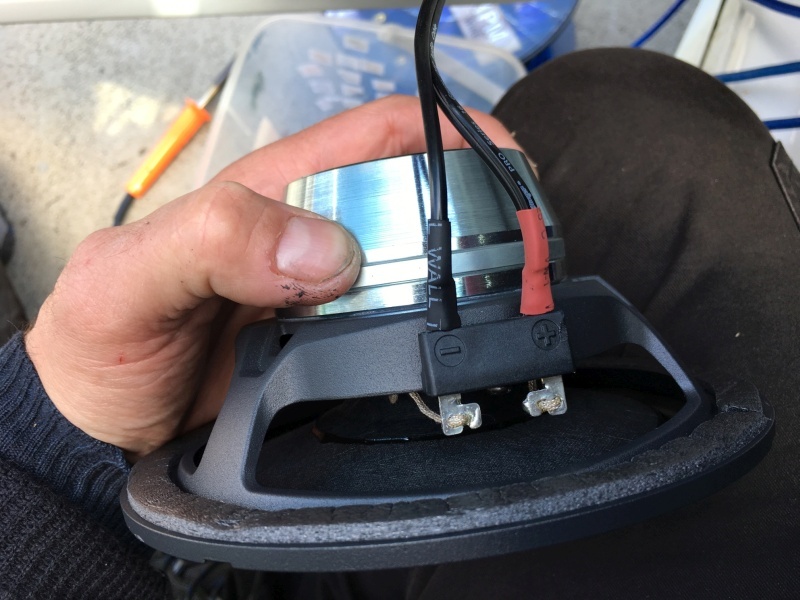 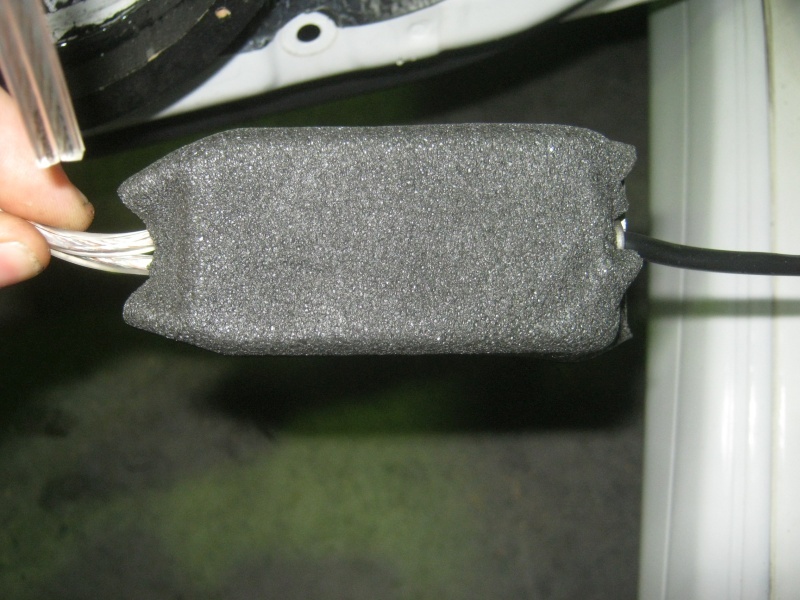 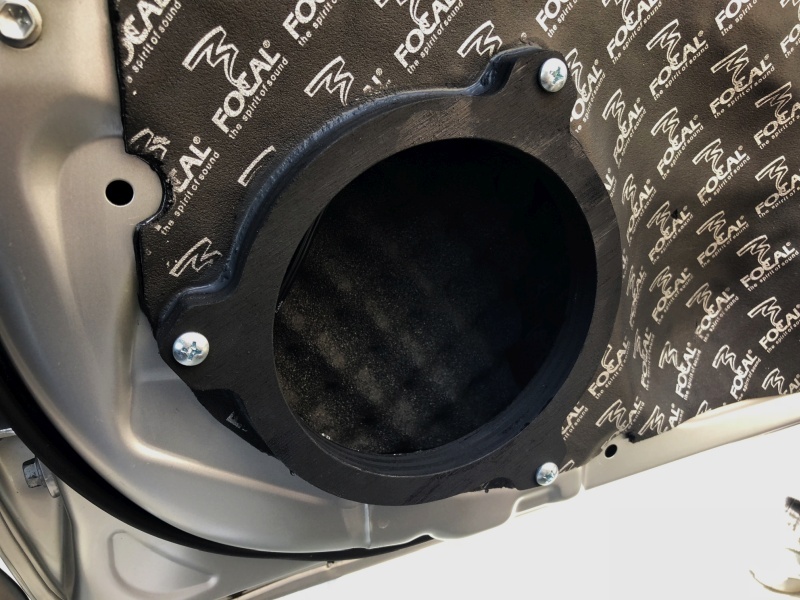 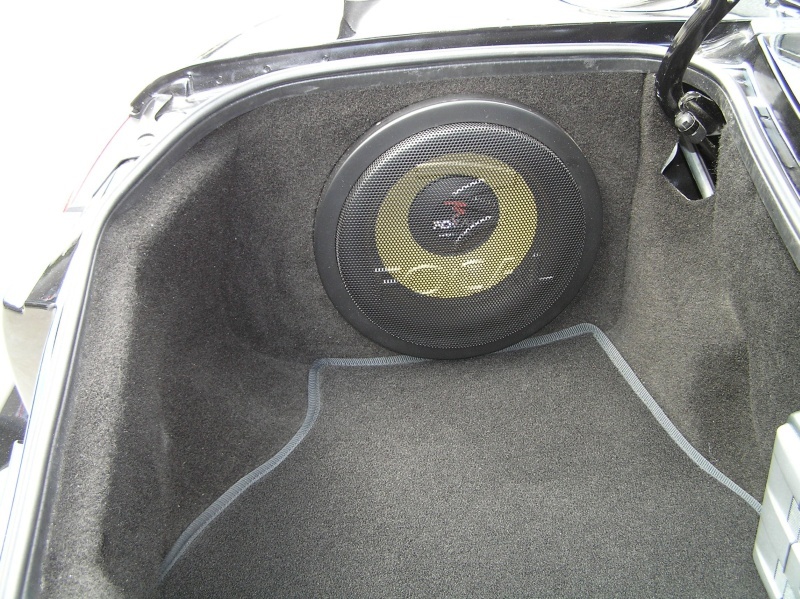 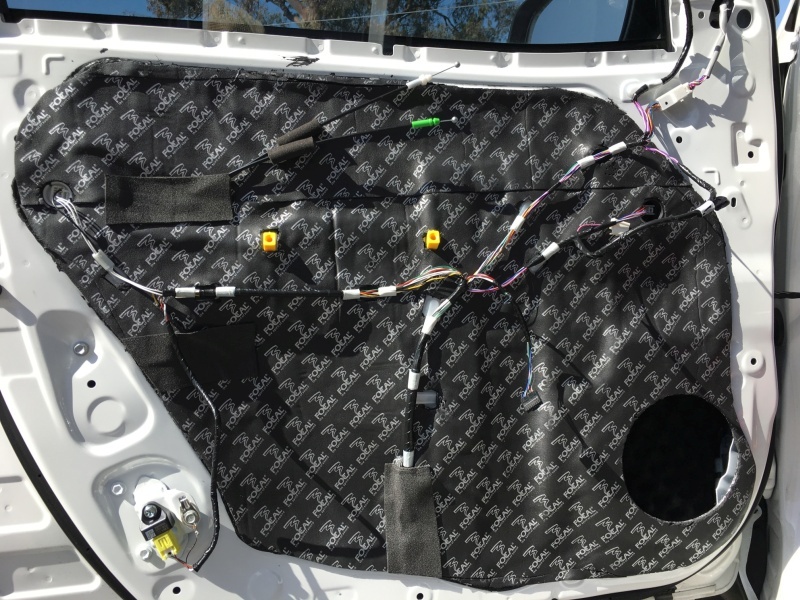 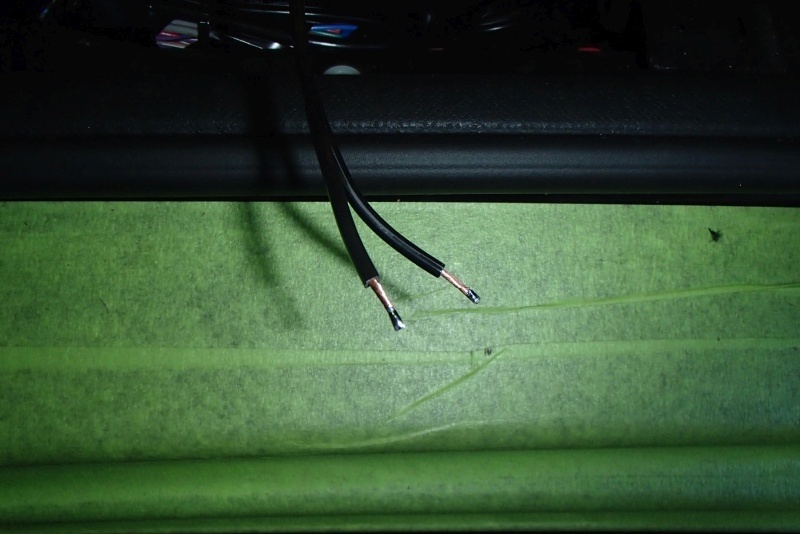 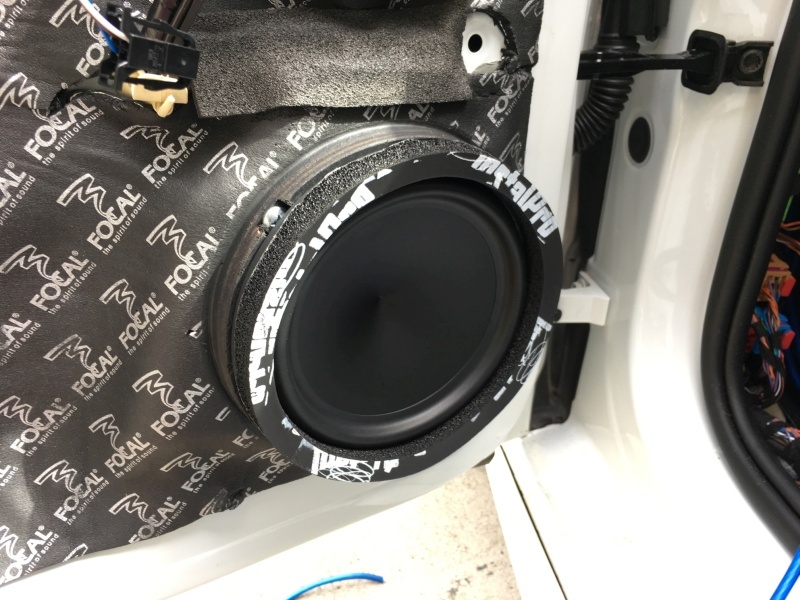 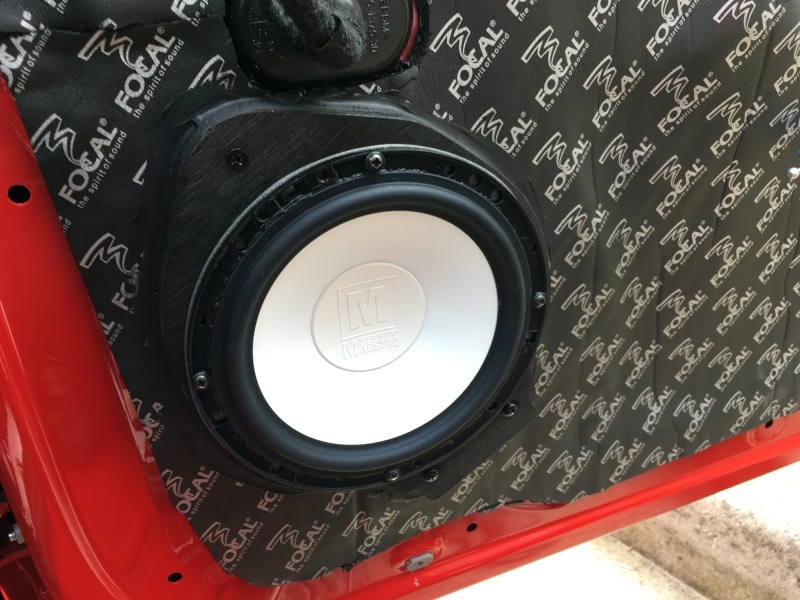 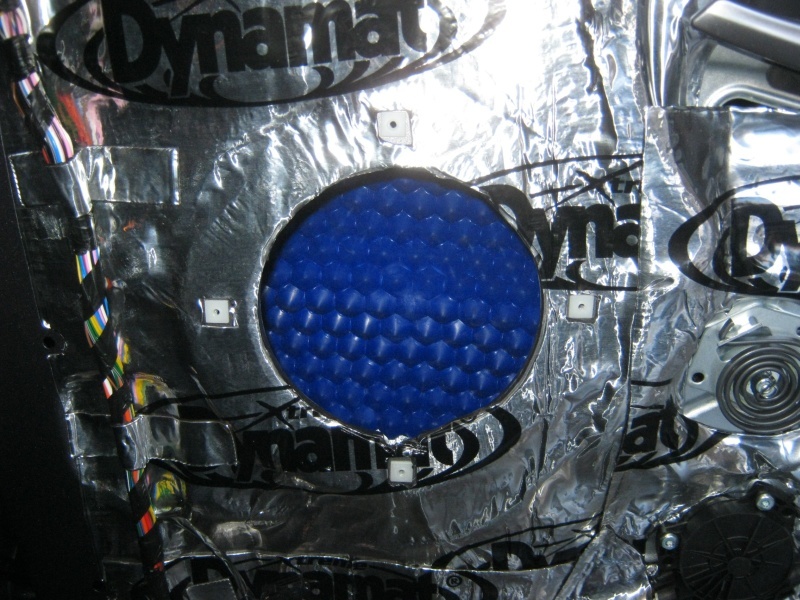 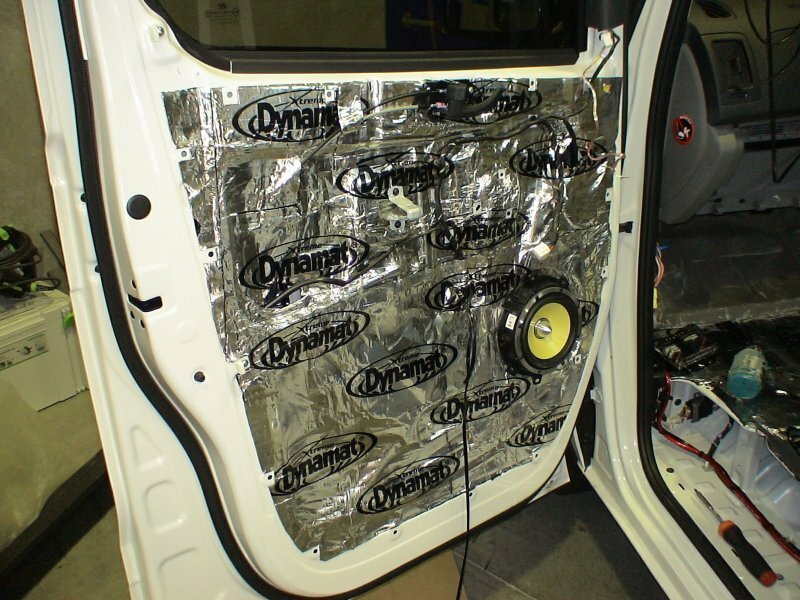 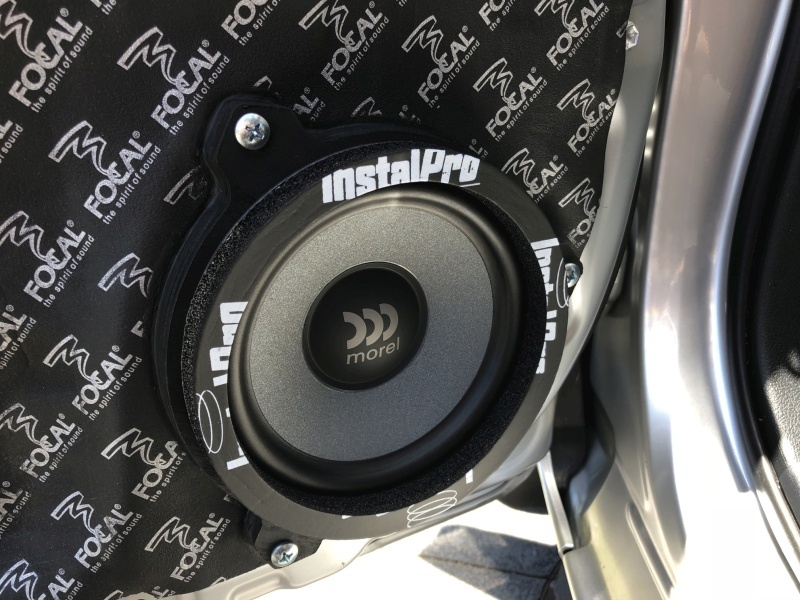 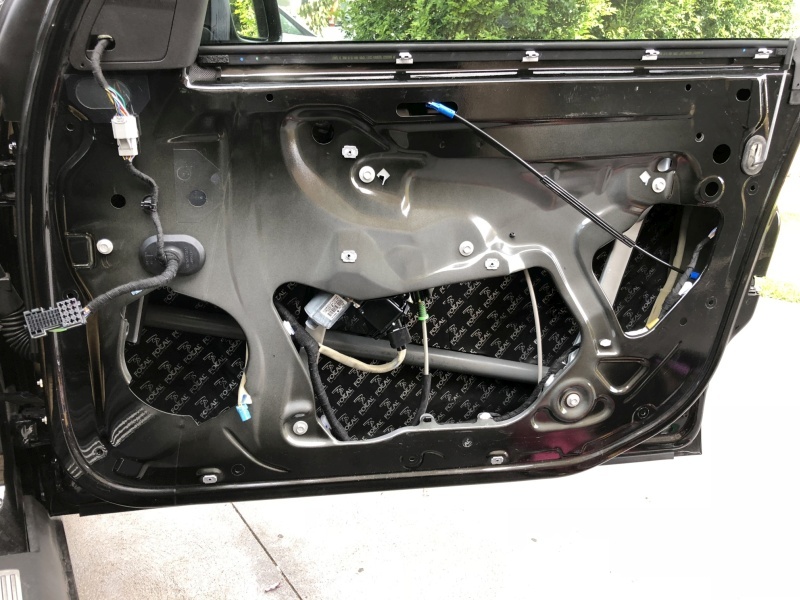 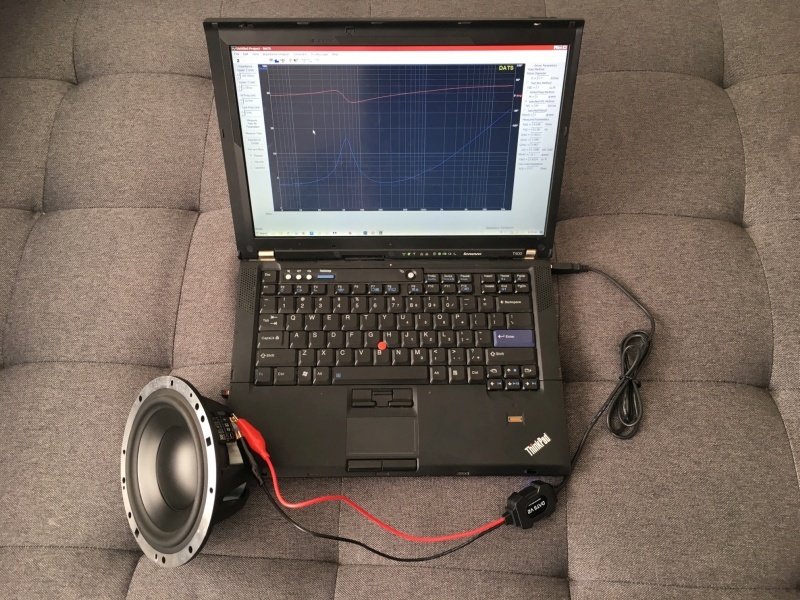 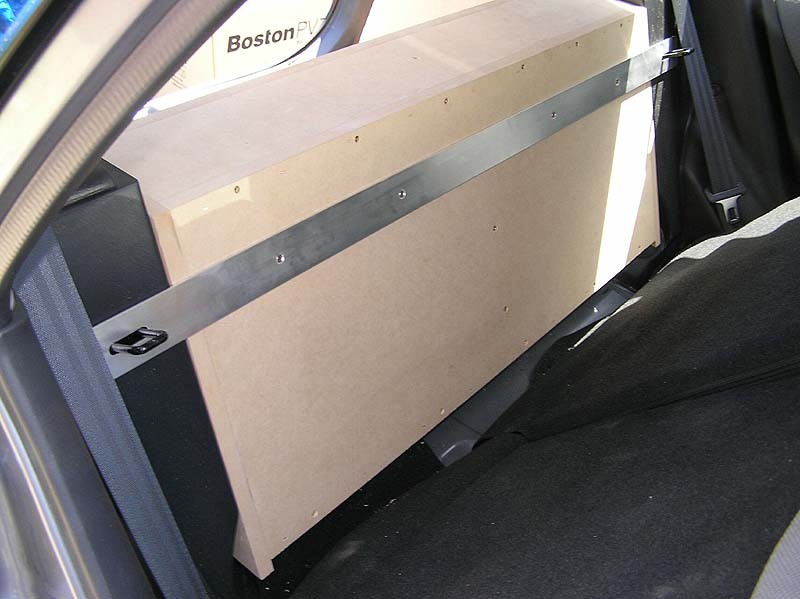 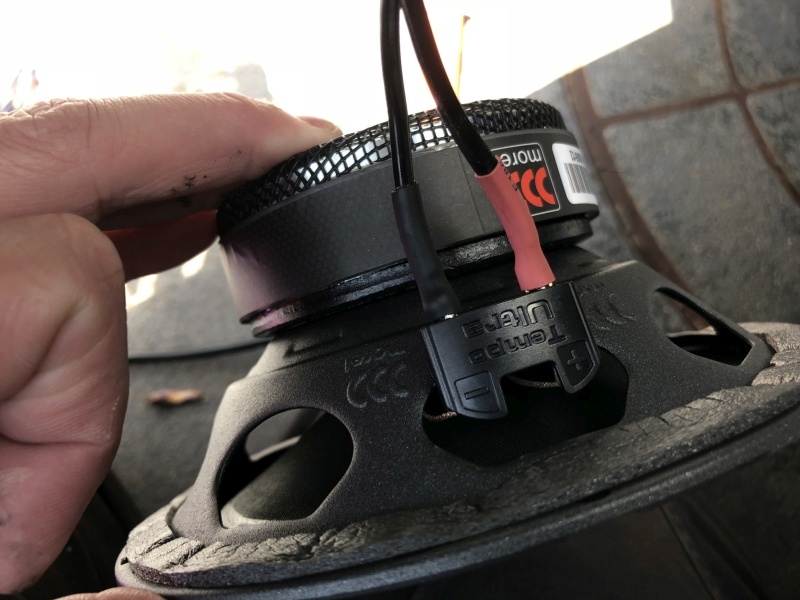 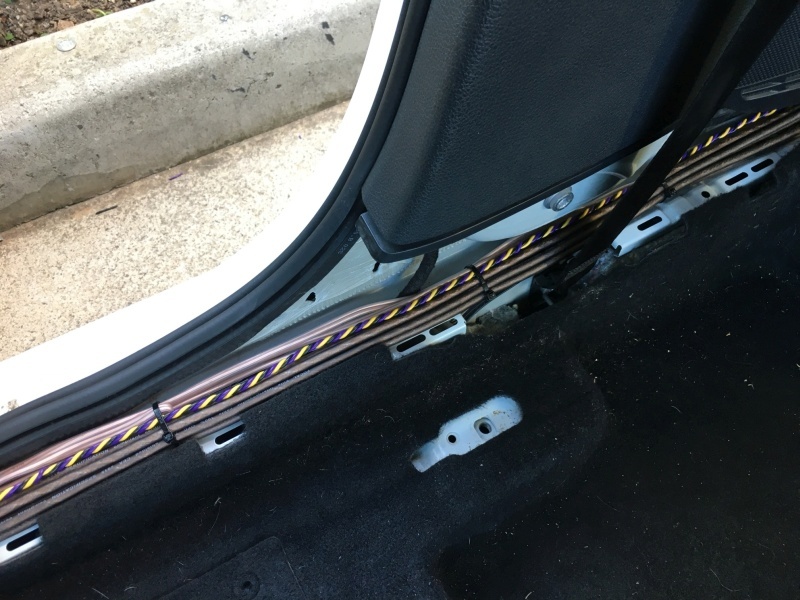 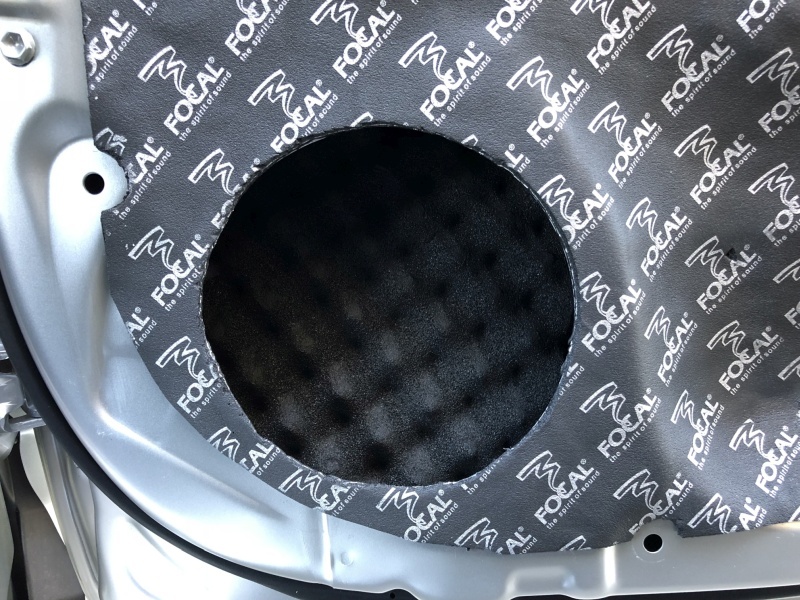 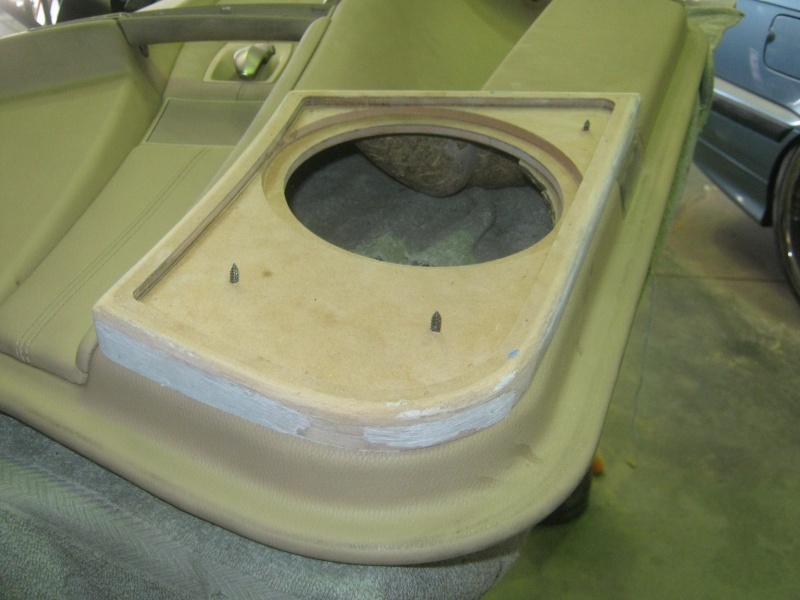 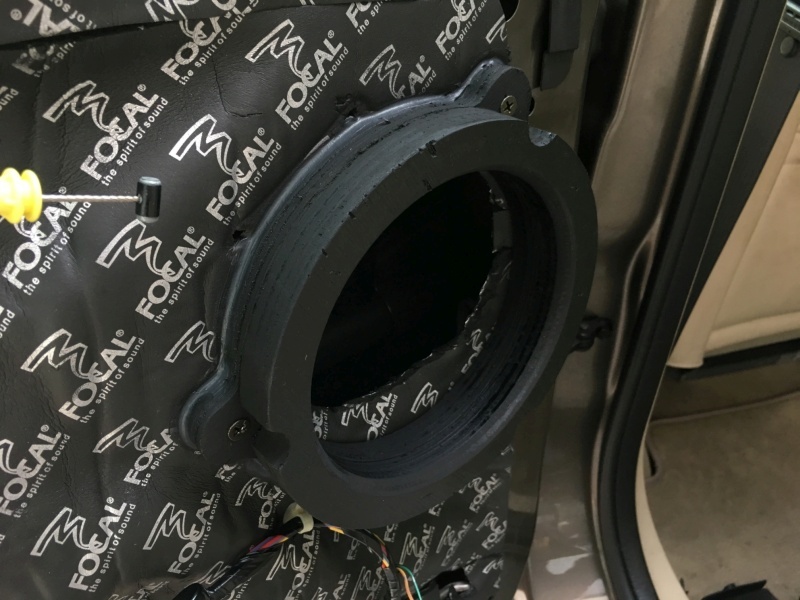 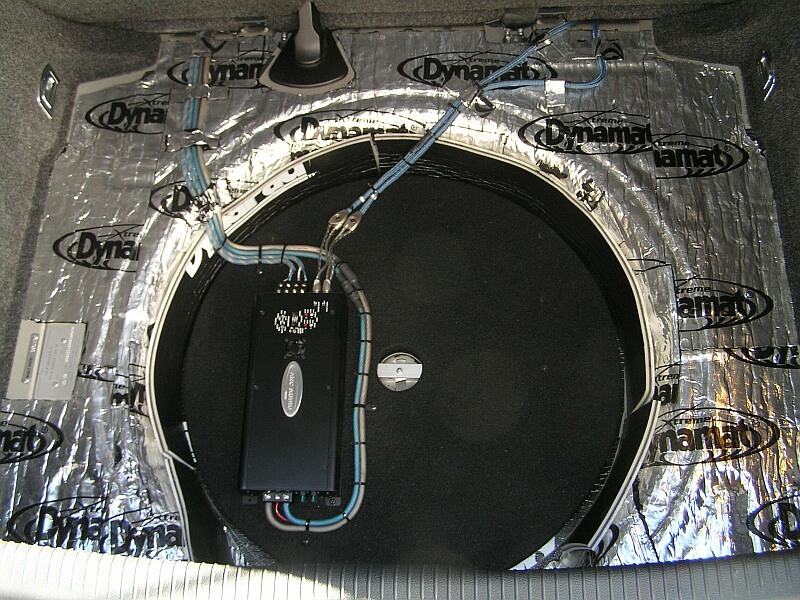 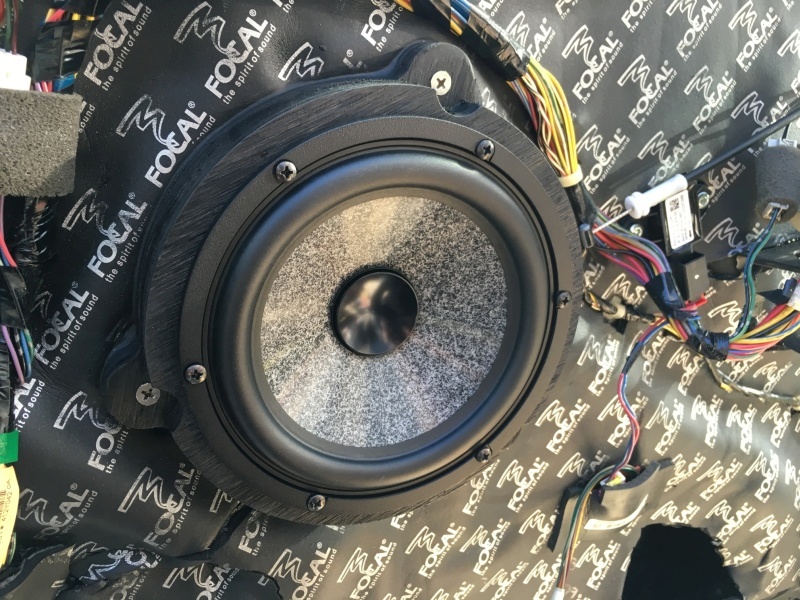 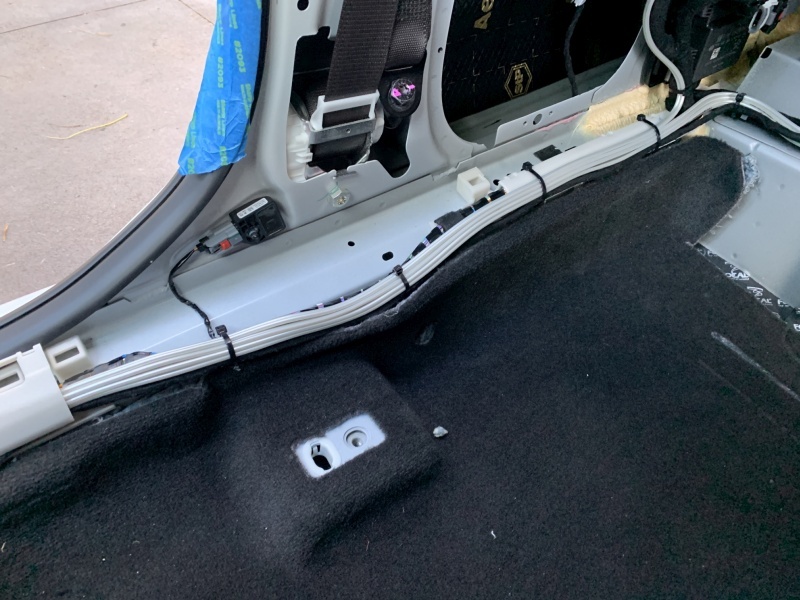 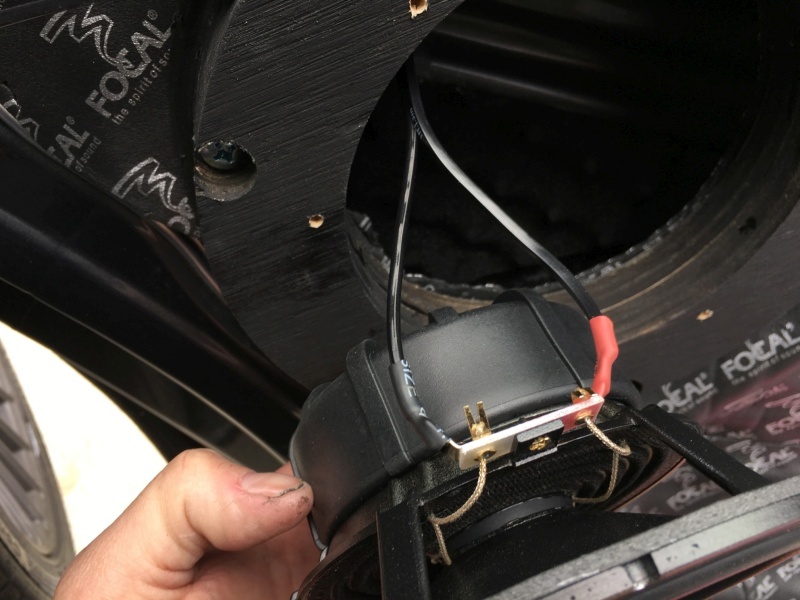 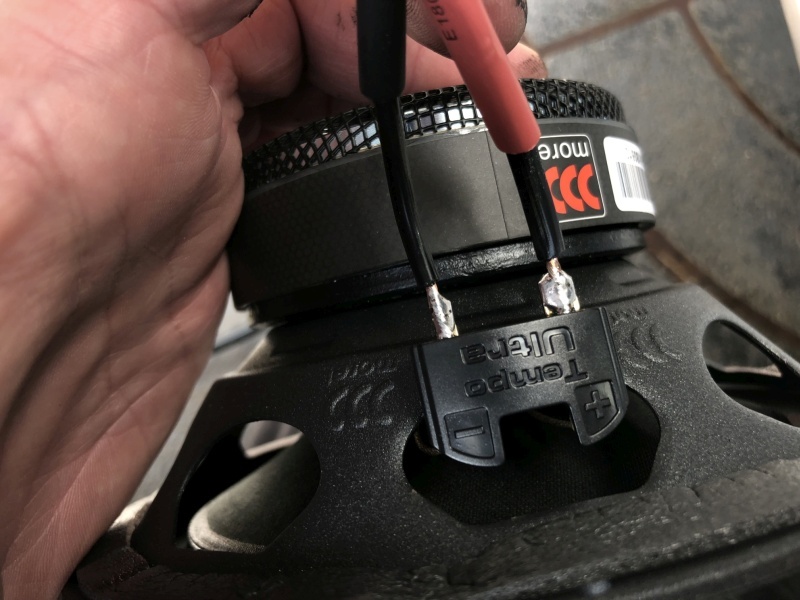 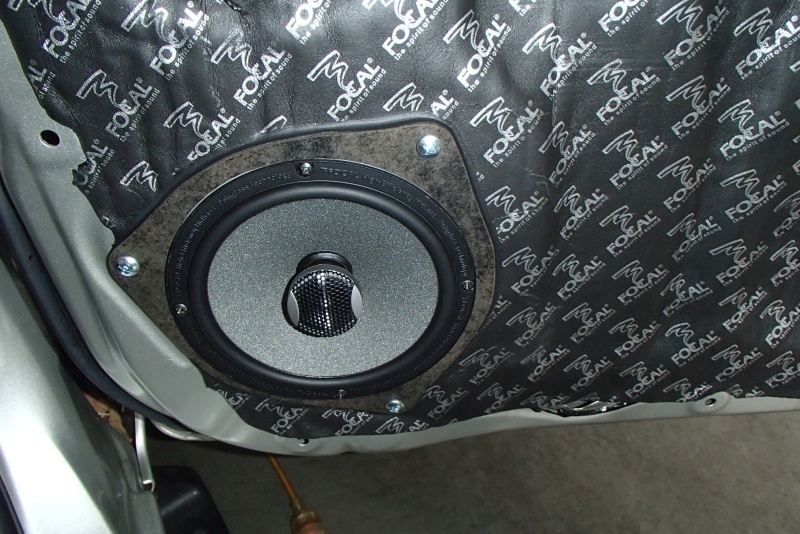 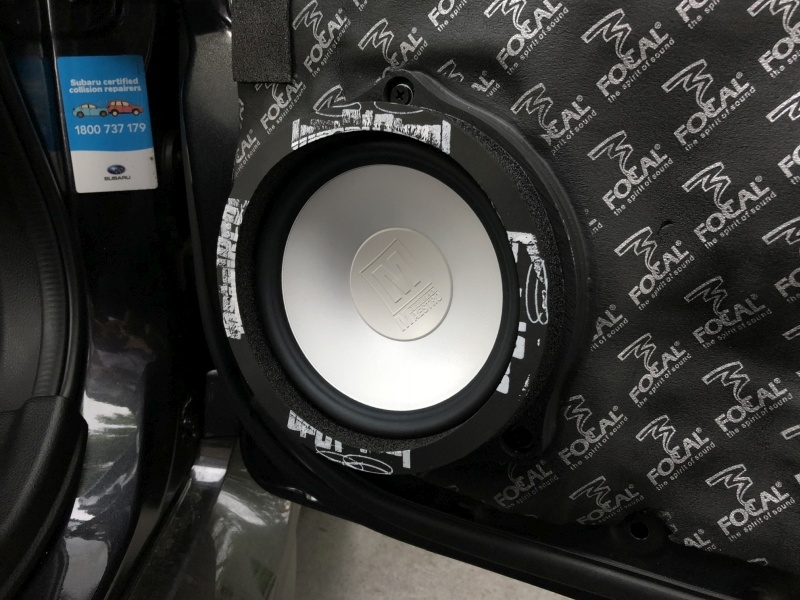 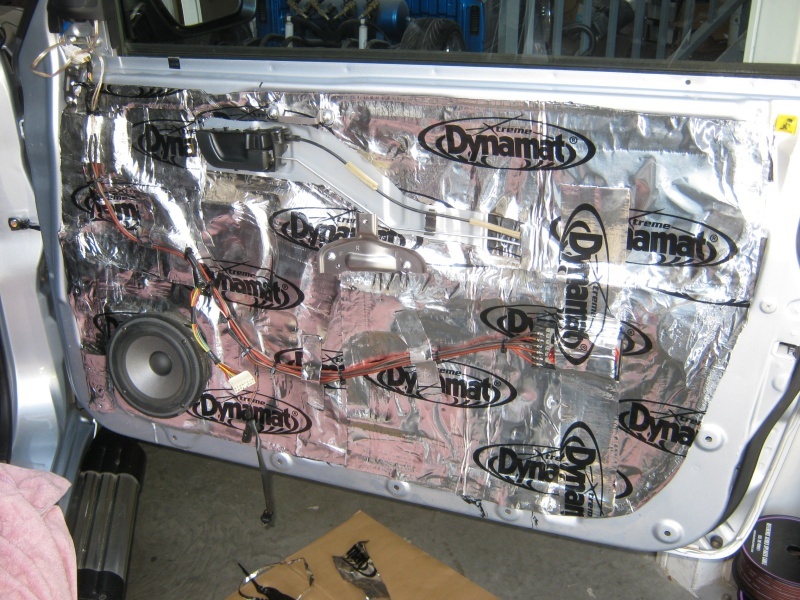 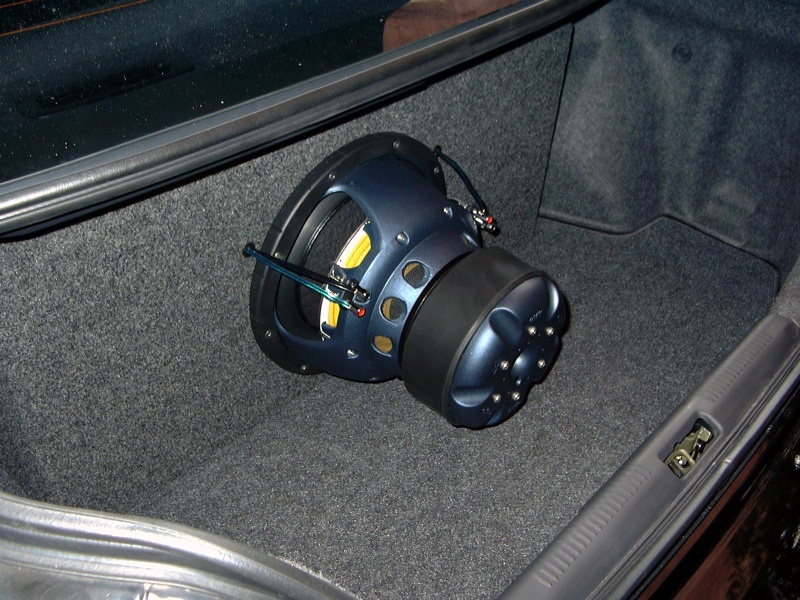 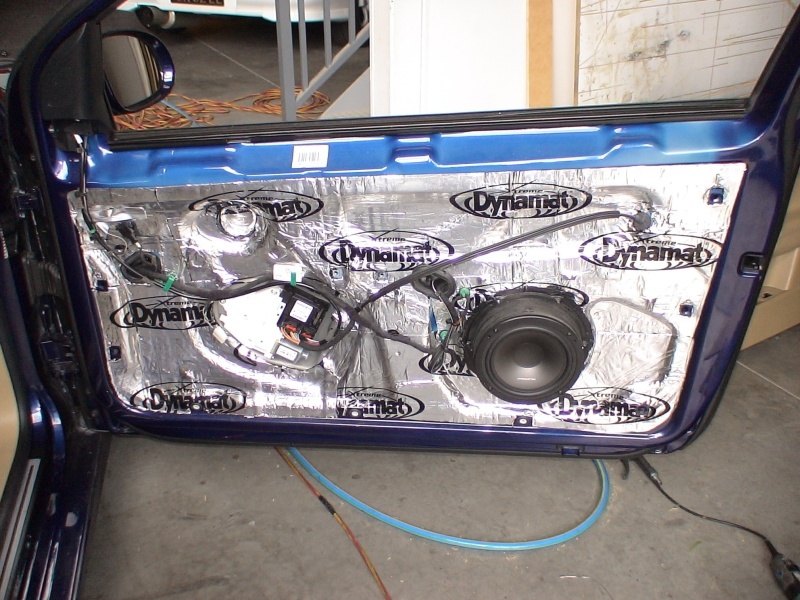 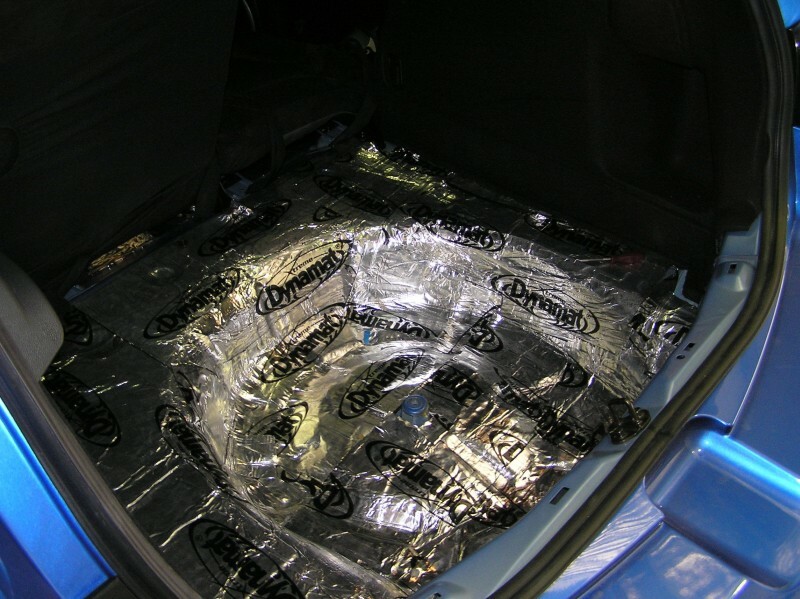 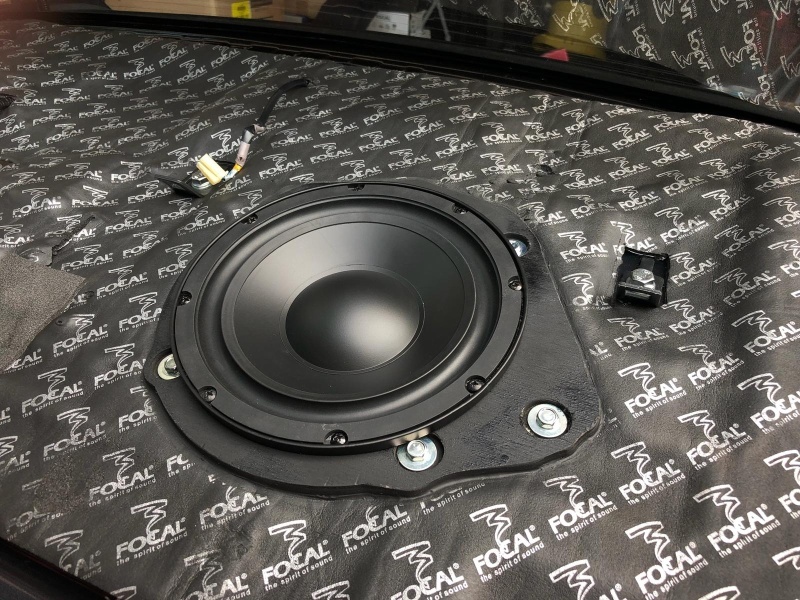 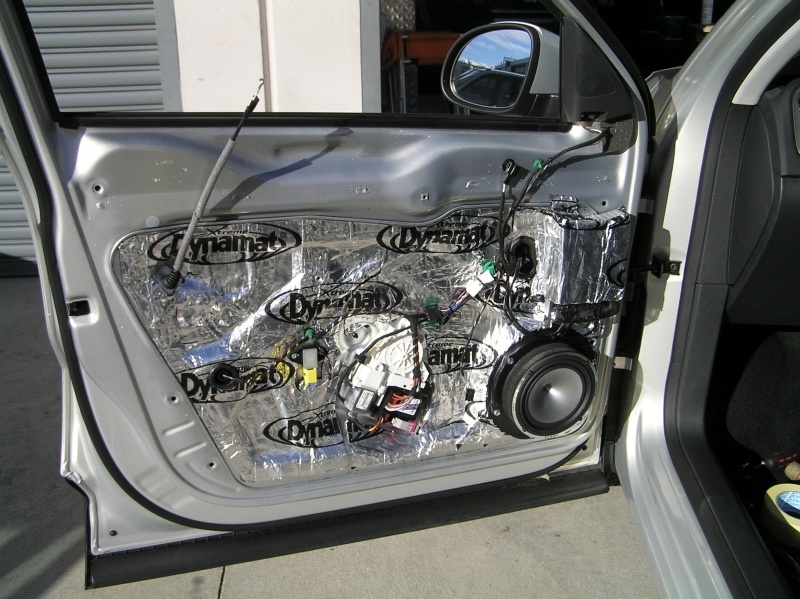 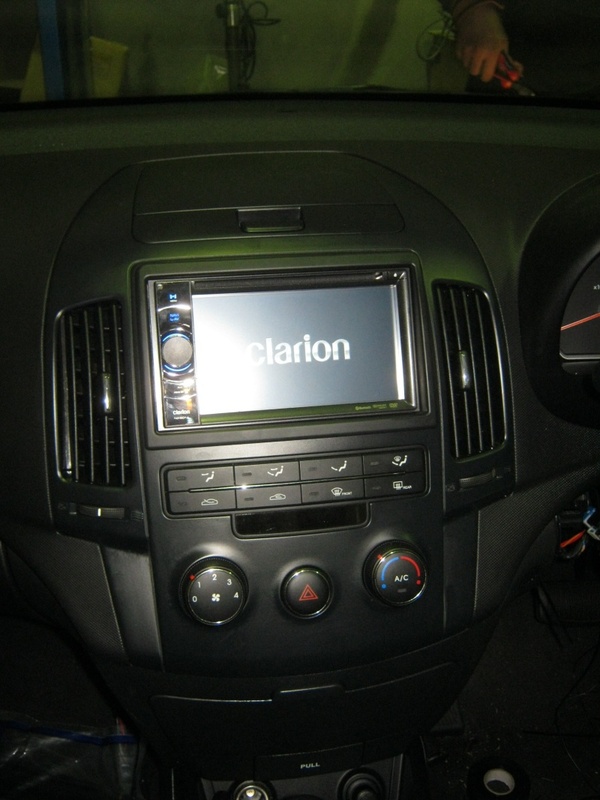 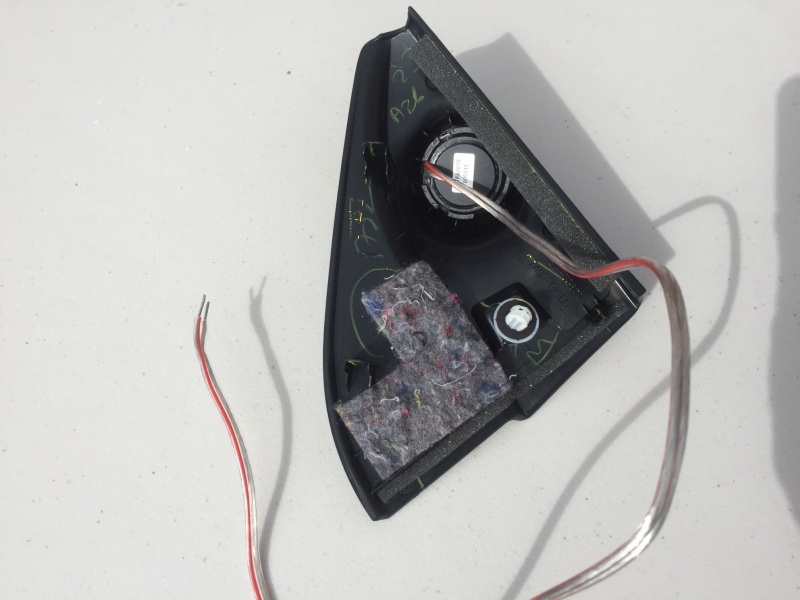 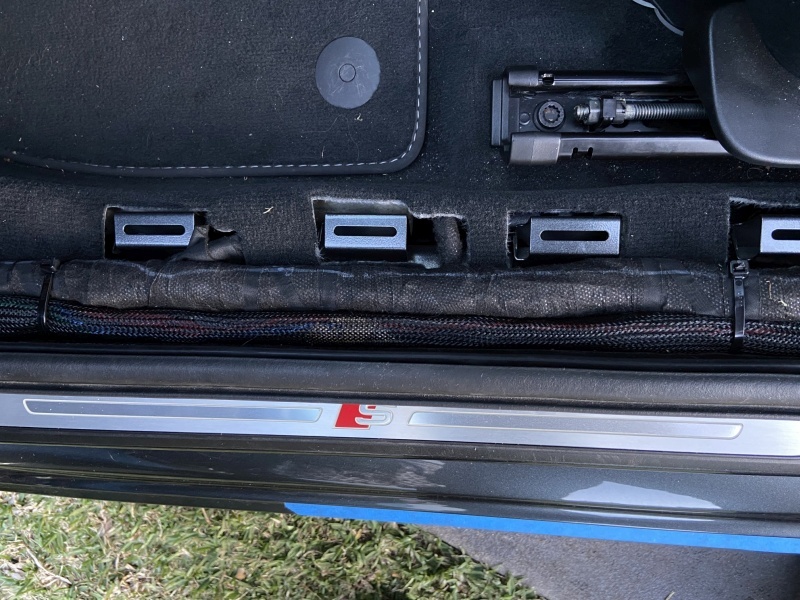 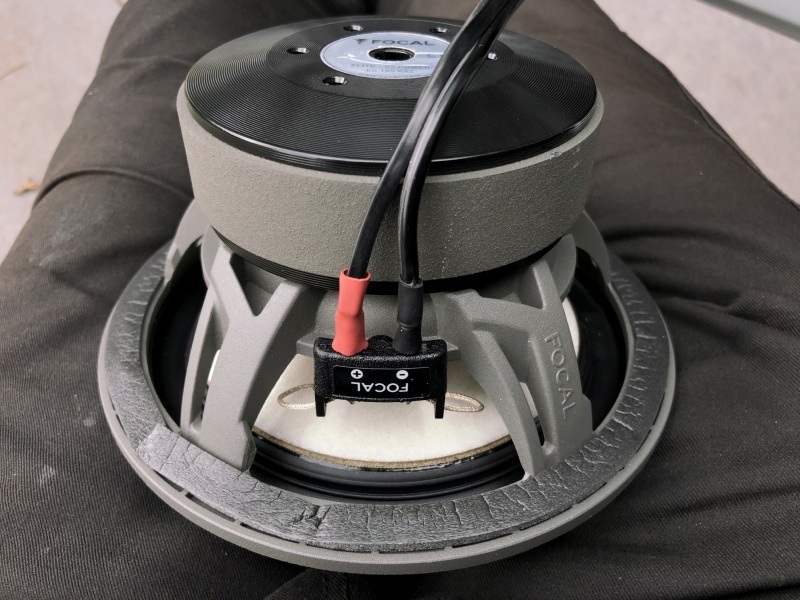 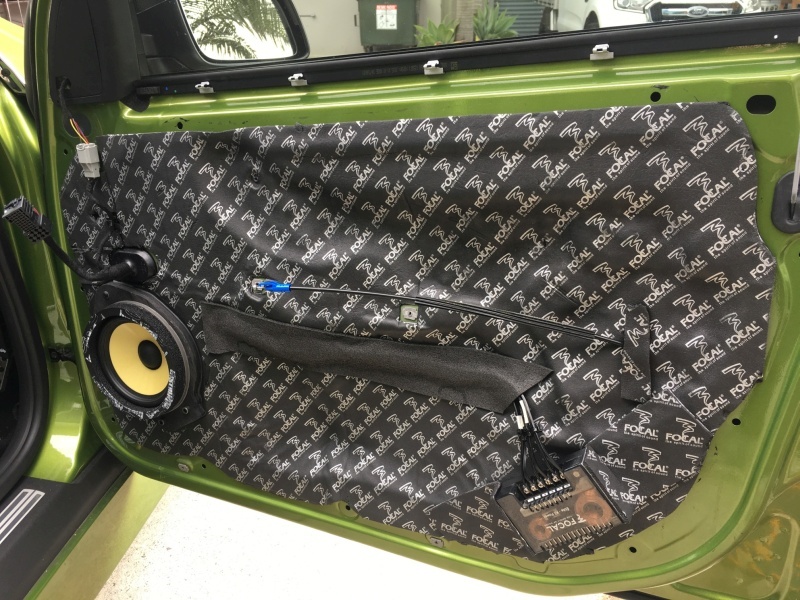 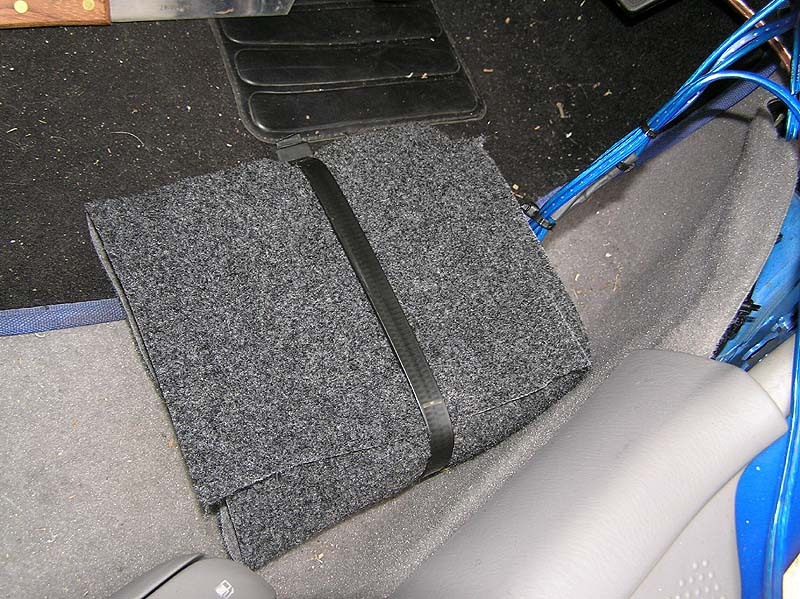 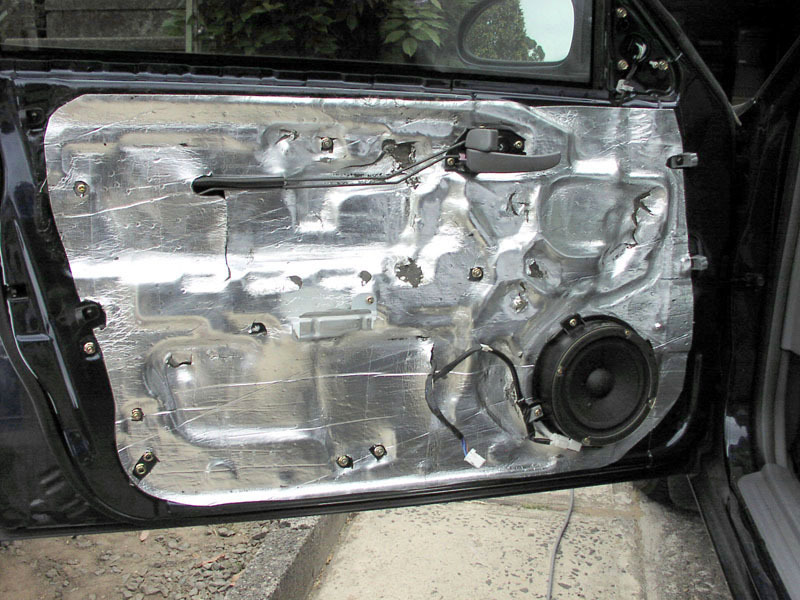 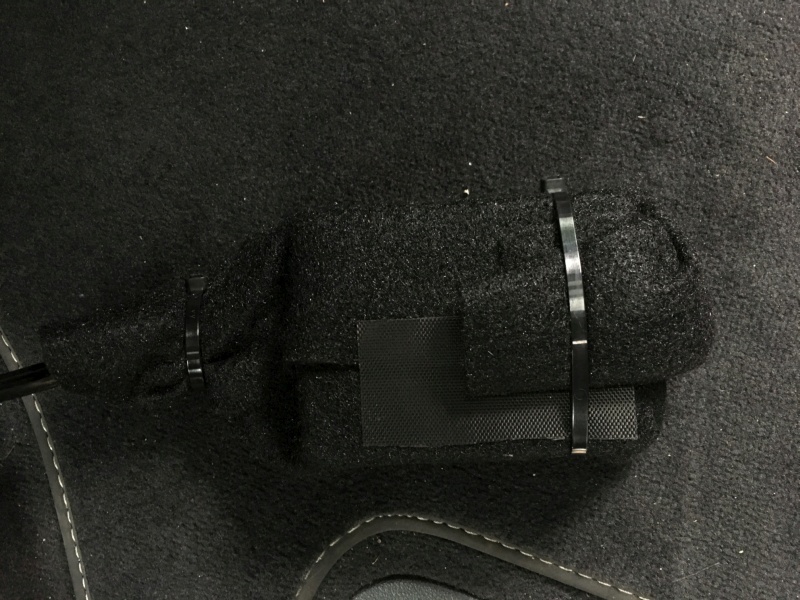 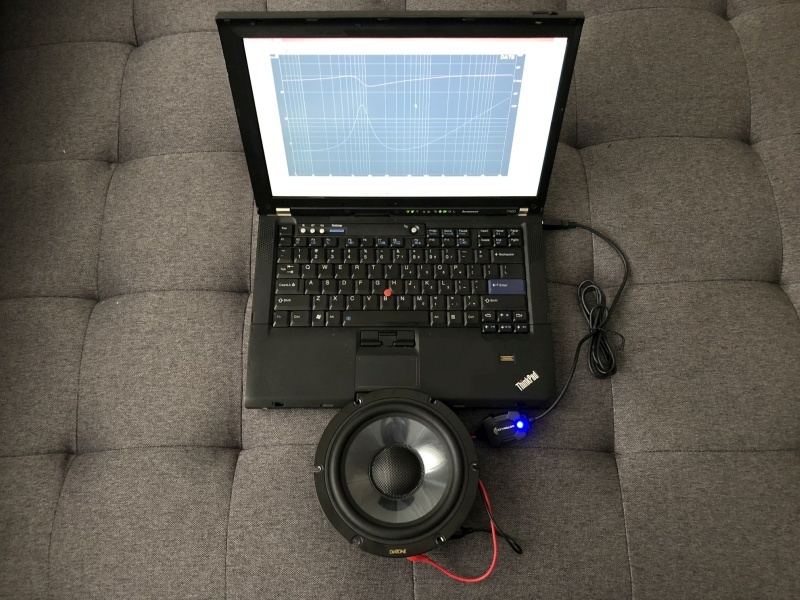 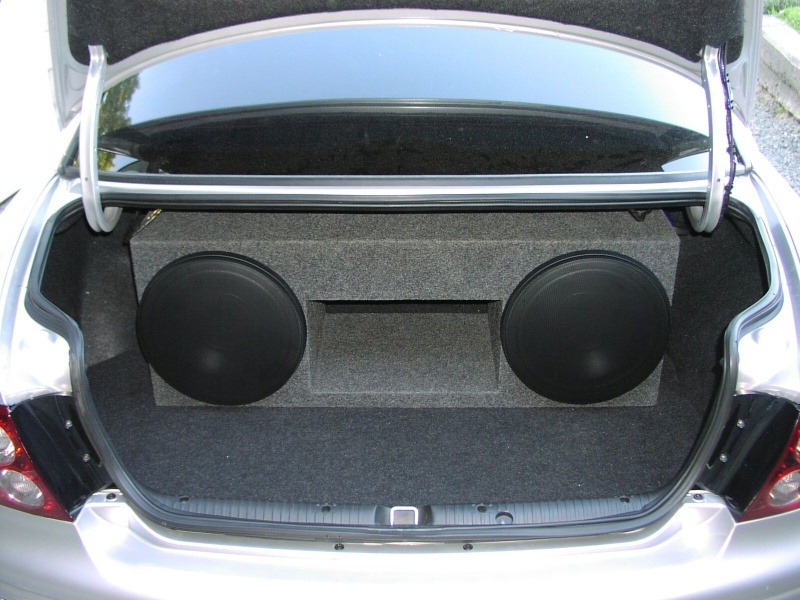 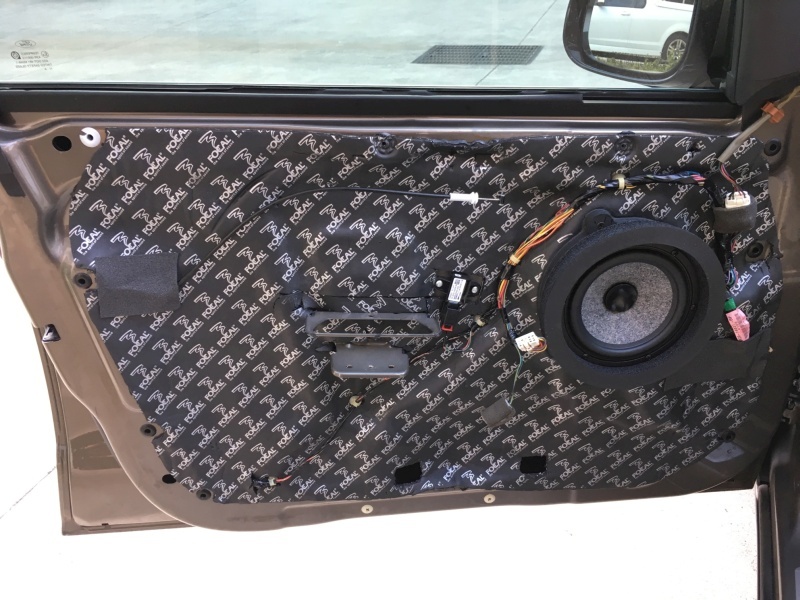 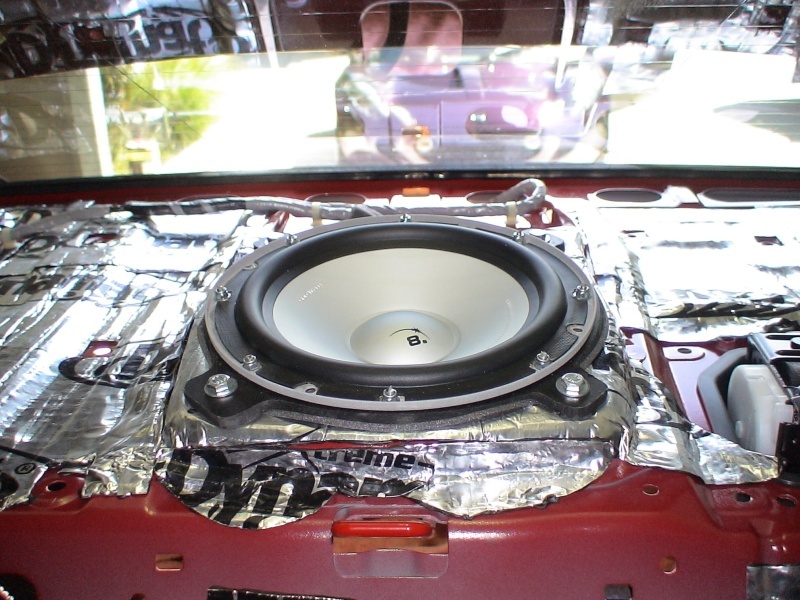 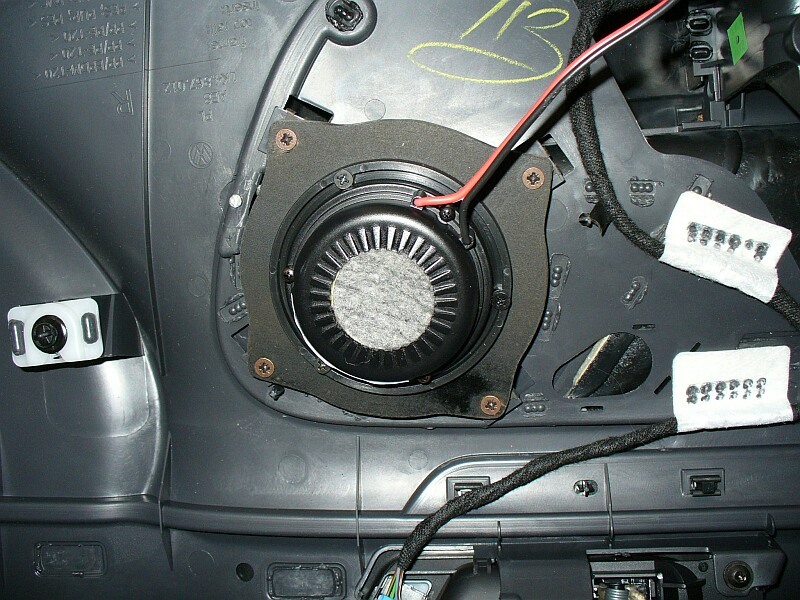 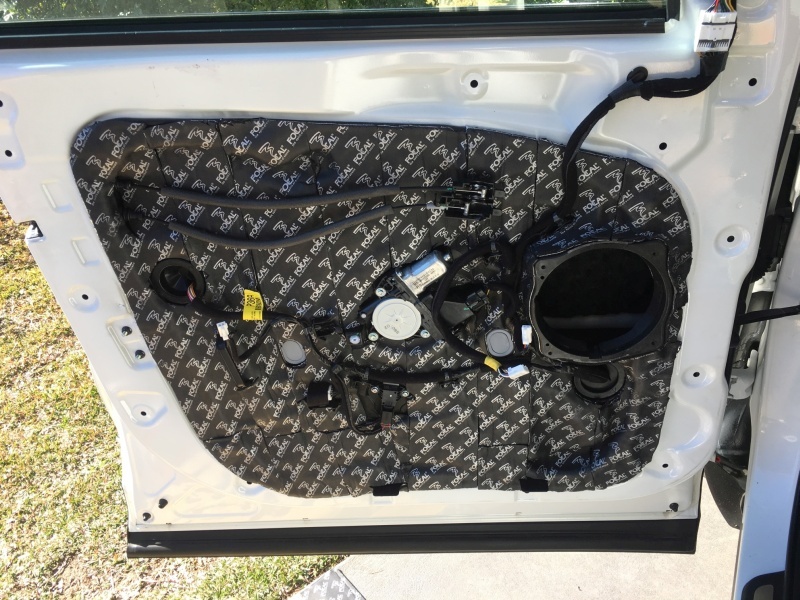 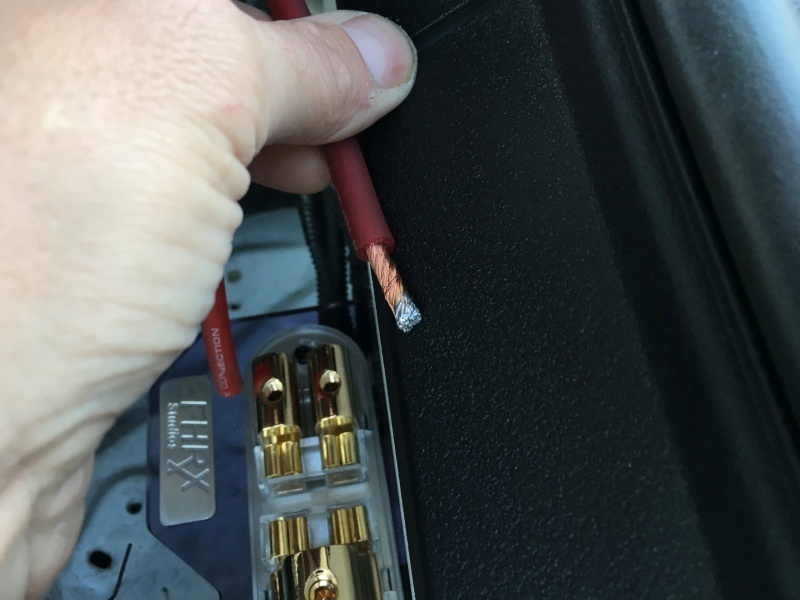 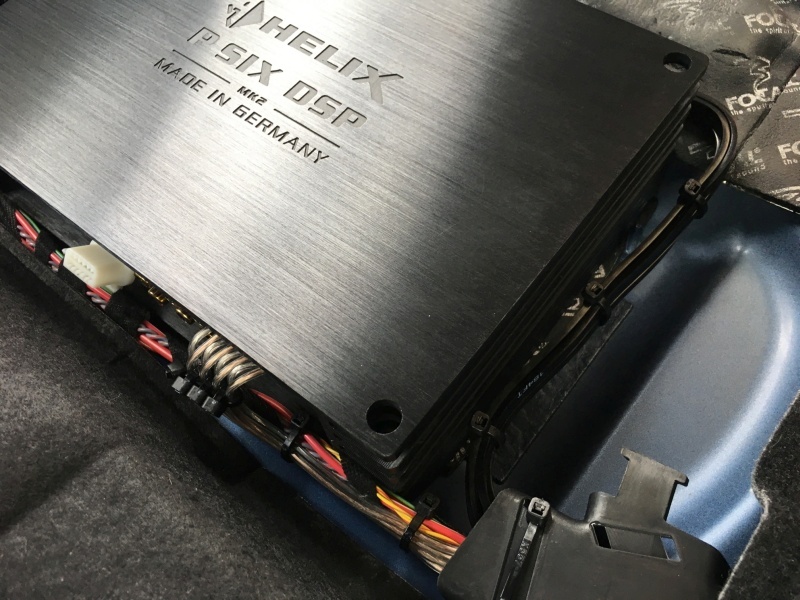 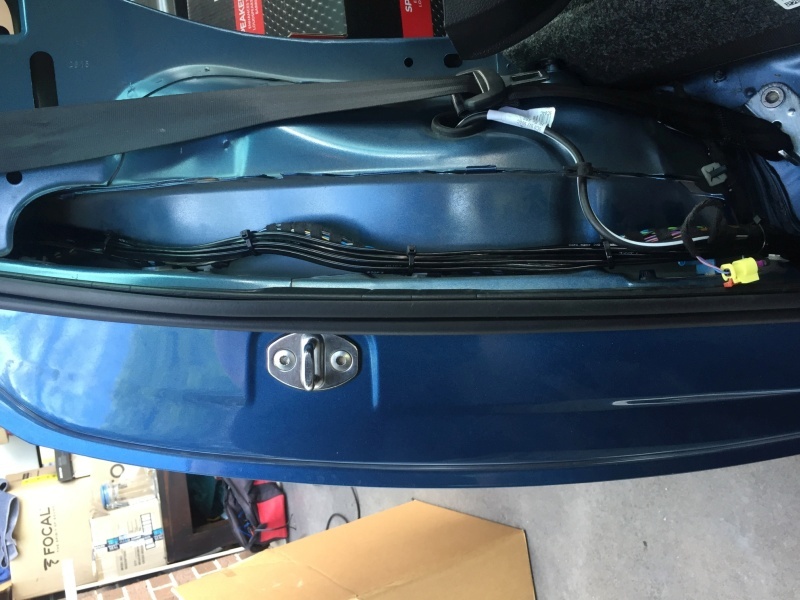 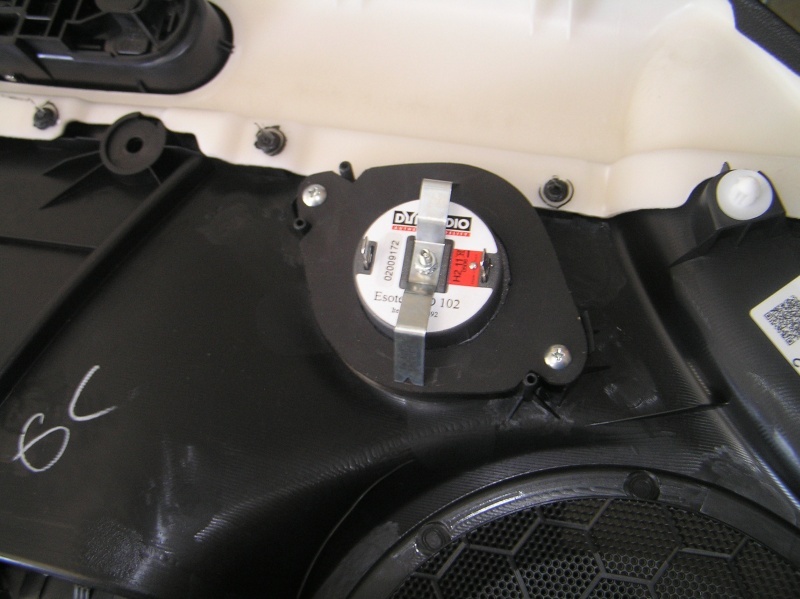 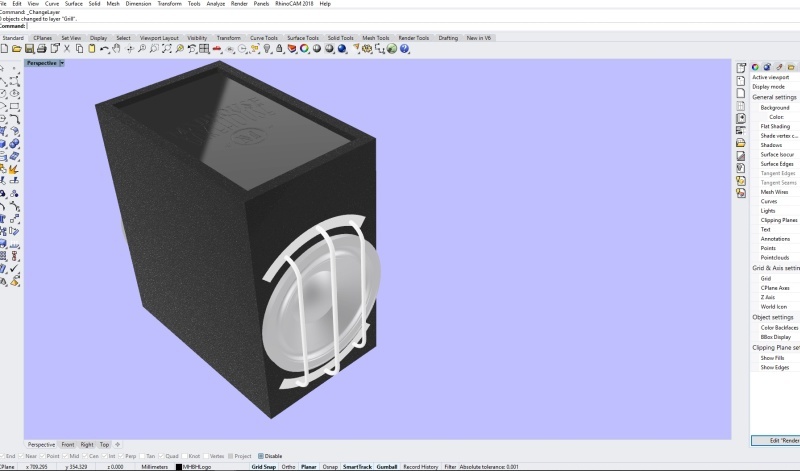 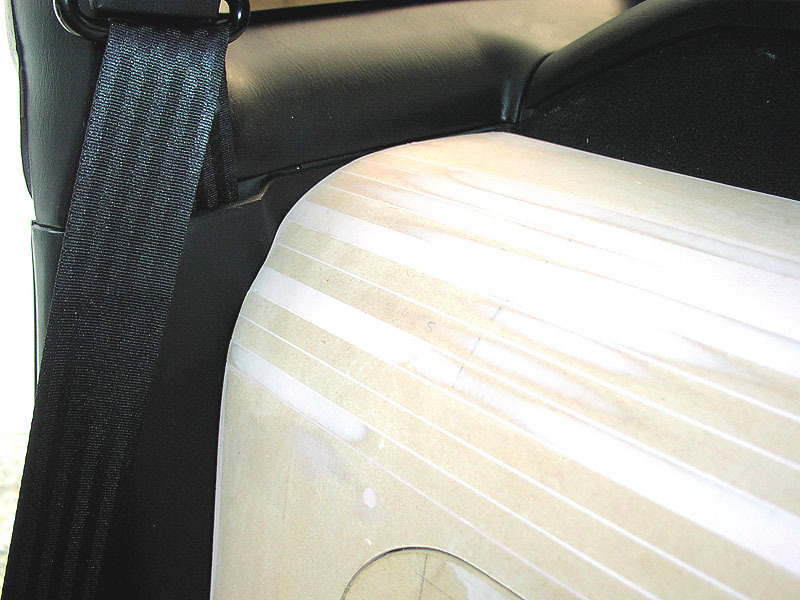 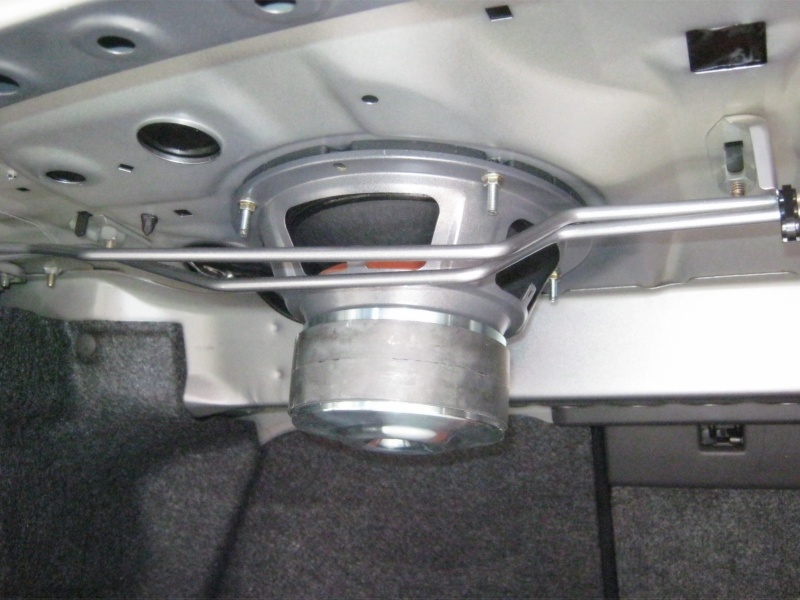 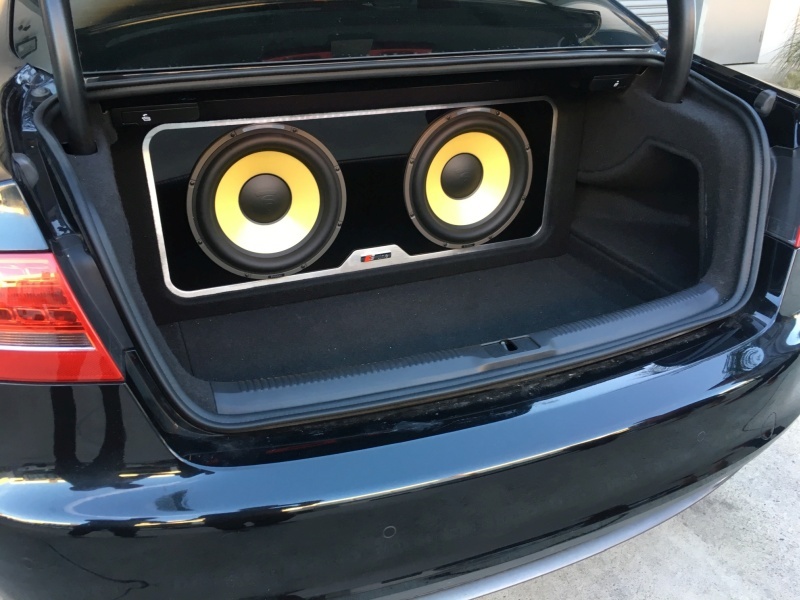 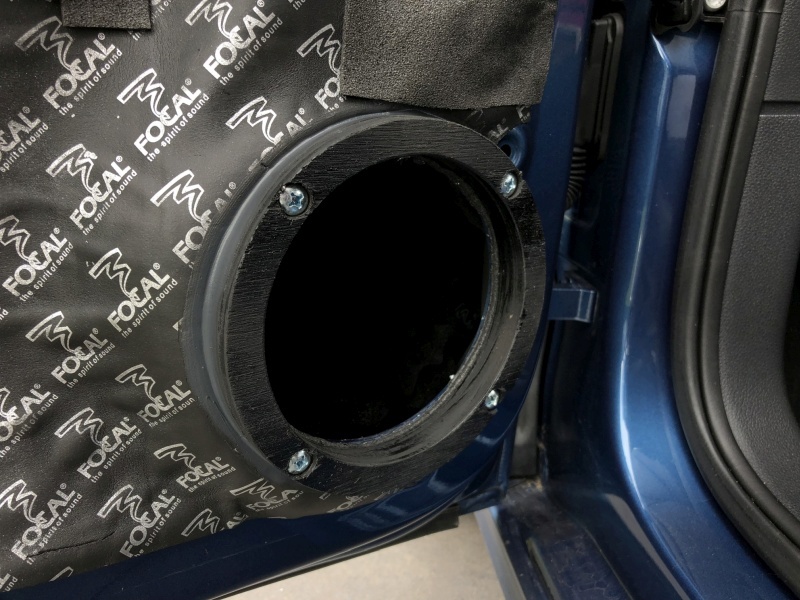 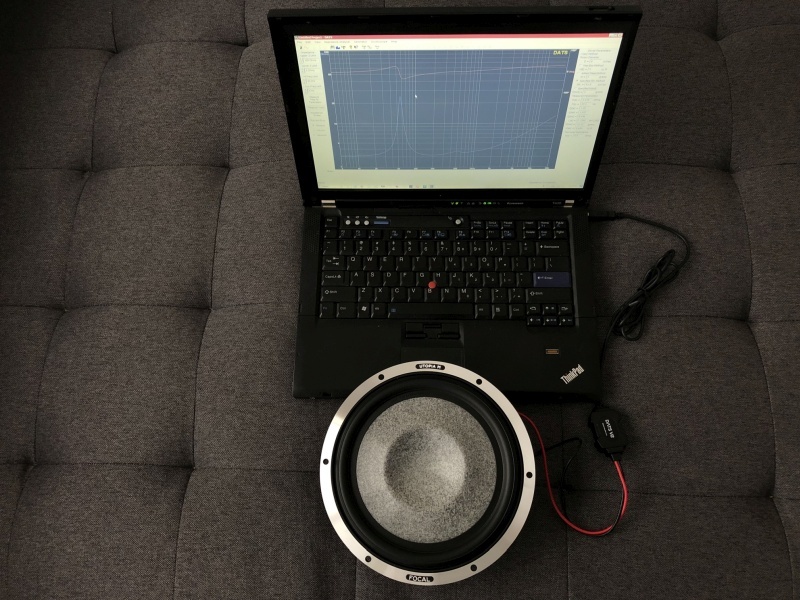 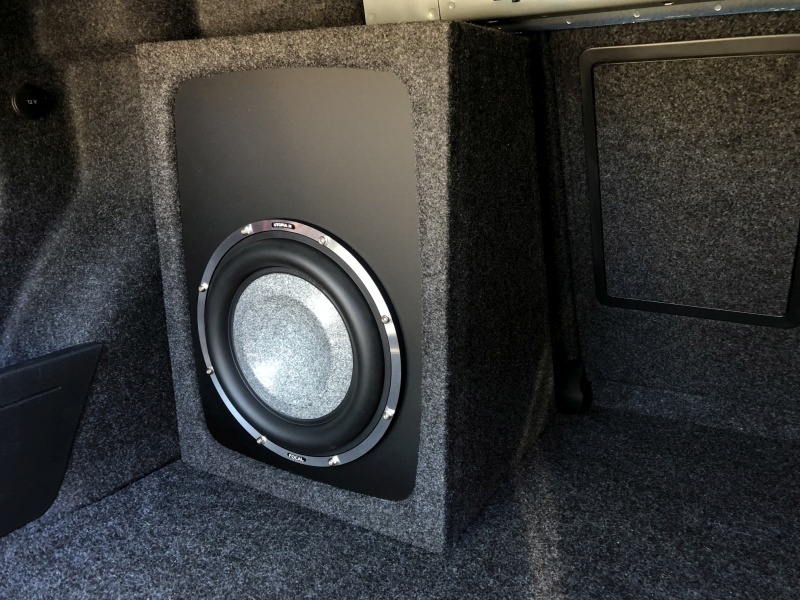 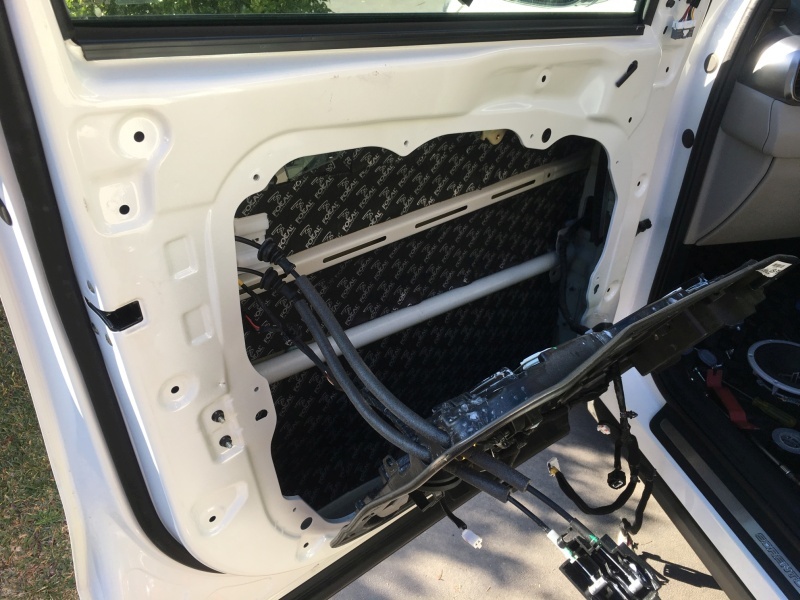 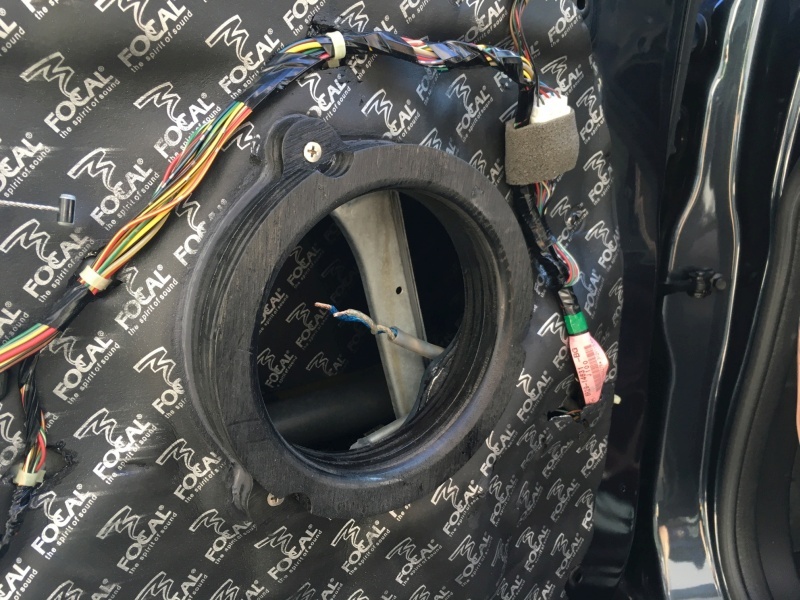 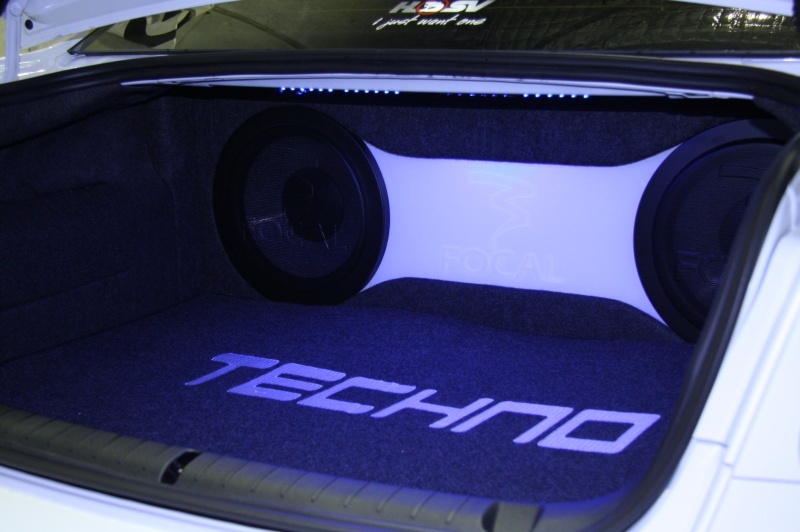 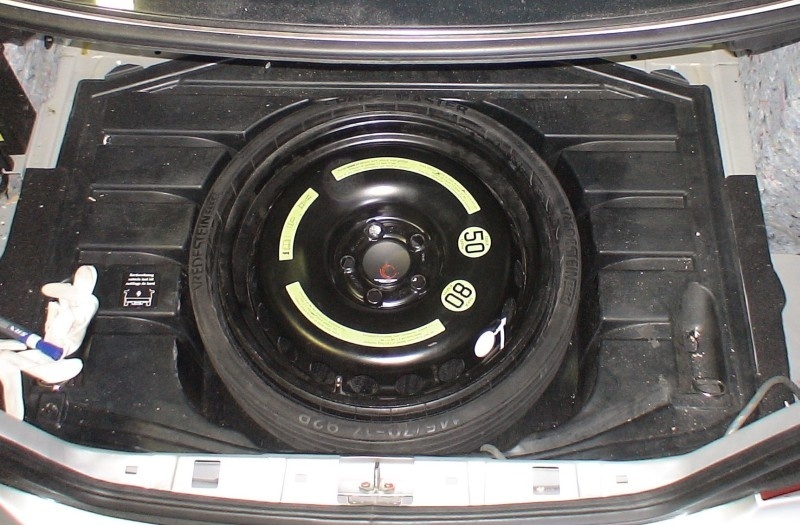 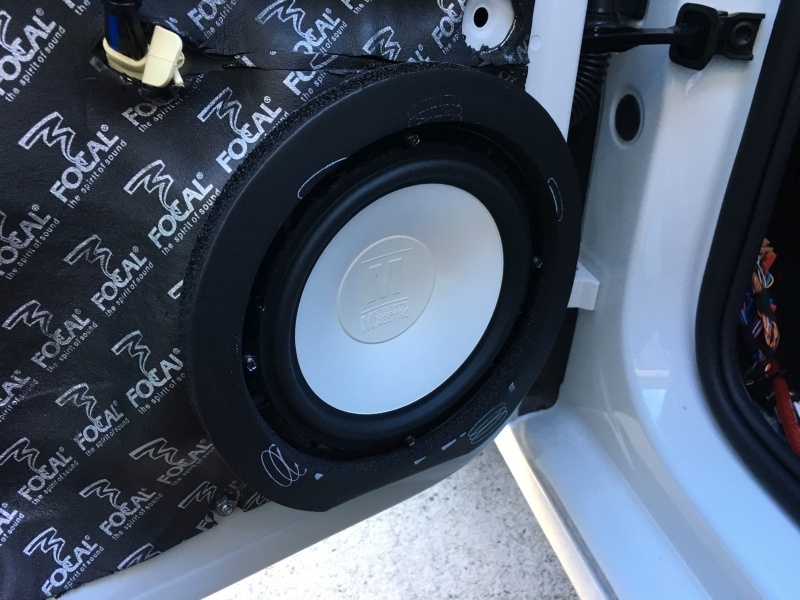 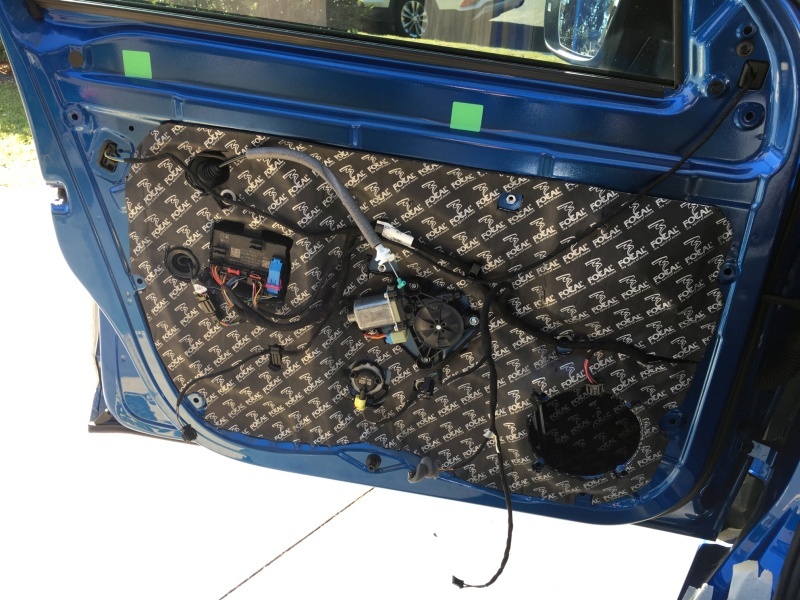 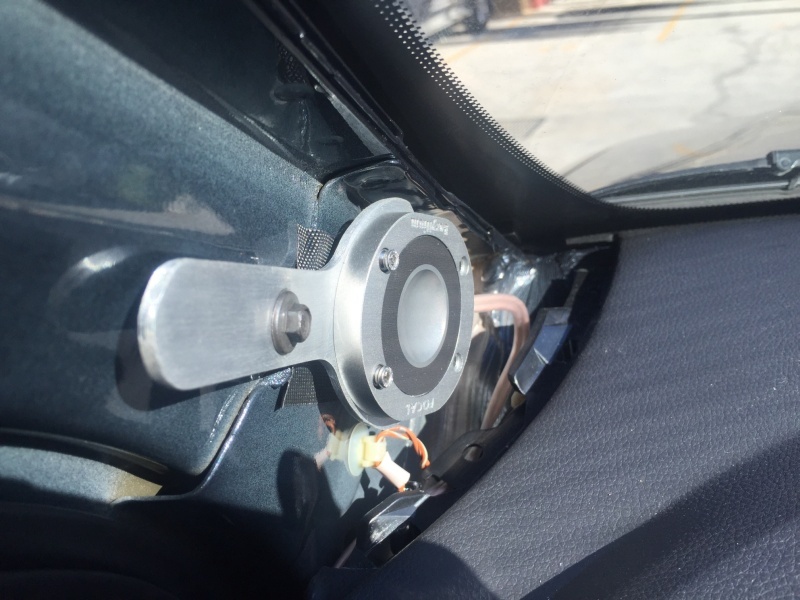 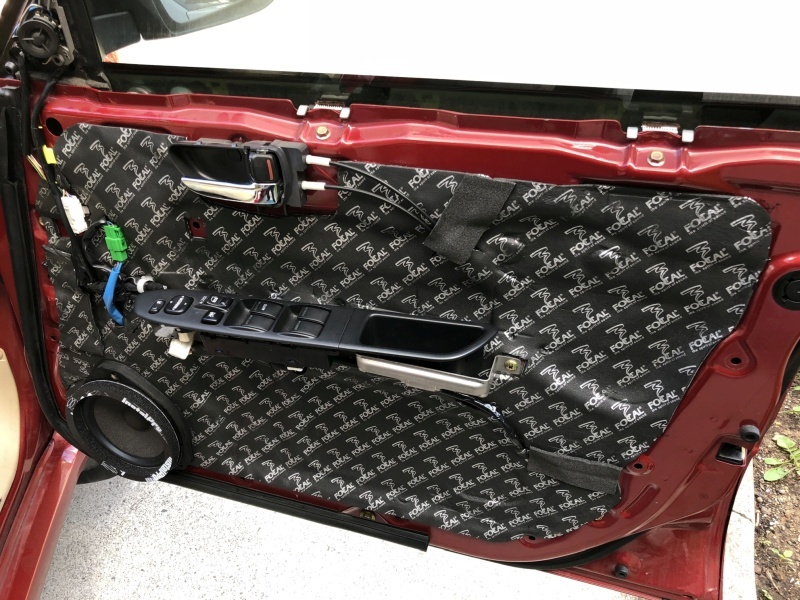 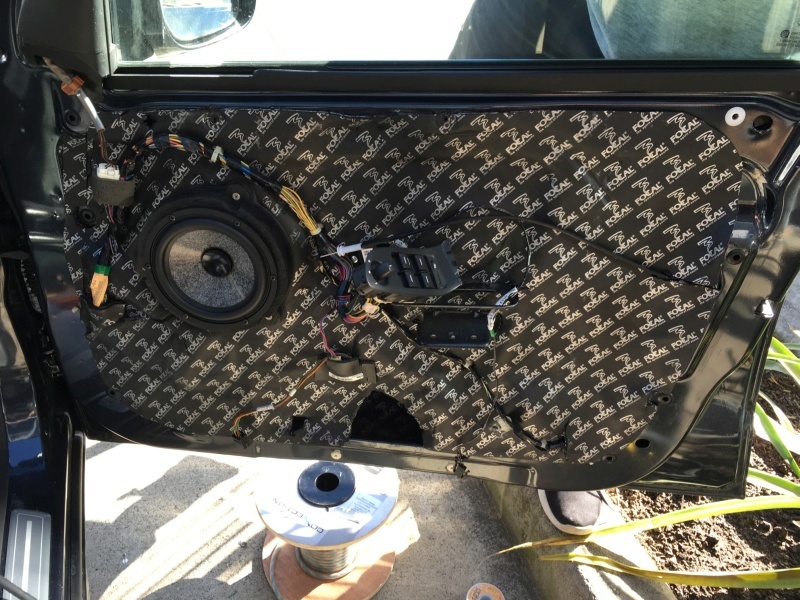 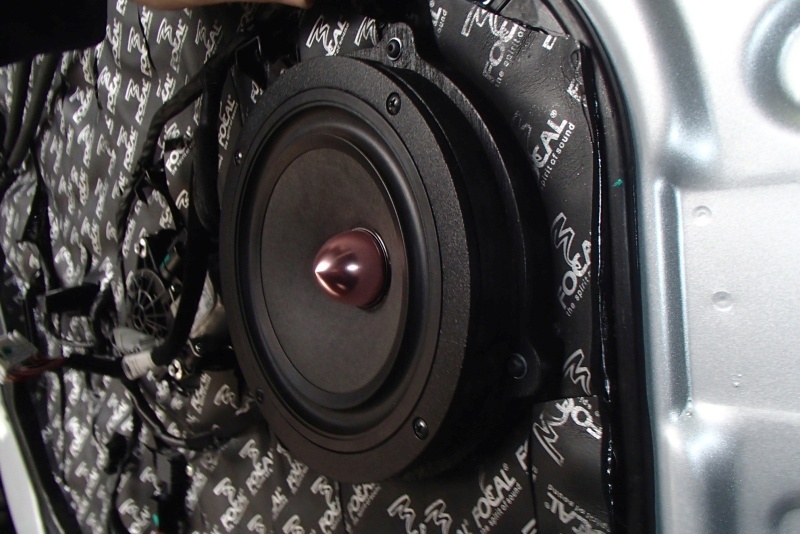 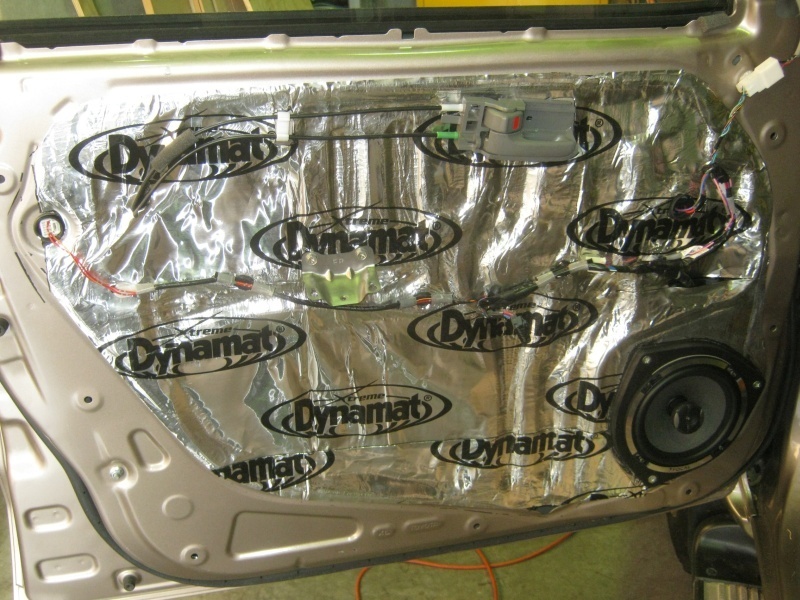 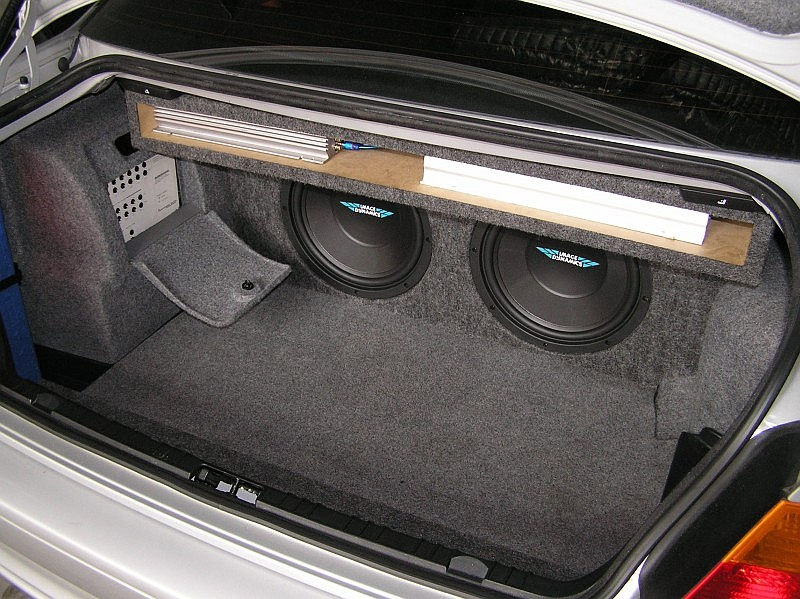 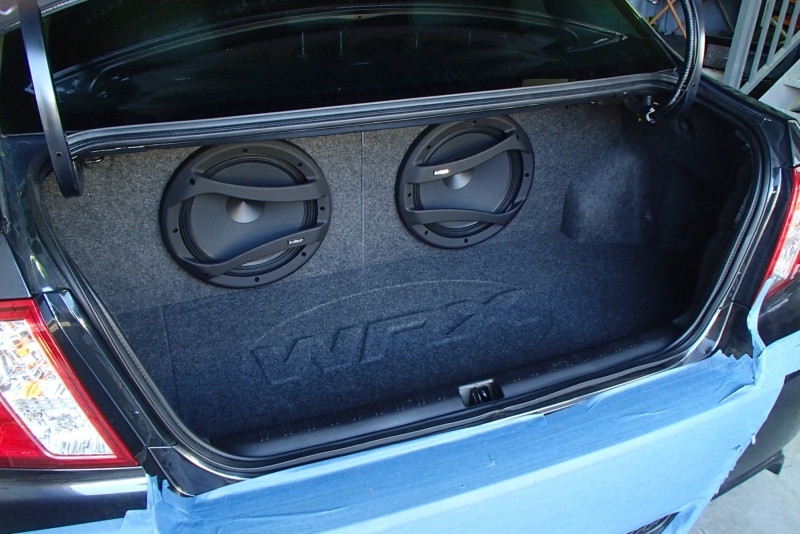 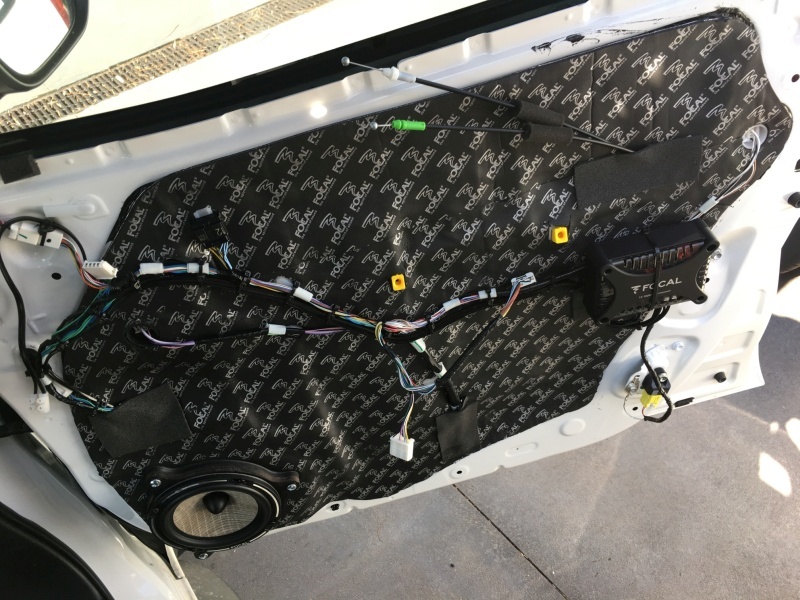 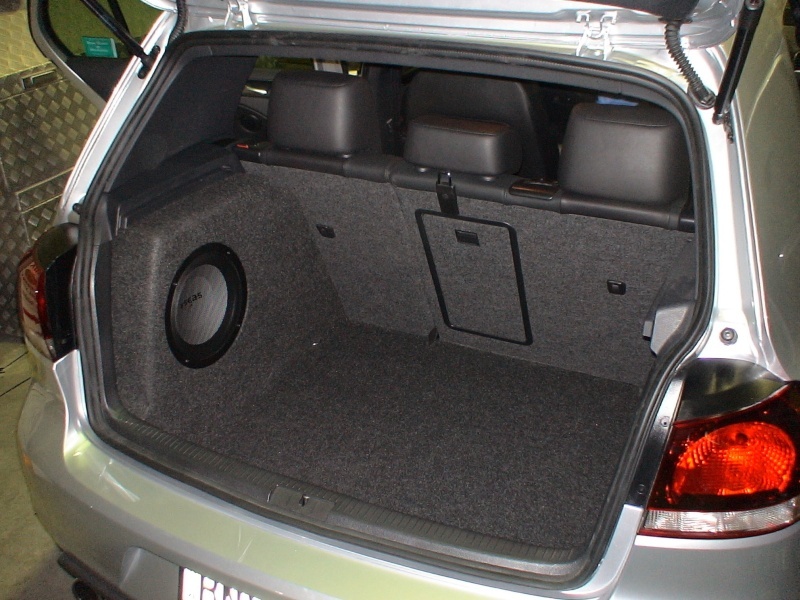 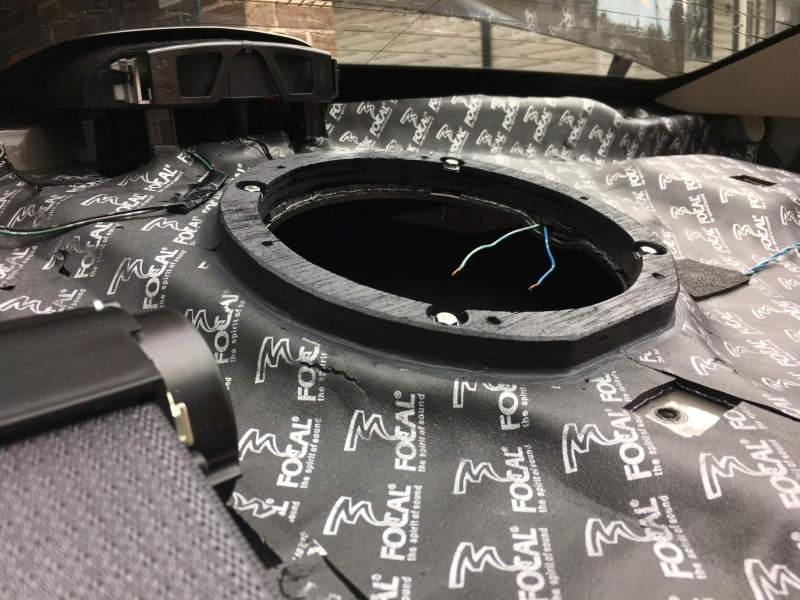 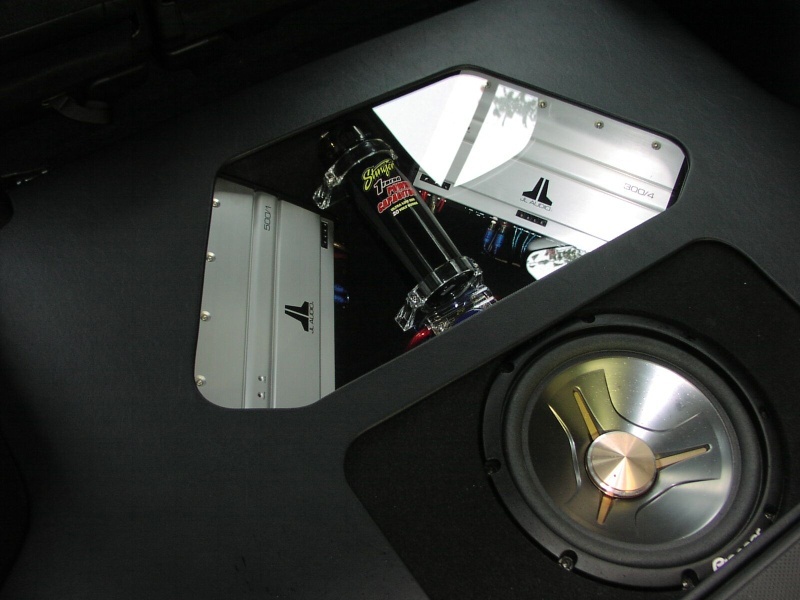 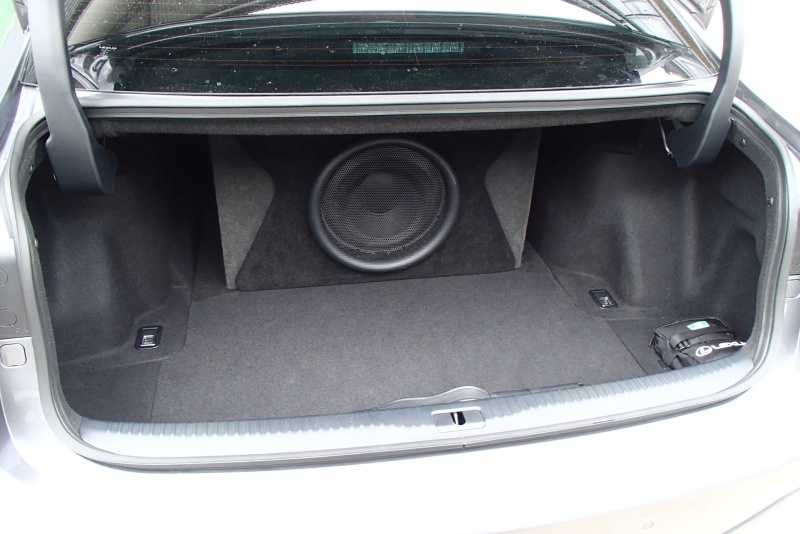 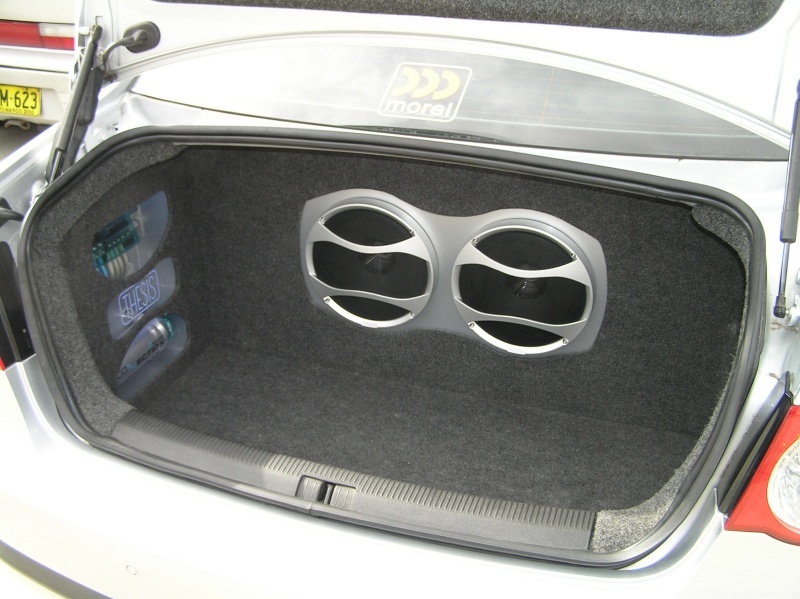 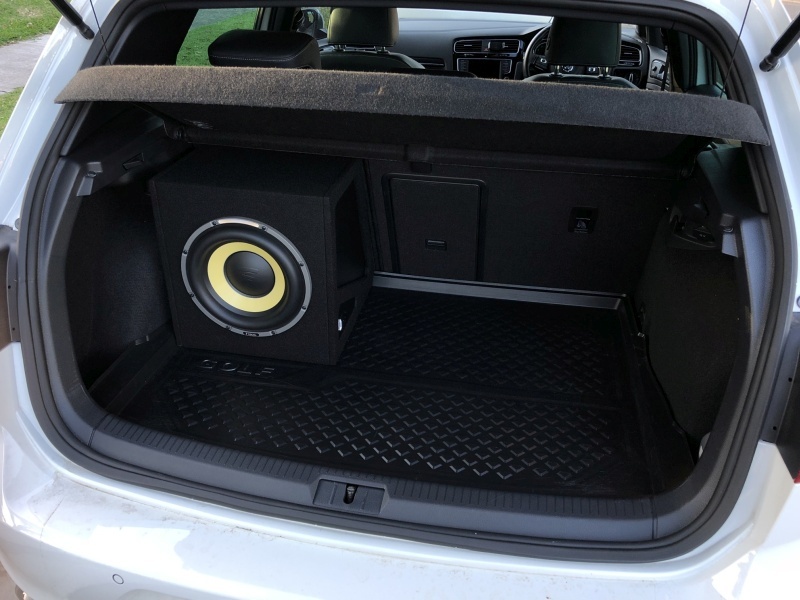 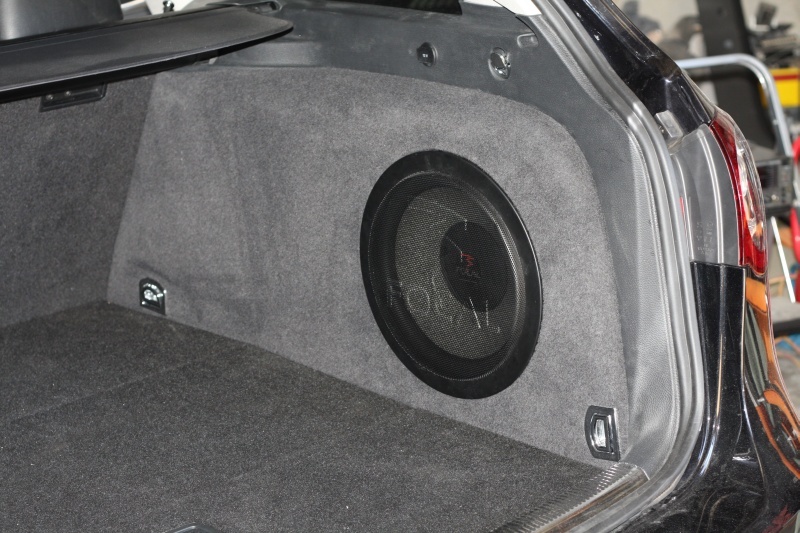 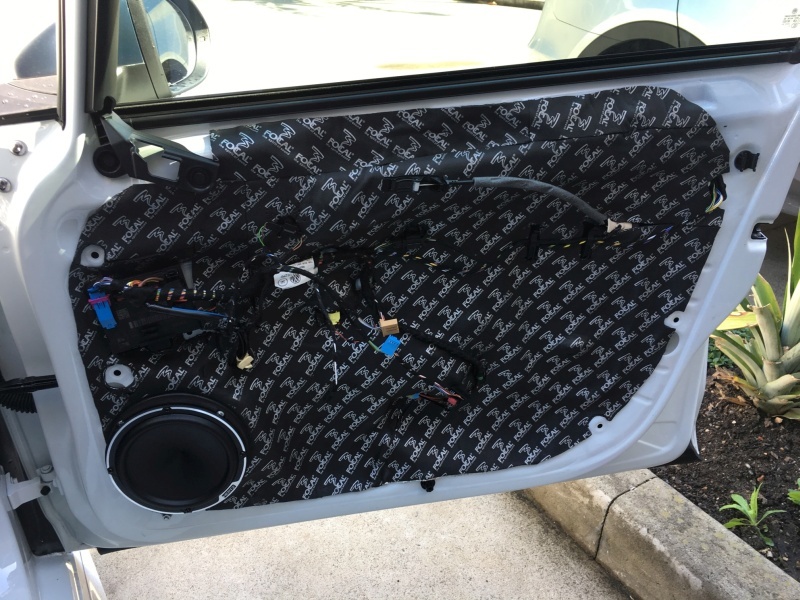 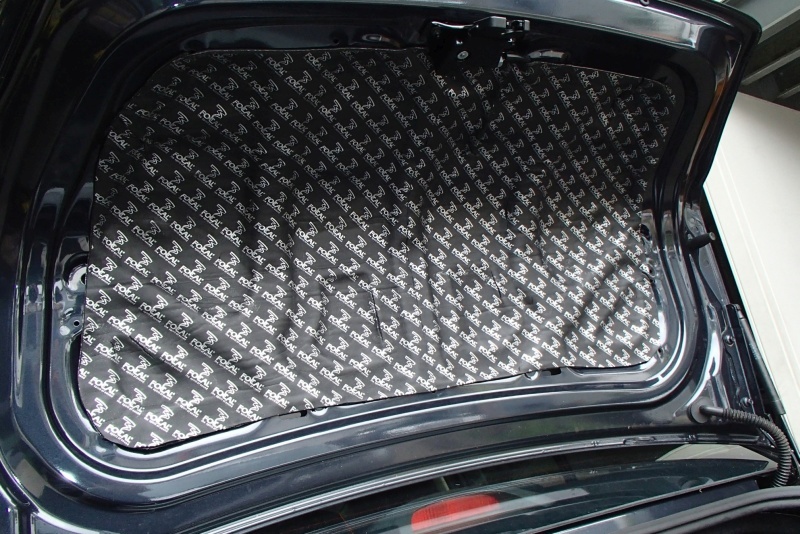 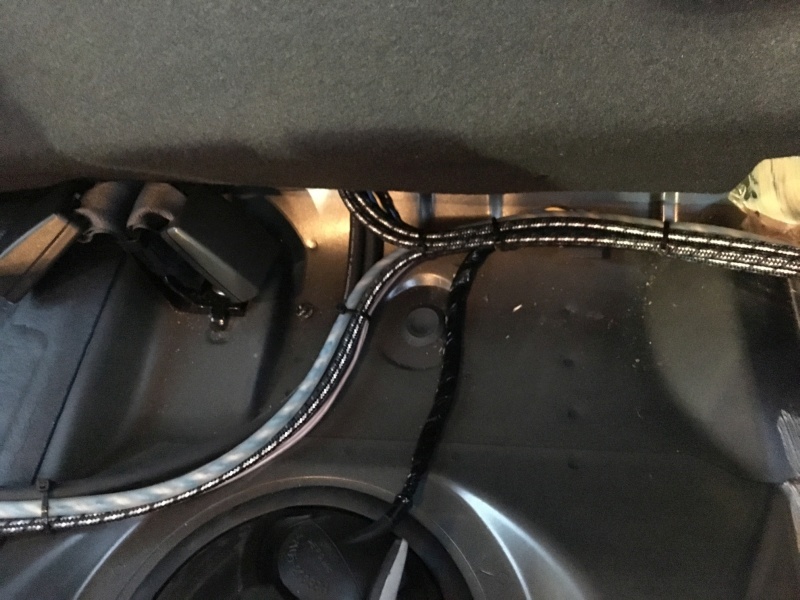 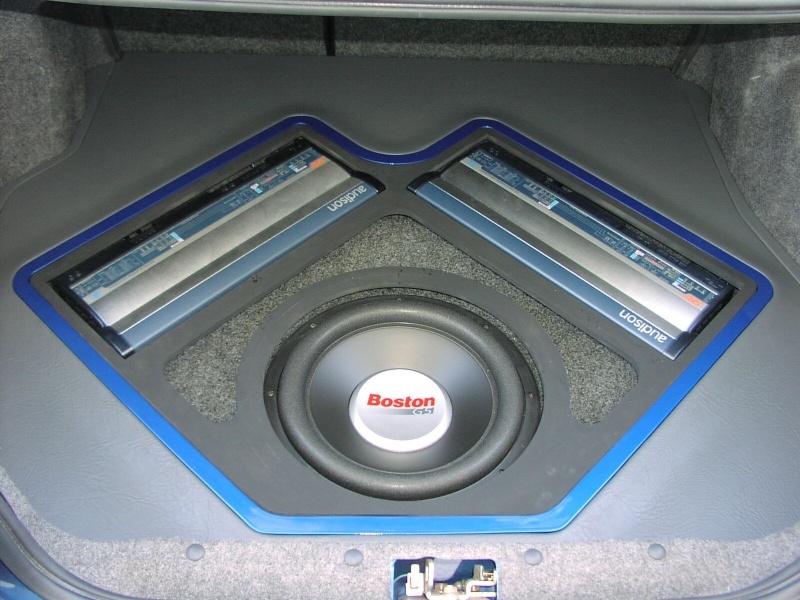 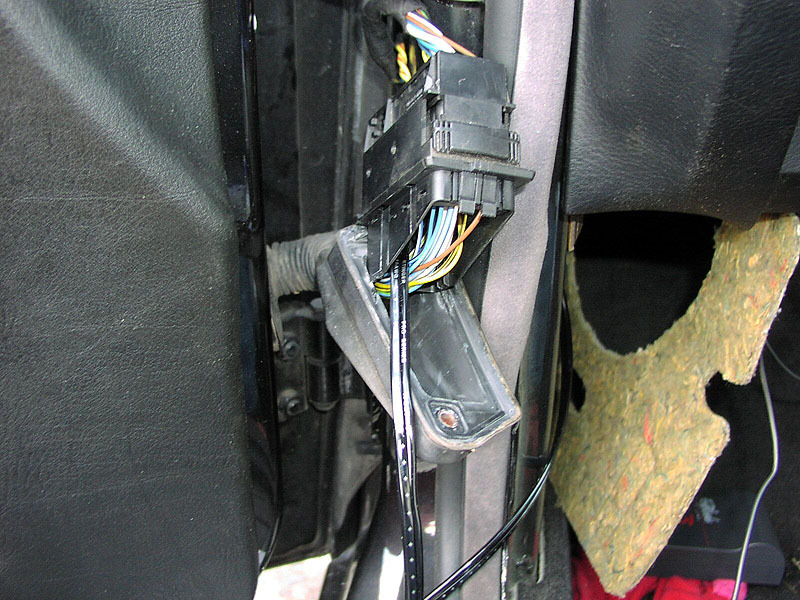 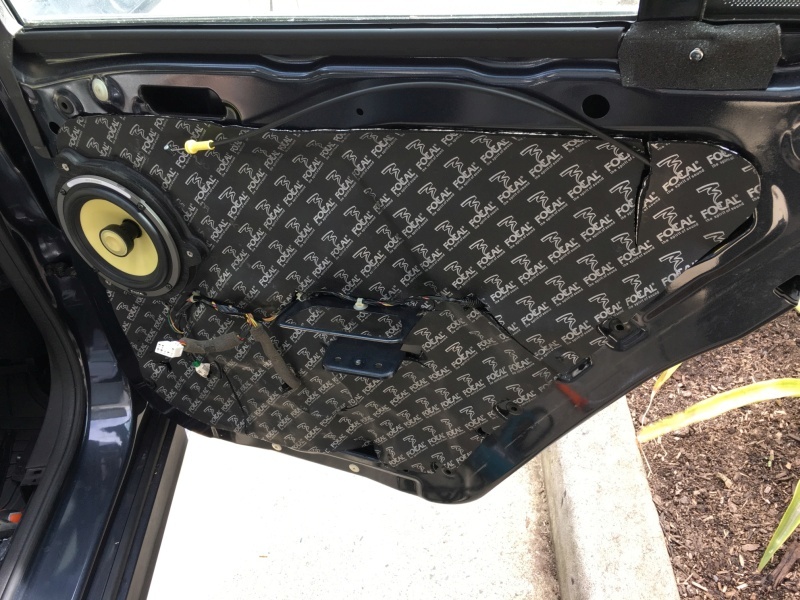 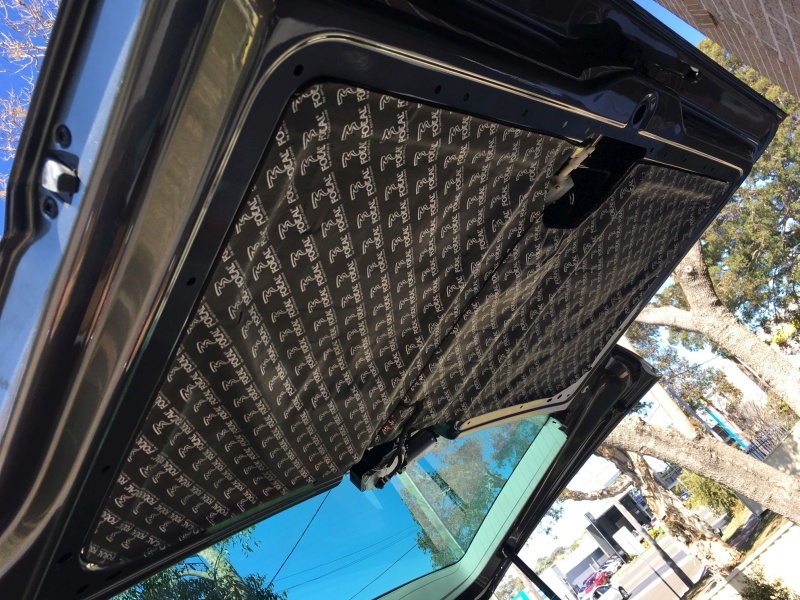 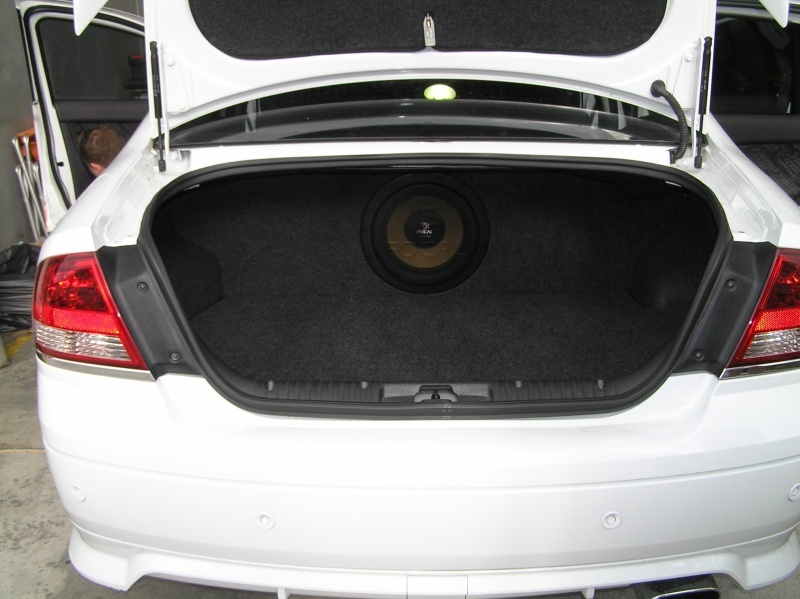 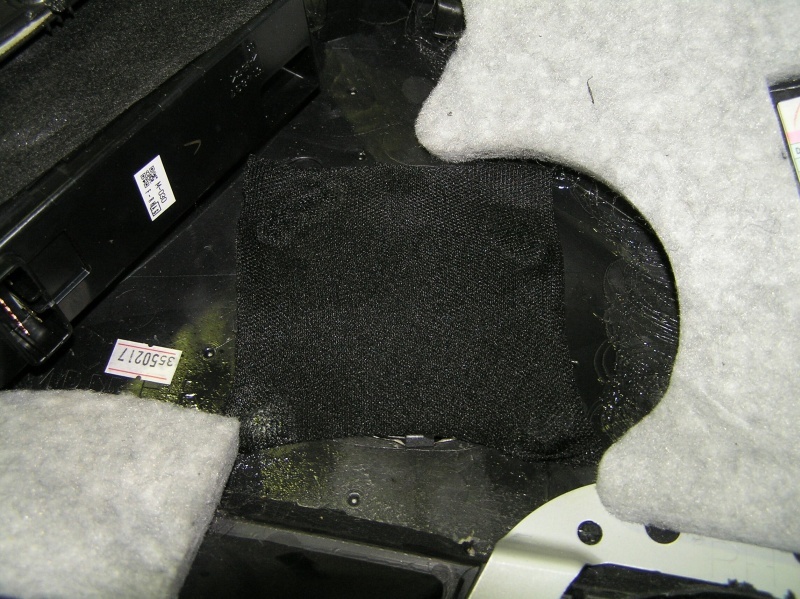 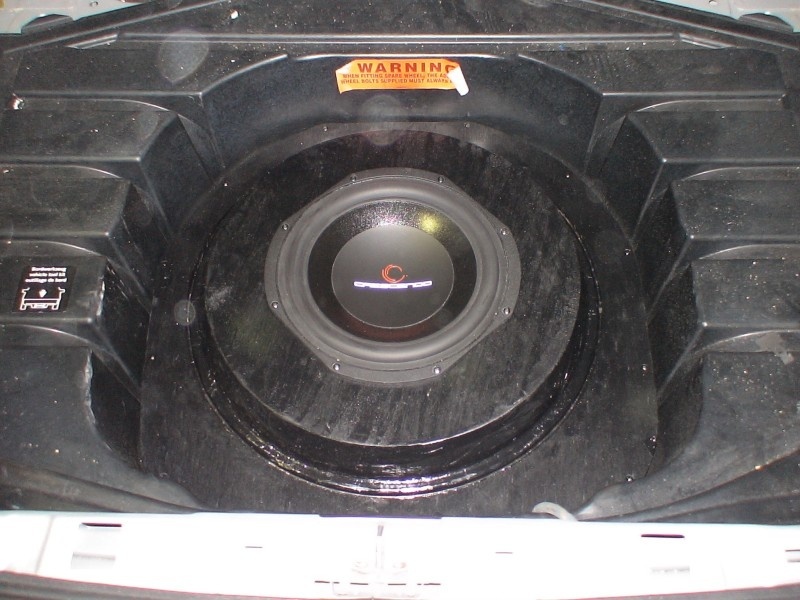 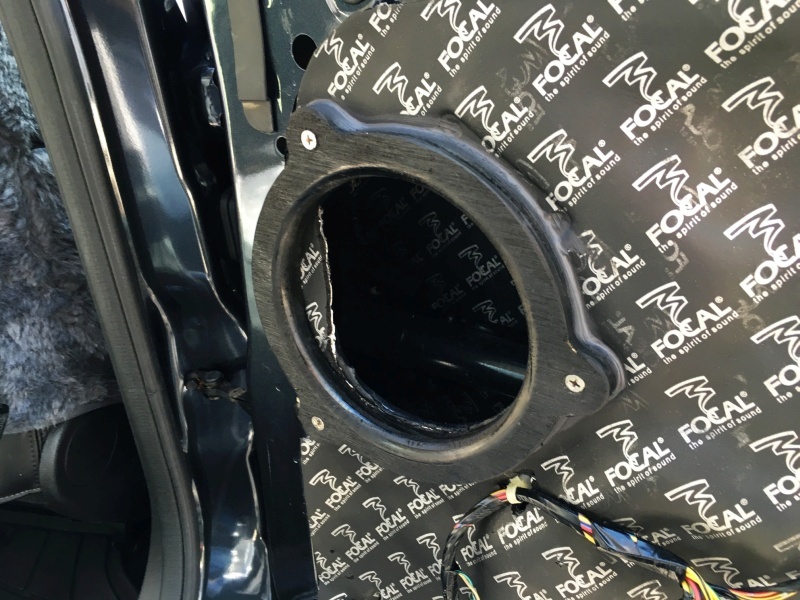 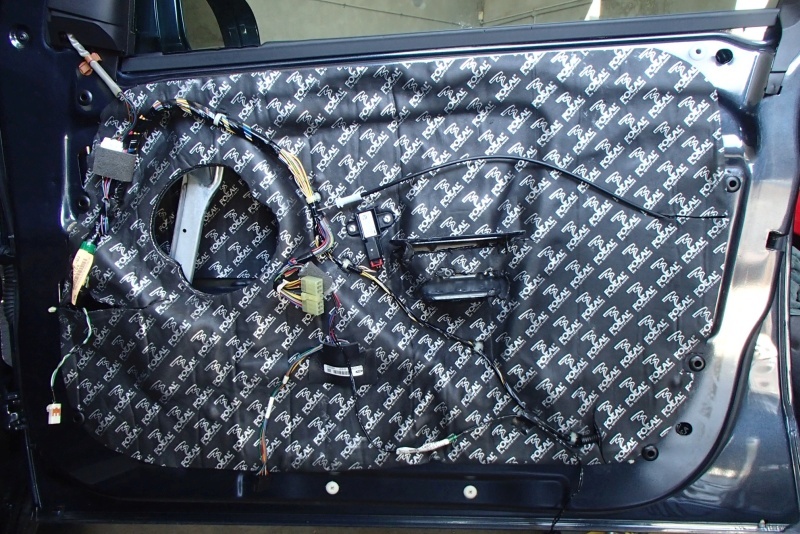 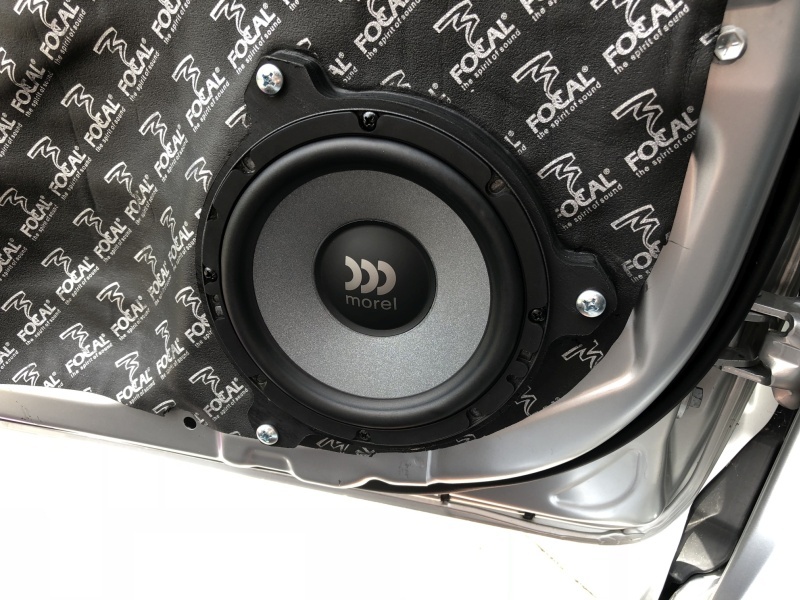 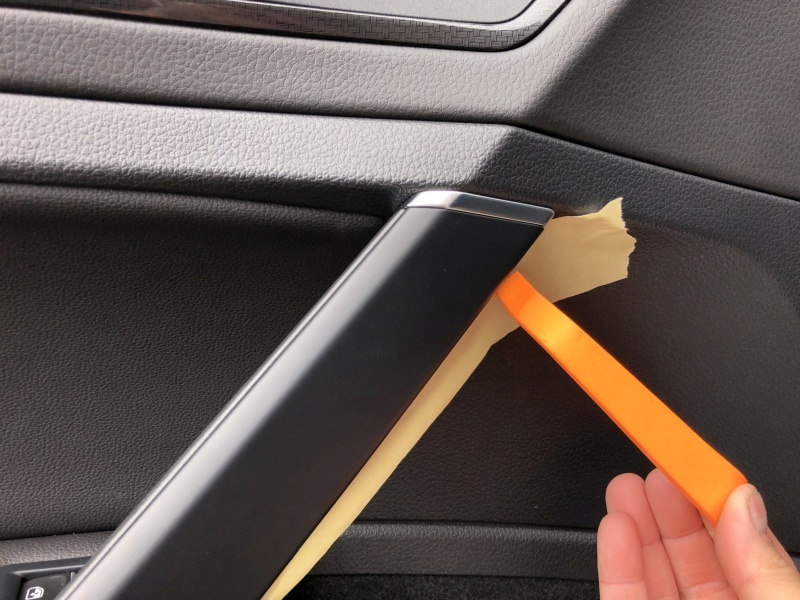 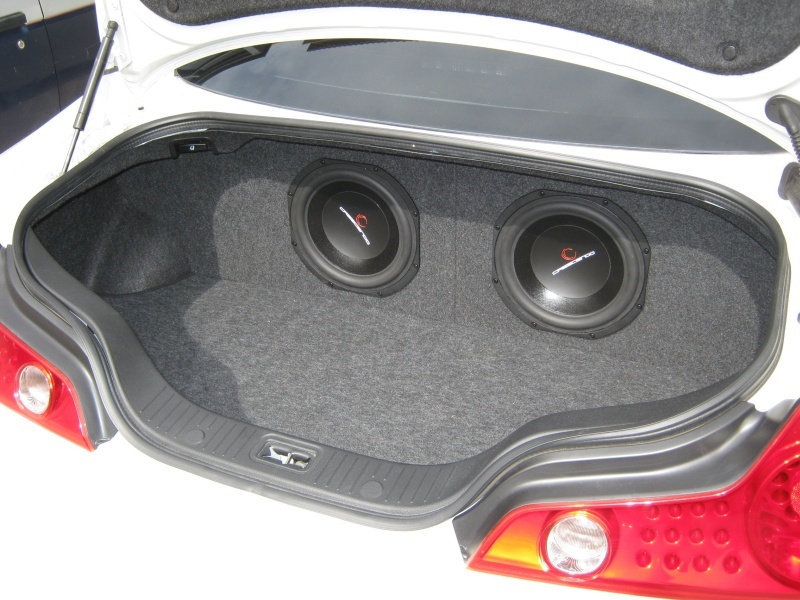 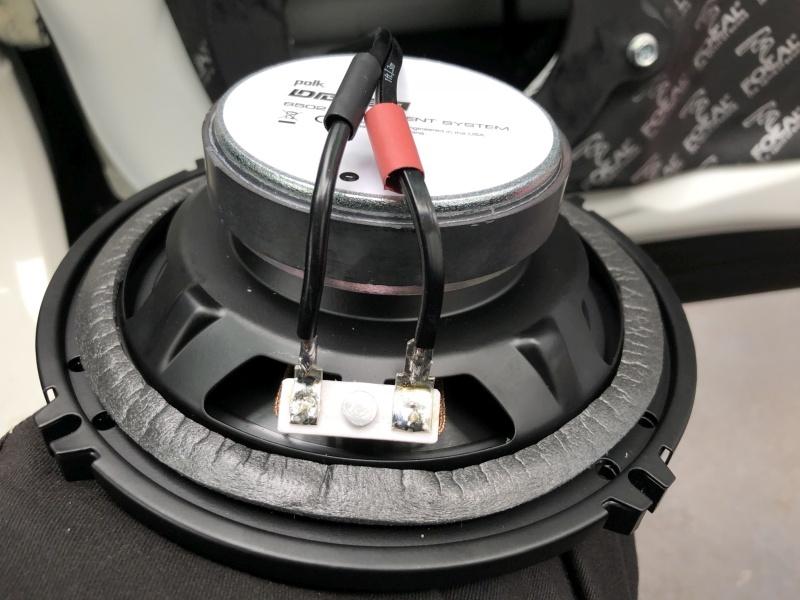 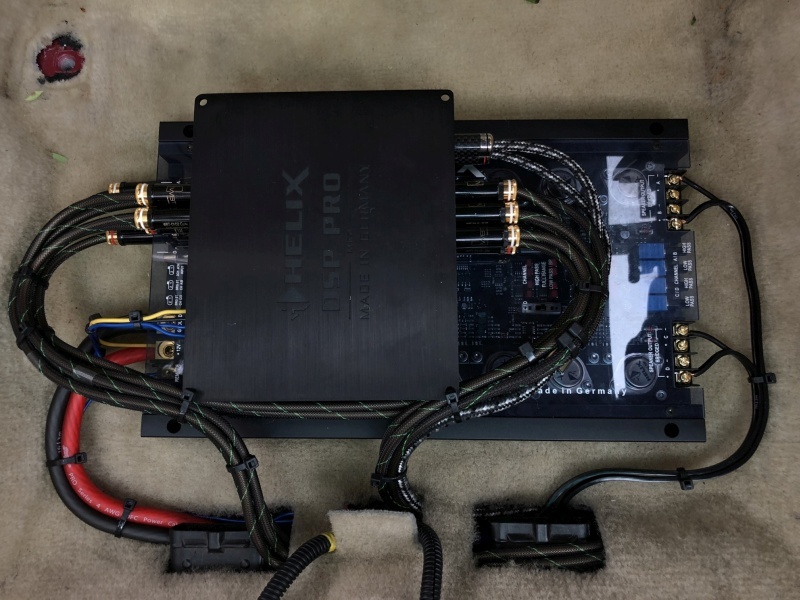 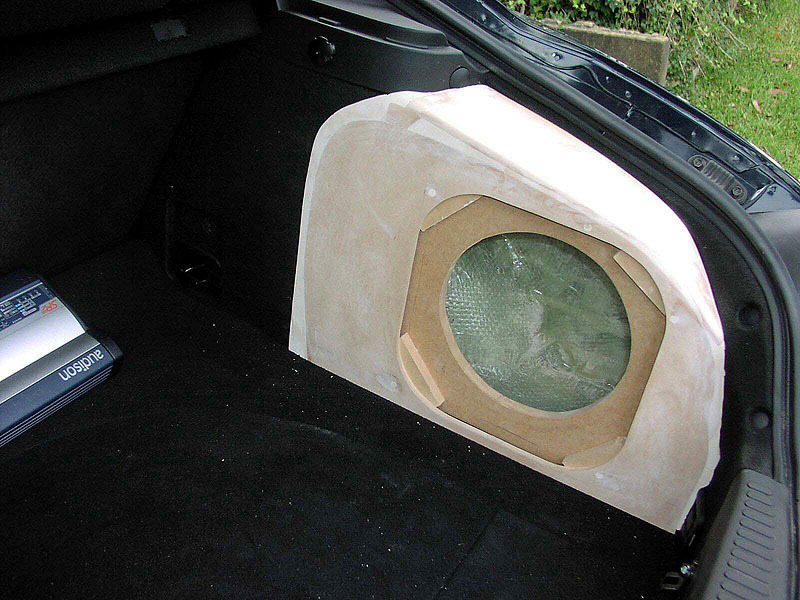 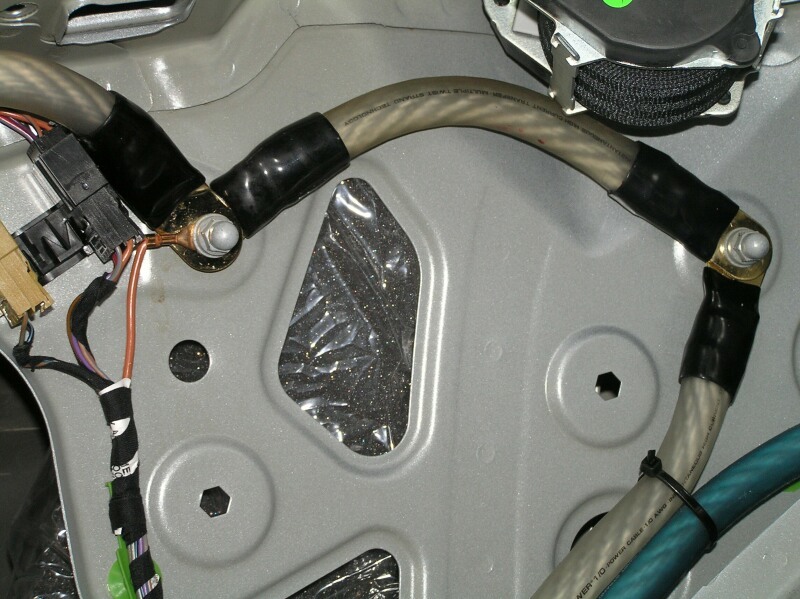 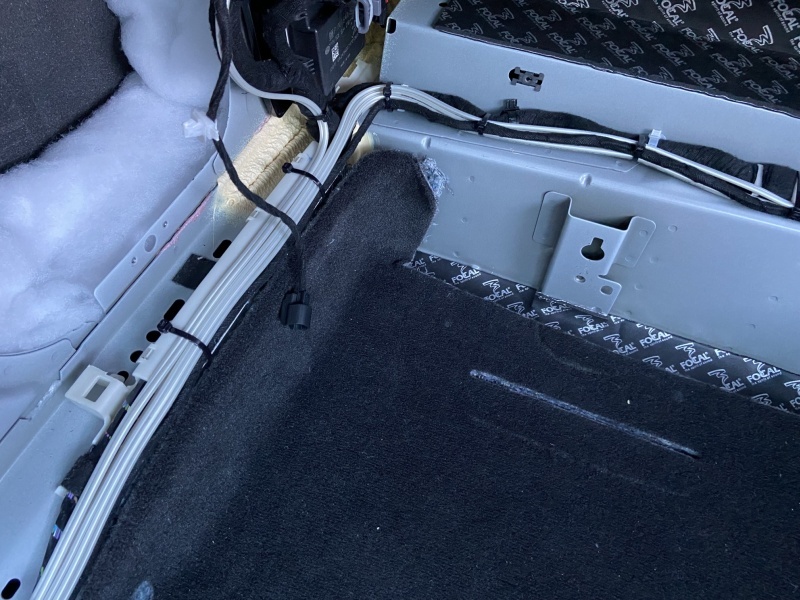 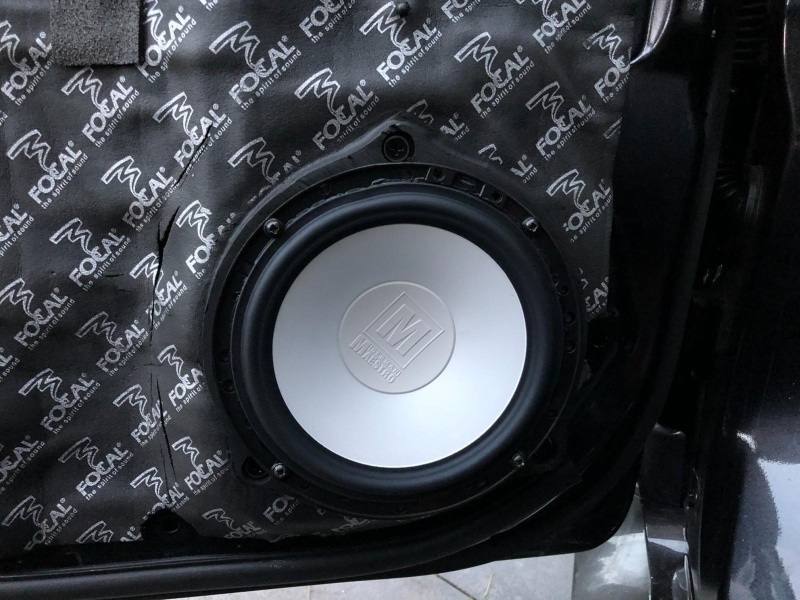 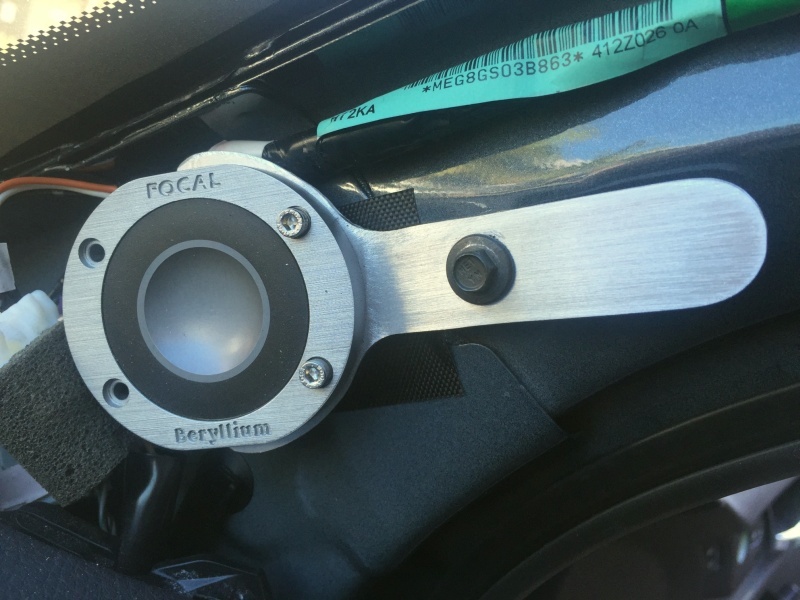 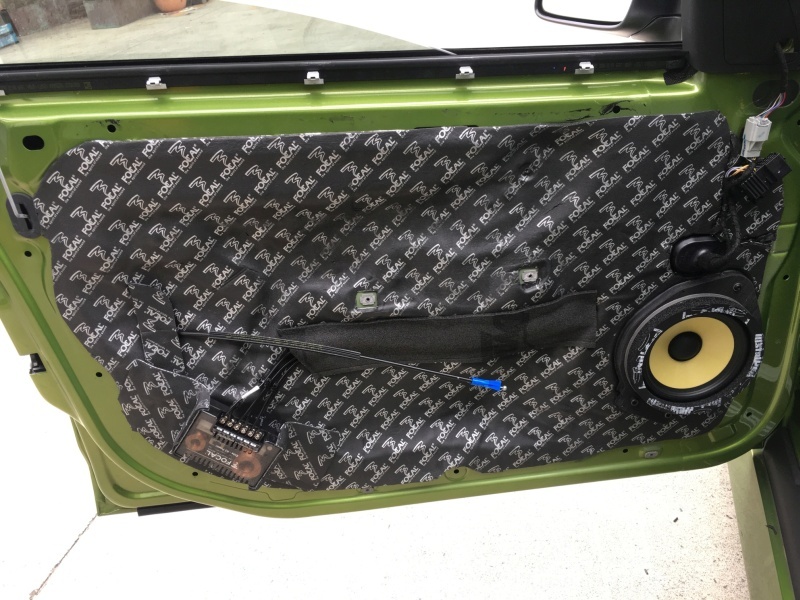 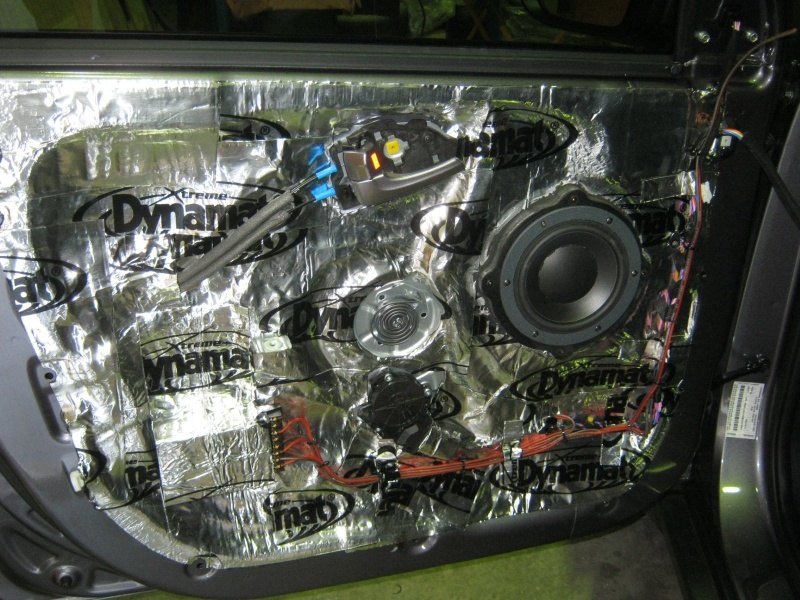 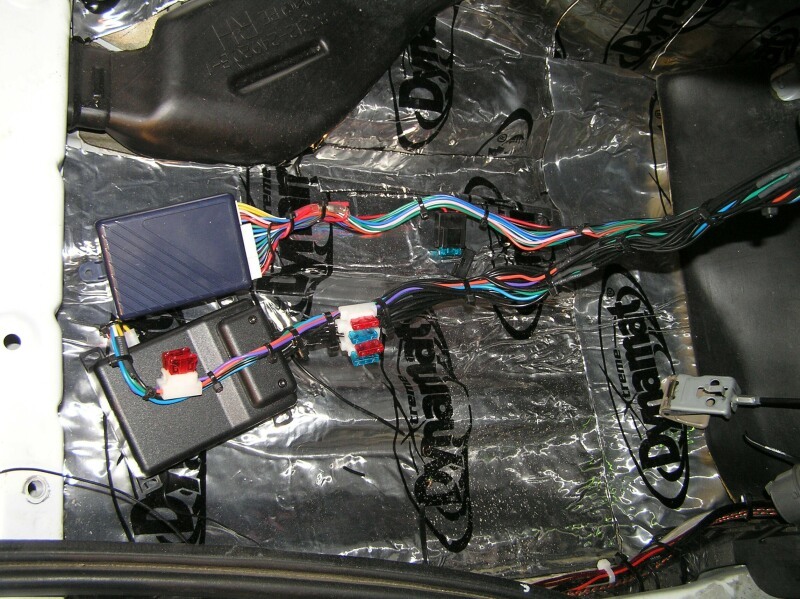 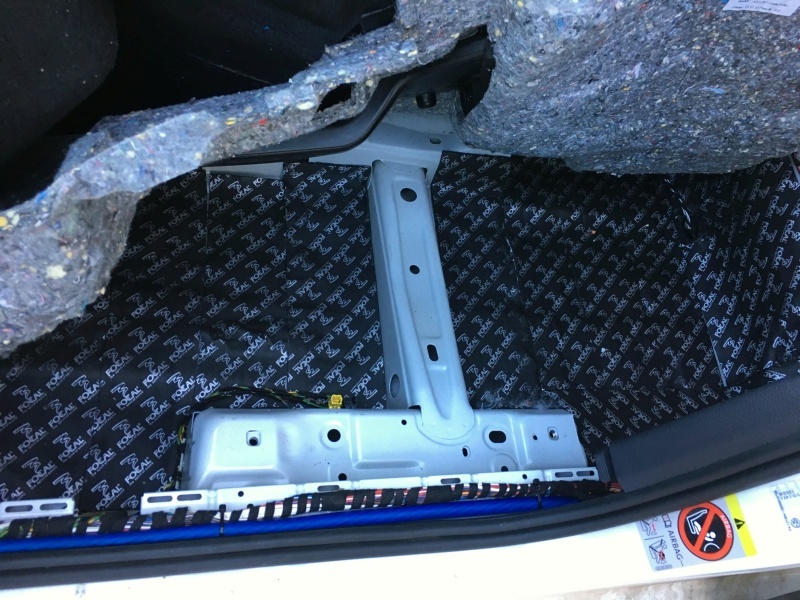 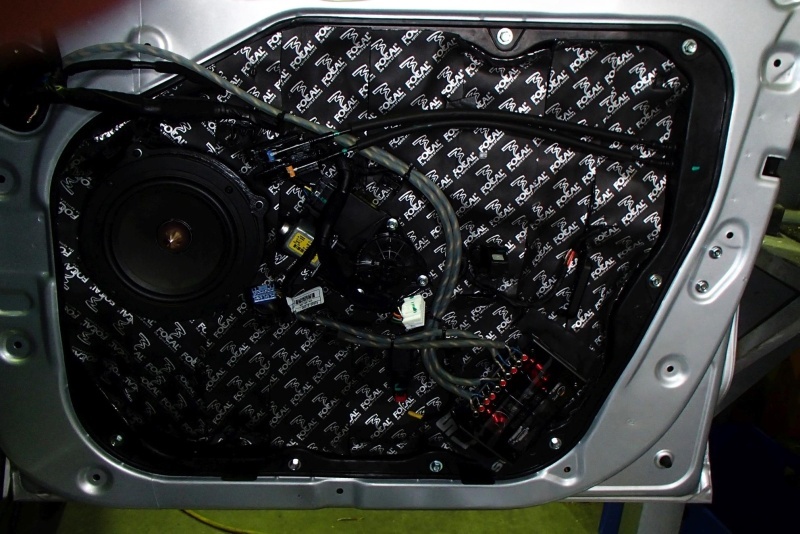 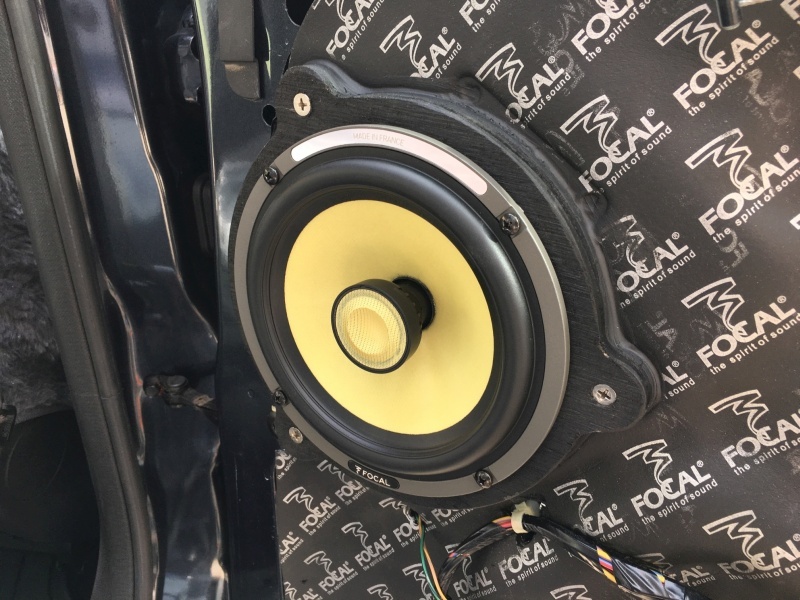 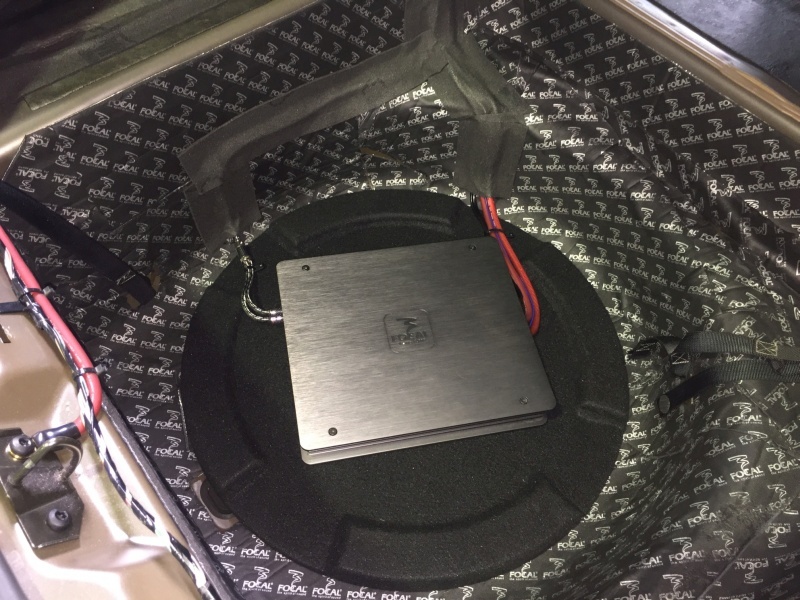 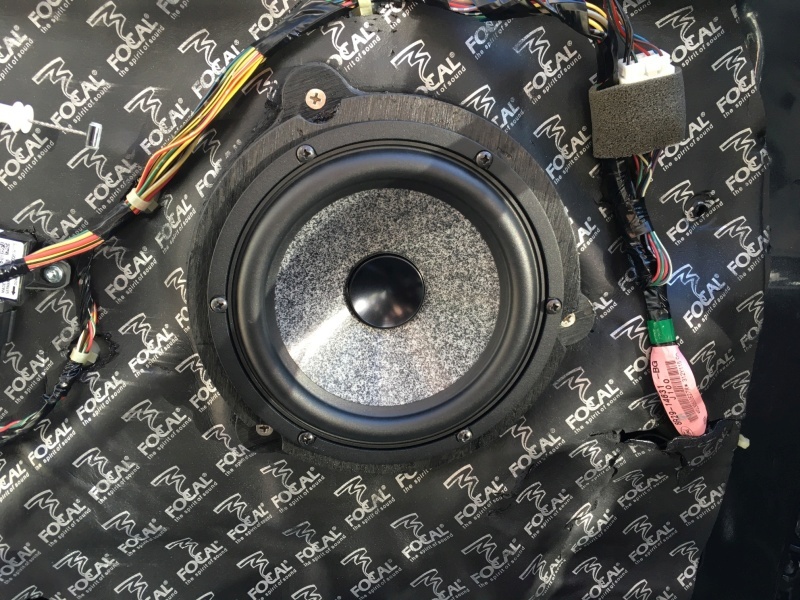 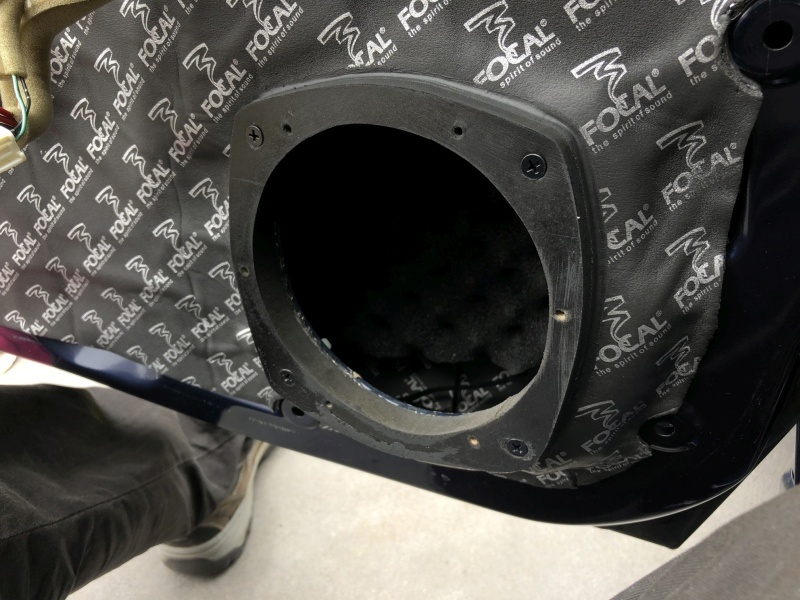 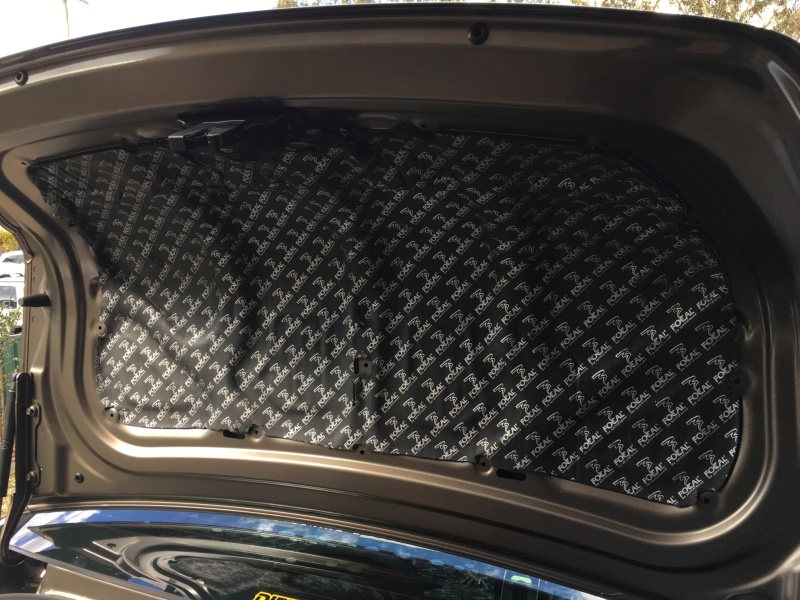 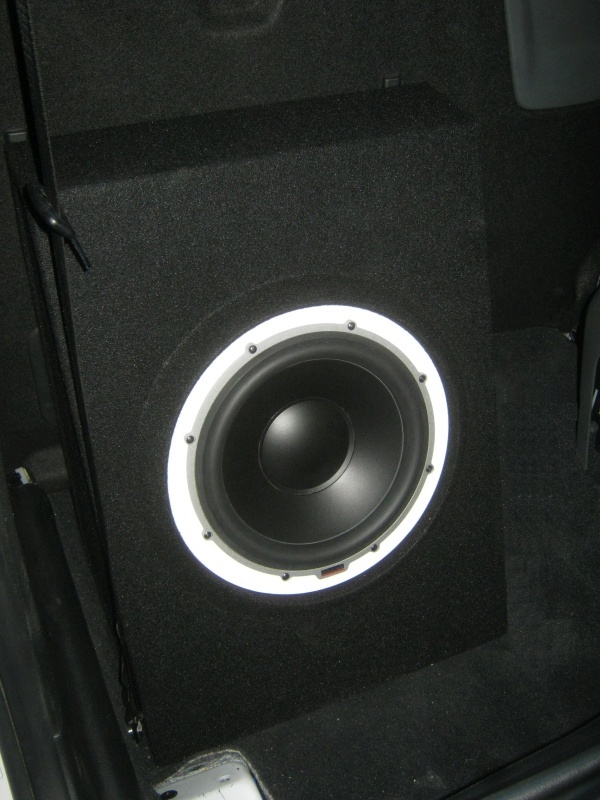 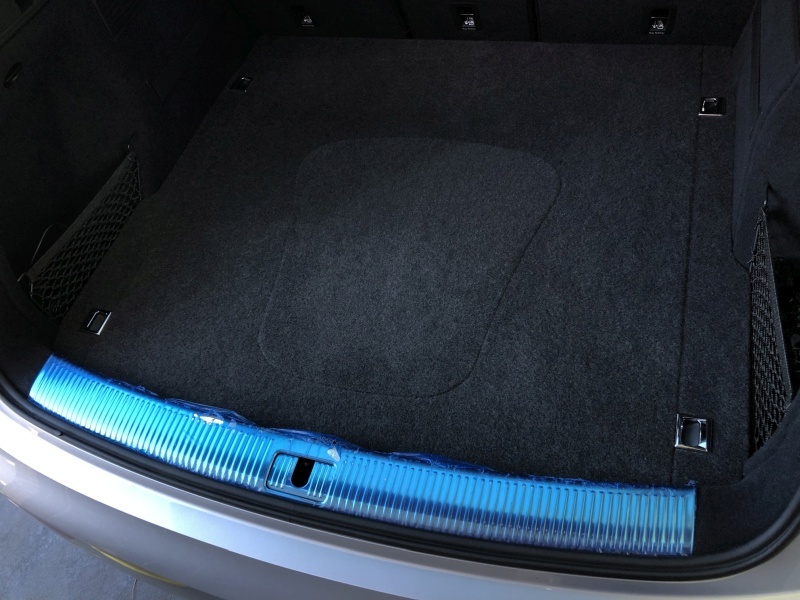 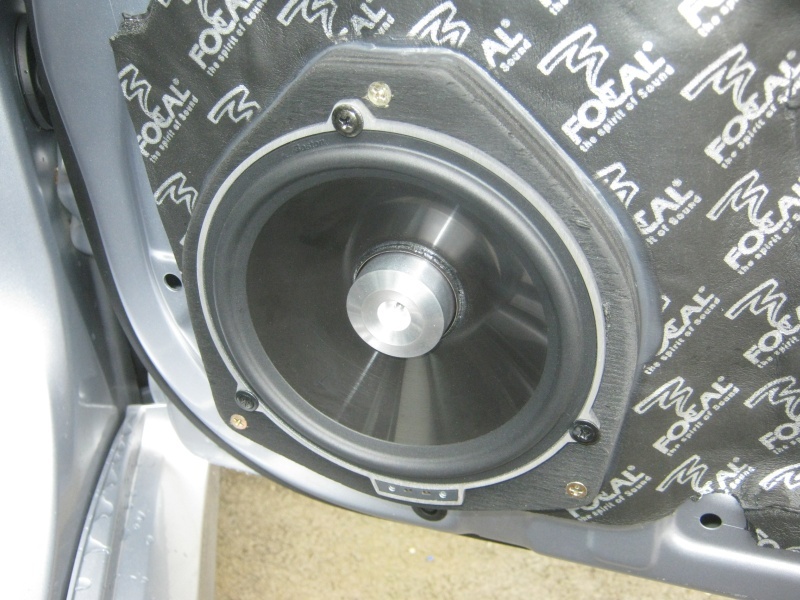 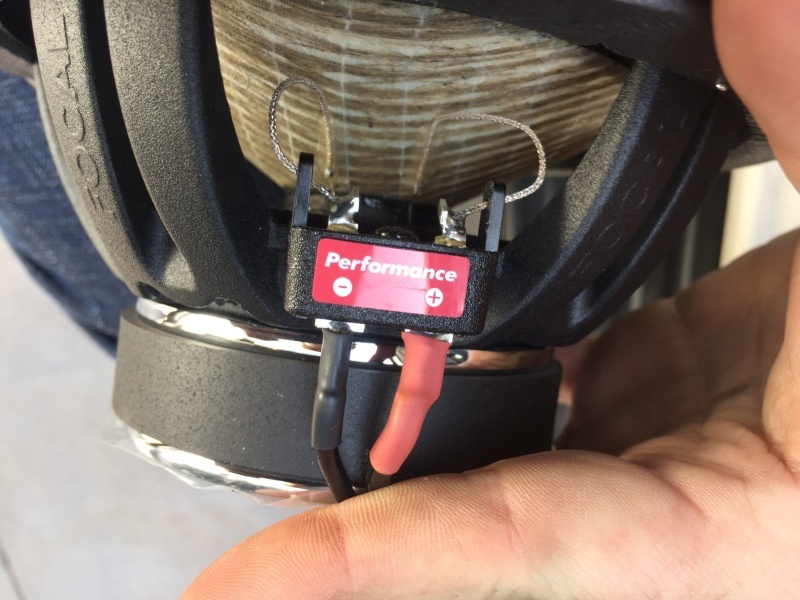 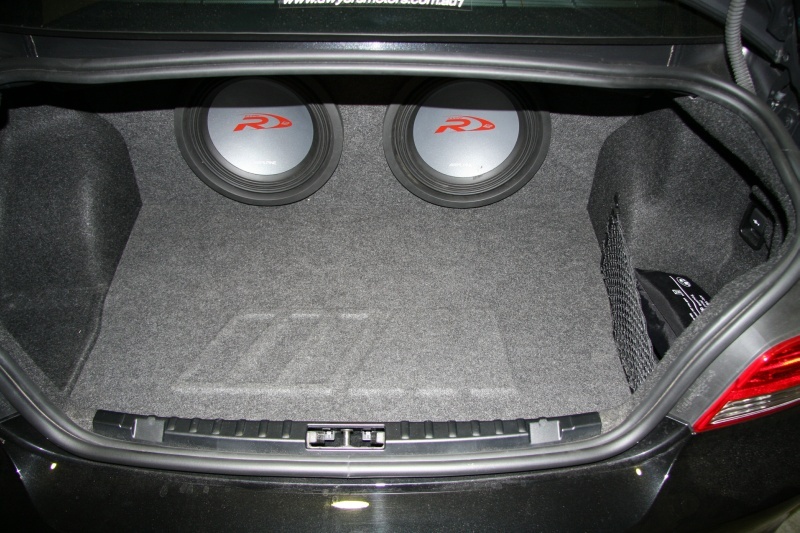 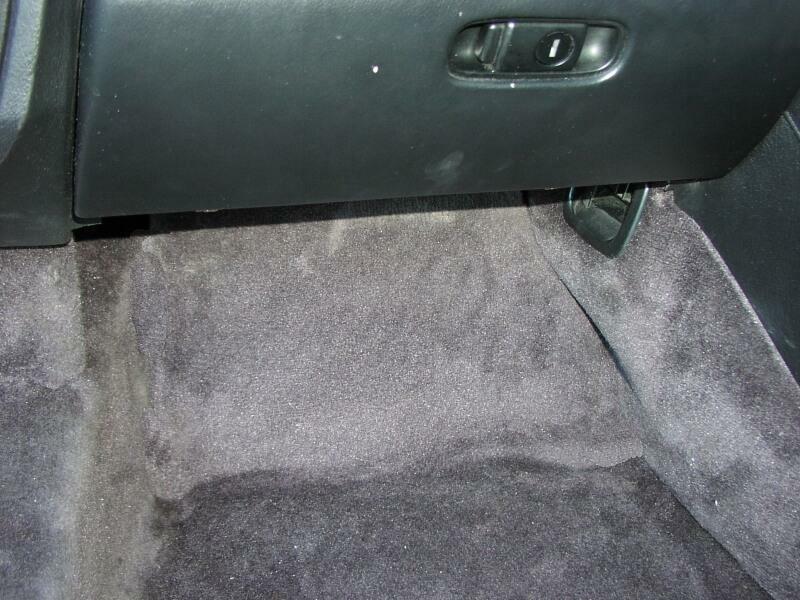 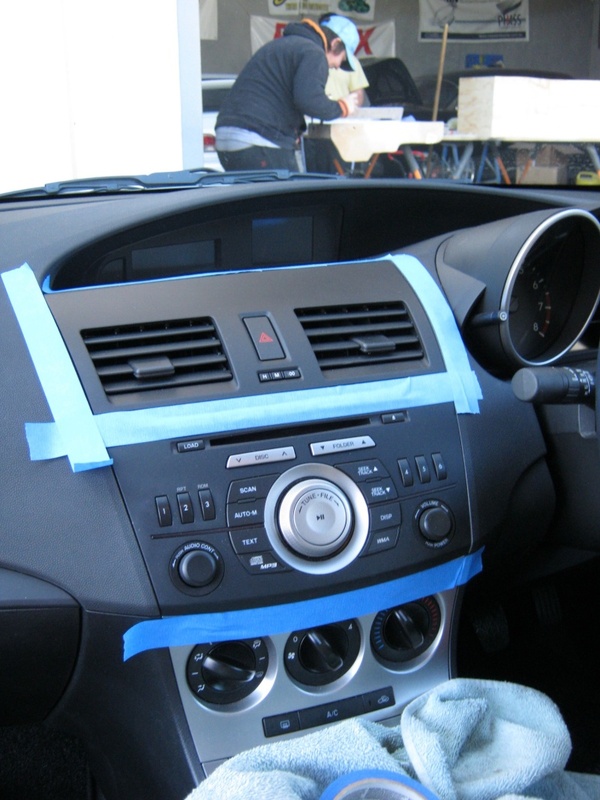 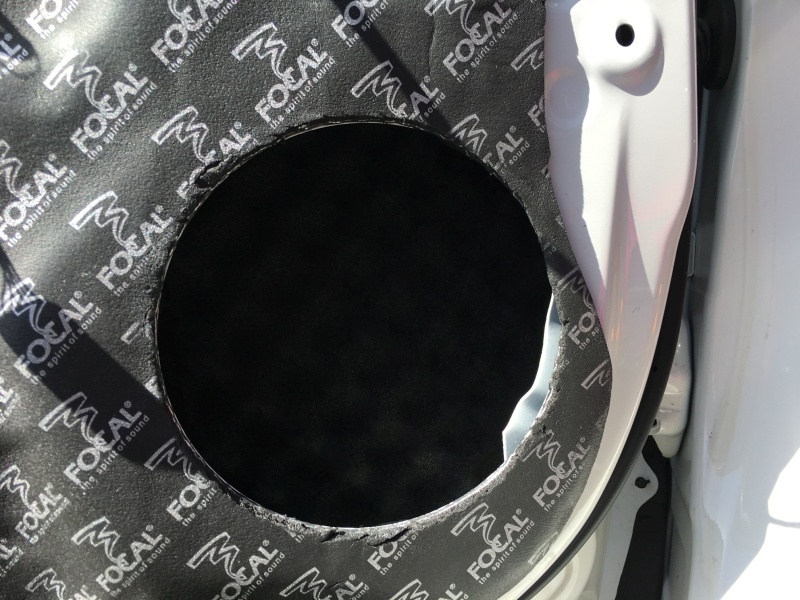 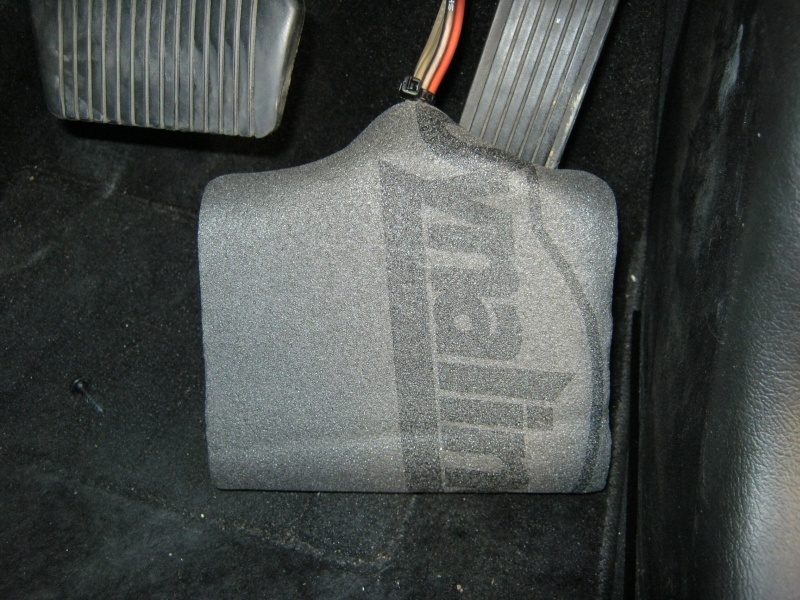 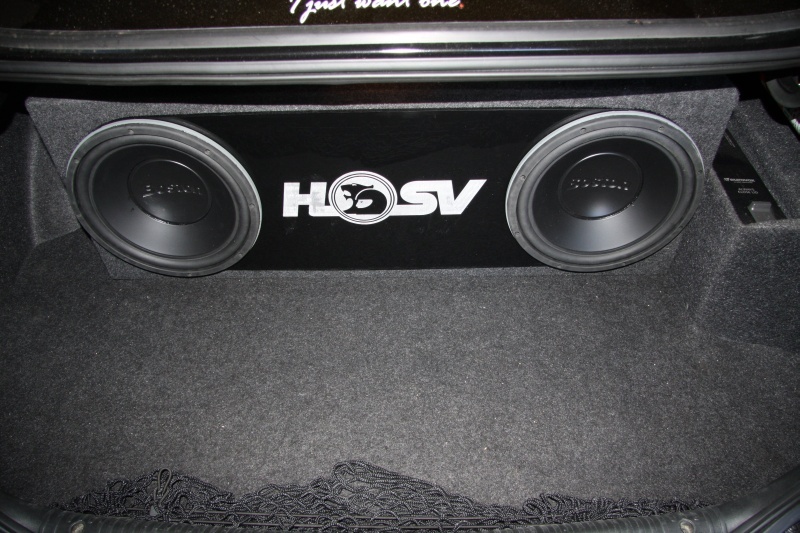 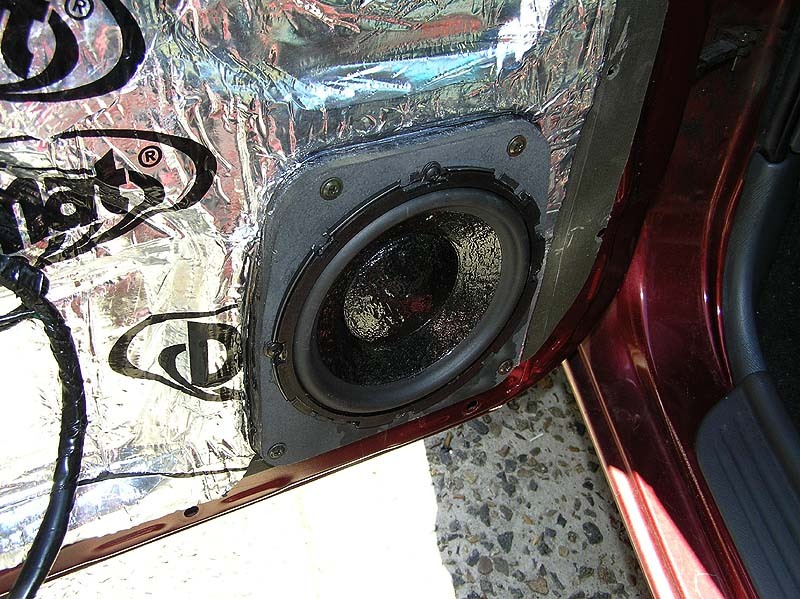 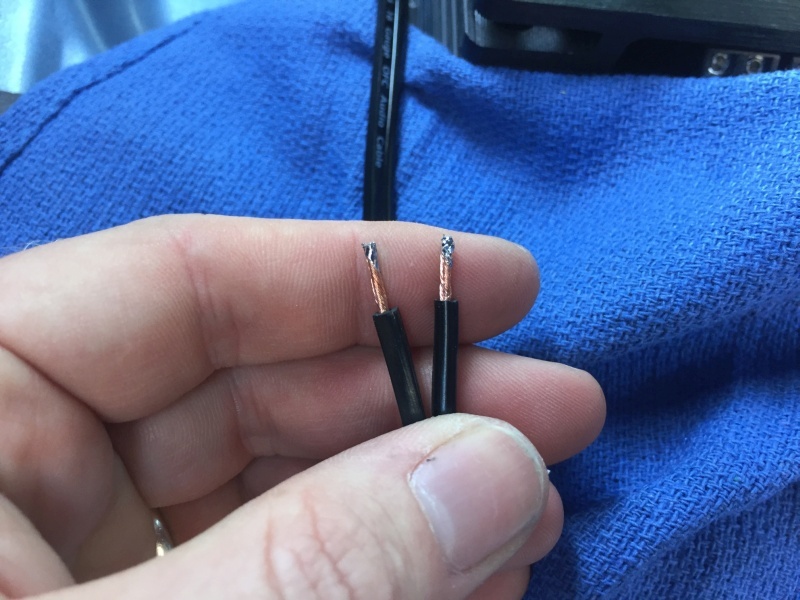 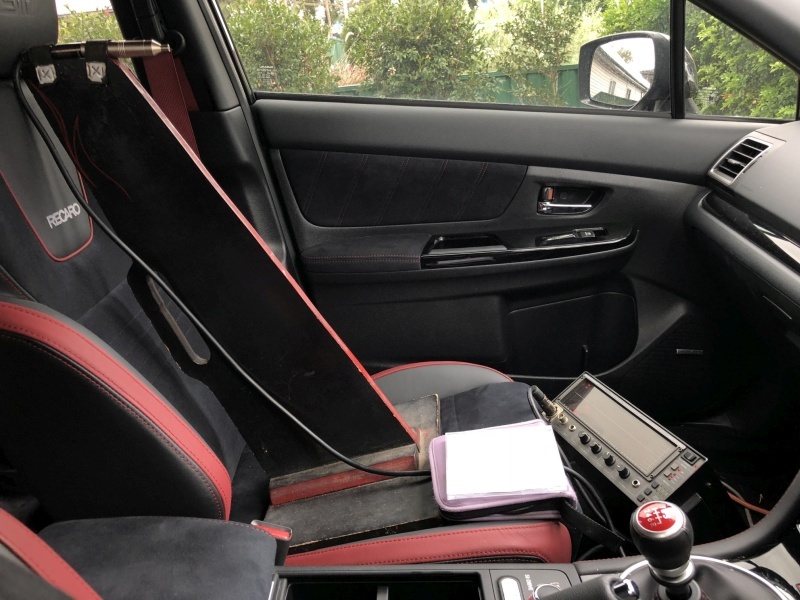 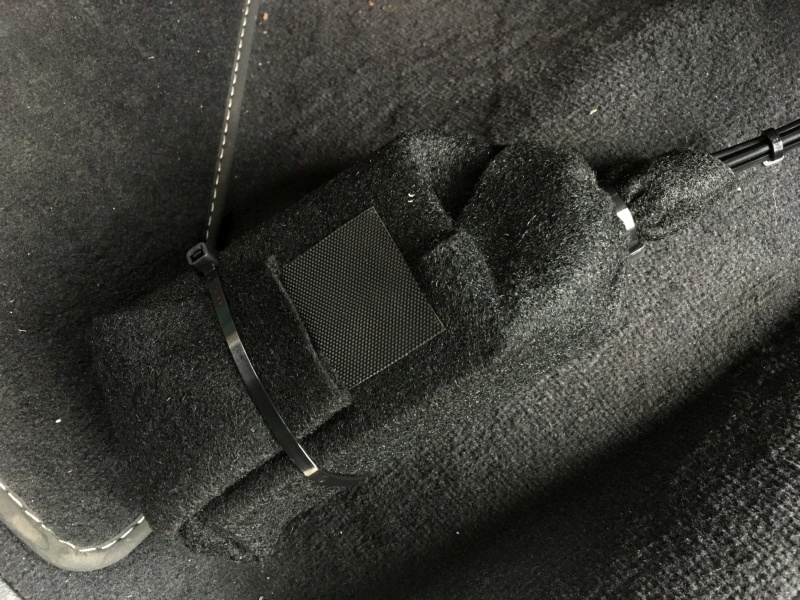 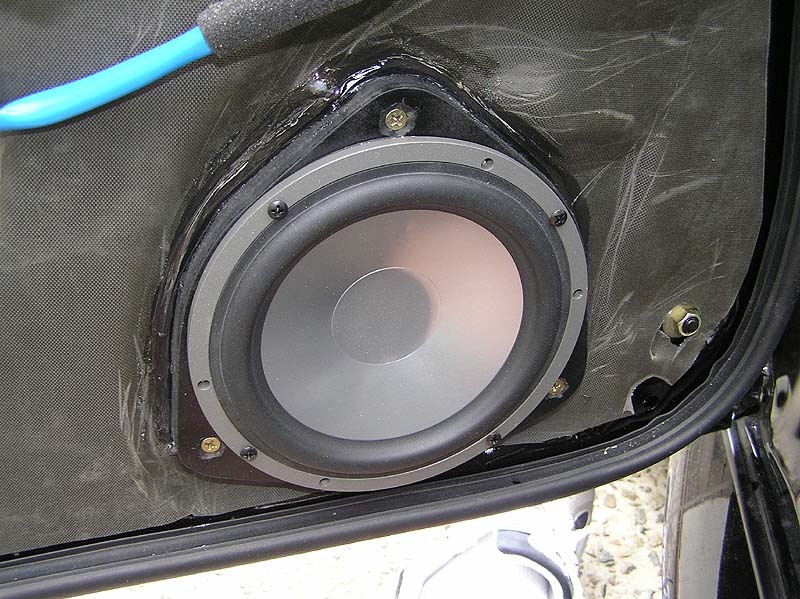 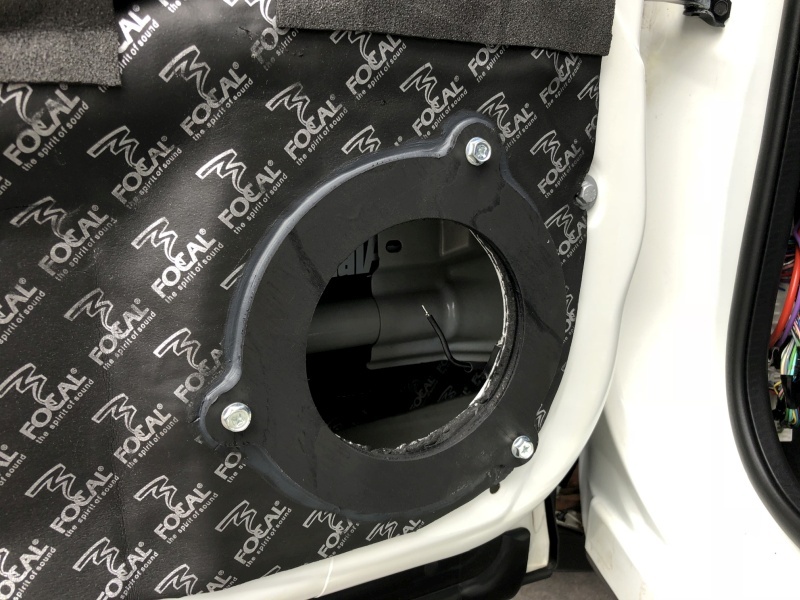 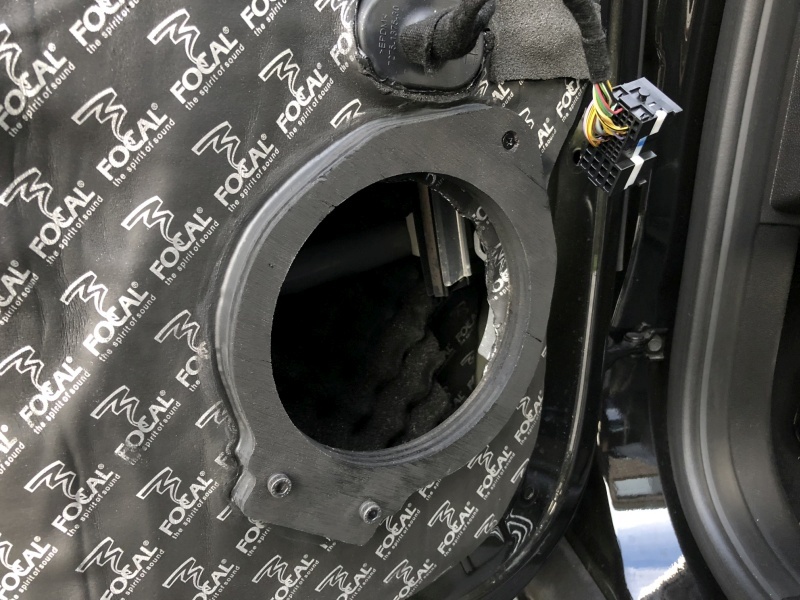 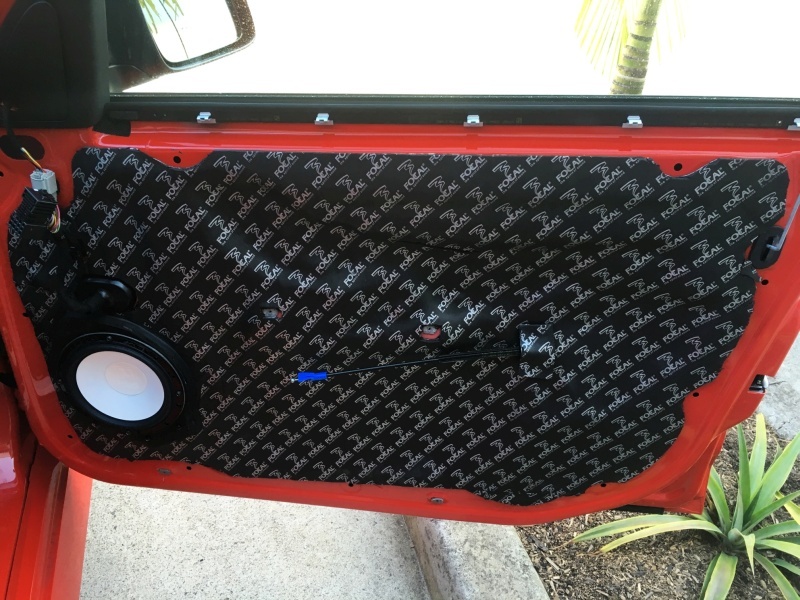 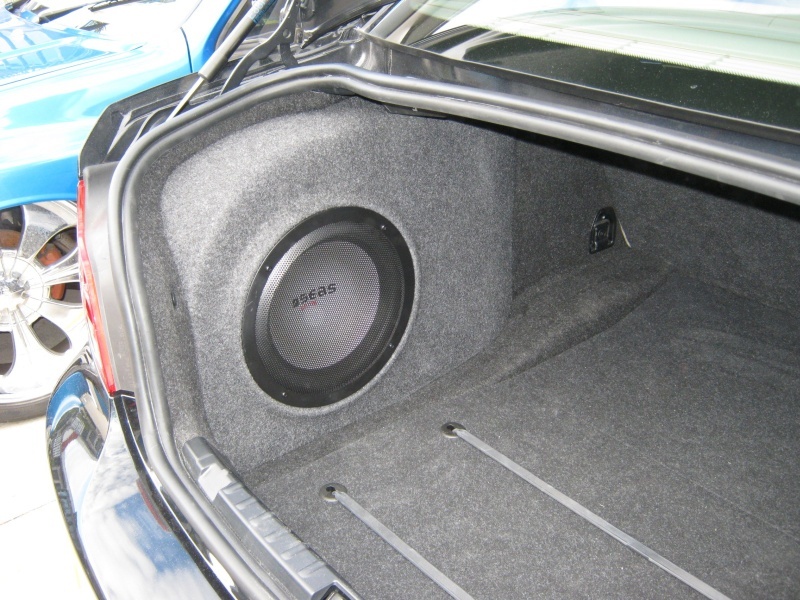 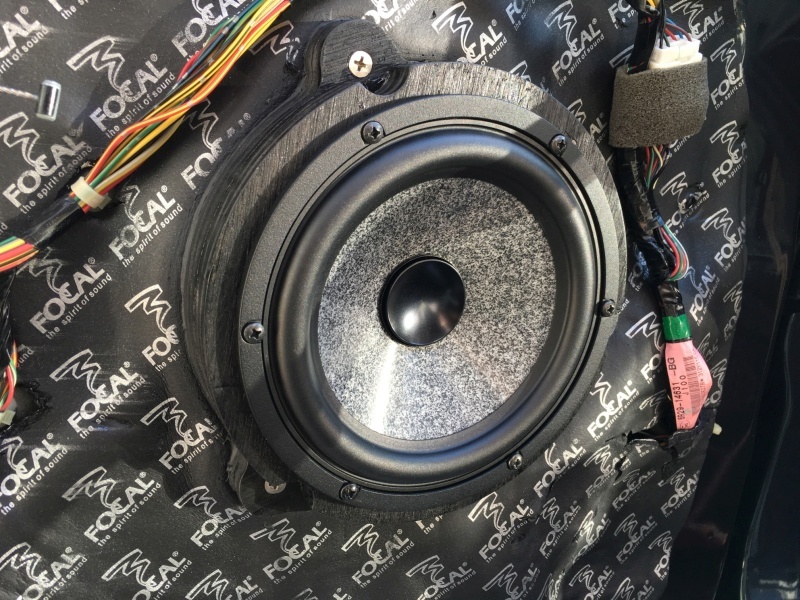 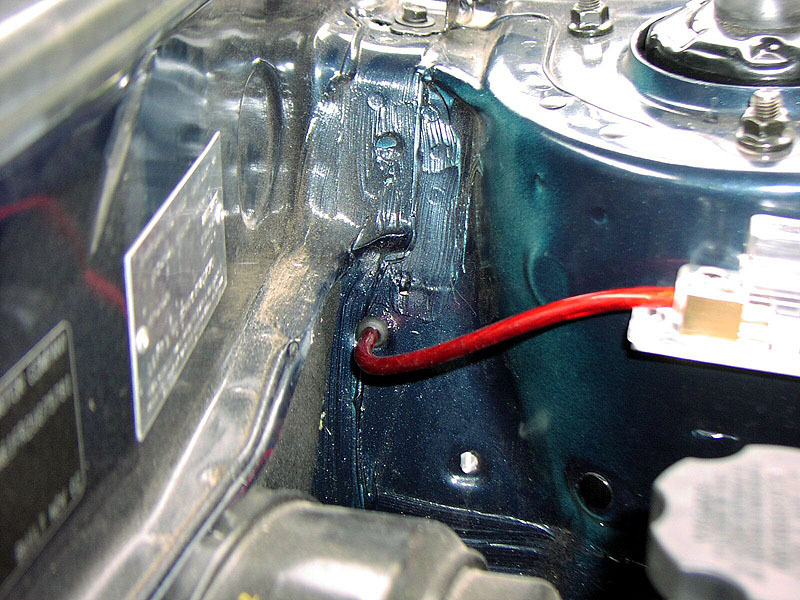 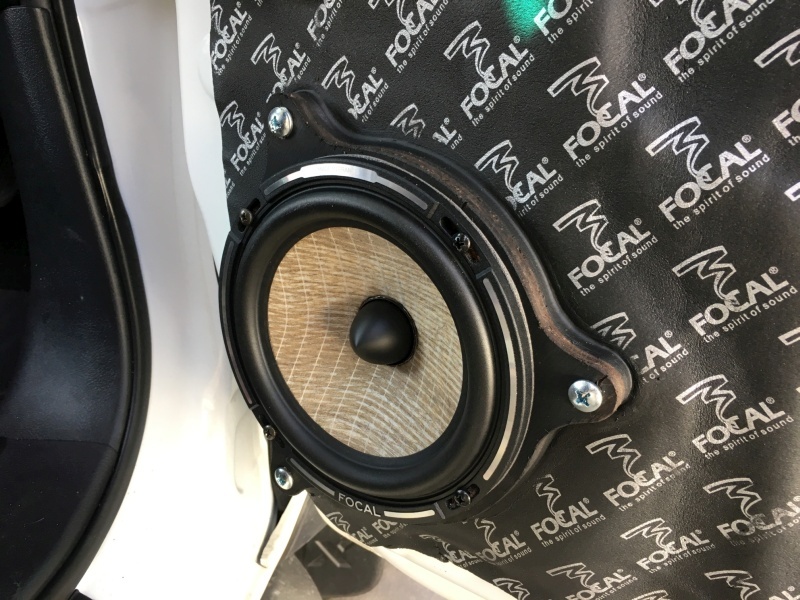 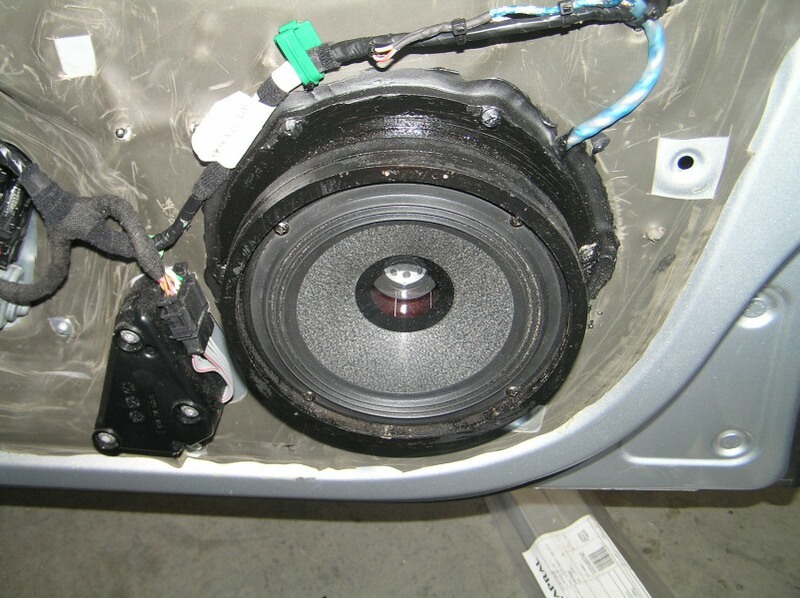 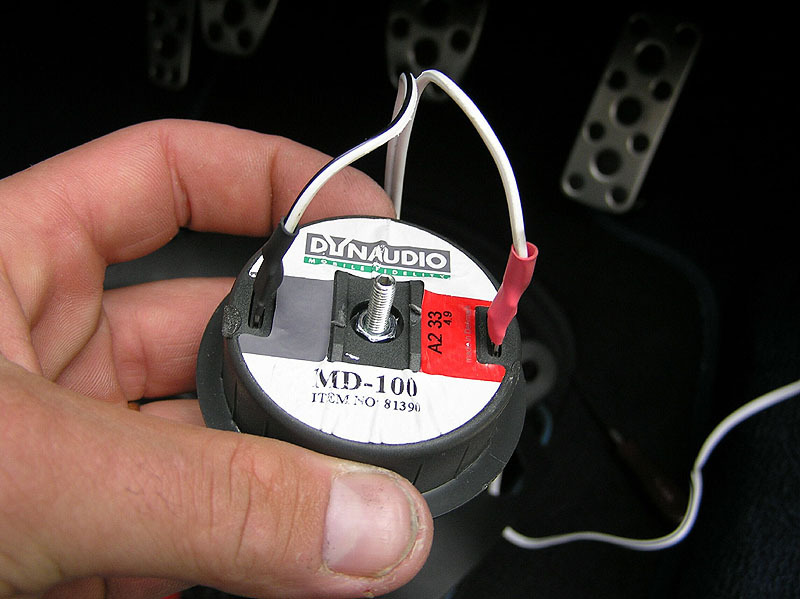 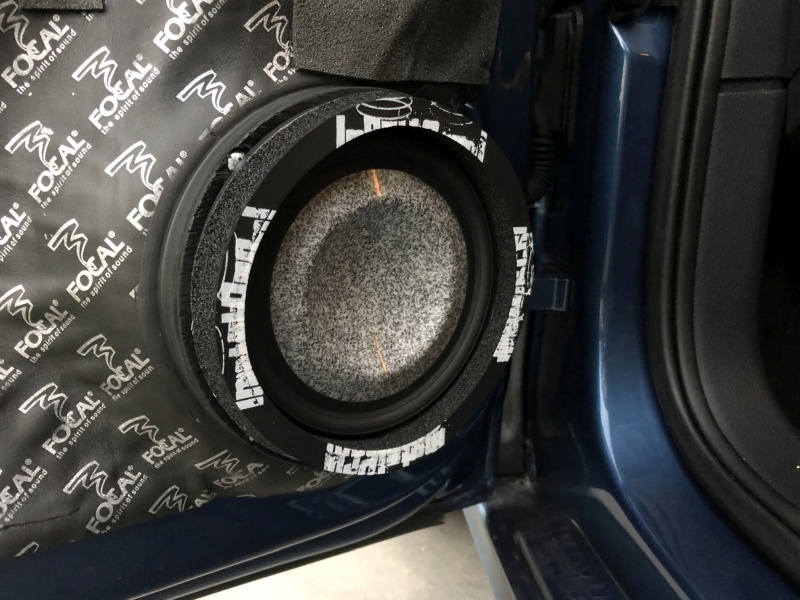 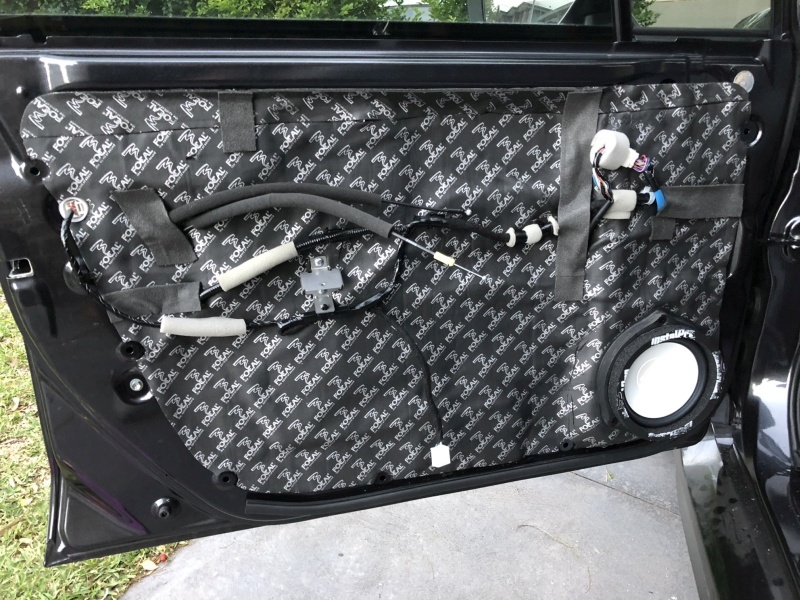 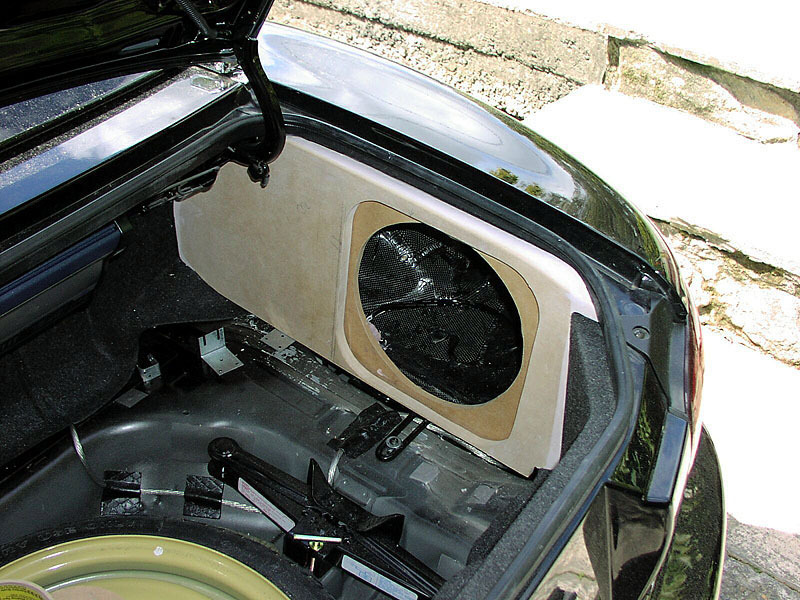 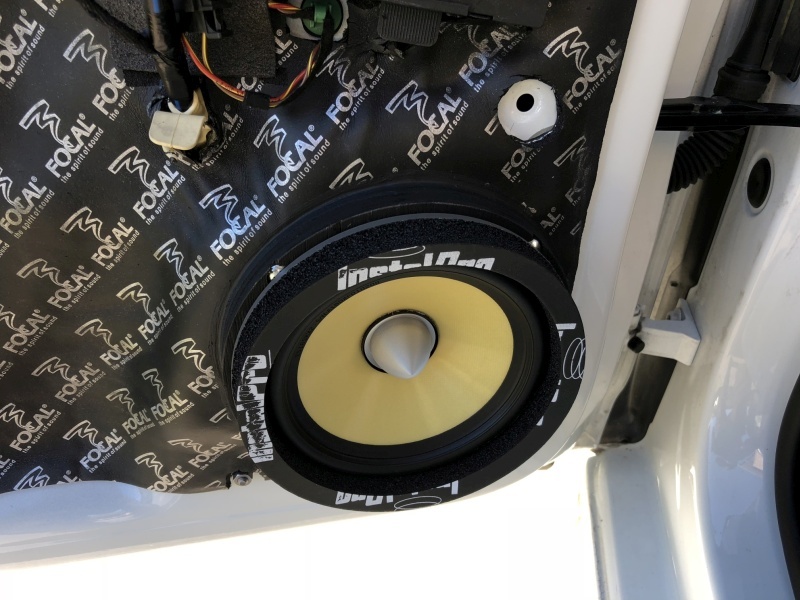 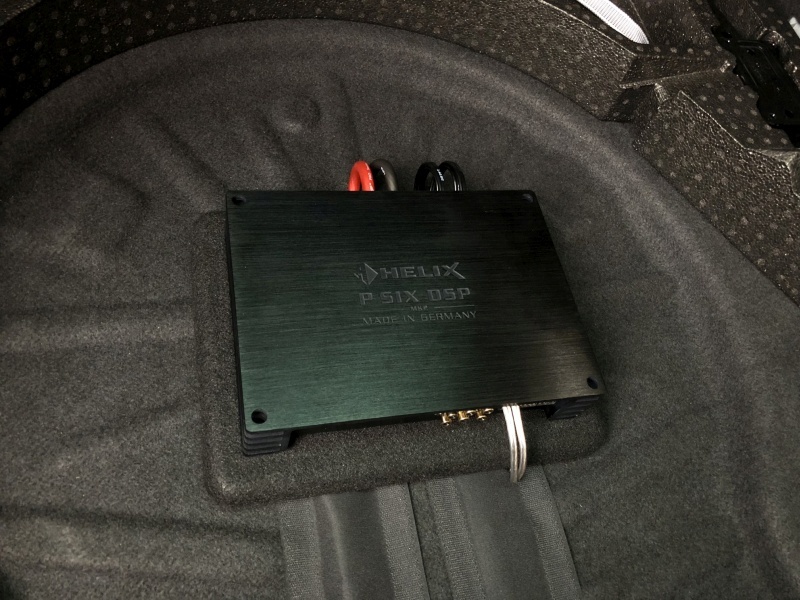 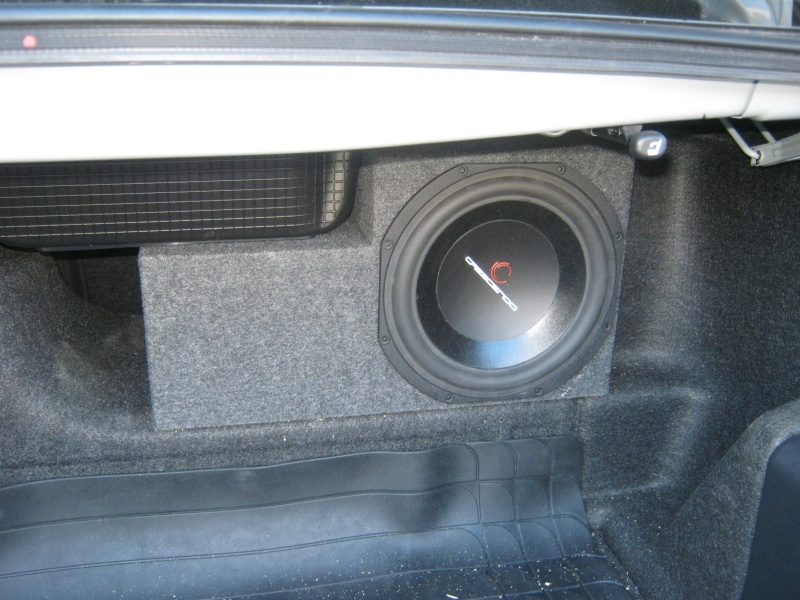 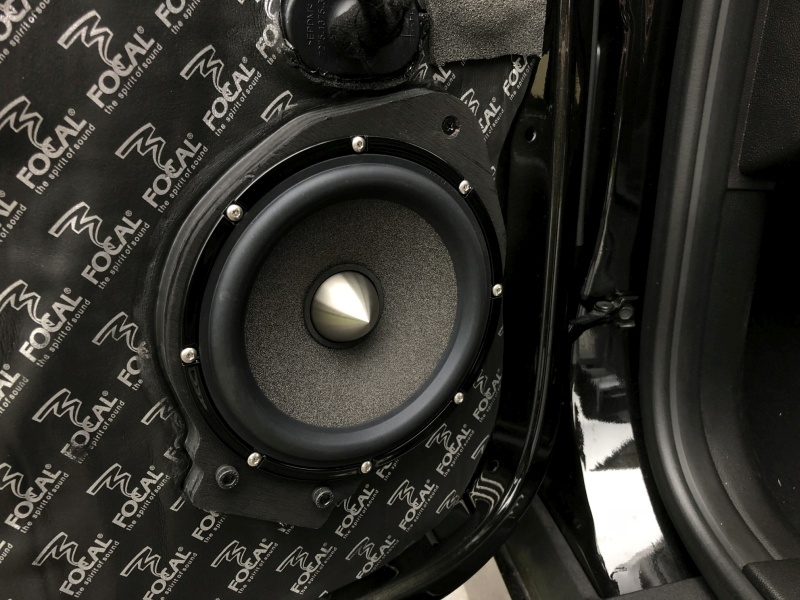 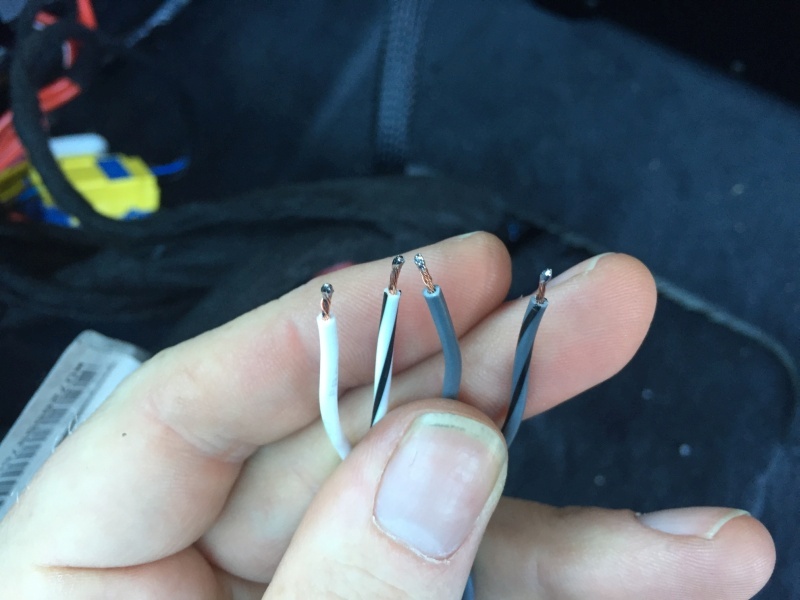 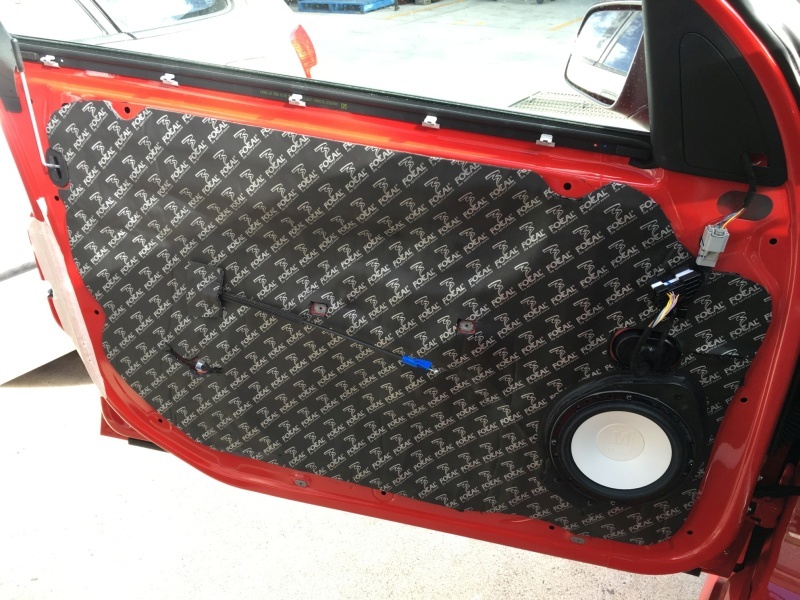 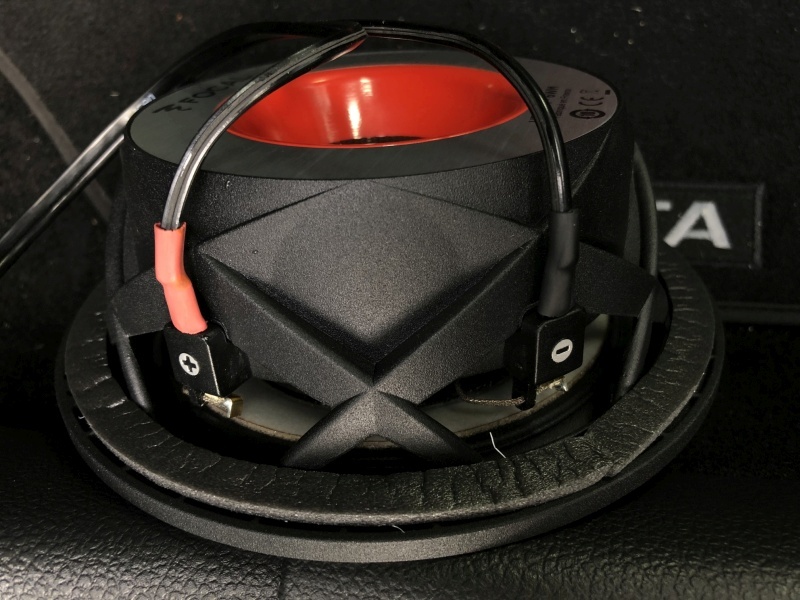 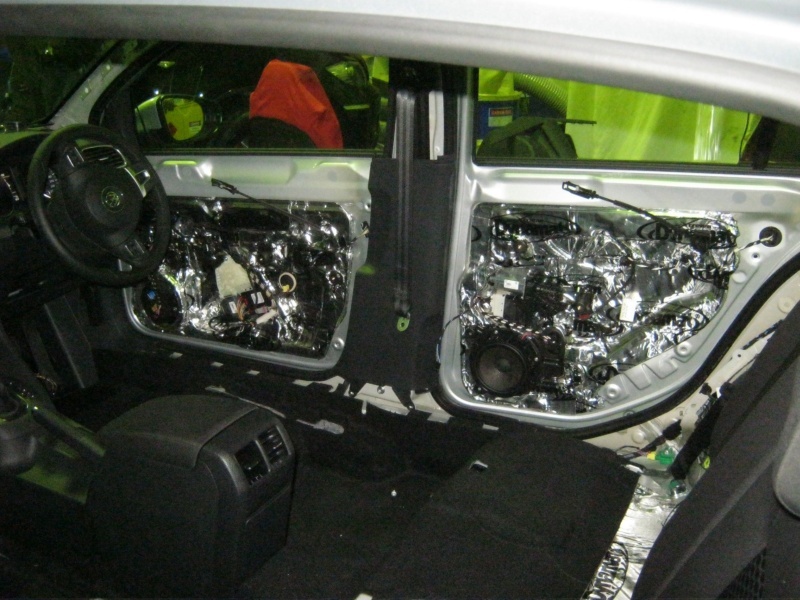 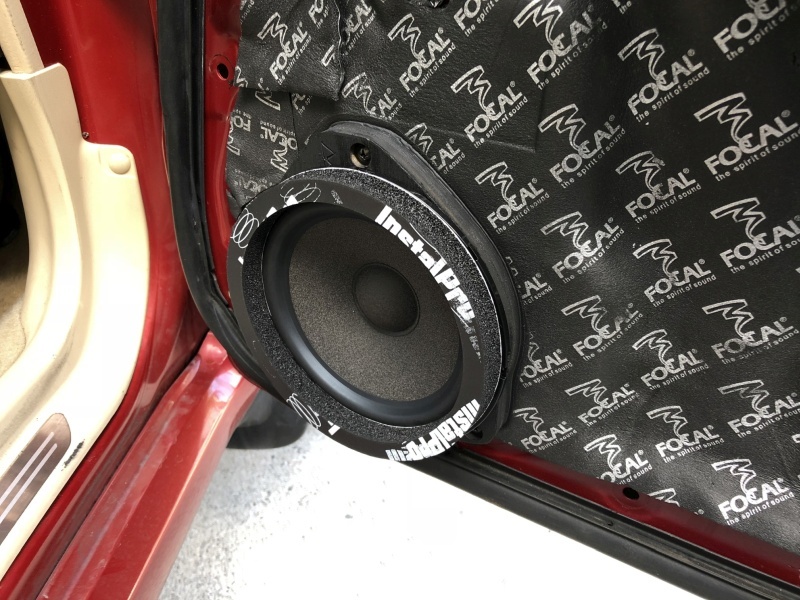 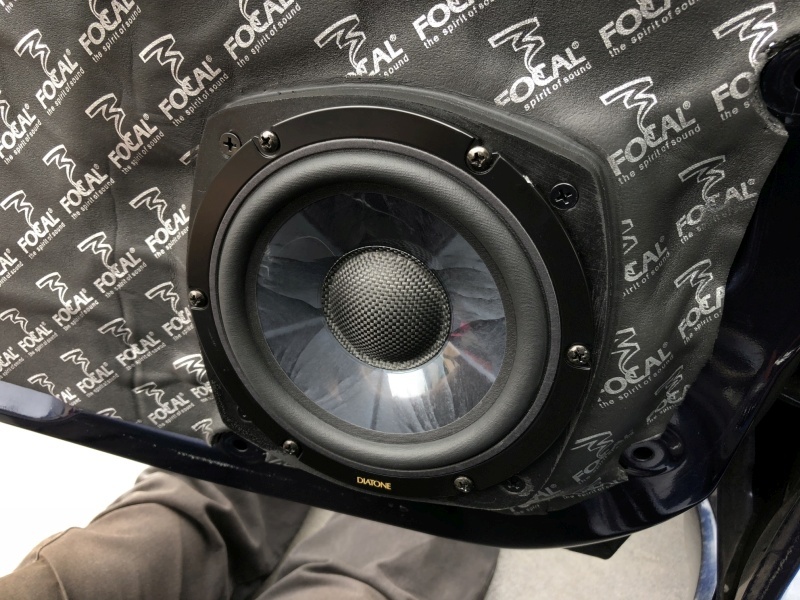 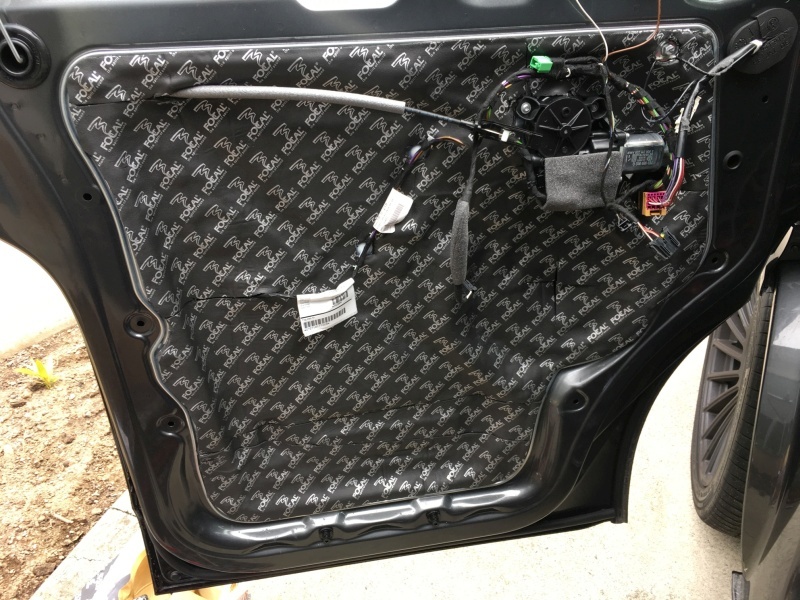 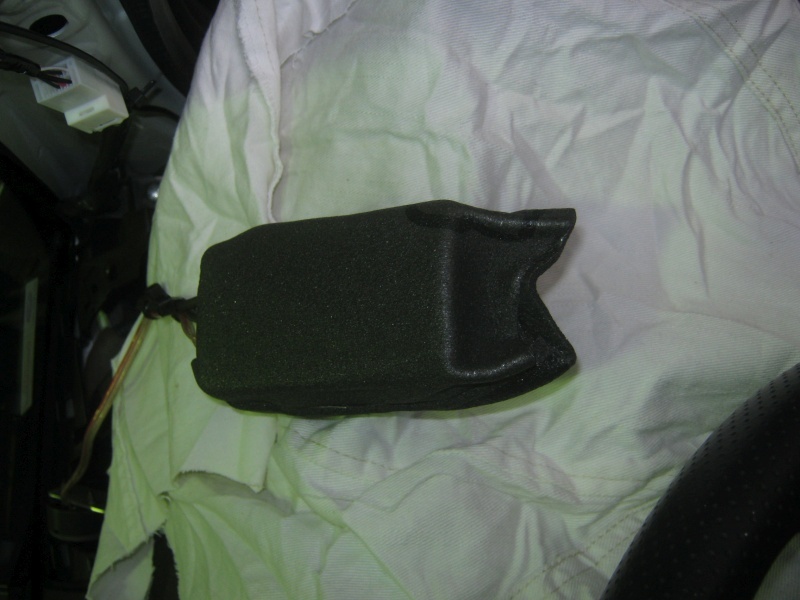 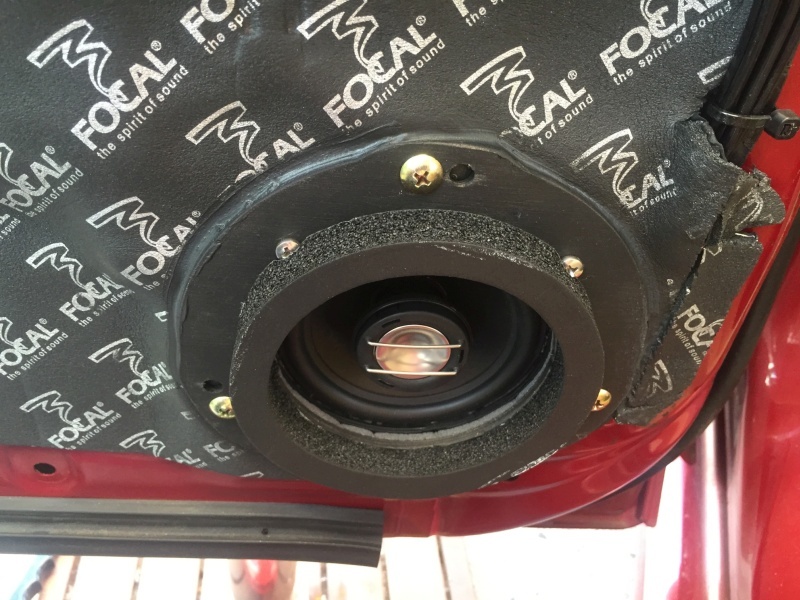 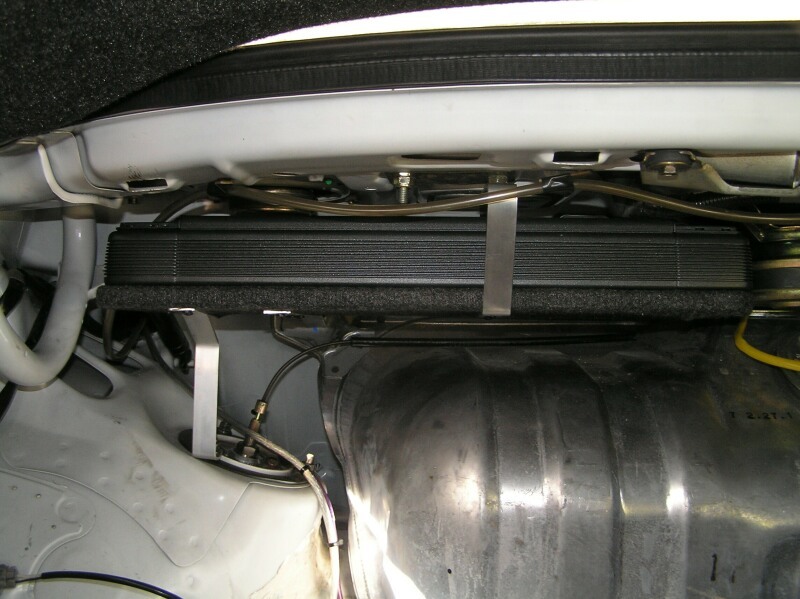 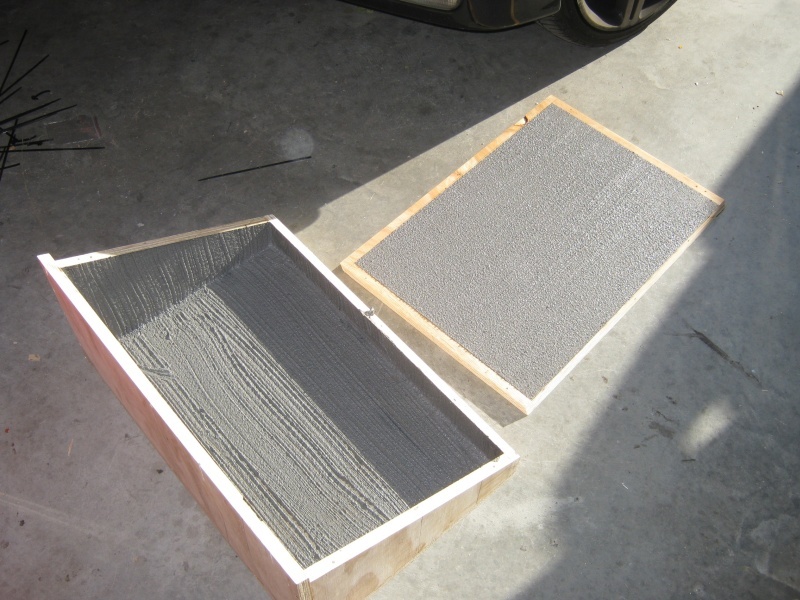 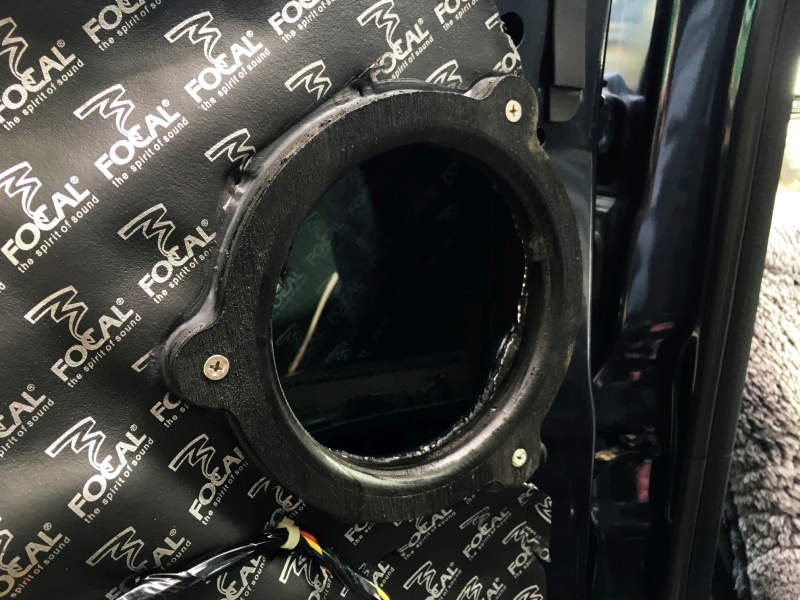 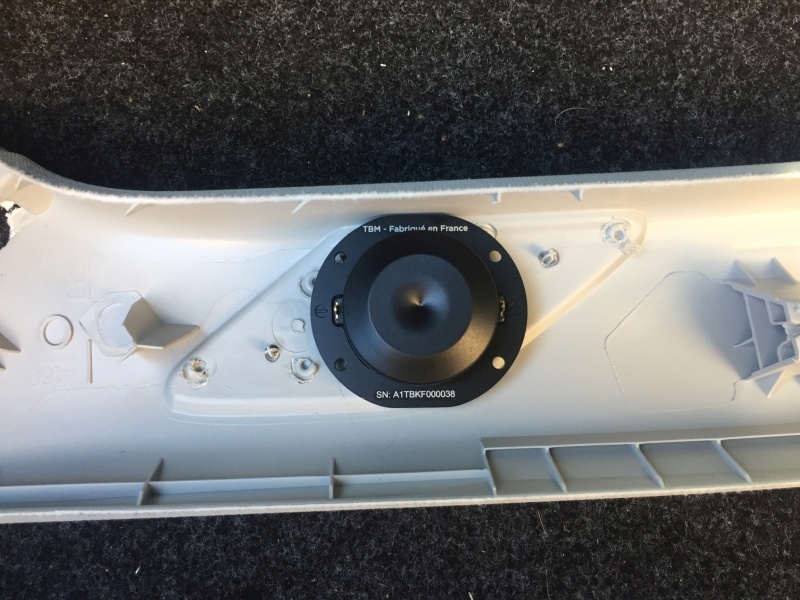 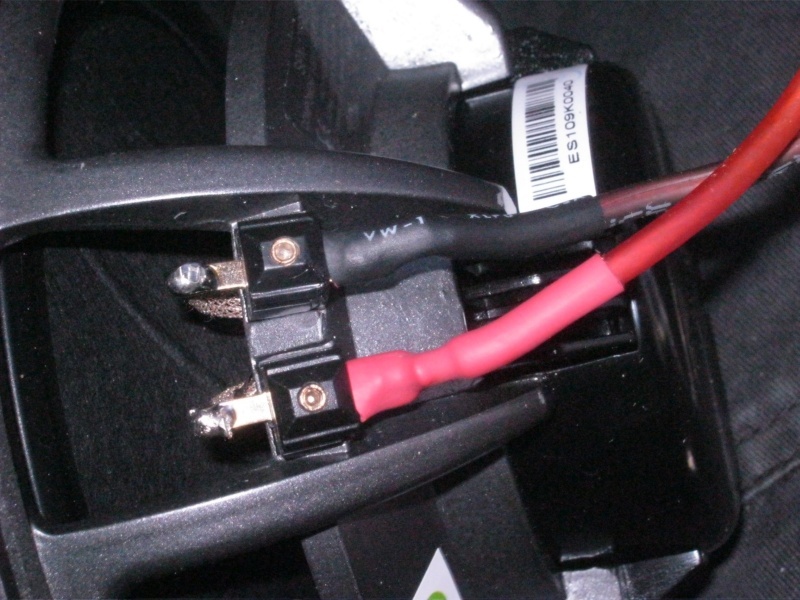 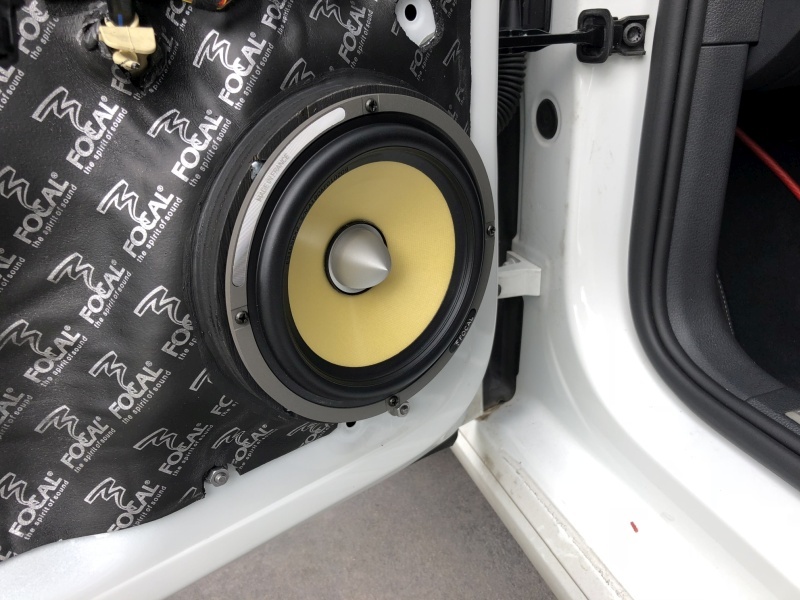 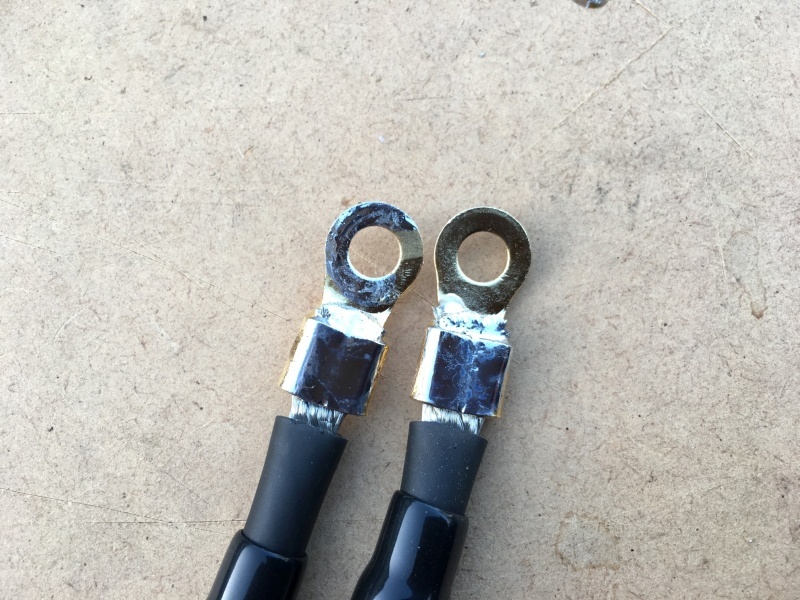 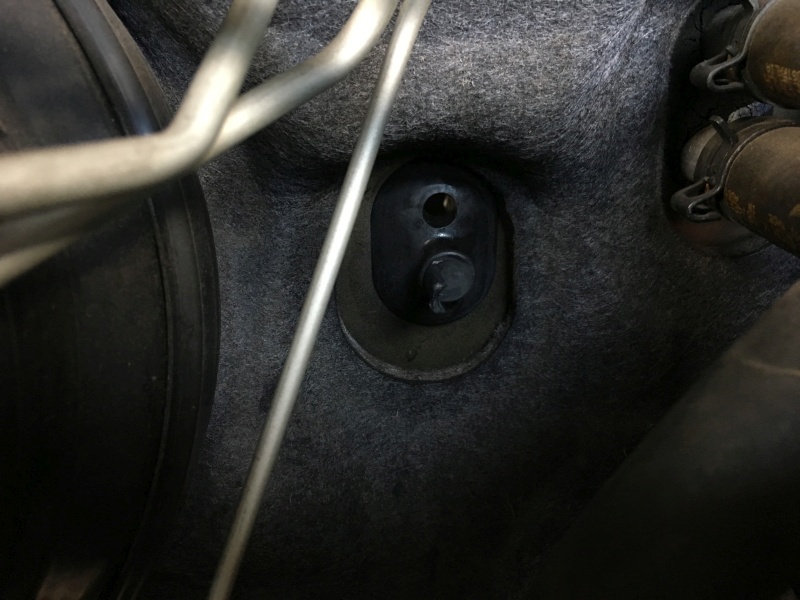 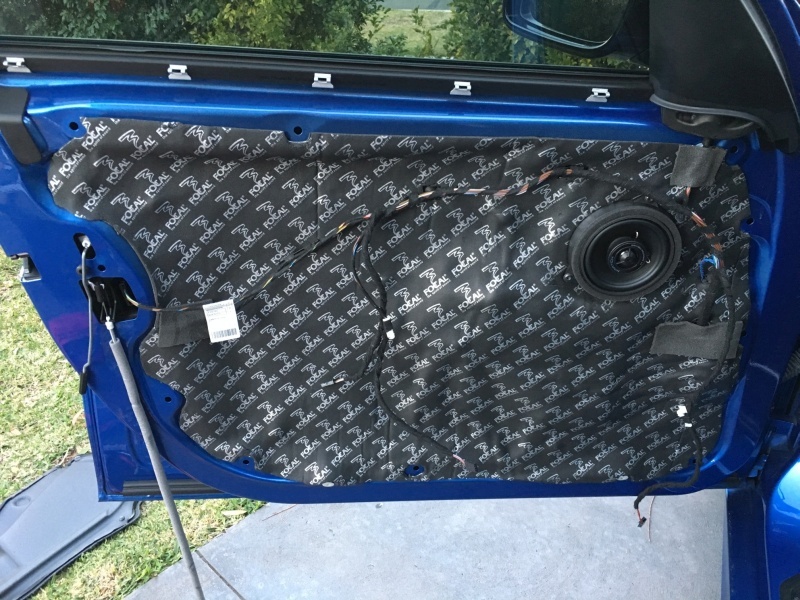 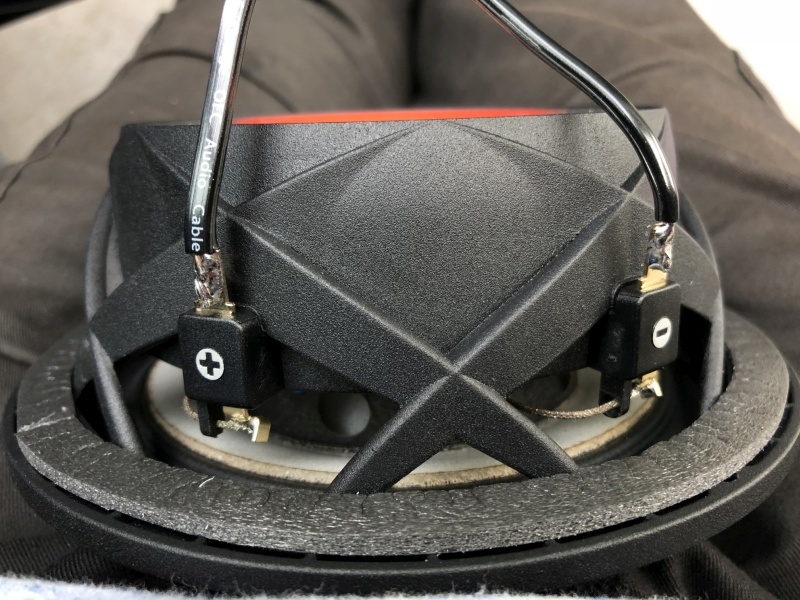 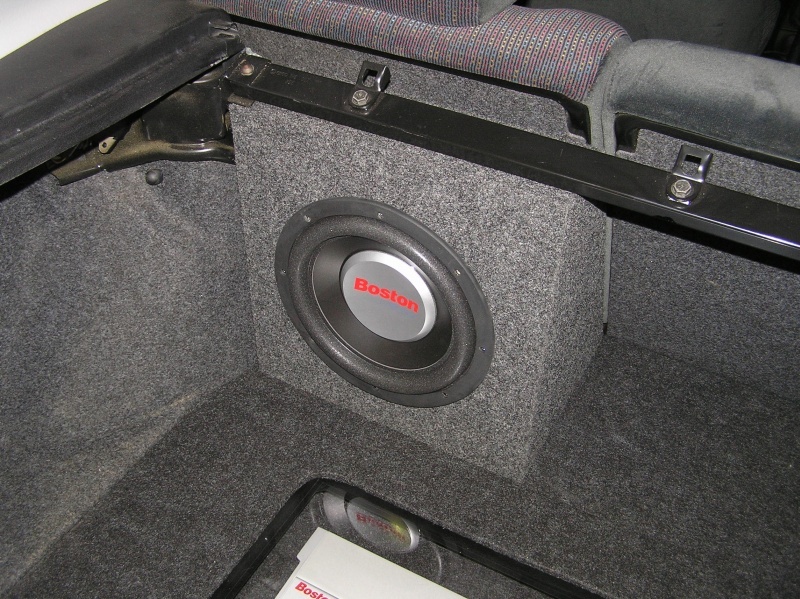 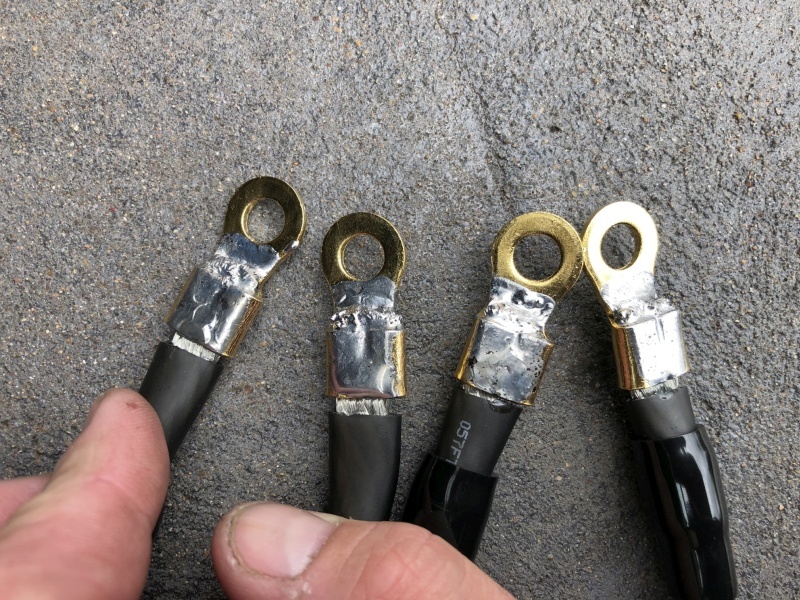 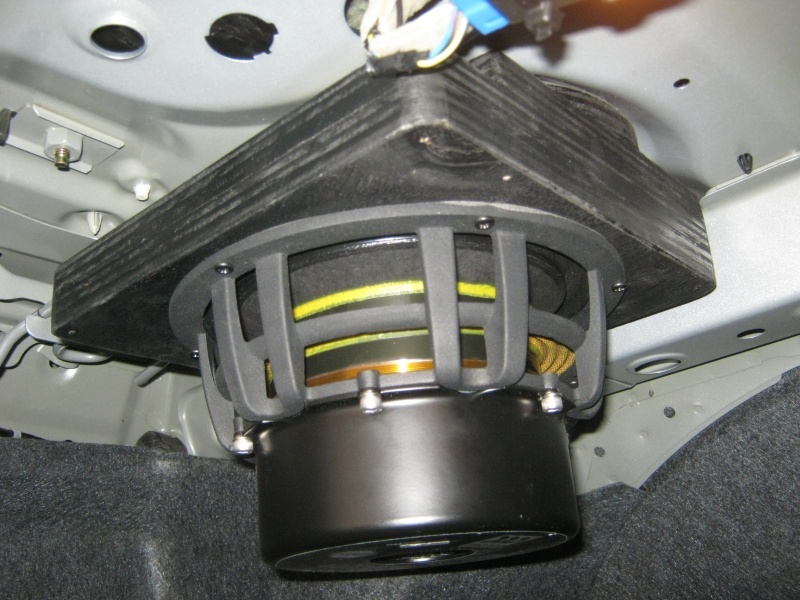 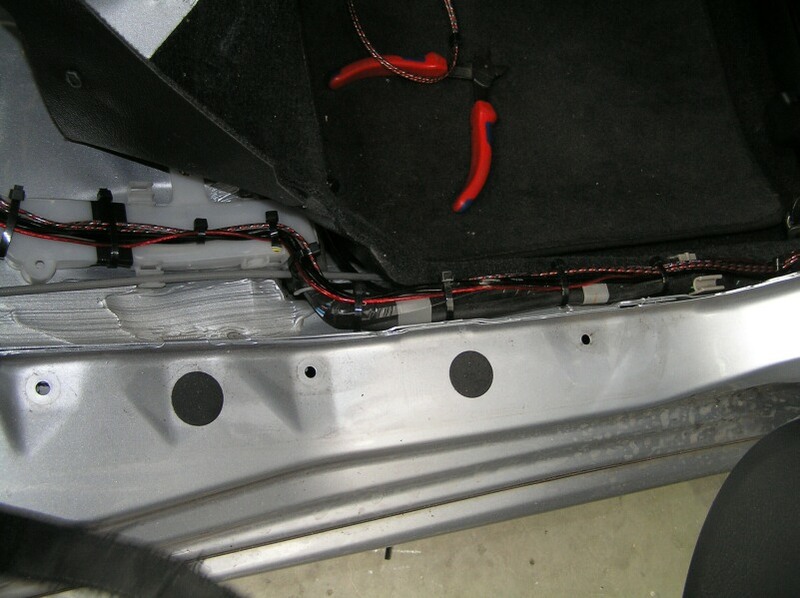 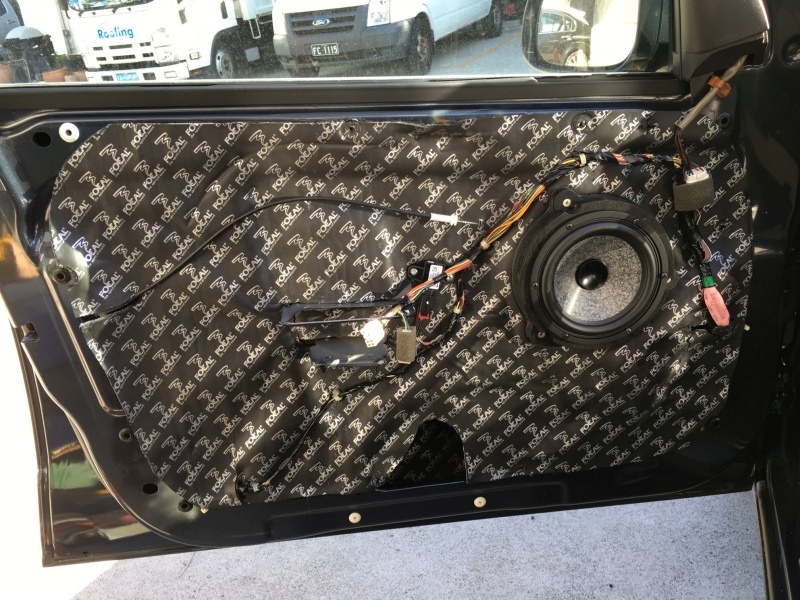 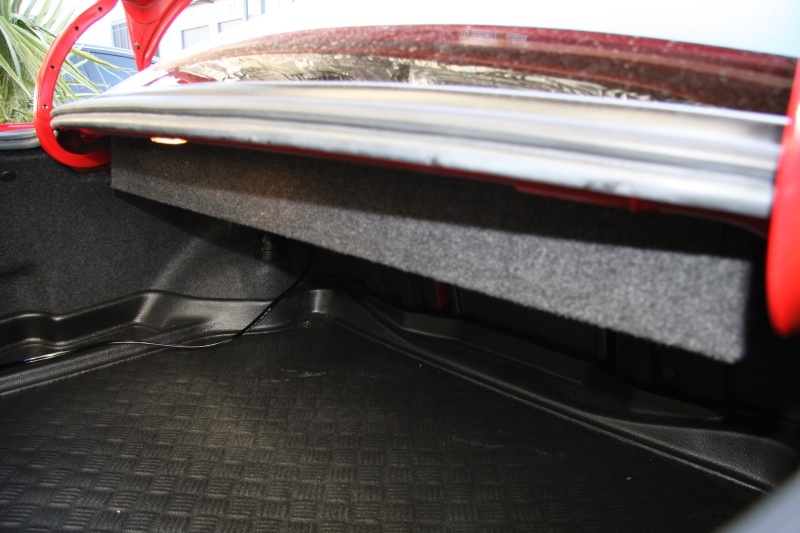 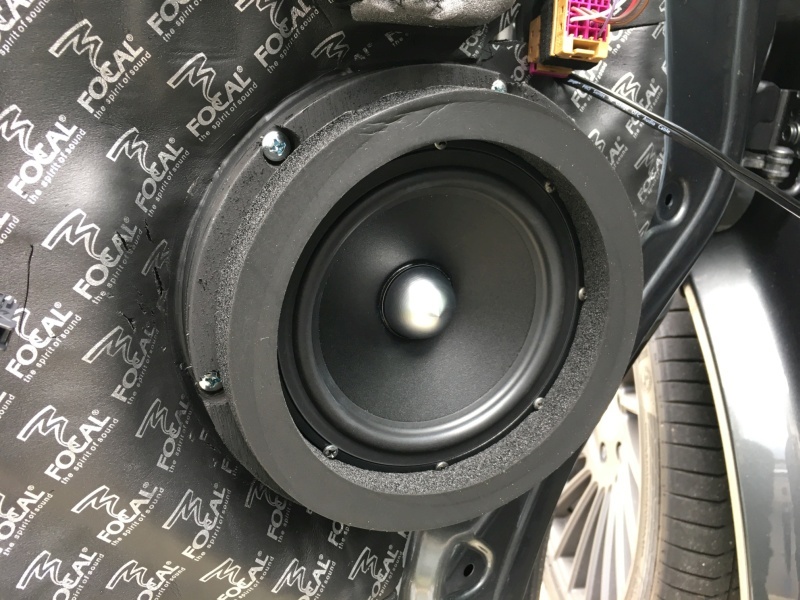 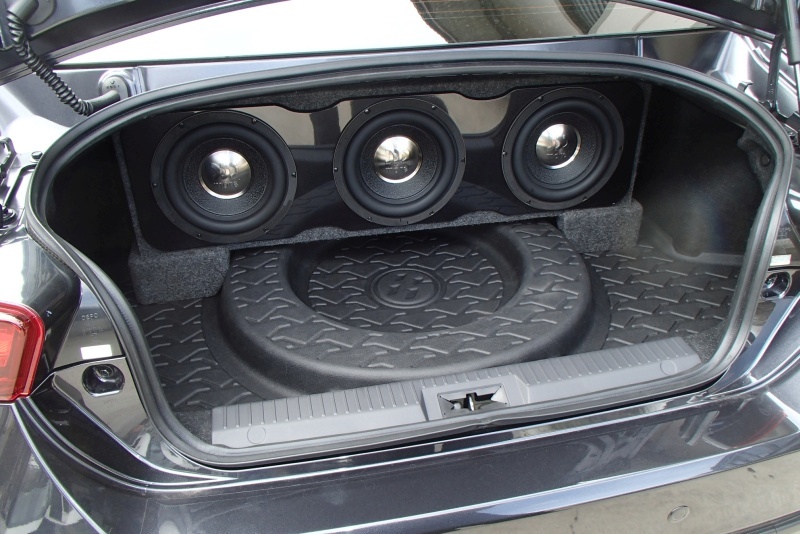 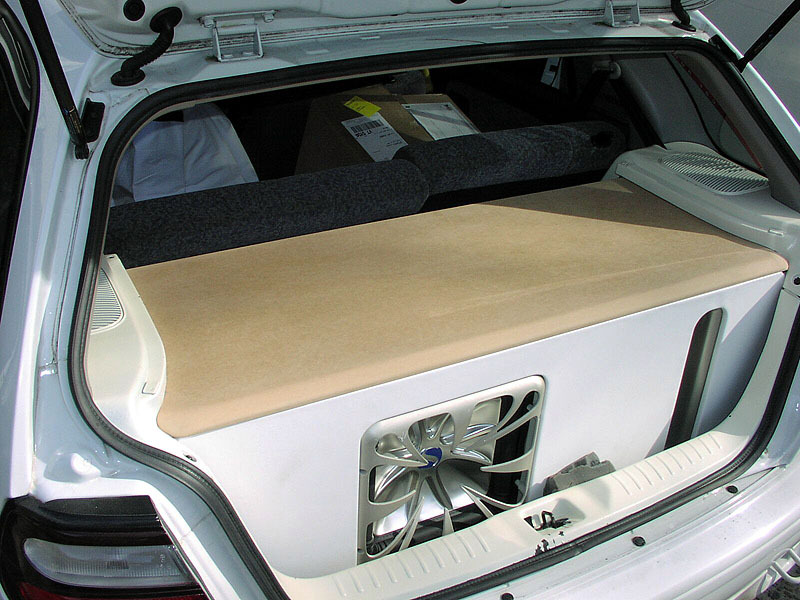 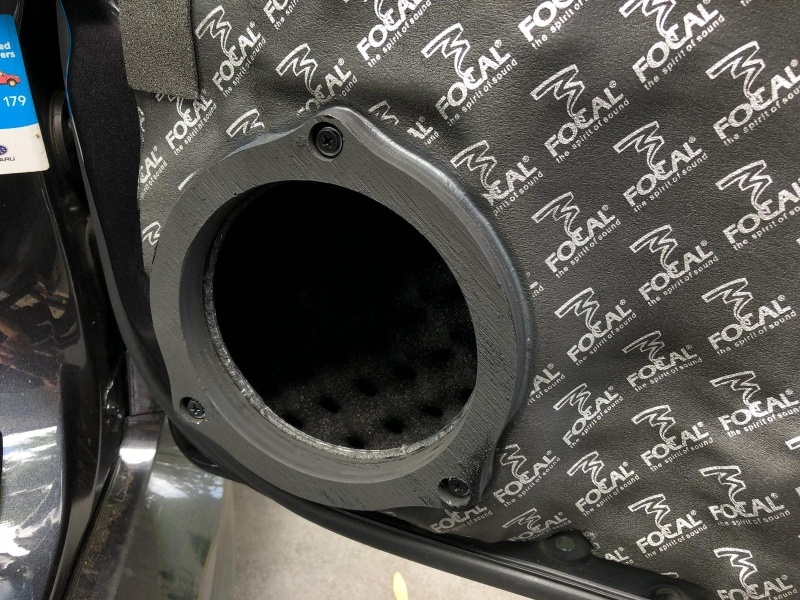 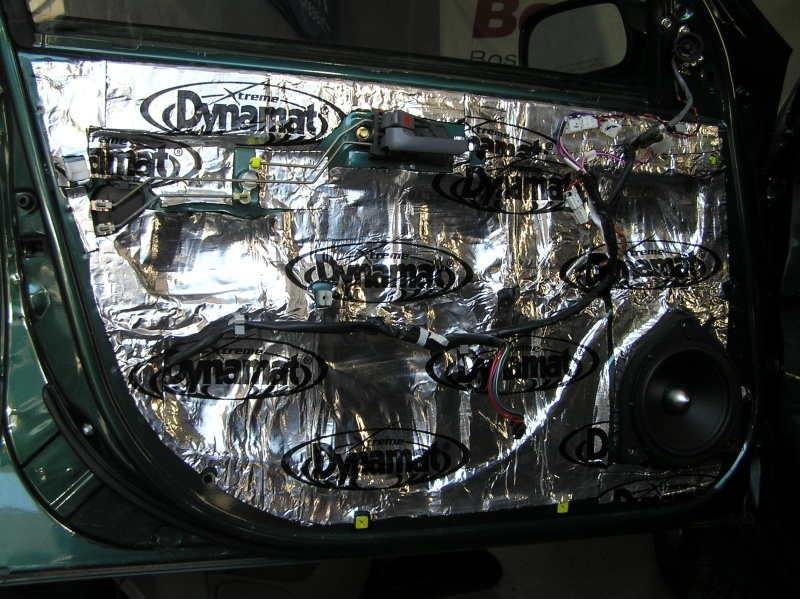 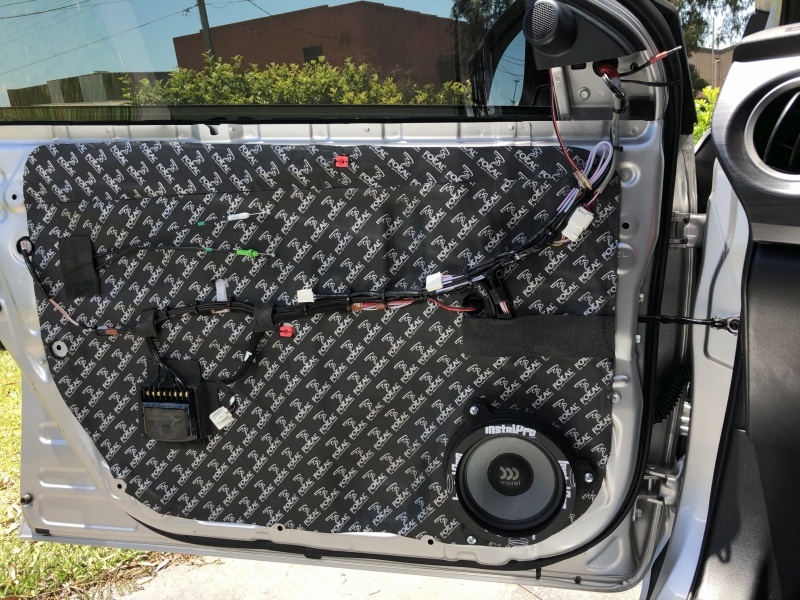 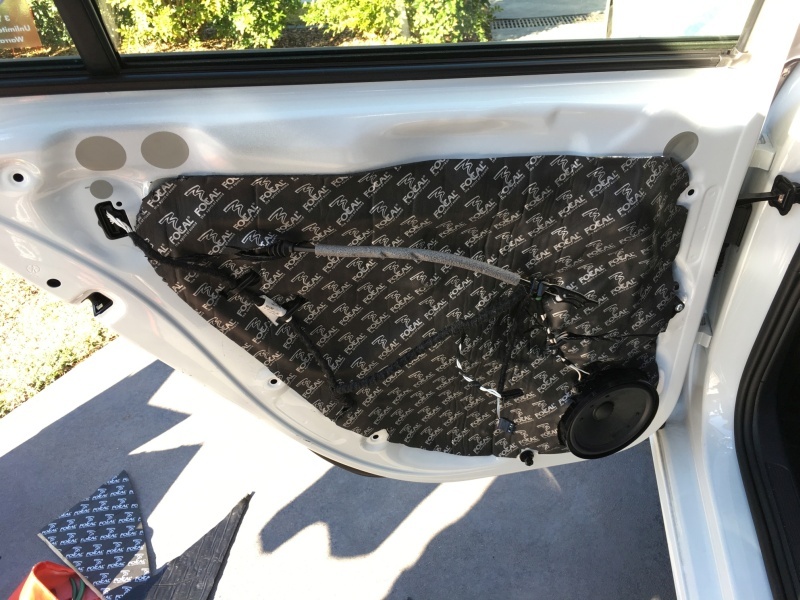 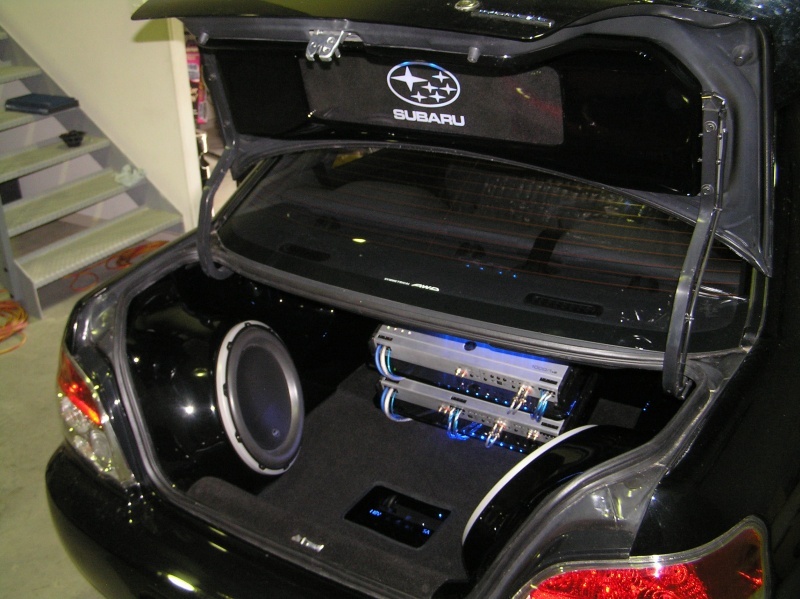 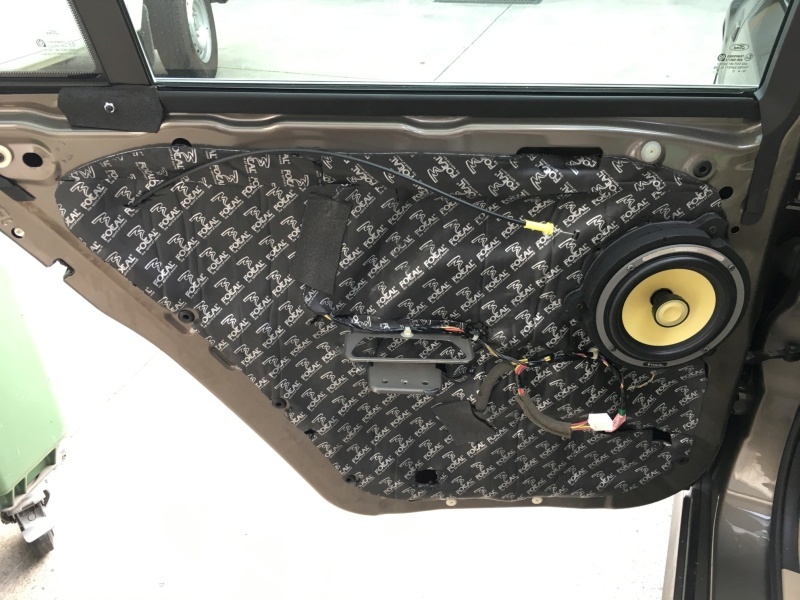 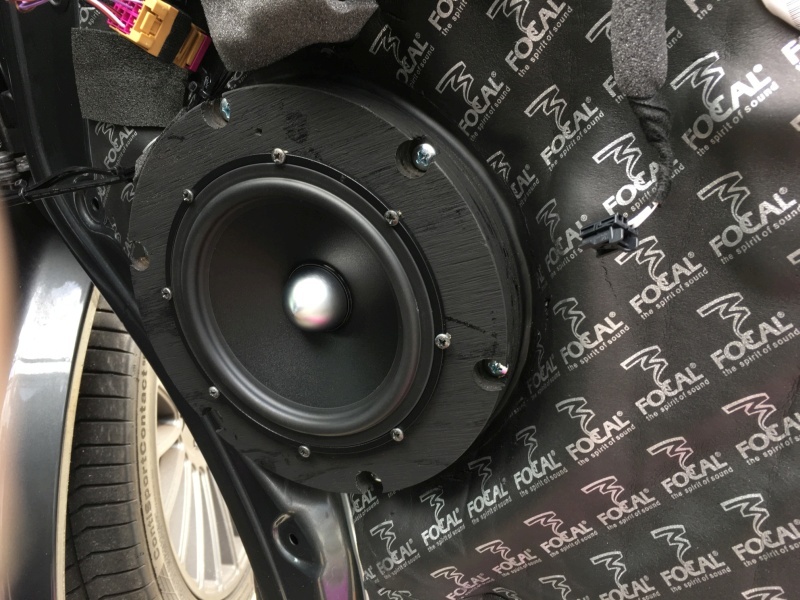 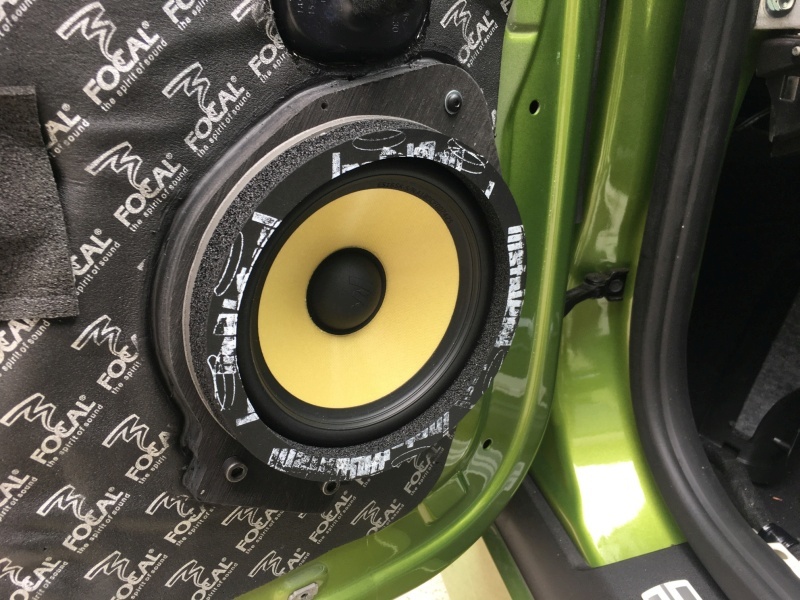 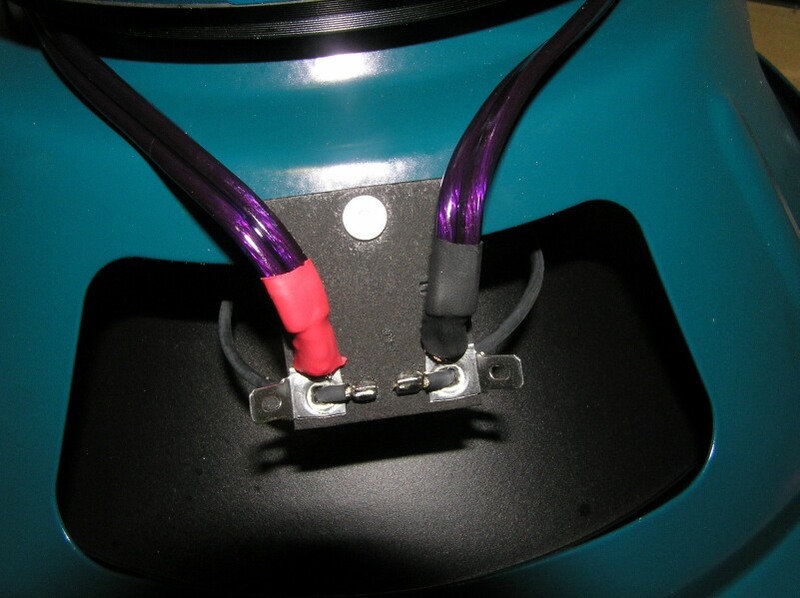 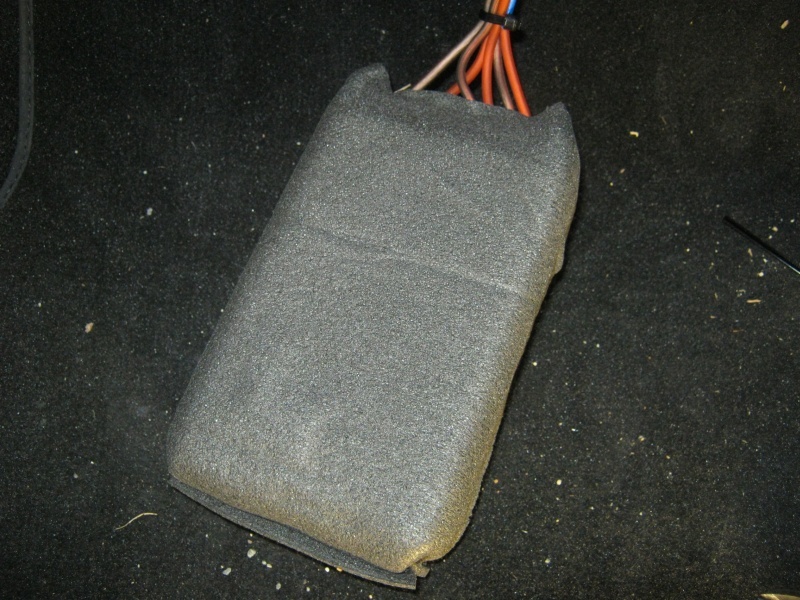 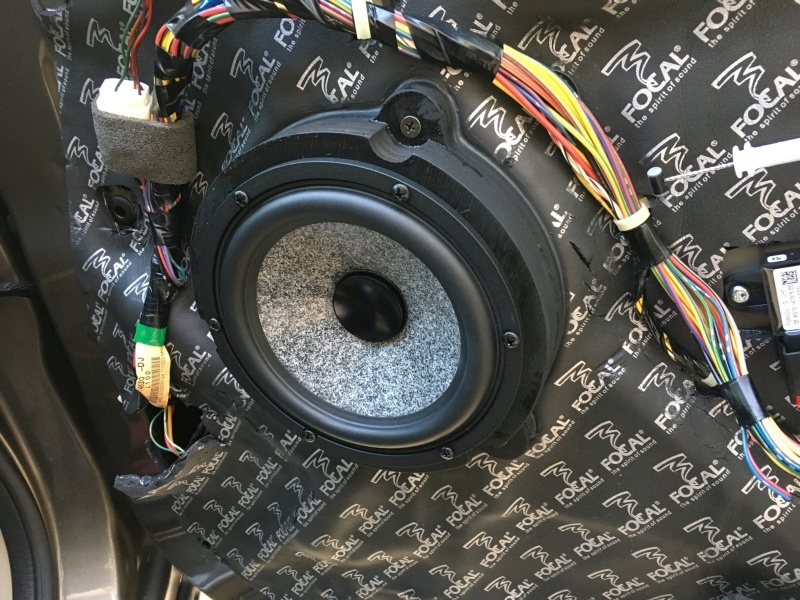 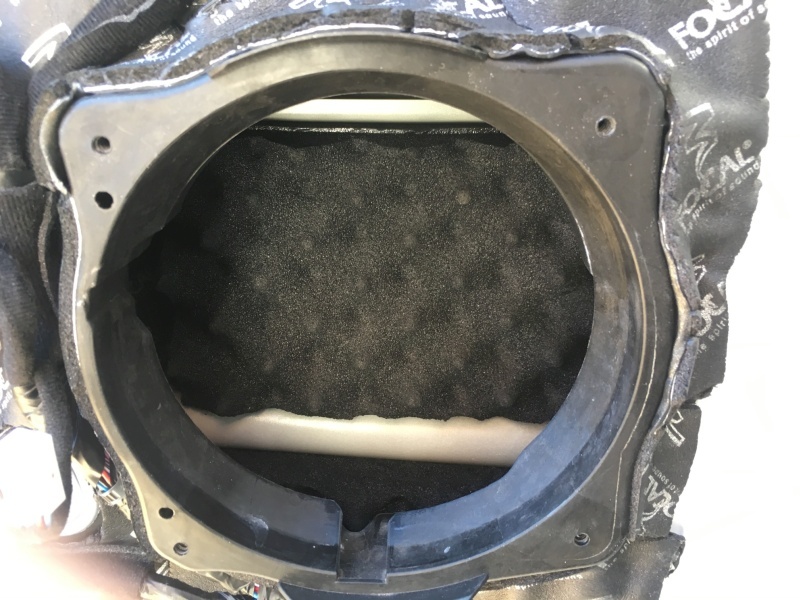 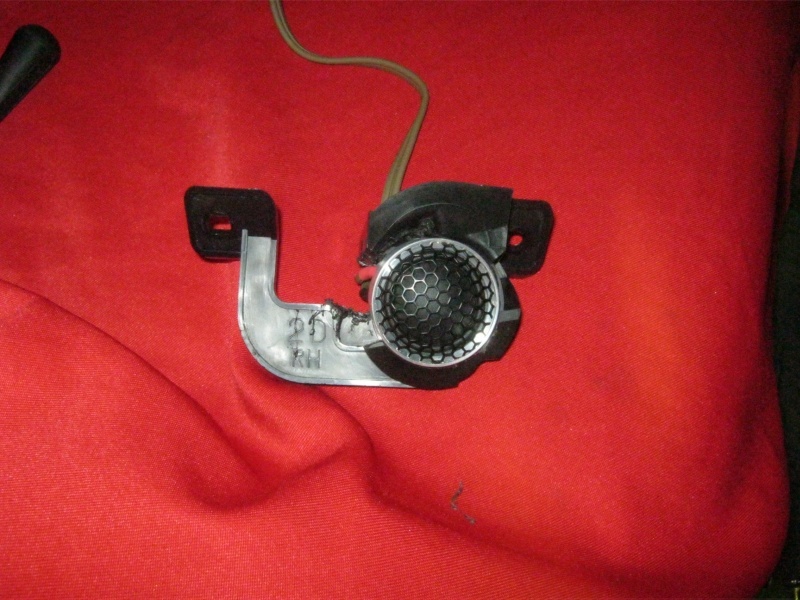 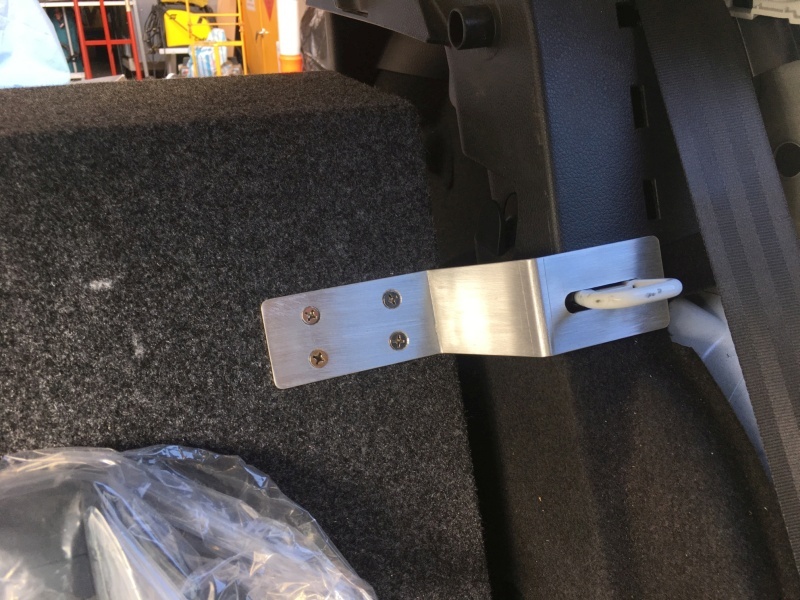 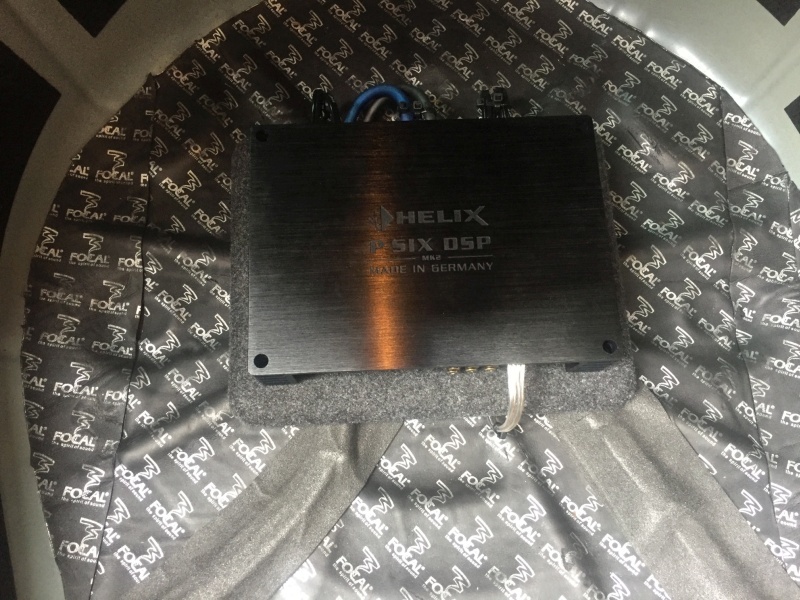 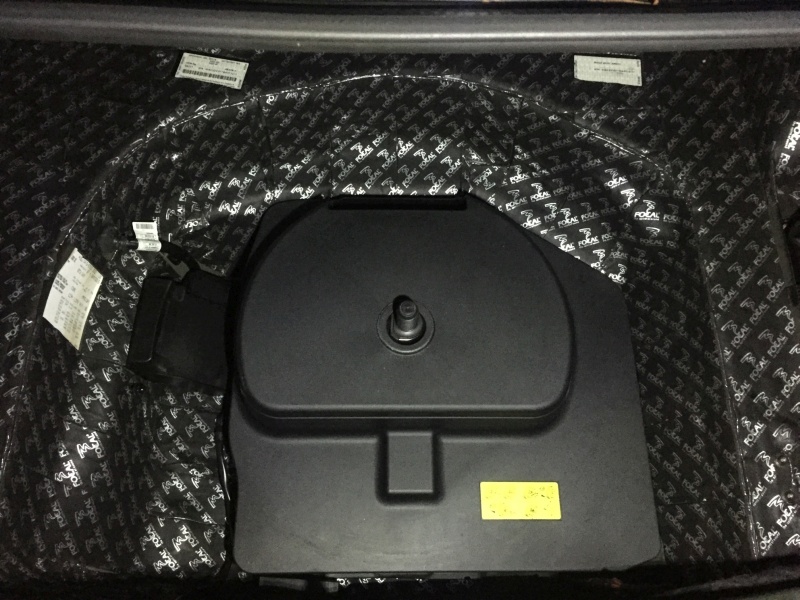 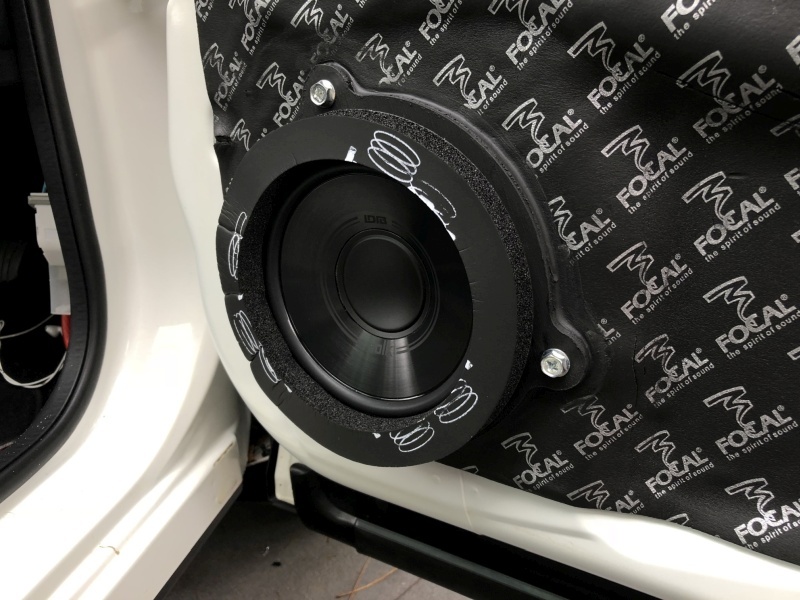 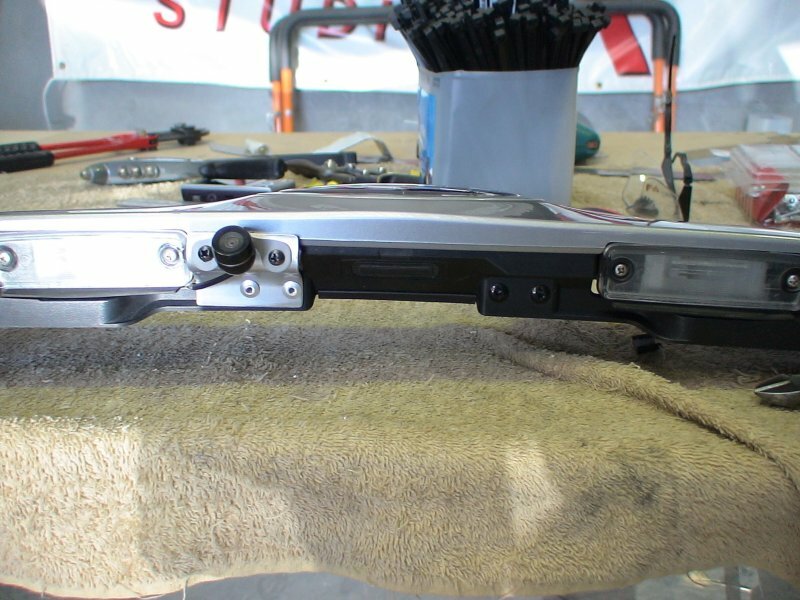 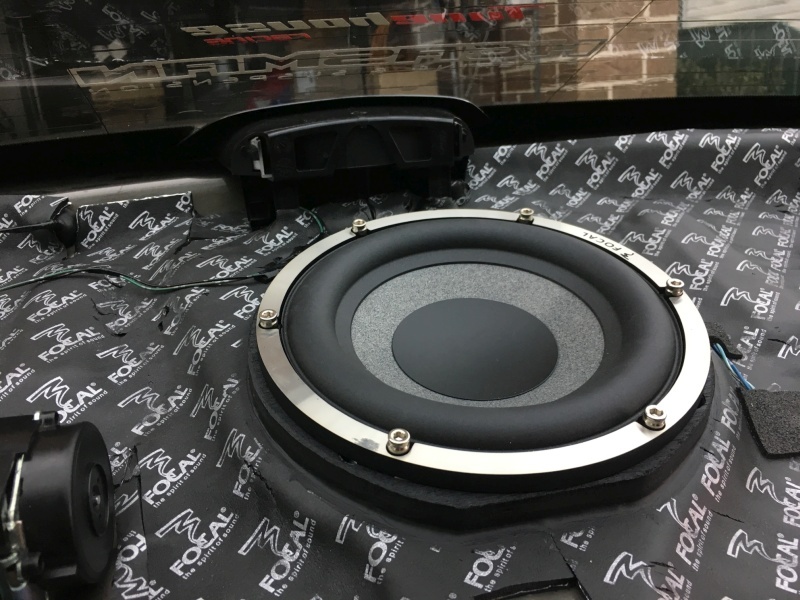 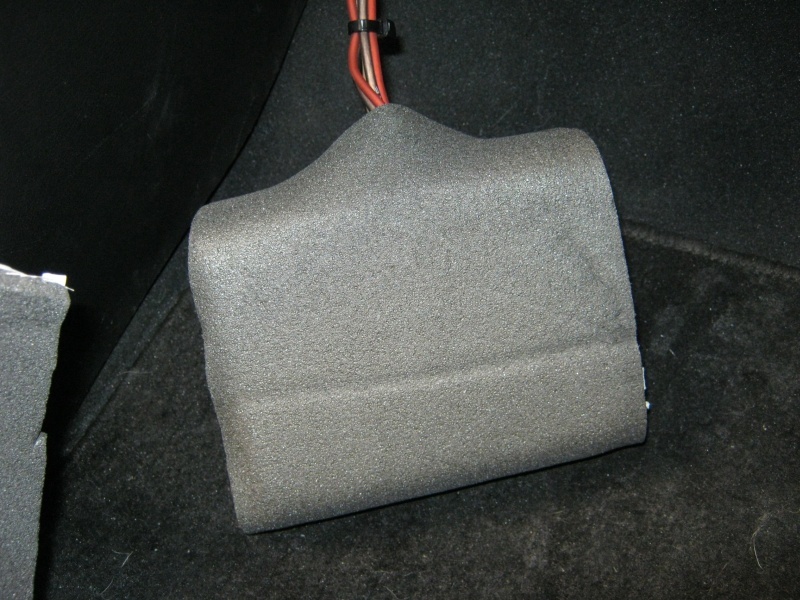 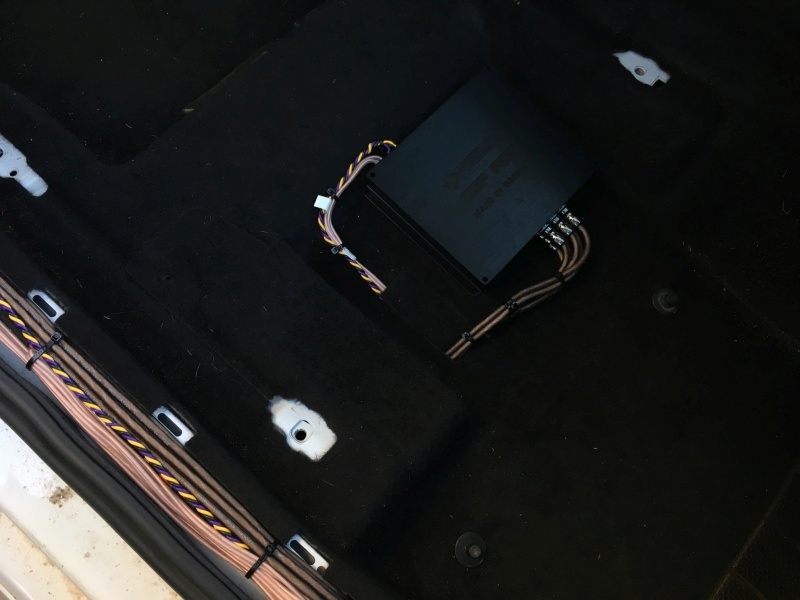 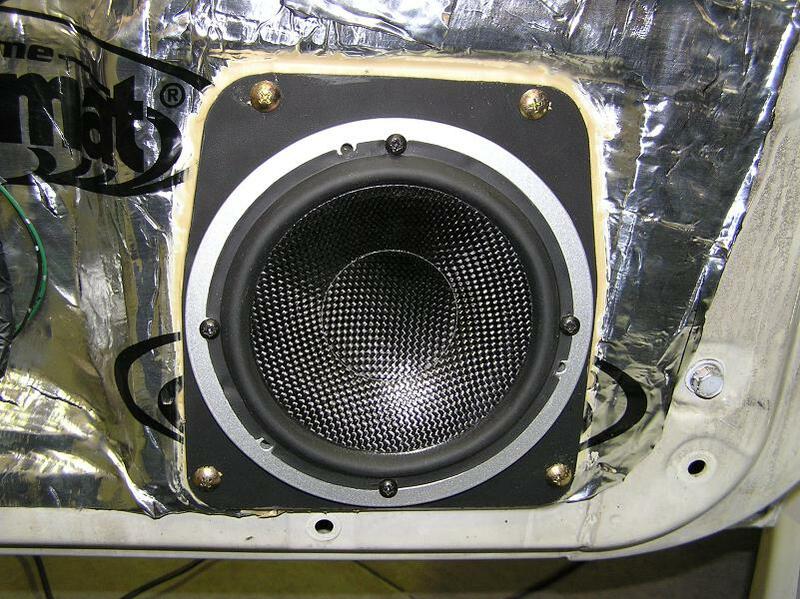 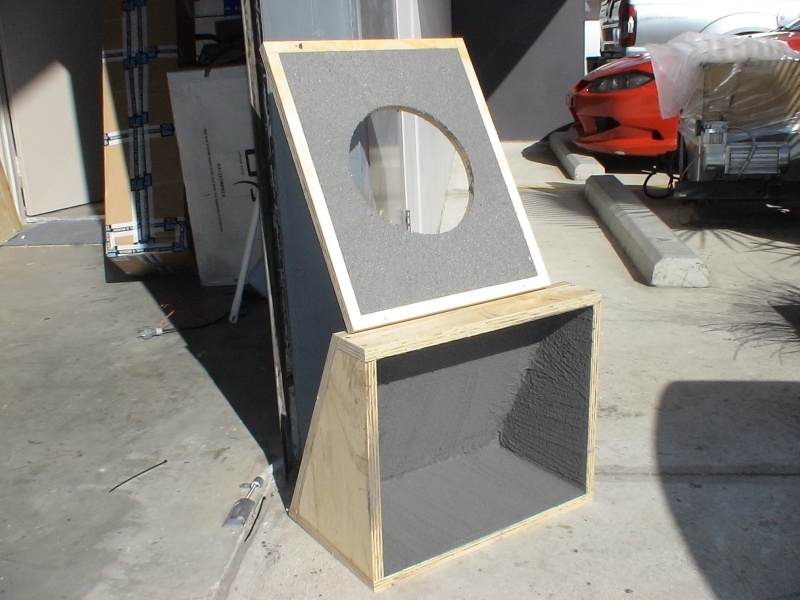 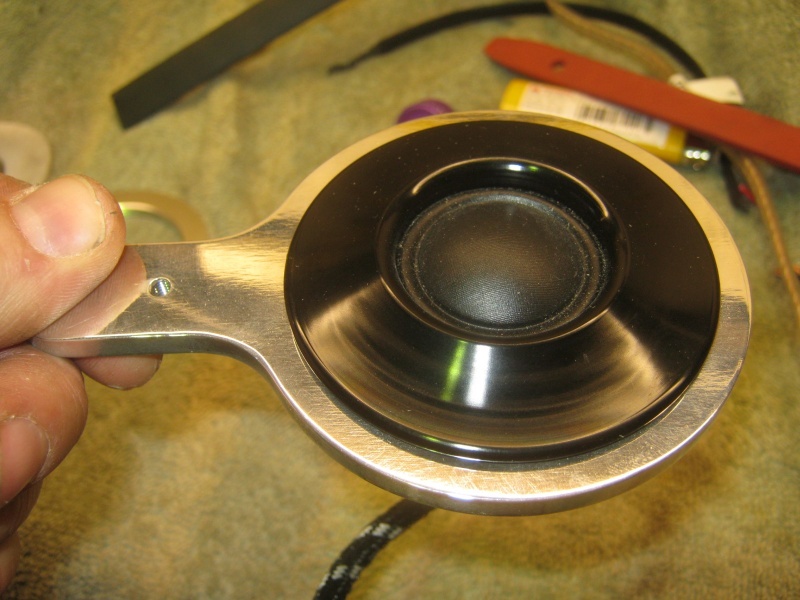 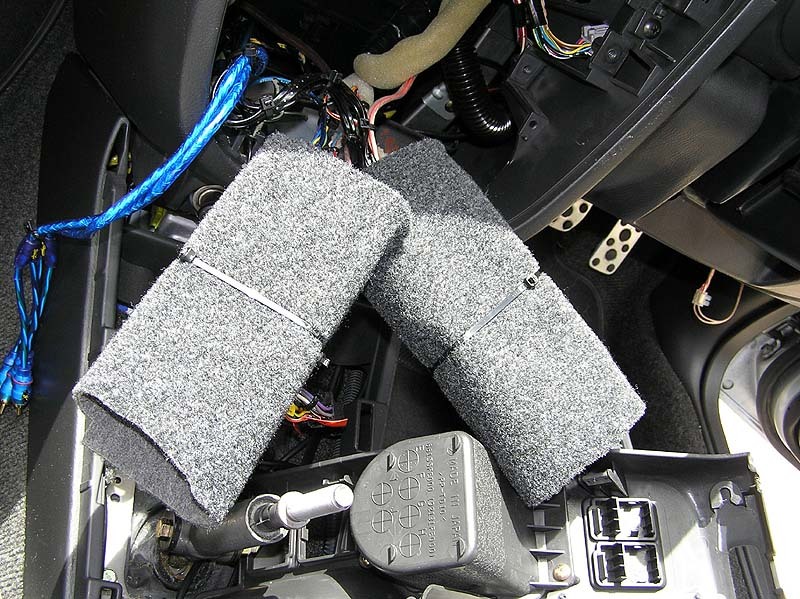 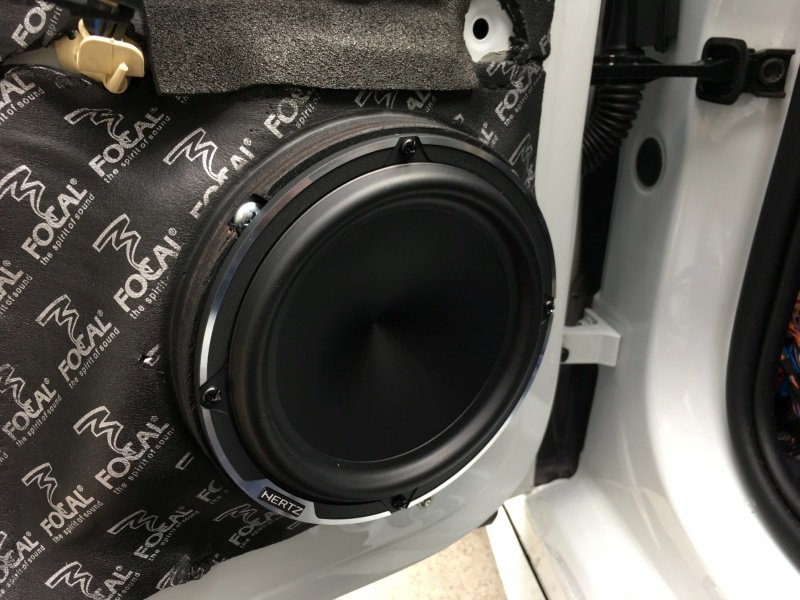 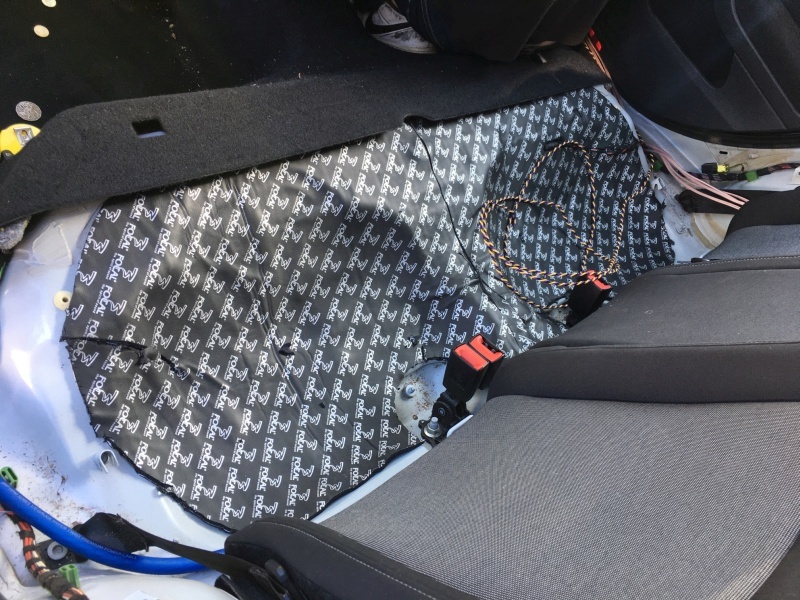 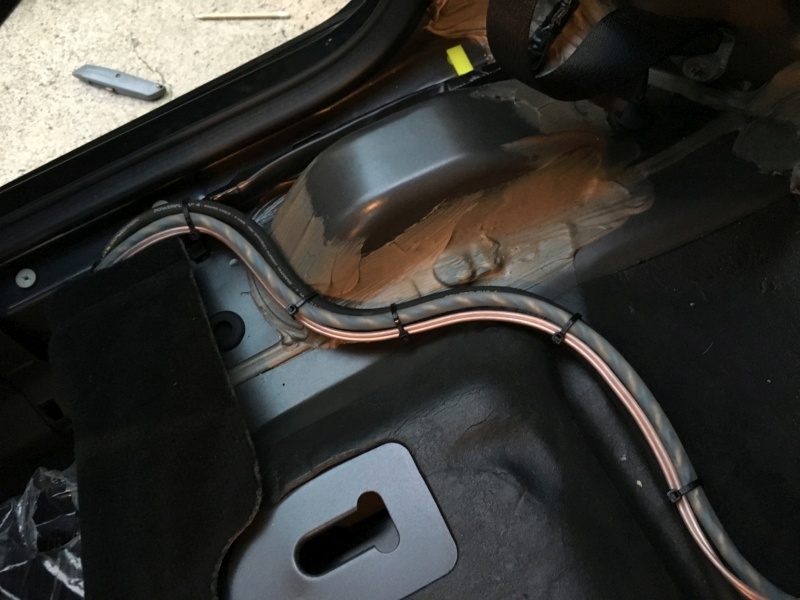 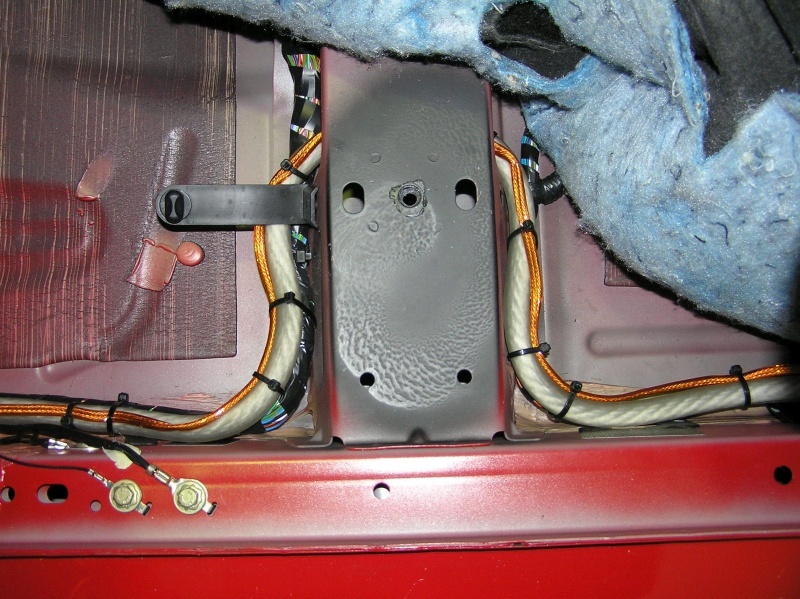 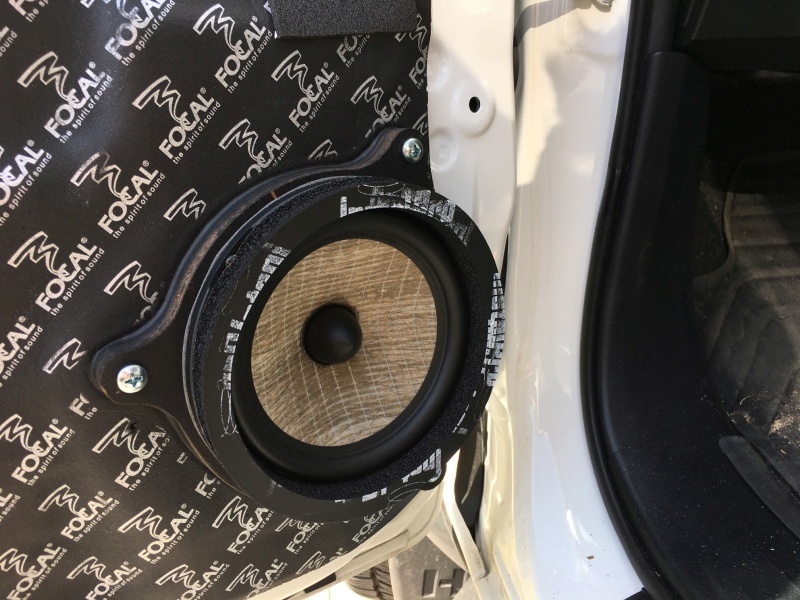 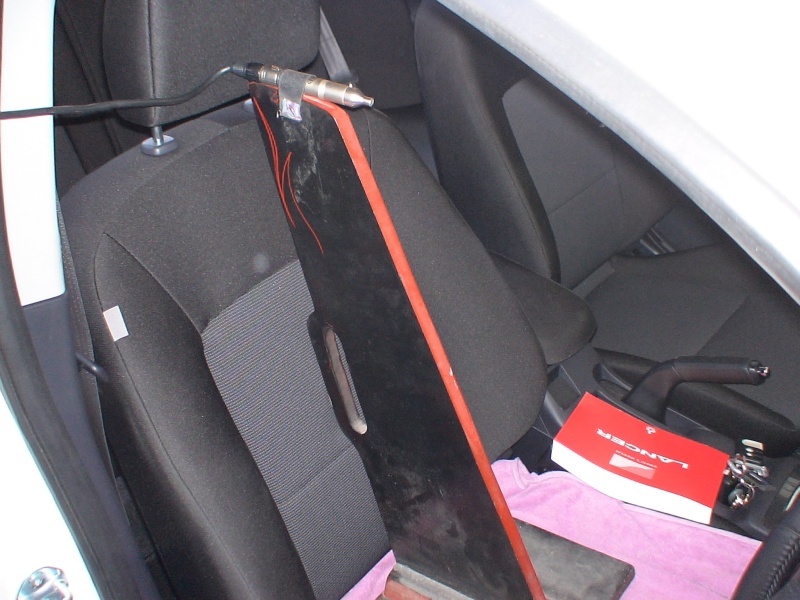 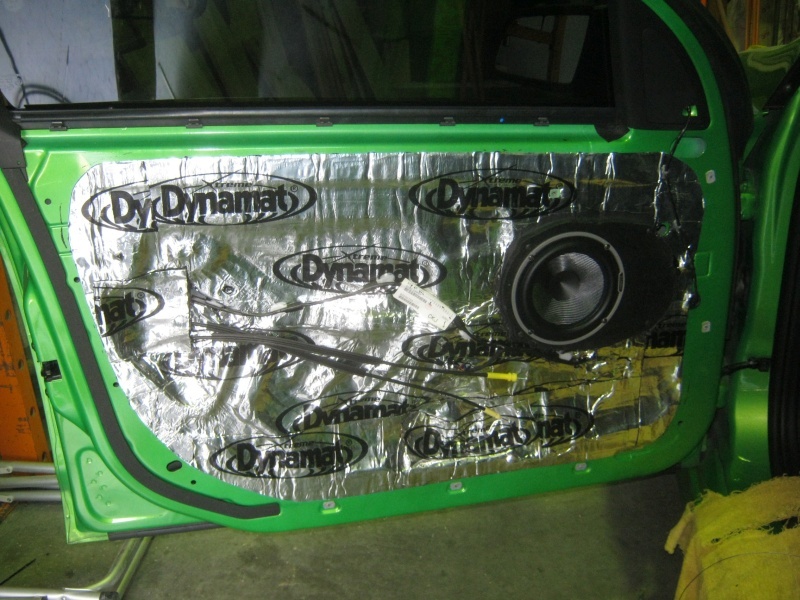 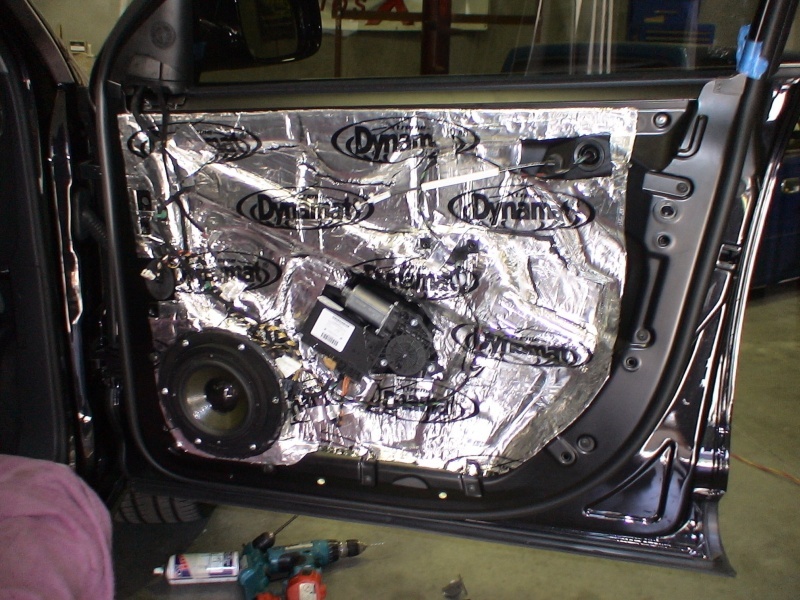 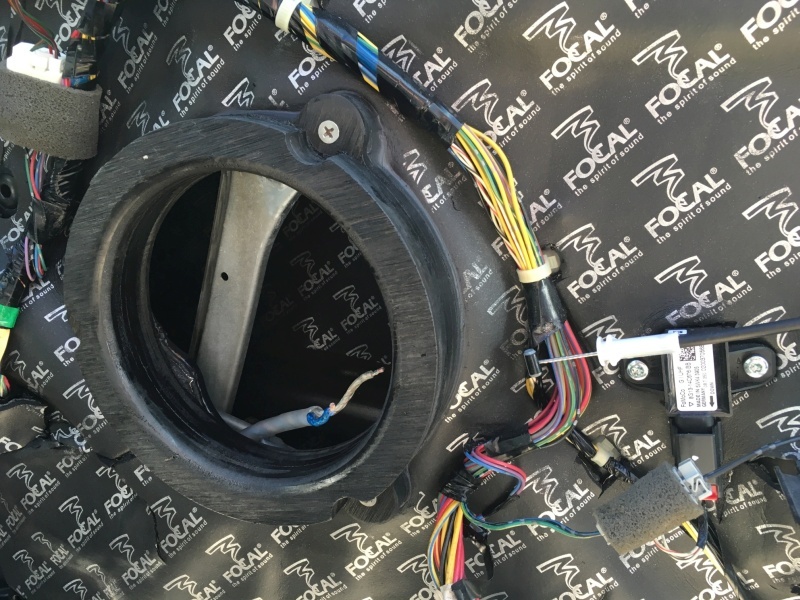 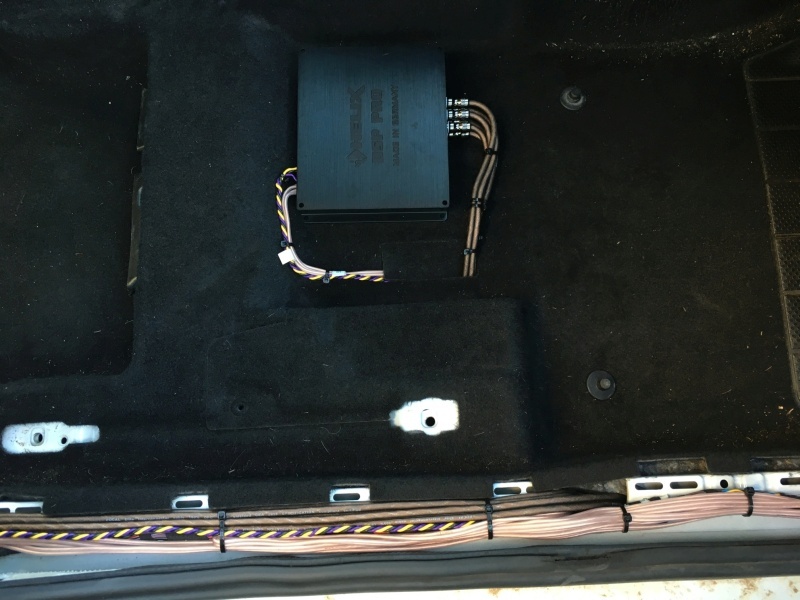 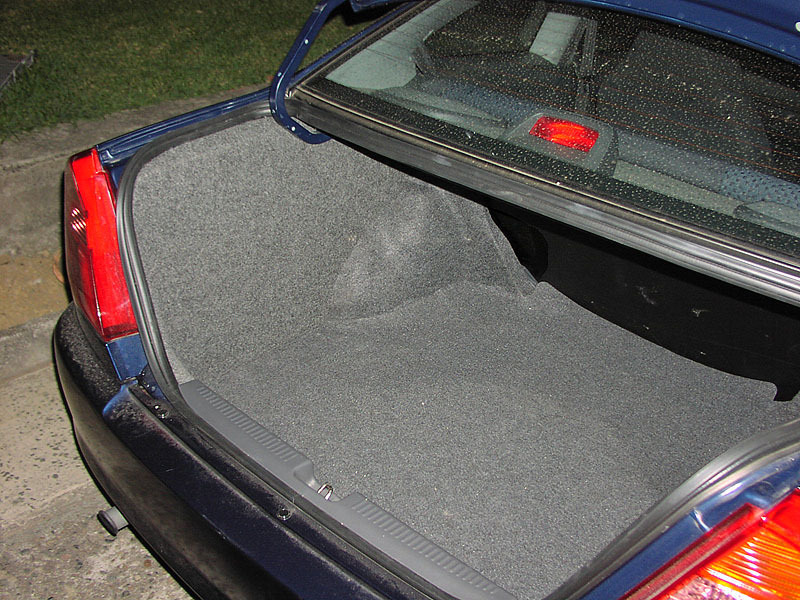 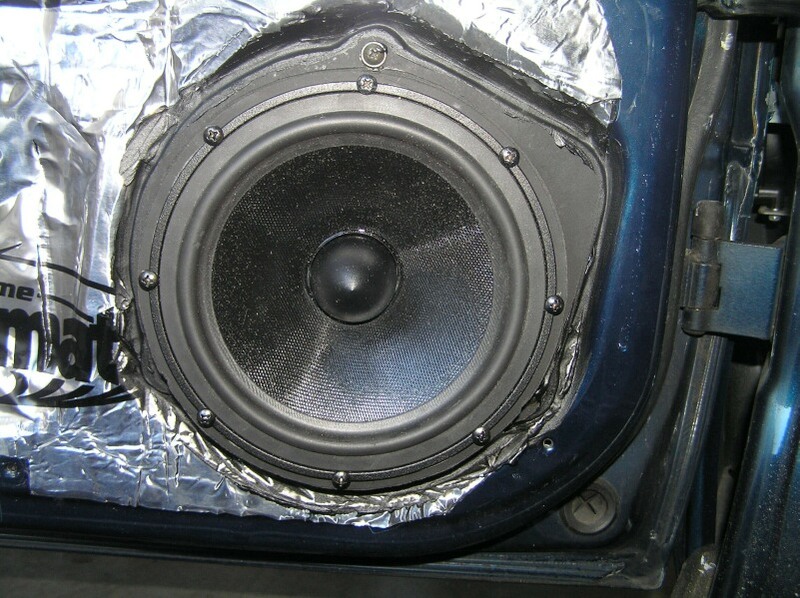 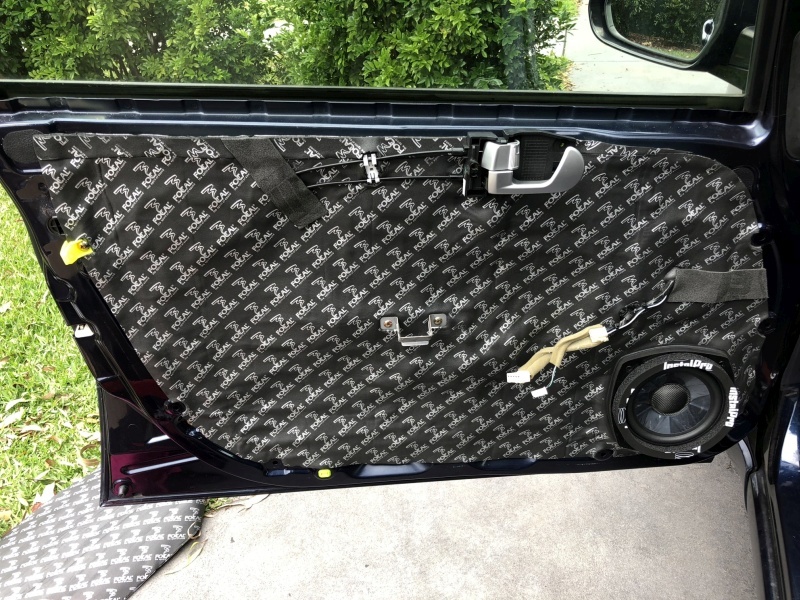 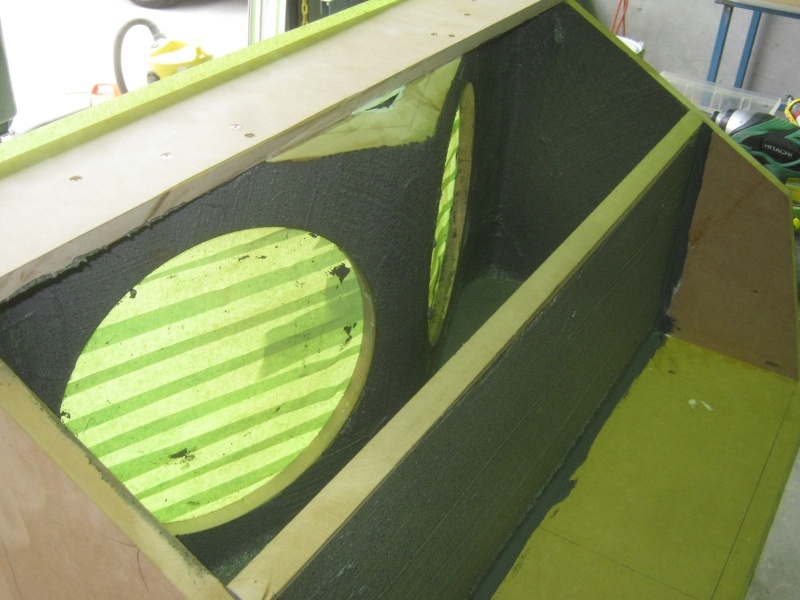 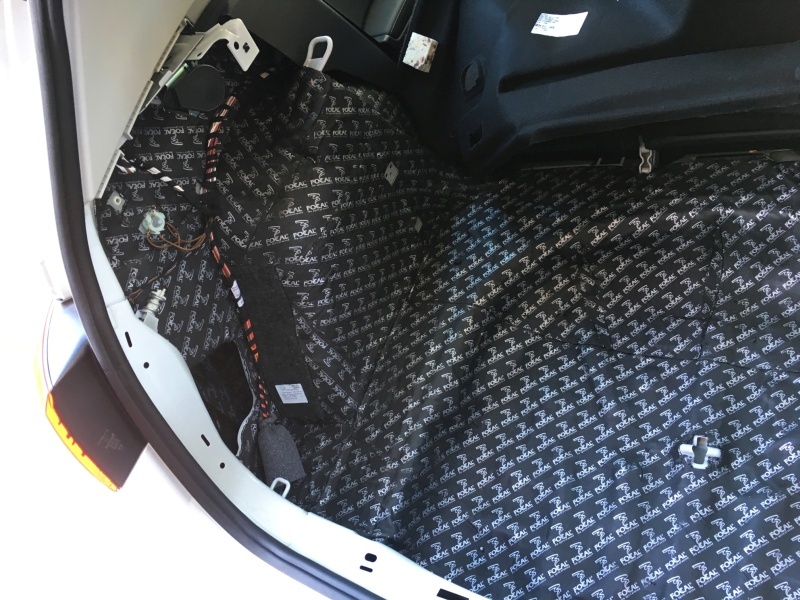 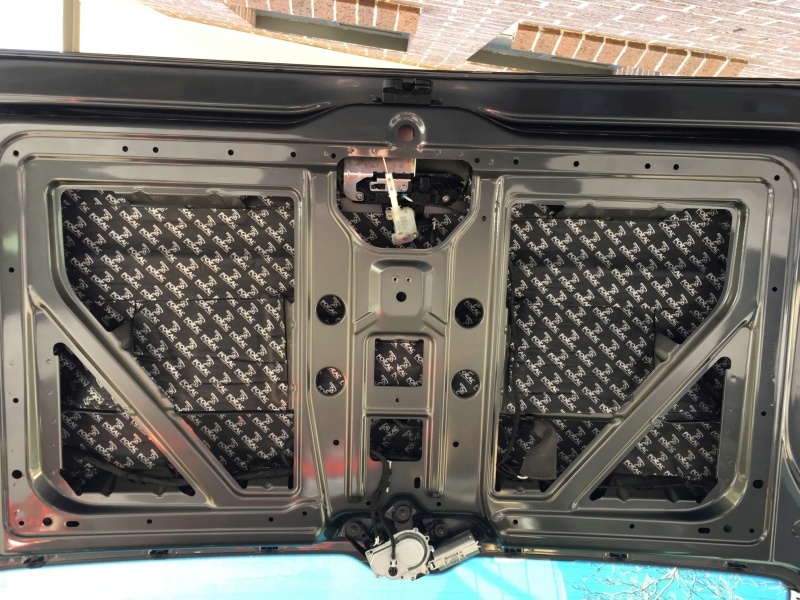 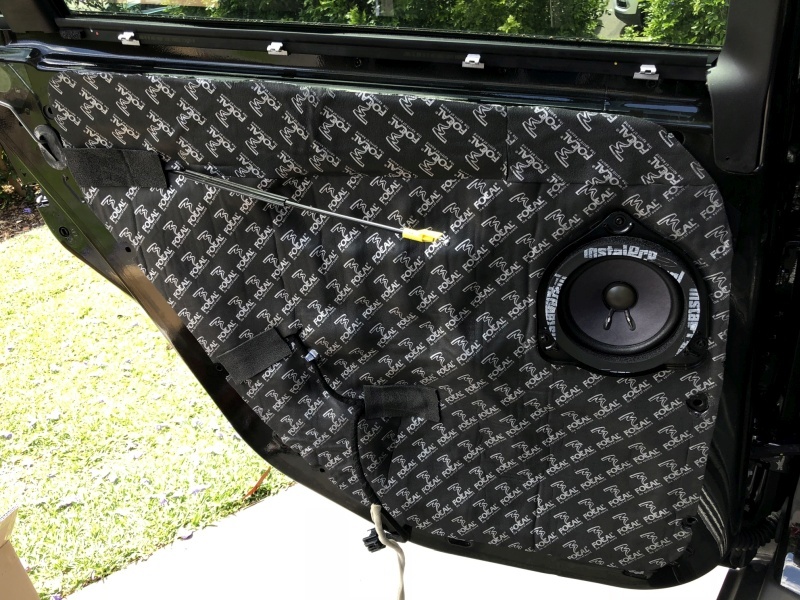 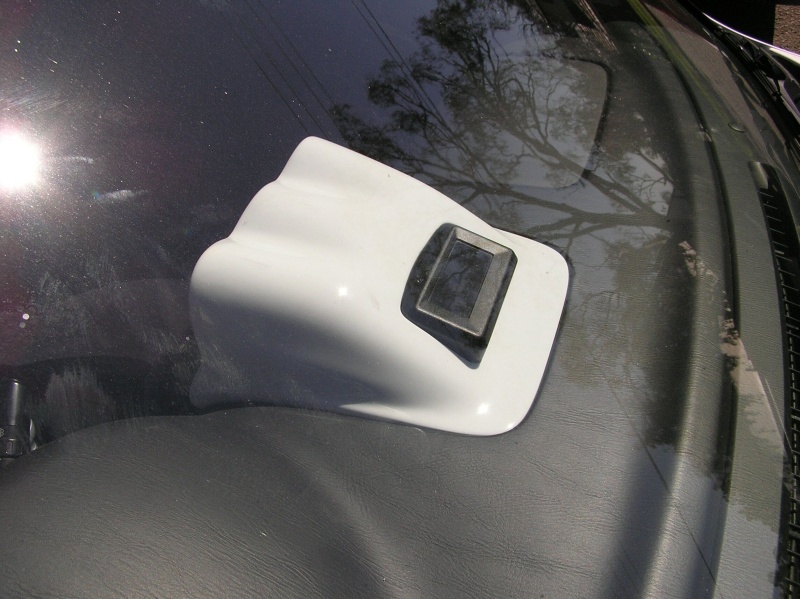 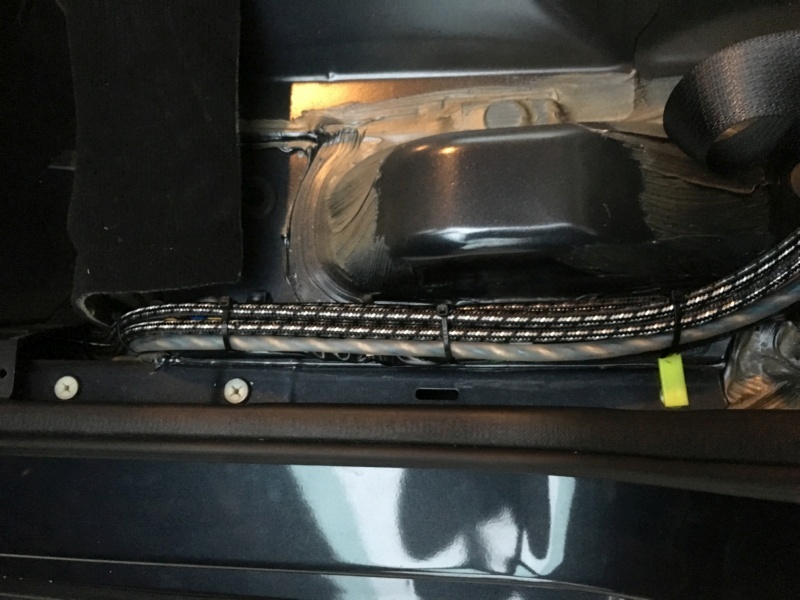 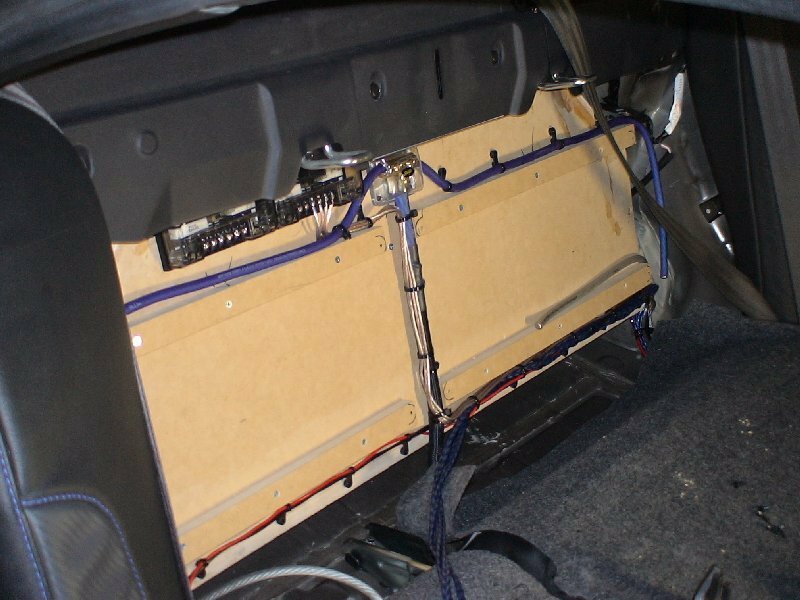 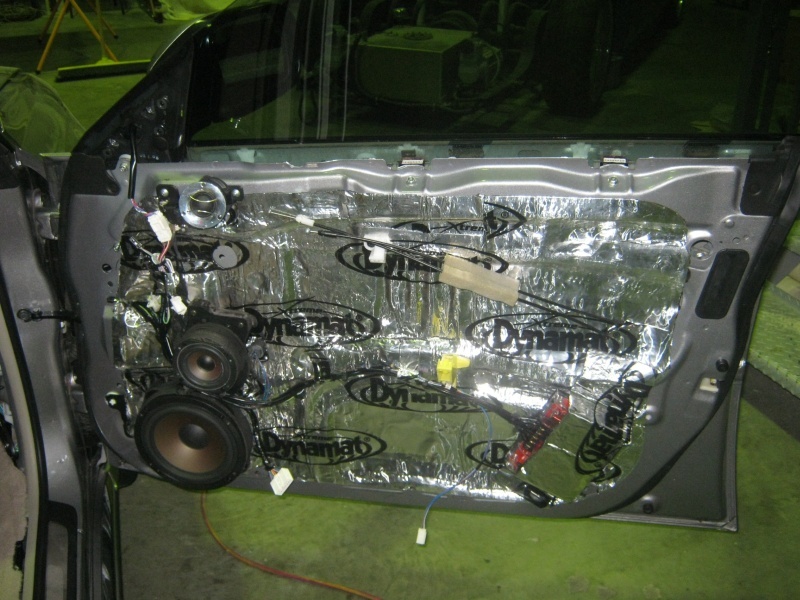 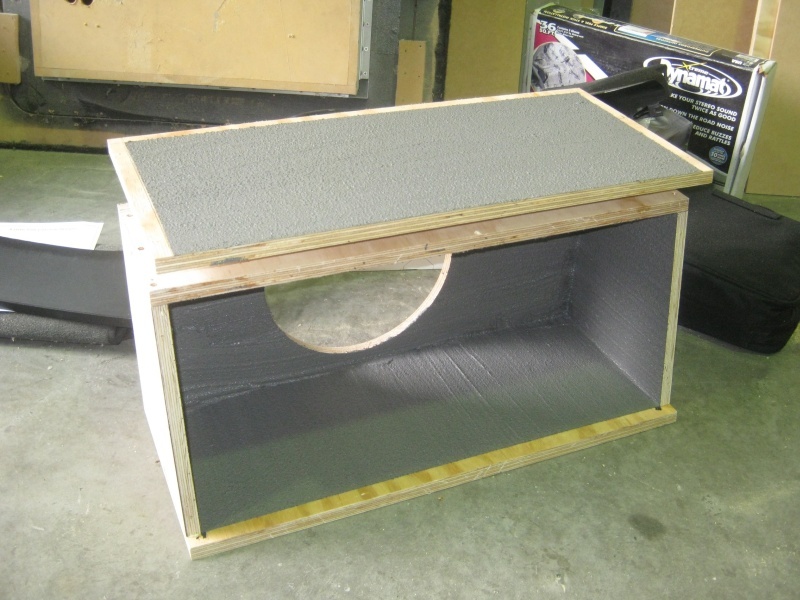 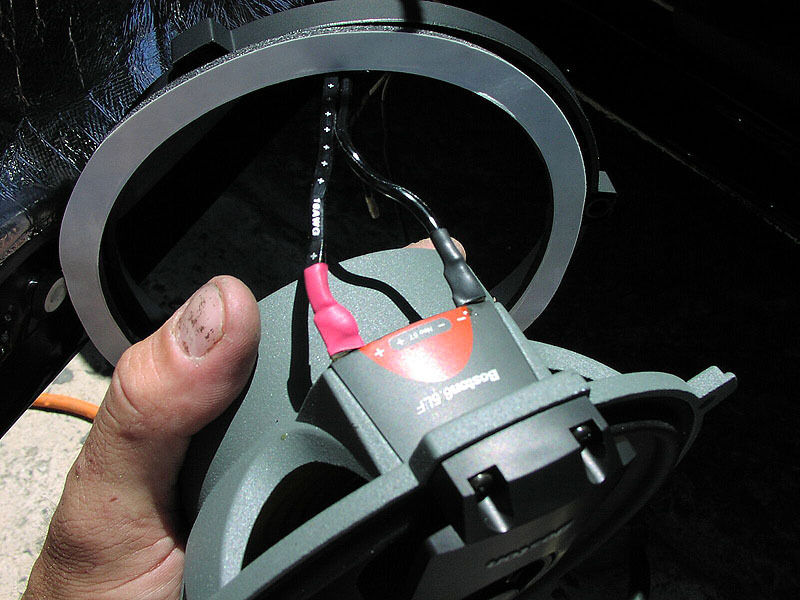 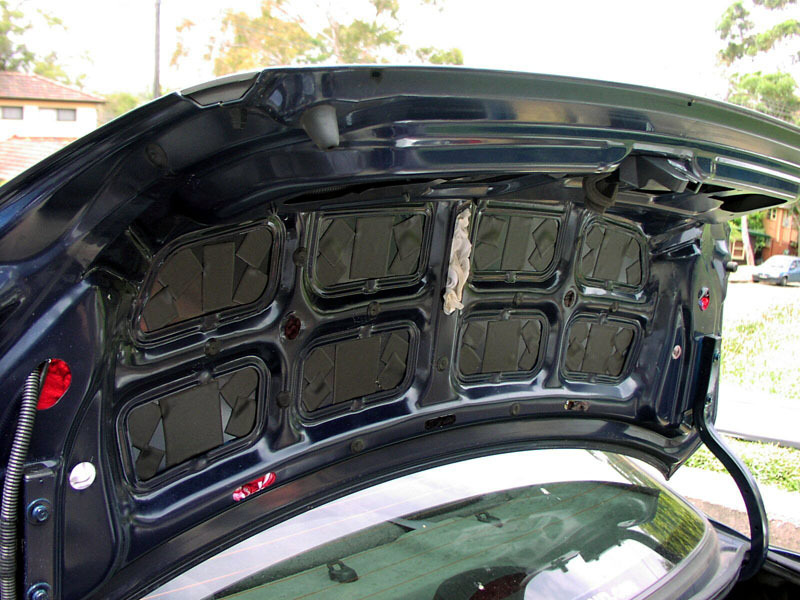 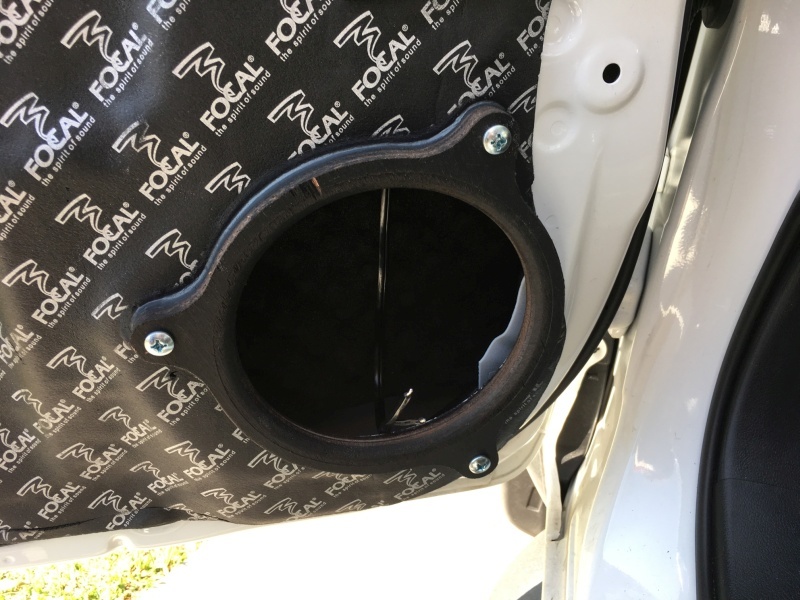 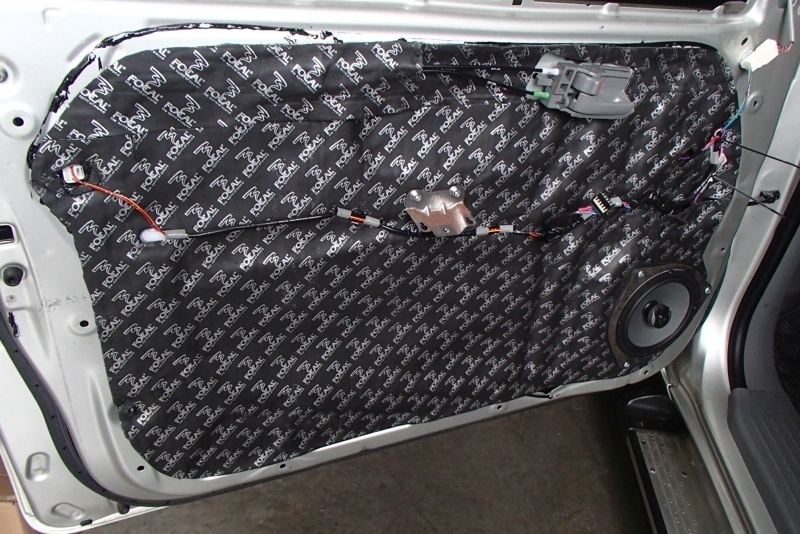 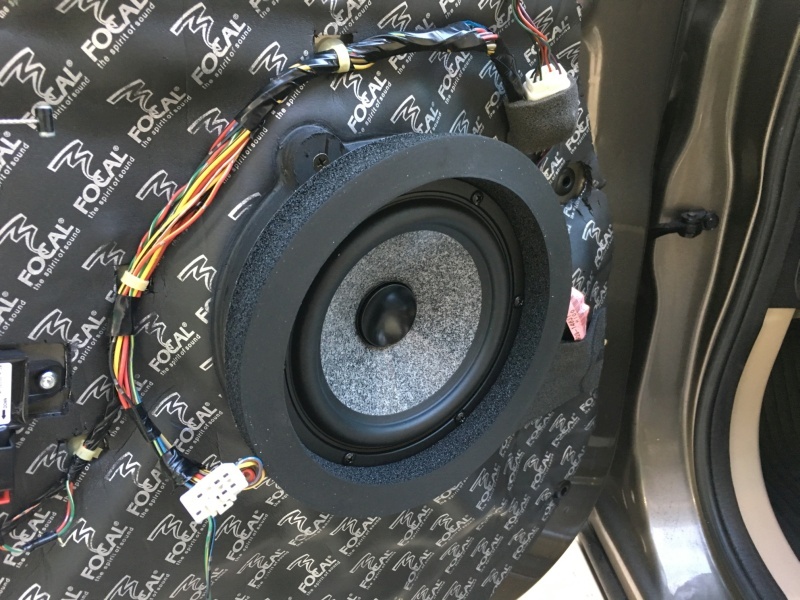 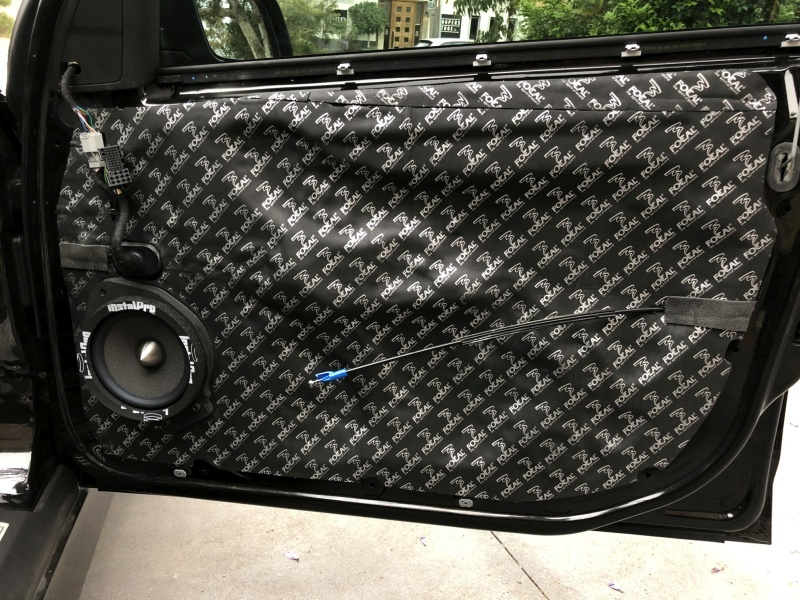 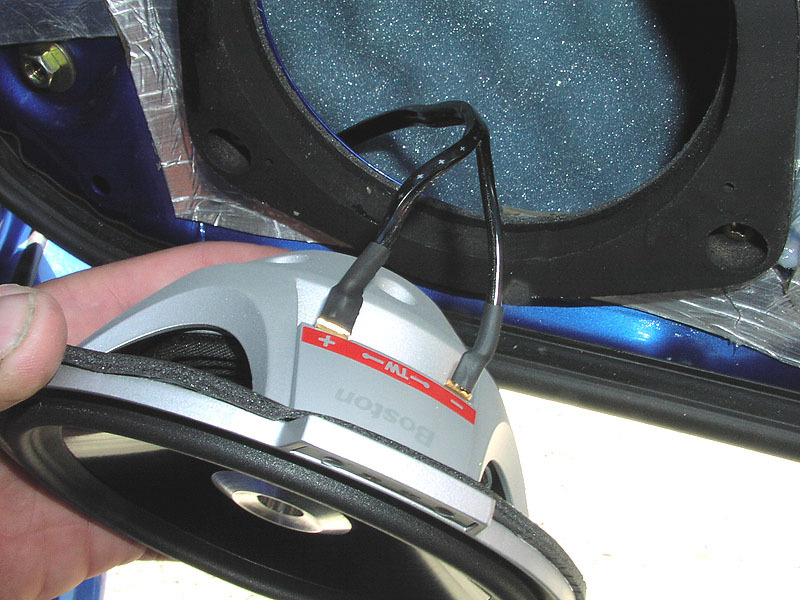 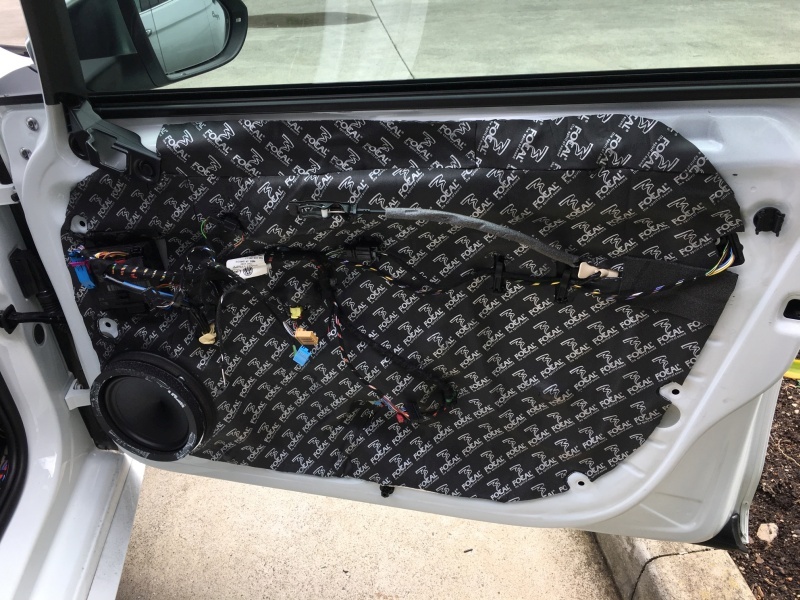 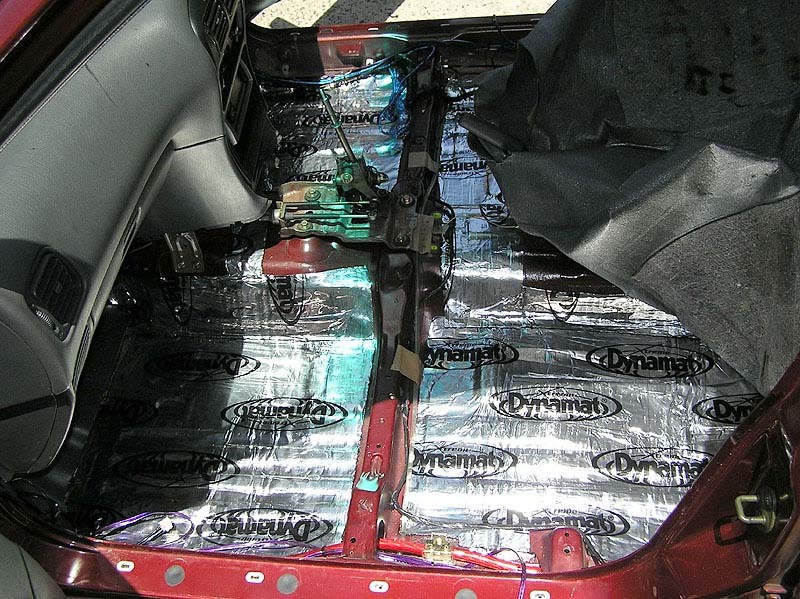 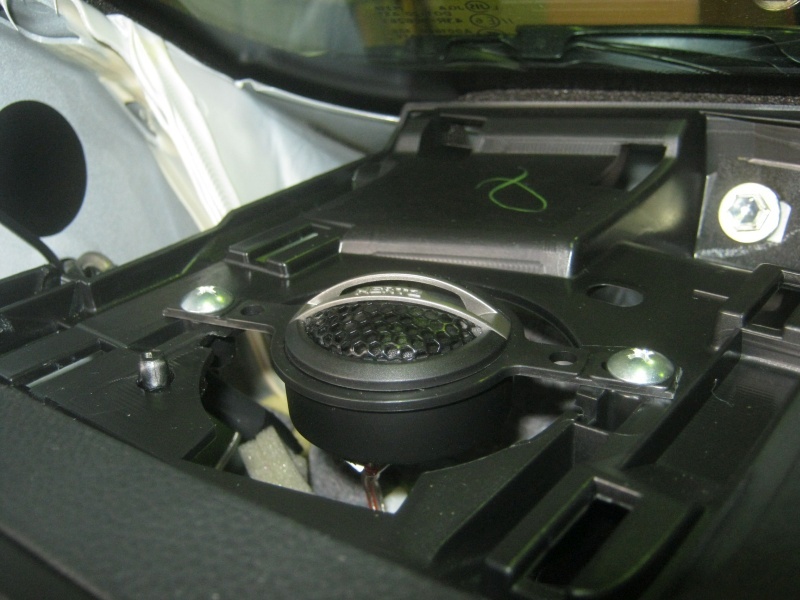 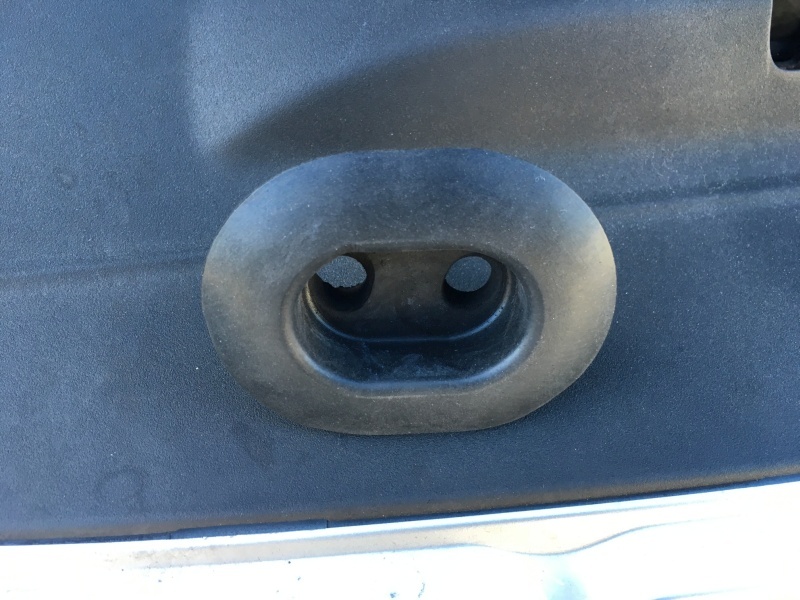 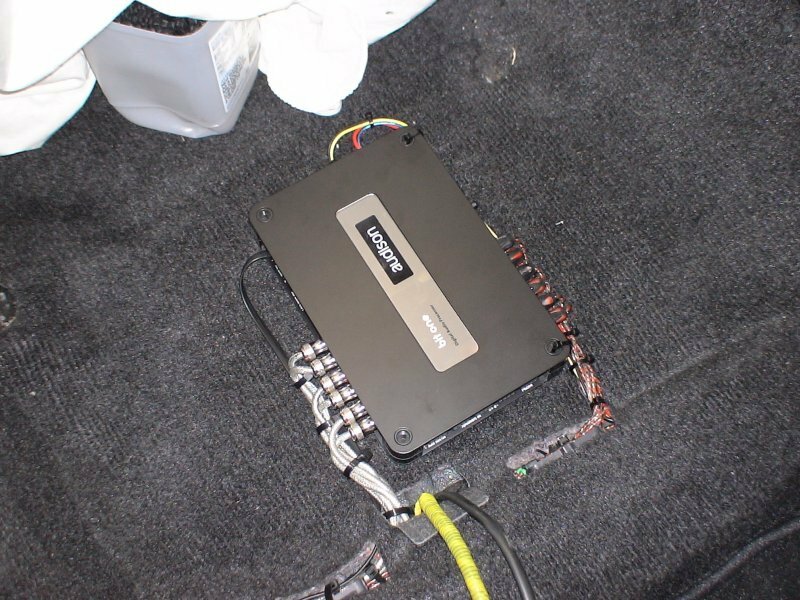 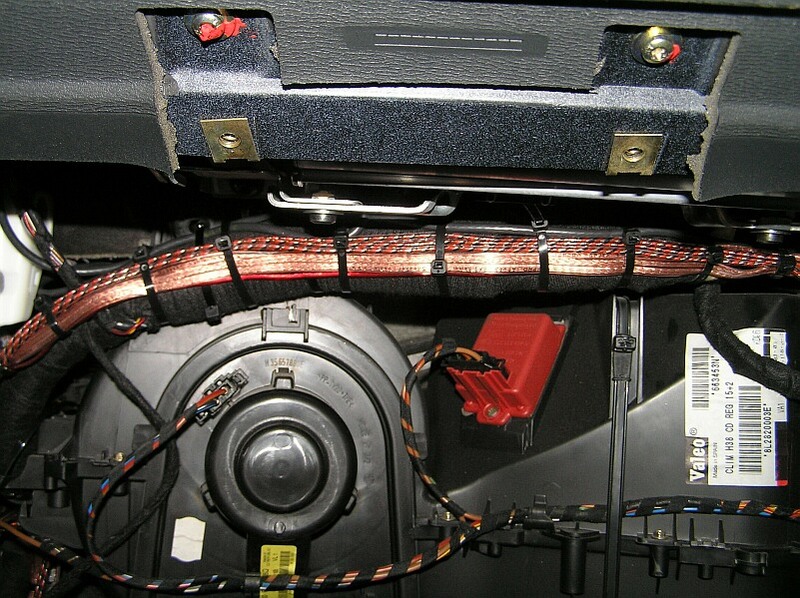 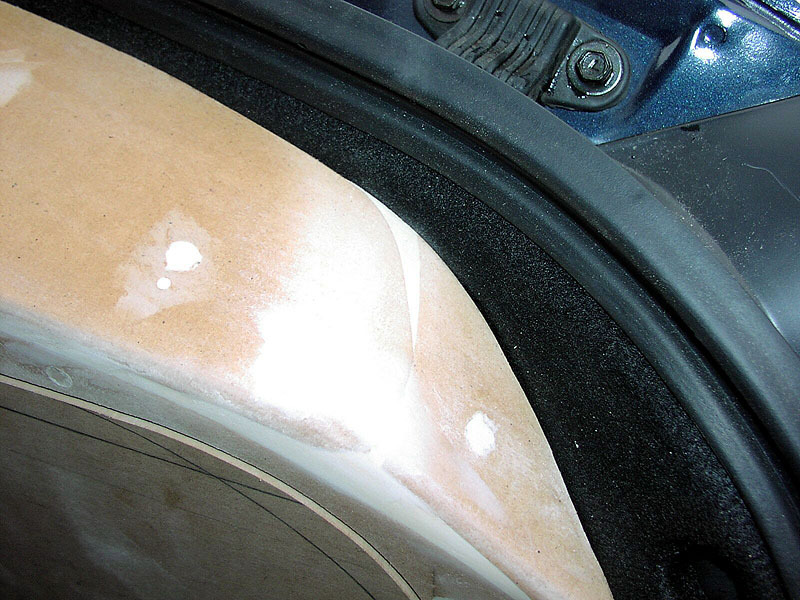 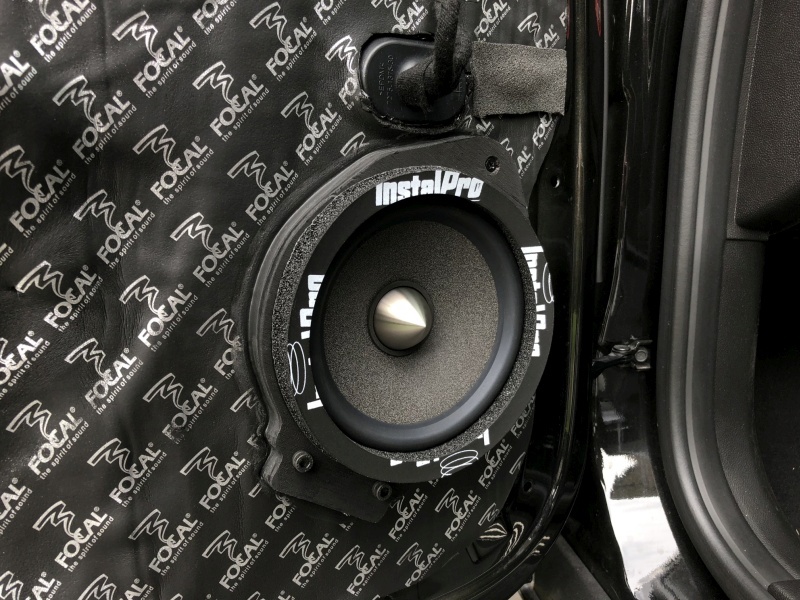 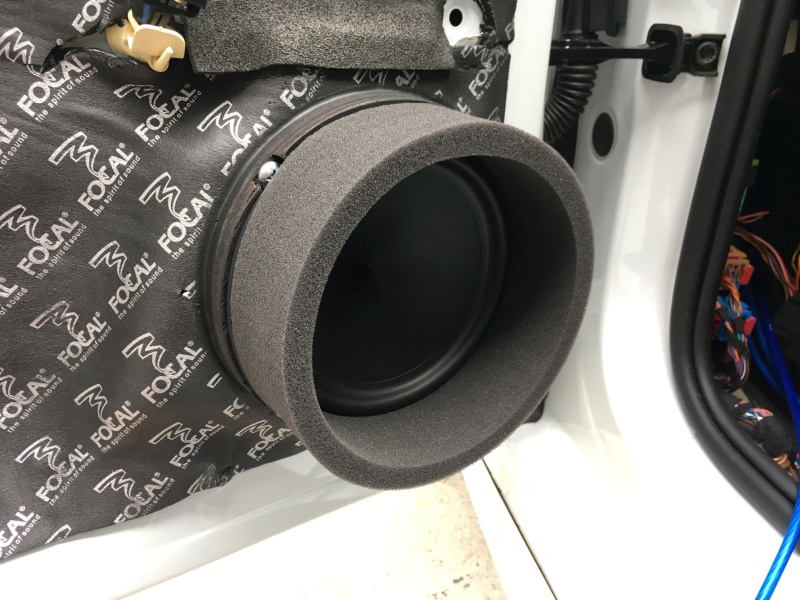 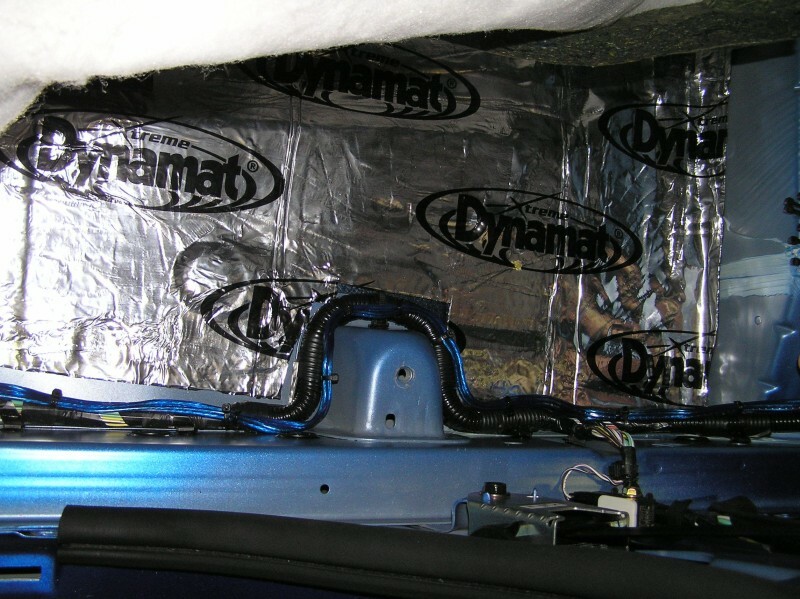 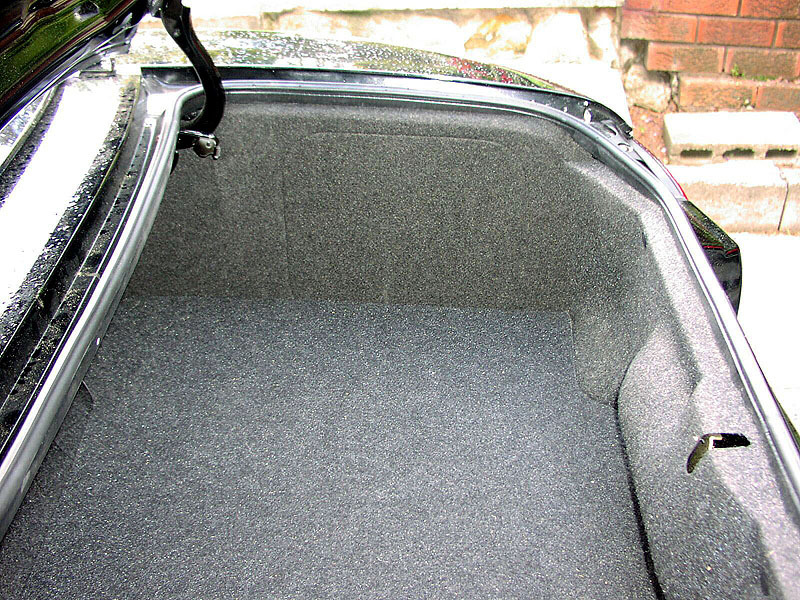 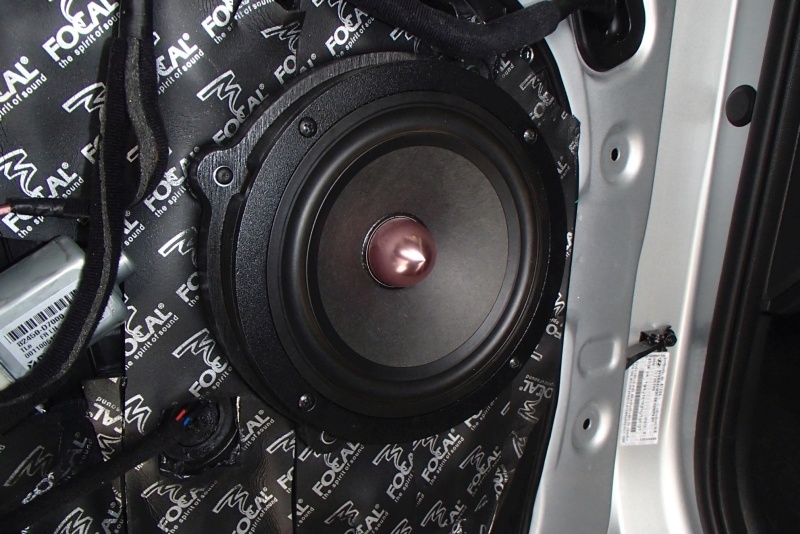 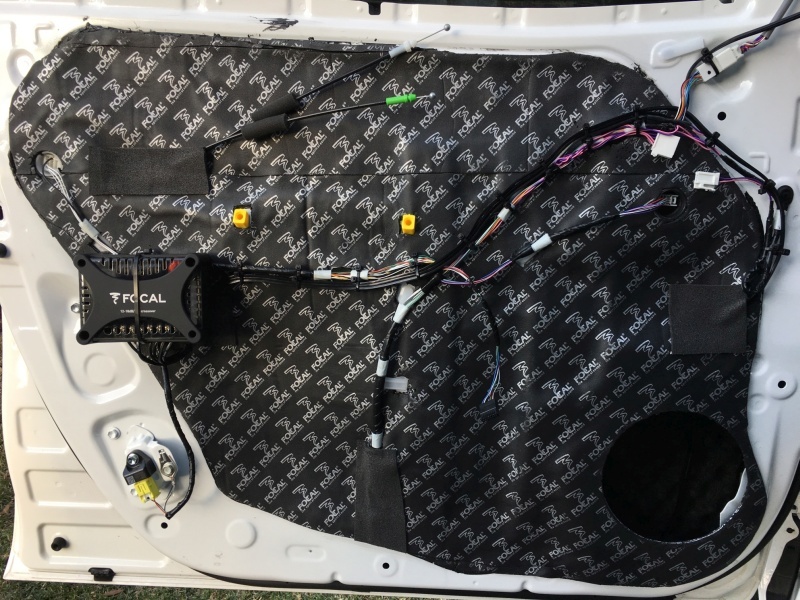 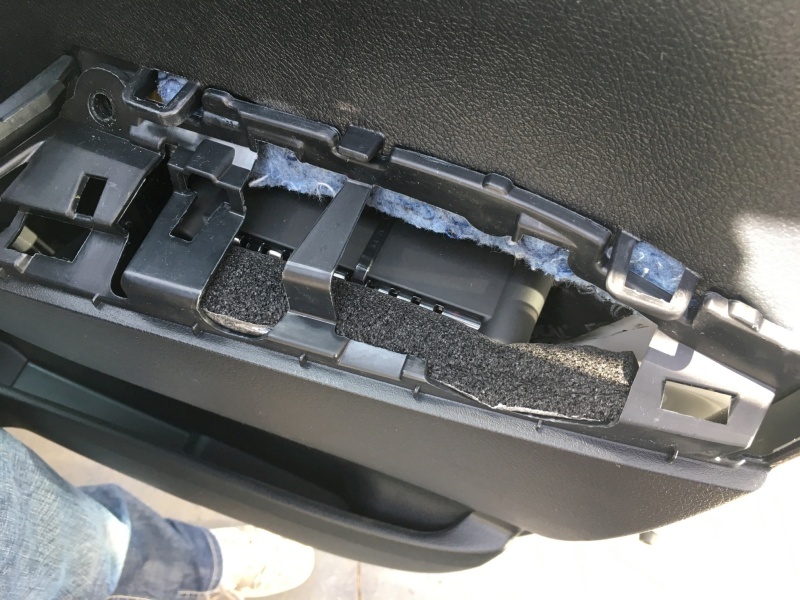 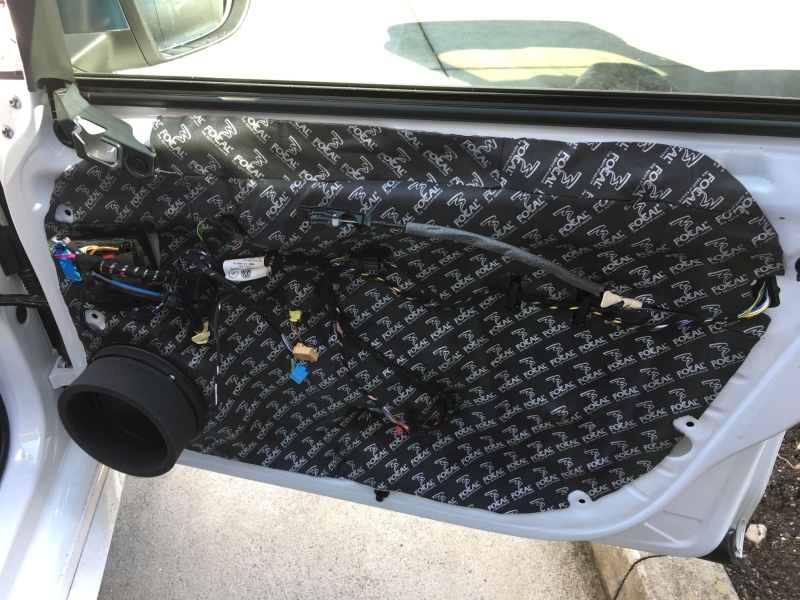 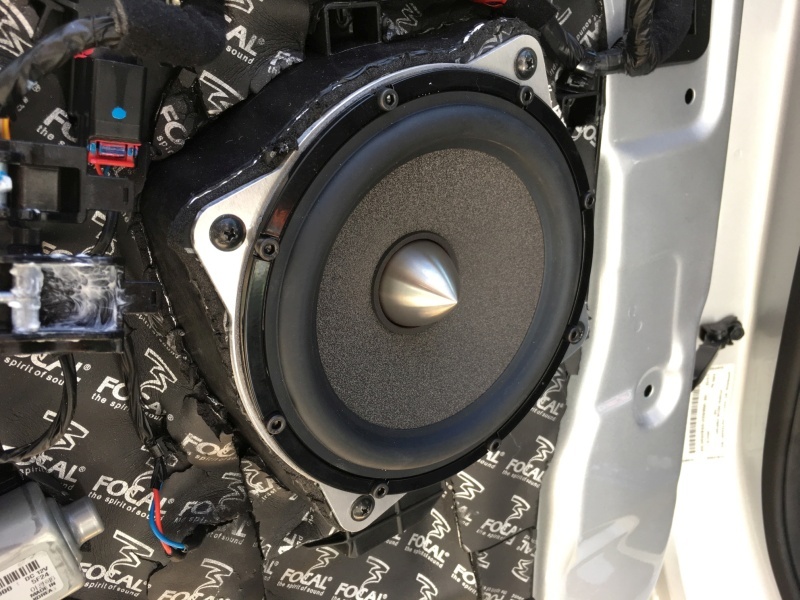 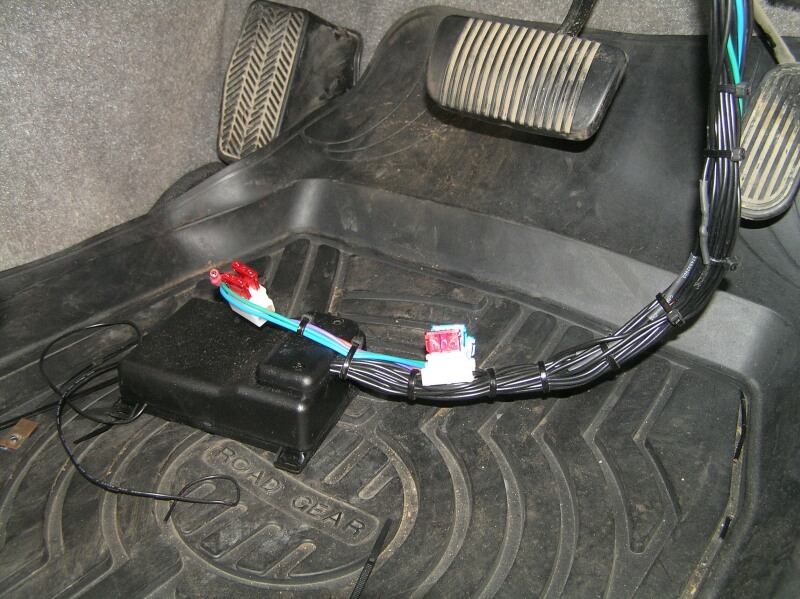 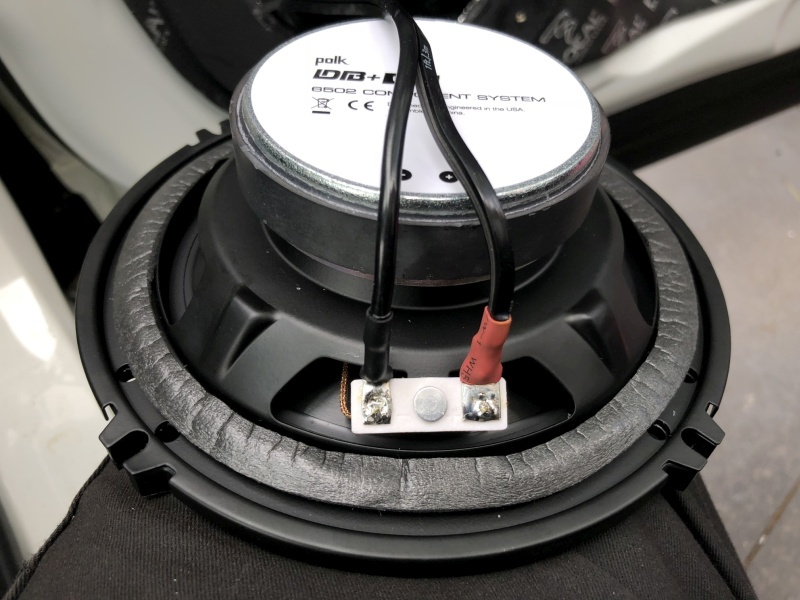 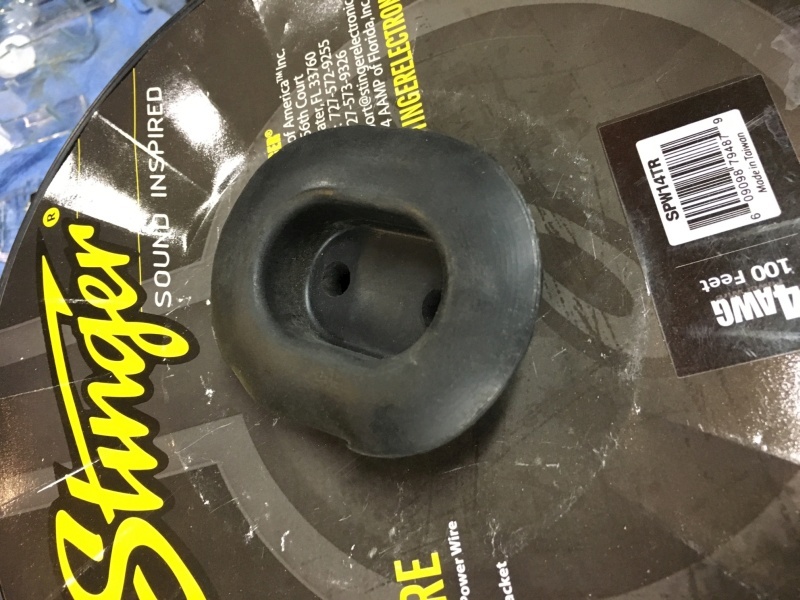 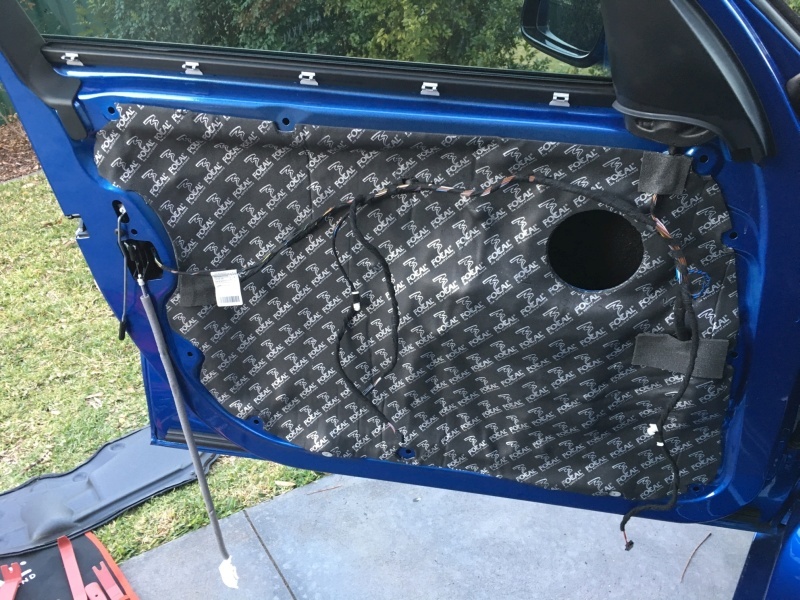 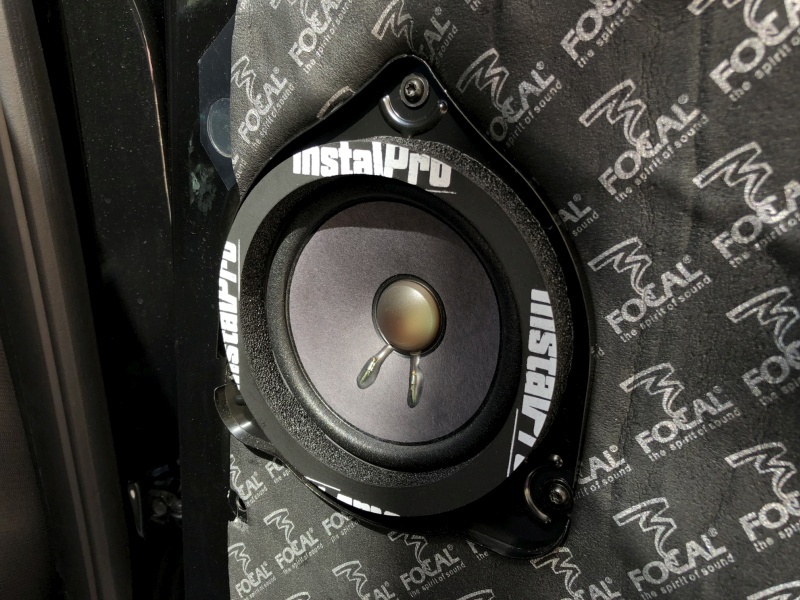 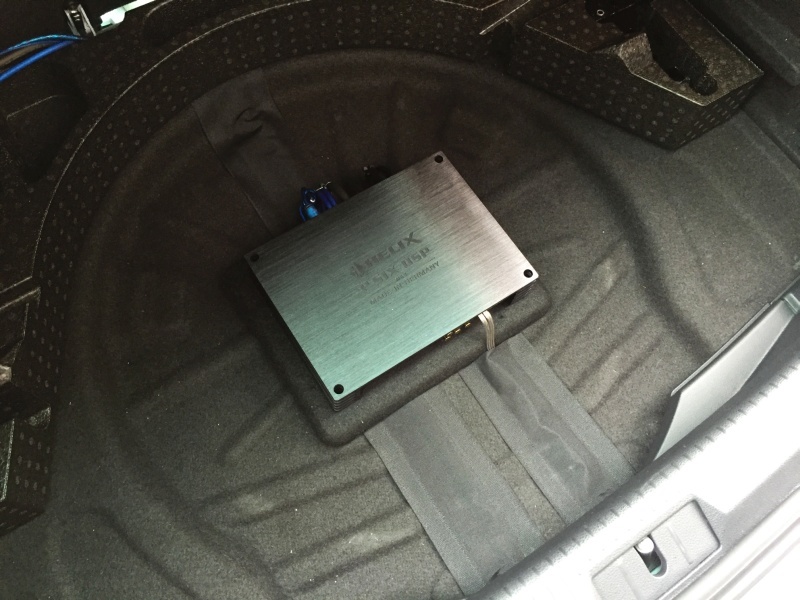 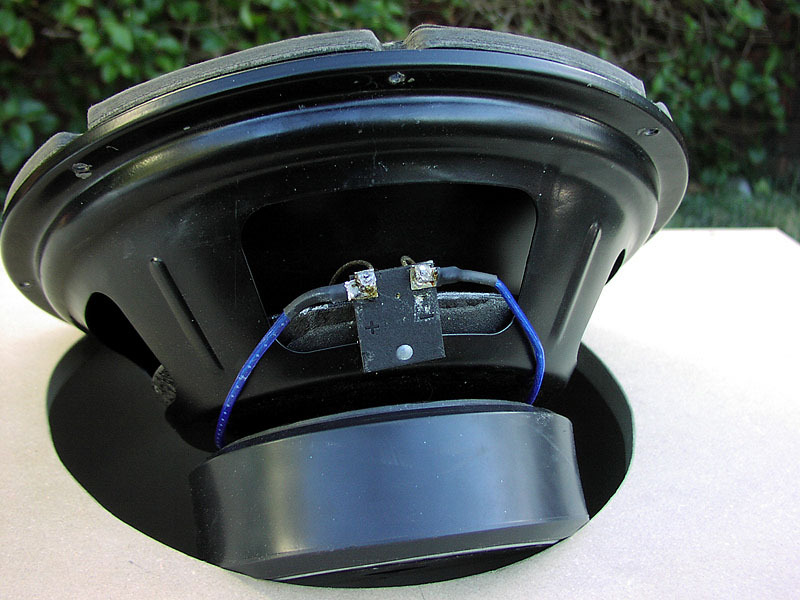 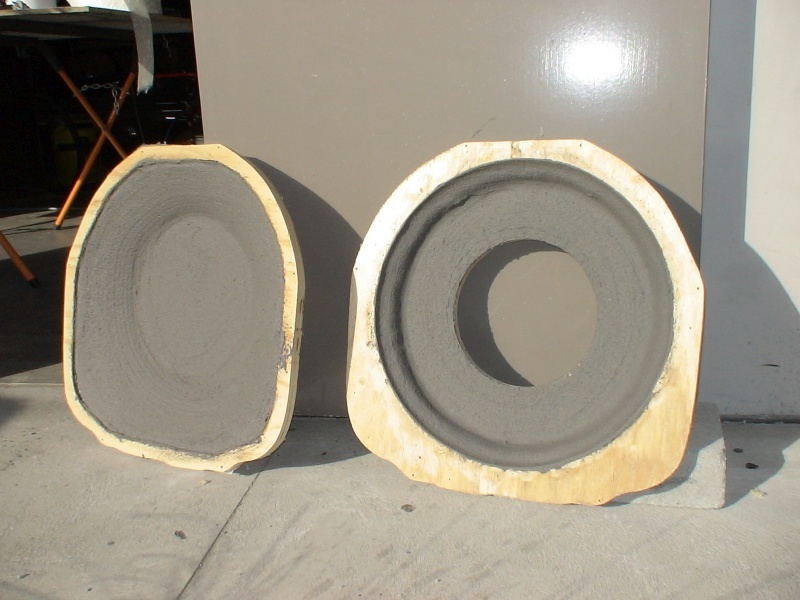 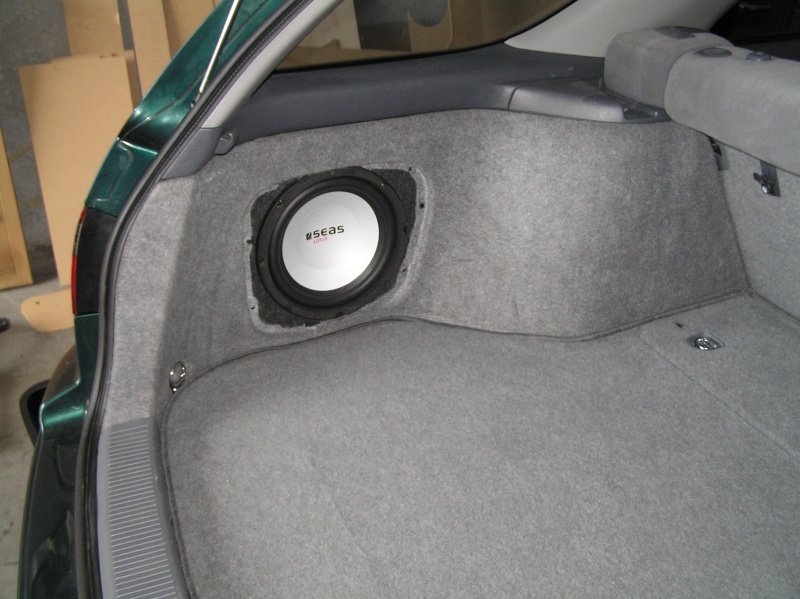 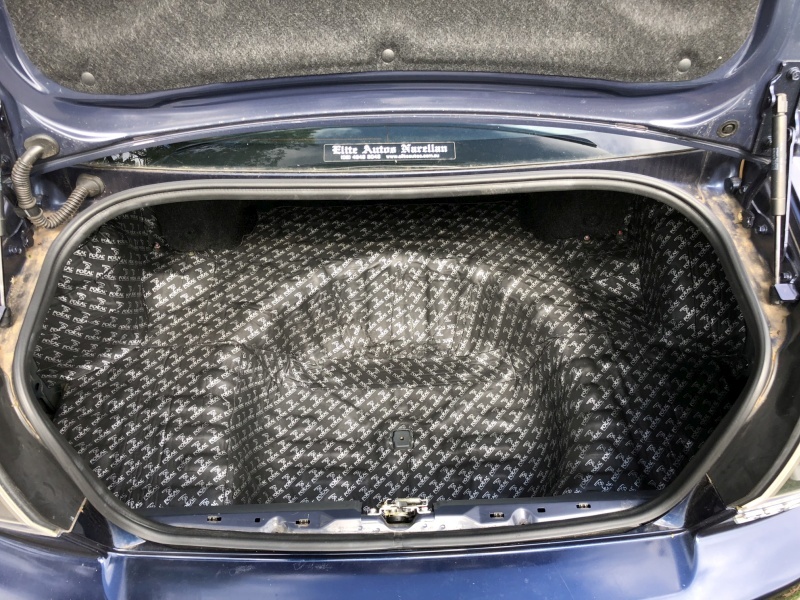 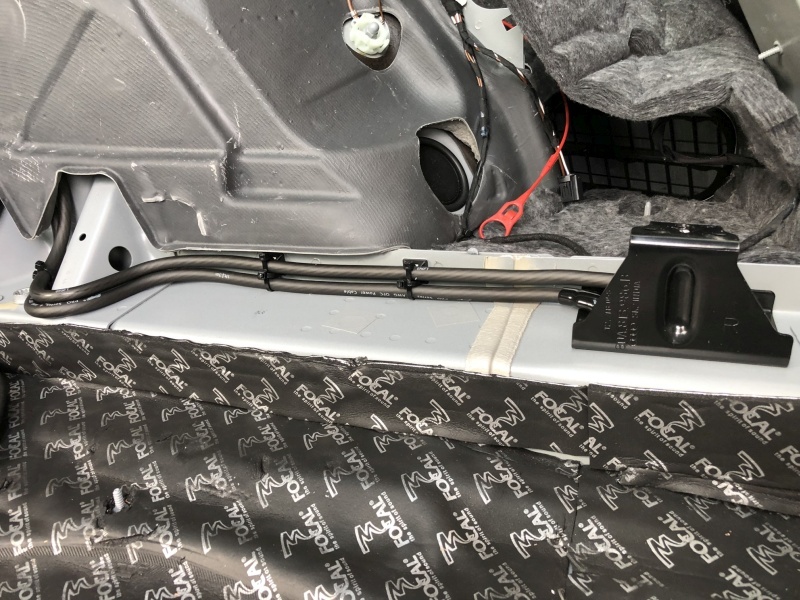 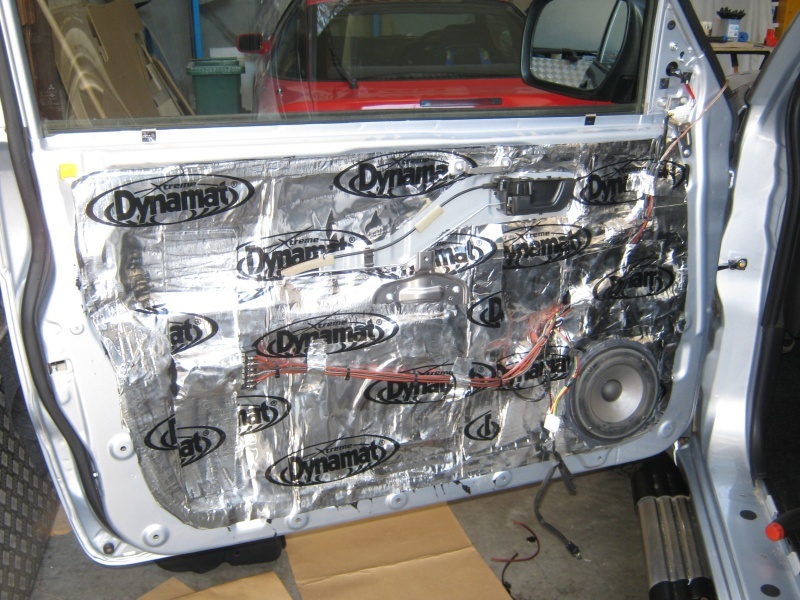 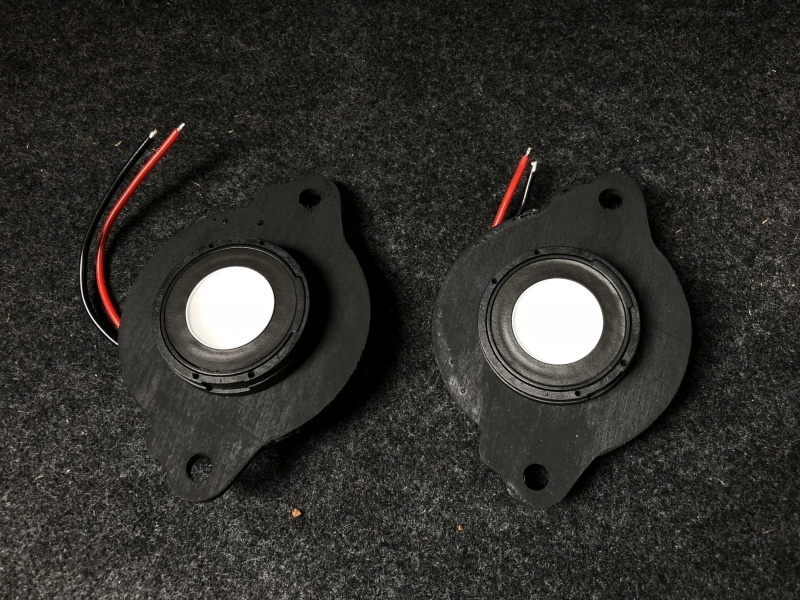 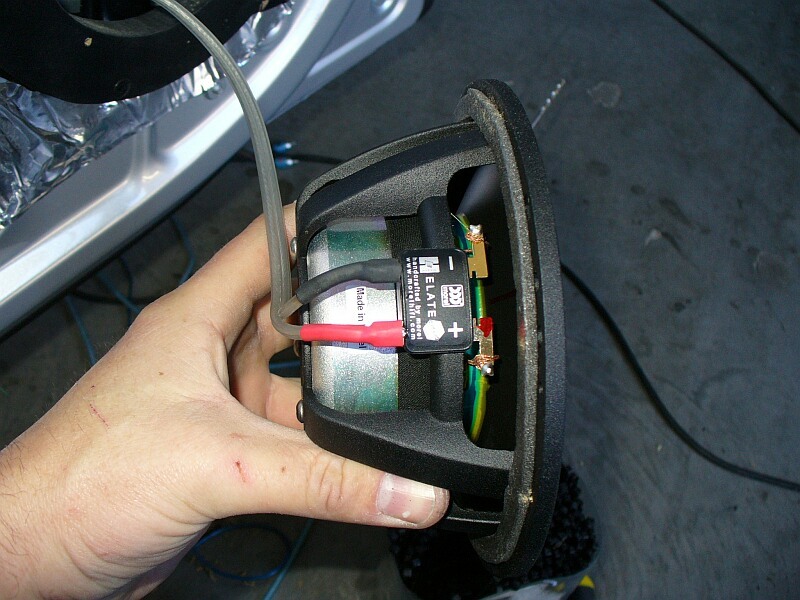 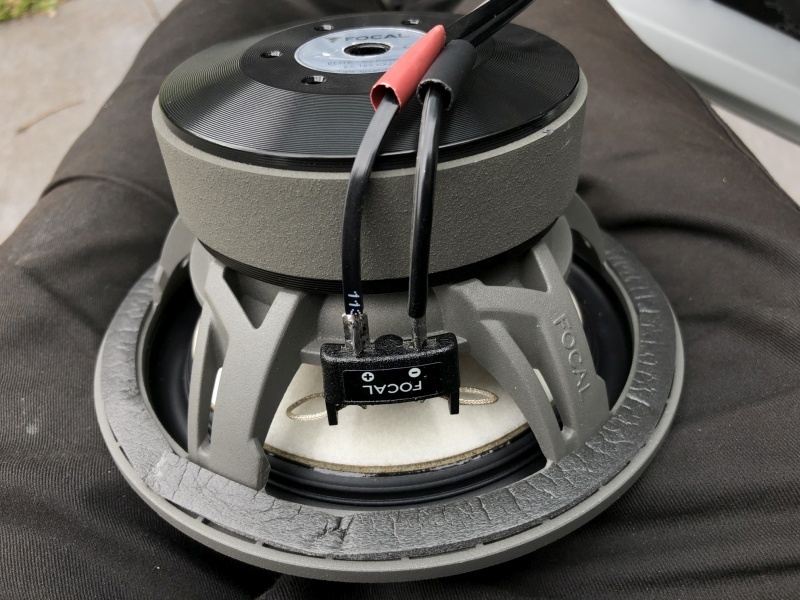 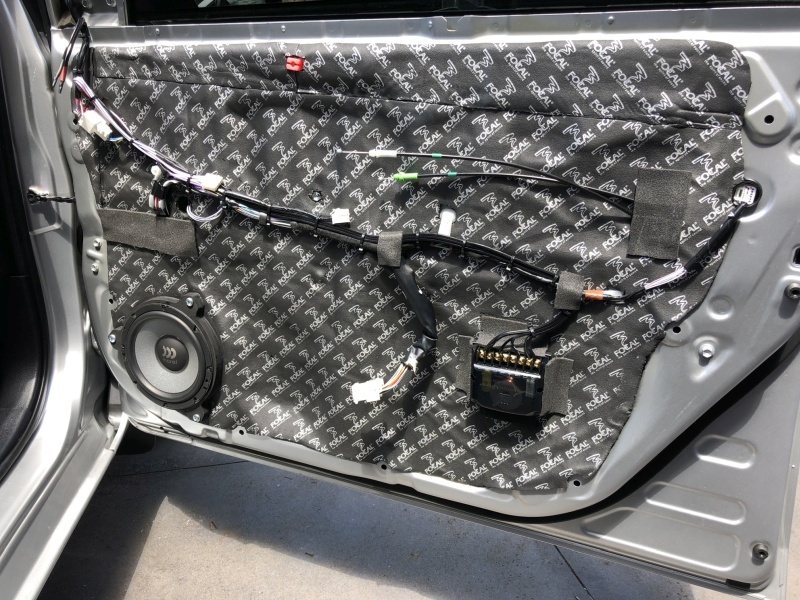 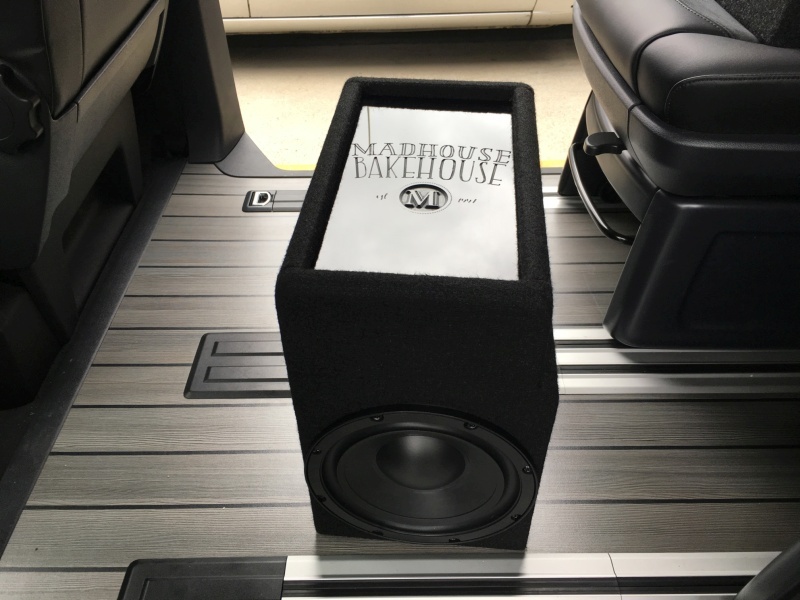 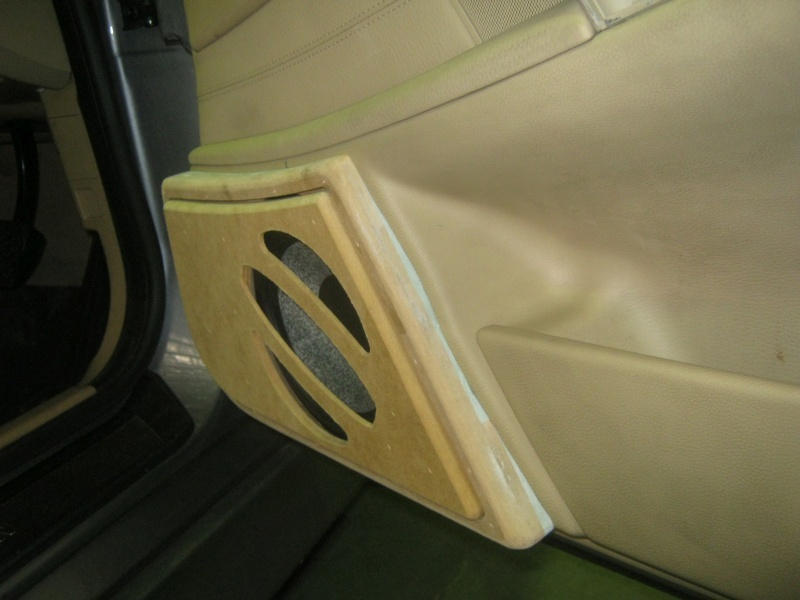 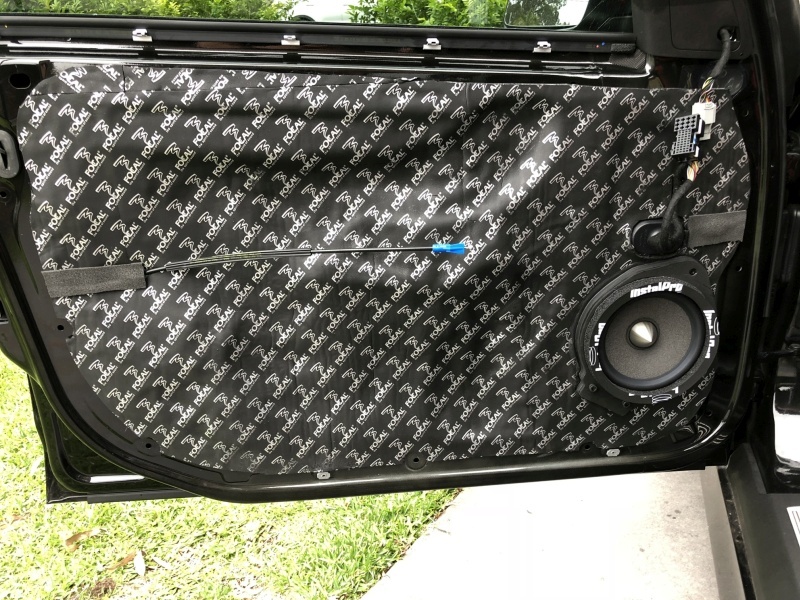 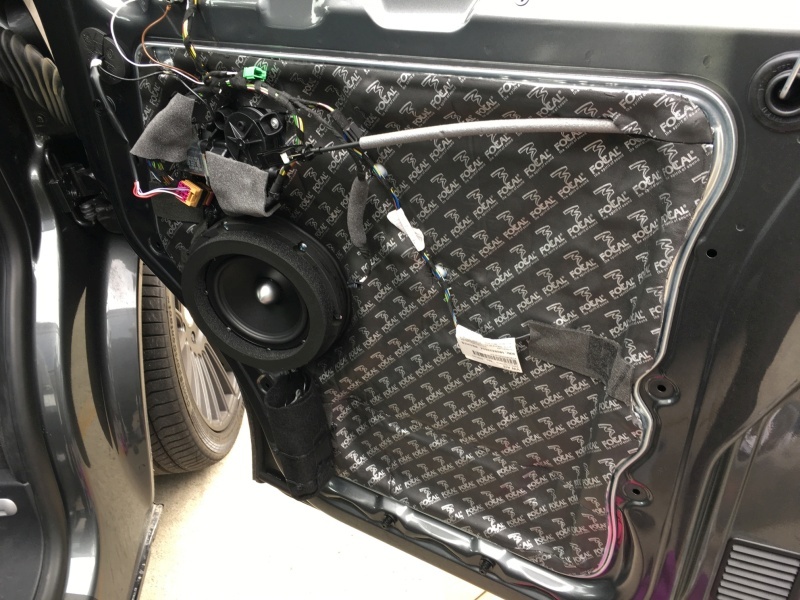 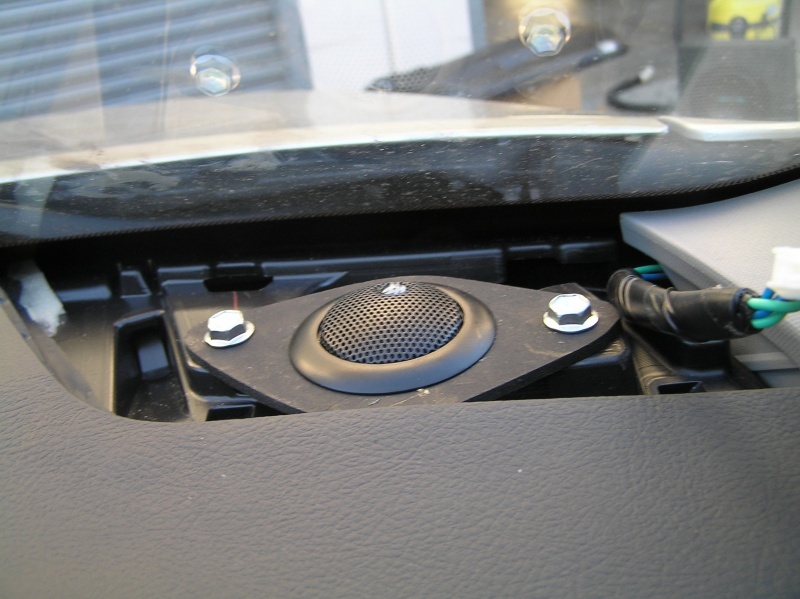 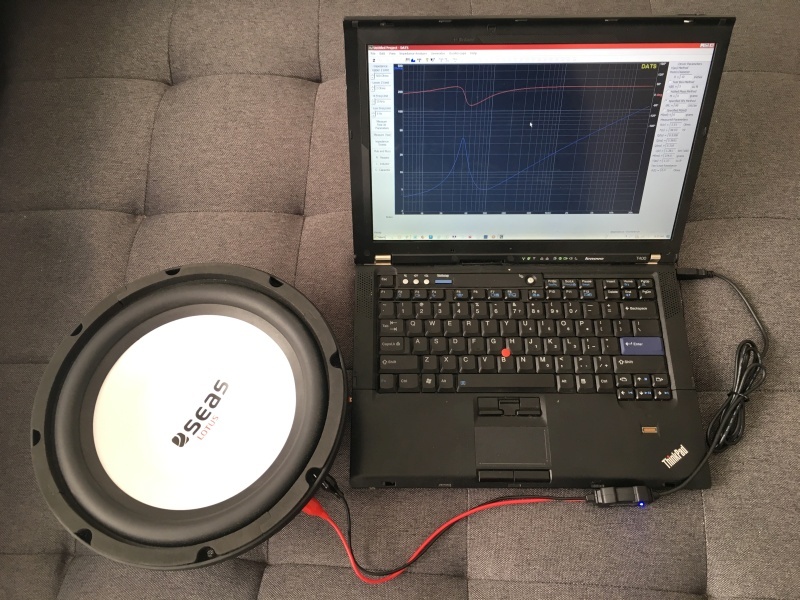 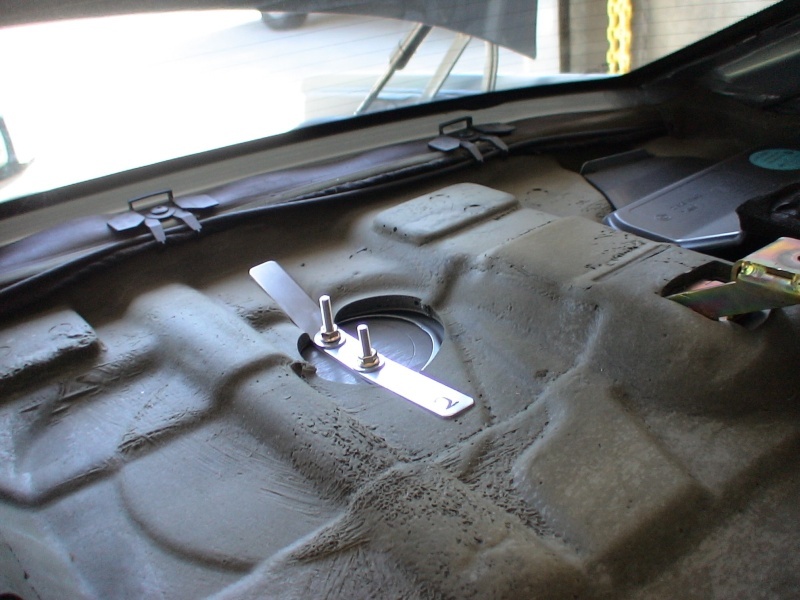 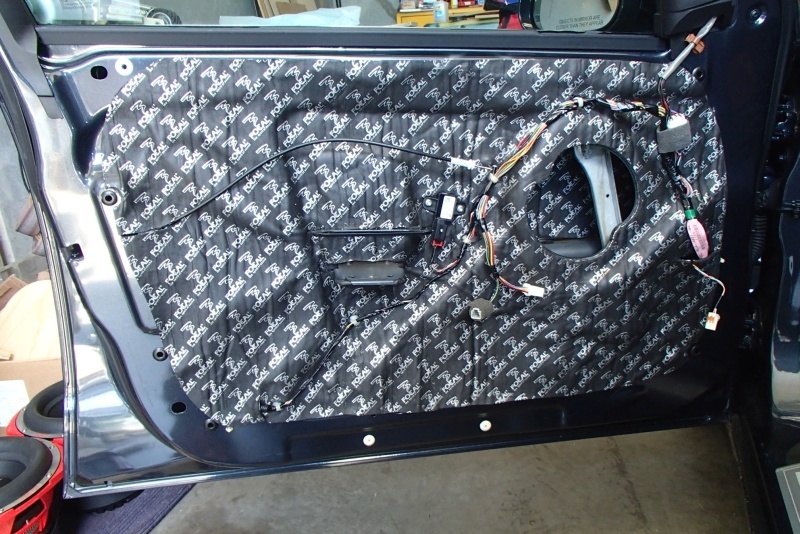 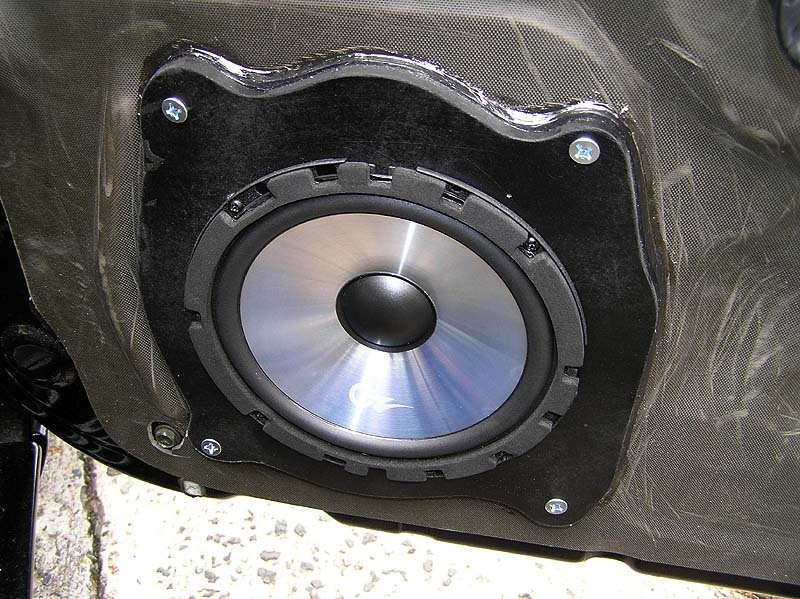 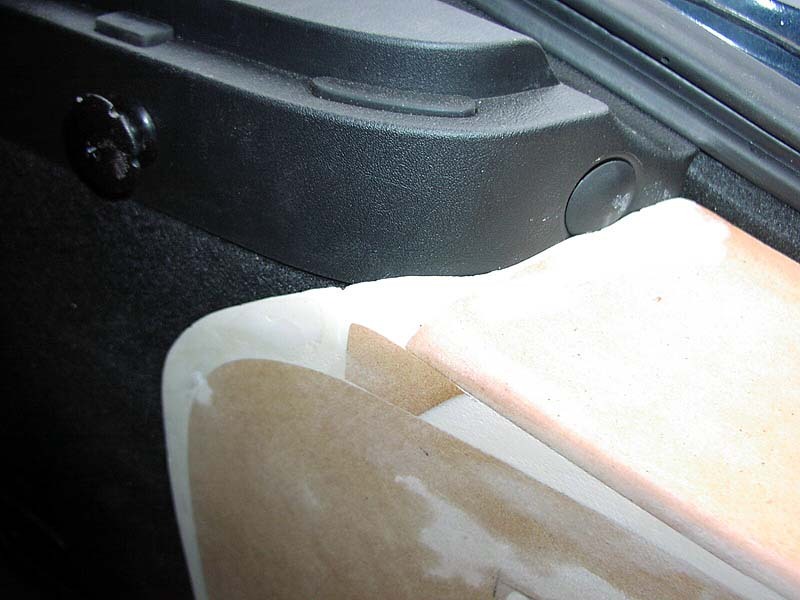 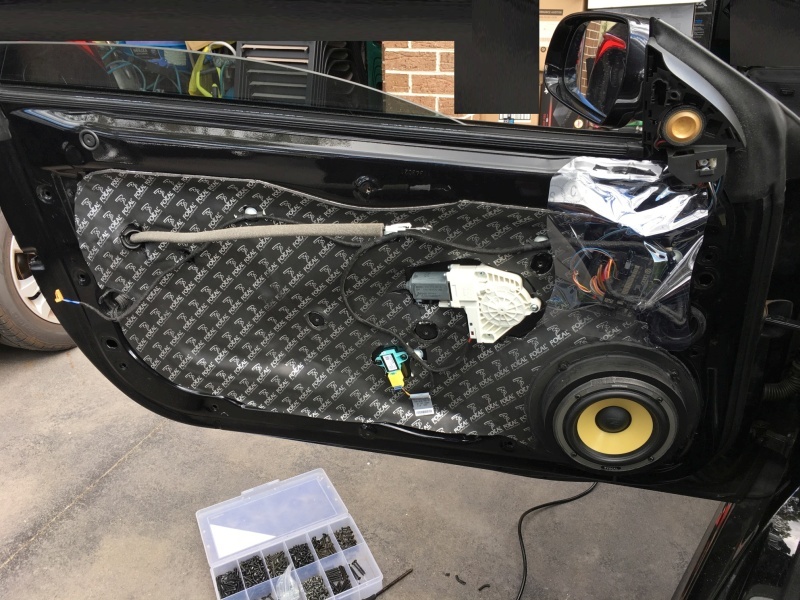 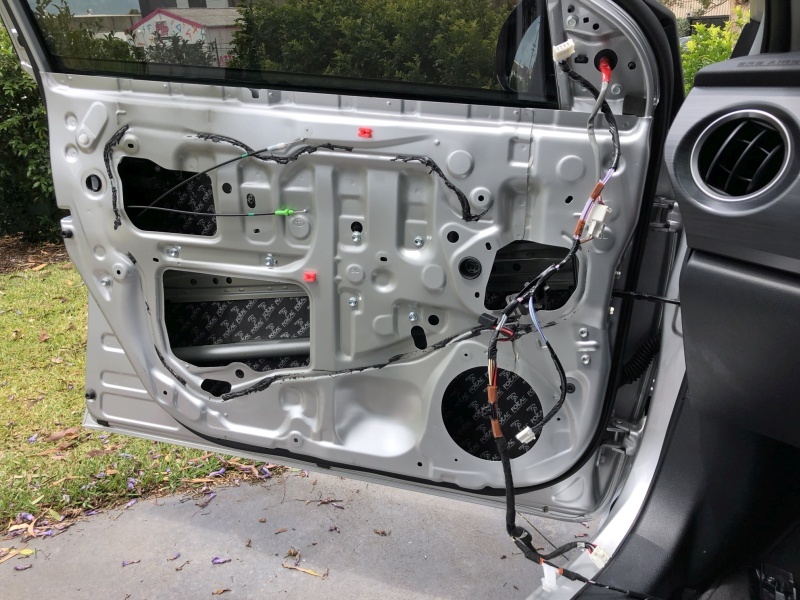 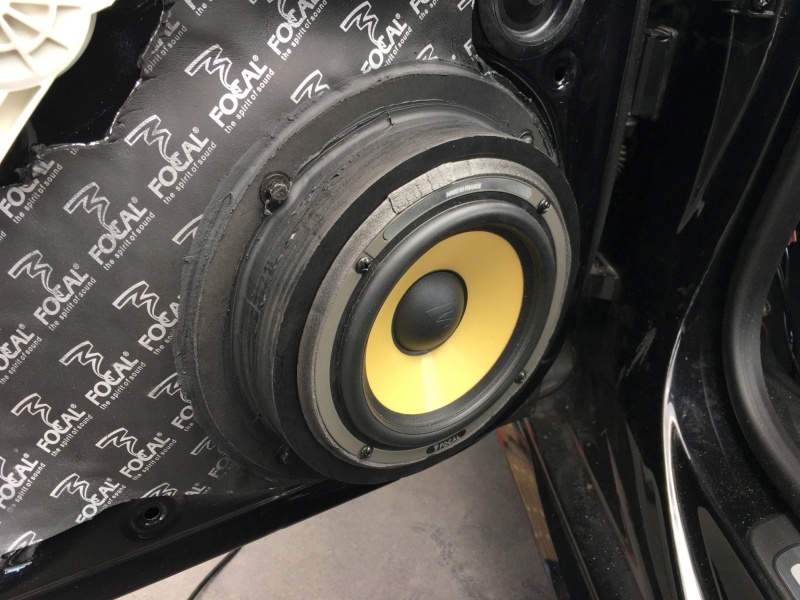 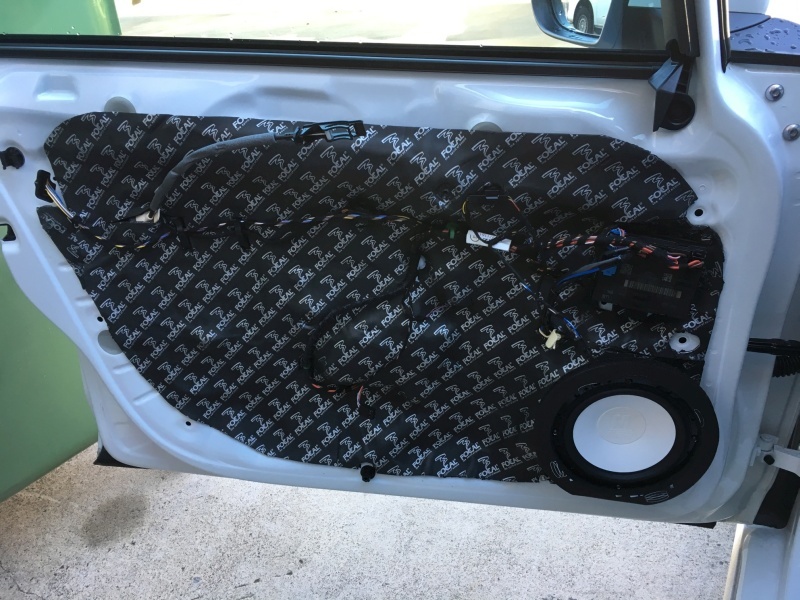 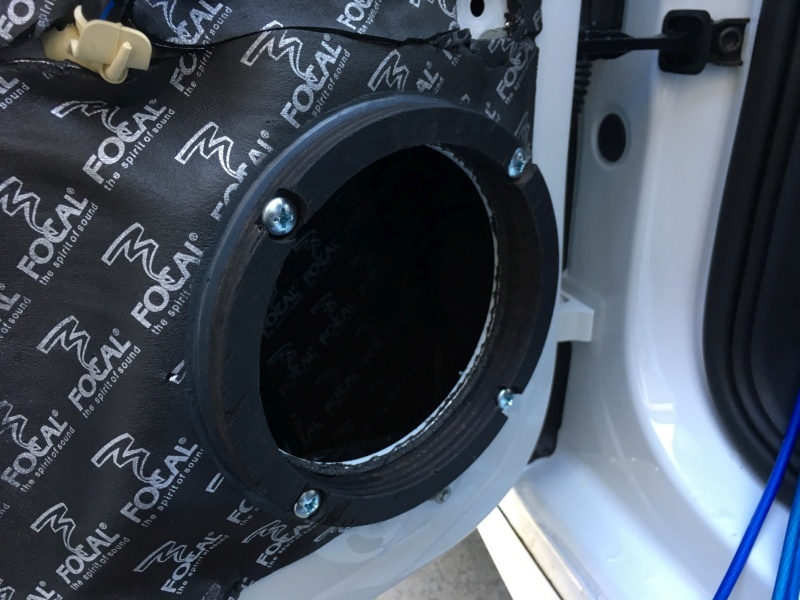 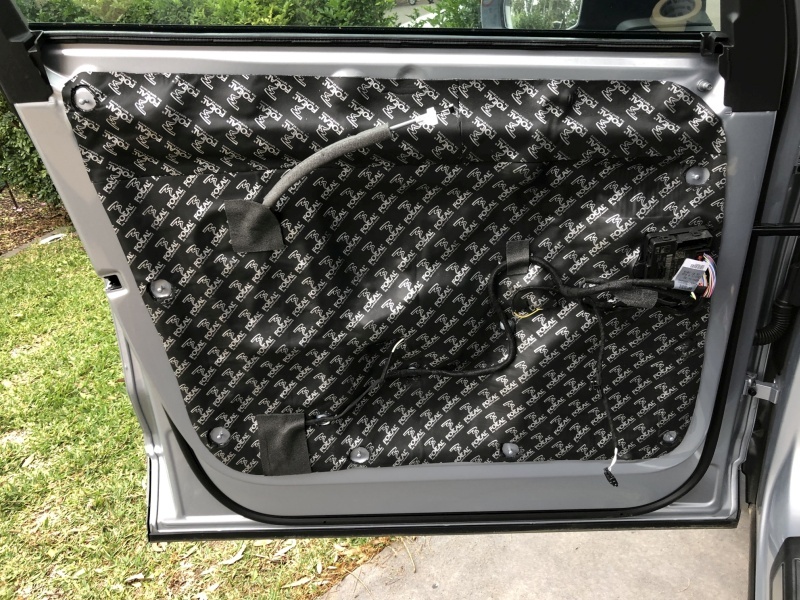 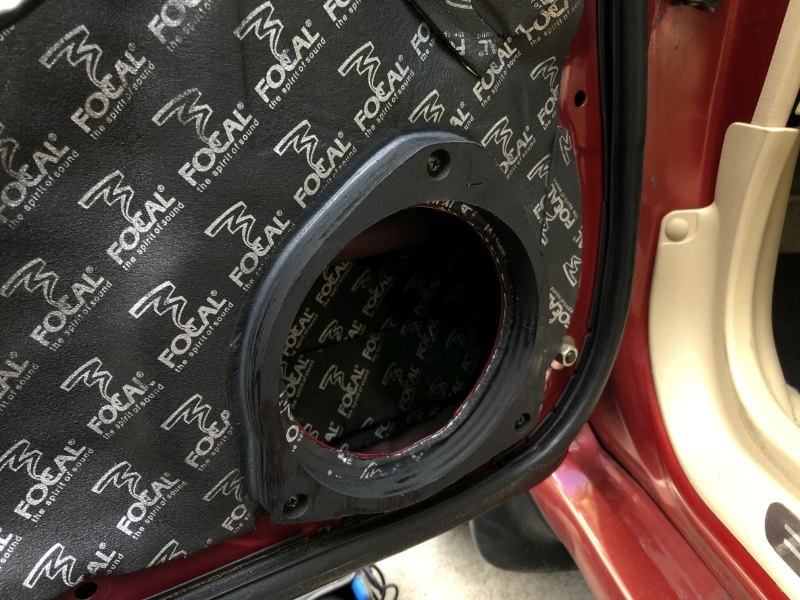 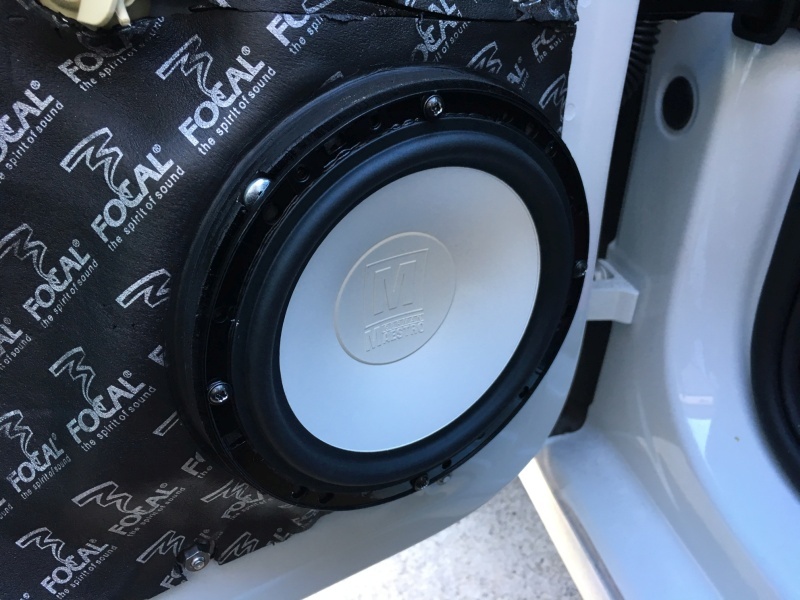 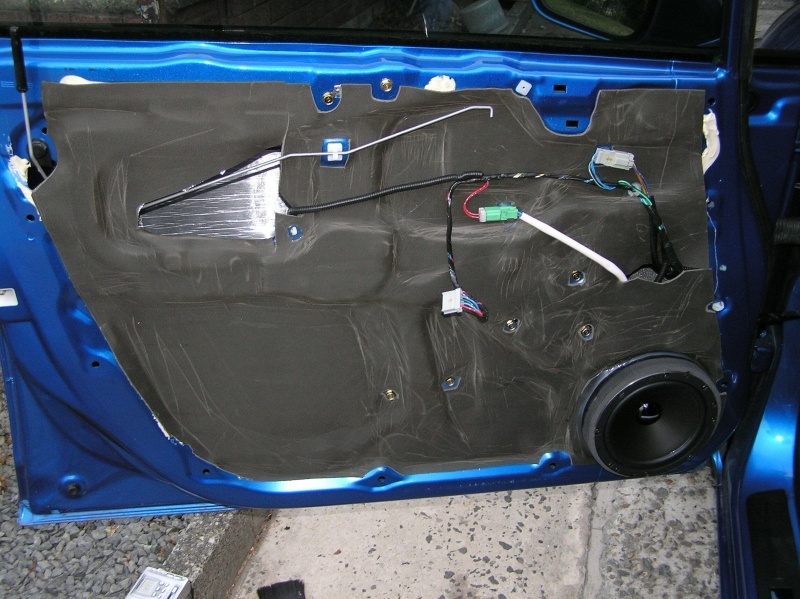 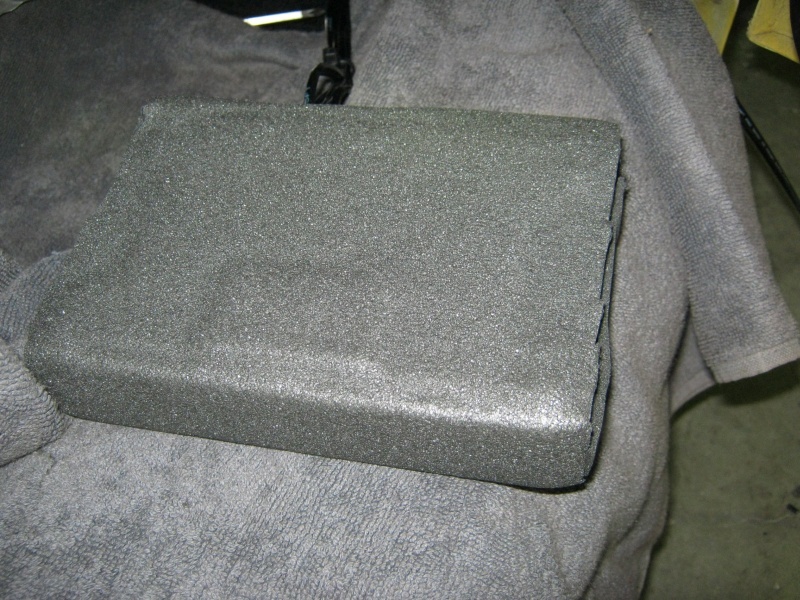 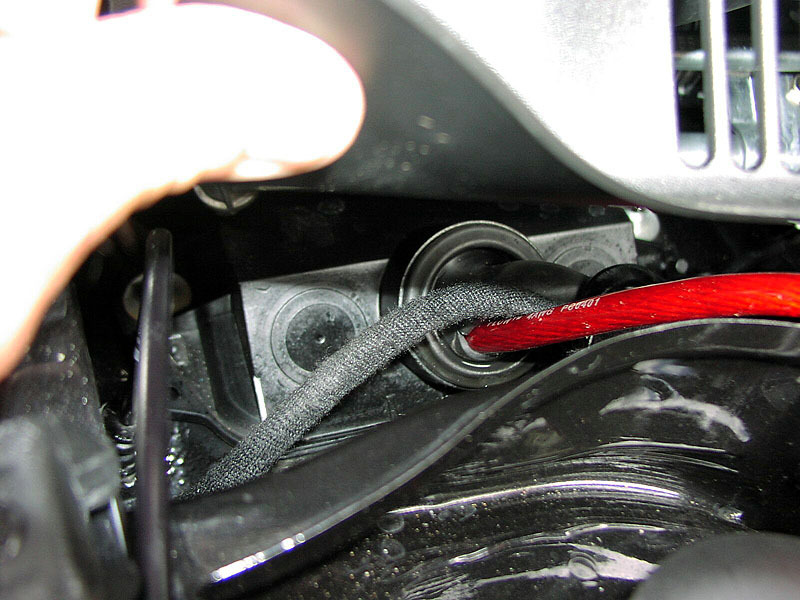 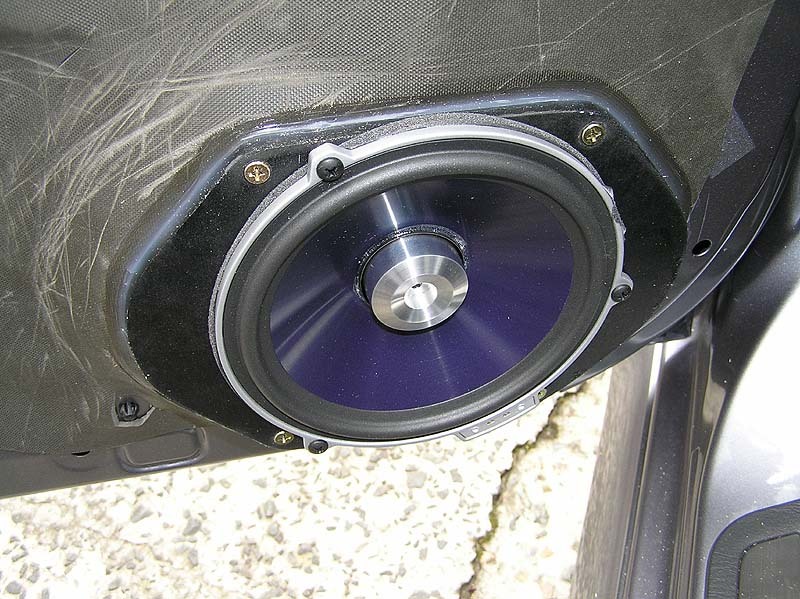 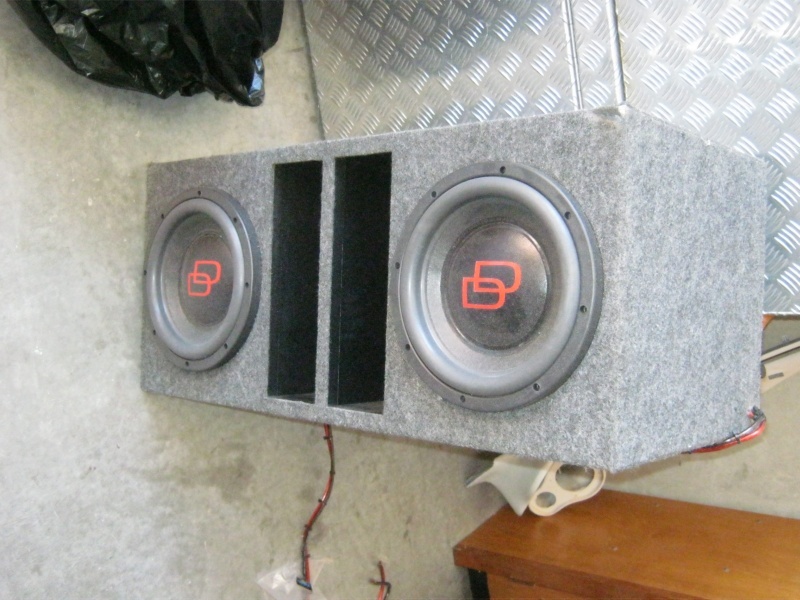 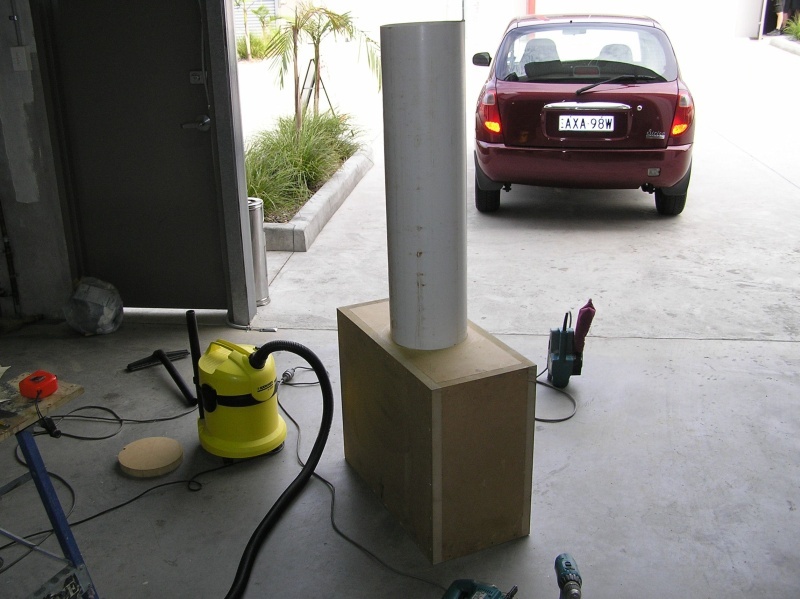 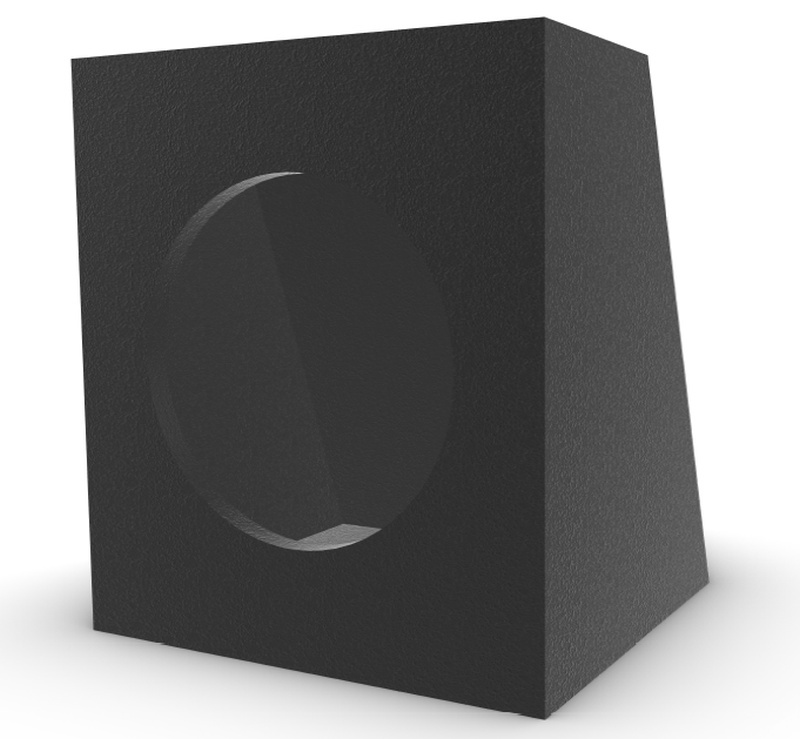 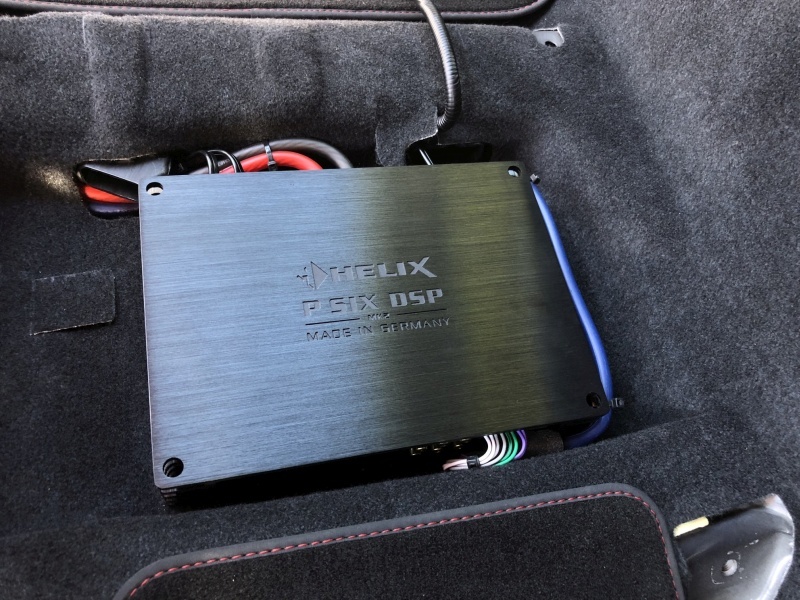 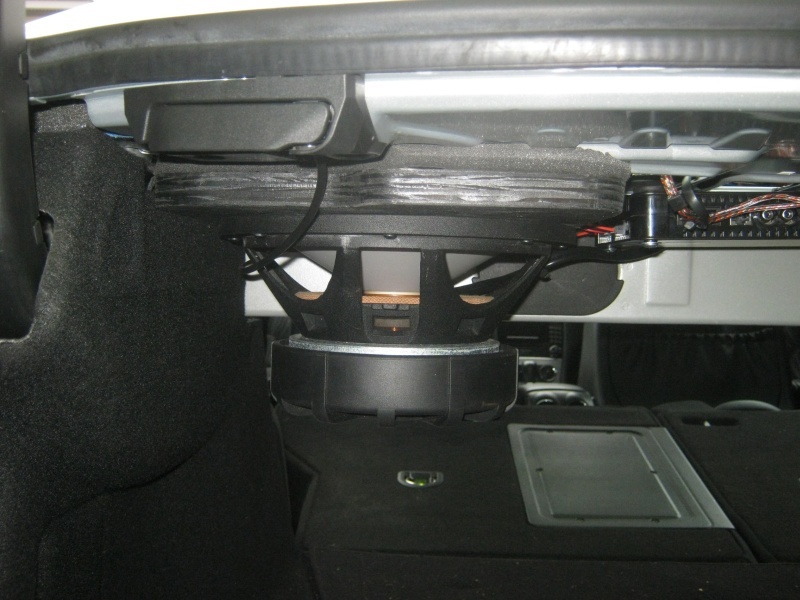 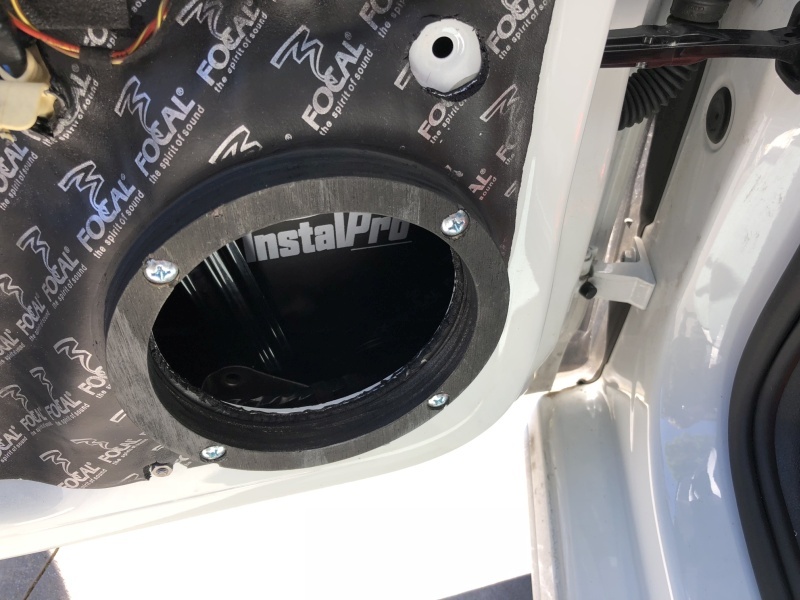 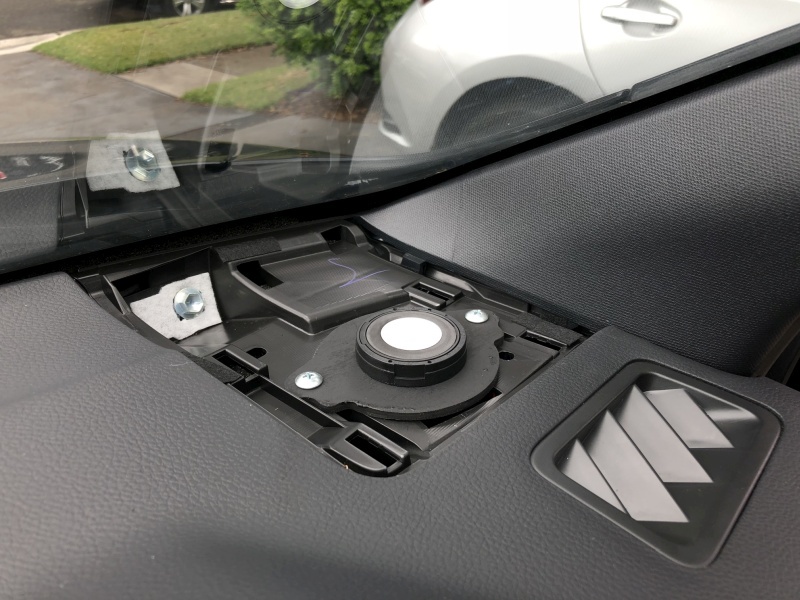 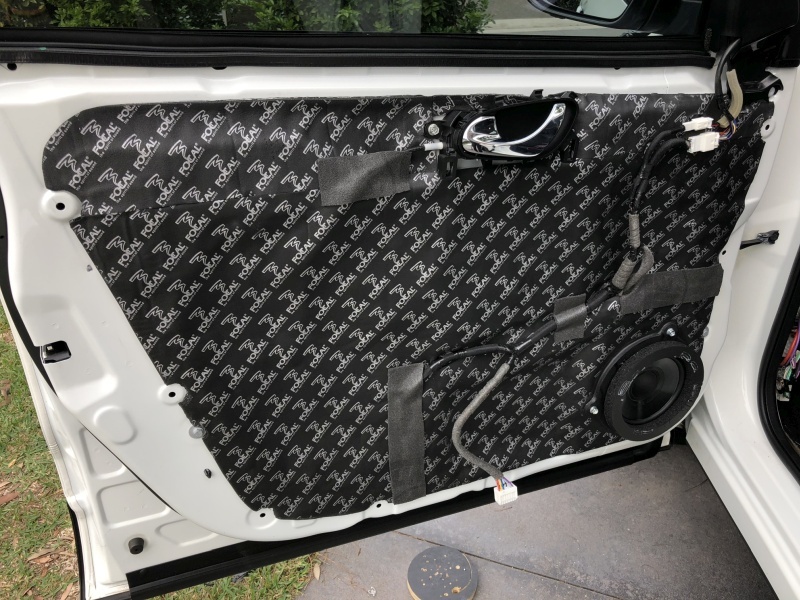 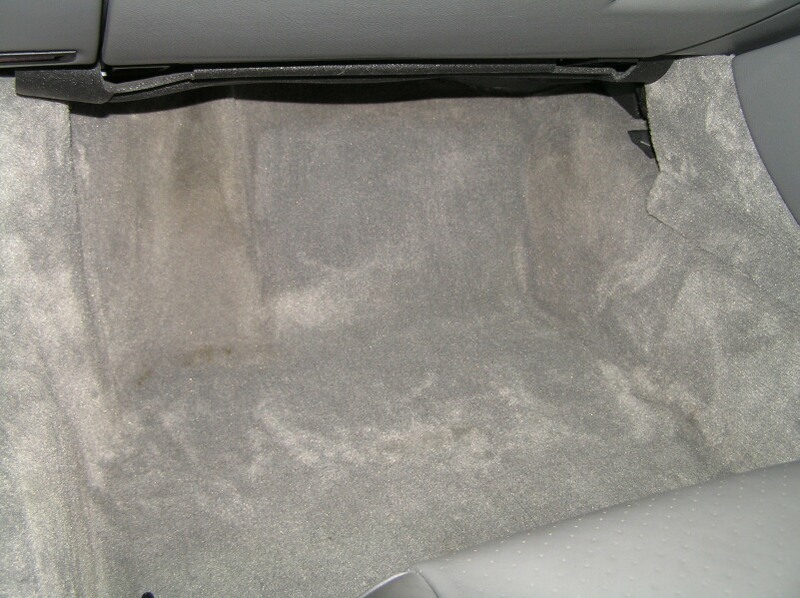 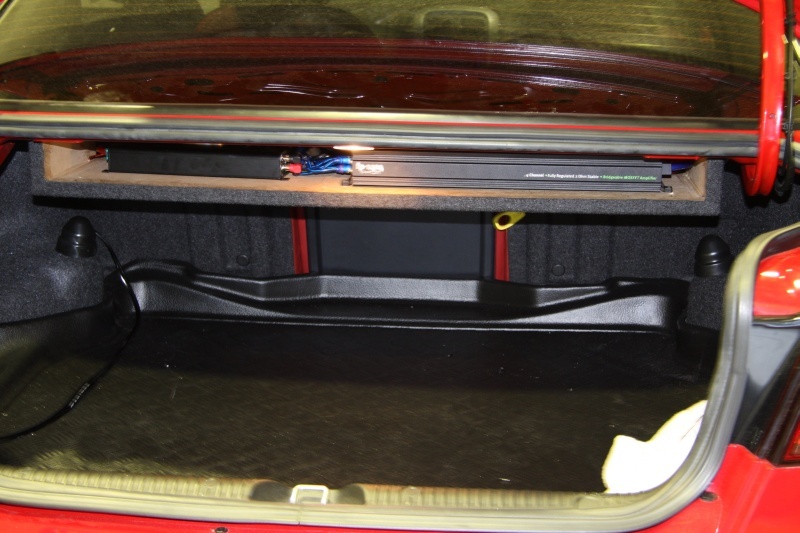 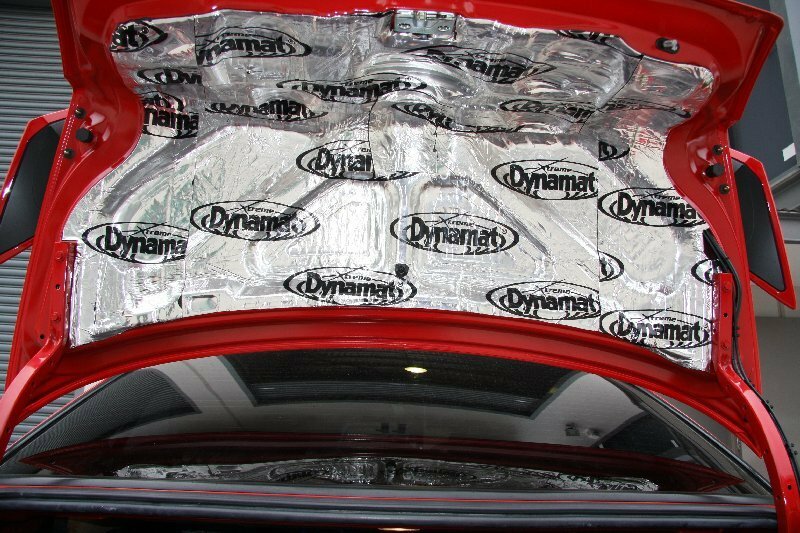 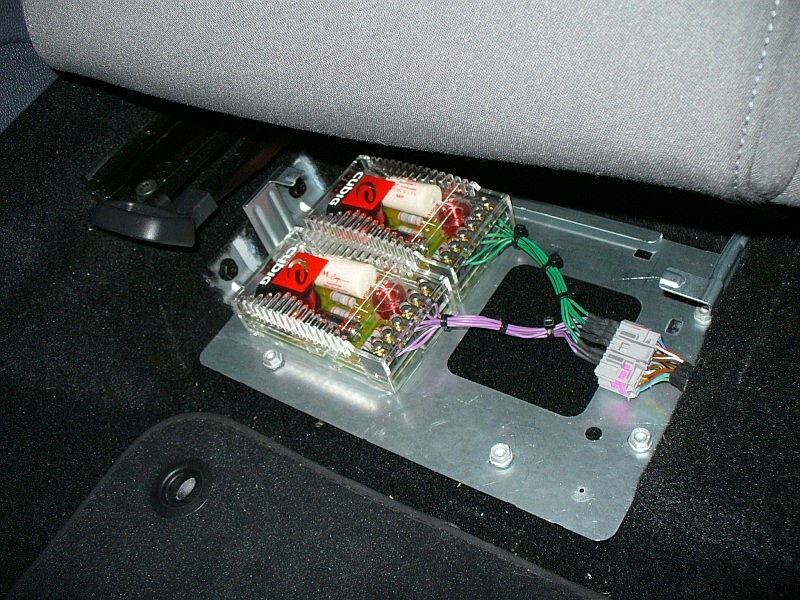 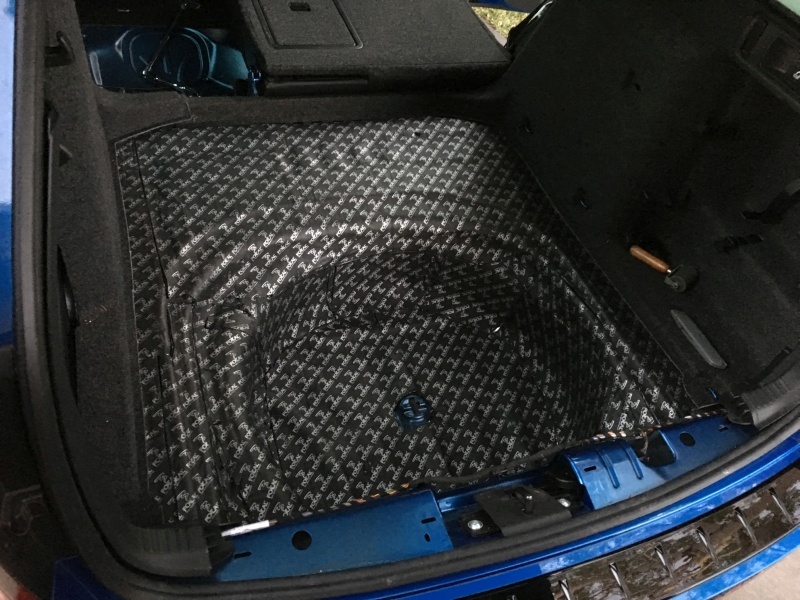 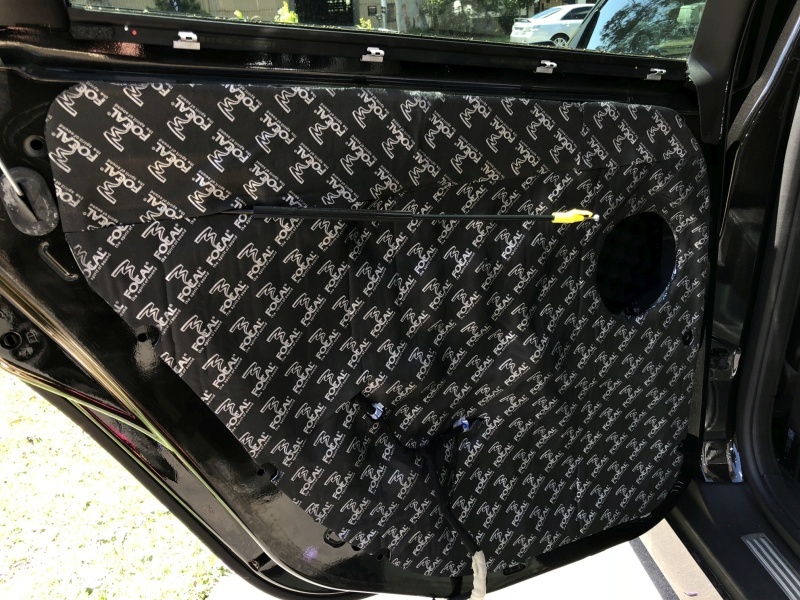 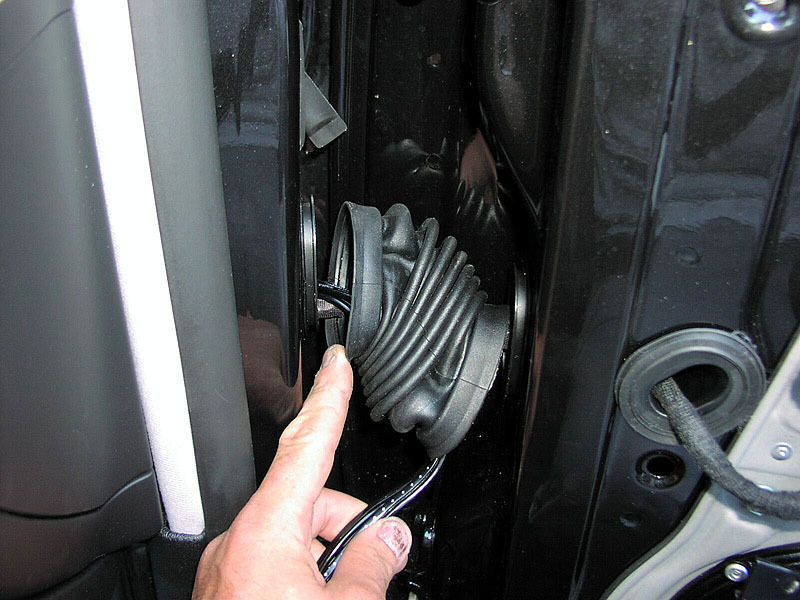 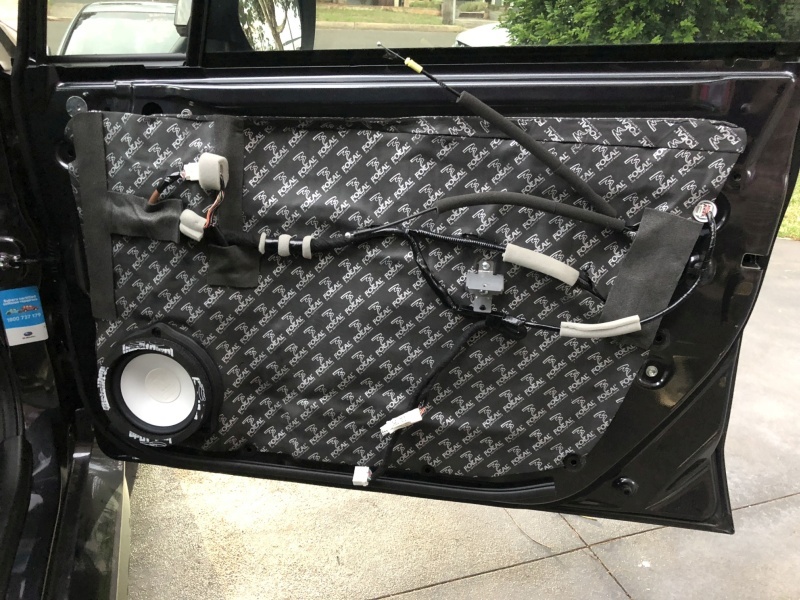 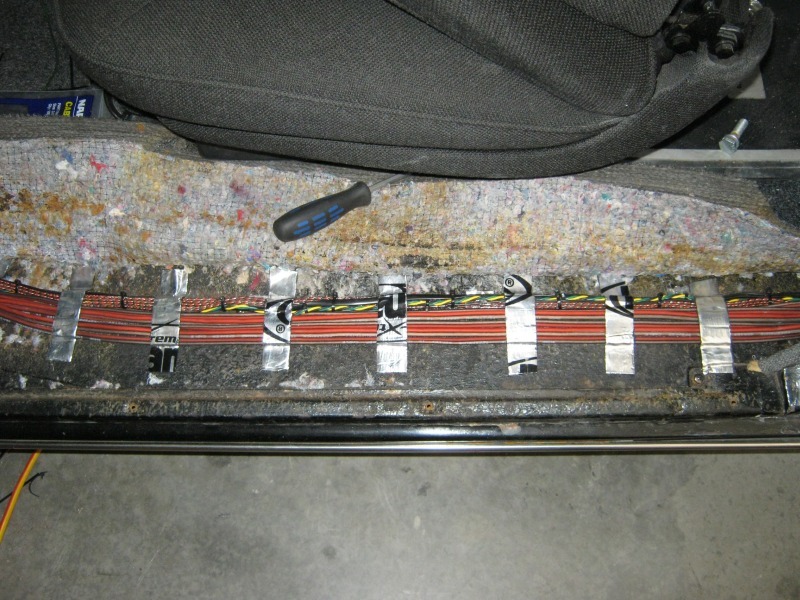 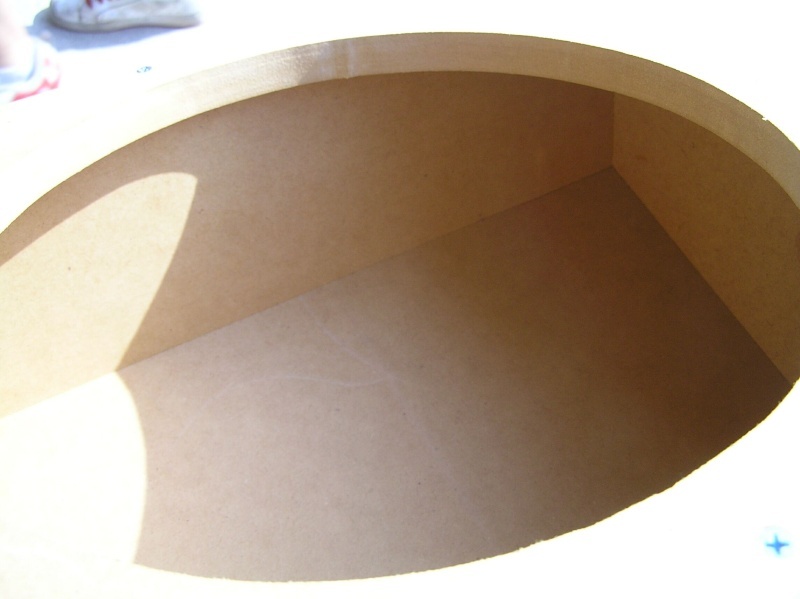 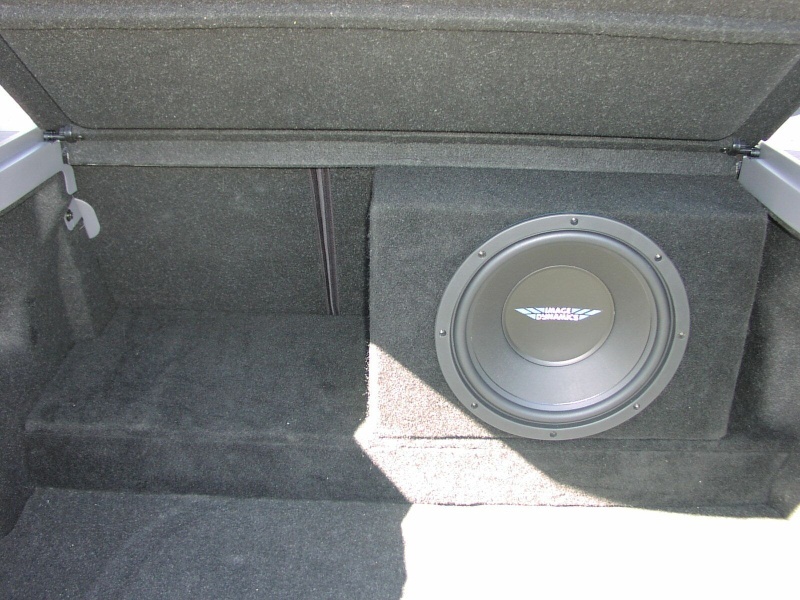 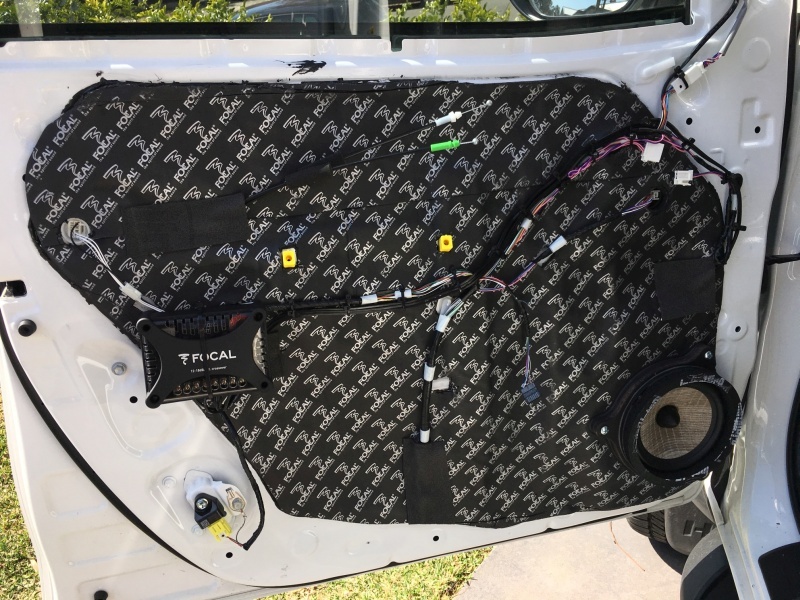 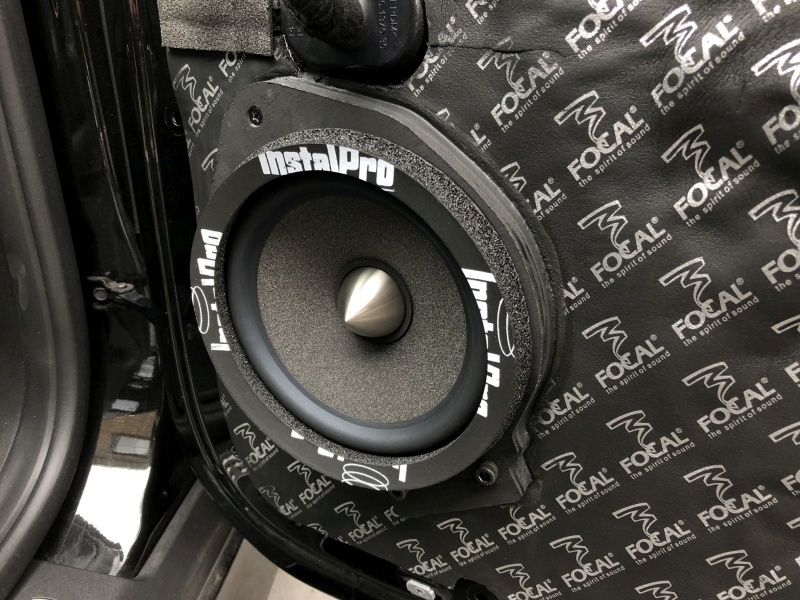 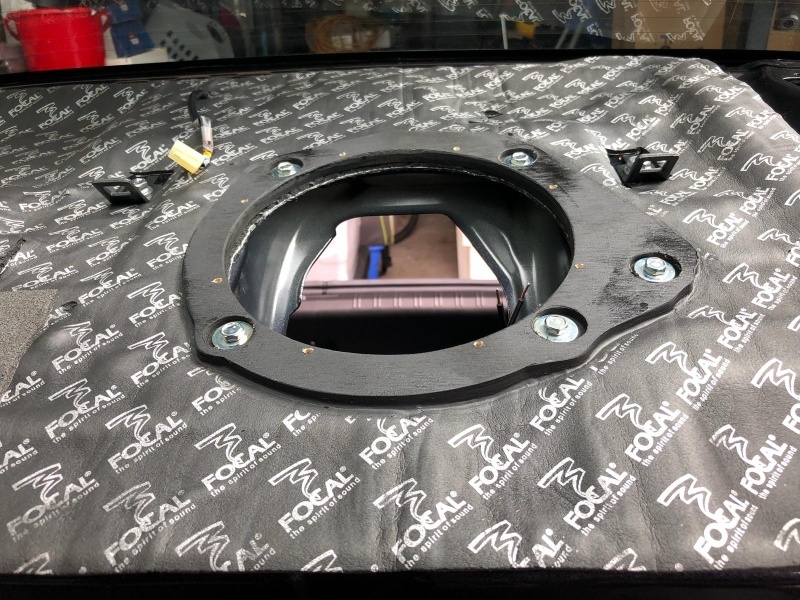 Yes simple sunlight will completely destroy speakers given time and therefore any speakers likely to see a lot of sunlight such as dash and parcel shelf mounted drivers receive our special treatment. 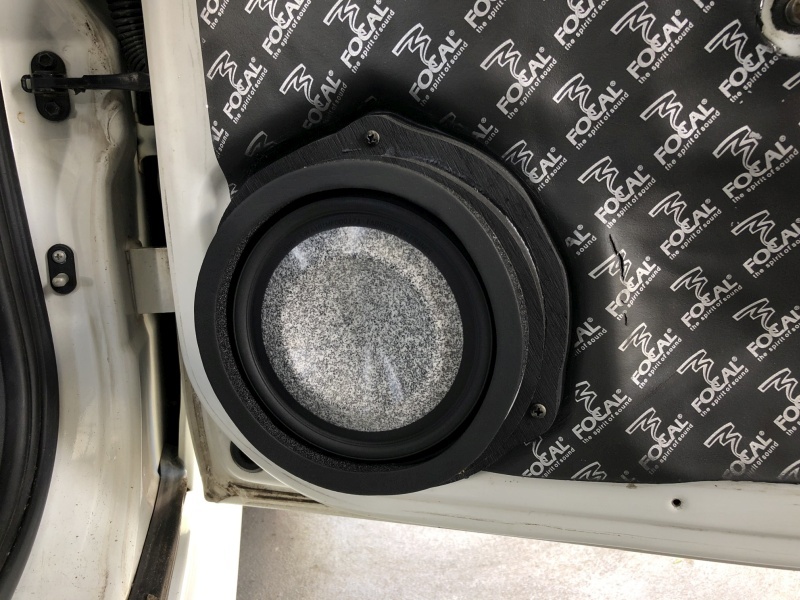 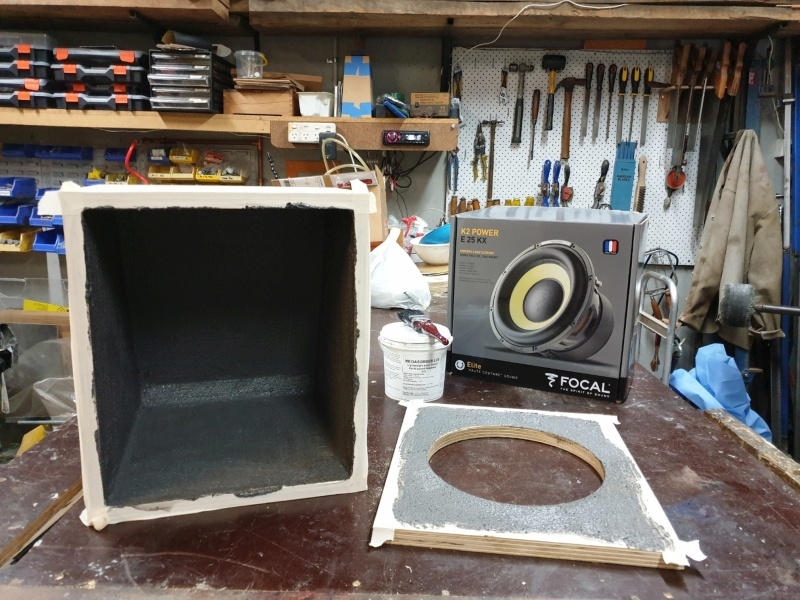 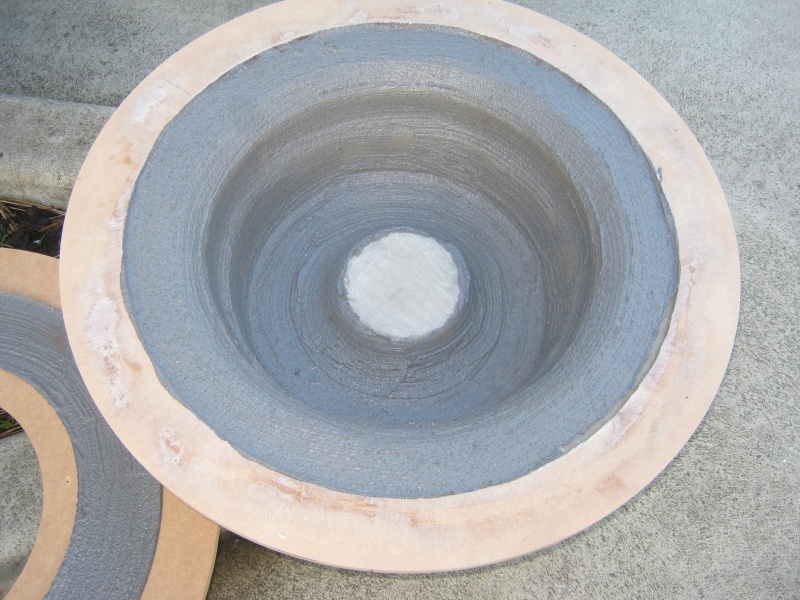 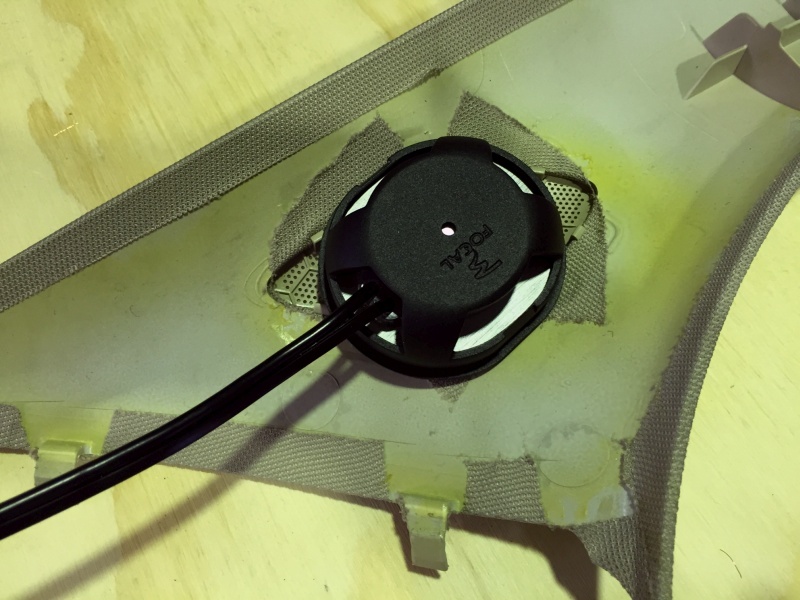 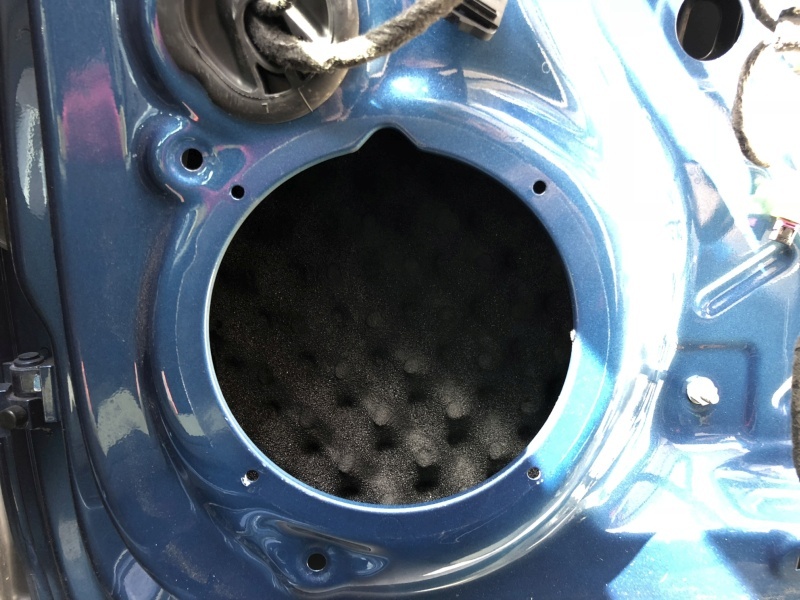 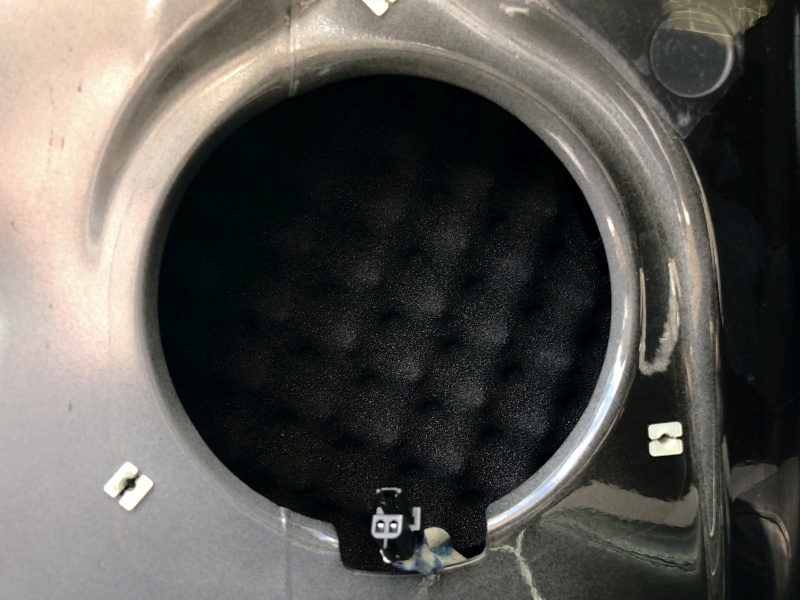 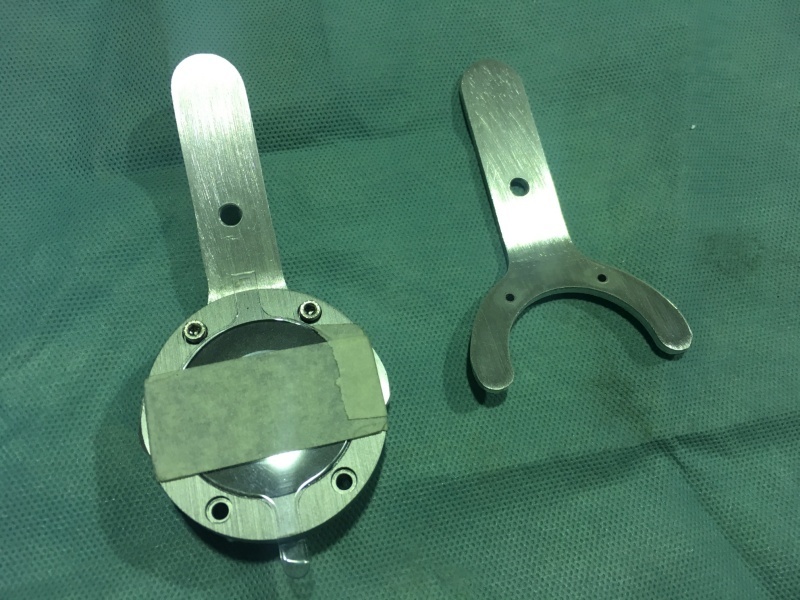 Well it's not actually all that special - we simply install a small piece of speaker grille cloth over the speaker face and this serves to keep the suns damaging rays off the surrounds, hopefully prolonging the speakers working life by years. 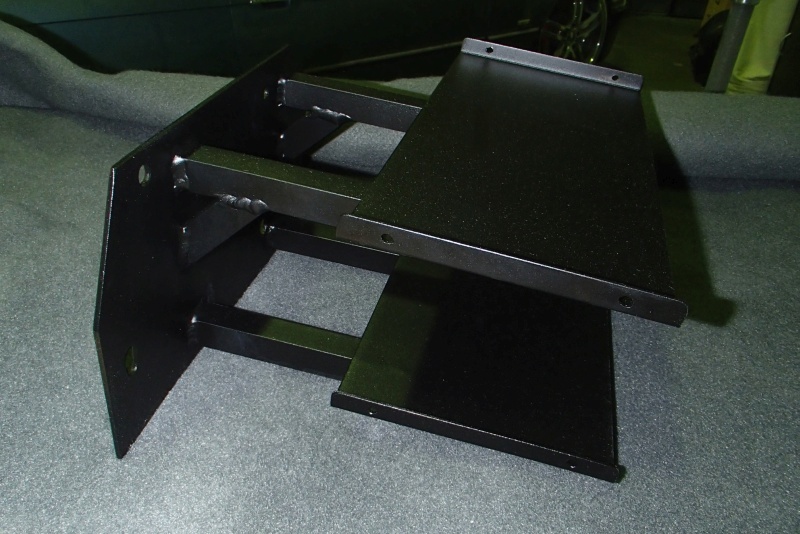 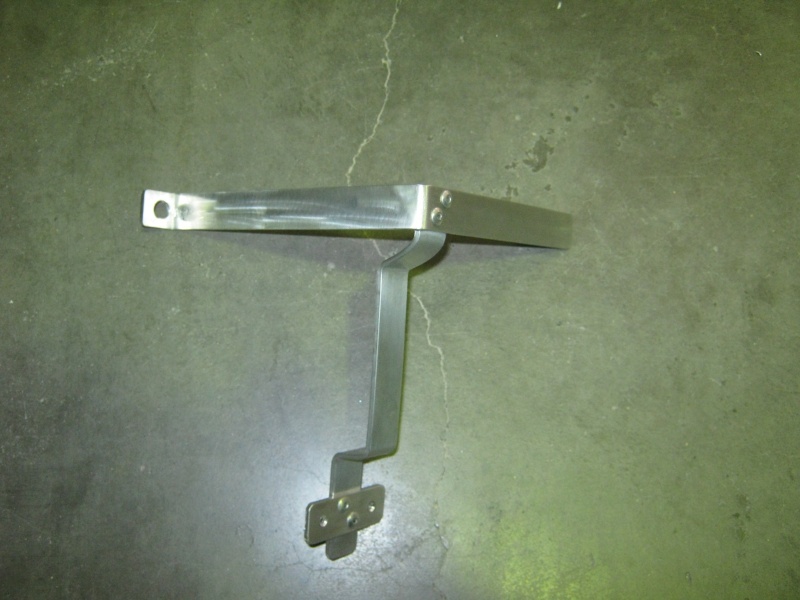 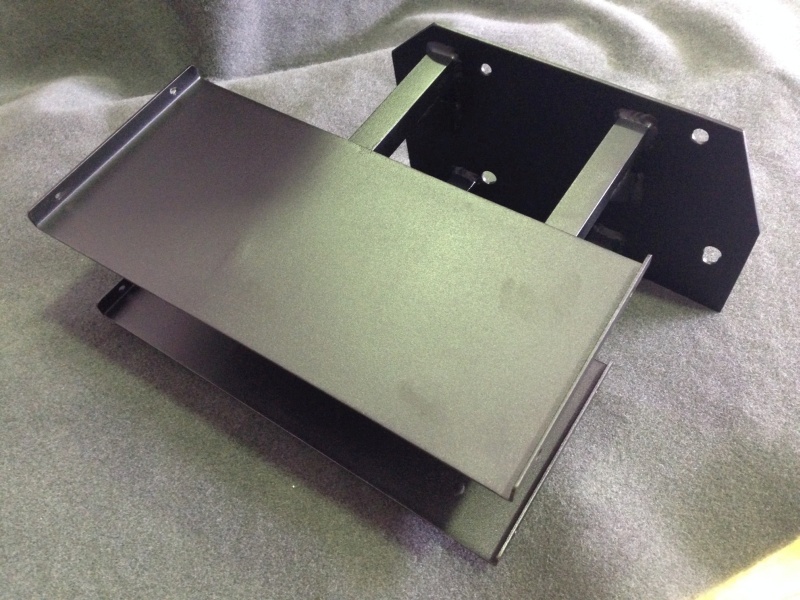 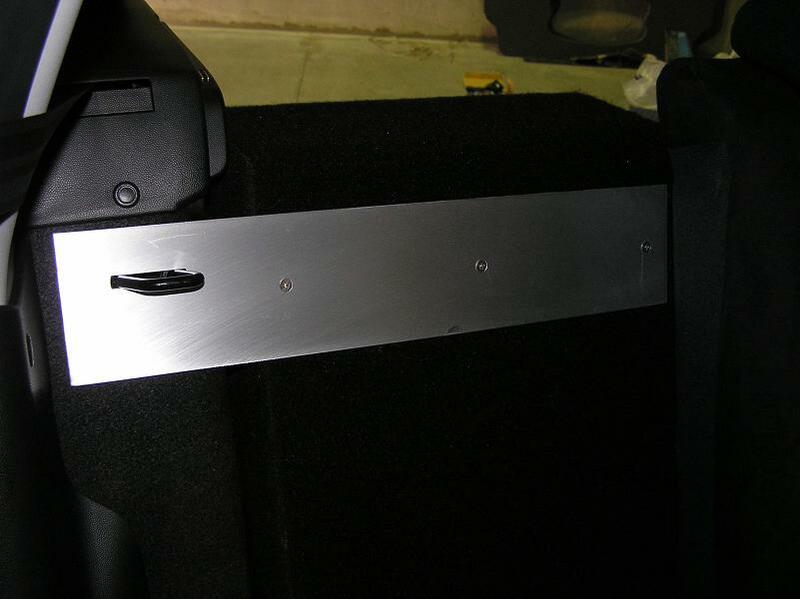 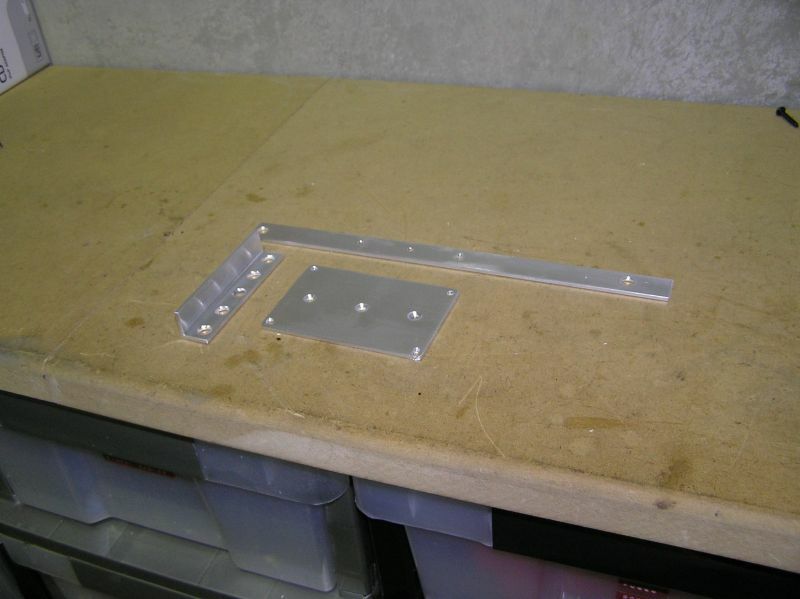 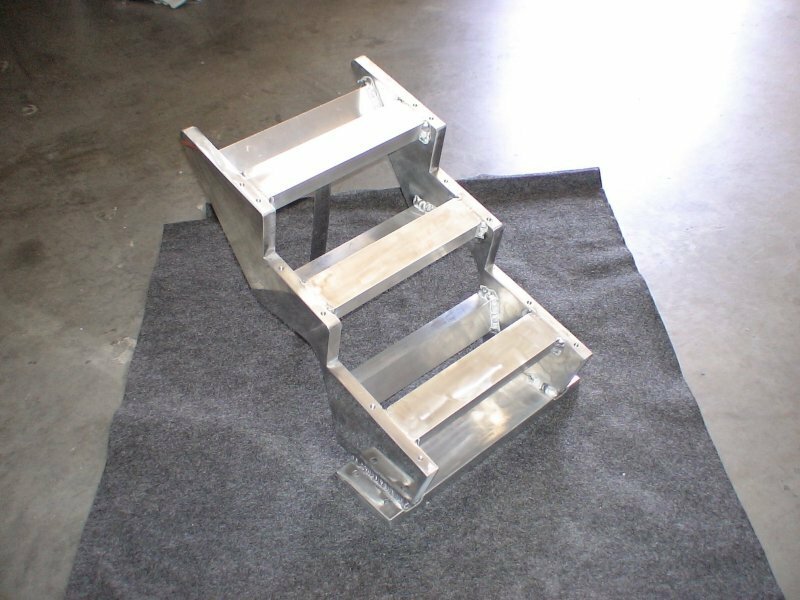 We tend to create and install a lot of under shelf mount amplifier racks. 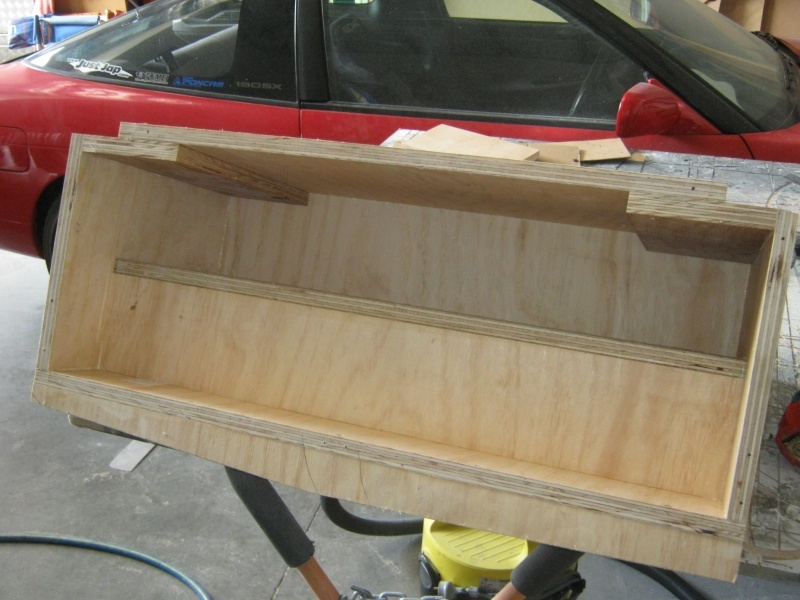 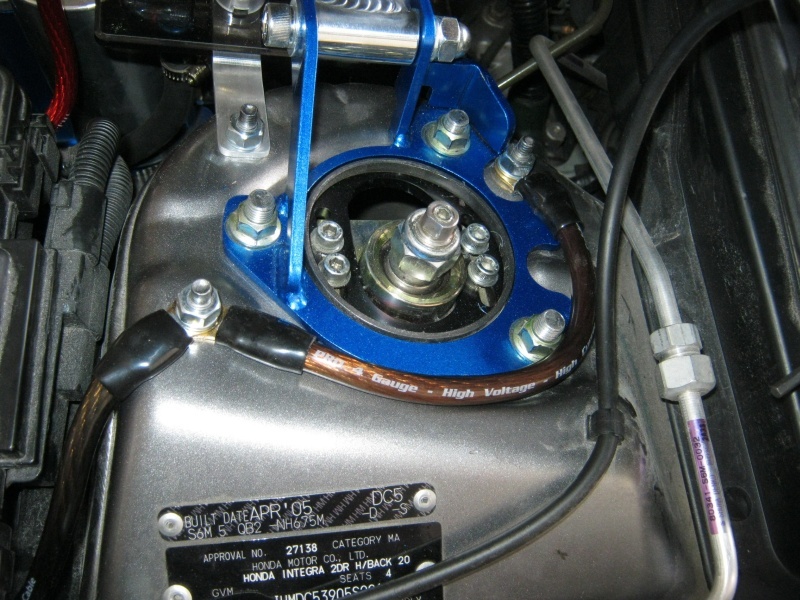 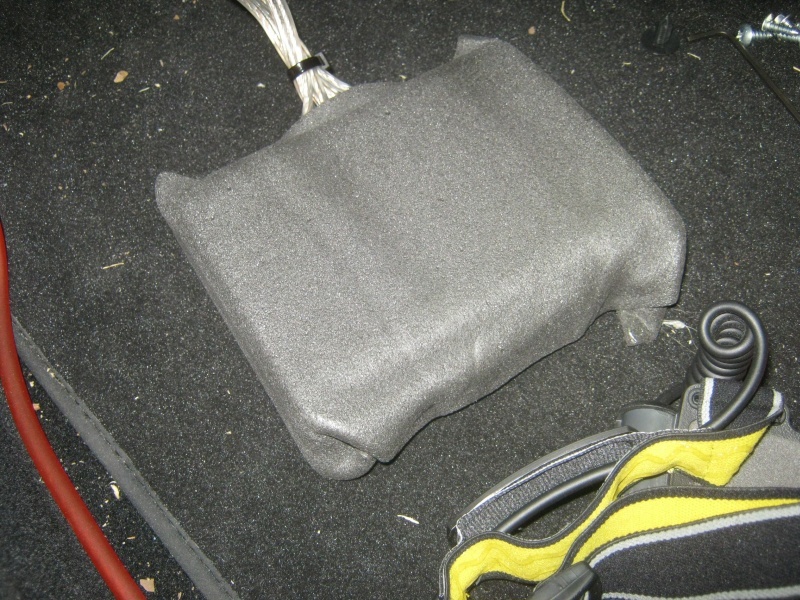 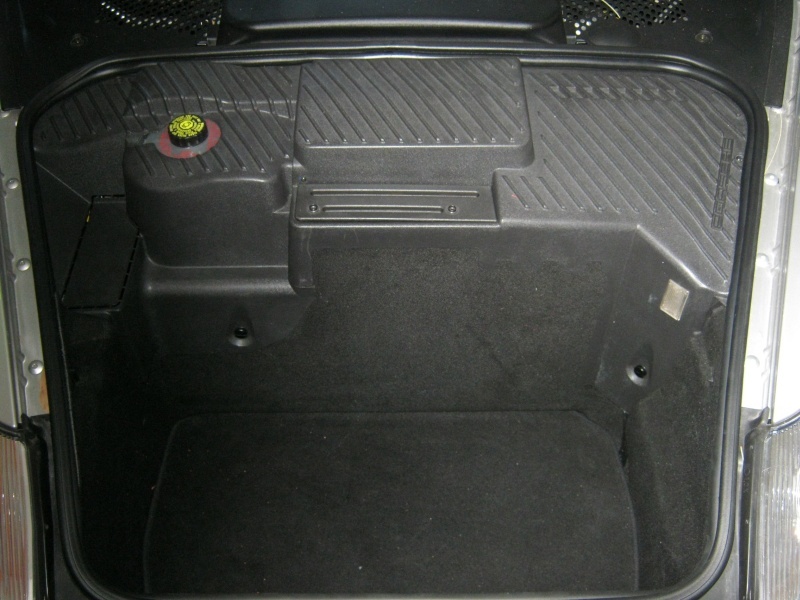 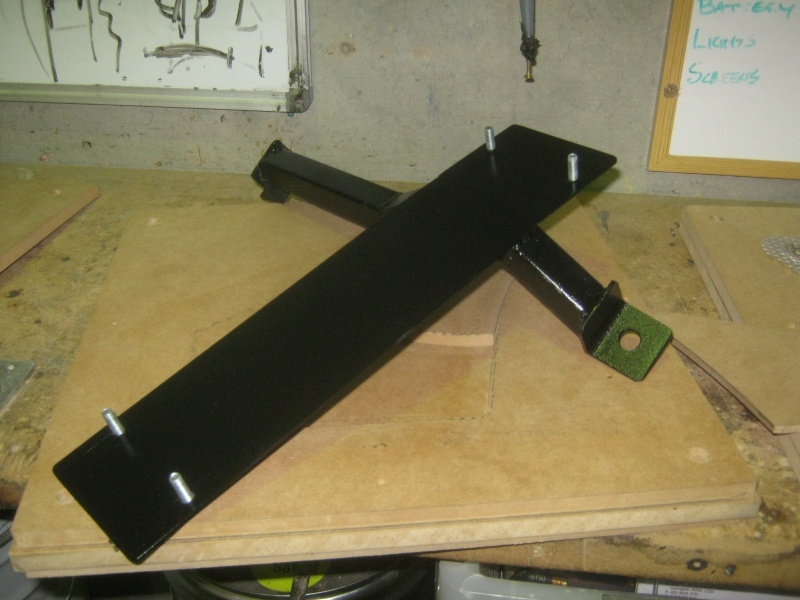 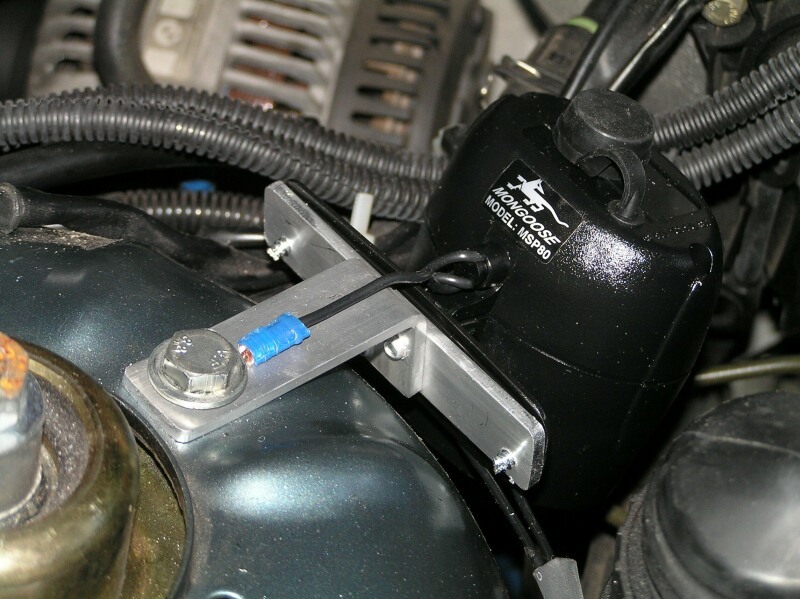 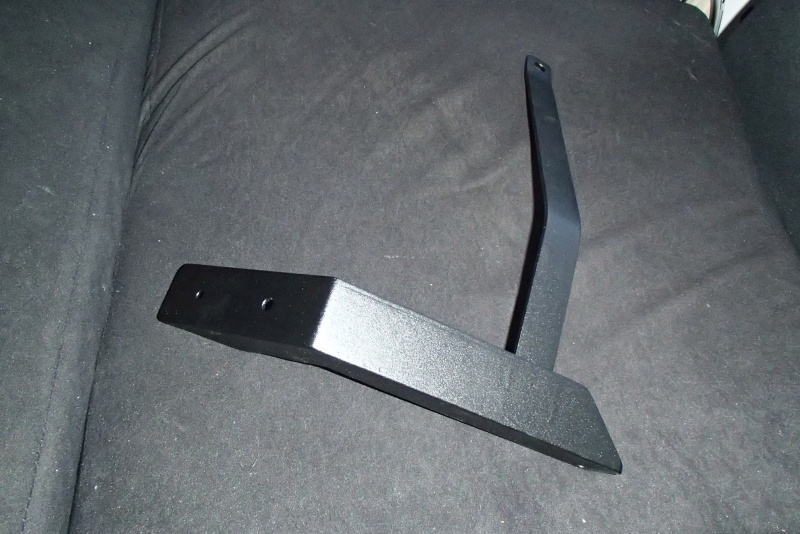 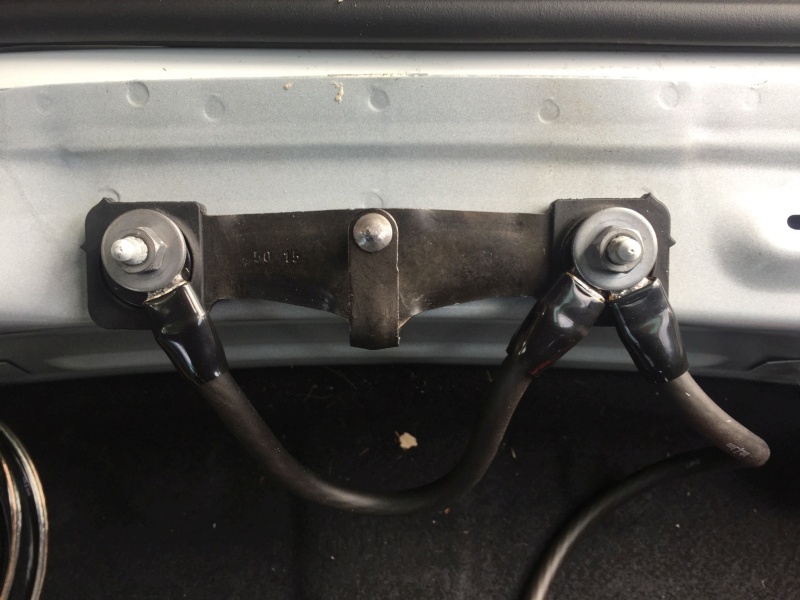 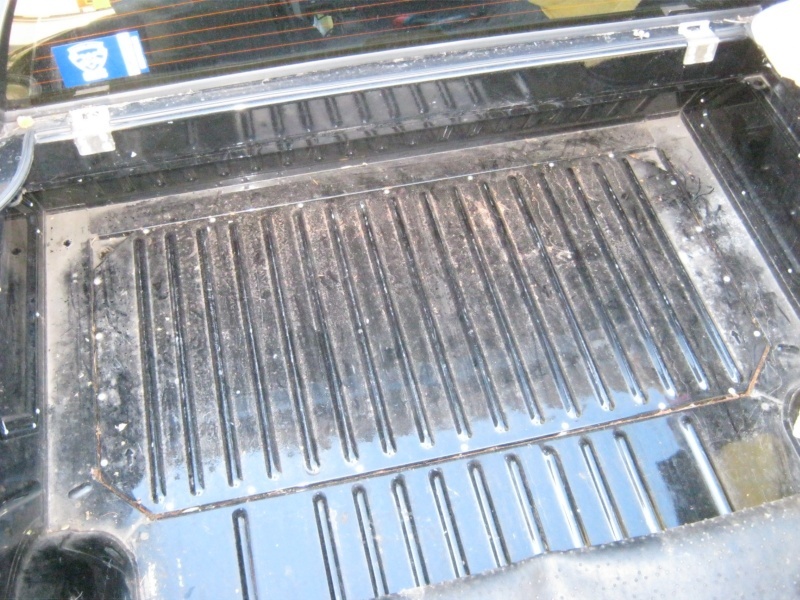 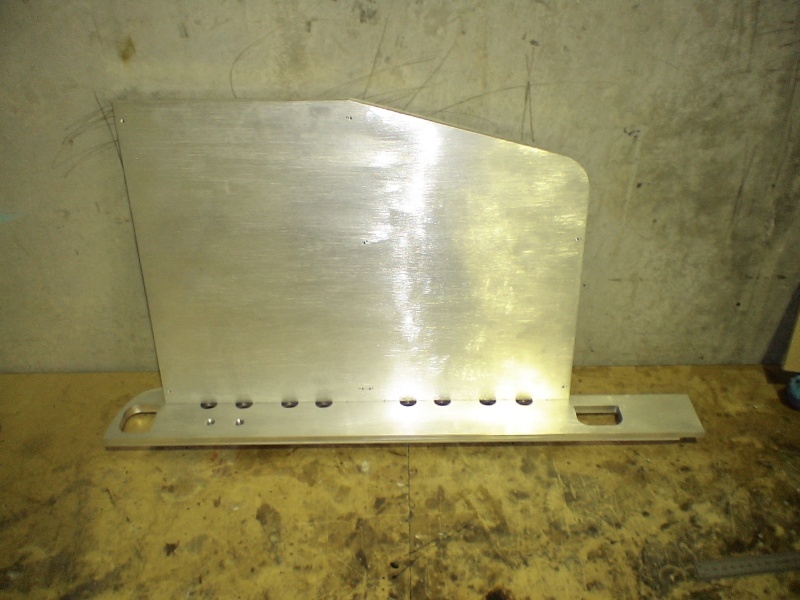 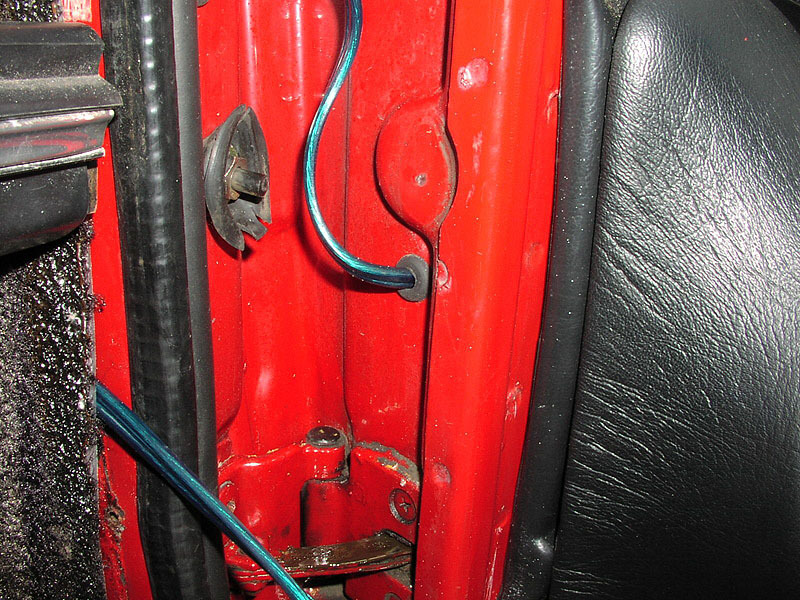 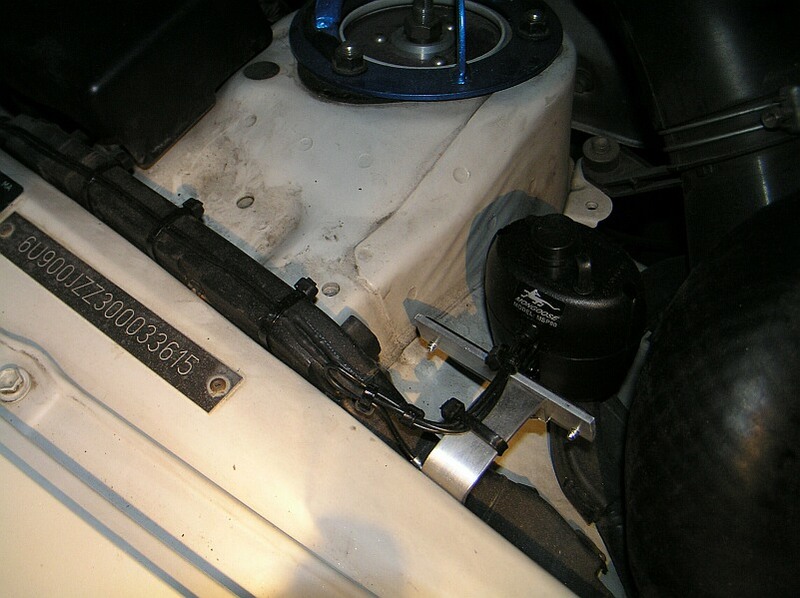 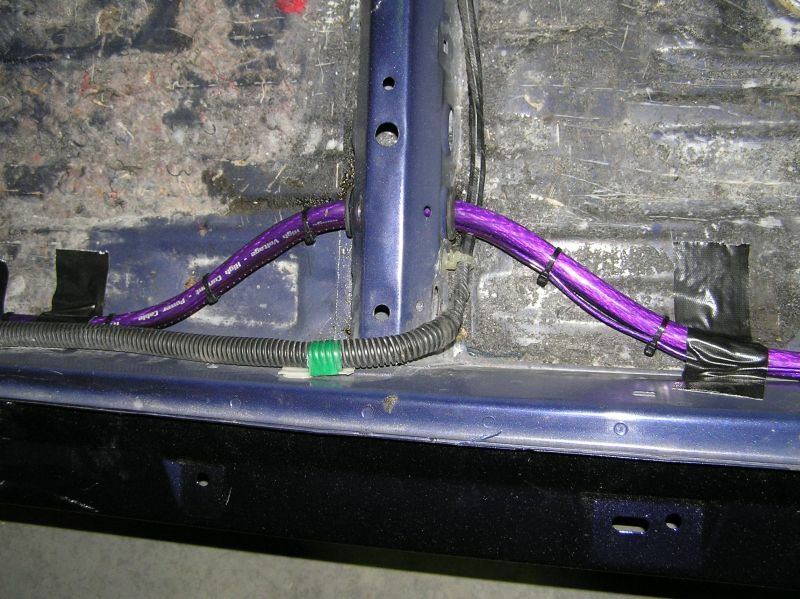 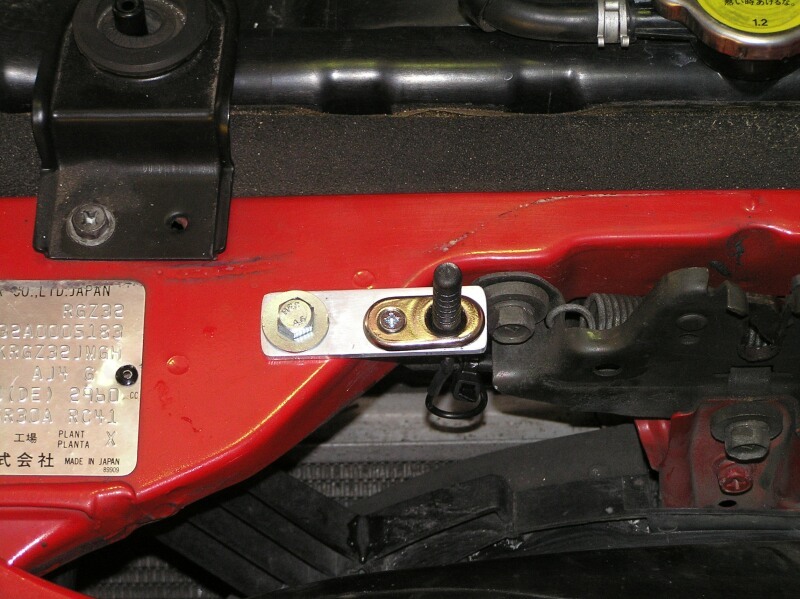 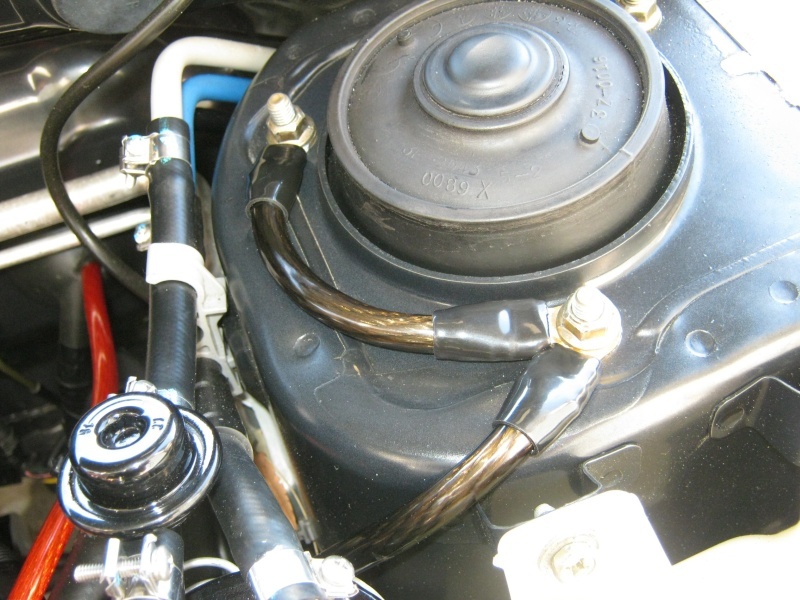 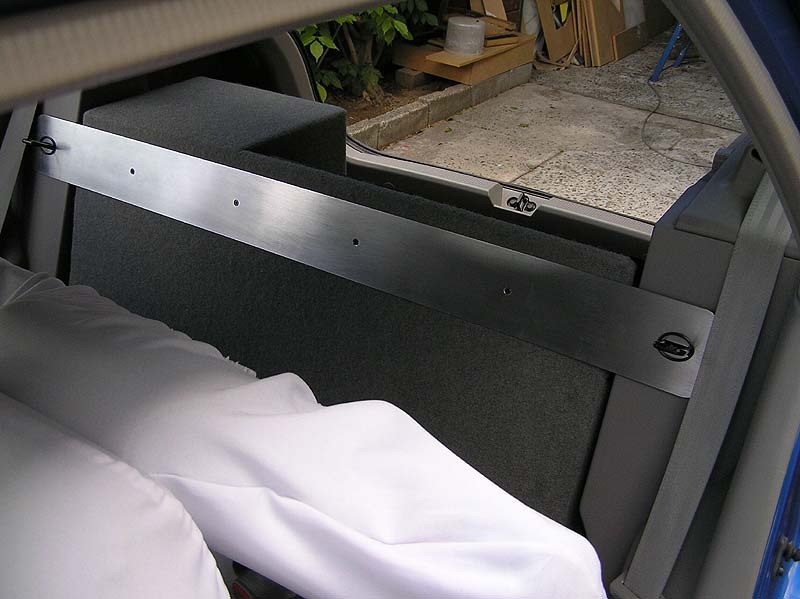 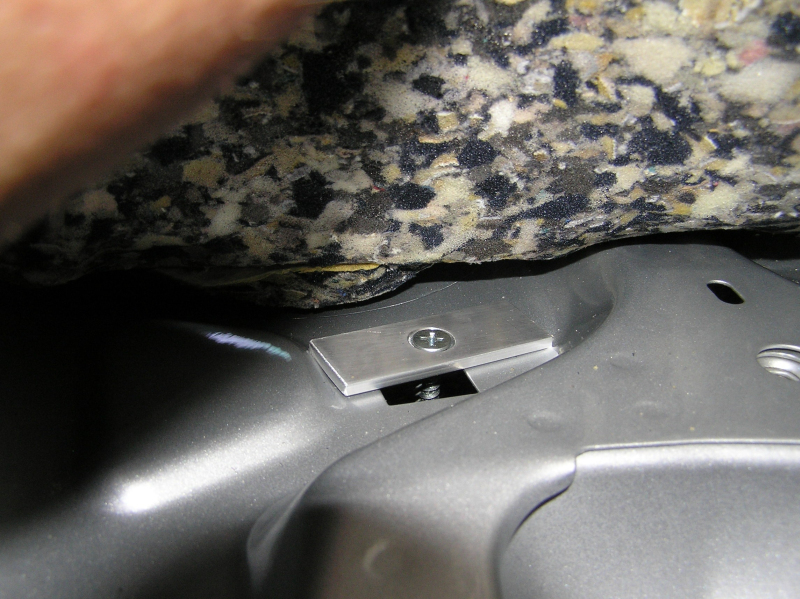 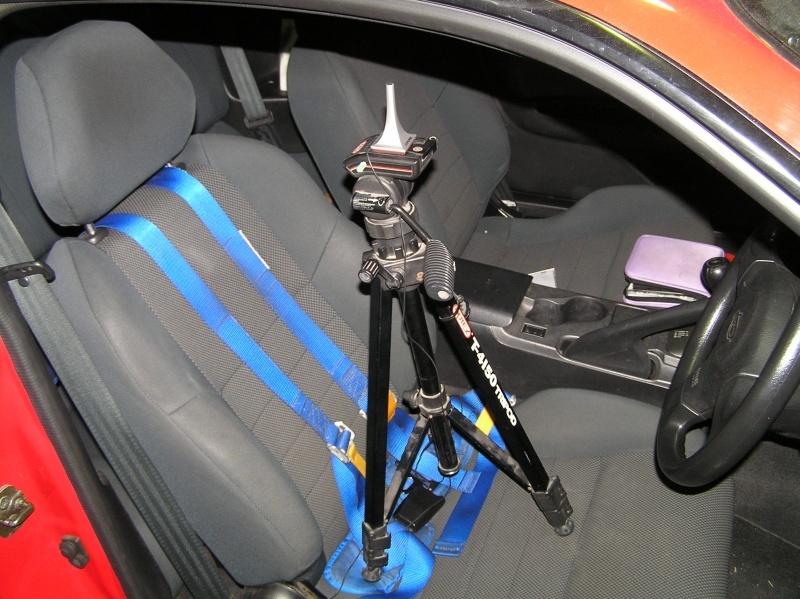 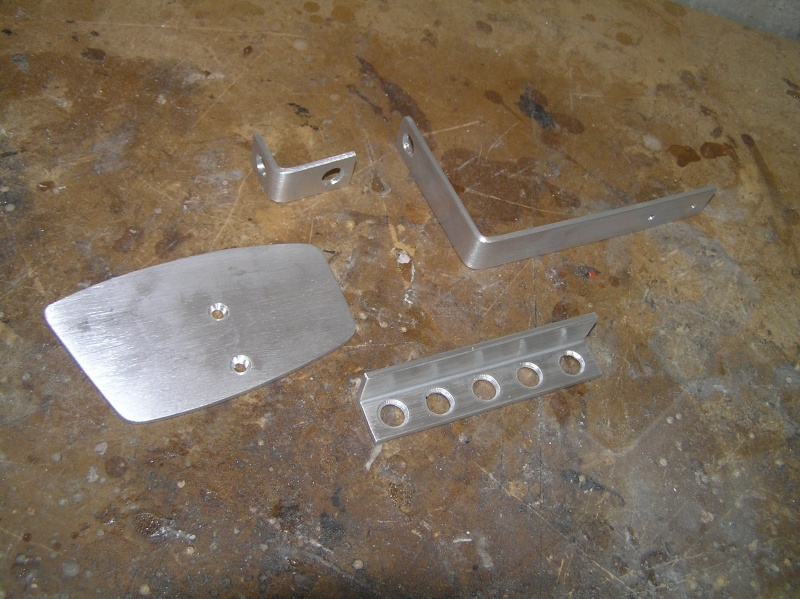 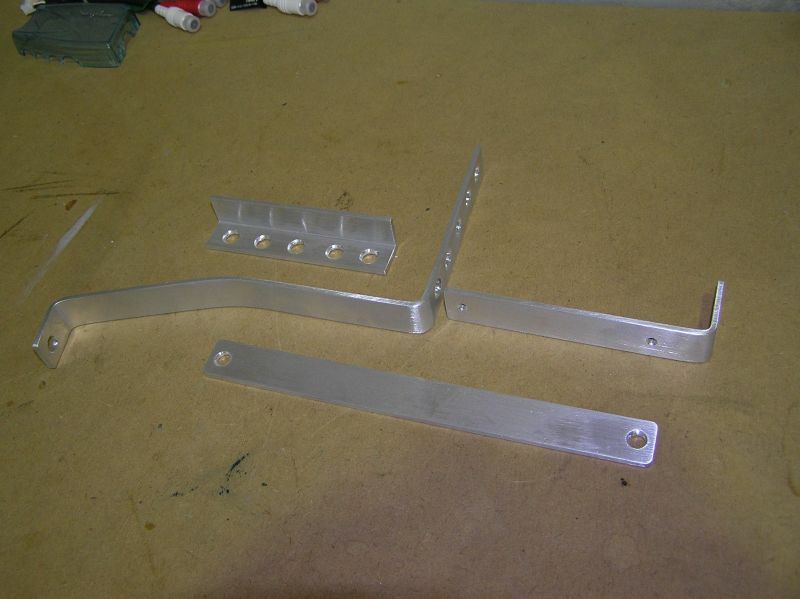 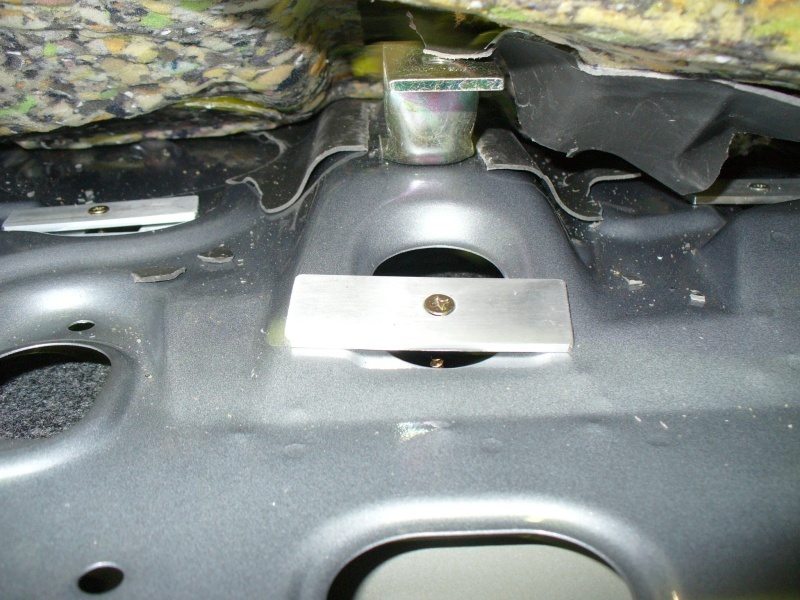 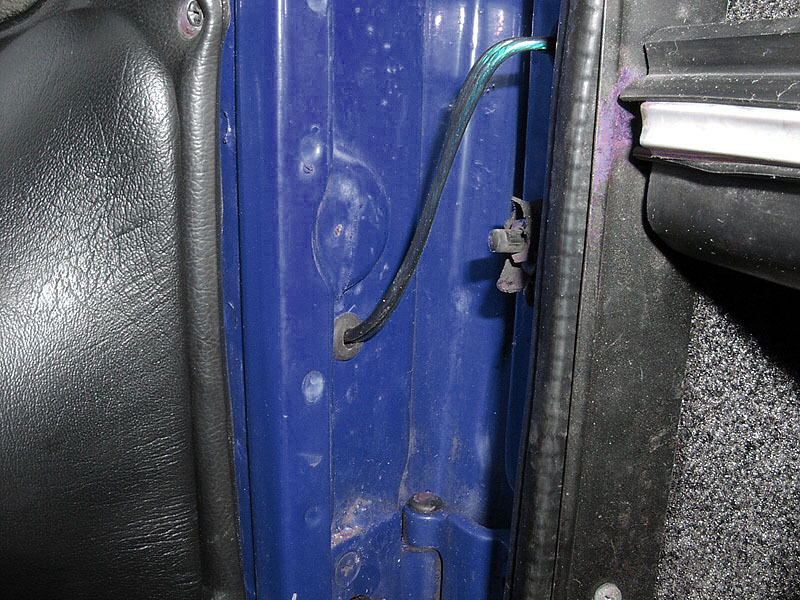 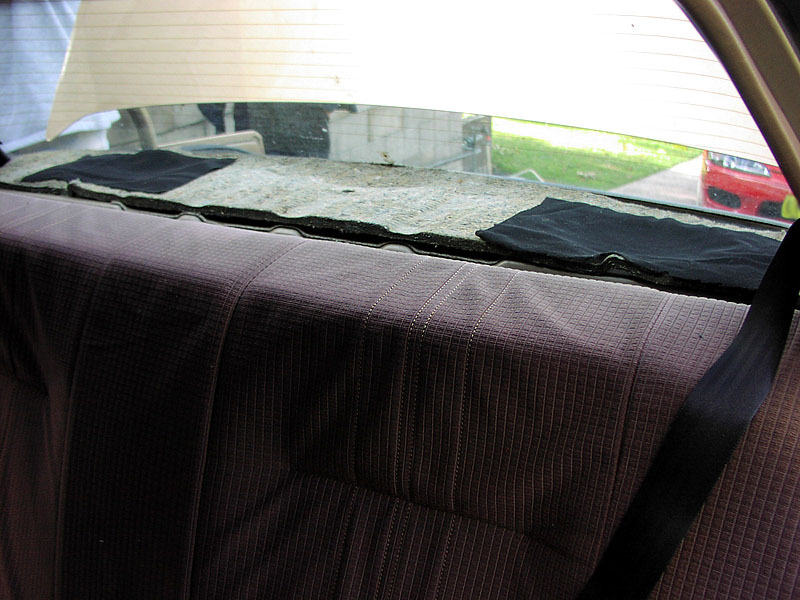 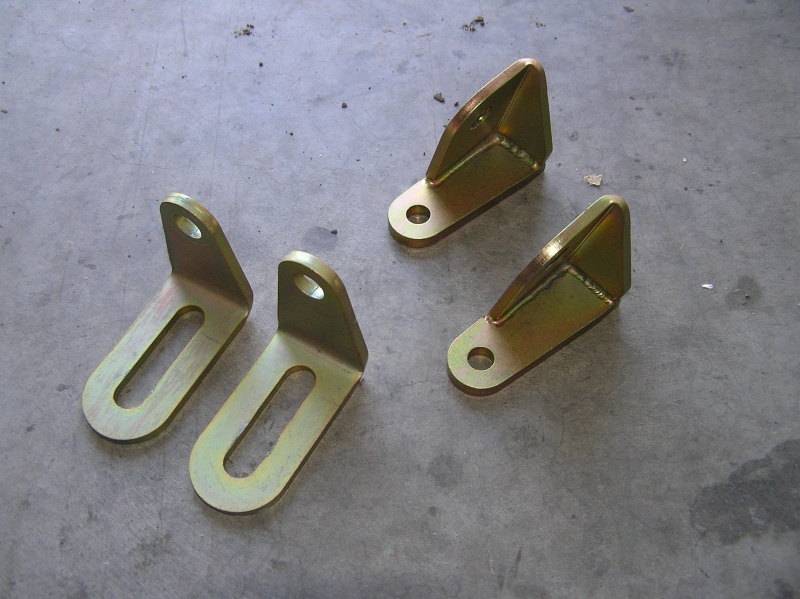 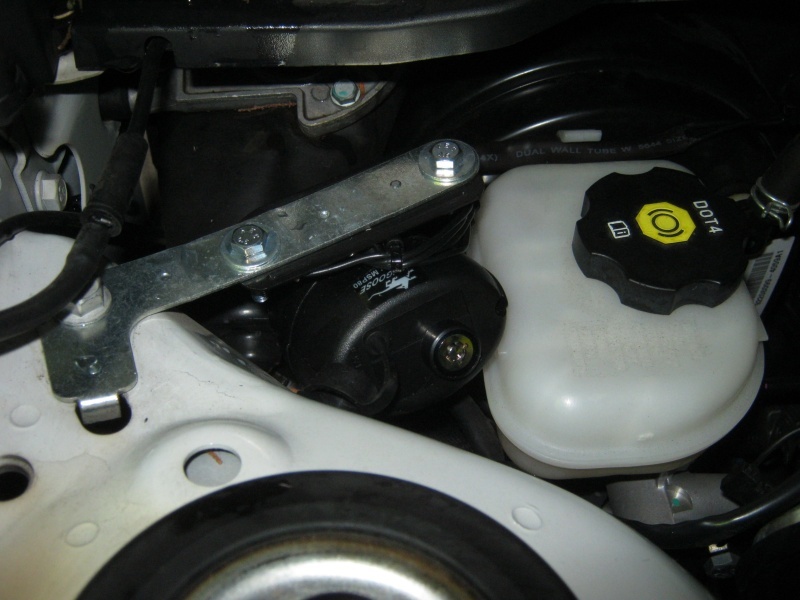 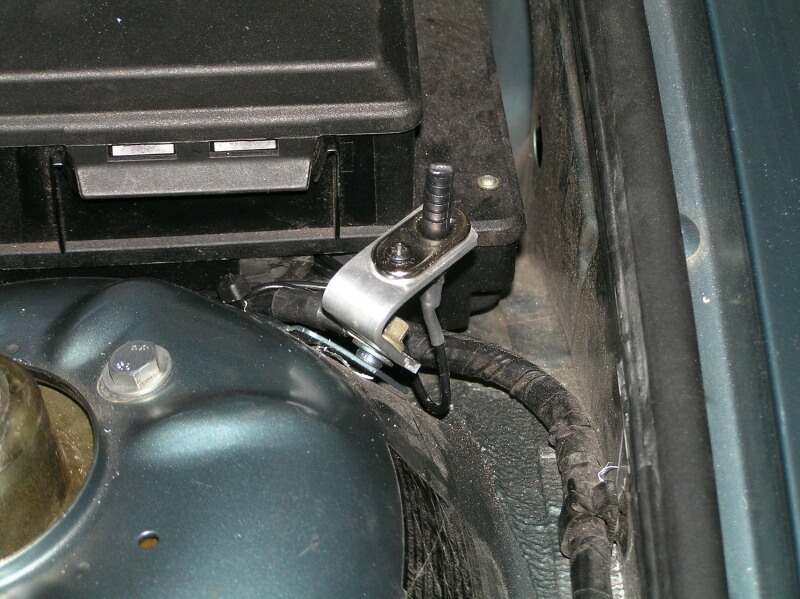 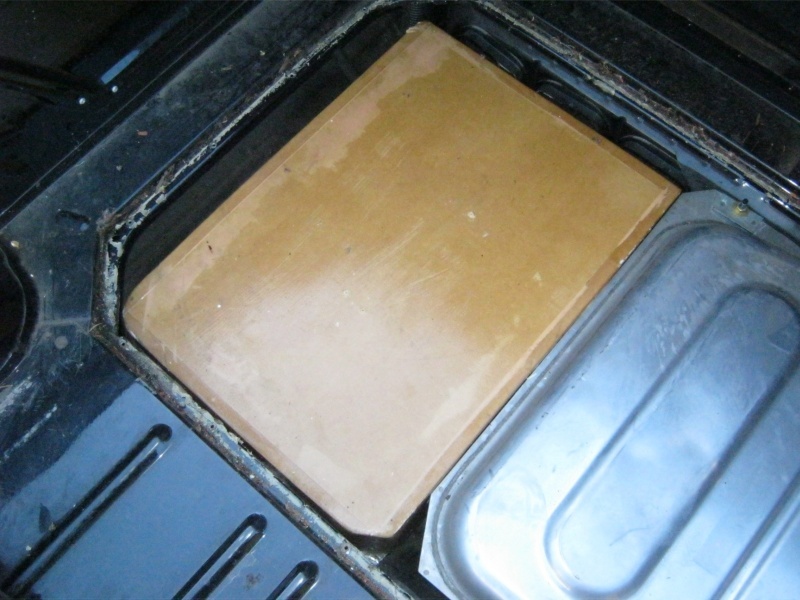 Again; it is very important that the brackets holding these are made to sit on top of the parcel shelf. 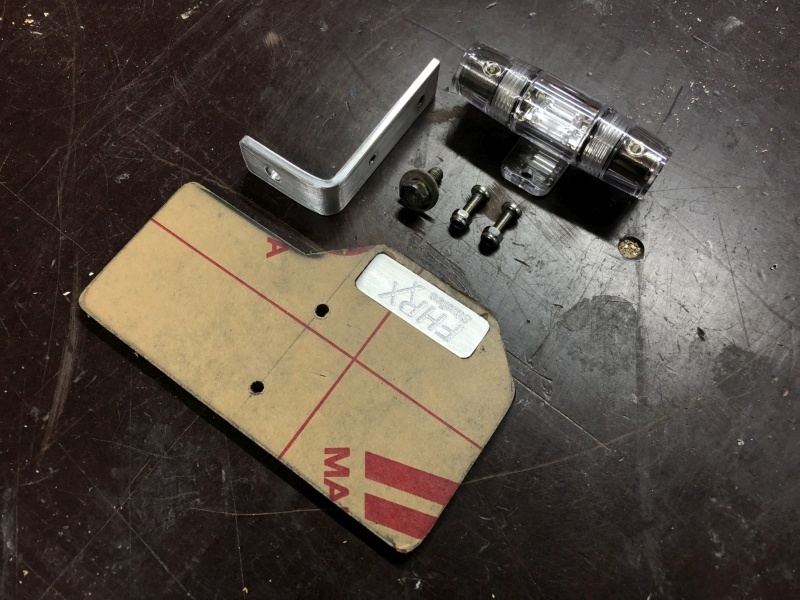 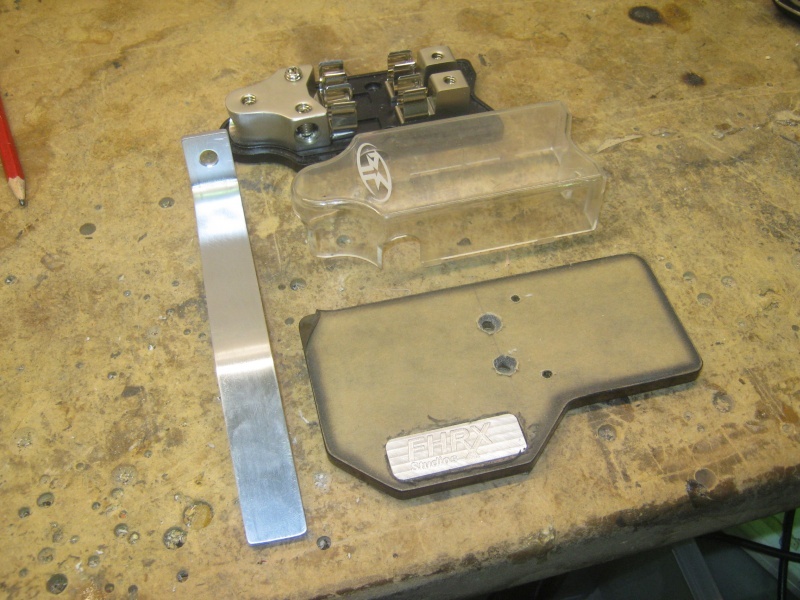 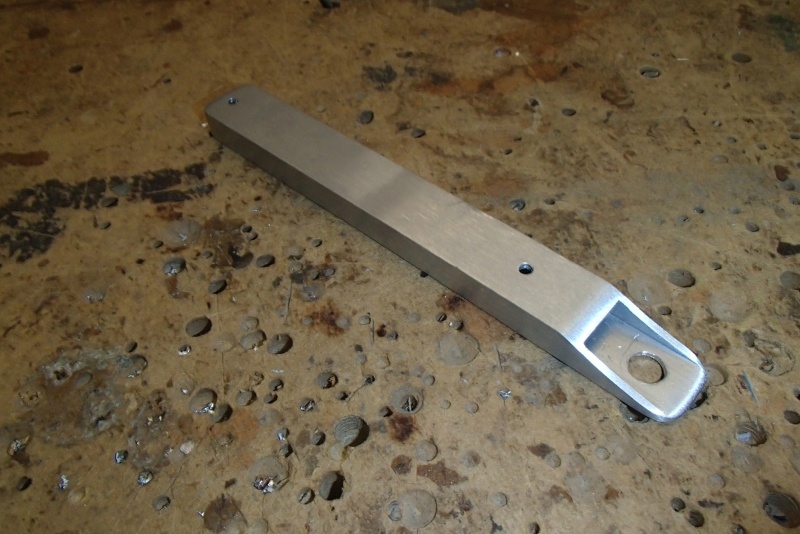 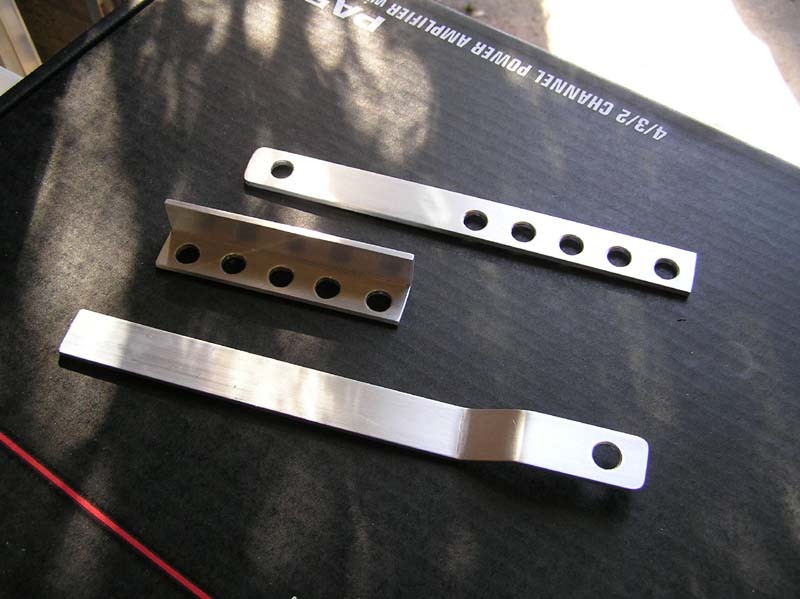 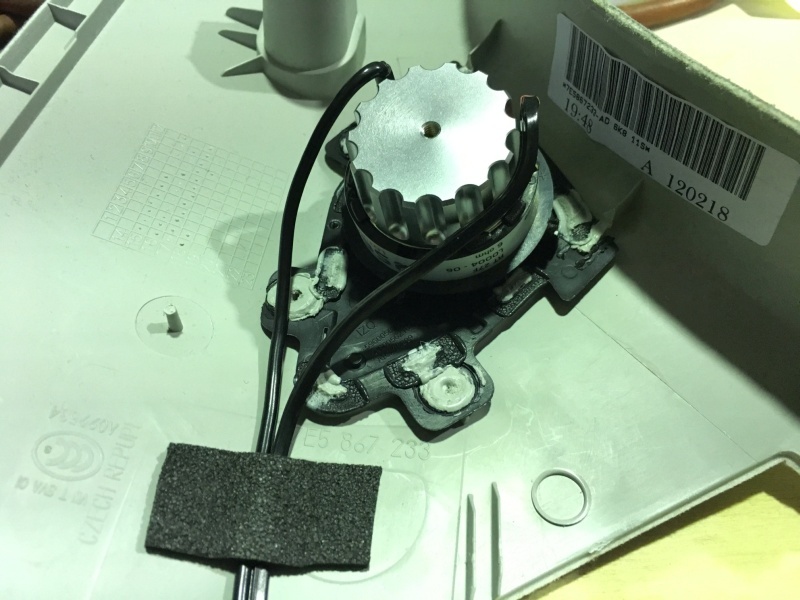 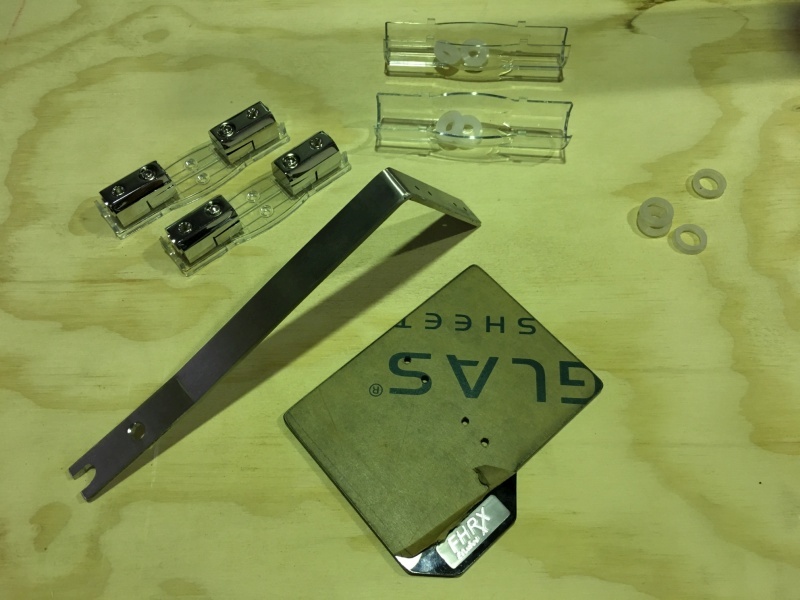 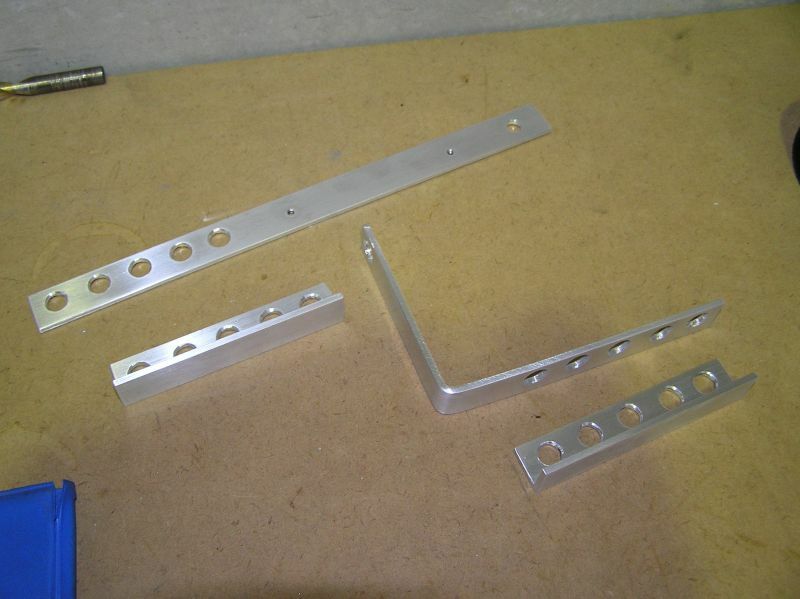 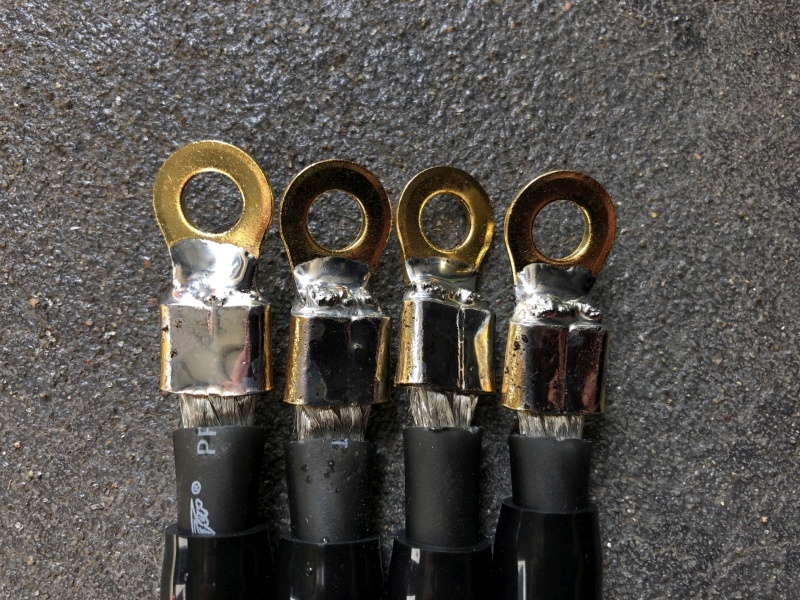 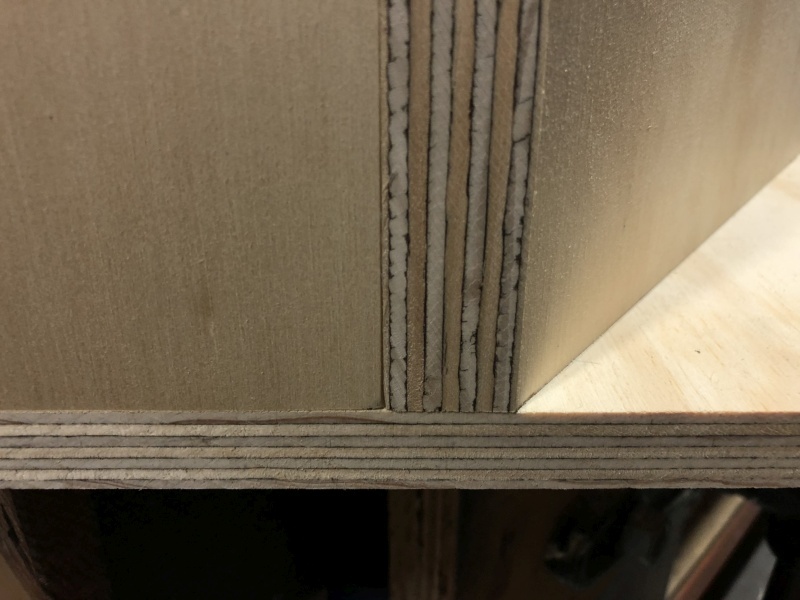 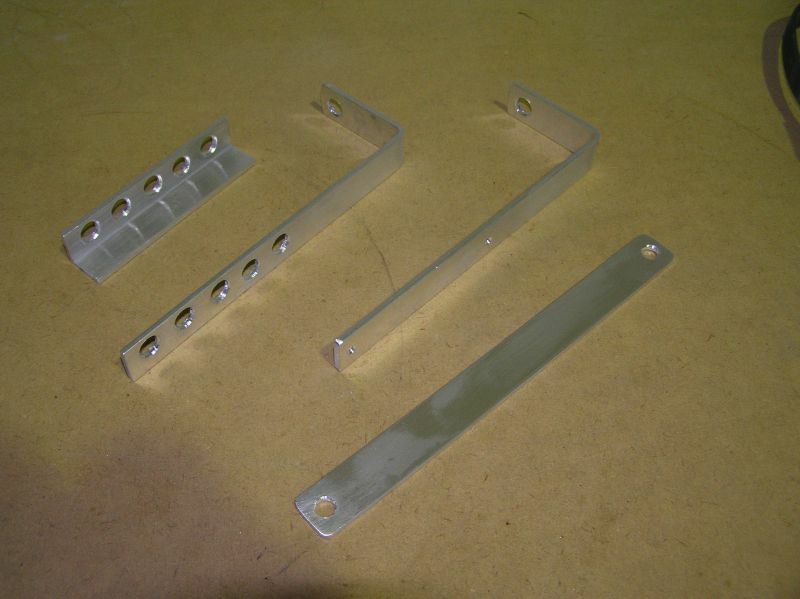 These then allow us to screw into them (through the many small holes found in most parcel shelfs) rather than drilling self-tappers into your shelf. 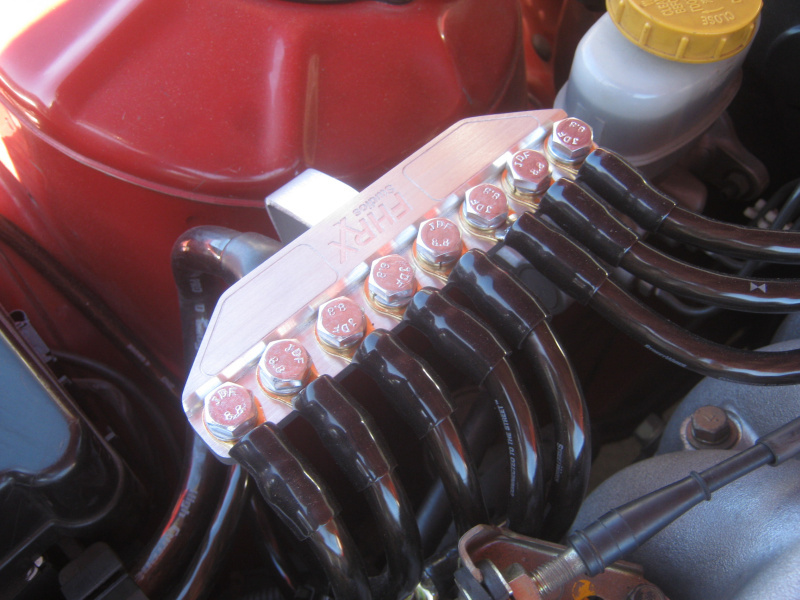 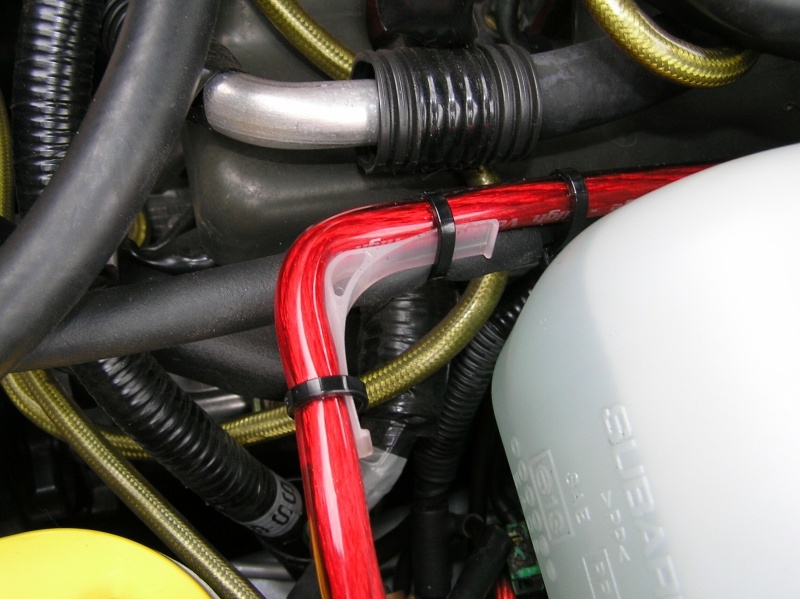 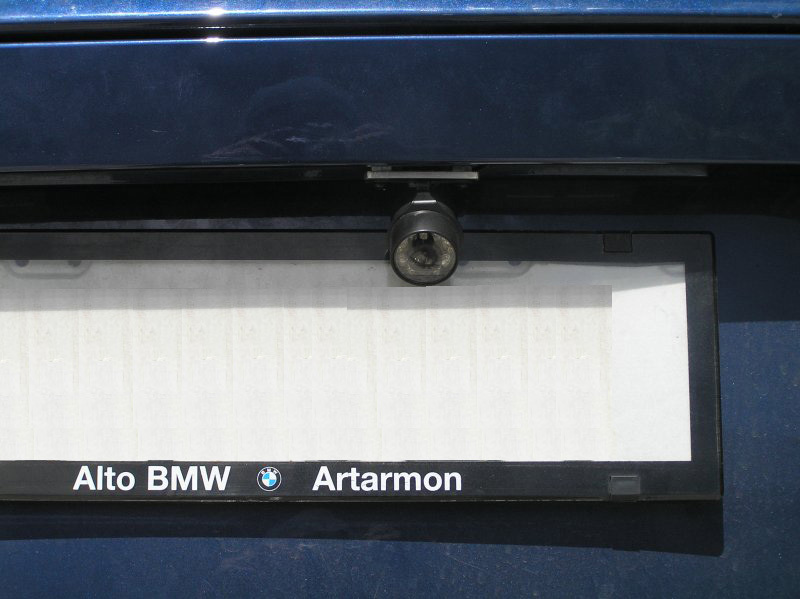 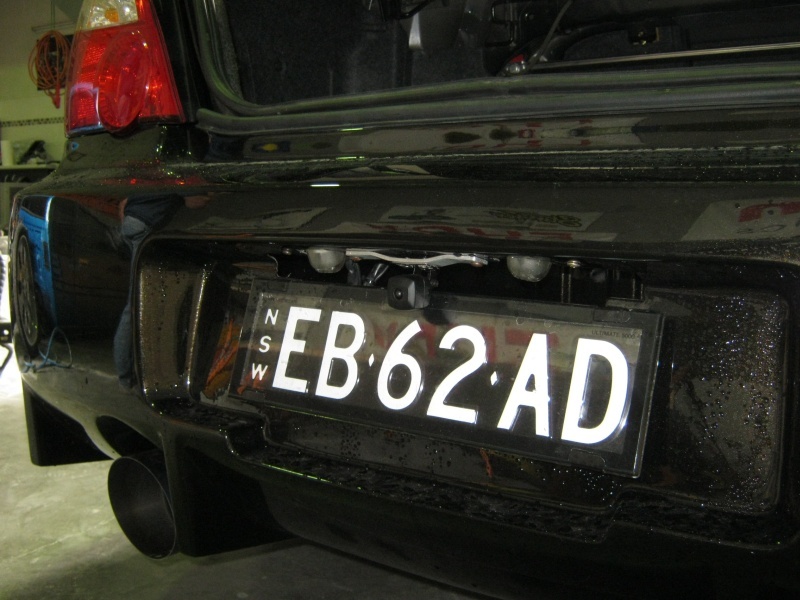 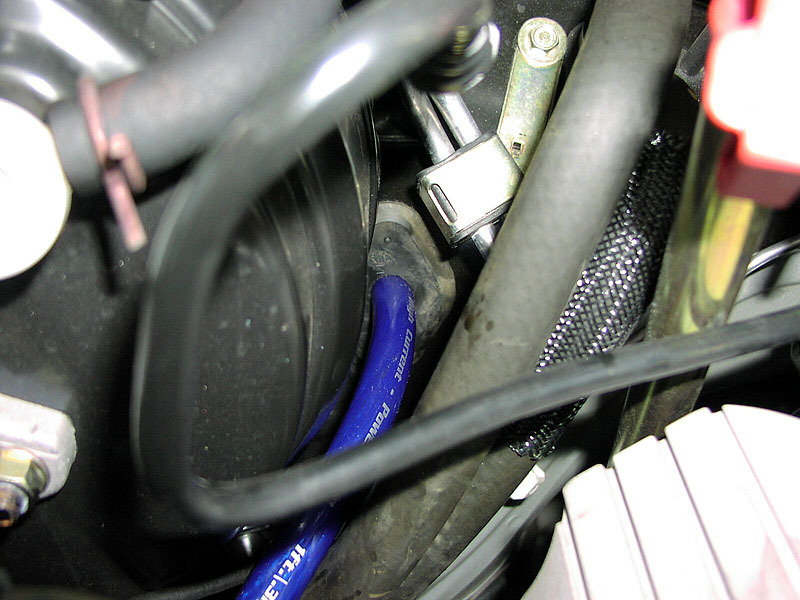 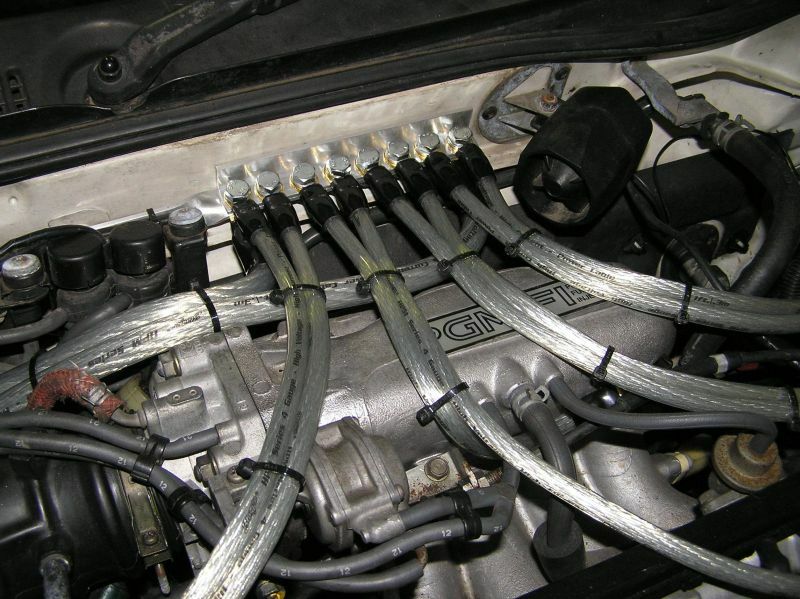 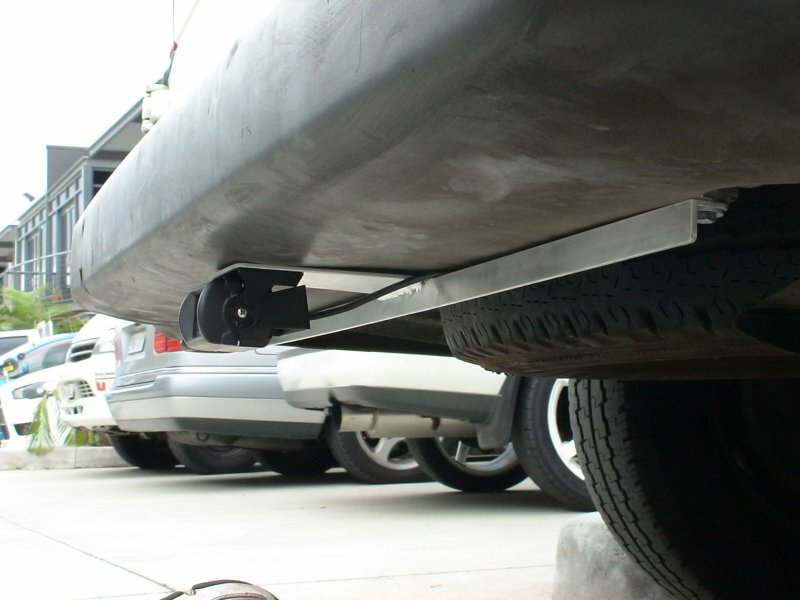 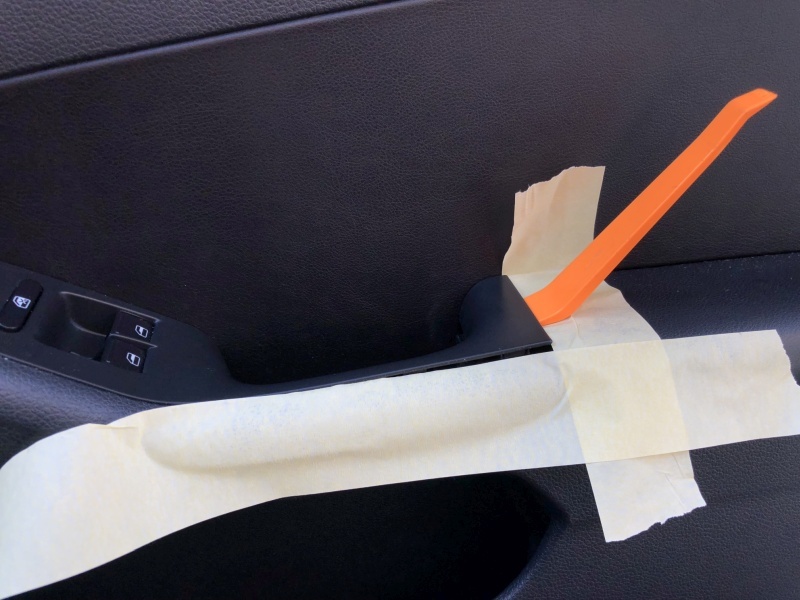 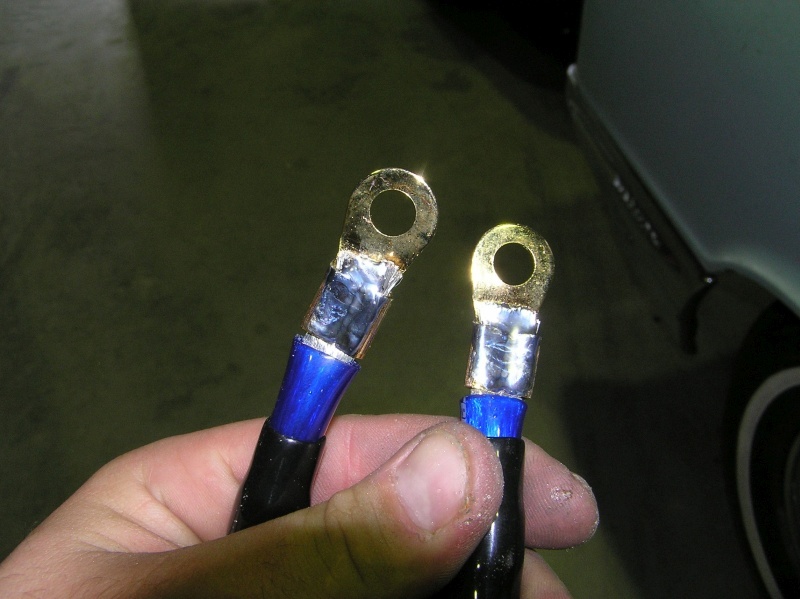 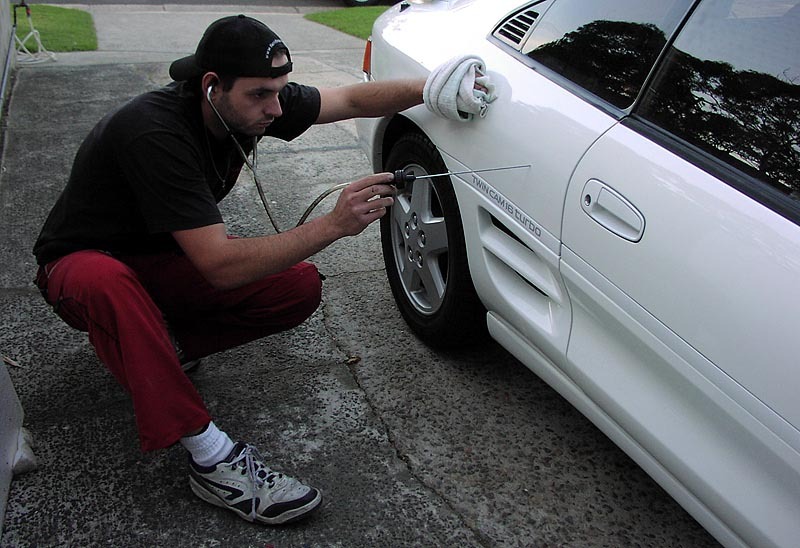 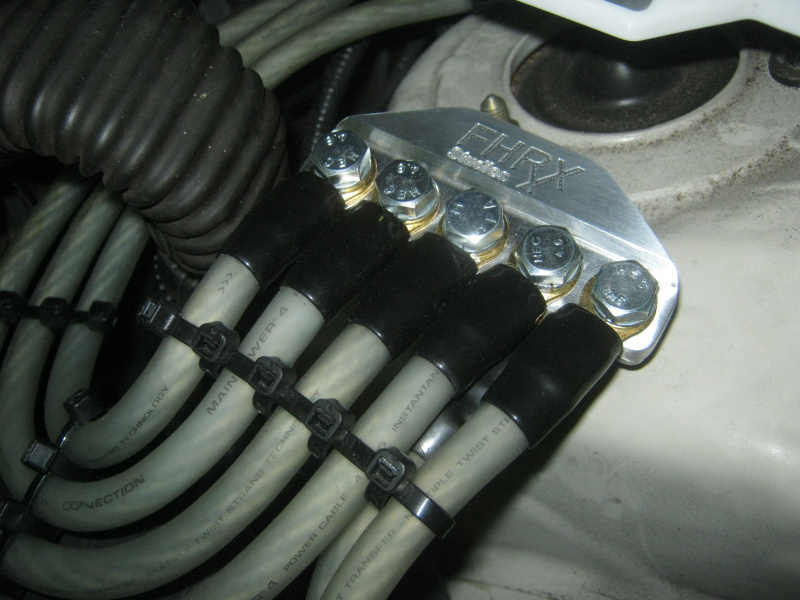 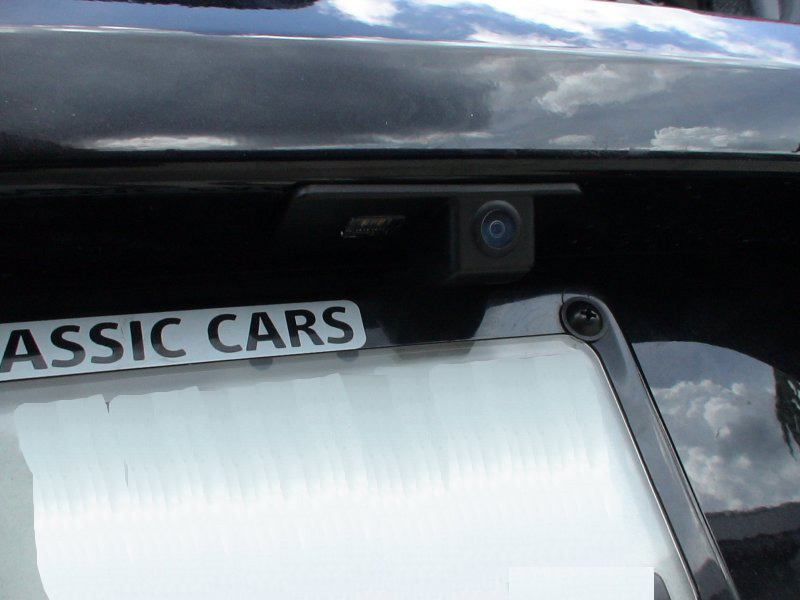 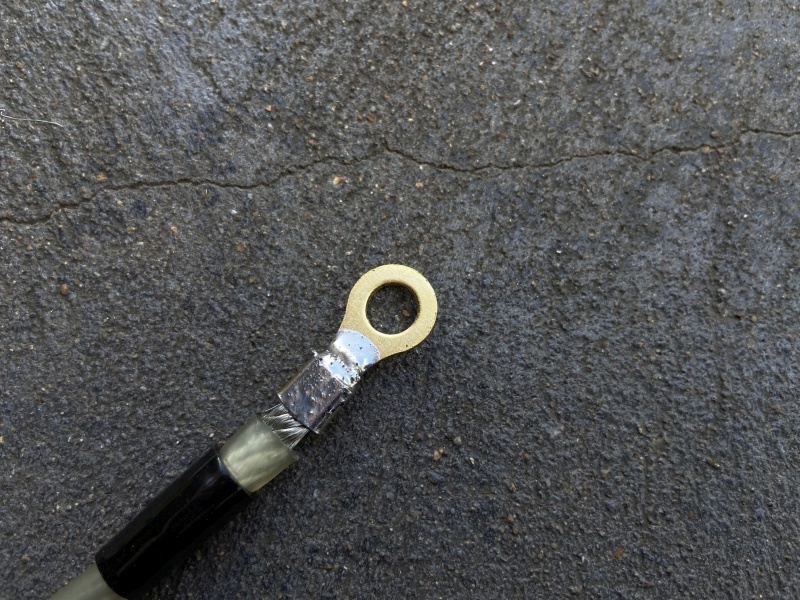 It takes little fiddling around to get them straight but it's better than damaging your car. 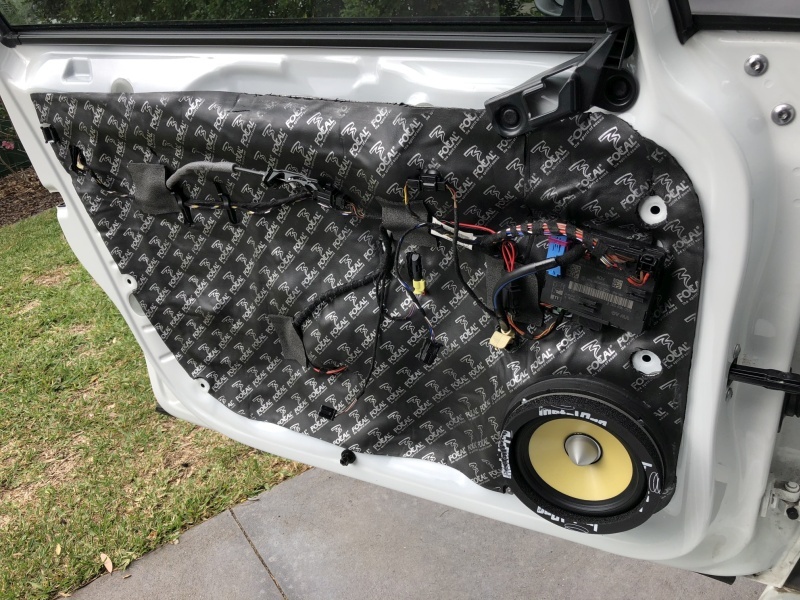 There is nothing worse than sloppy fitting panels. 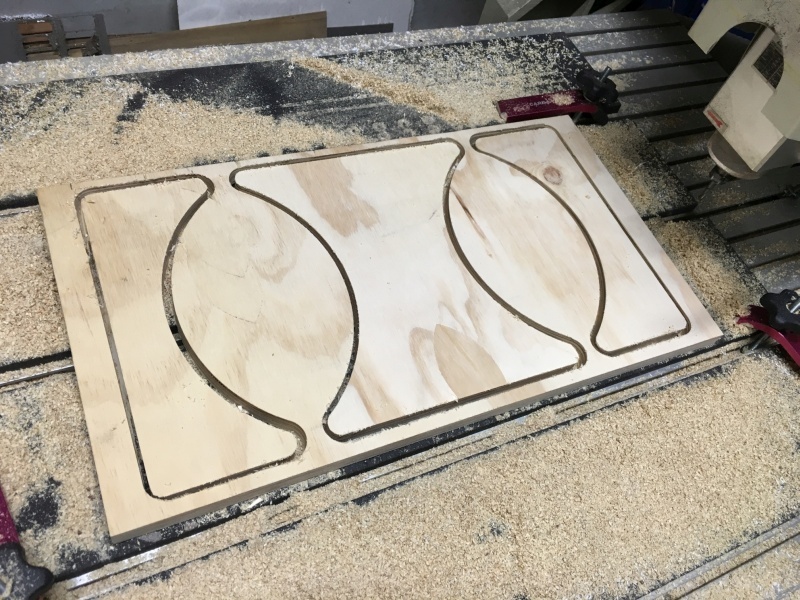 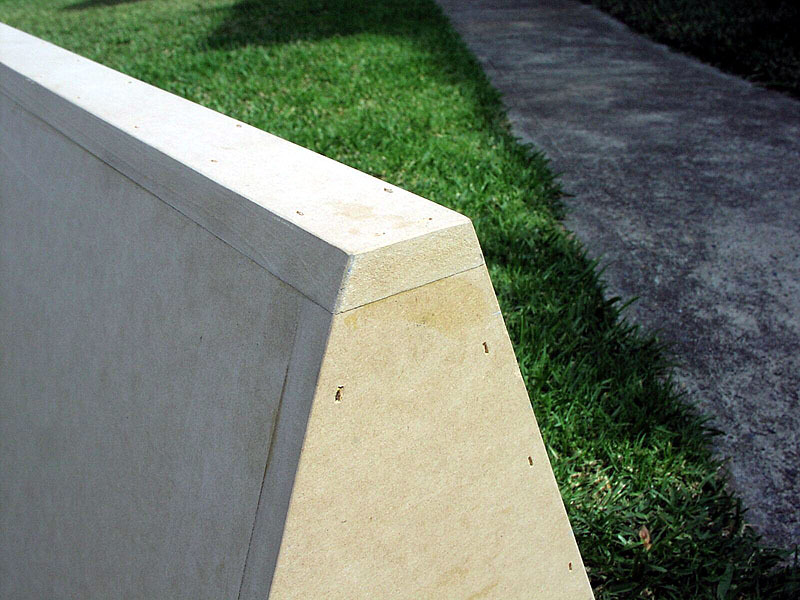 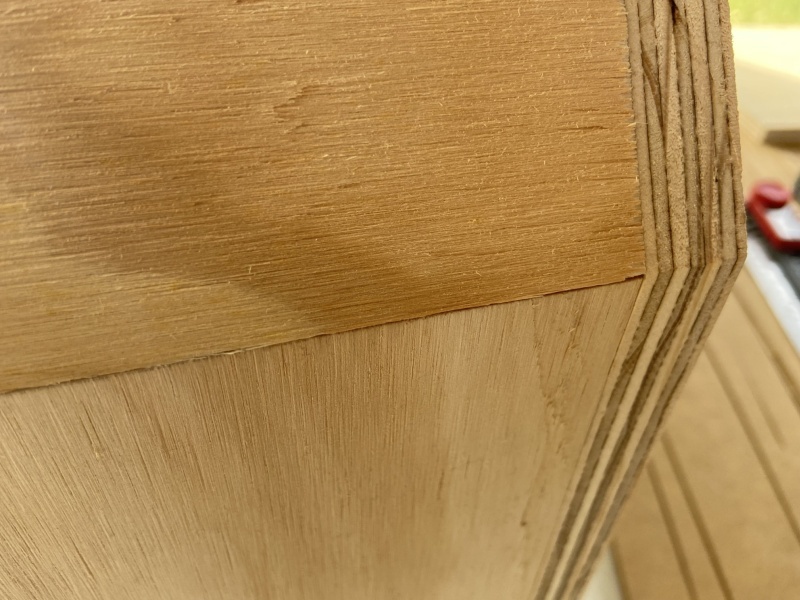 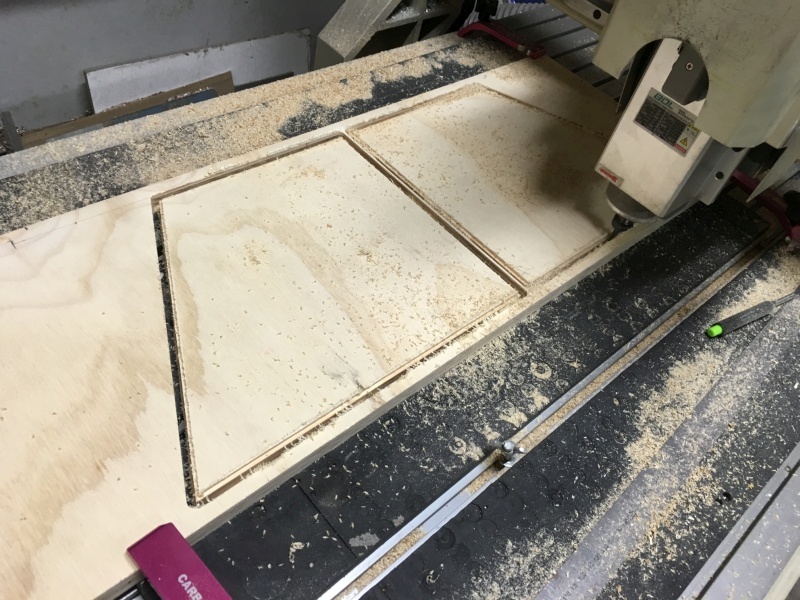 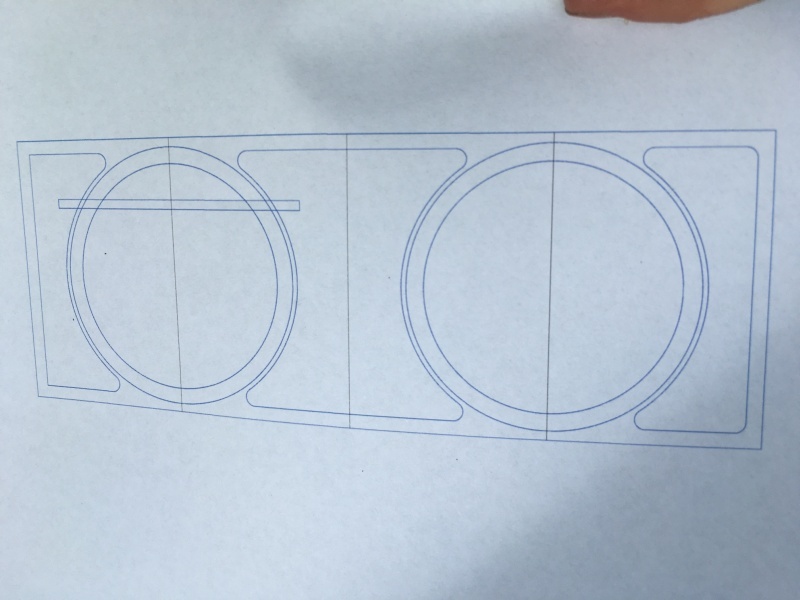 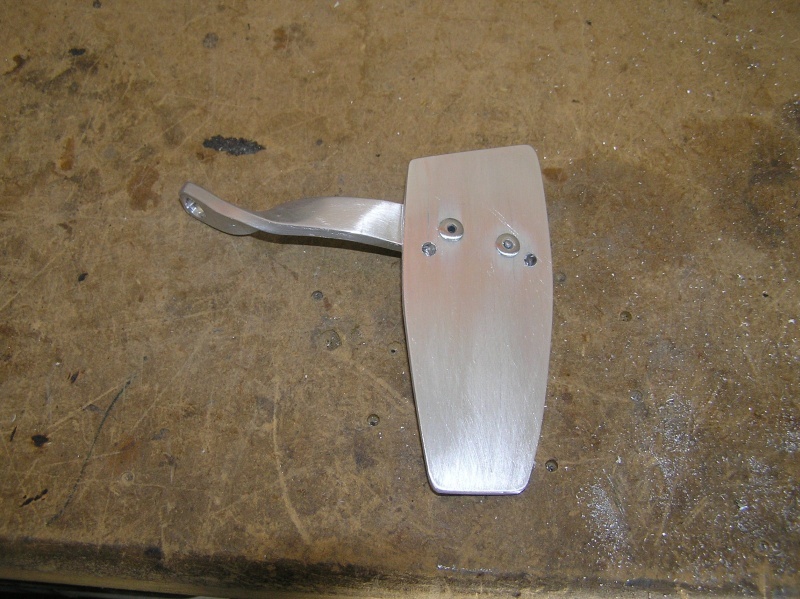 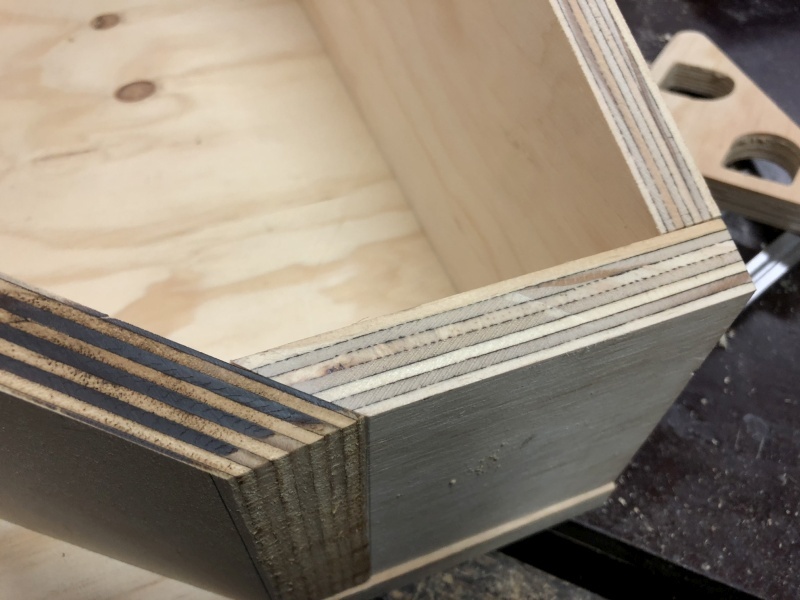 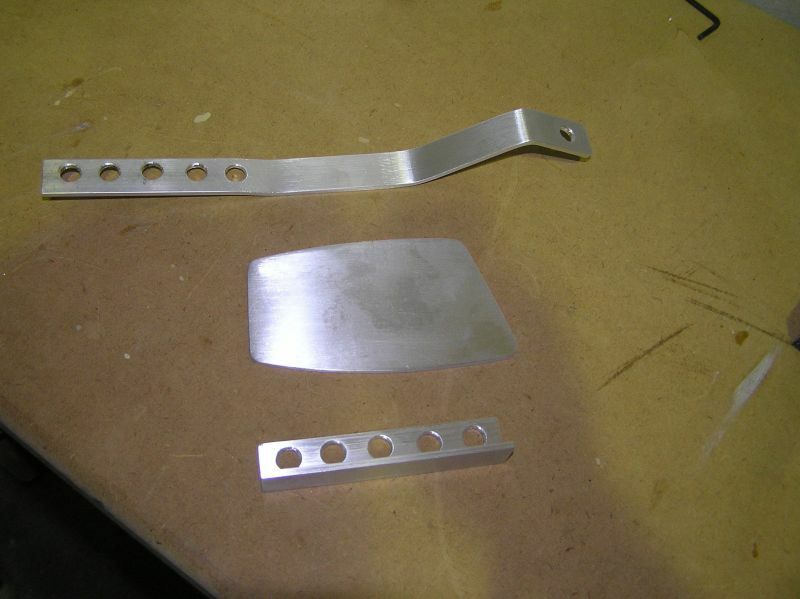 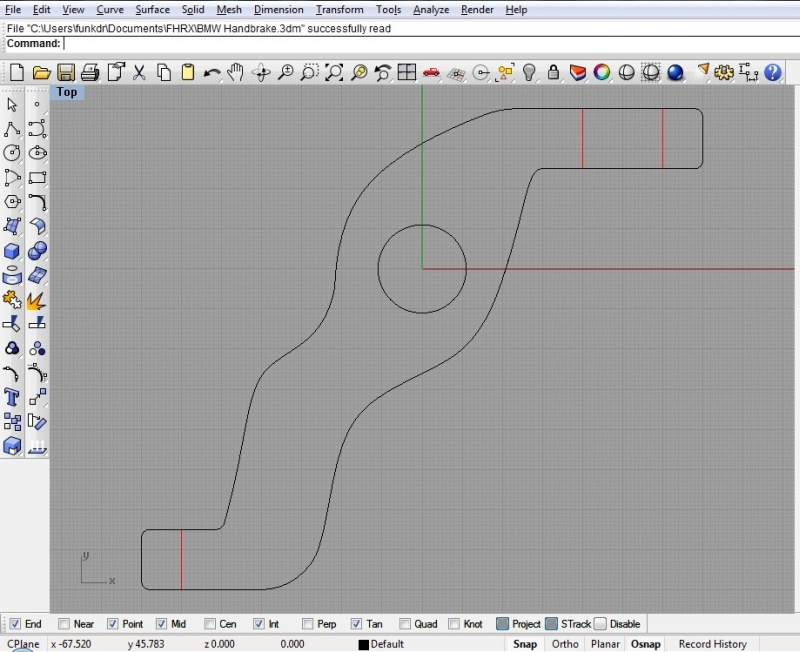 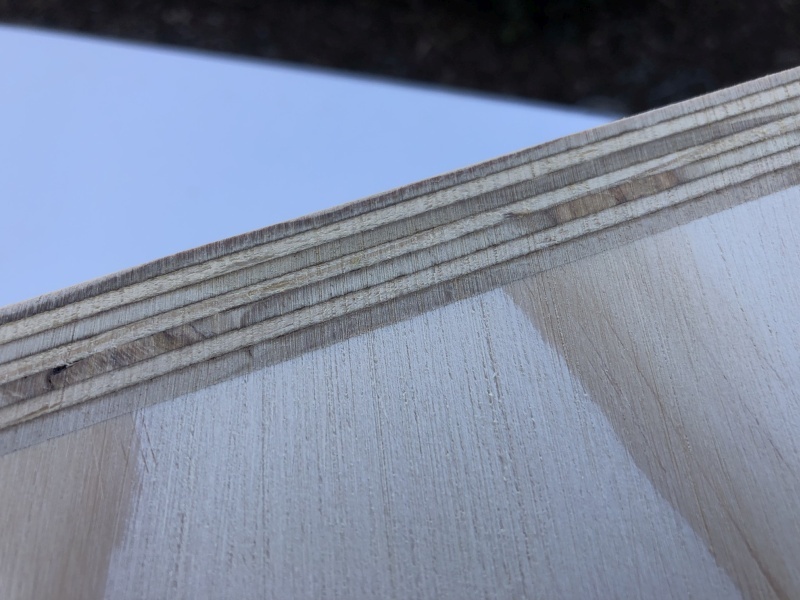 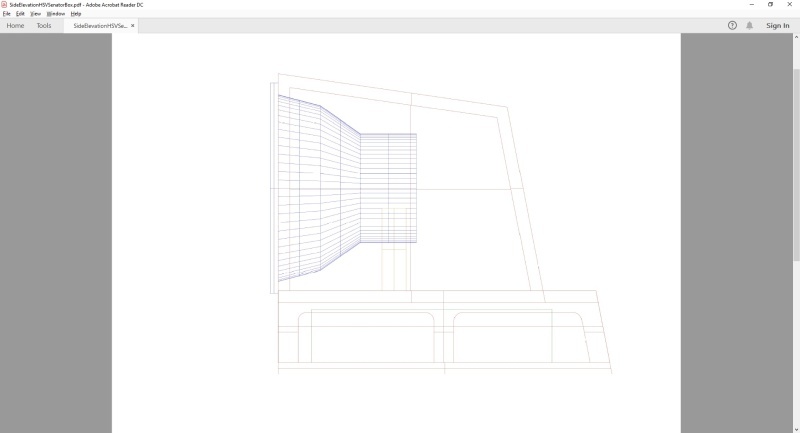 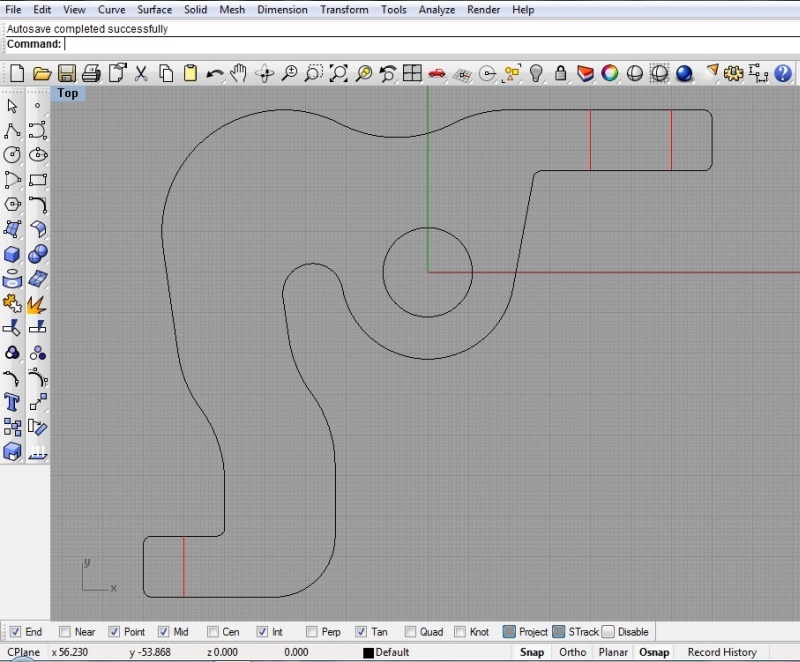 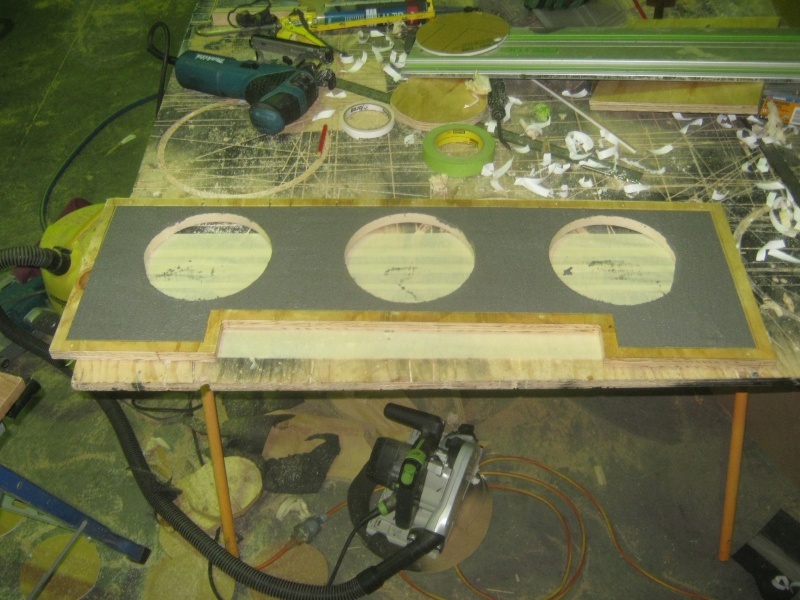 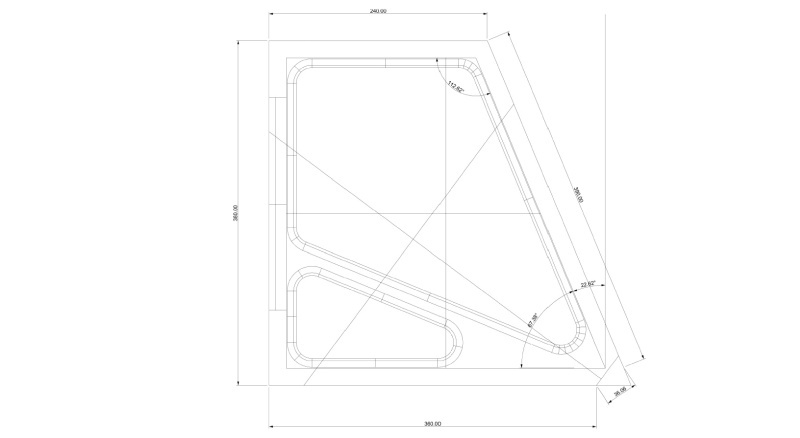 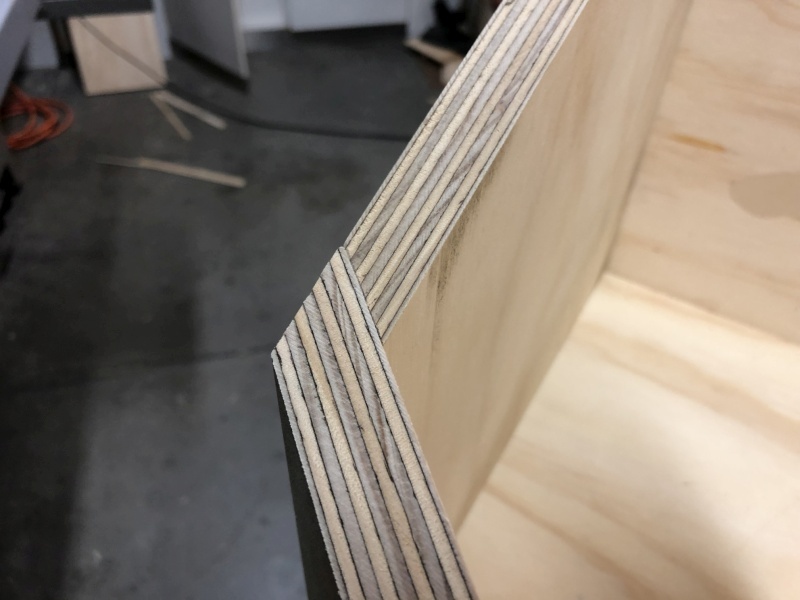 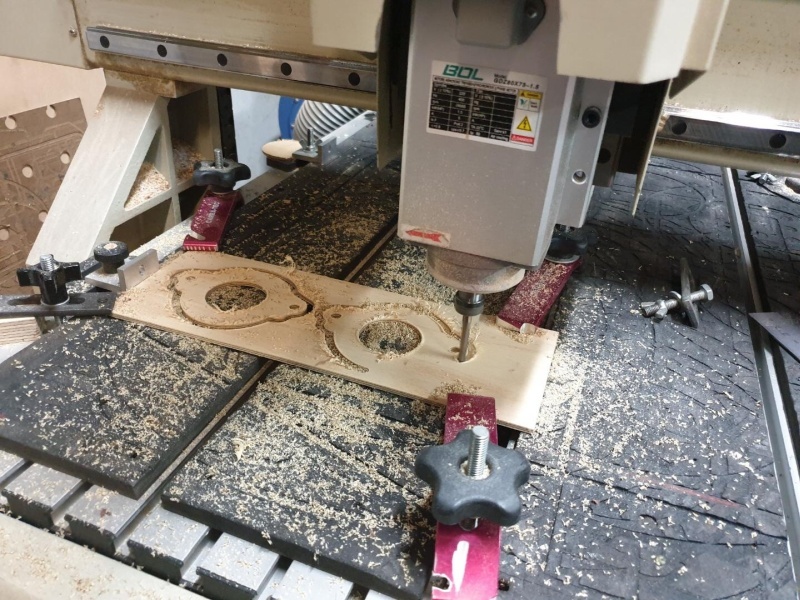 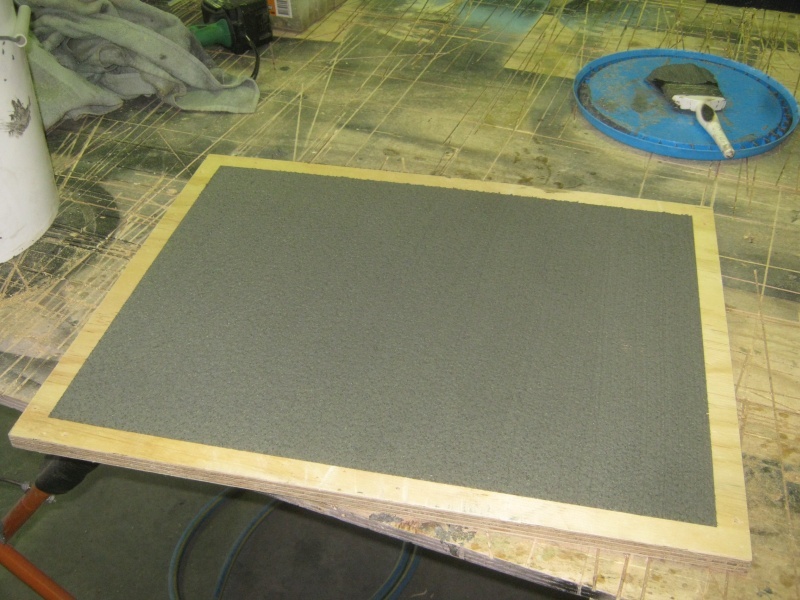 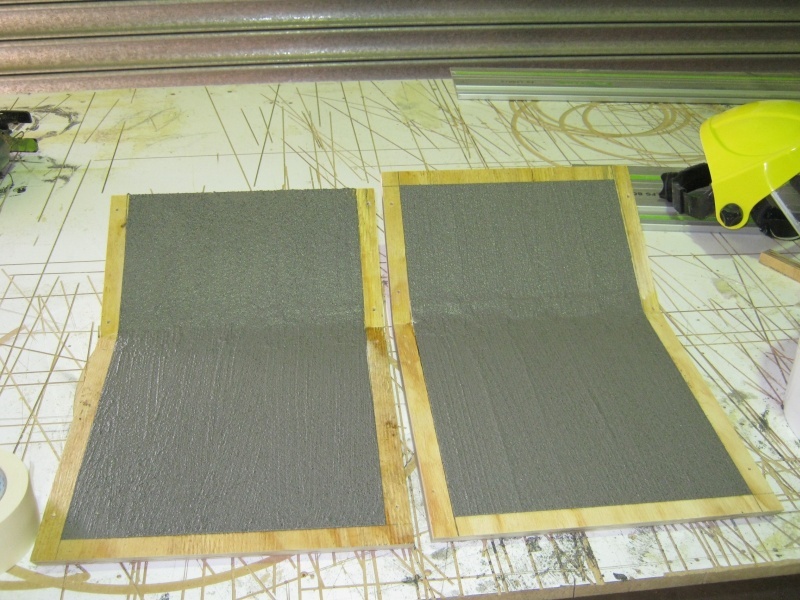 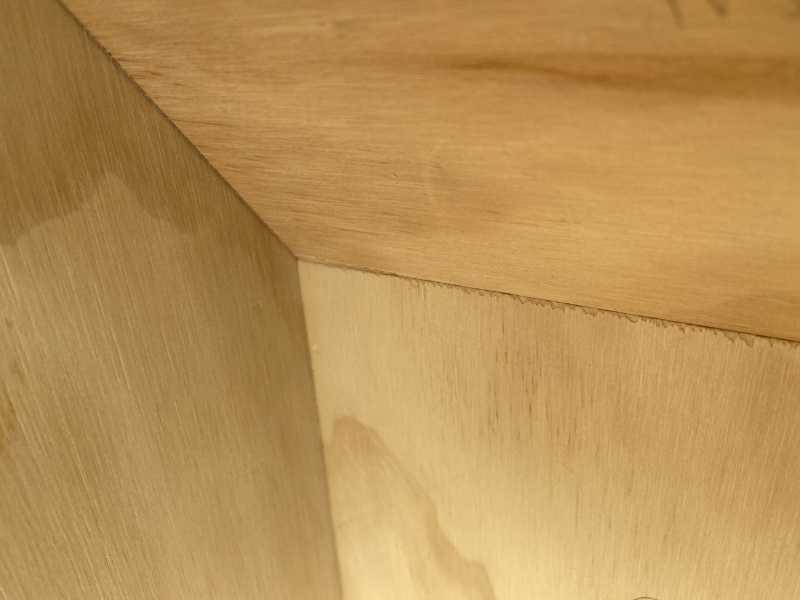 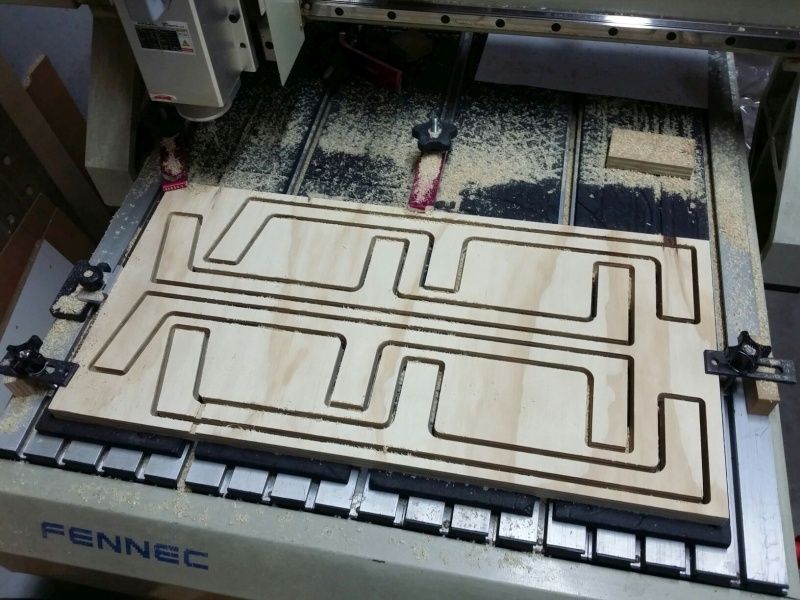 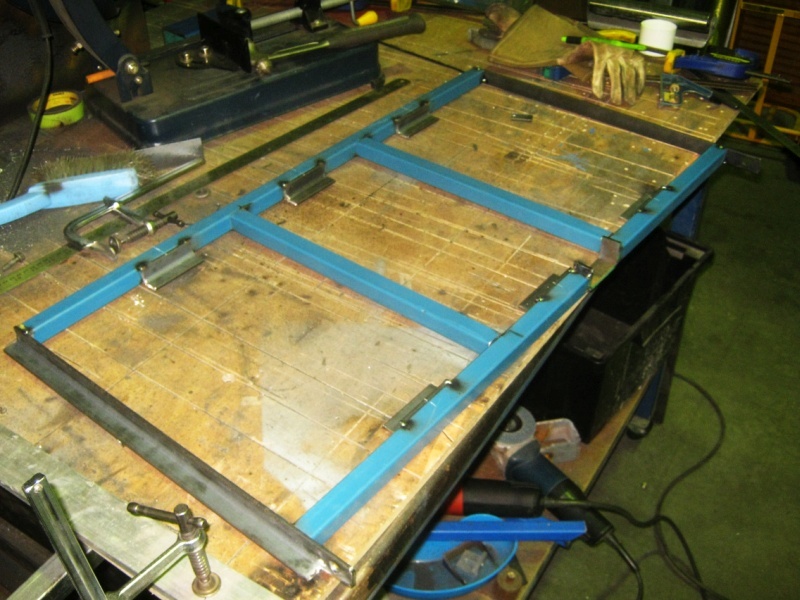 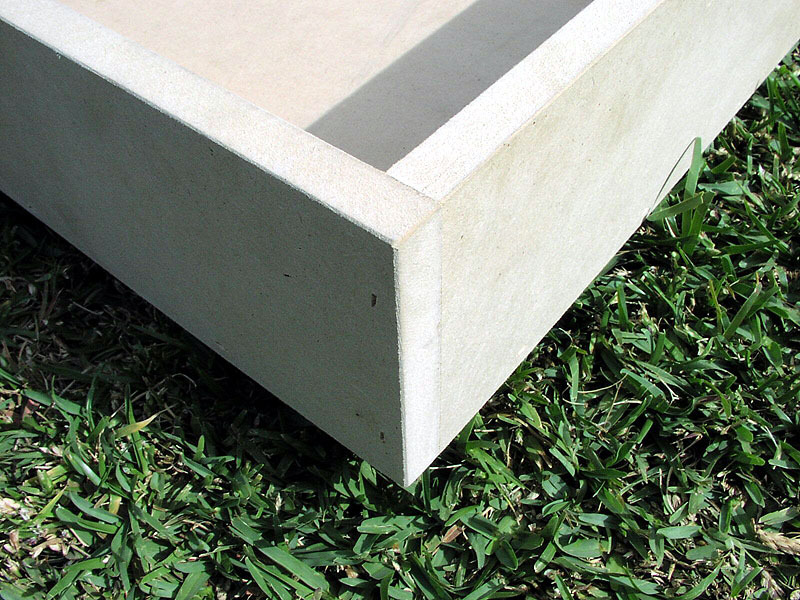 When making custom panels and contouring them, we maintain they must retain gaps of under 1mm on all edges. 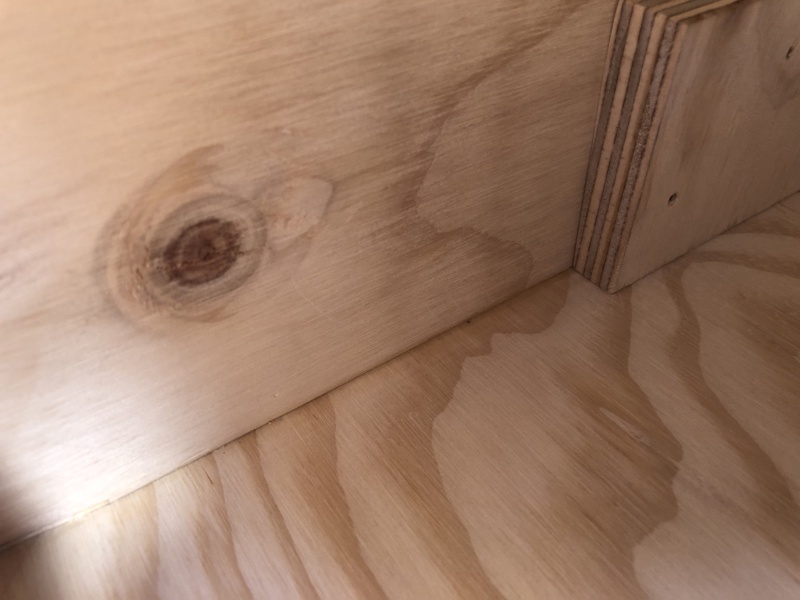 Loosely fitting panels not only look bad, but often become dislodged over time. 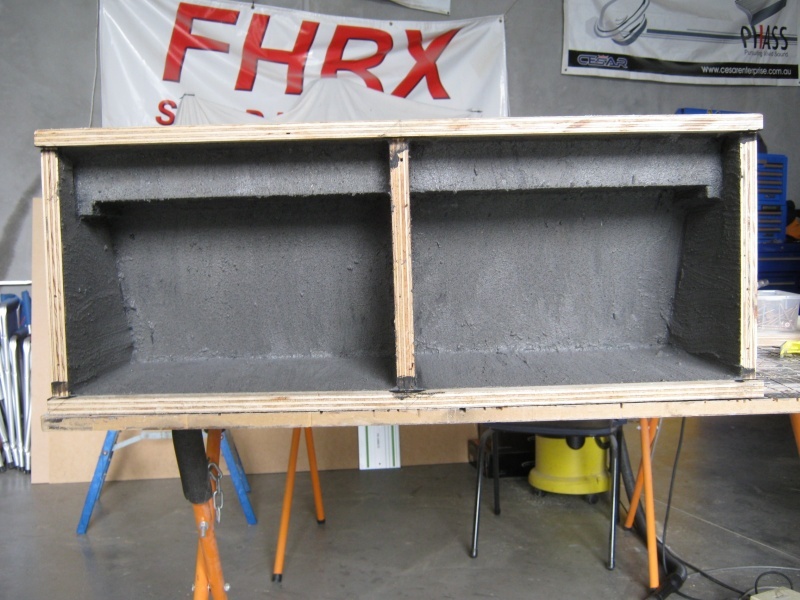 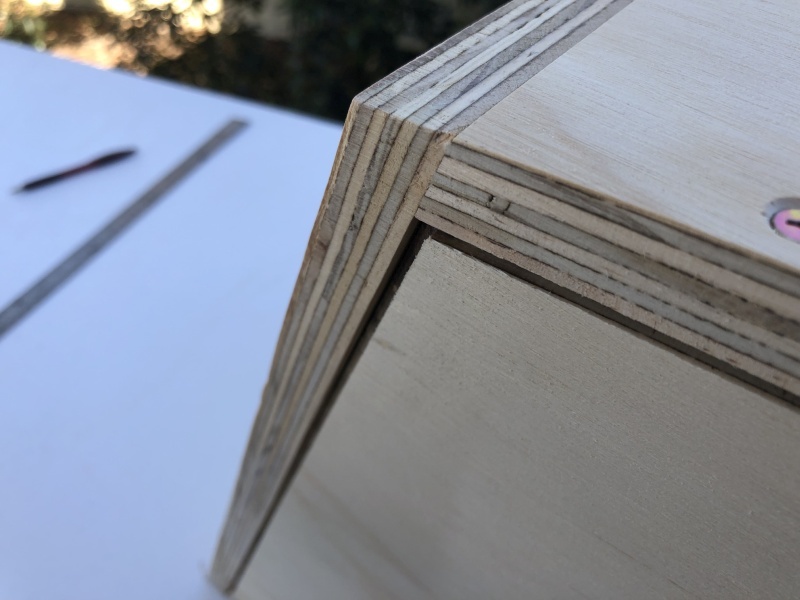 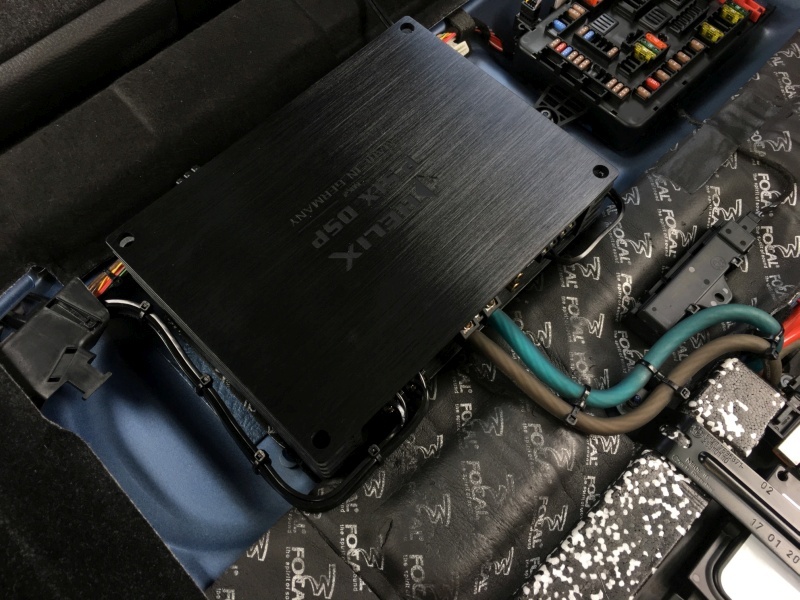 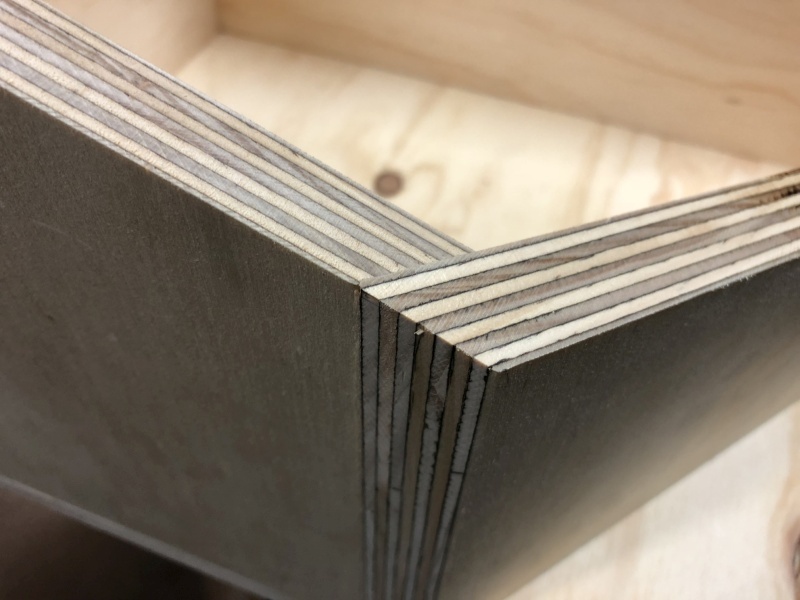 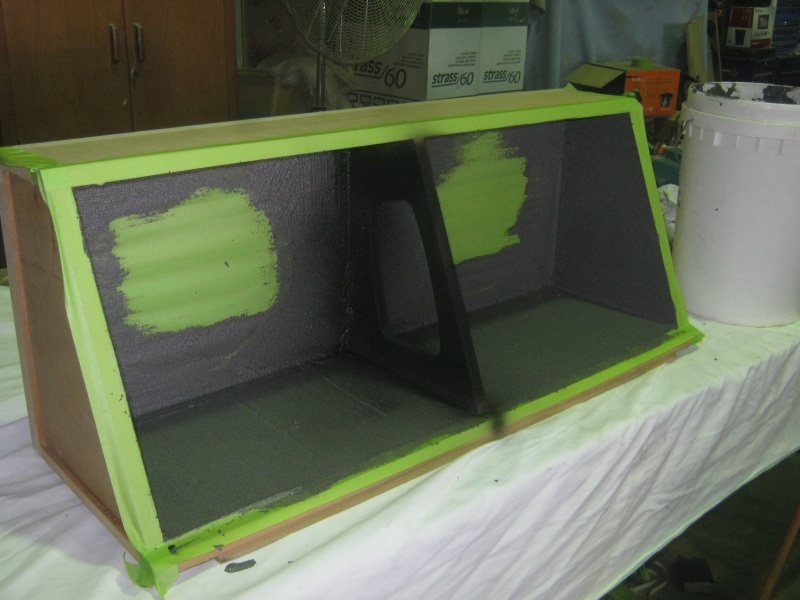 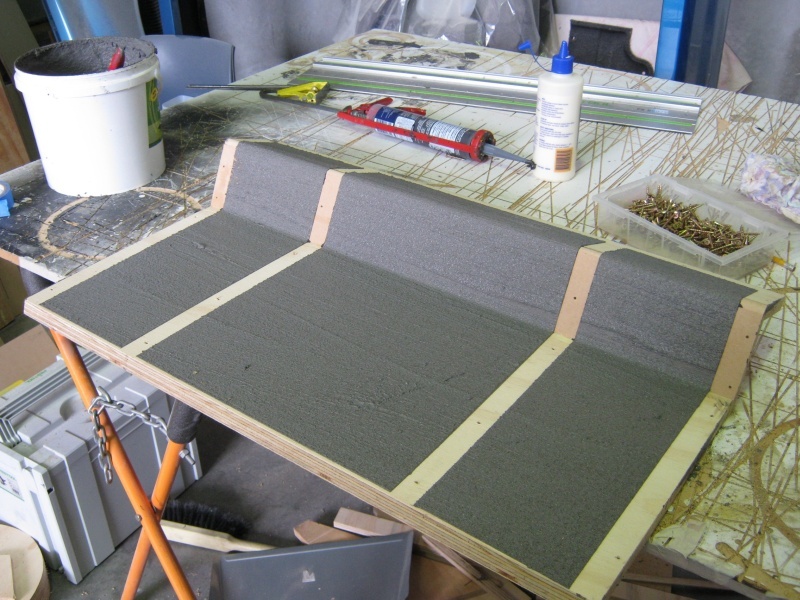 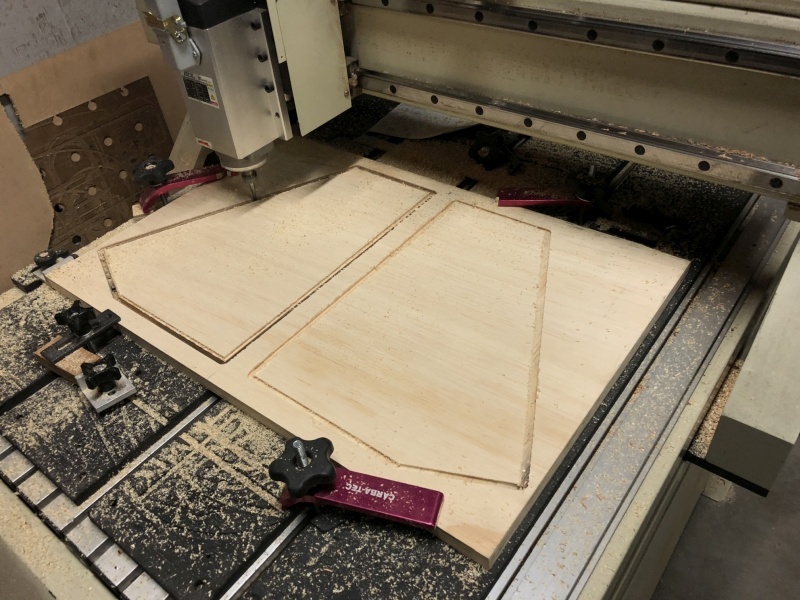 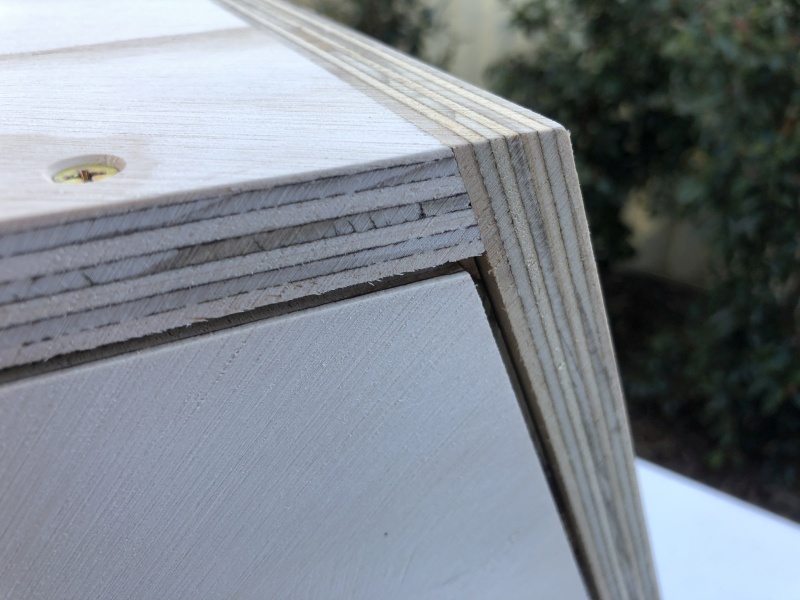 Making the panels to fit is not rocket science however it can take a long time and many attempts; time and care that Fhrx Studios is happy to put in so your install looks like it belongs there as opposed to an afterthought. 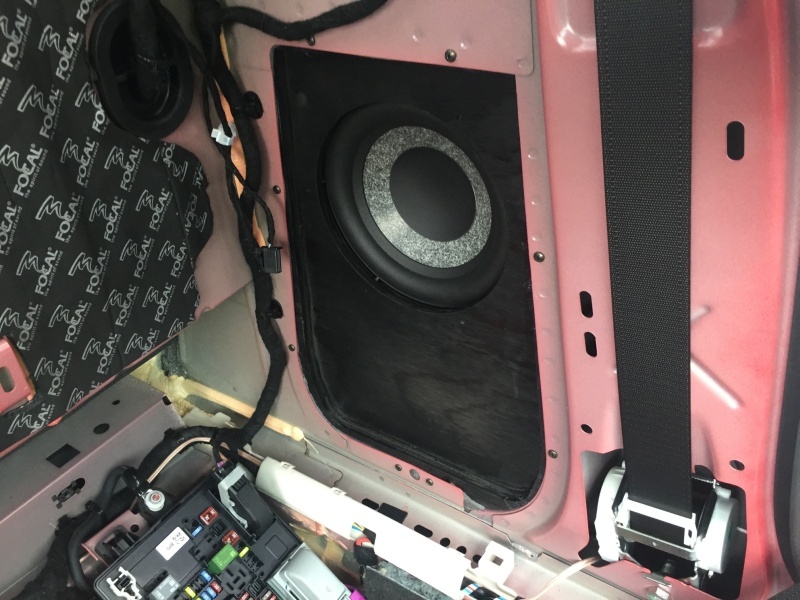 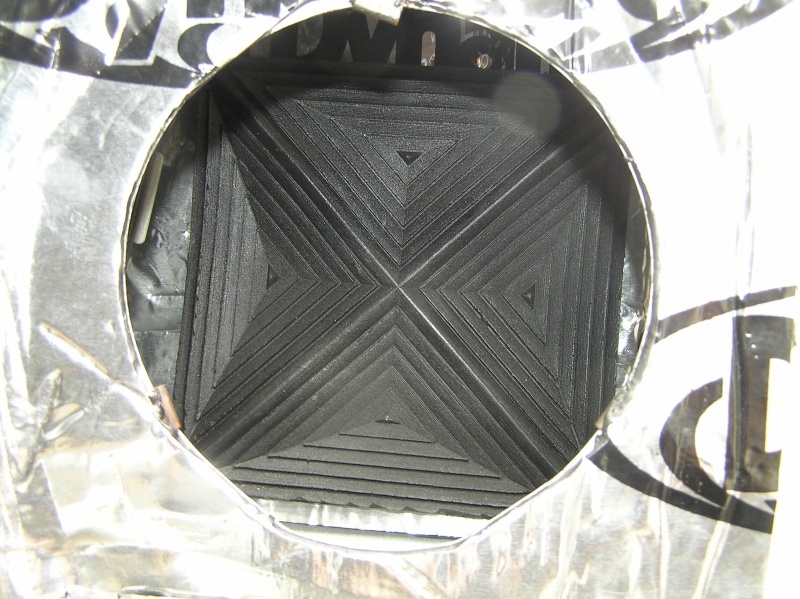 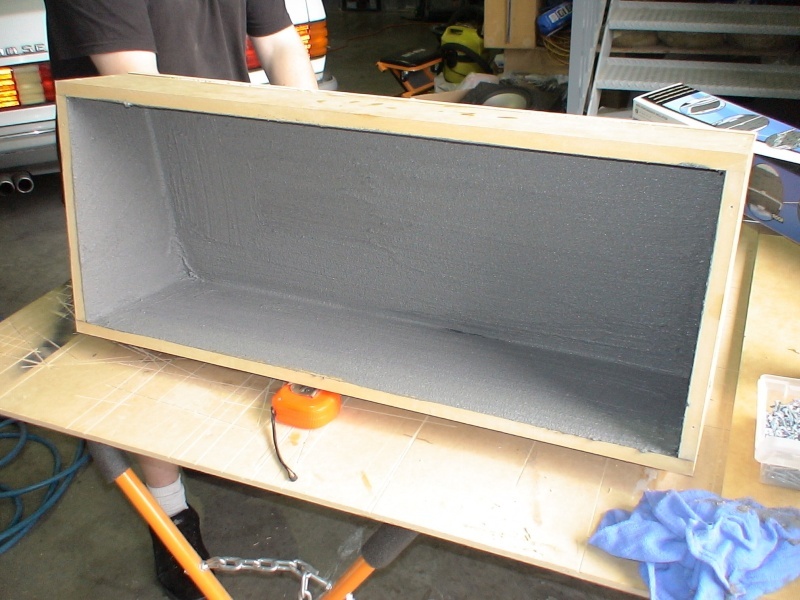 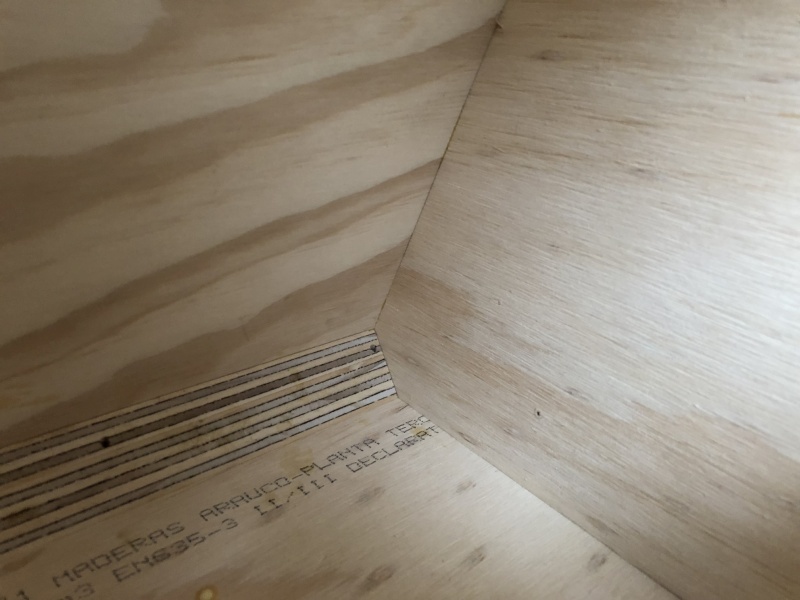 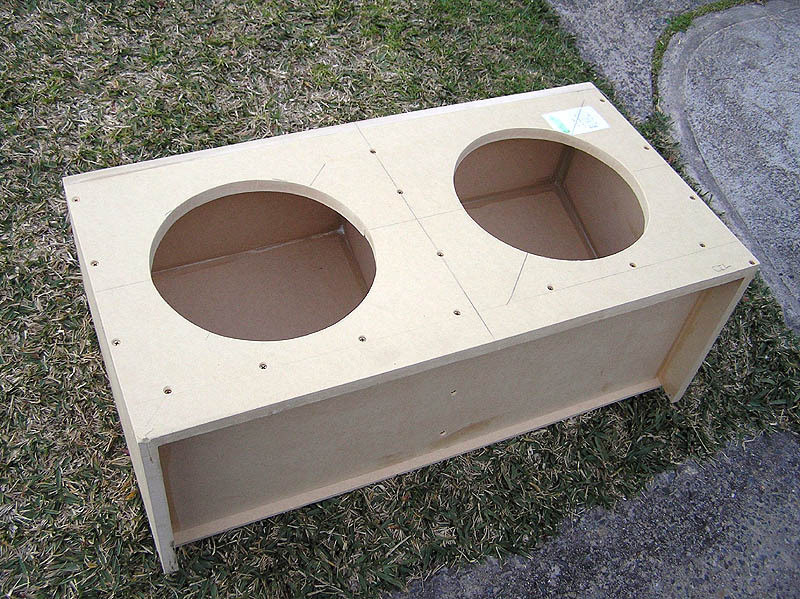 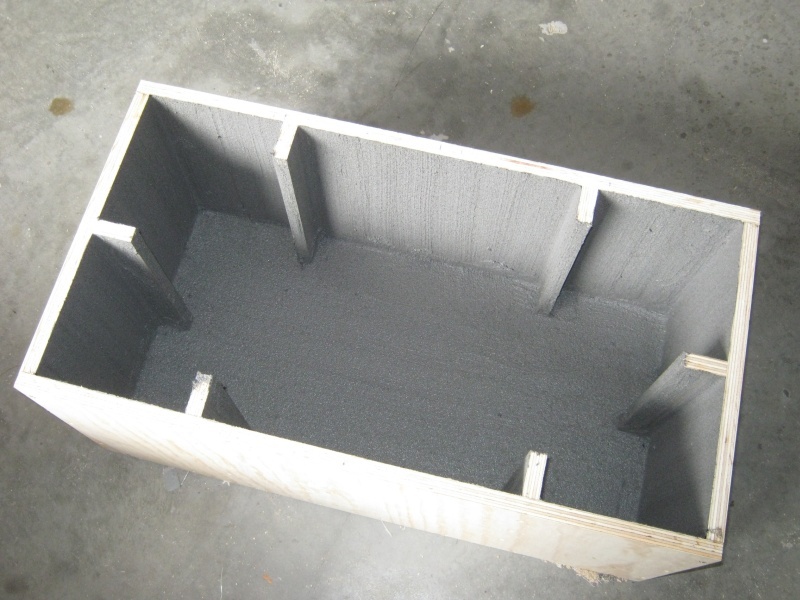 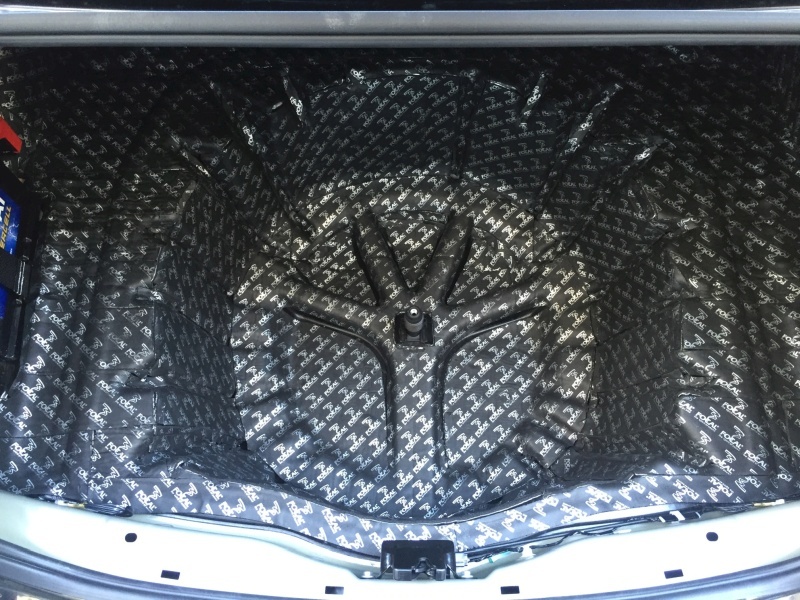 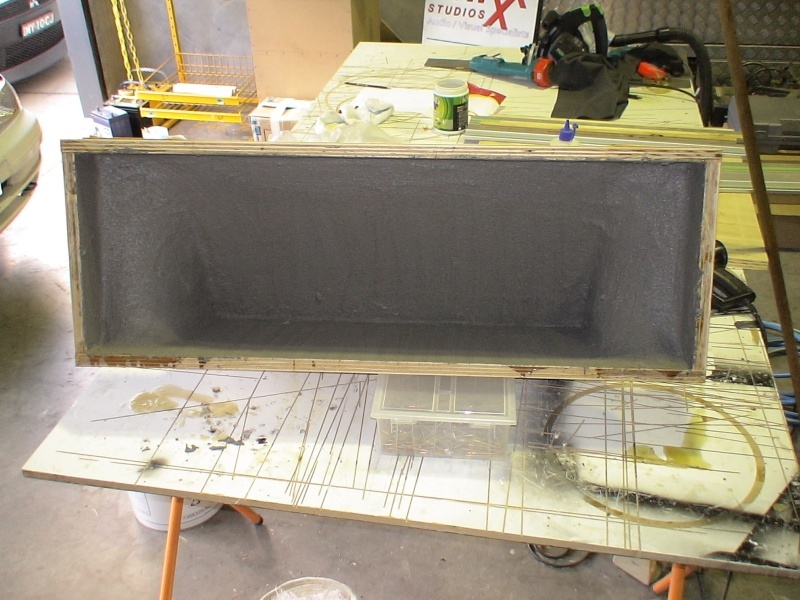 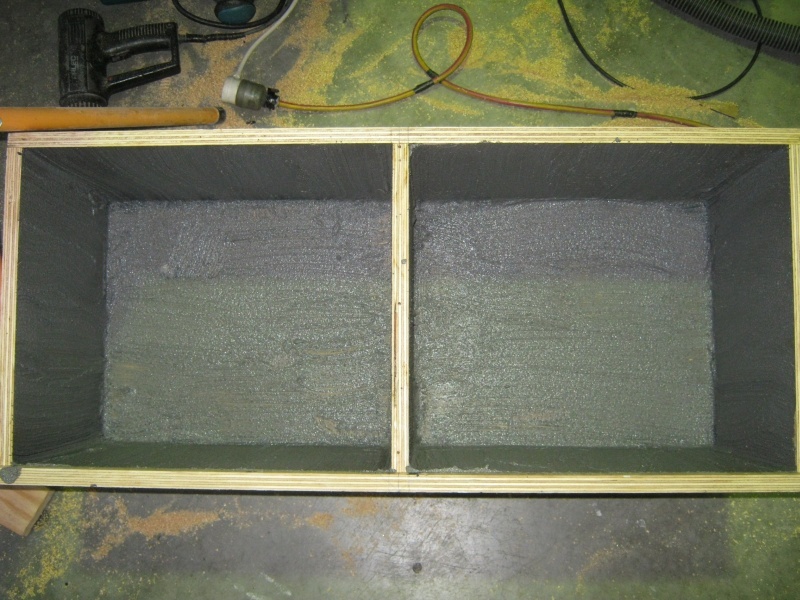 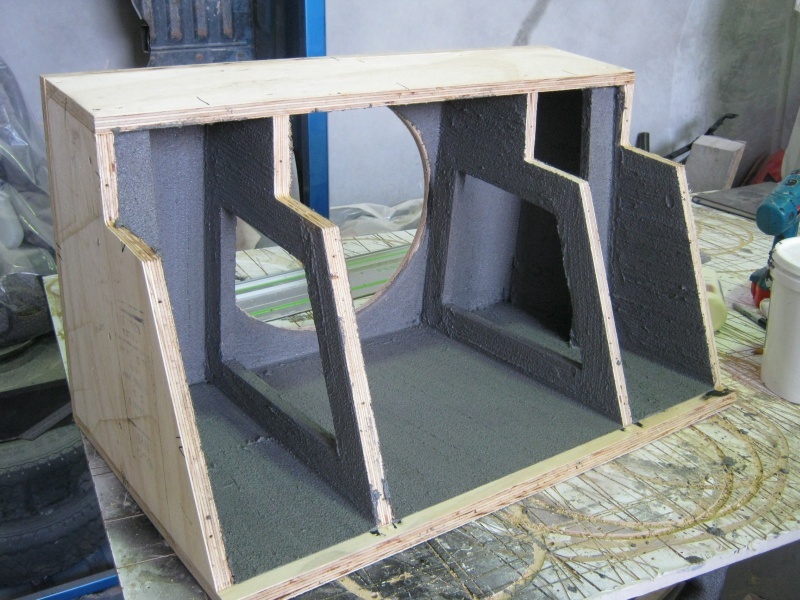 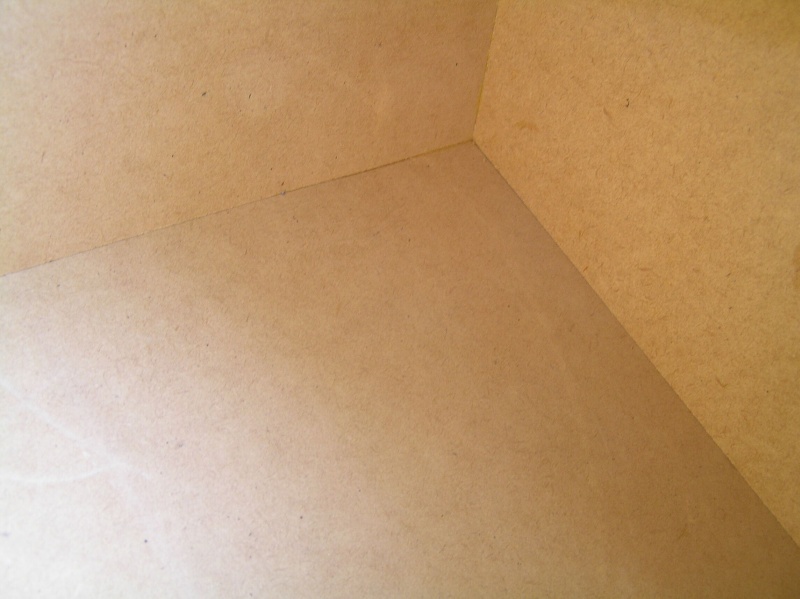 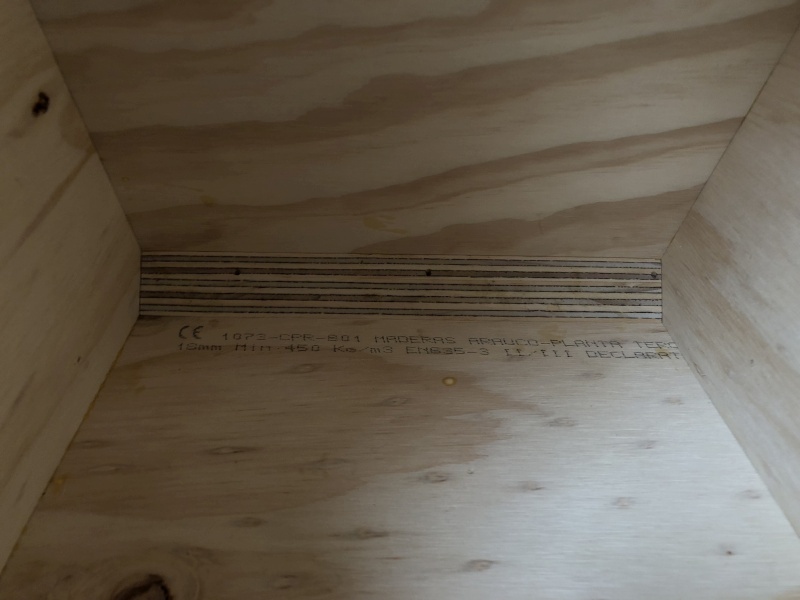 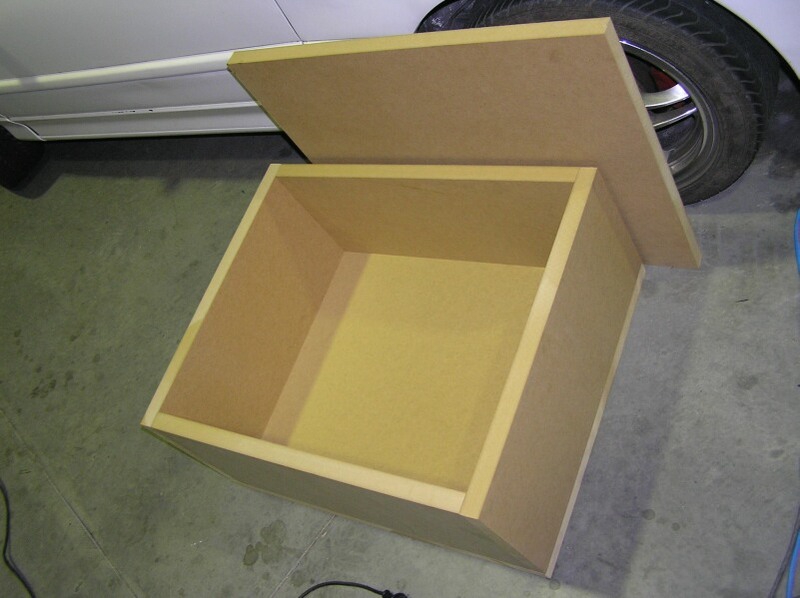 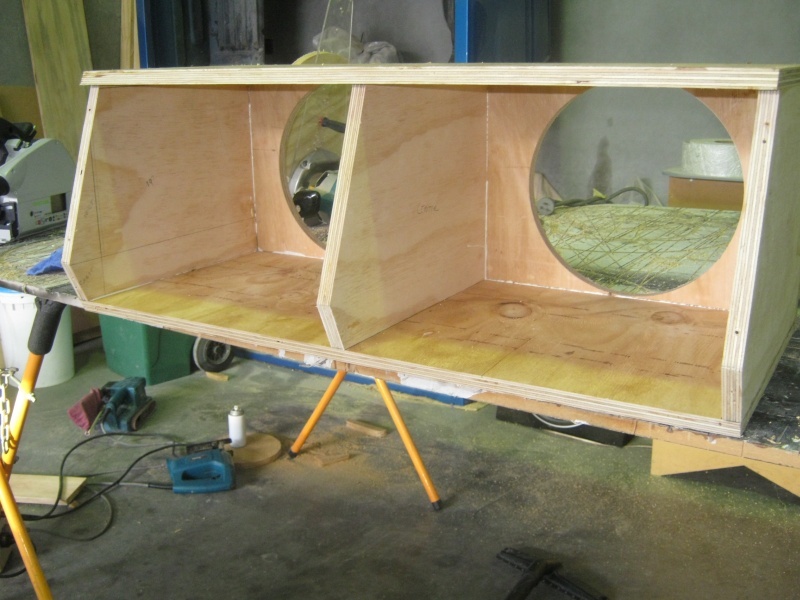 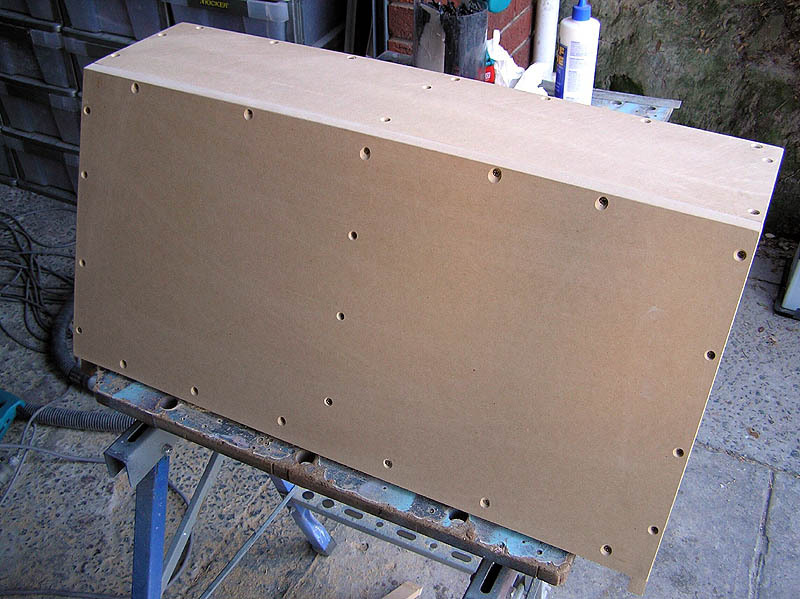 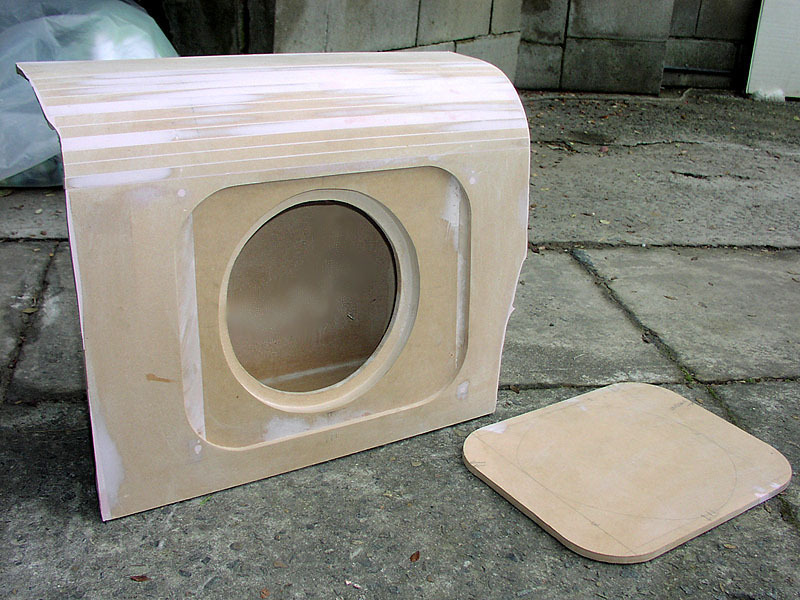 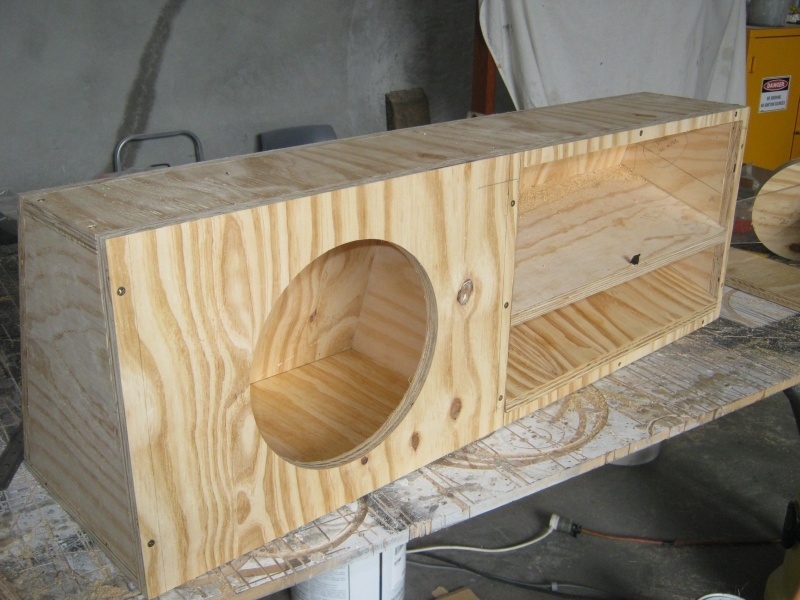 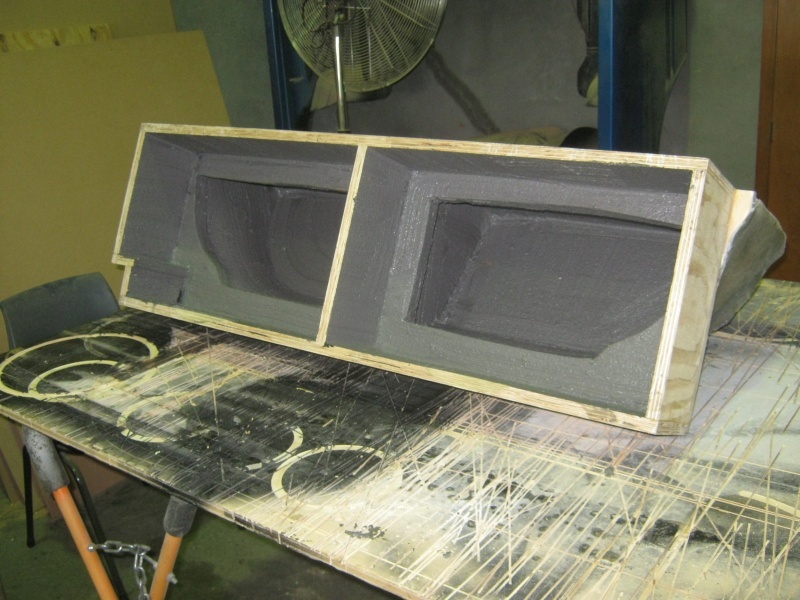 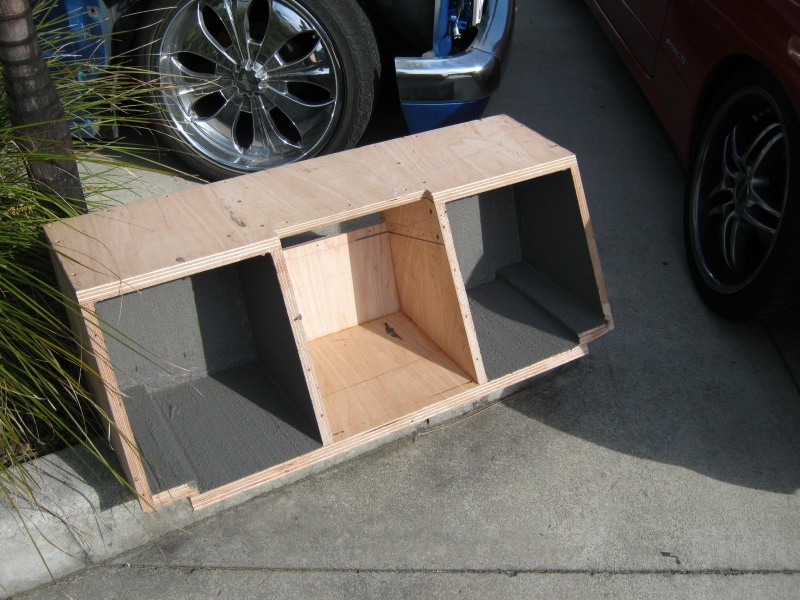 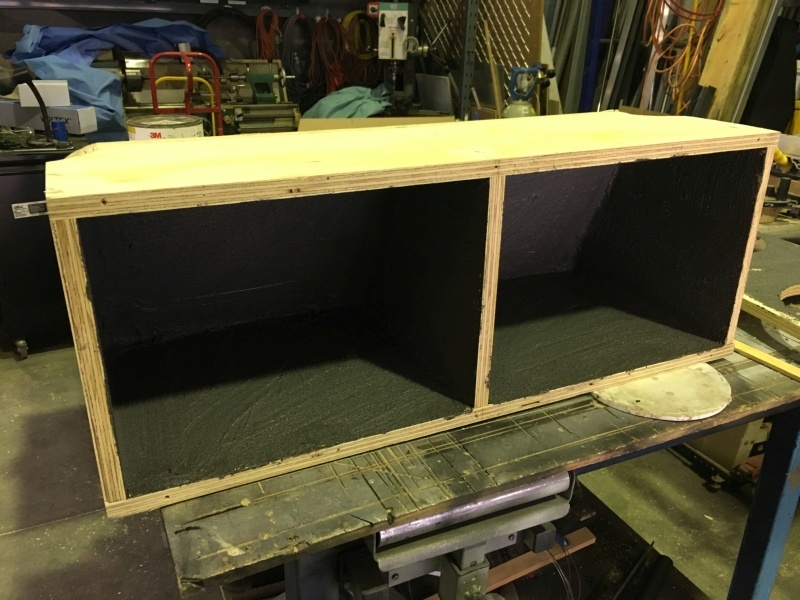 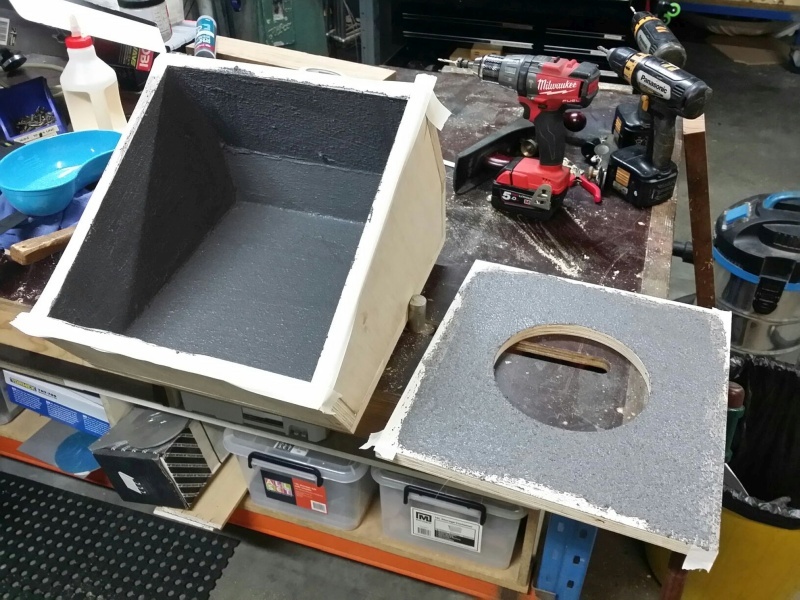 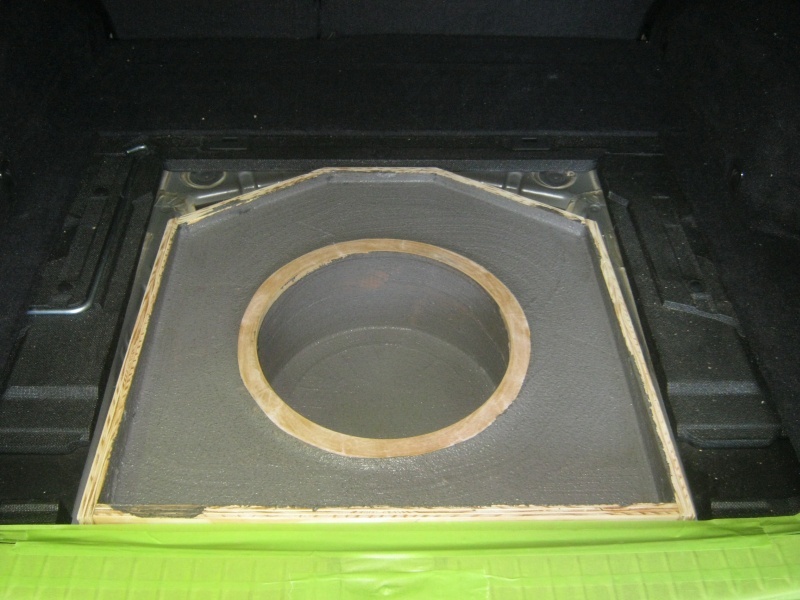 Cannot spot the subwoofer enclosure in these photos? 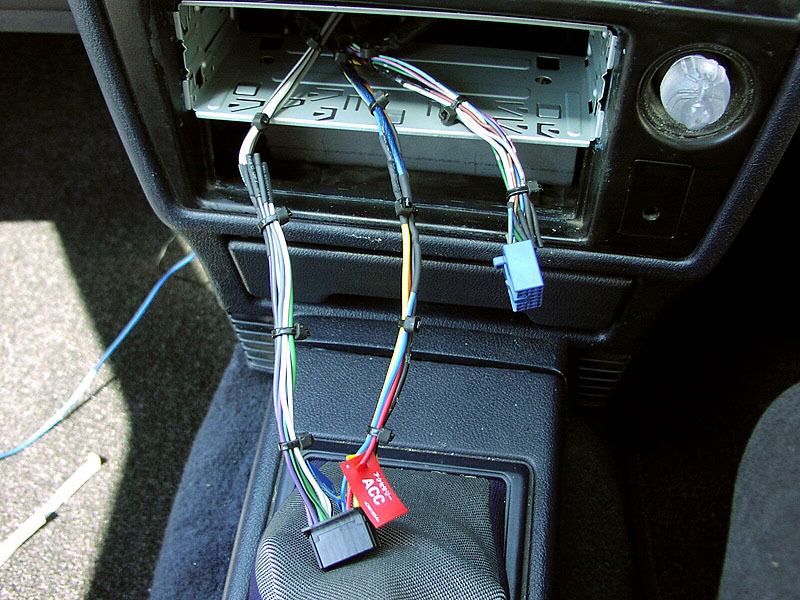 Neither can thieves! 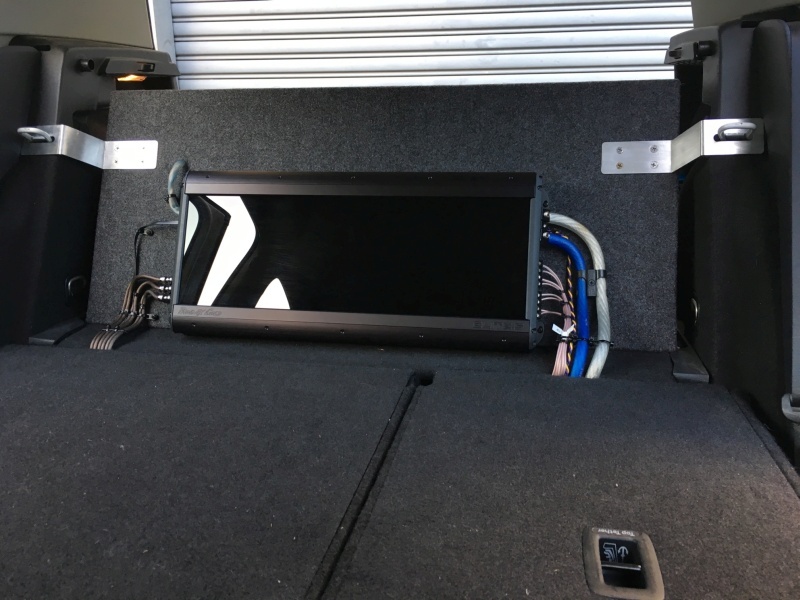 Fhrx Studios not only specialise in big, bright and showy installs but also stealth ones that are far removed from prying eyes. 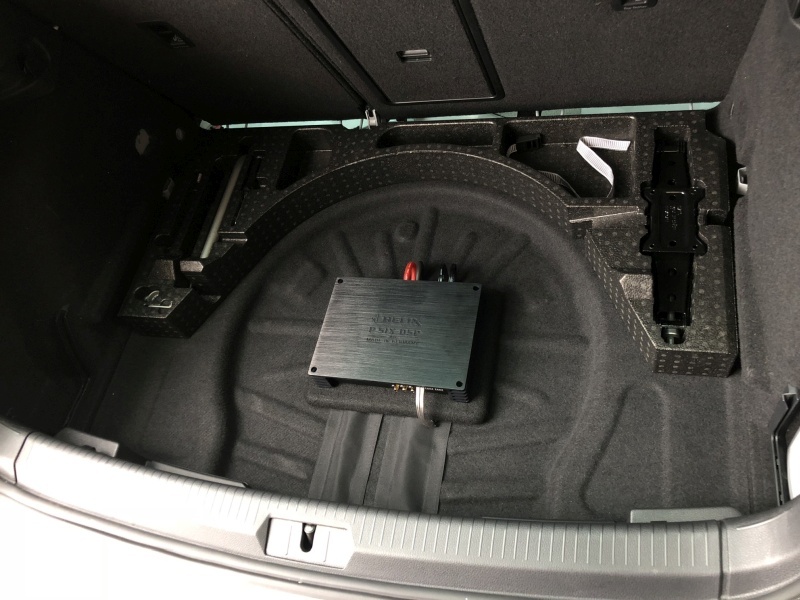 Hidden systems and stealth enclosures are fast becoming more and more desirable these days with crime on the increase and this will remain the case until we're legally allowed to shoot thieves. 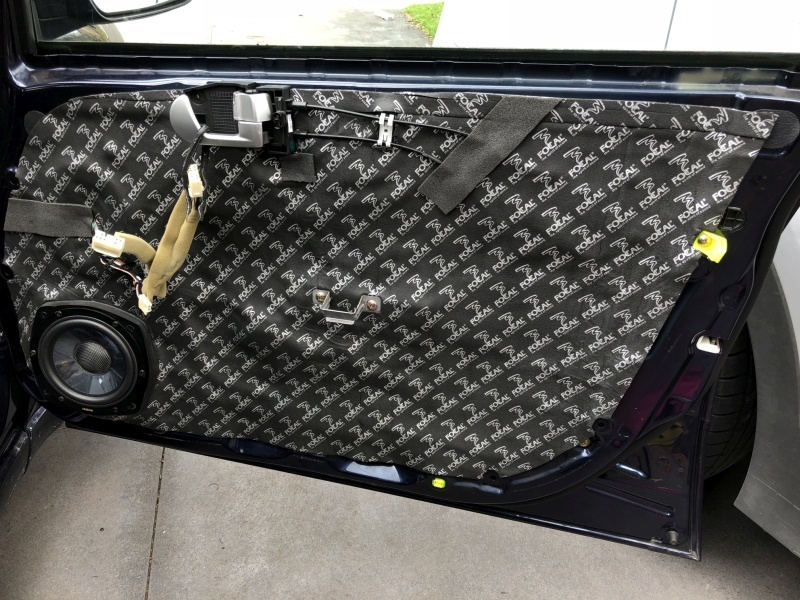 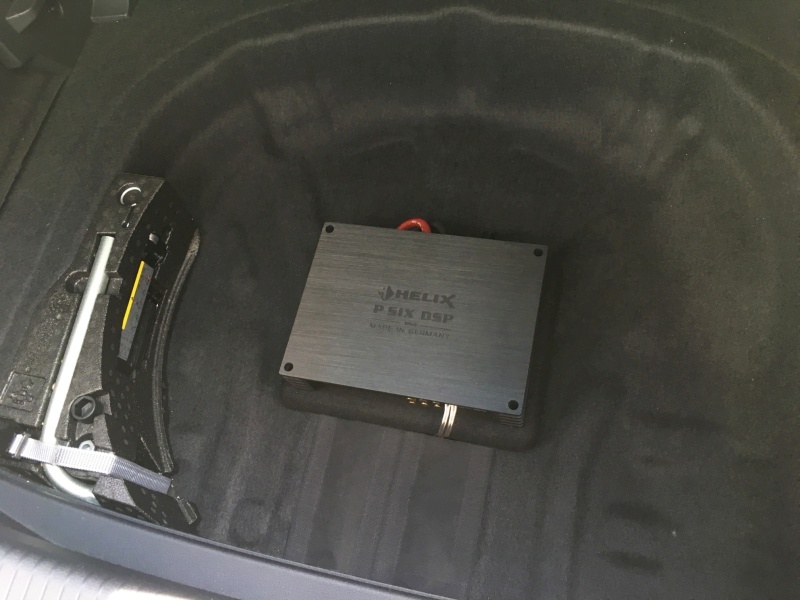 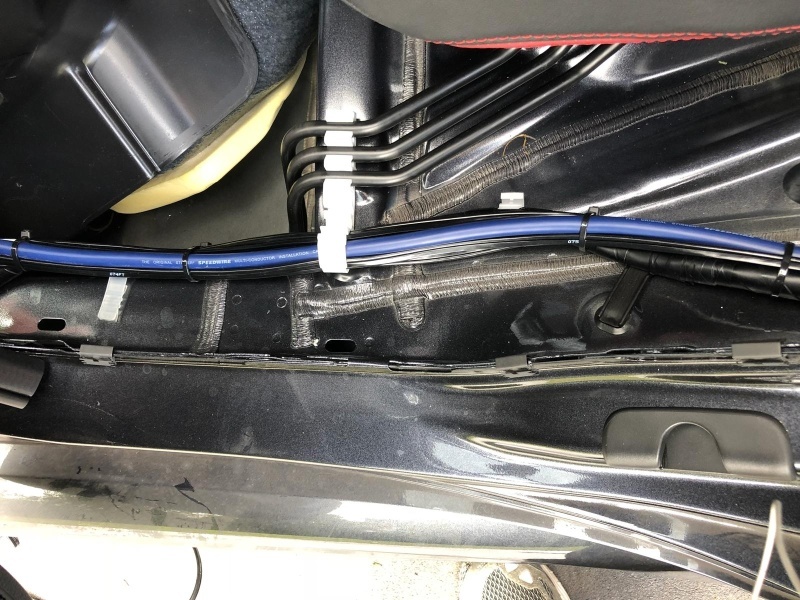 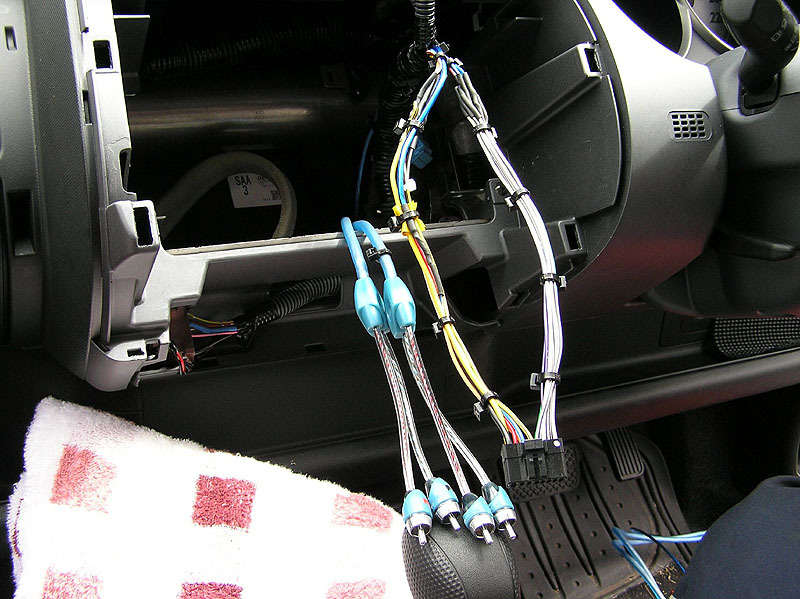 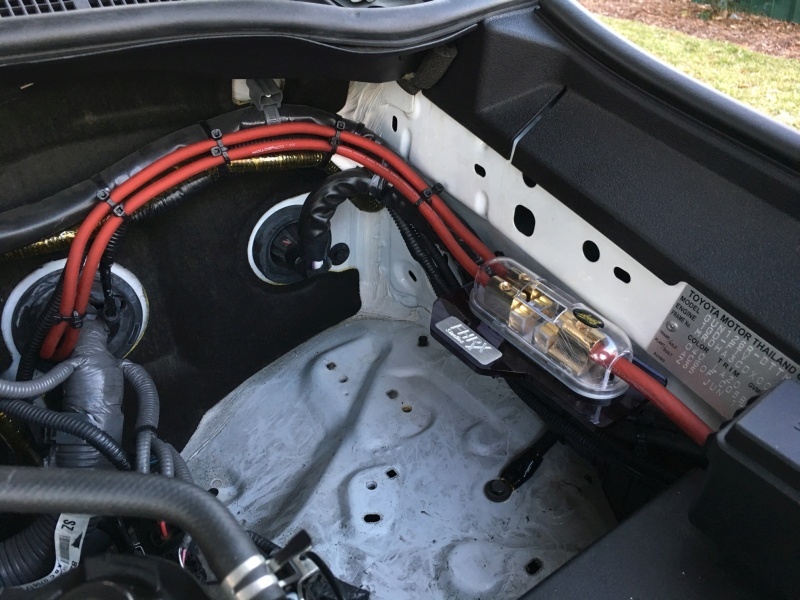 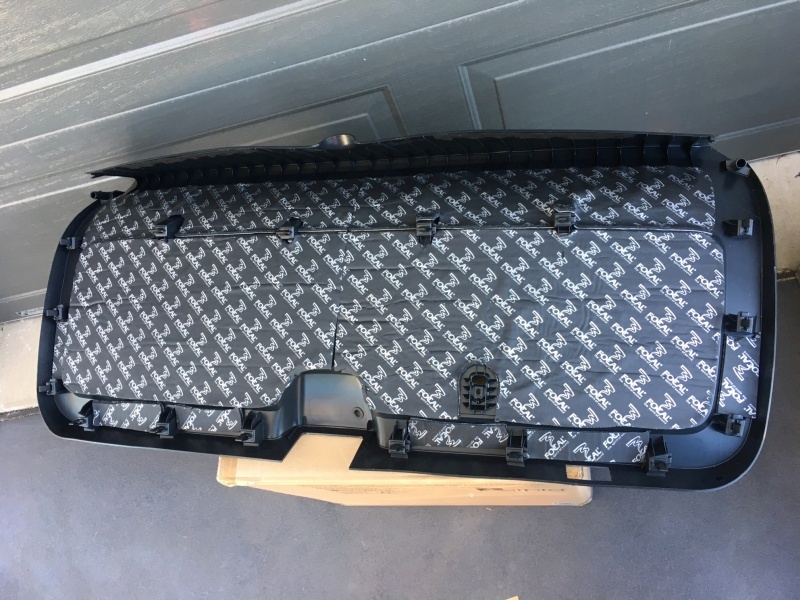 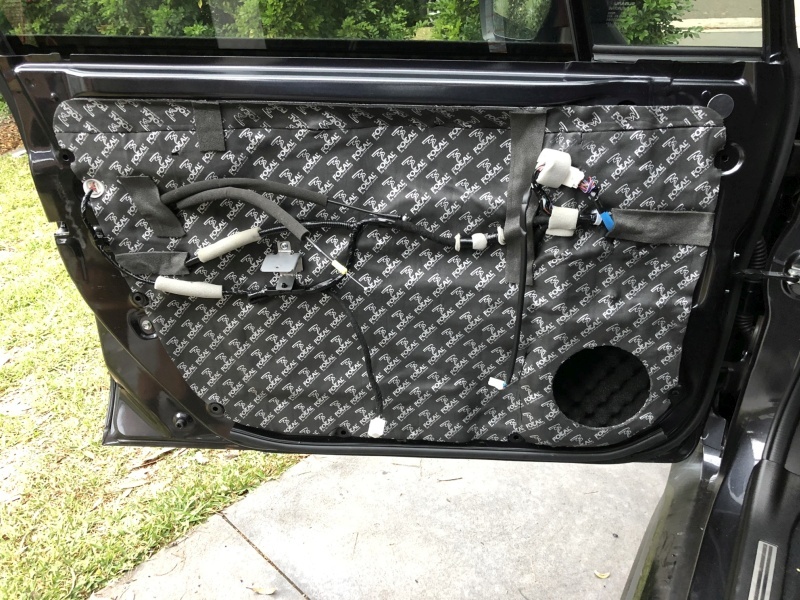 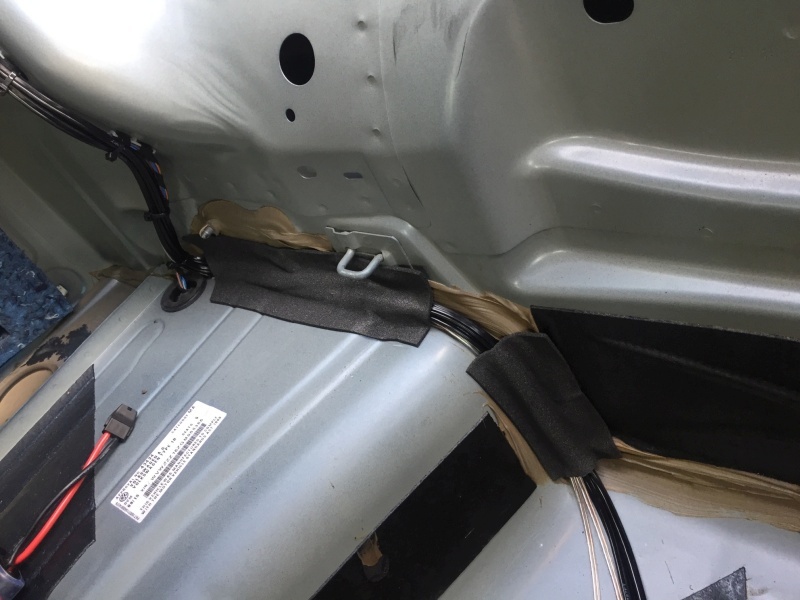 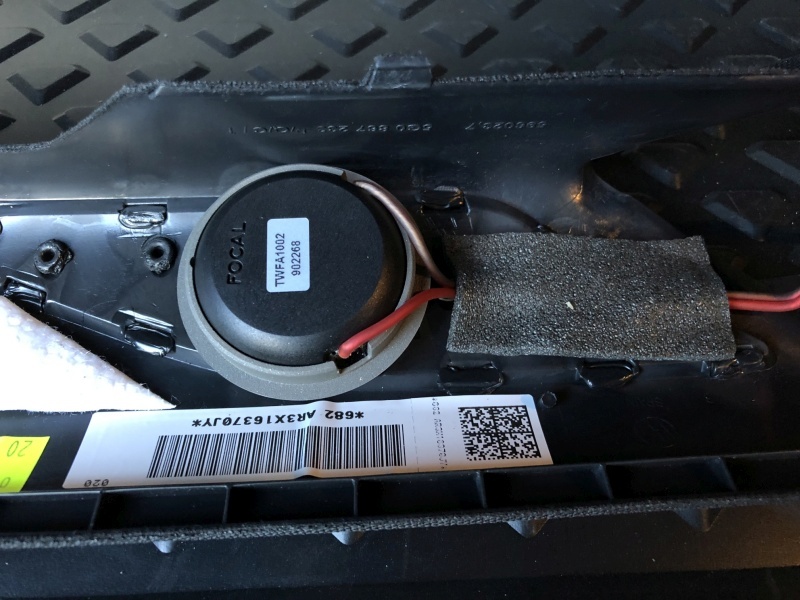 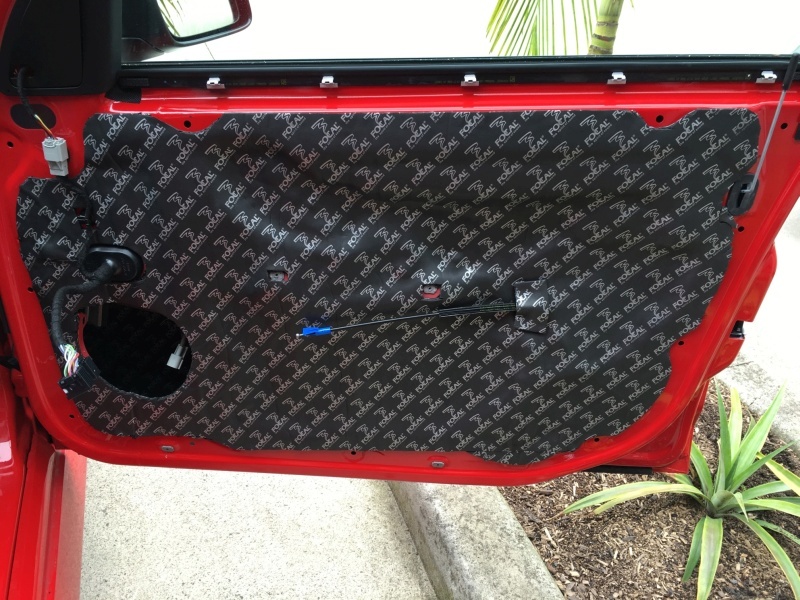 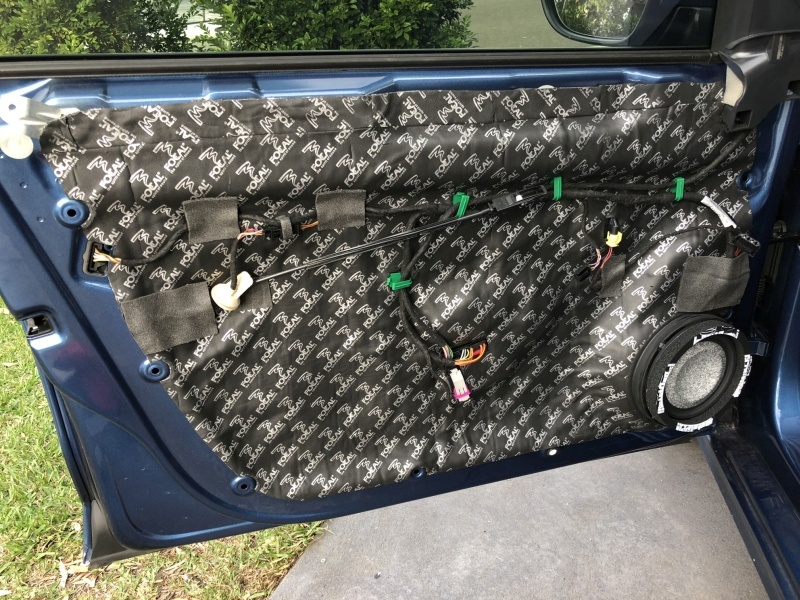 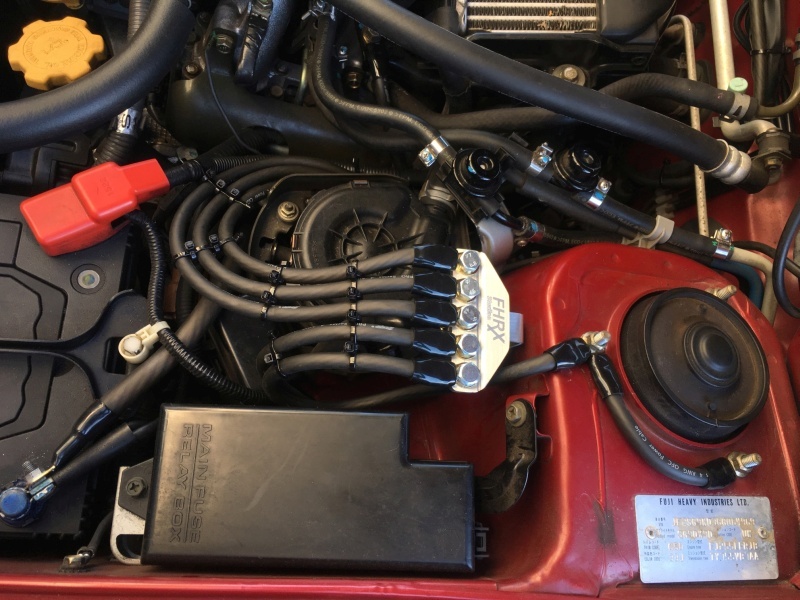 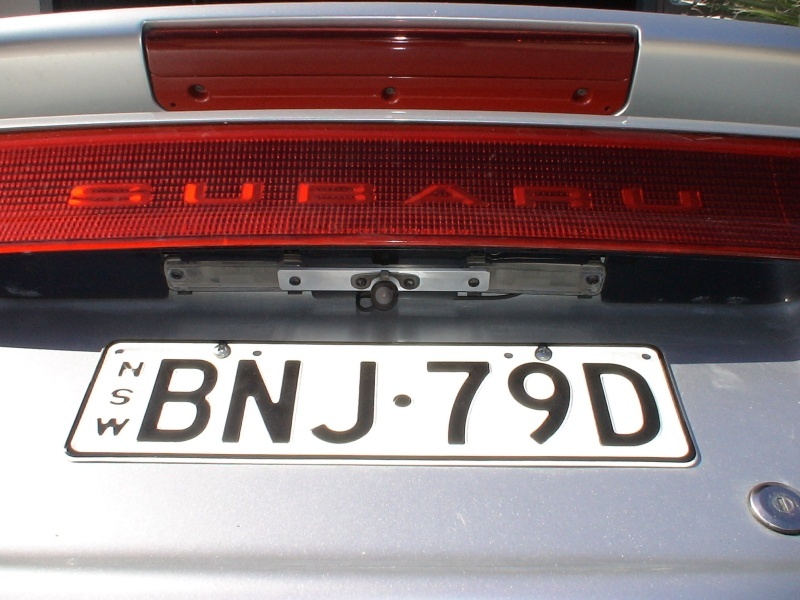 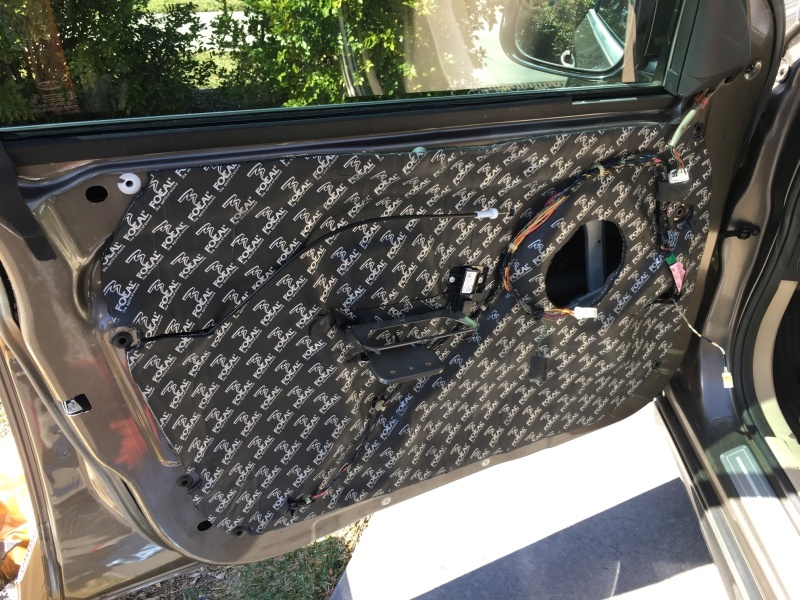 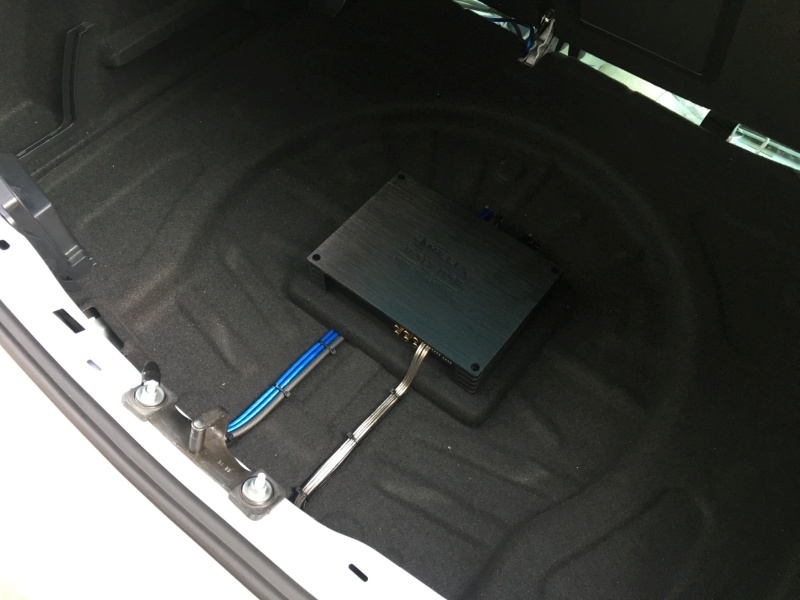 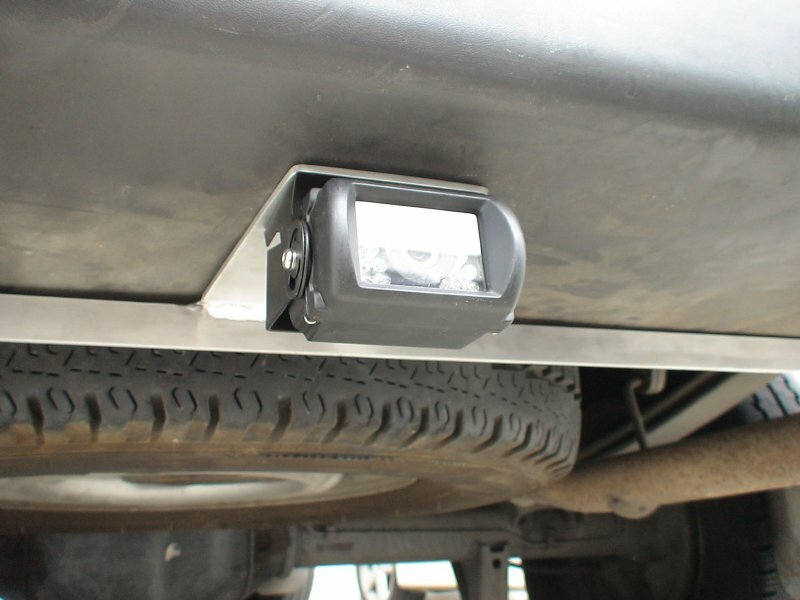 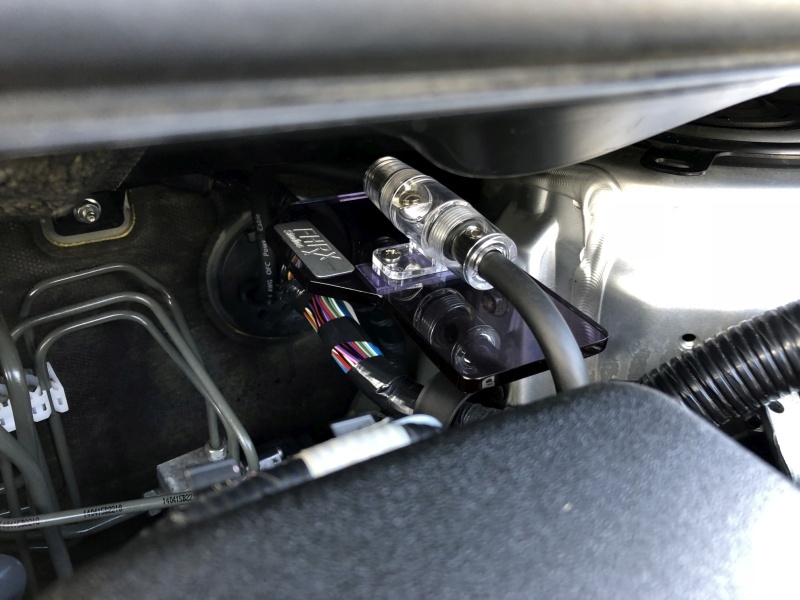 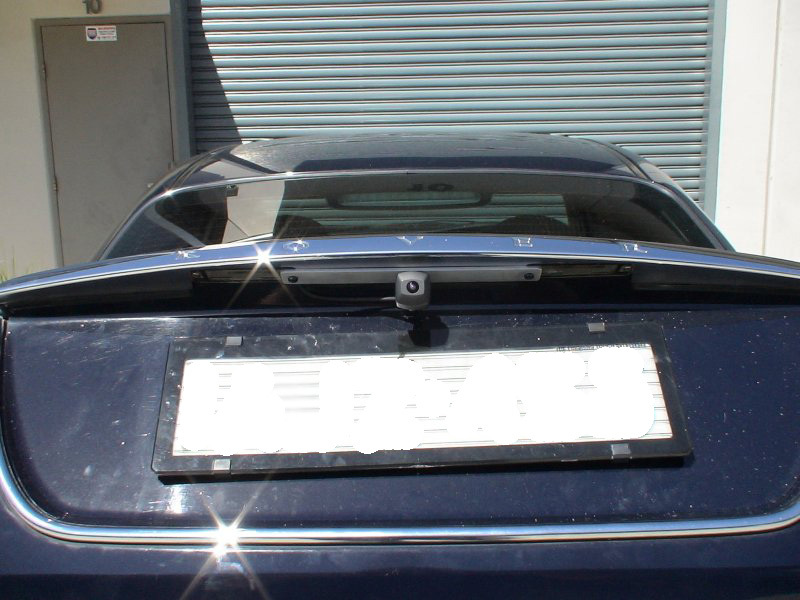 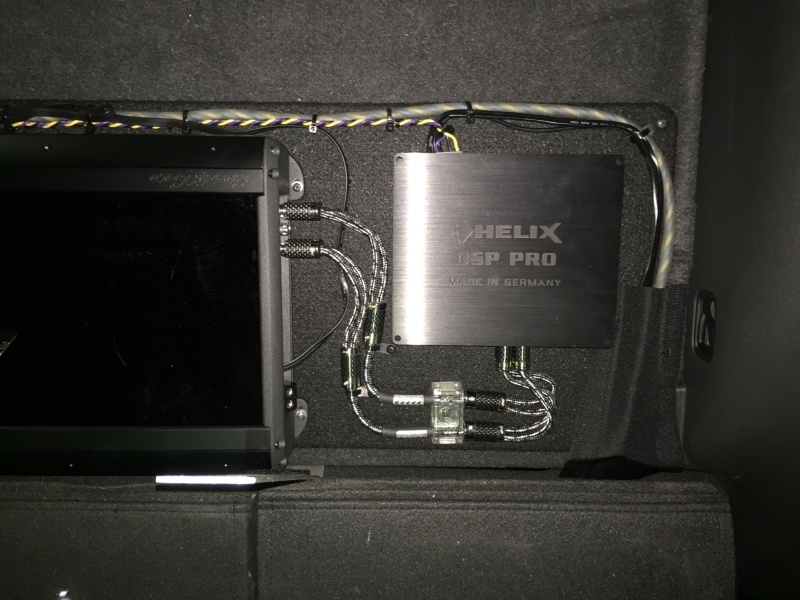 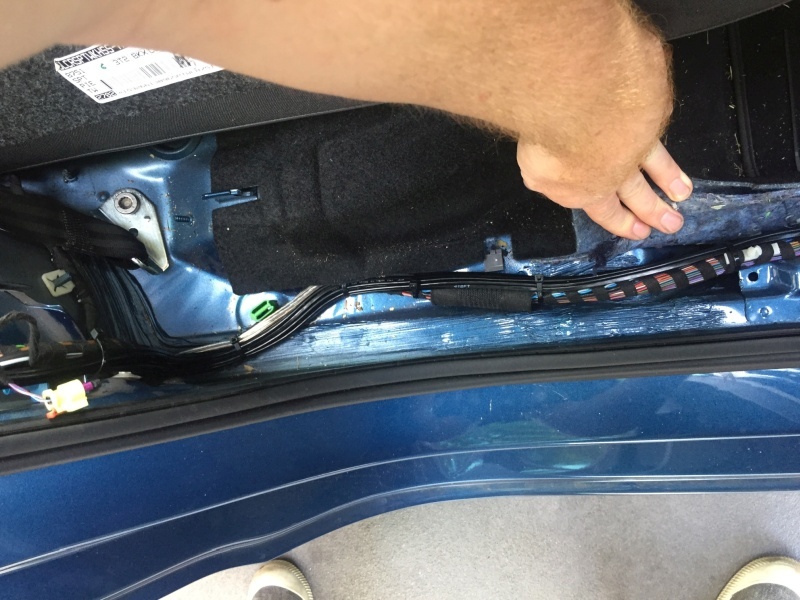 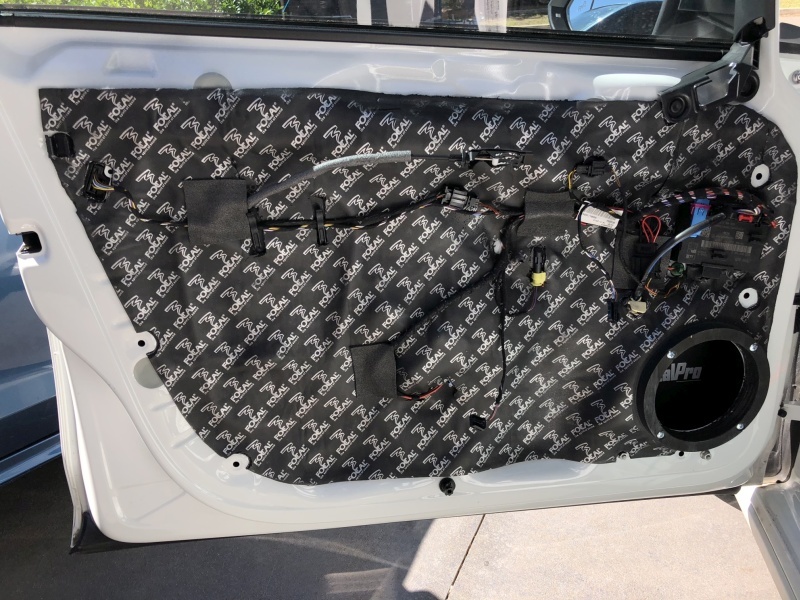 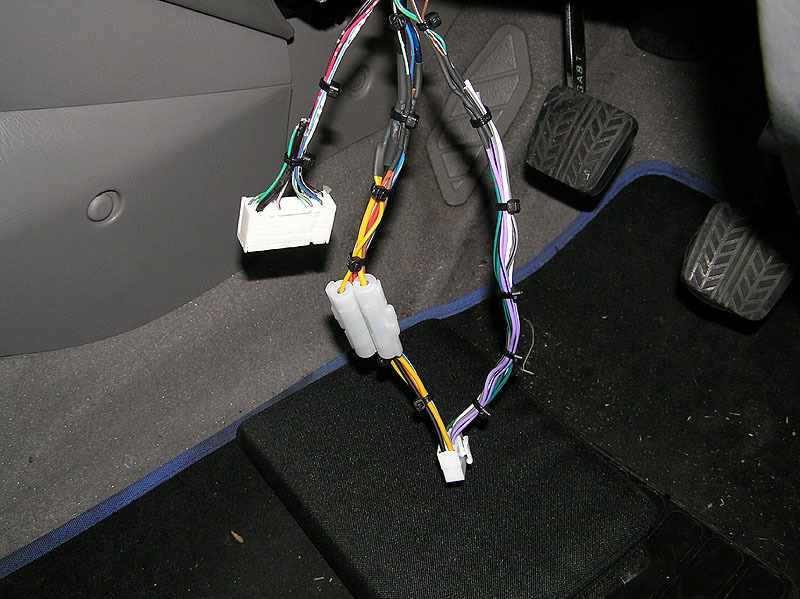 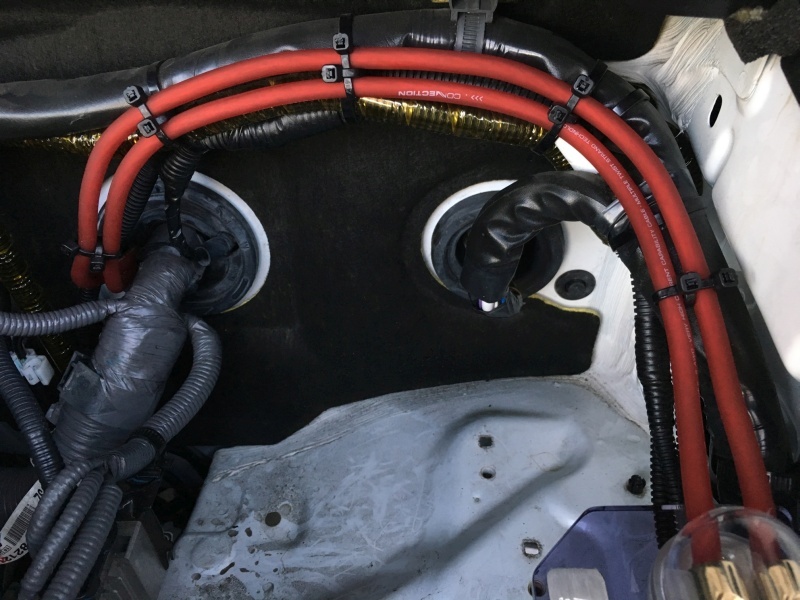 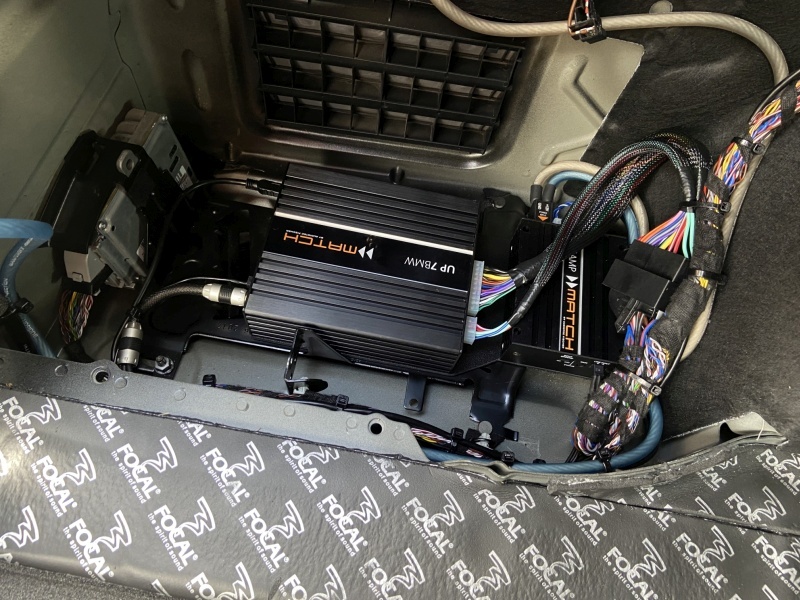 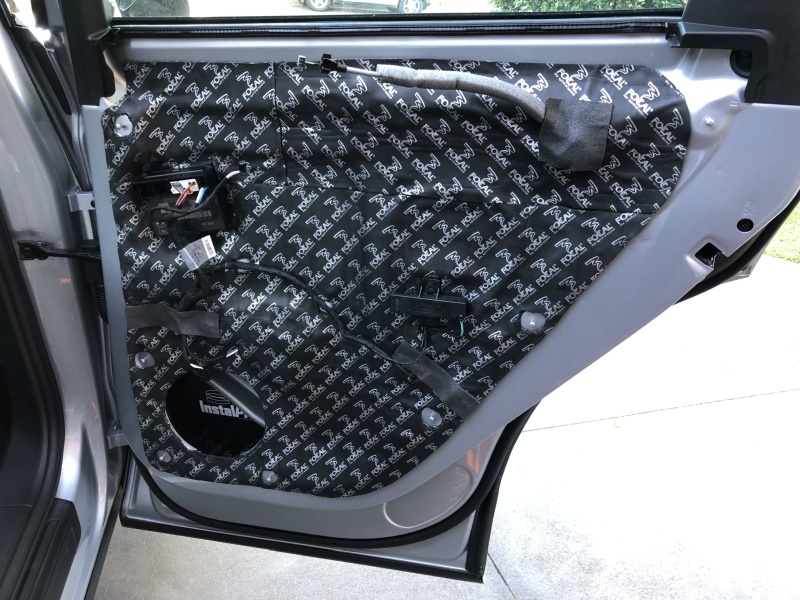 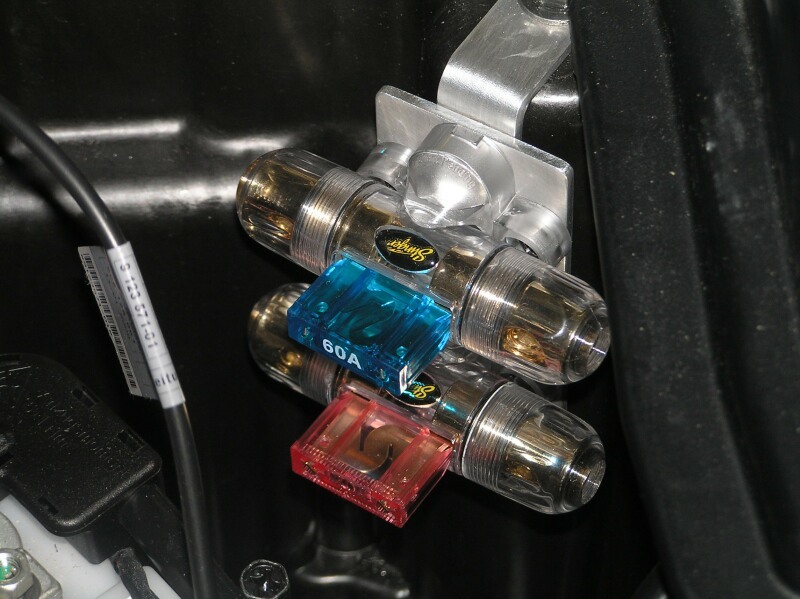 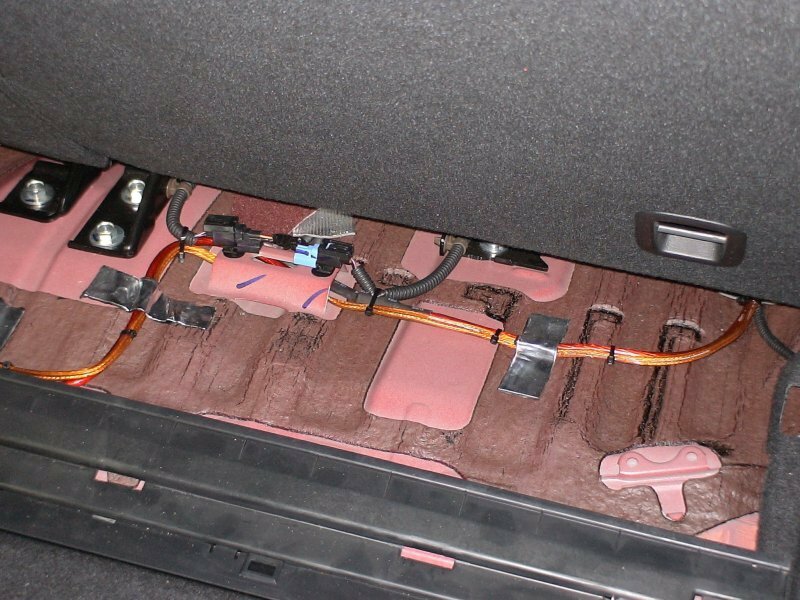 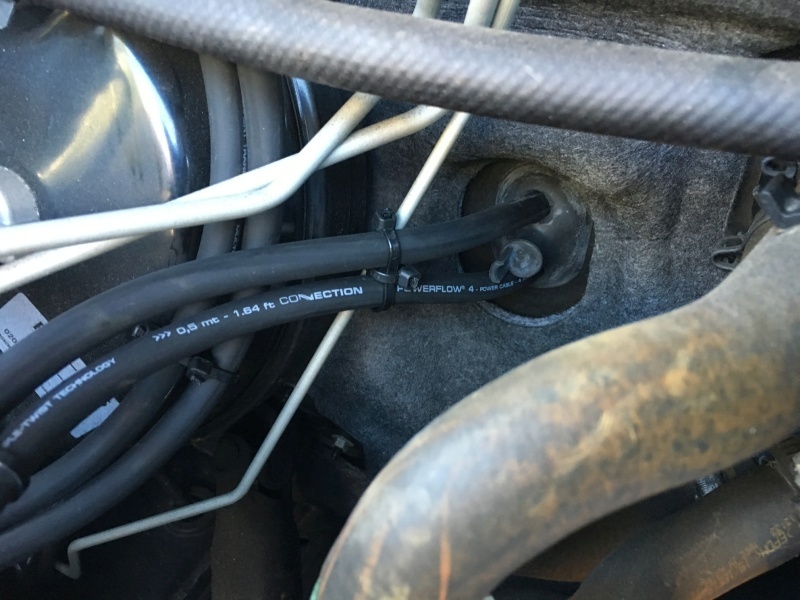 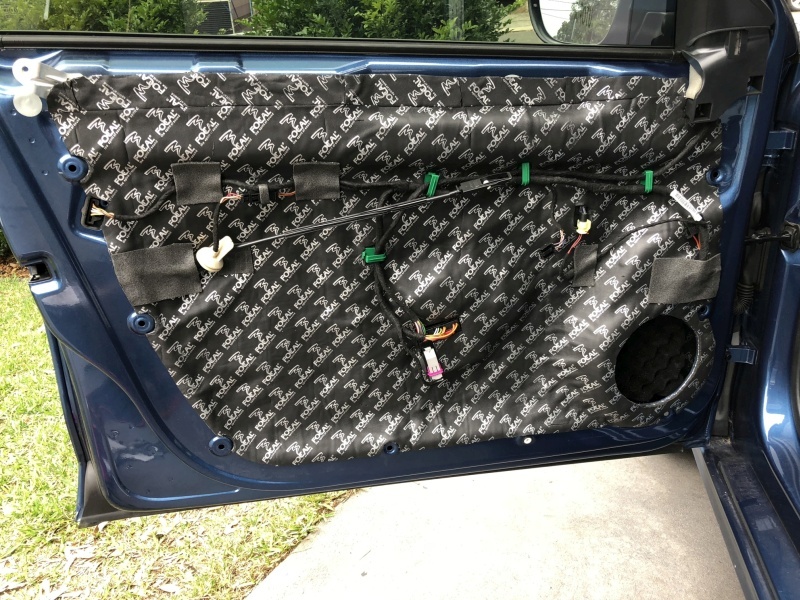 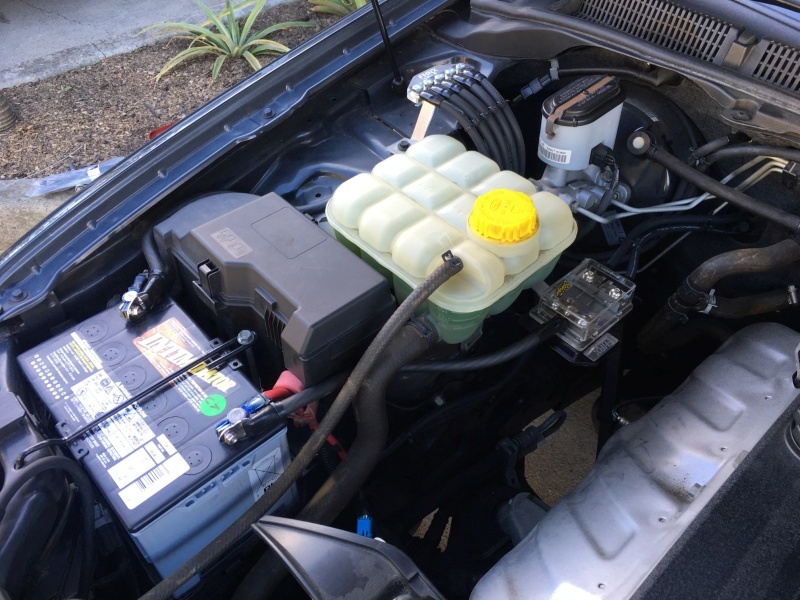 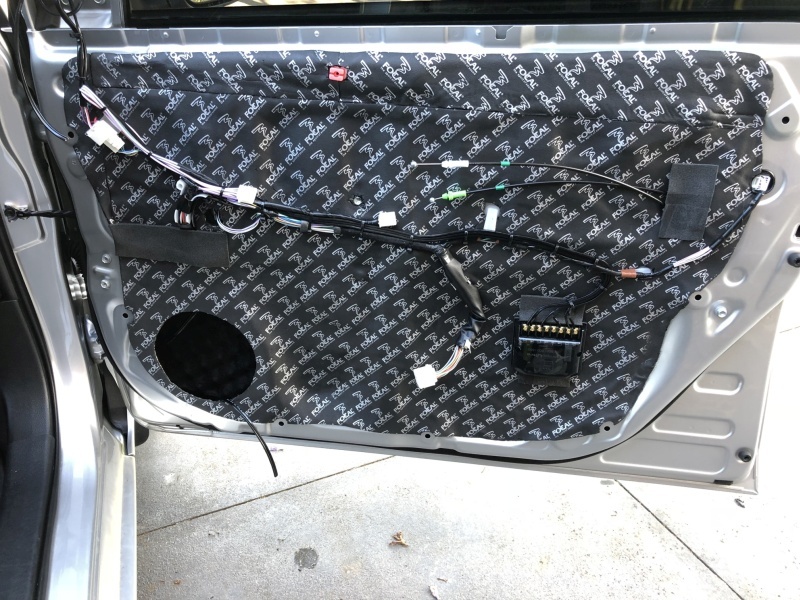 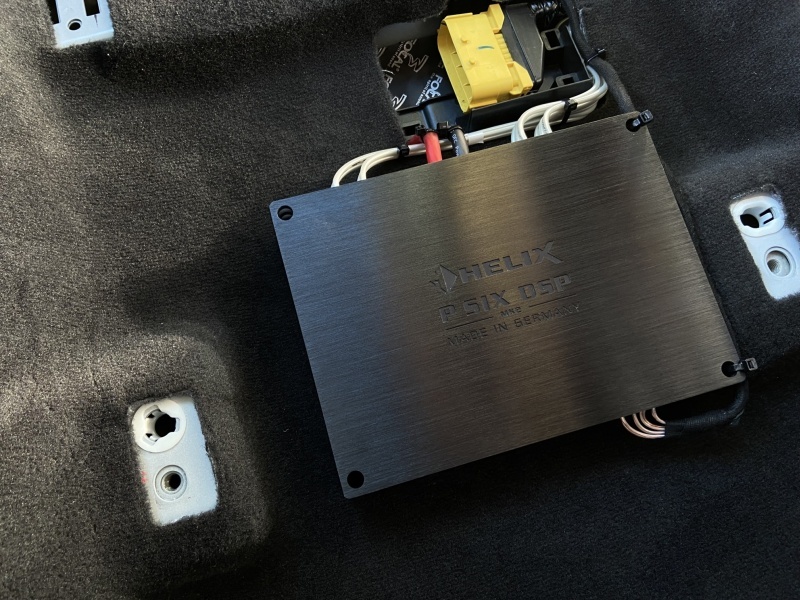 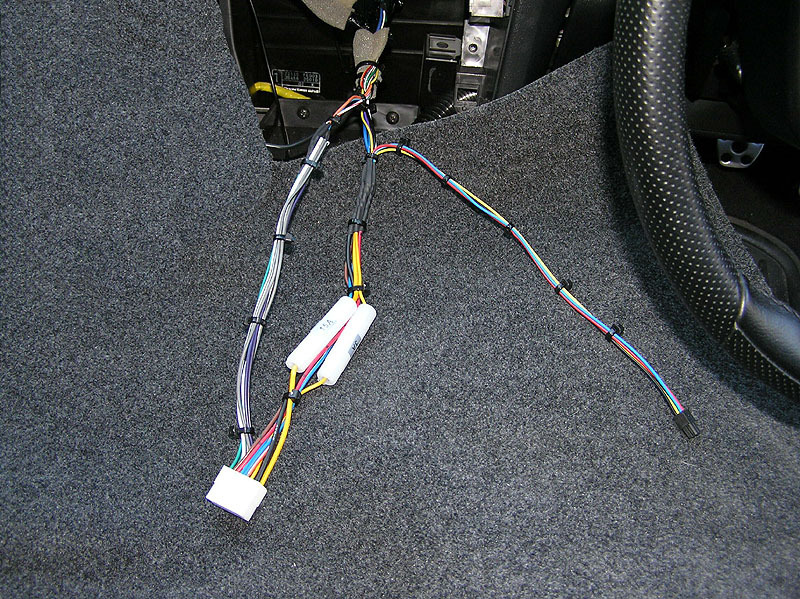 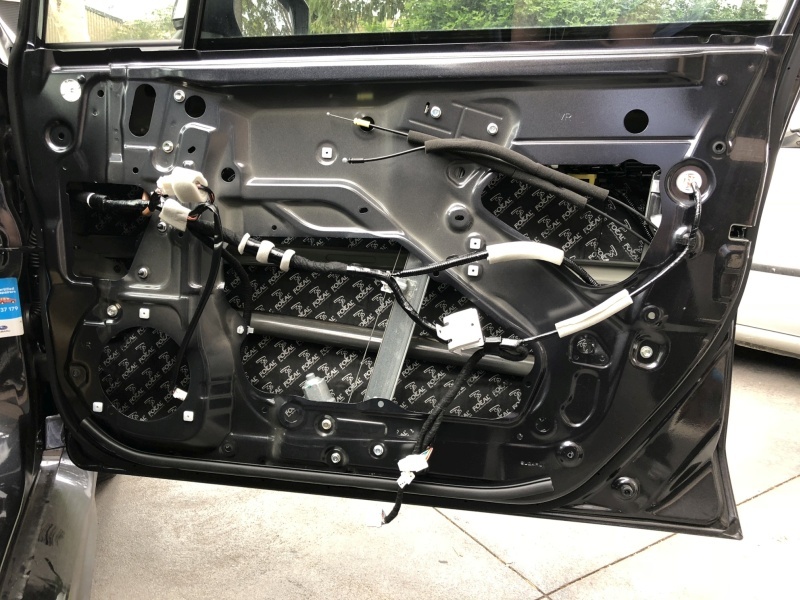 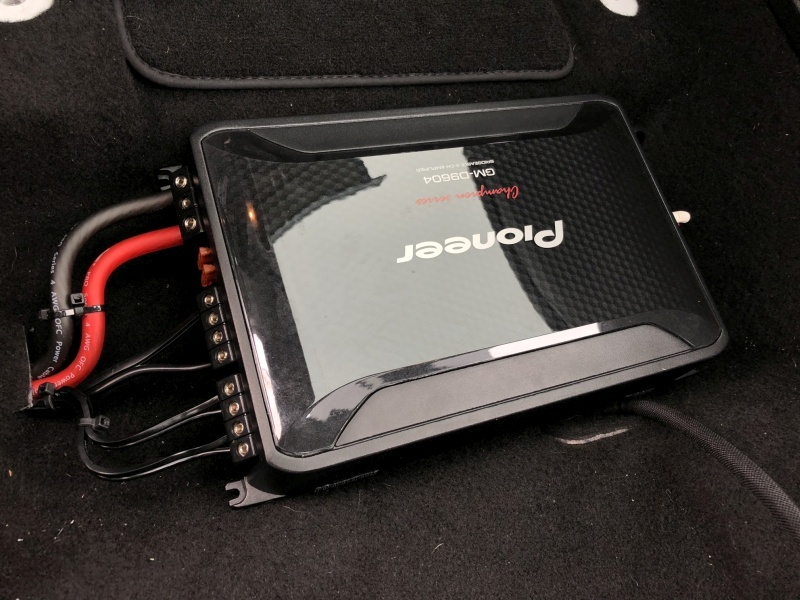 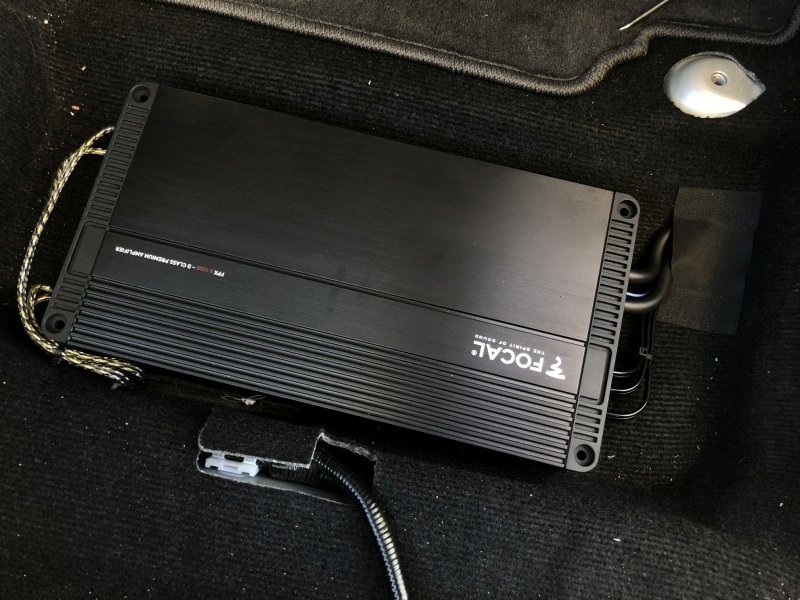 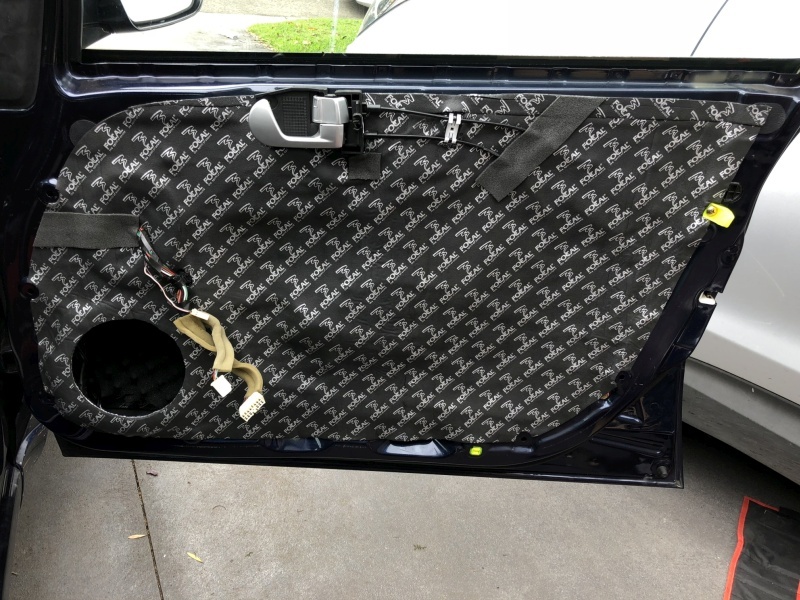 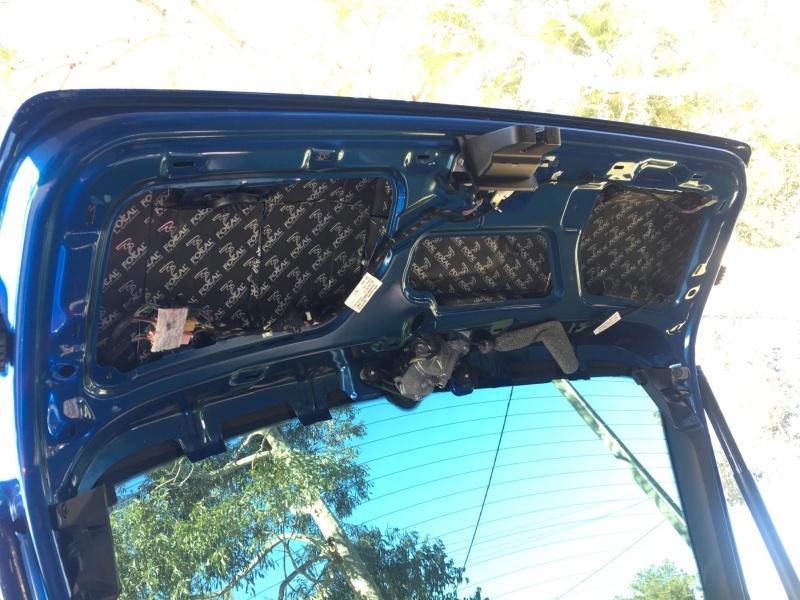 So if you have a showy install full of two-pac and lights and are concerned about who might be watching next time you open your car, perhaps it's time to think about hiding it all? 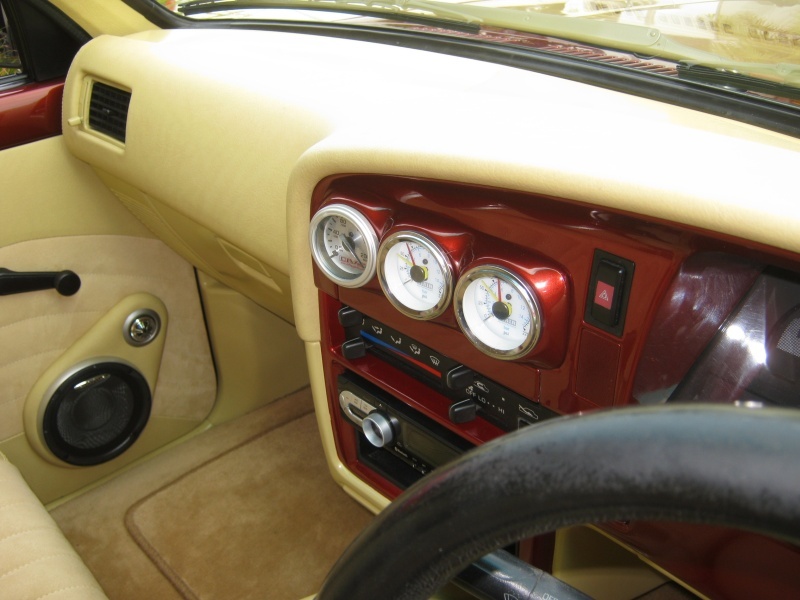 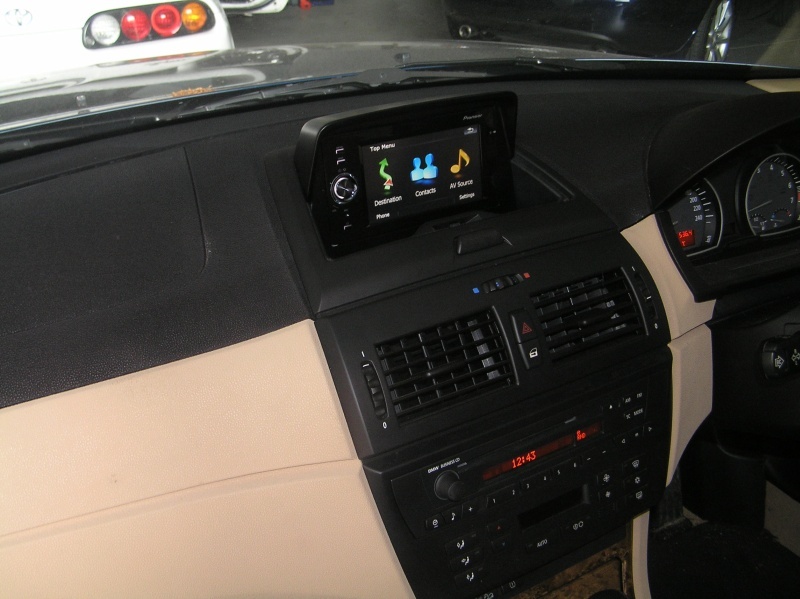 Many cars have a fully integrated source that compliments the lines of the dashboard. 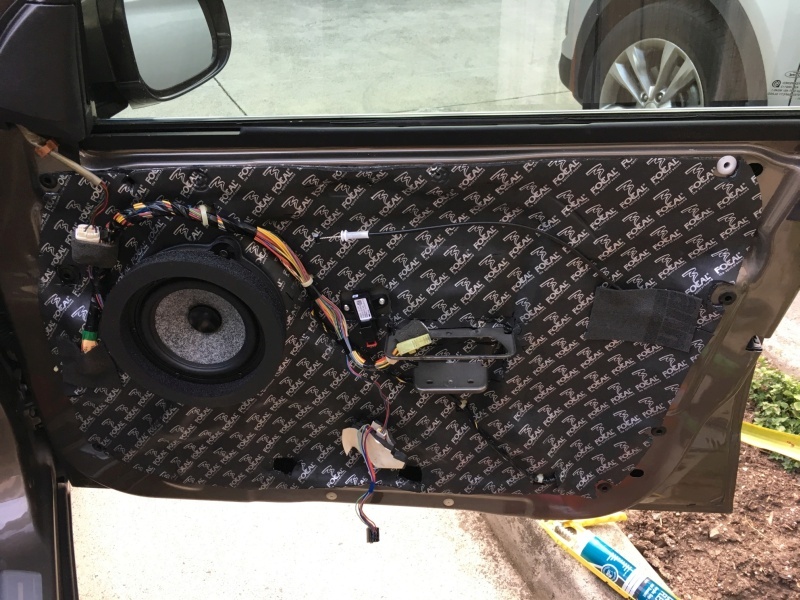 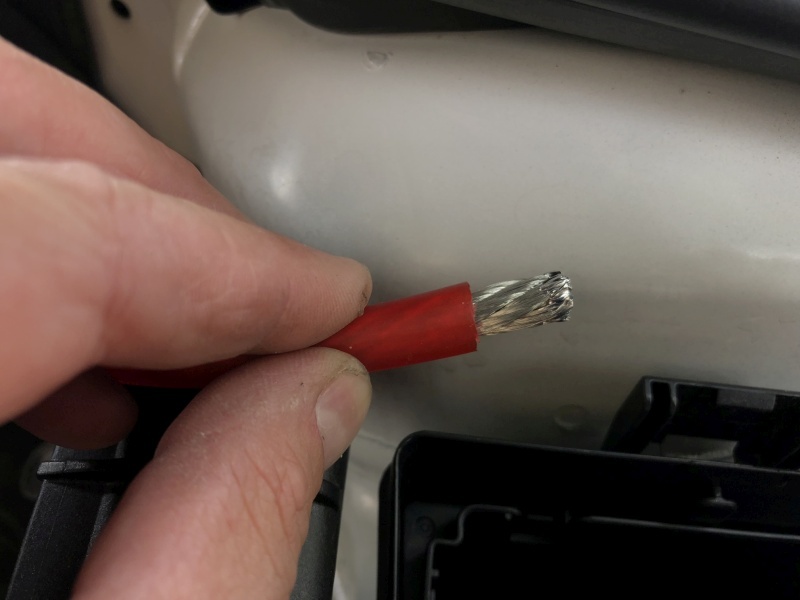 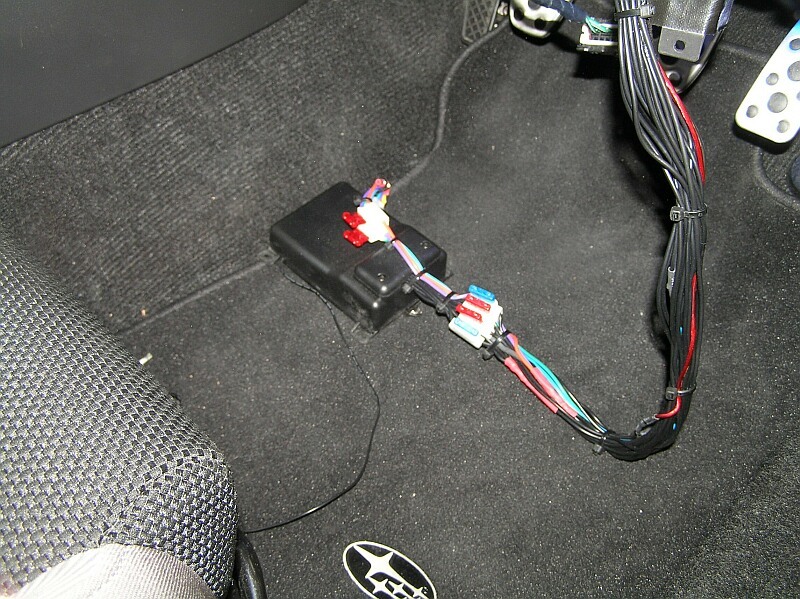 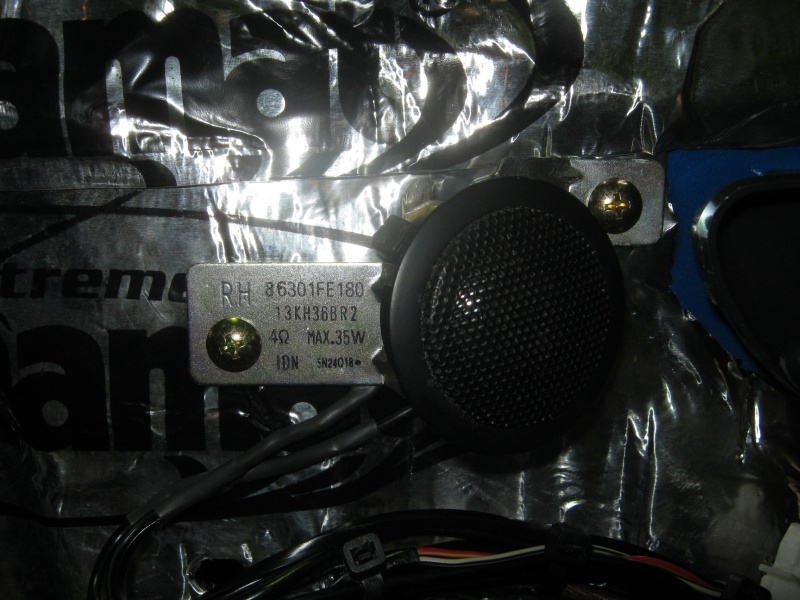 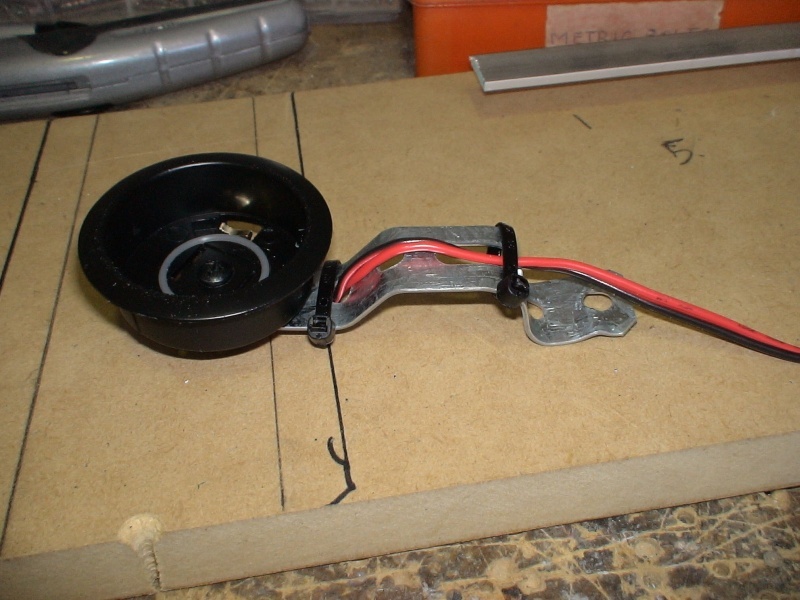 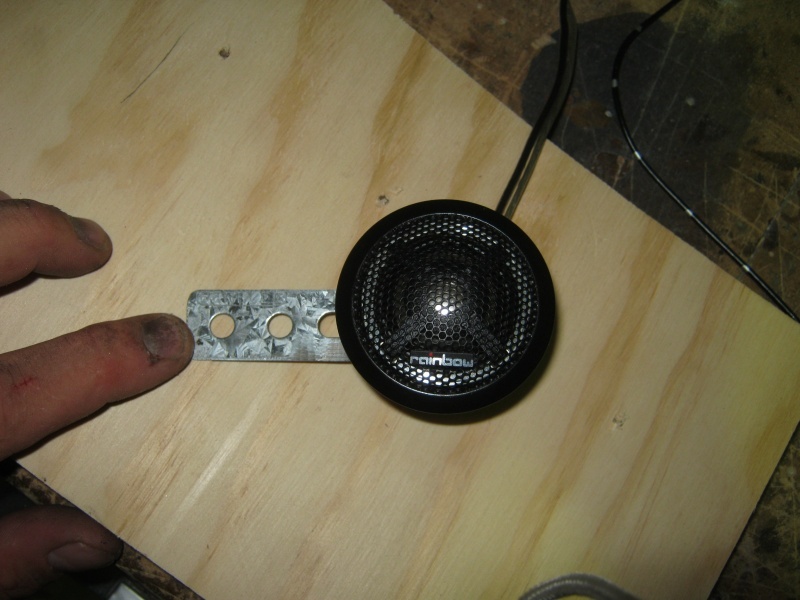 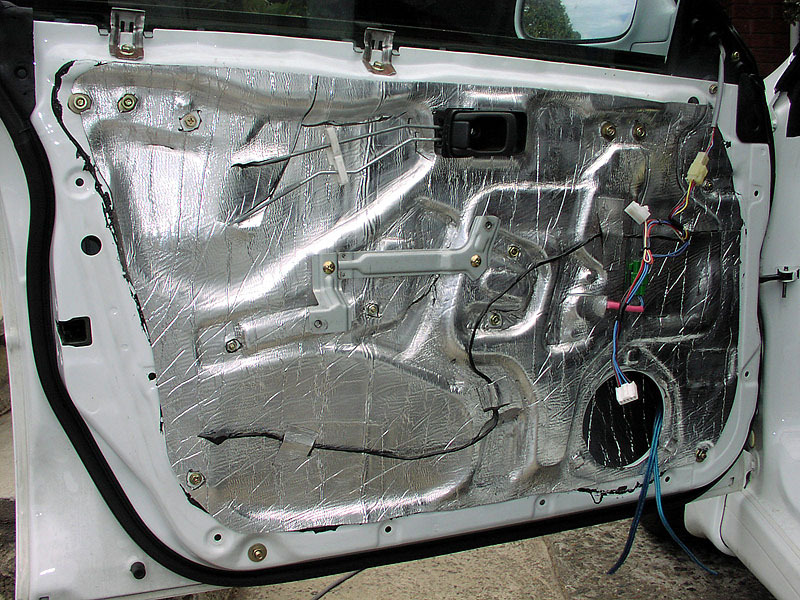 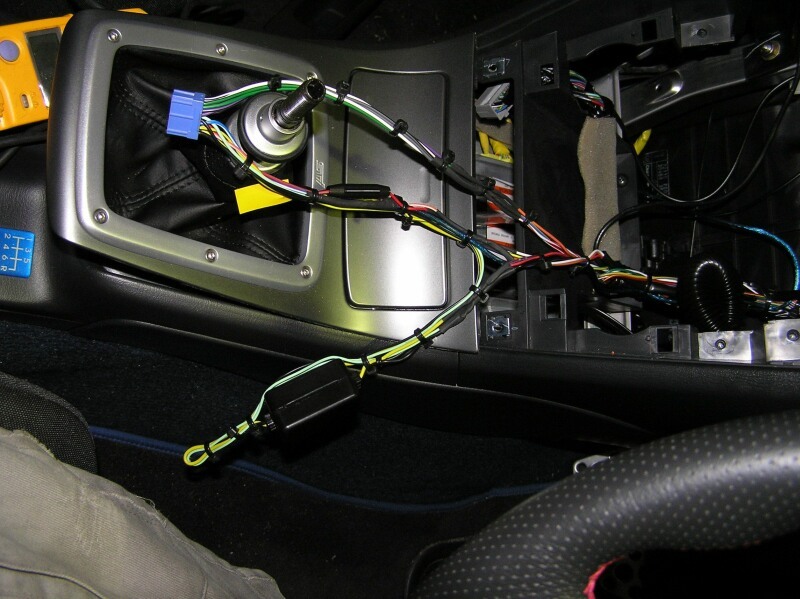 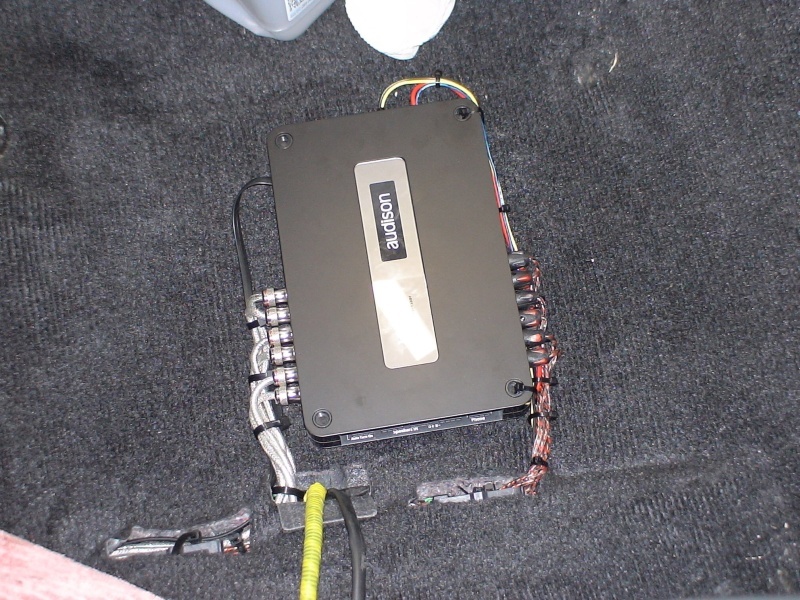 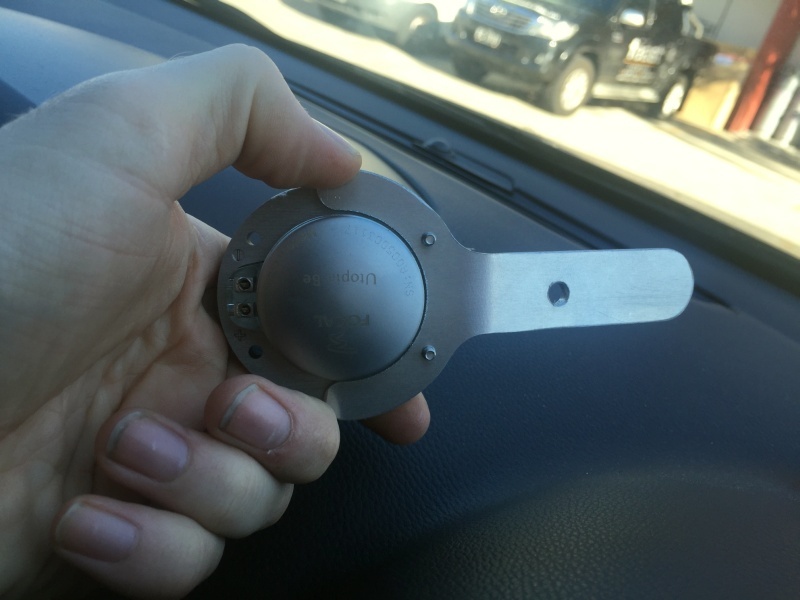 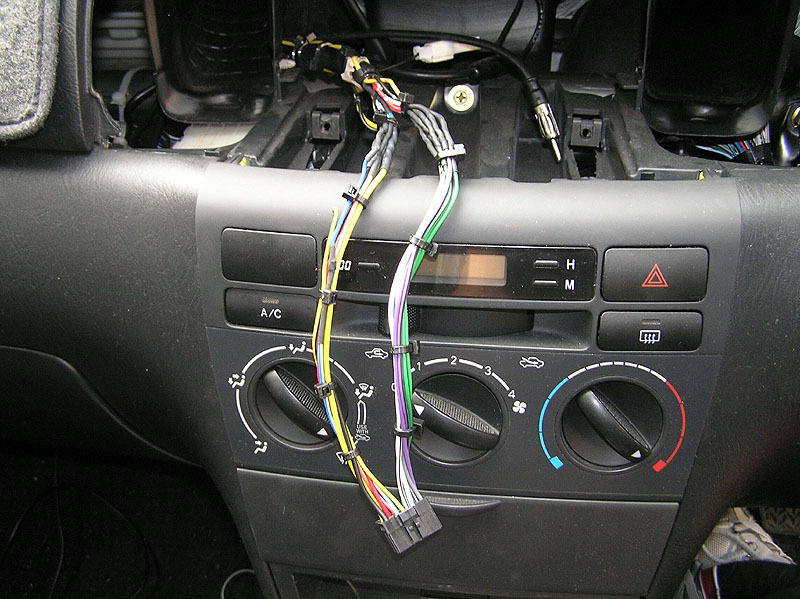 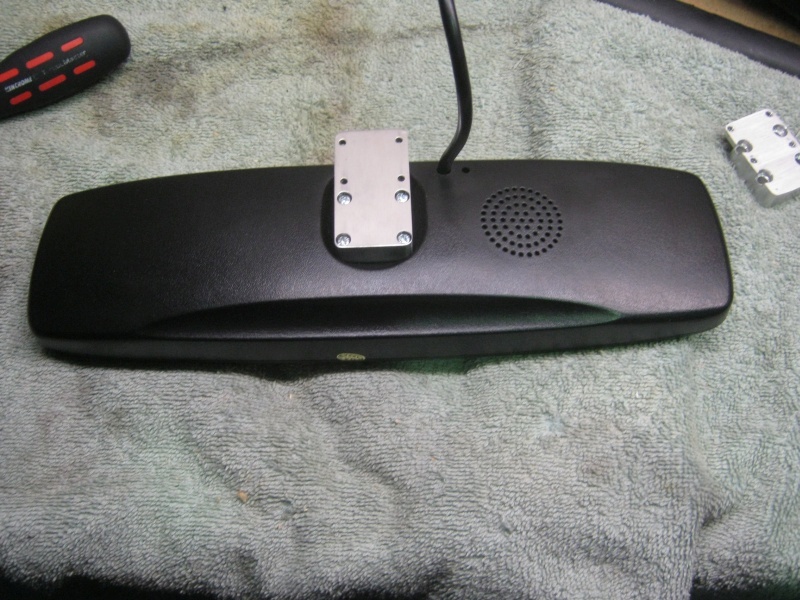 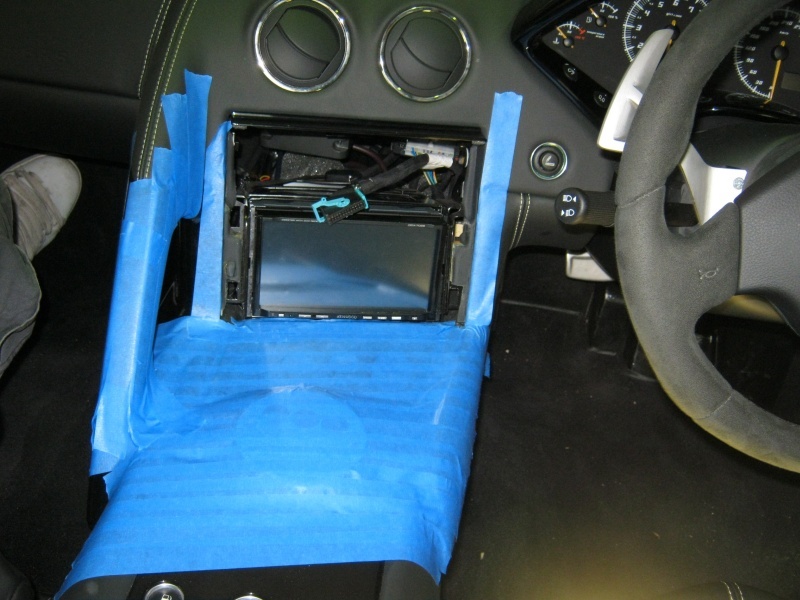 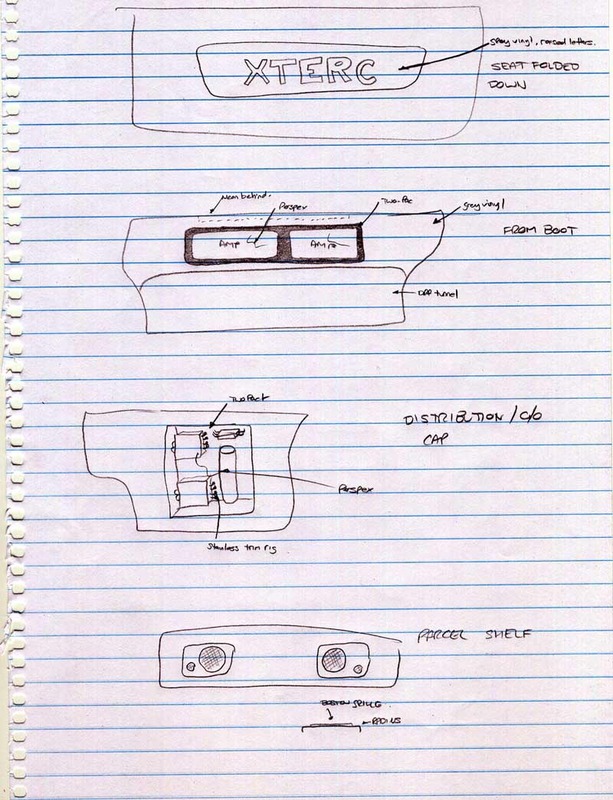 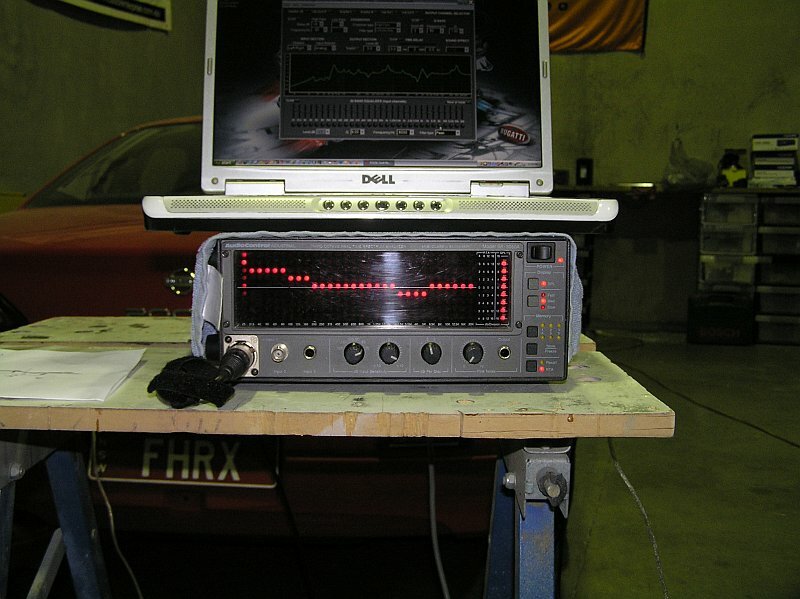 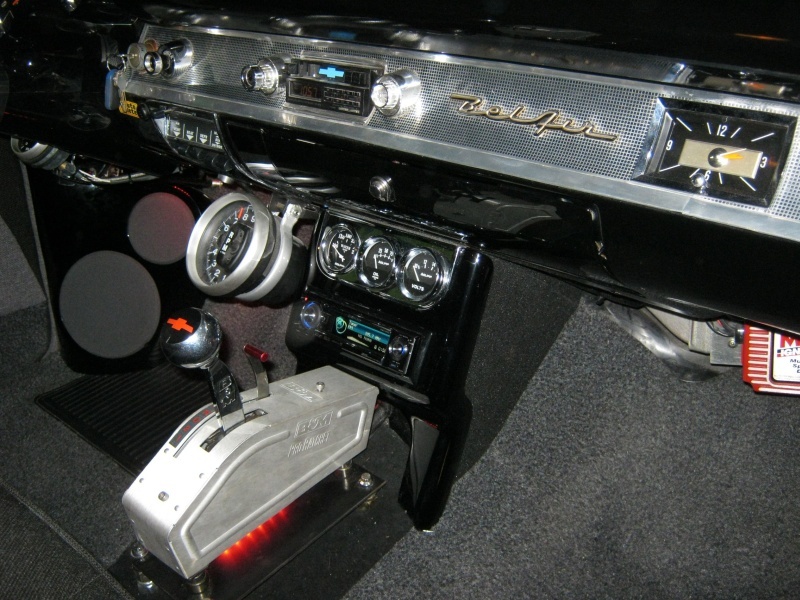 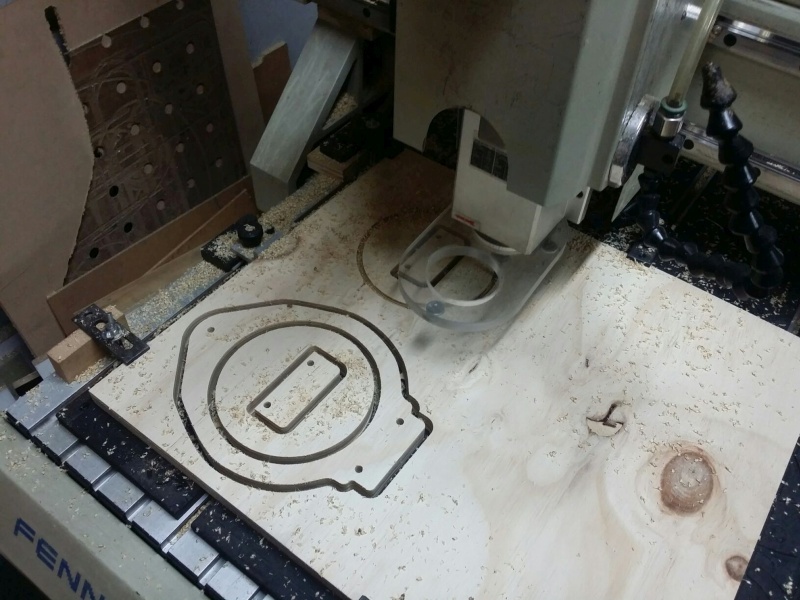 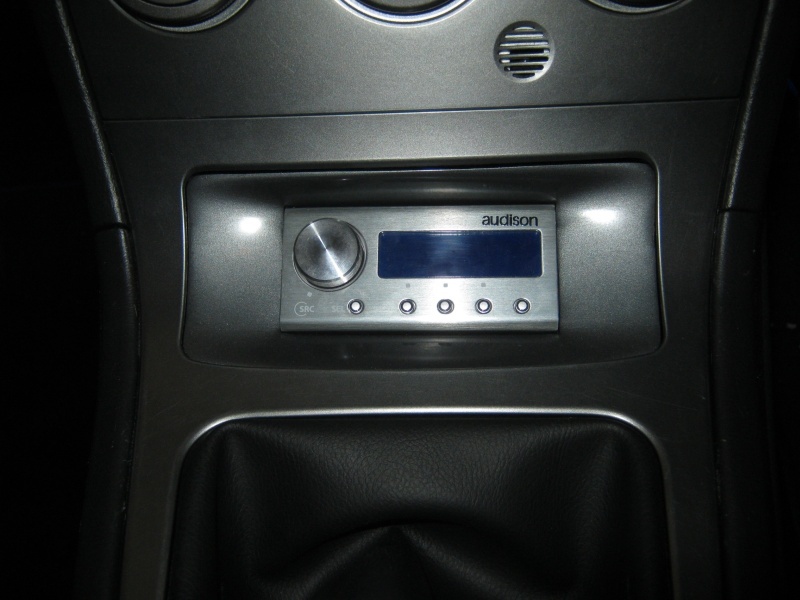 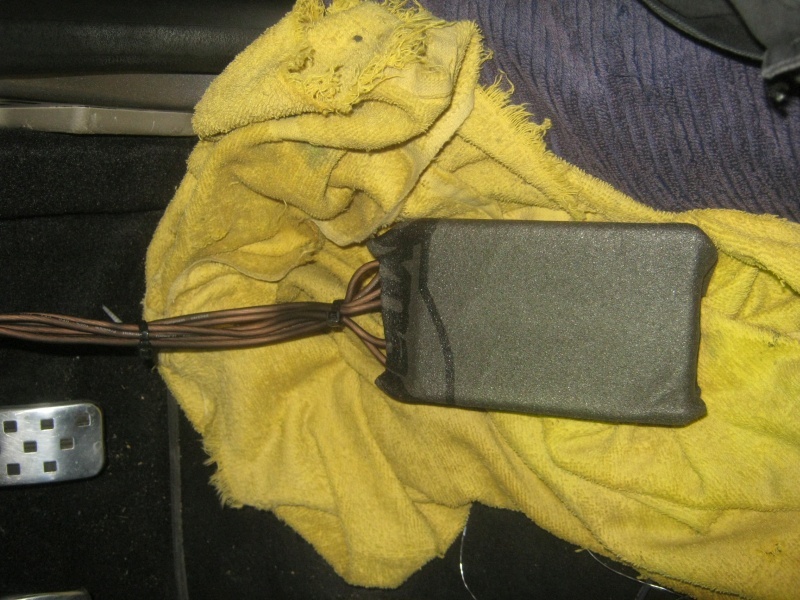 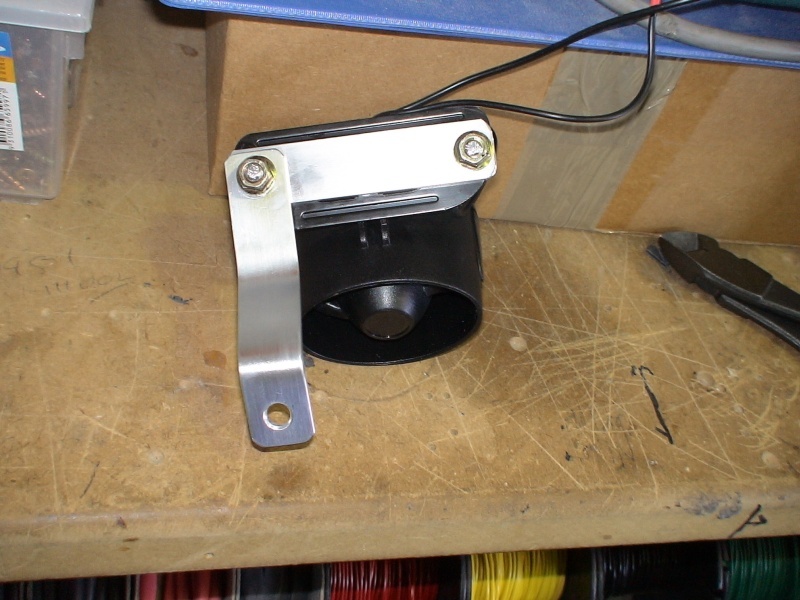 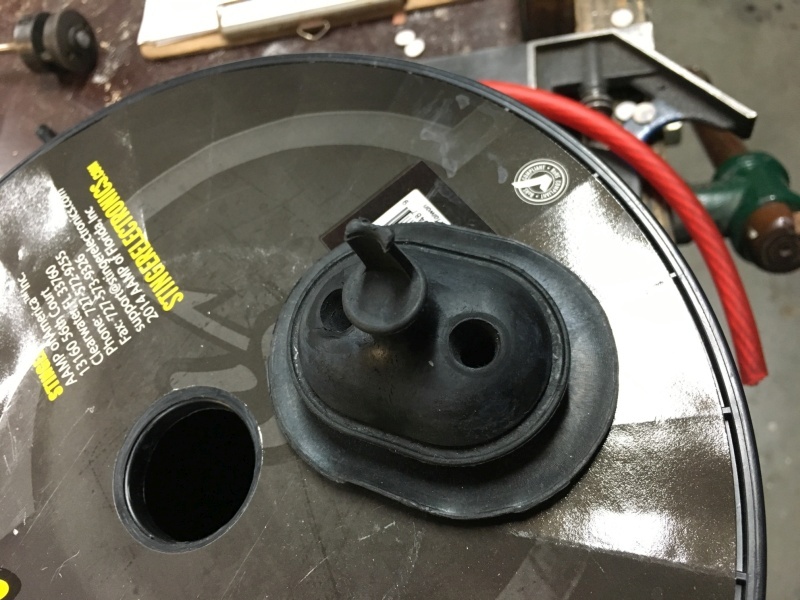 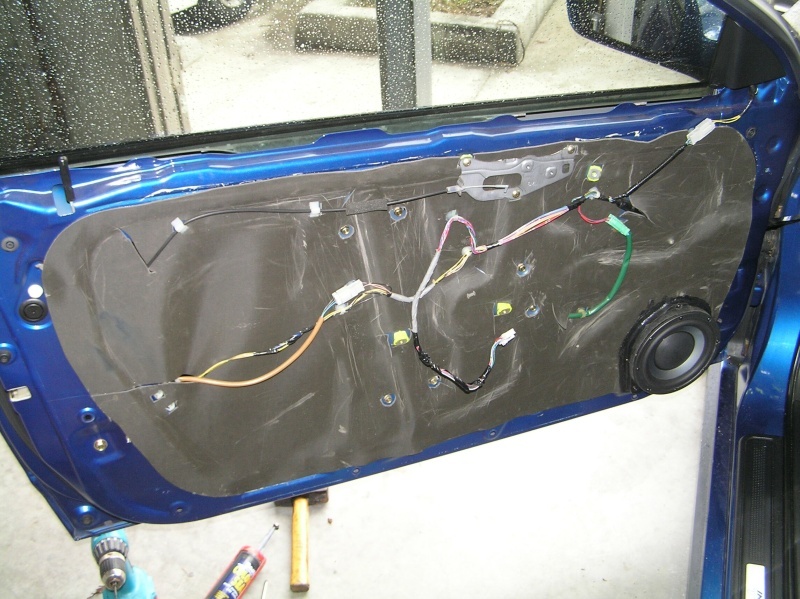 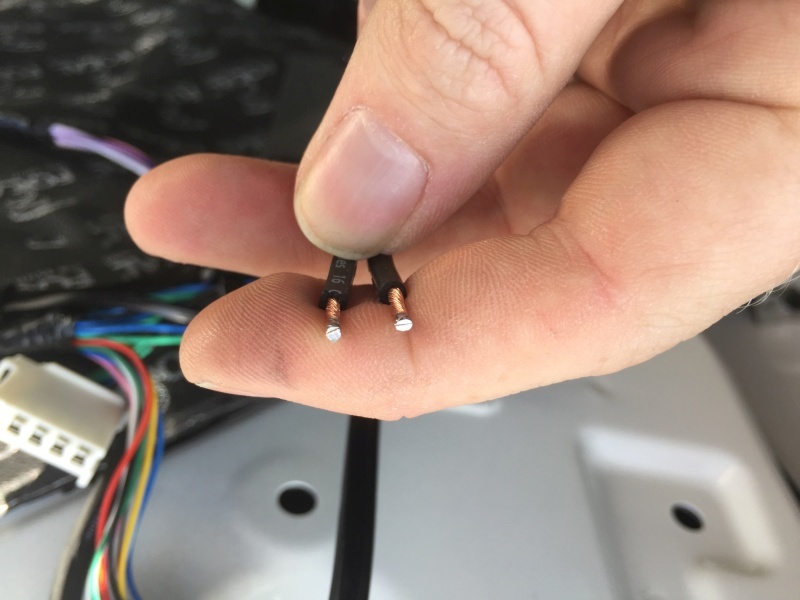 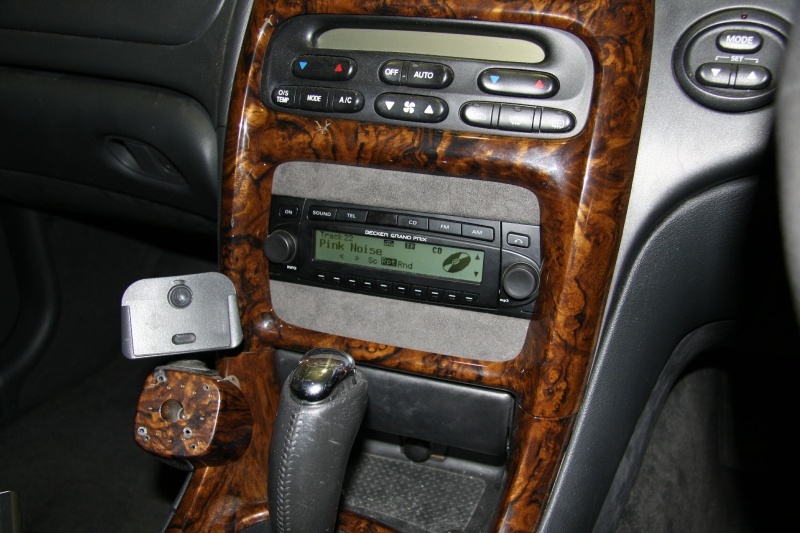 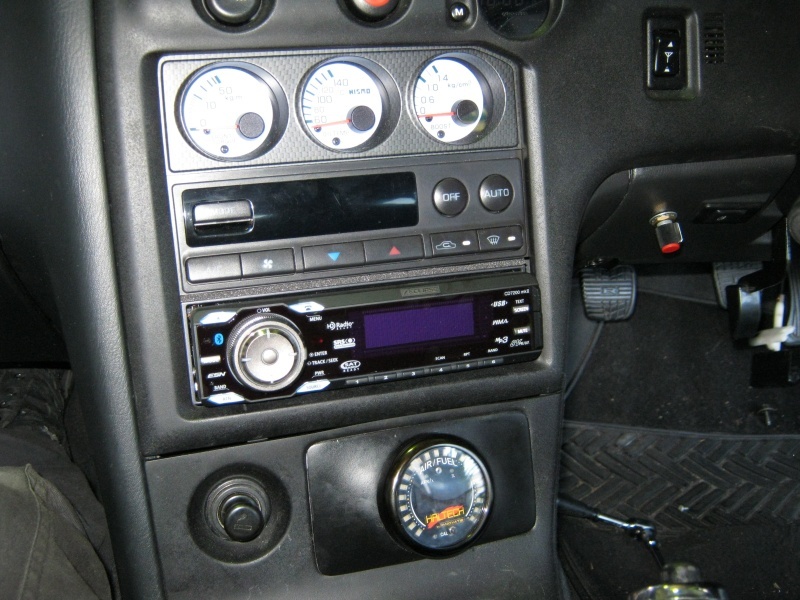 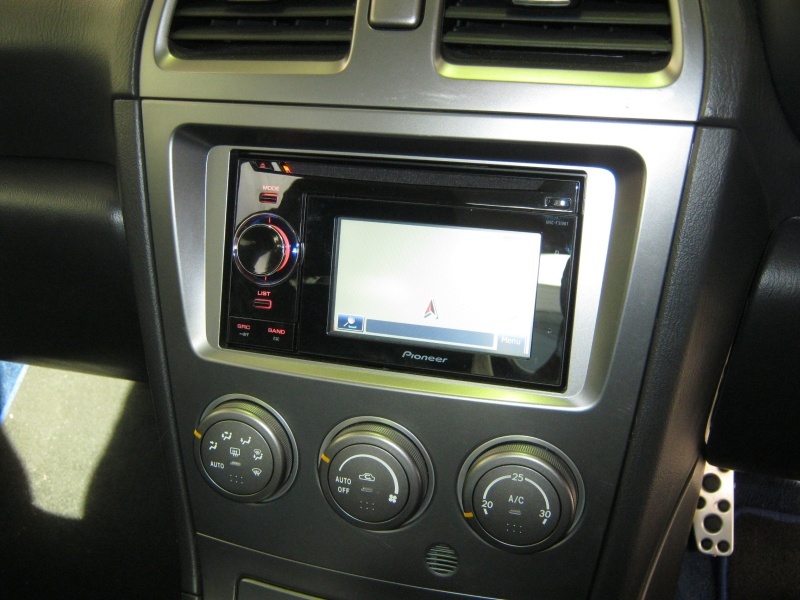 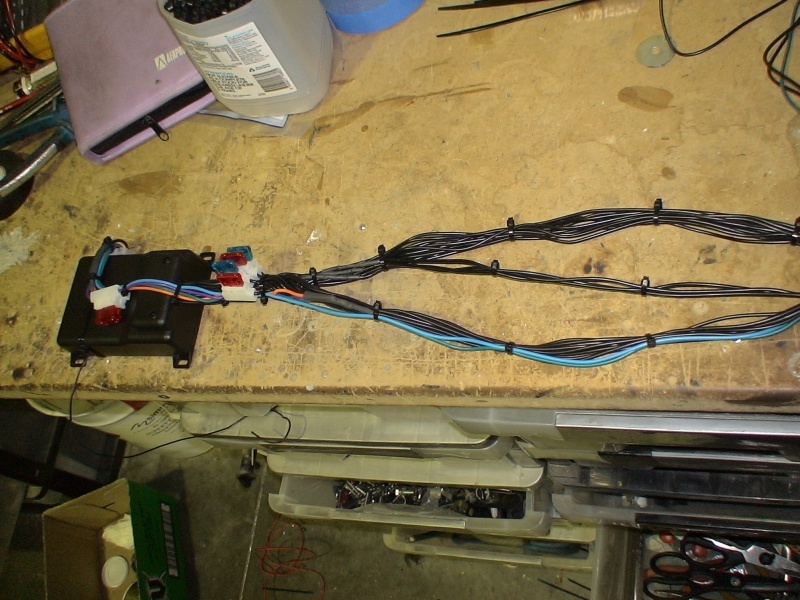 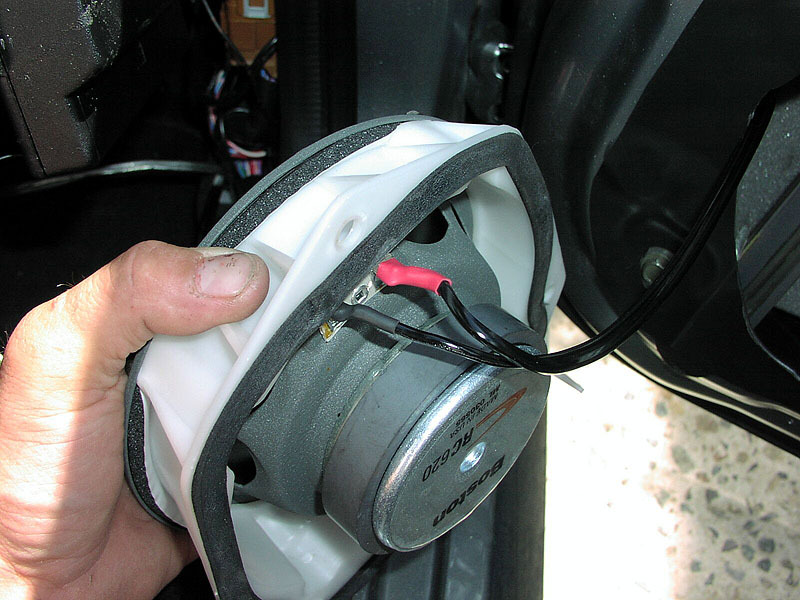 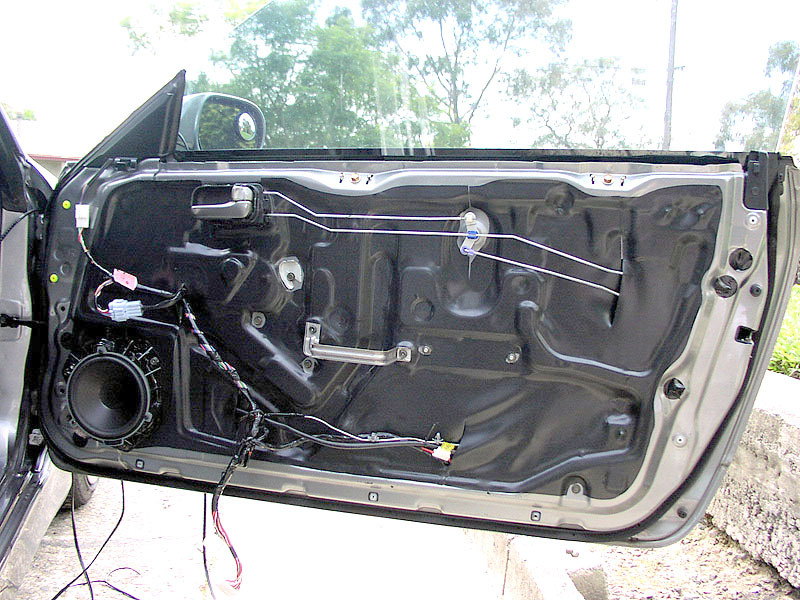 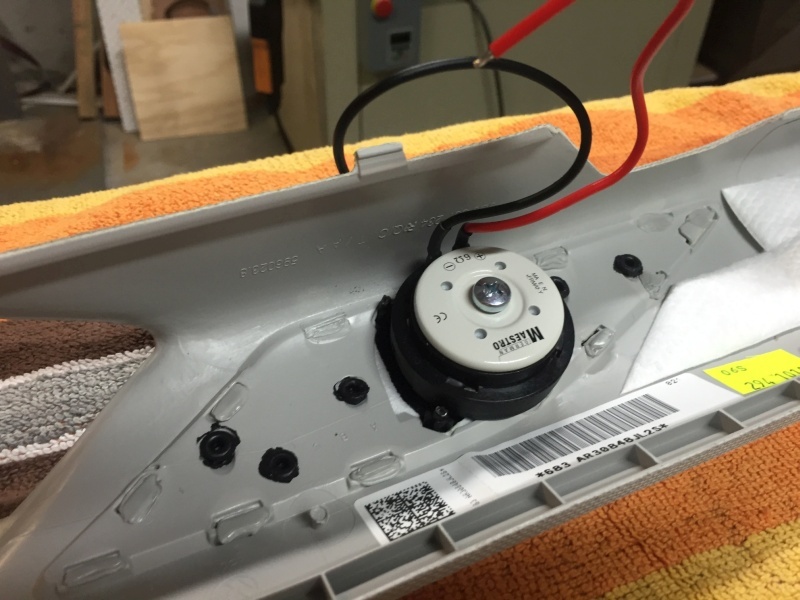 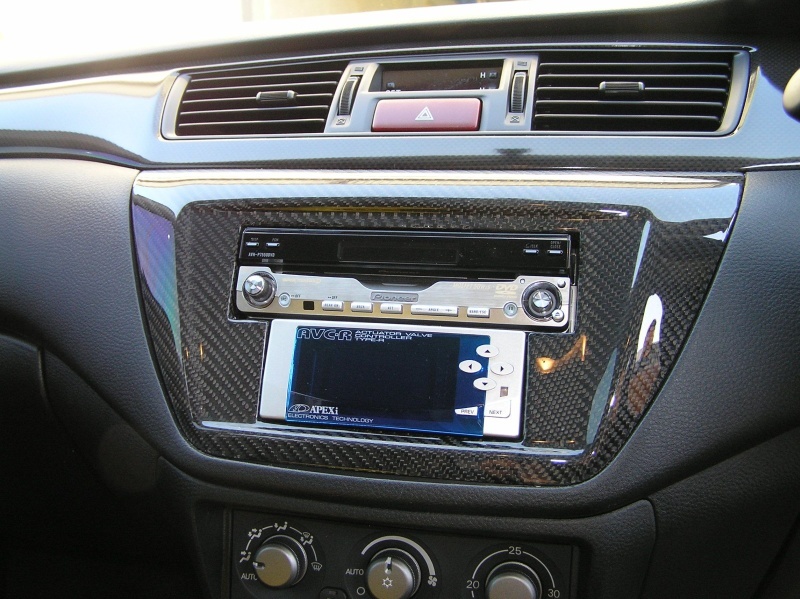 Fitting an aftermarket radio in can be difficult. 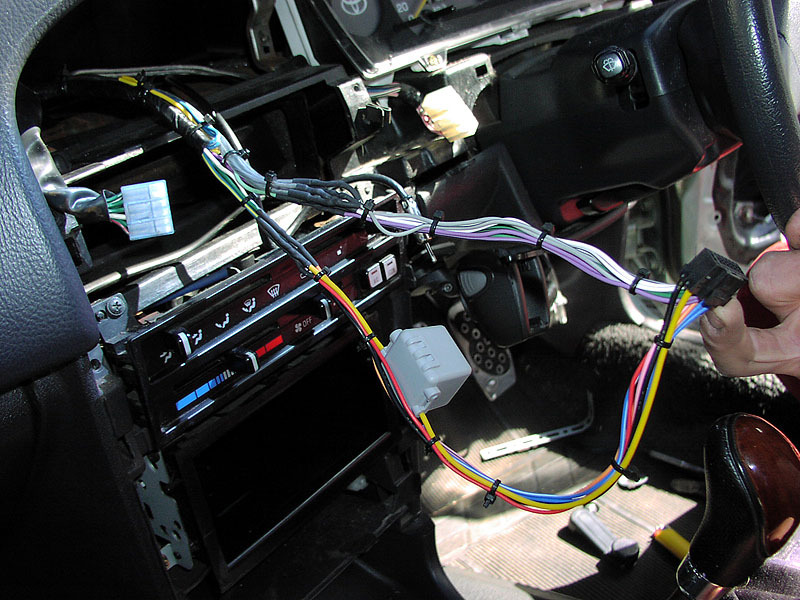 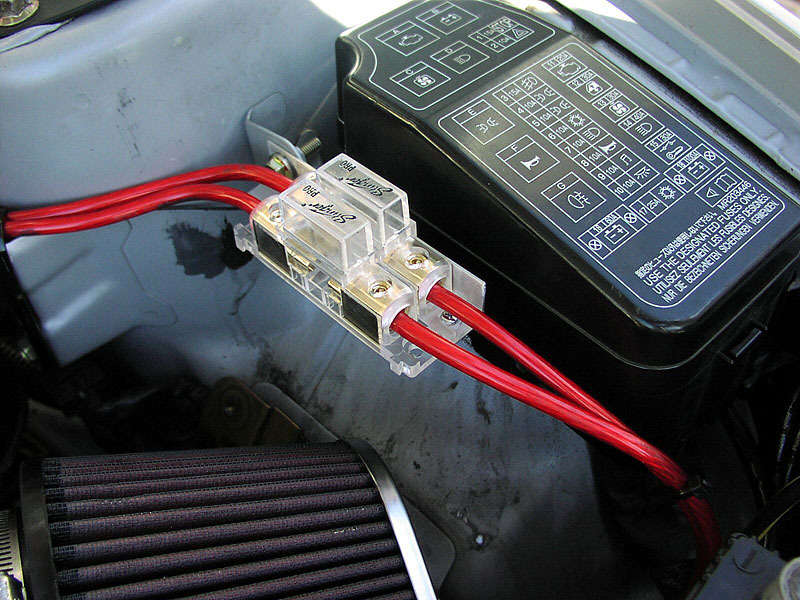 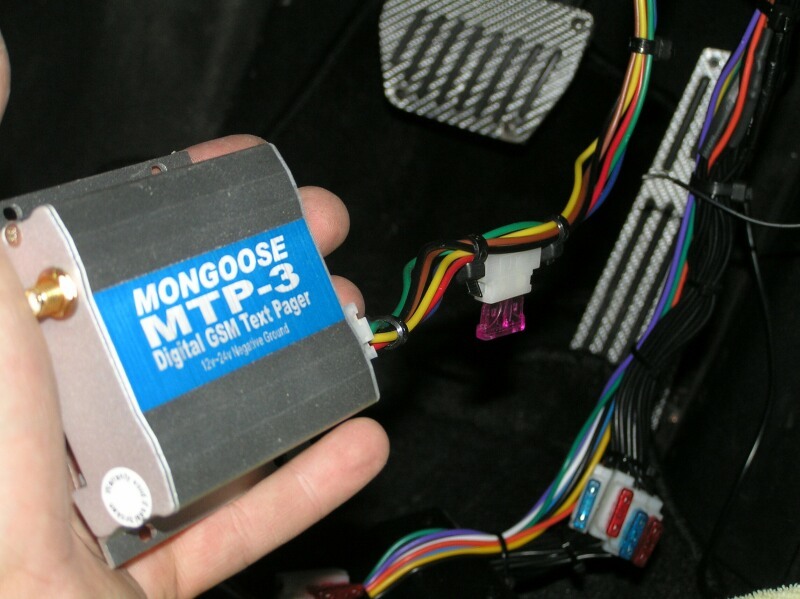 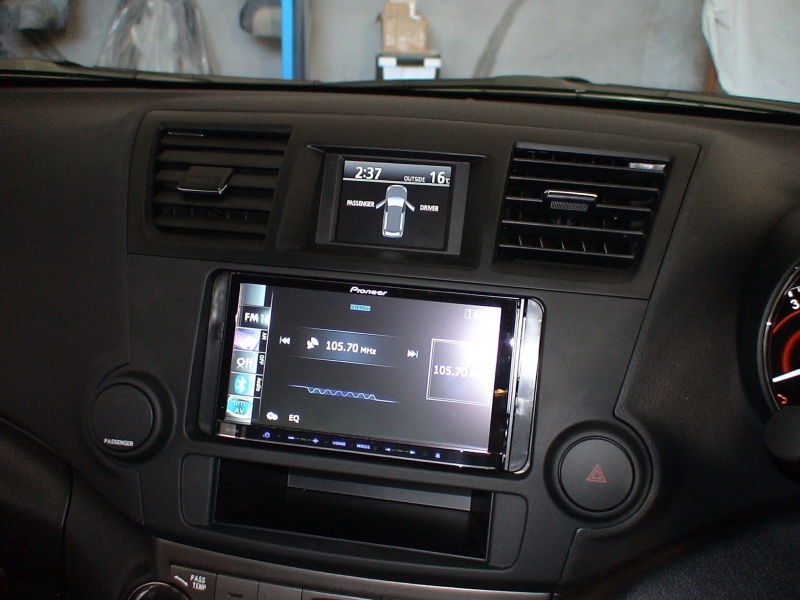 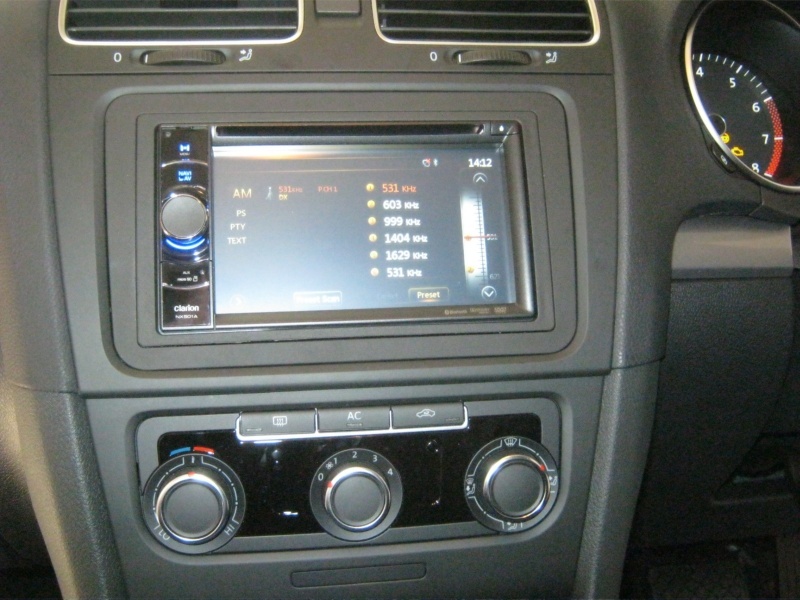 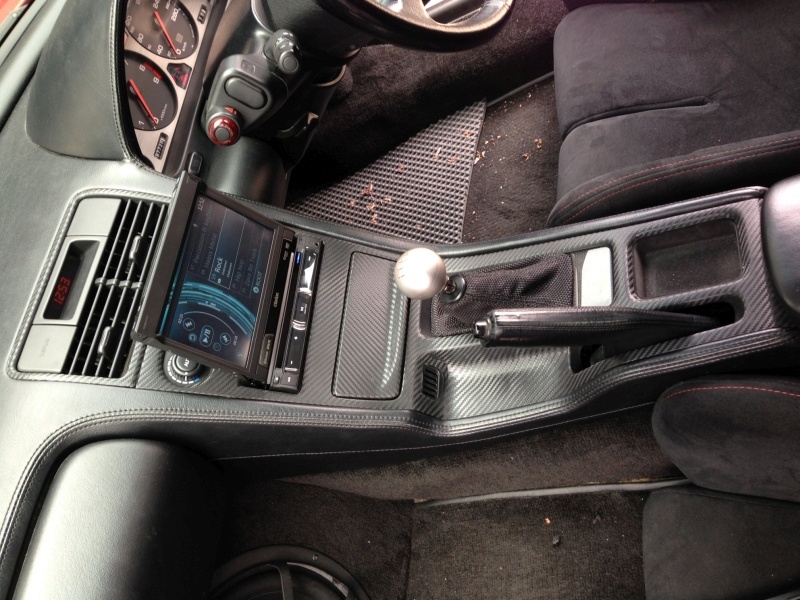 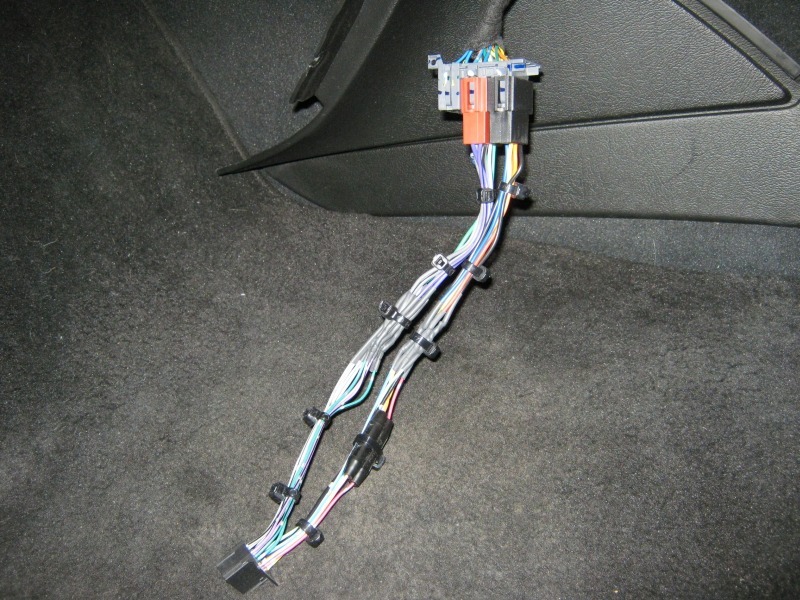 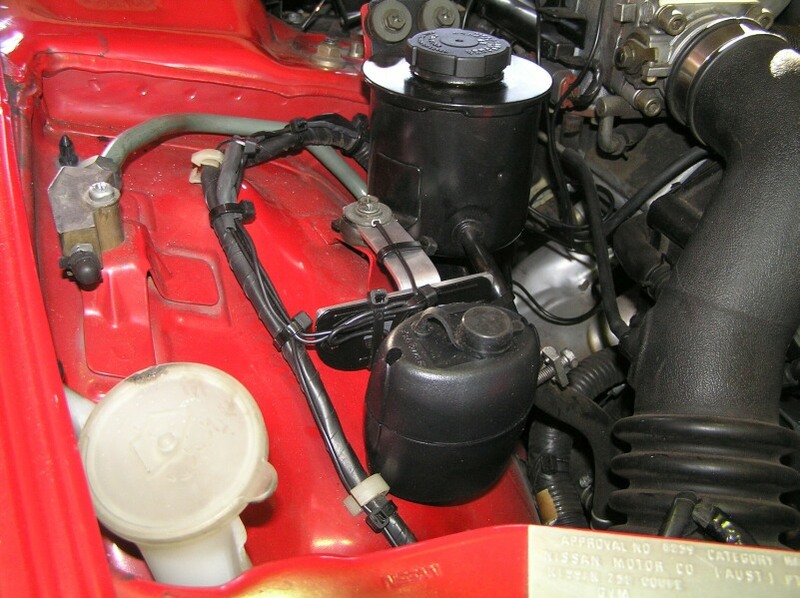 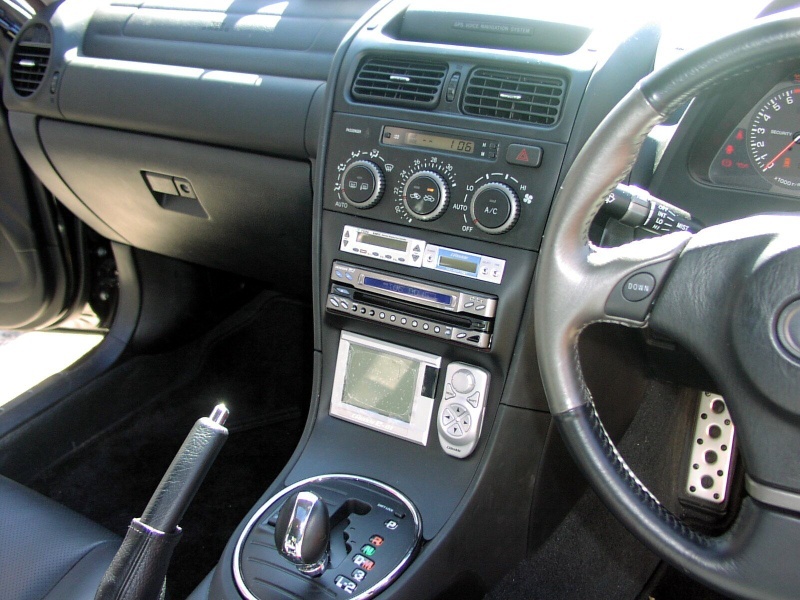 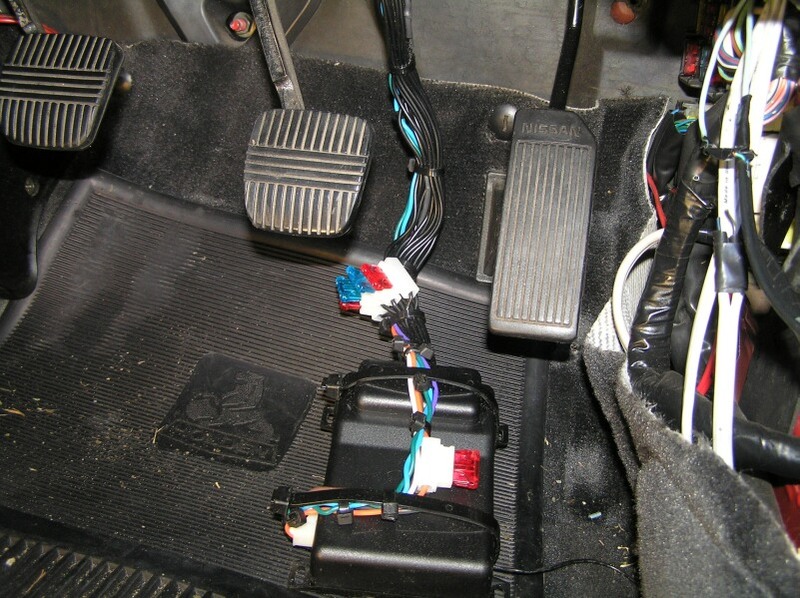 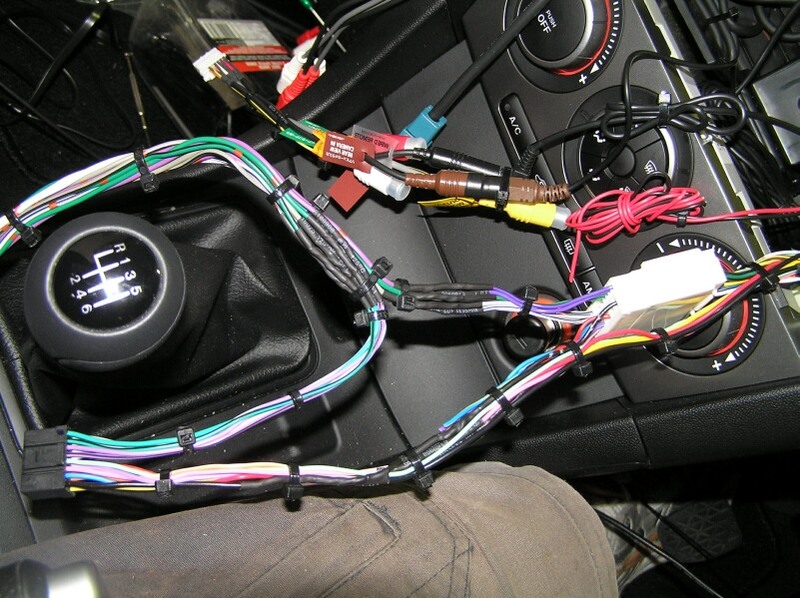 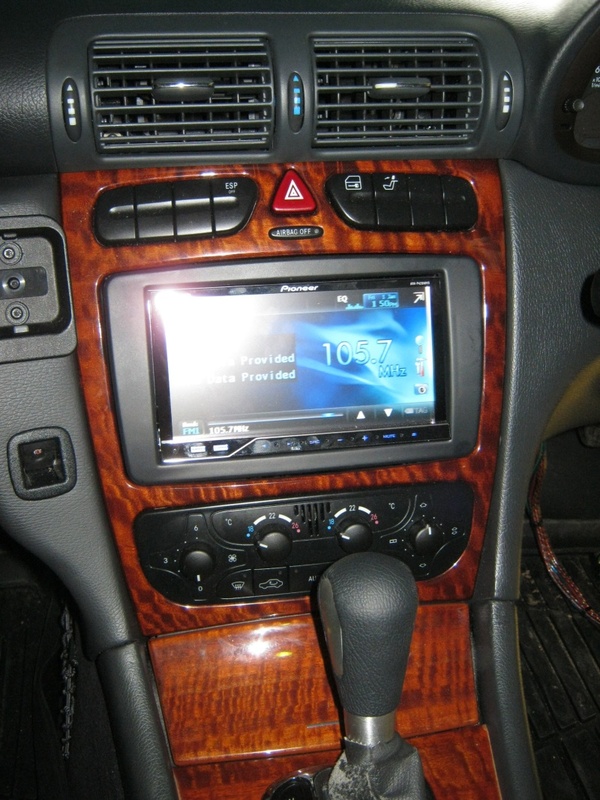 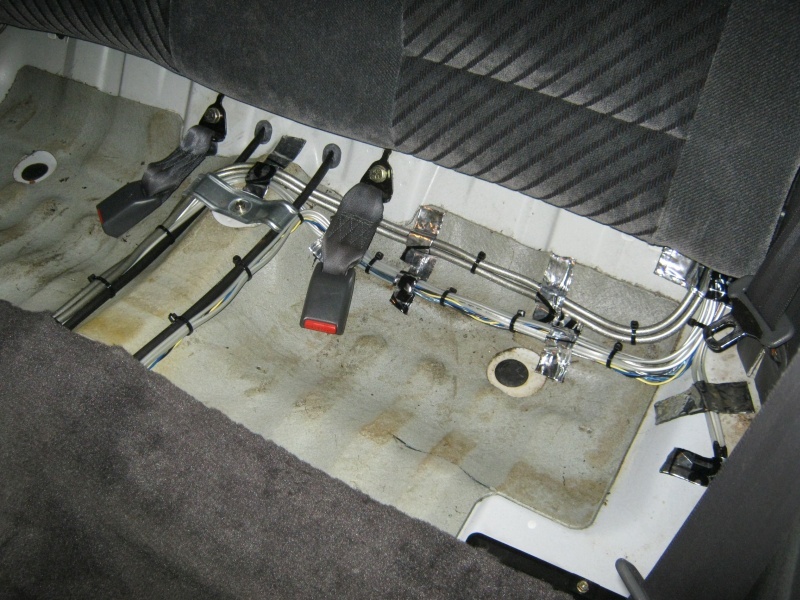 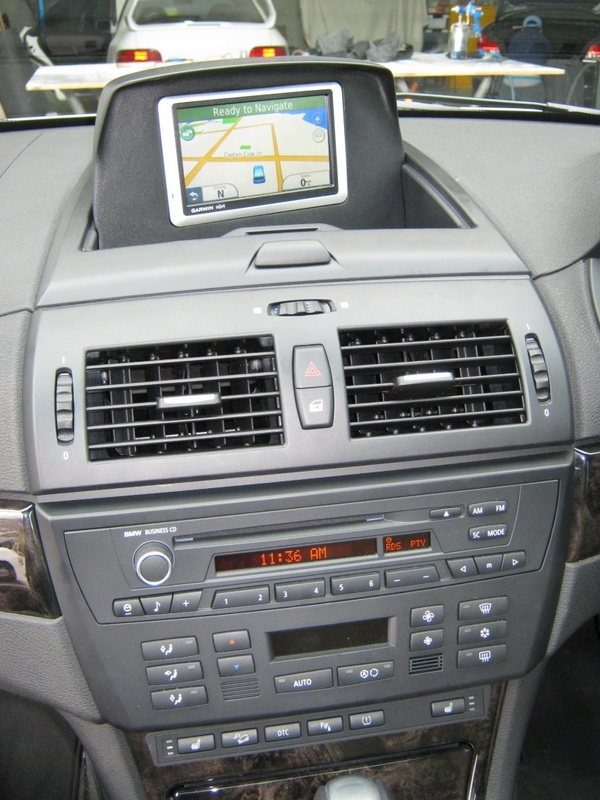 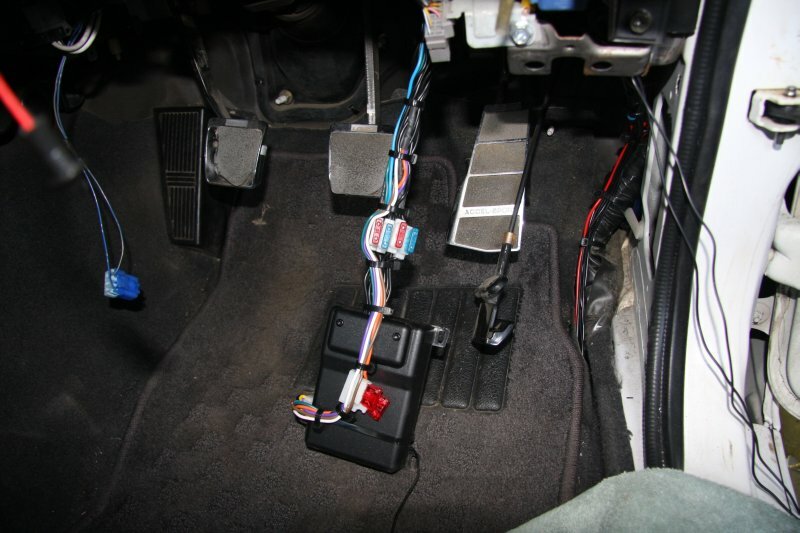 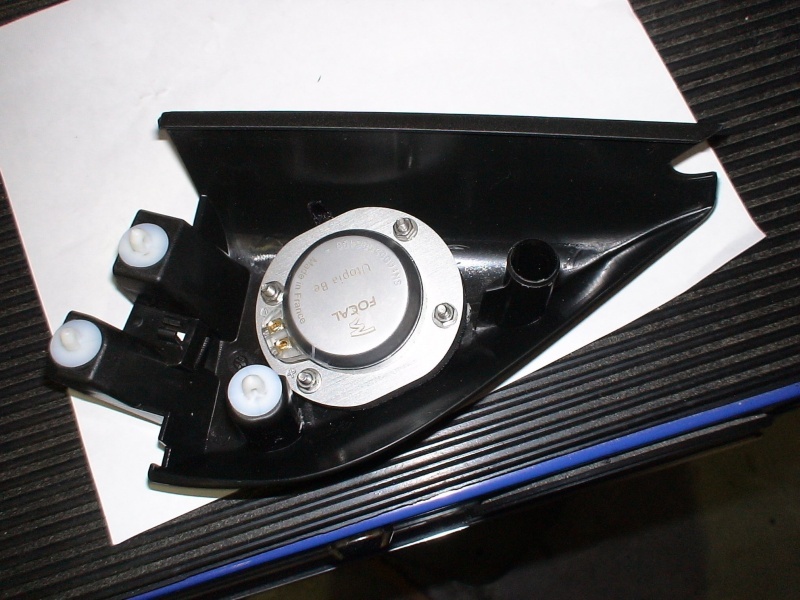 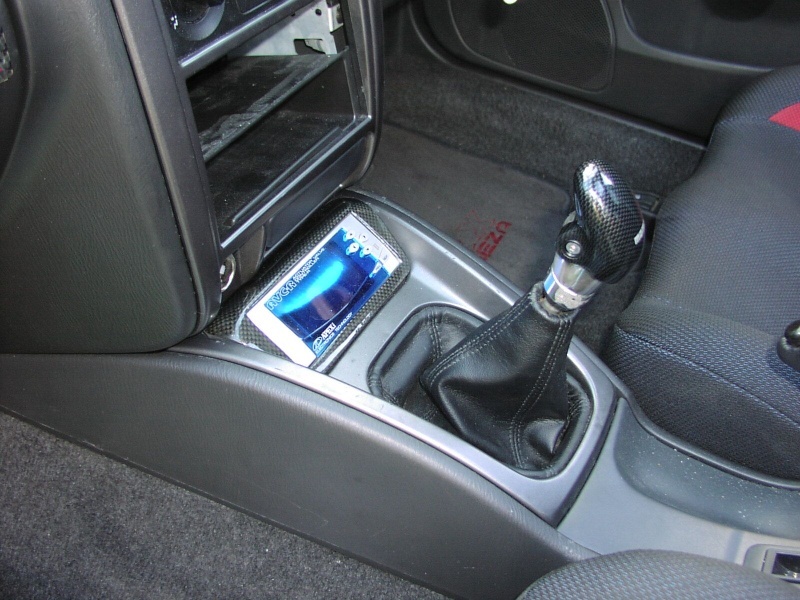 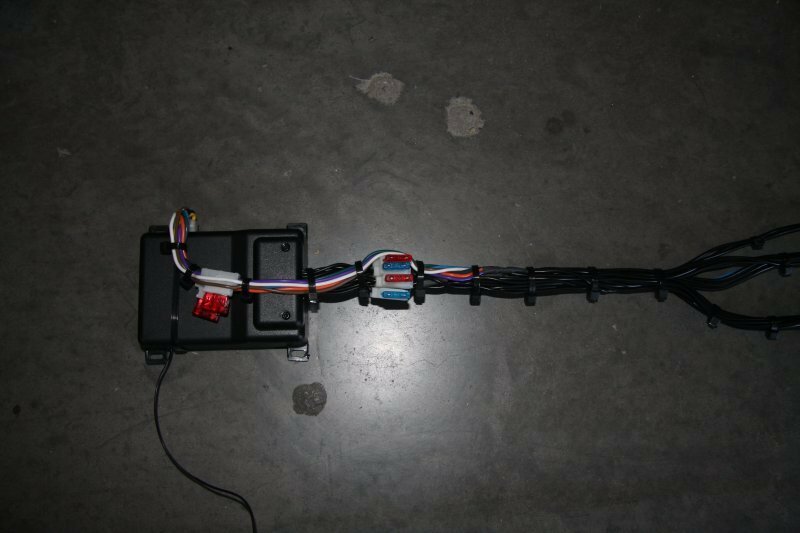 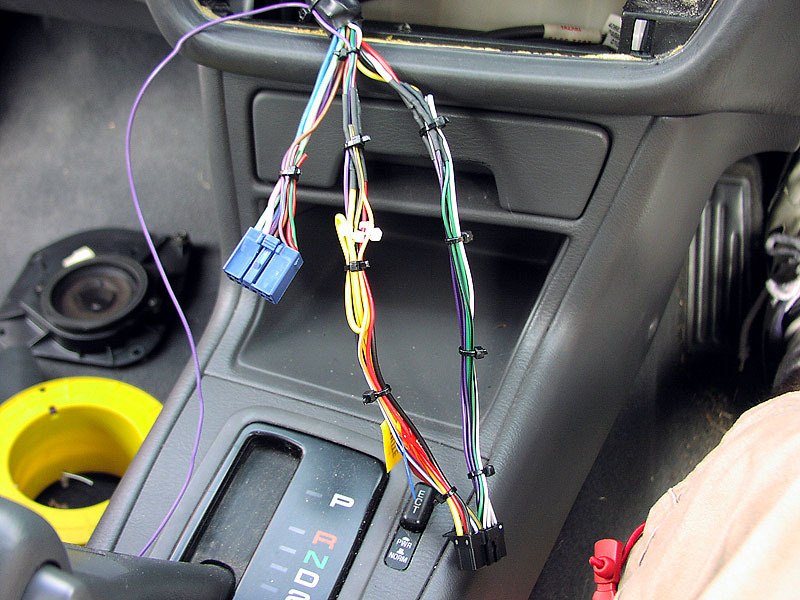 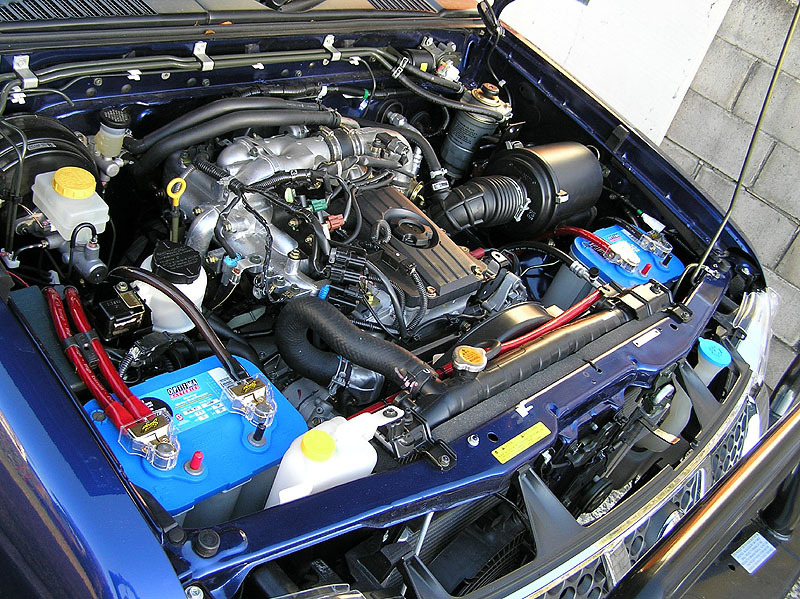 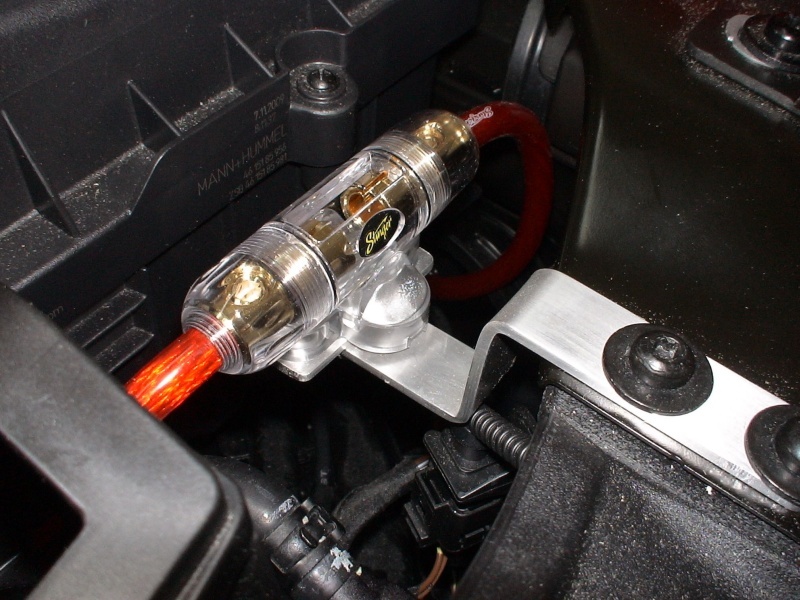 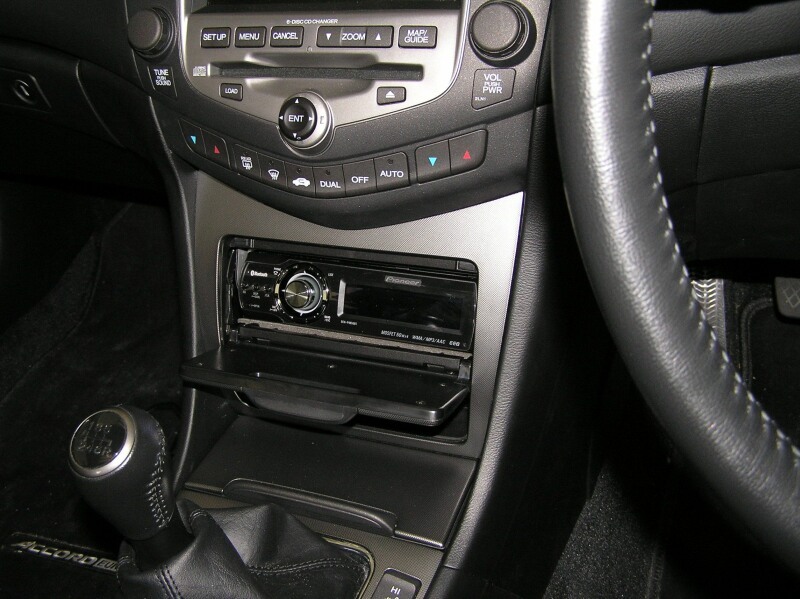 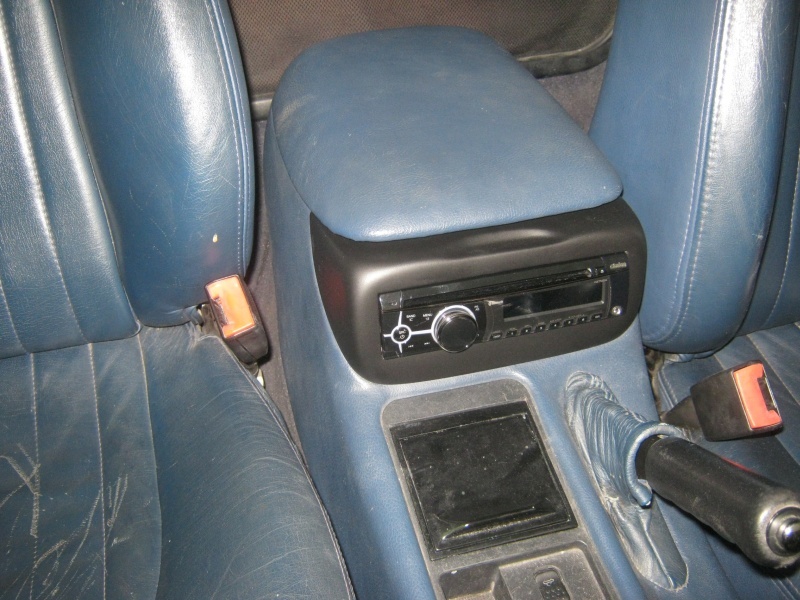 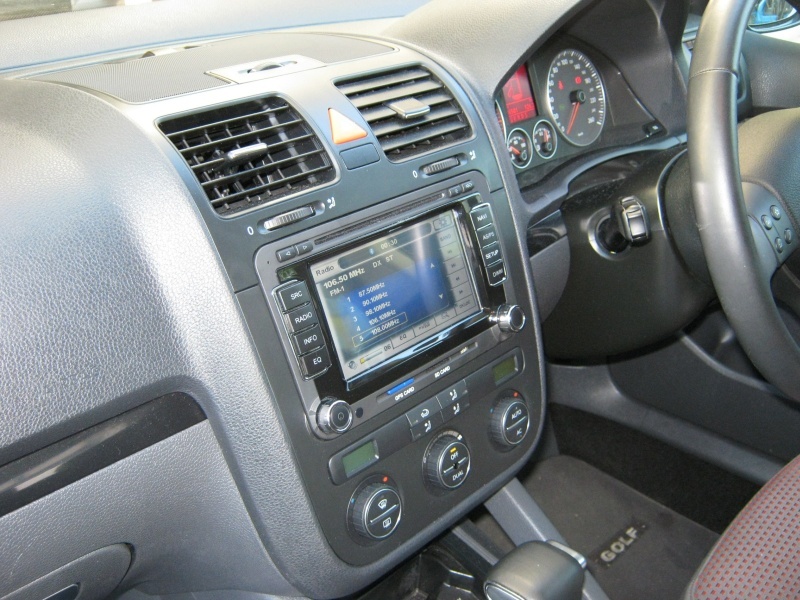 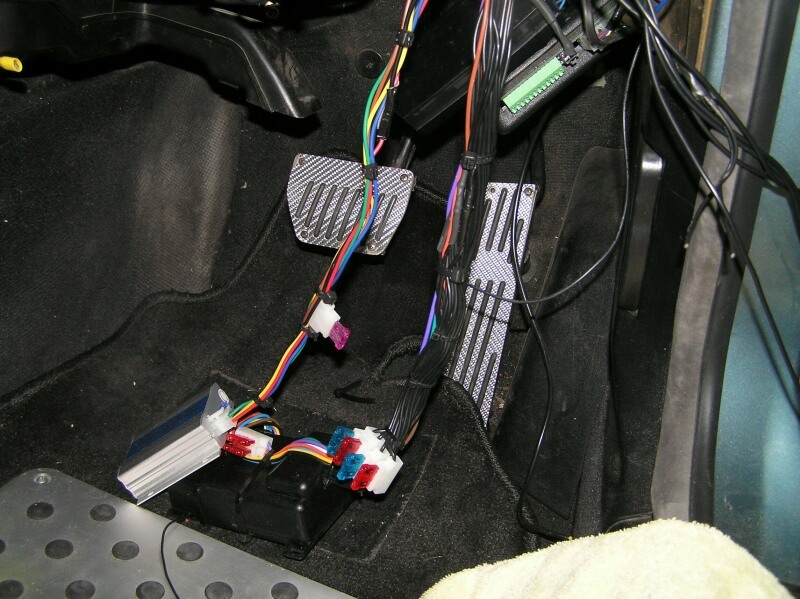 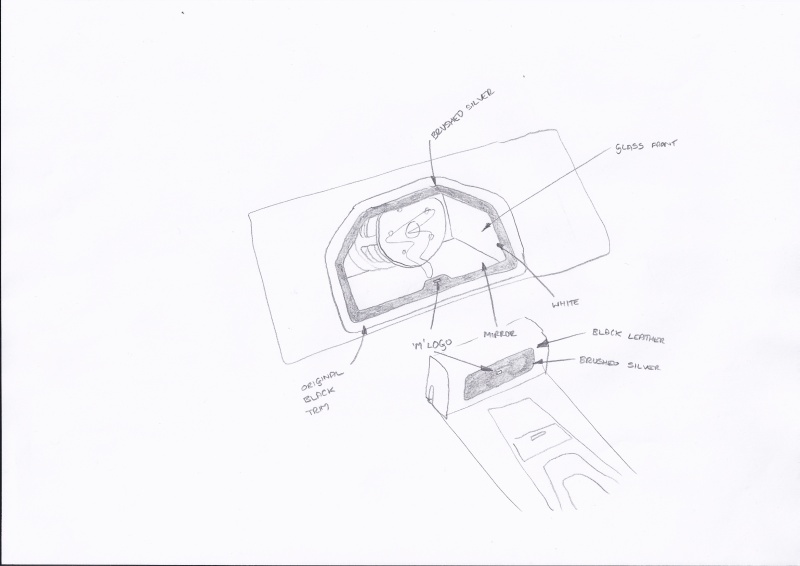 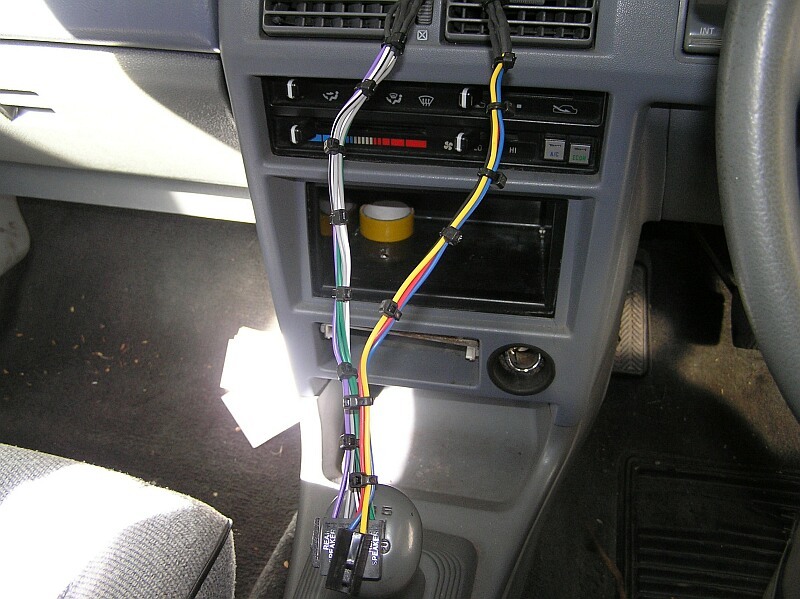 There are various ways to get around this including the utilization of dash kits however due to the relatively high cost of this option some people just choose to simply leave the factory head unit in place and add a totally separate aftermarket source unit near it. 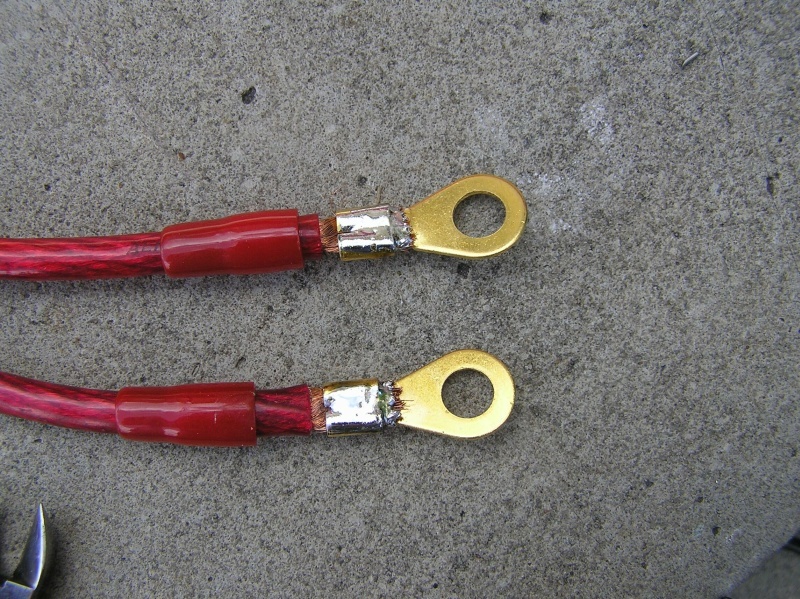 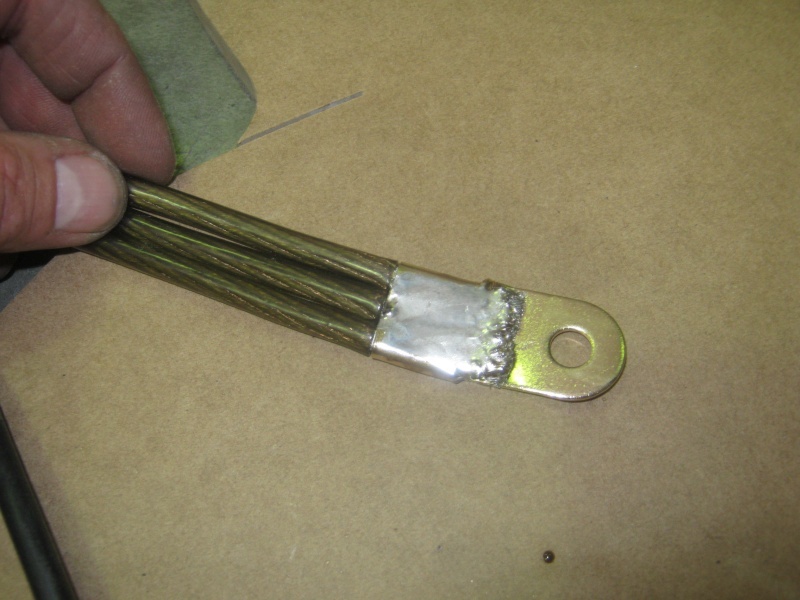 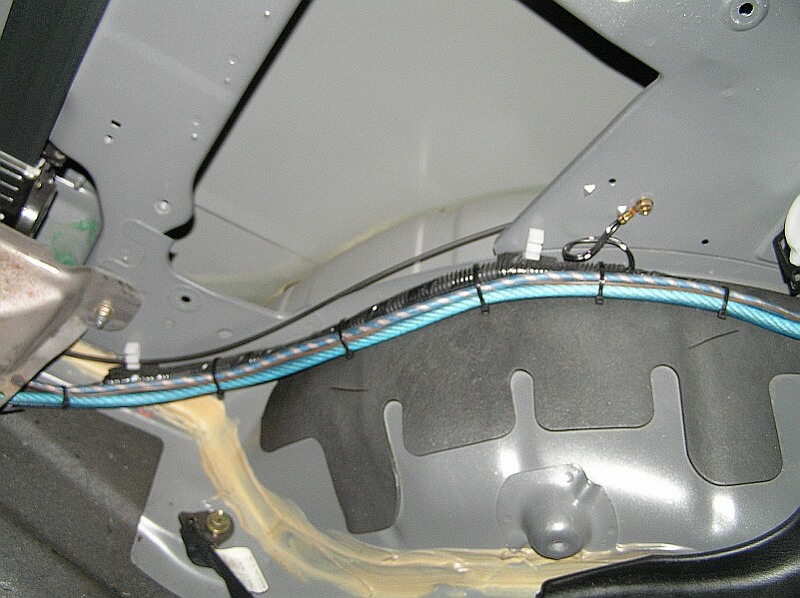 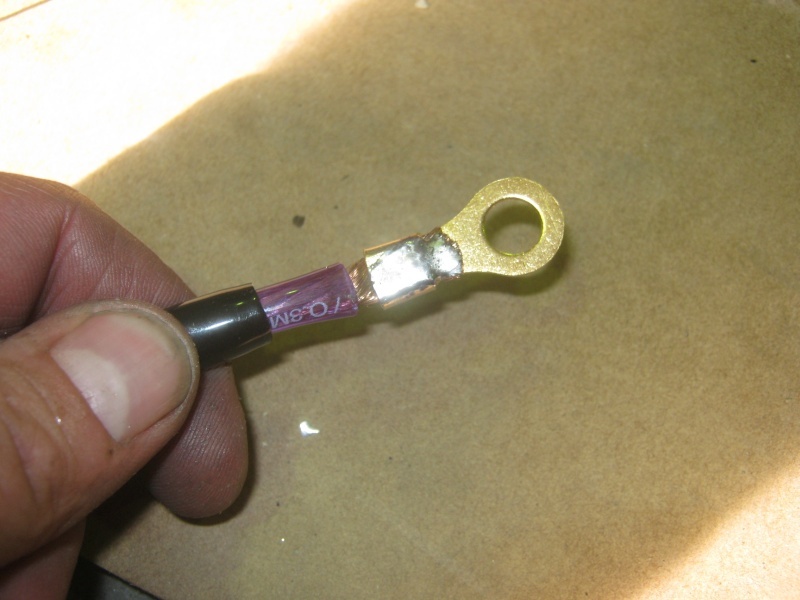 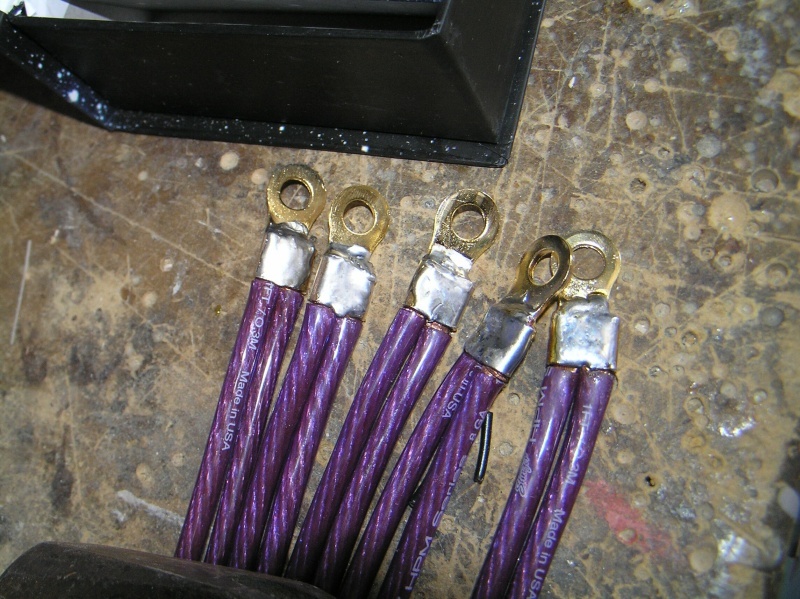 Utilising this method requires some creative wiring to protect the factory unit but it can be done. 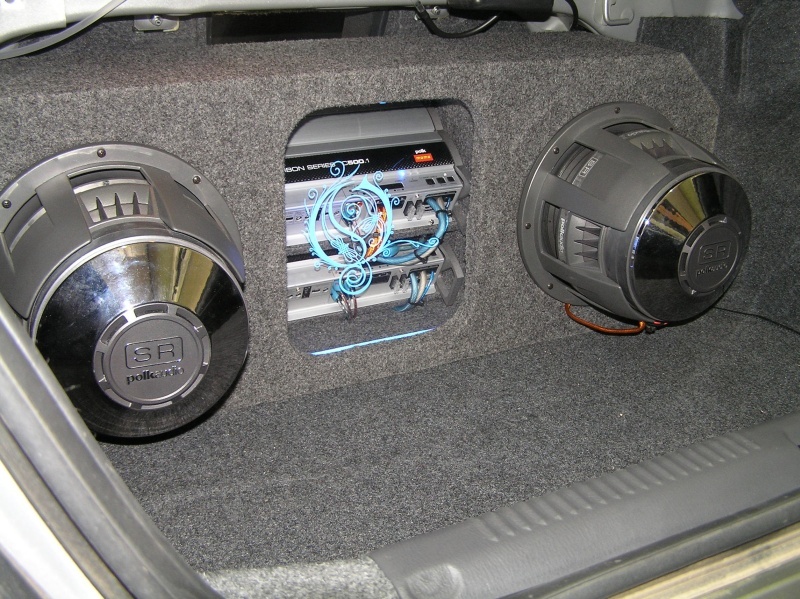 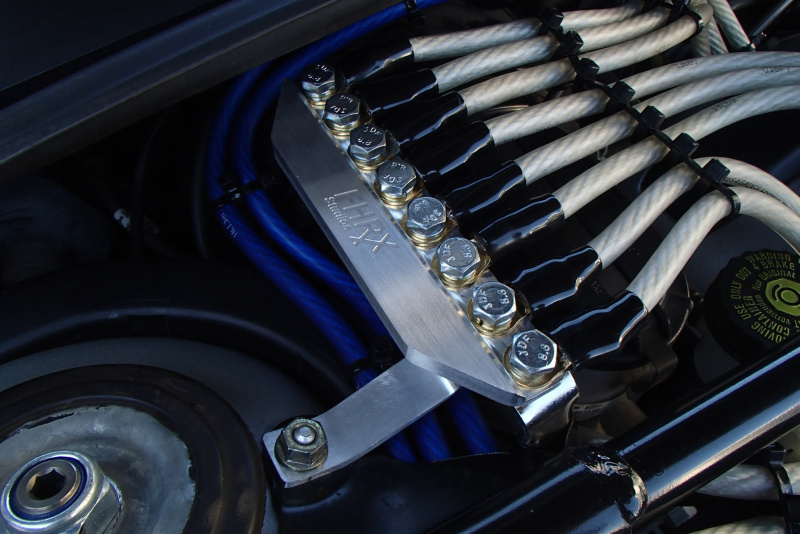 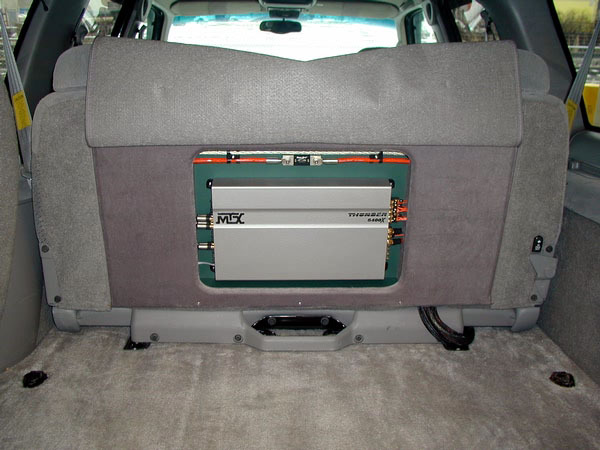 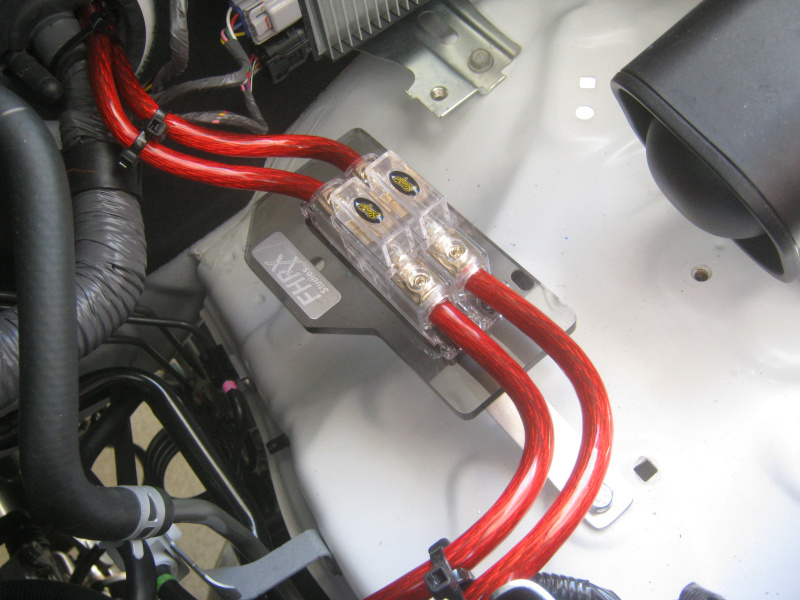 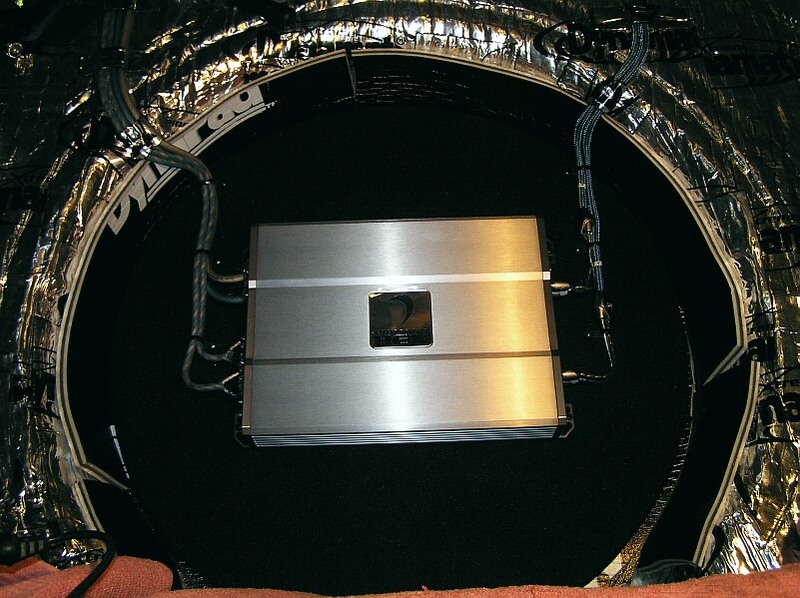 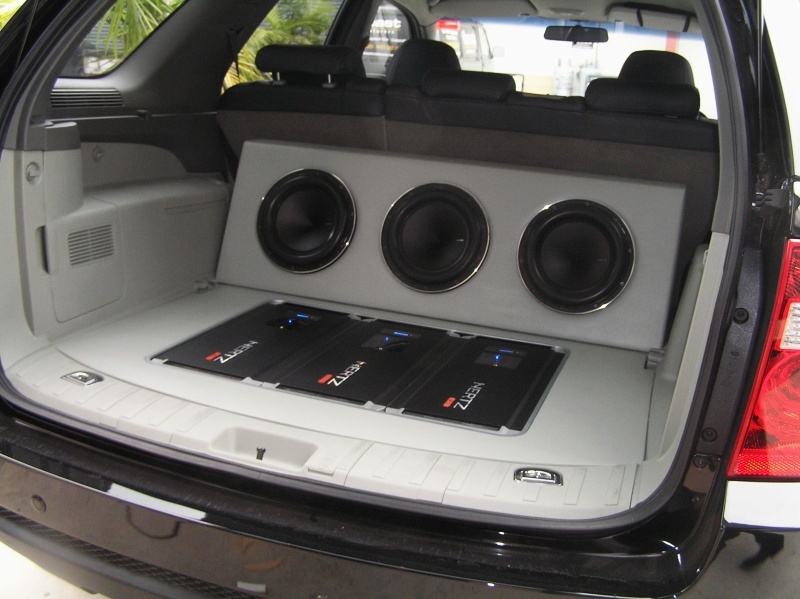 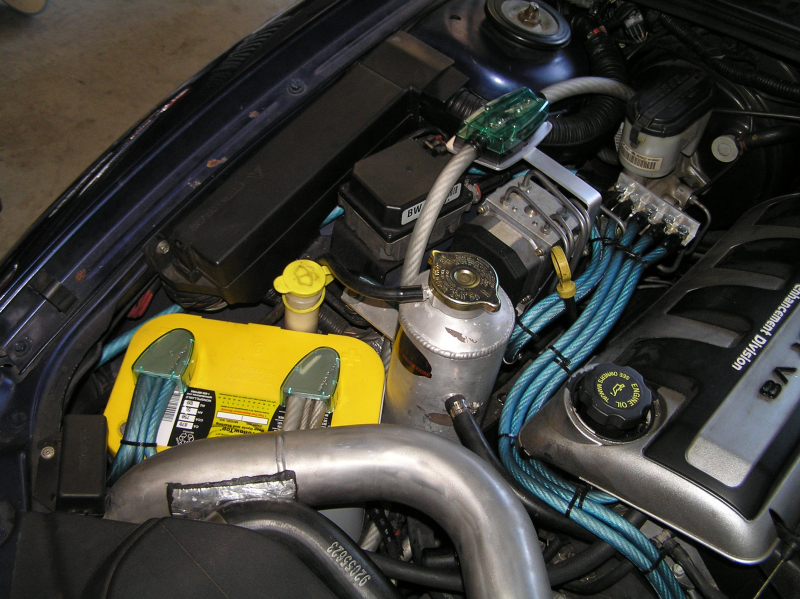 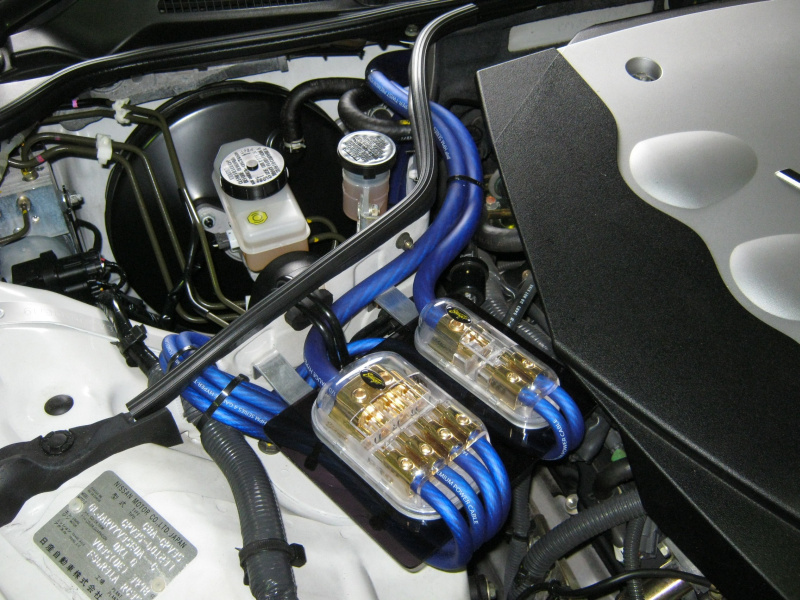 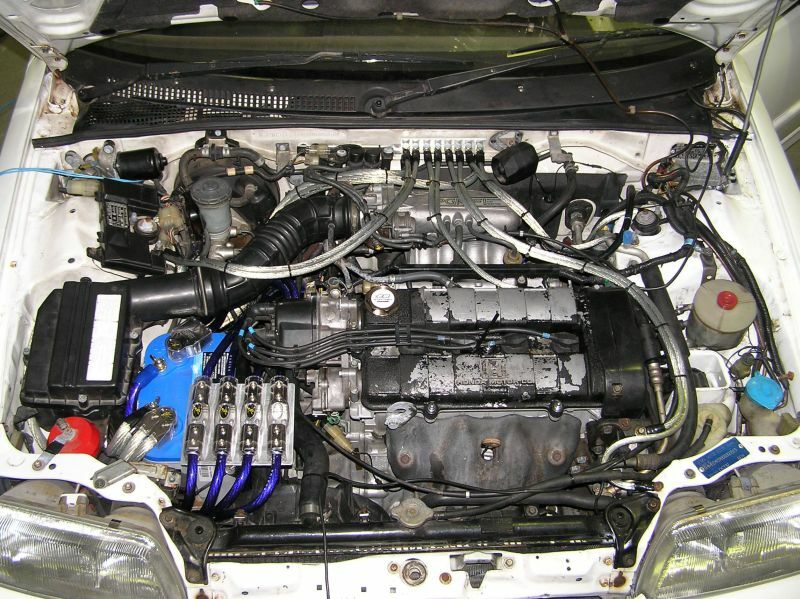 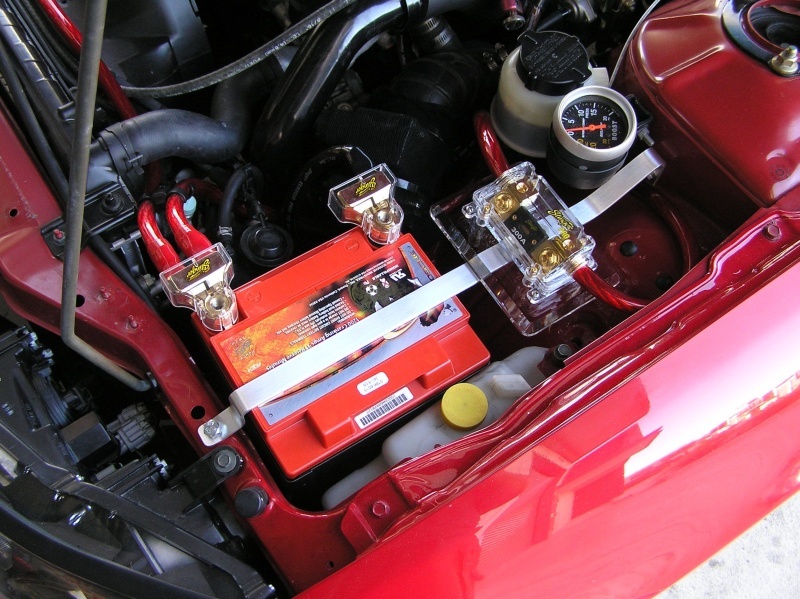 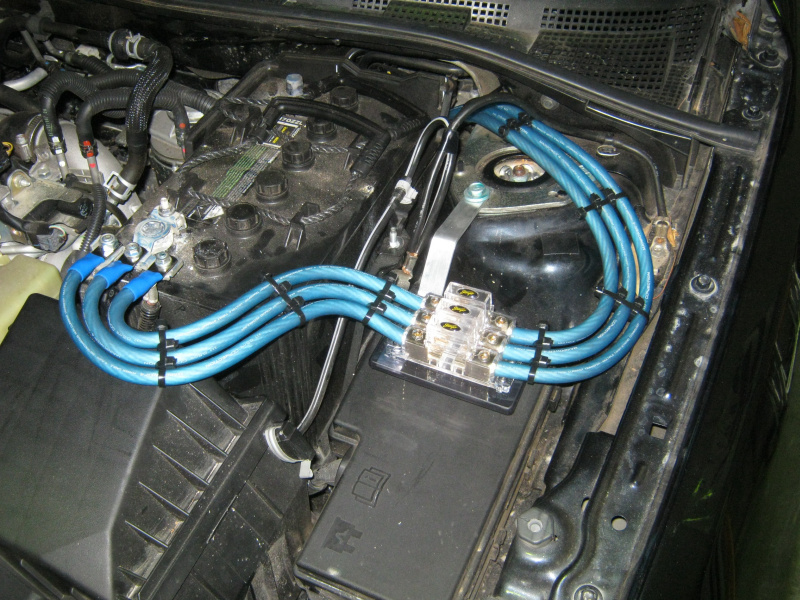 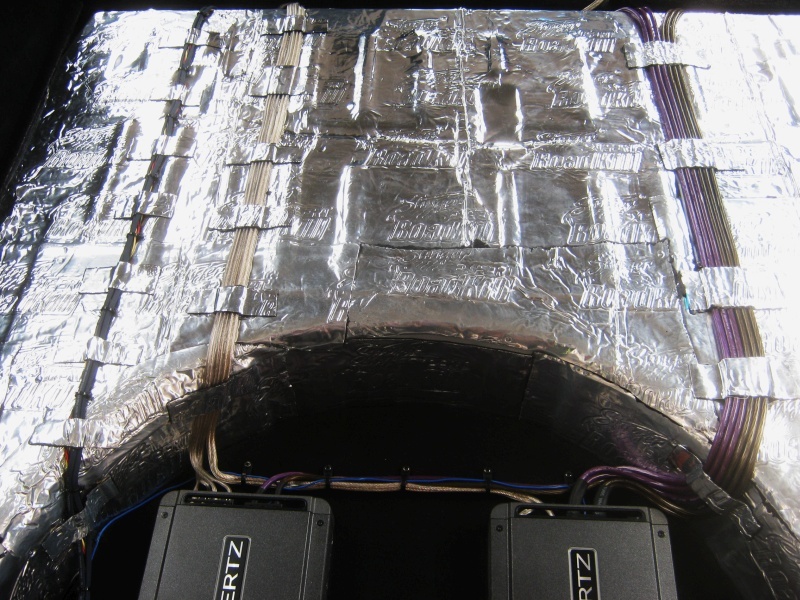 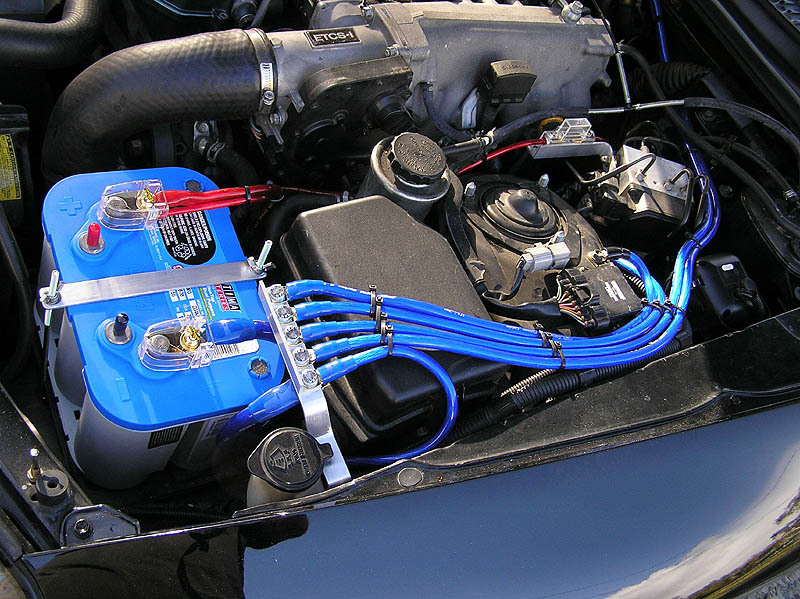 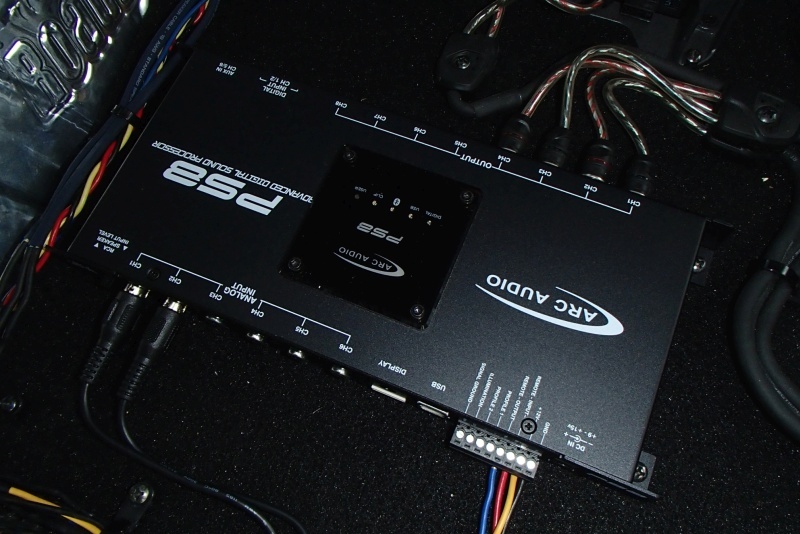 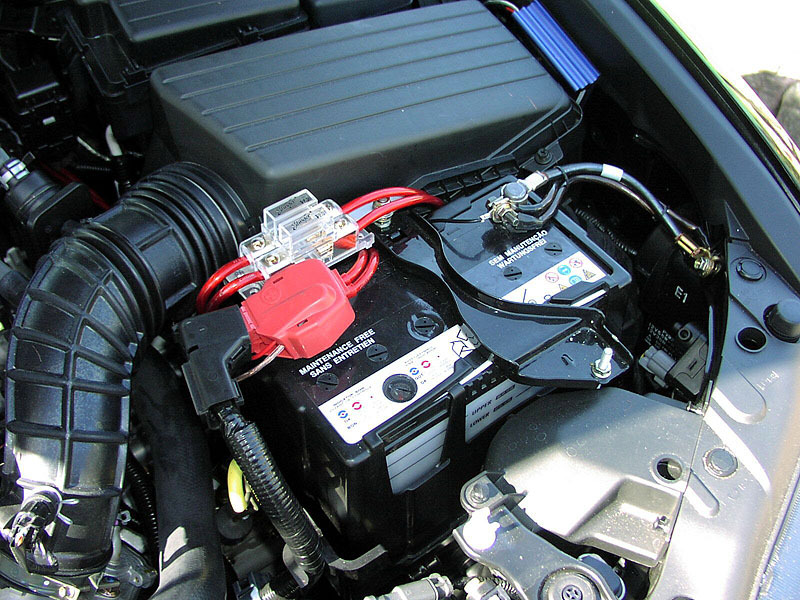 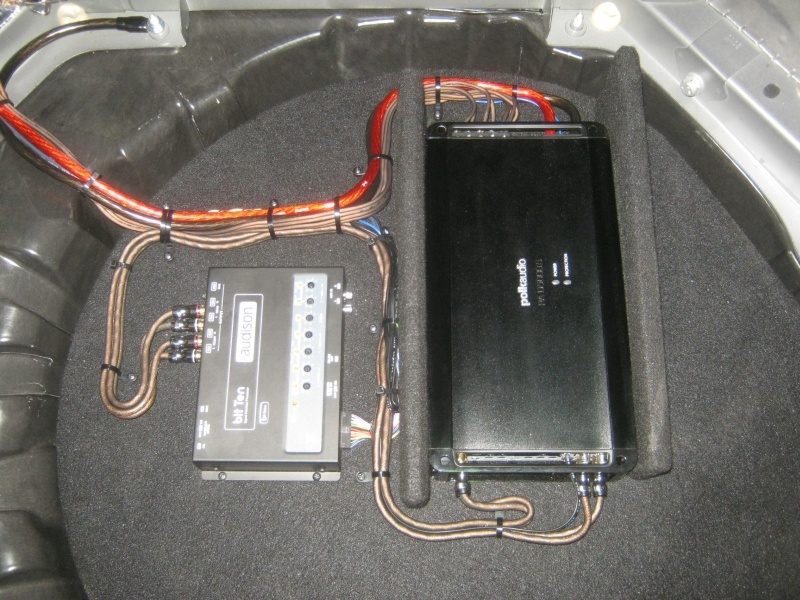 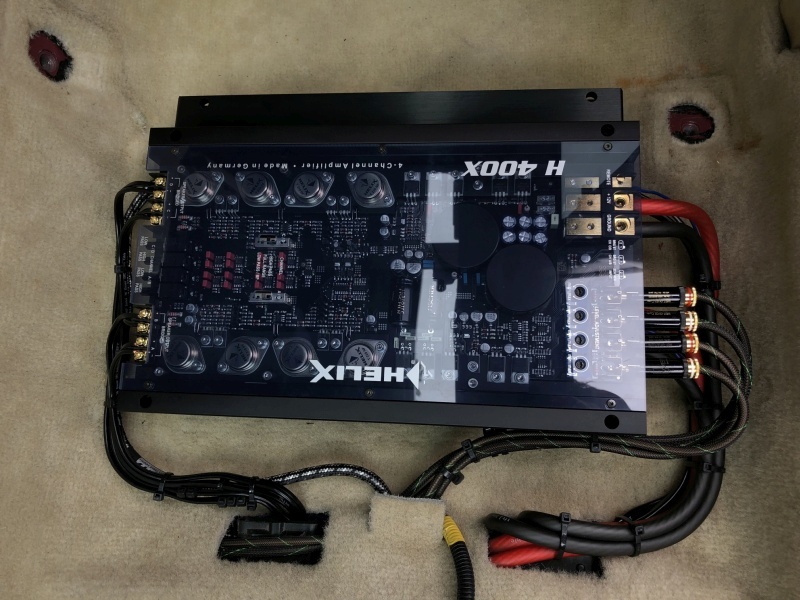 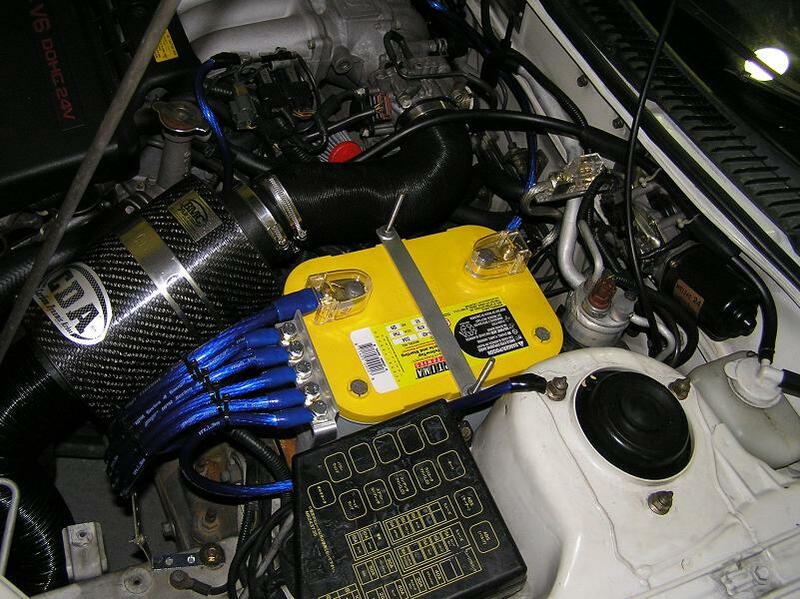 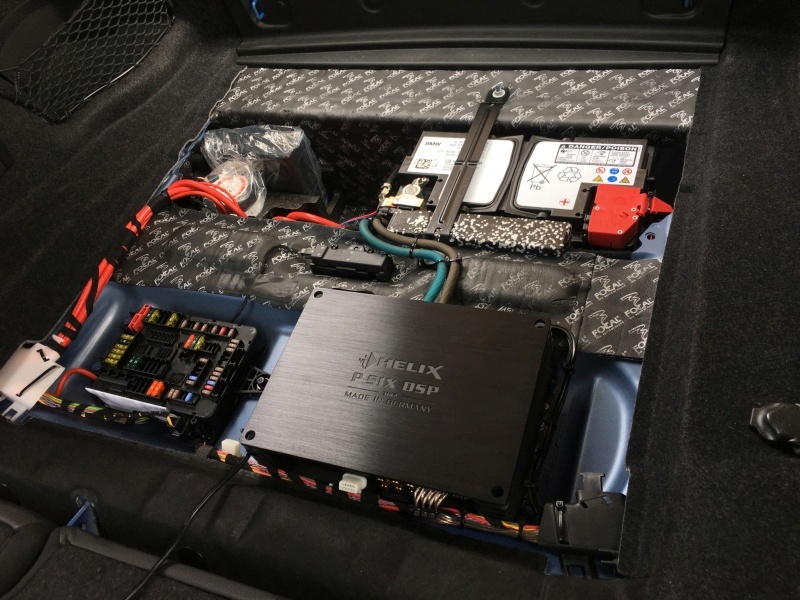 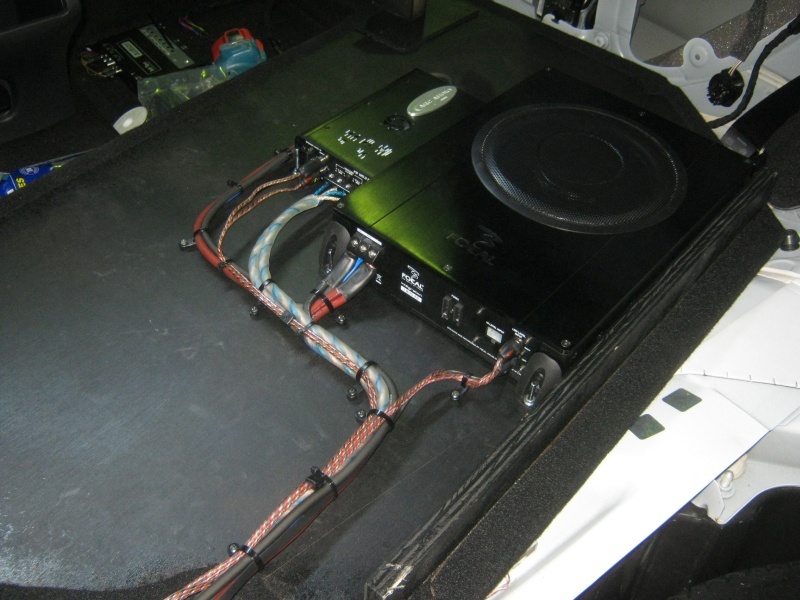 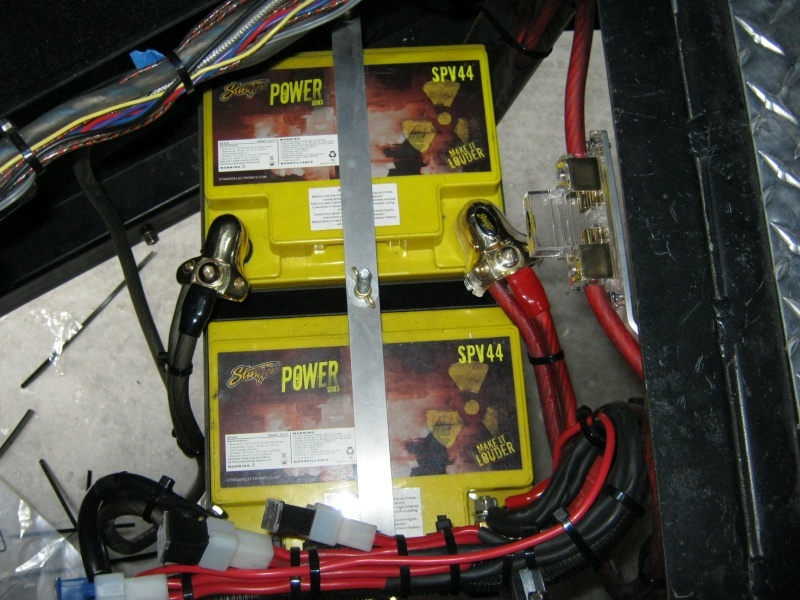 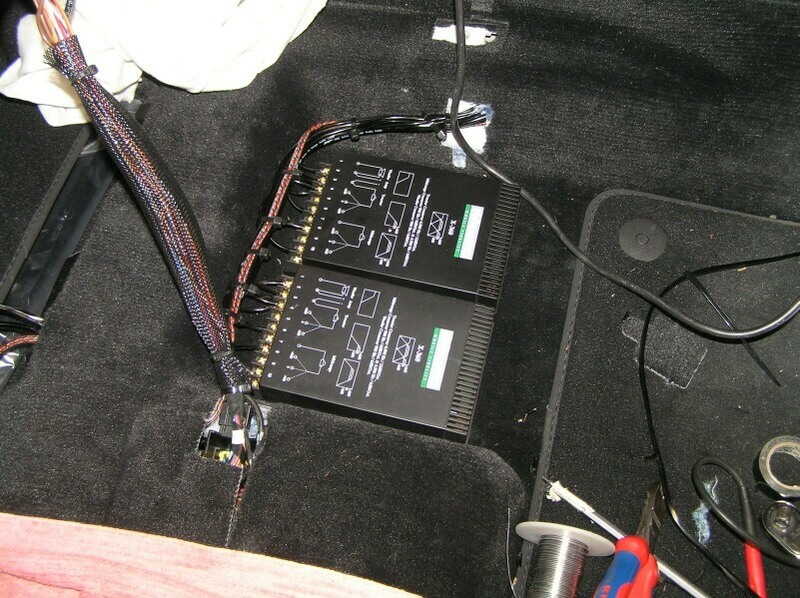 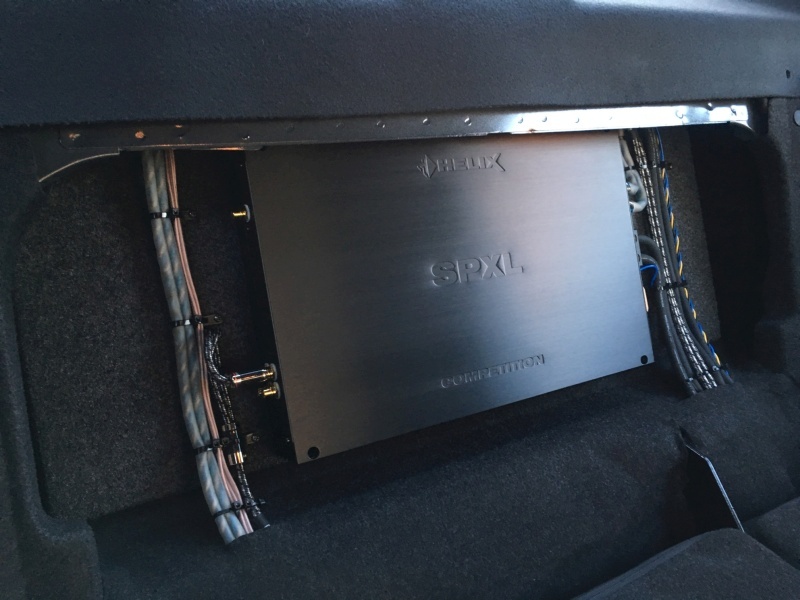 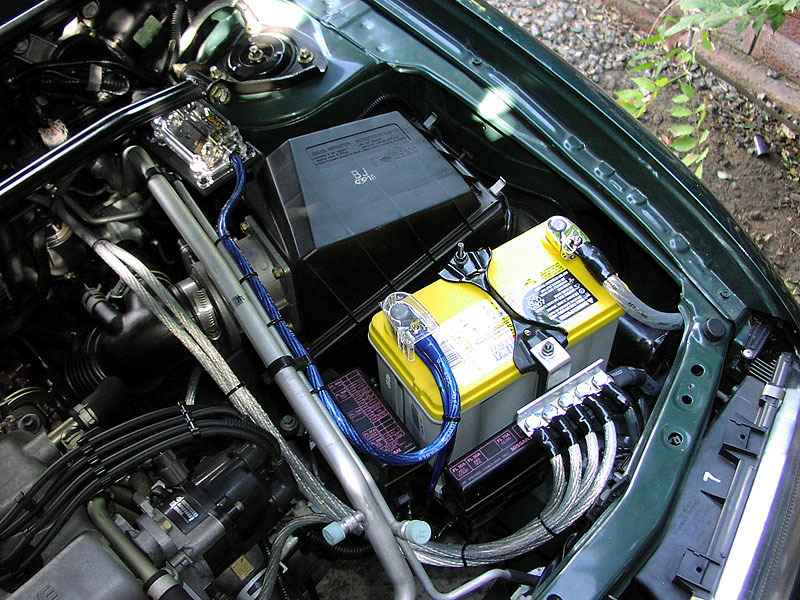 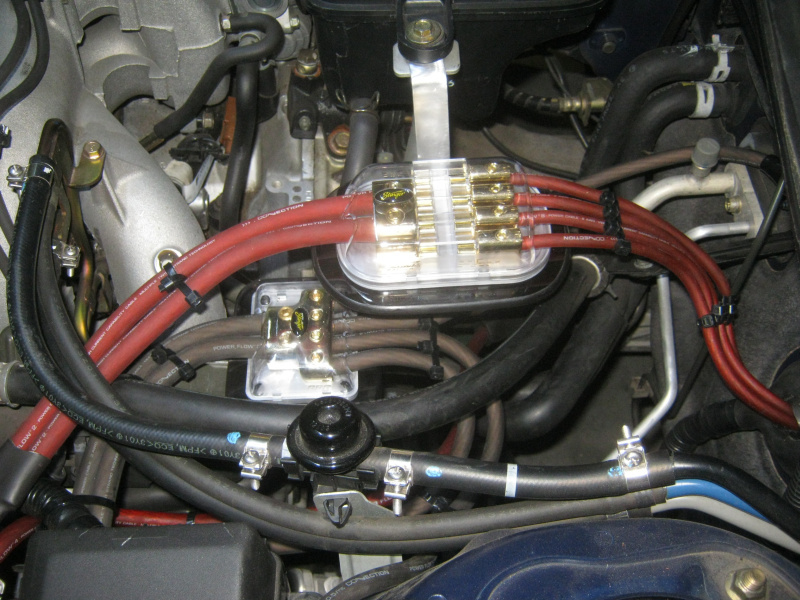 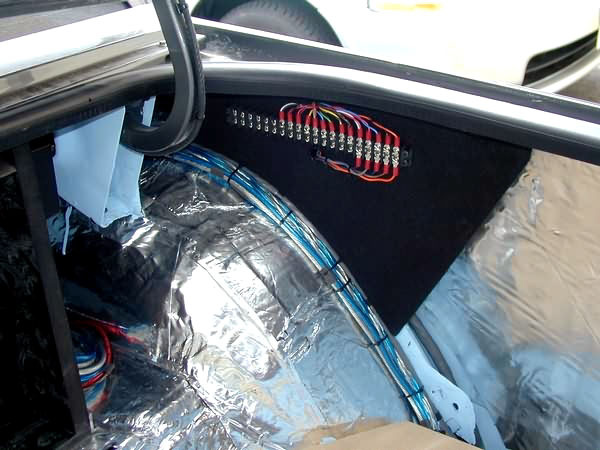 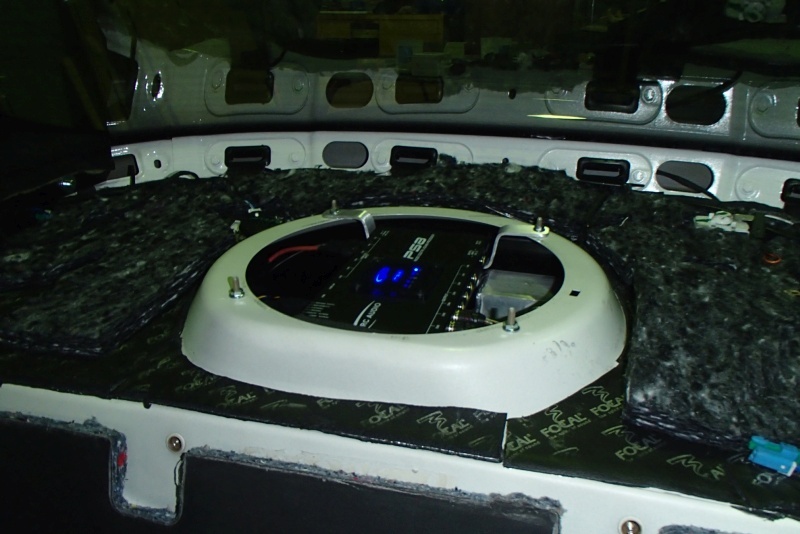 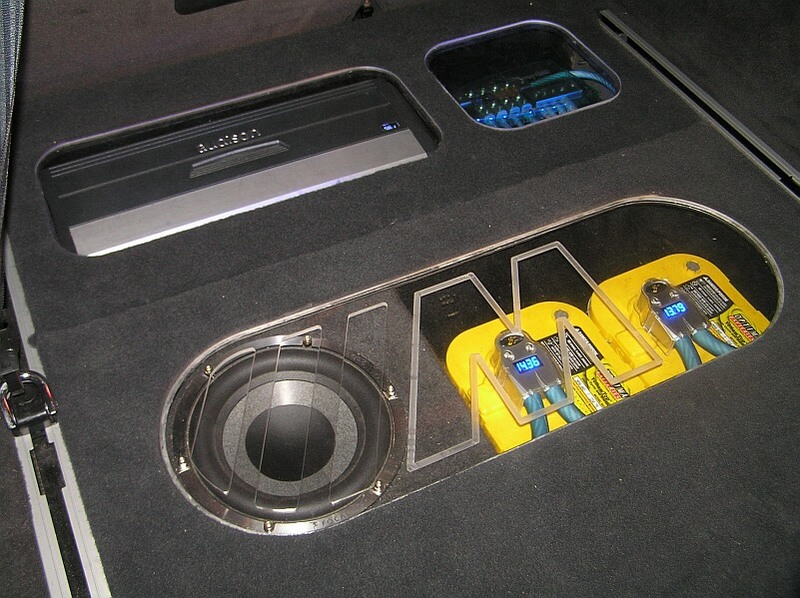 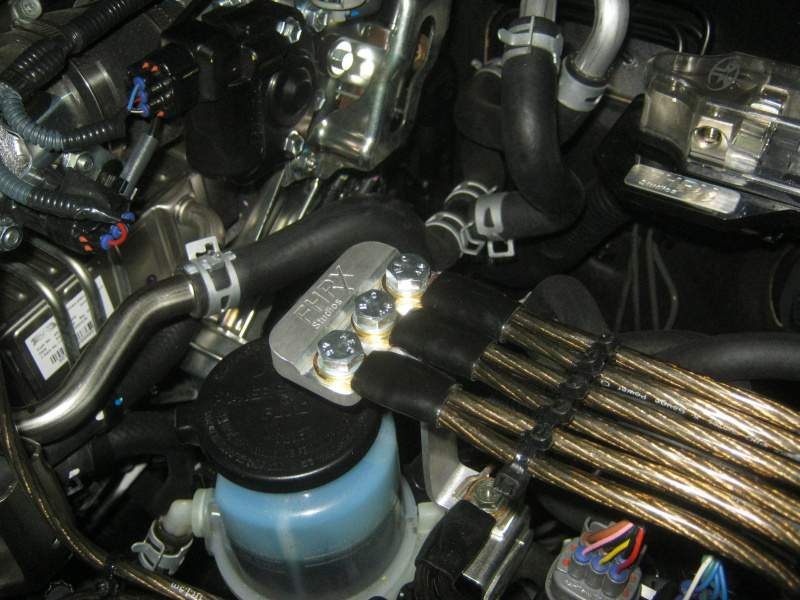 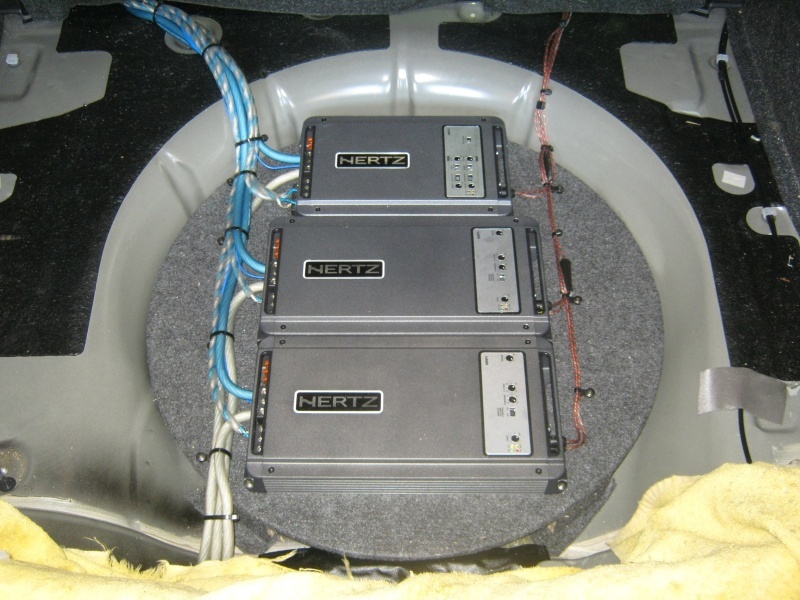 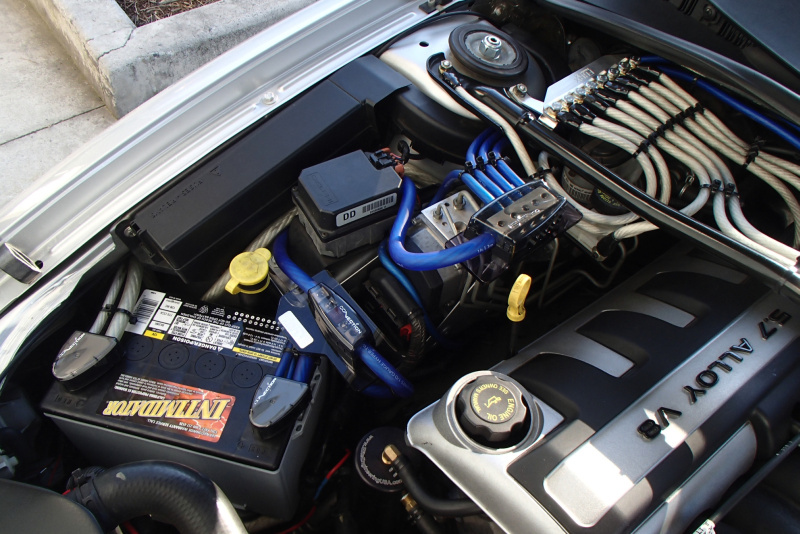 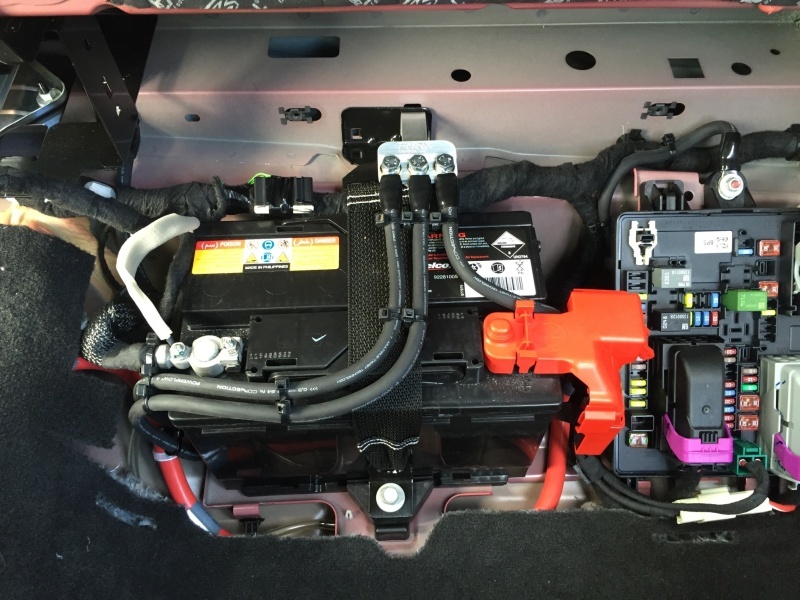 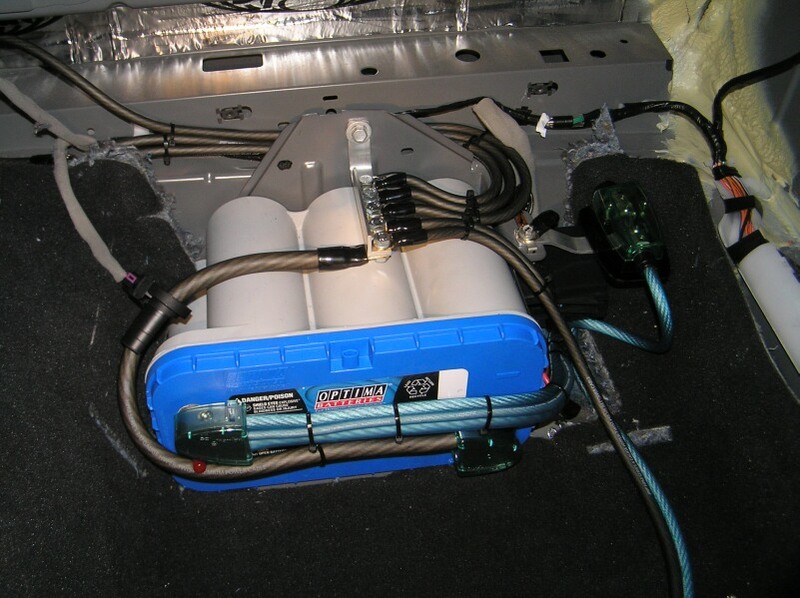 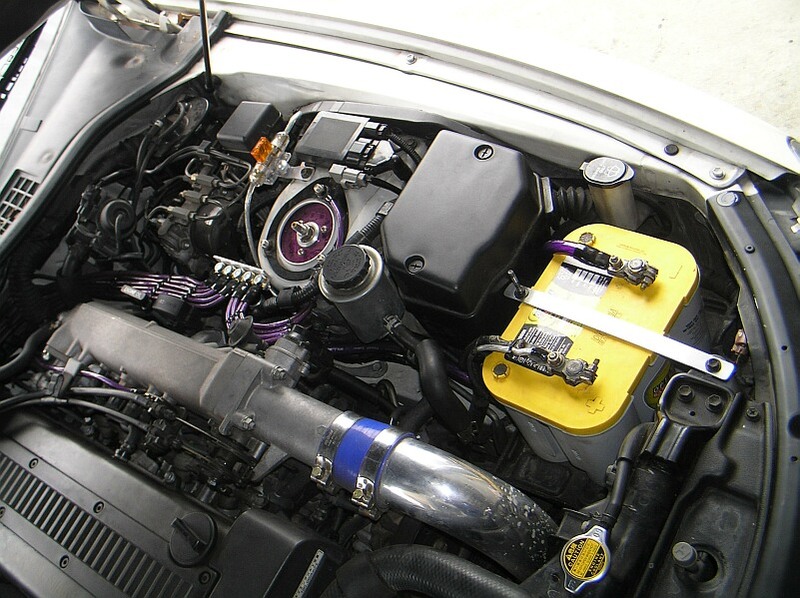 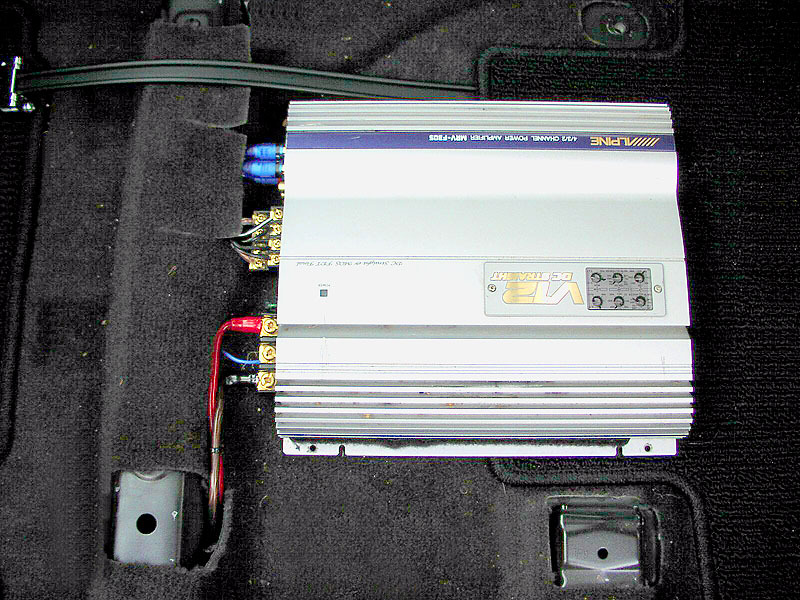 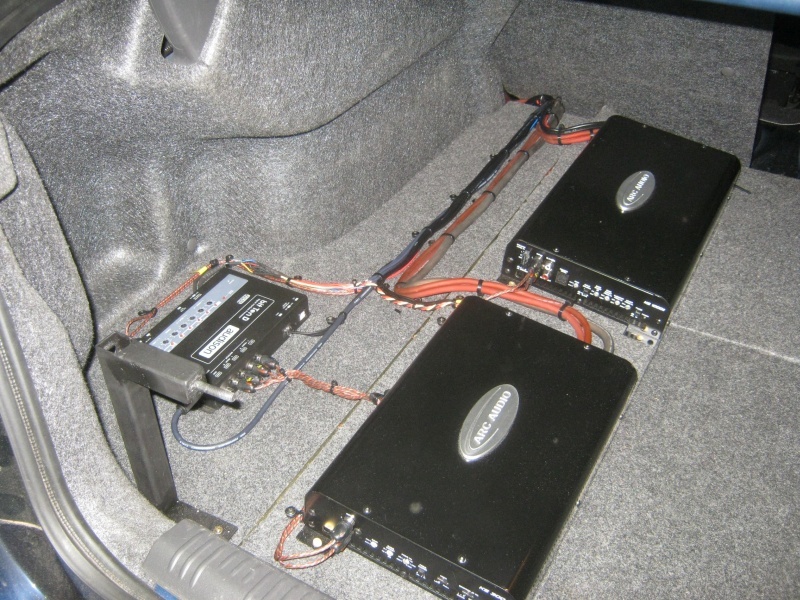 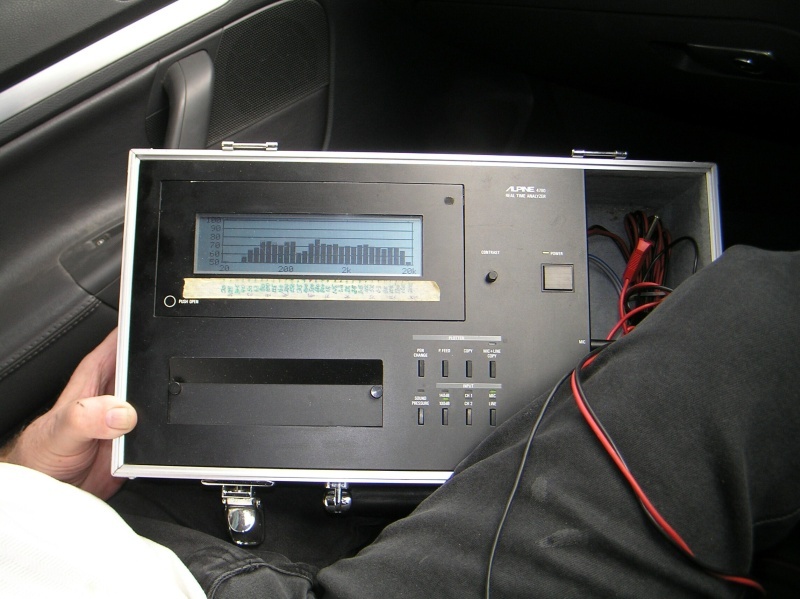 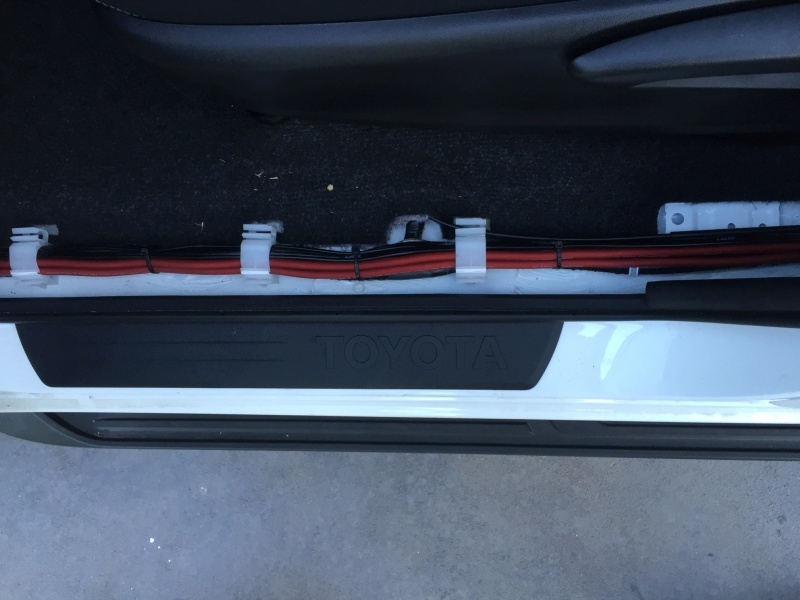 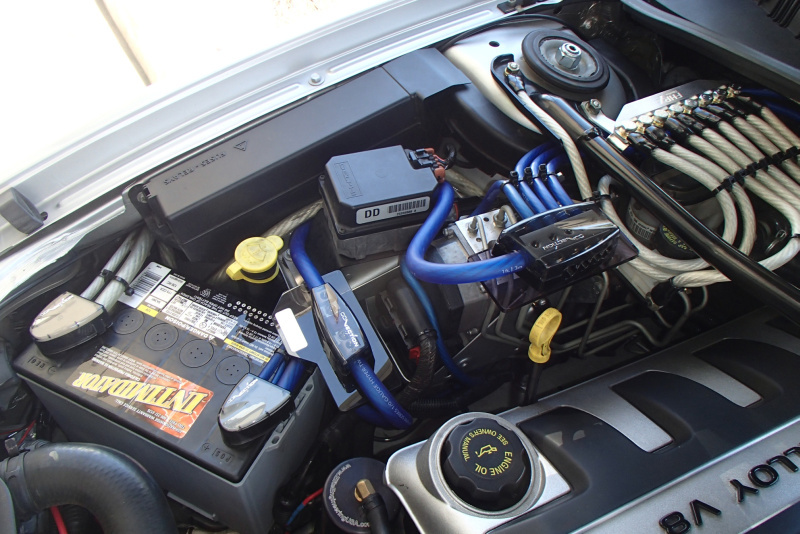 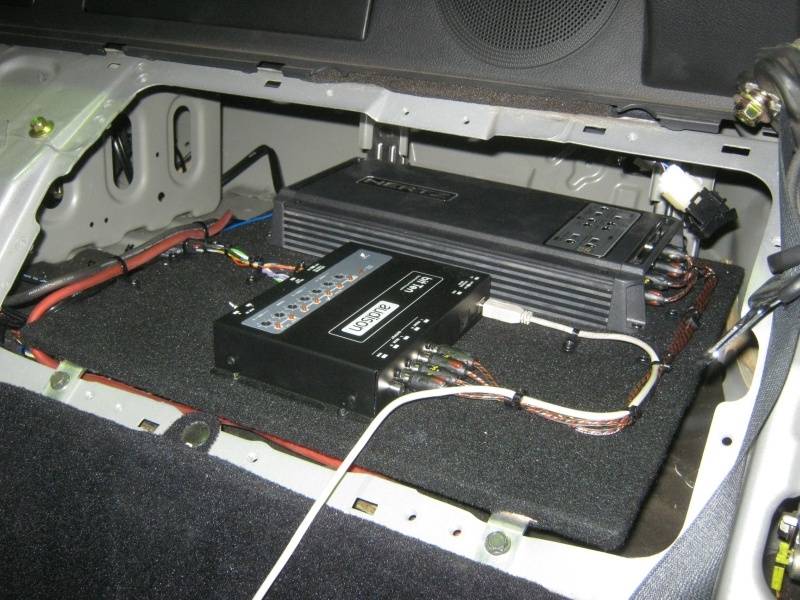 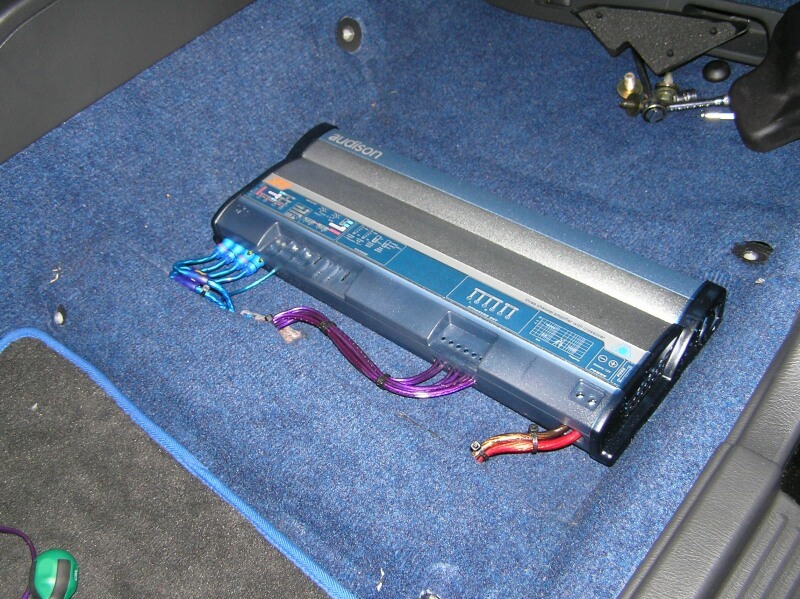 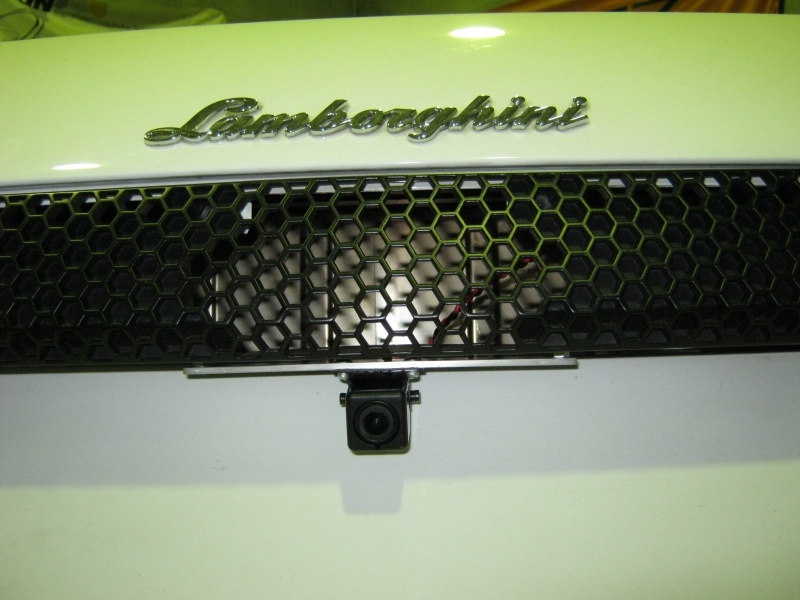 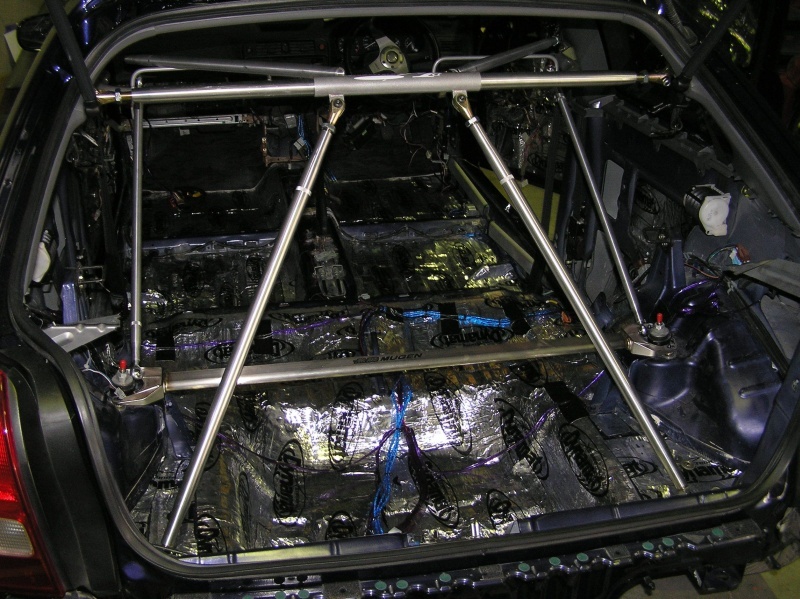 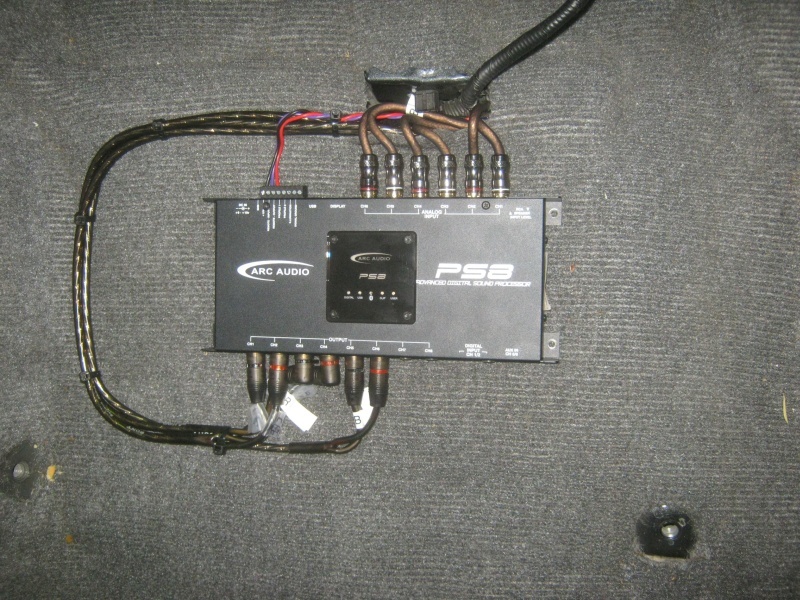 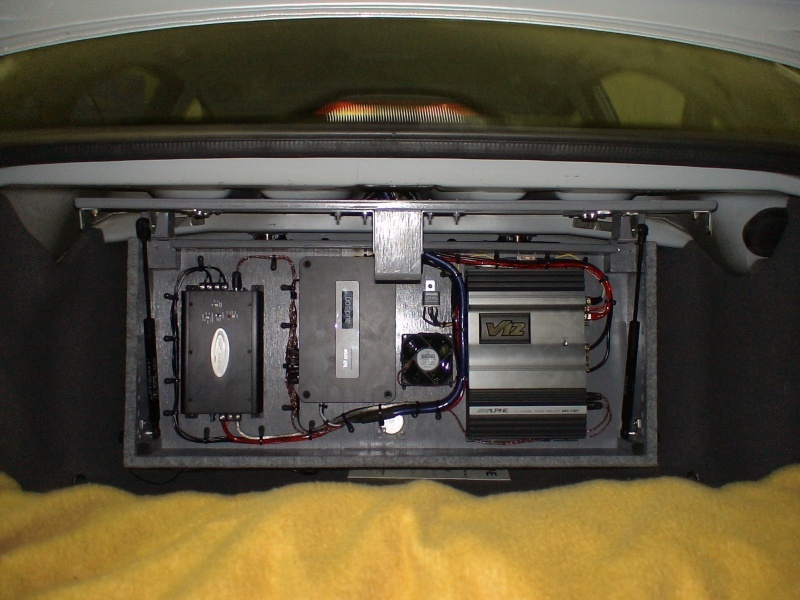 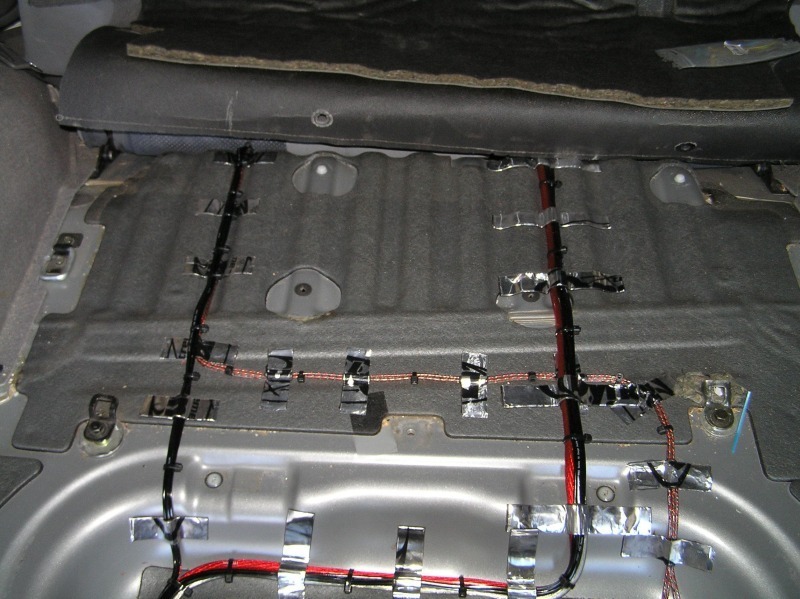 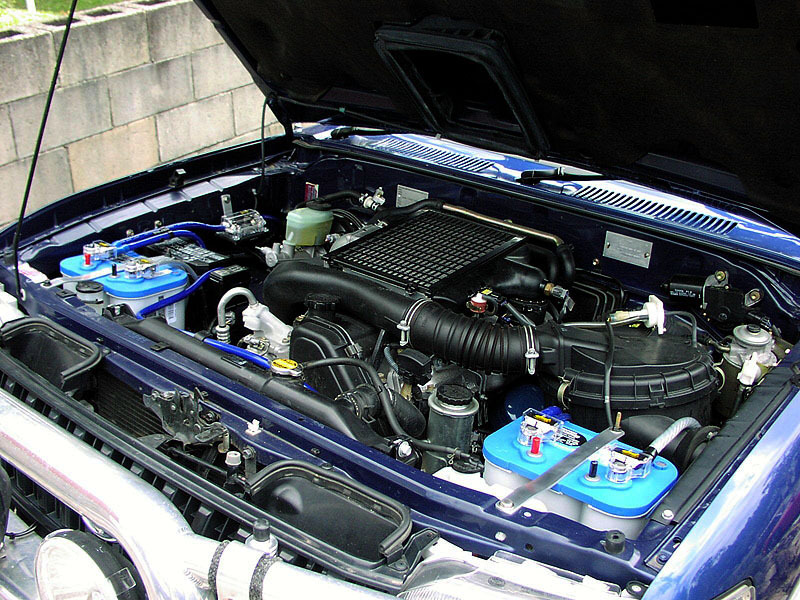 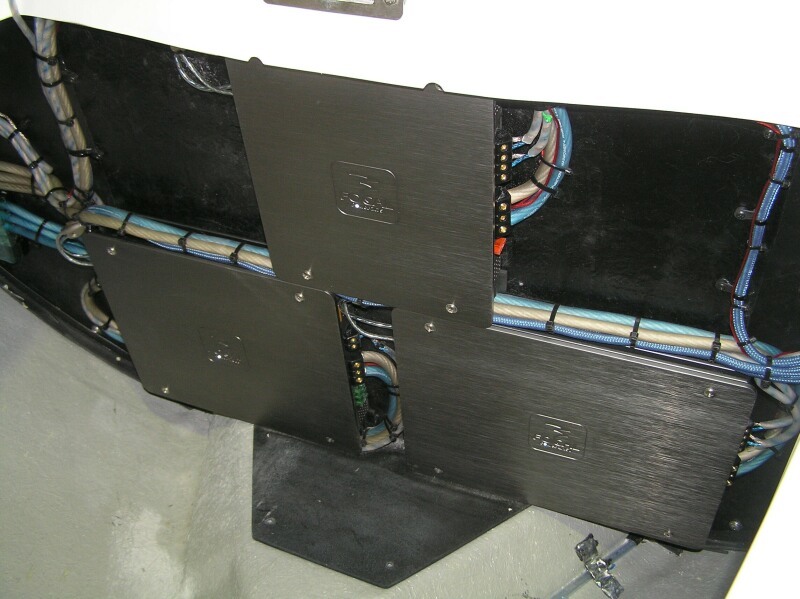 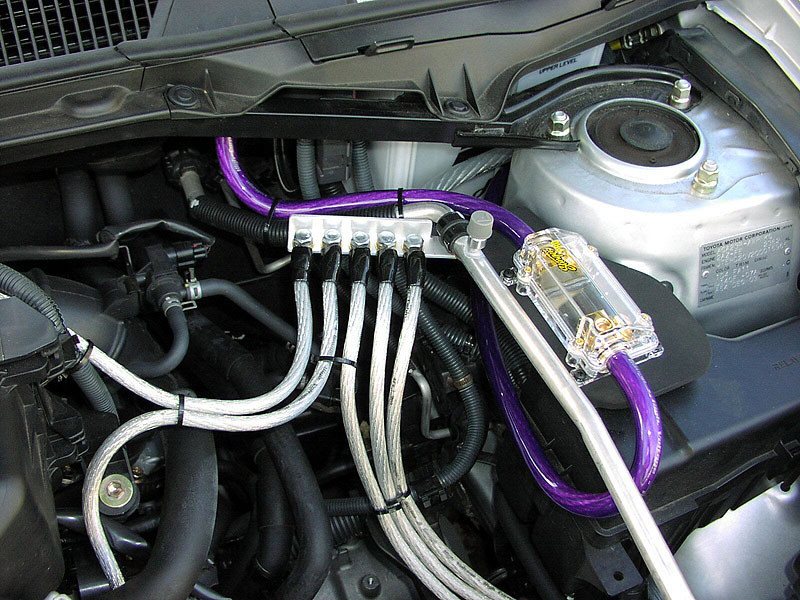 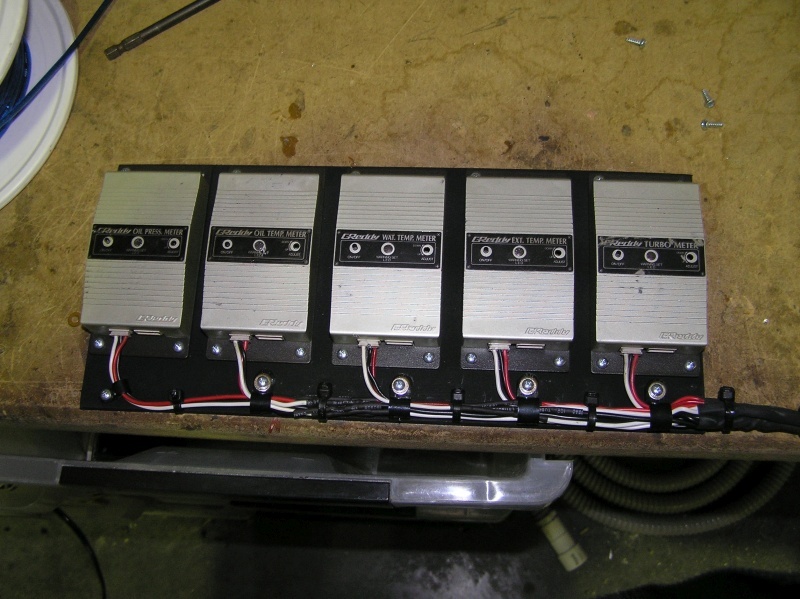 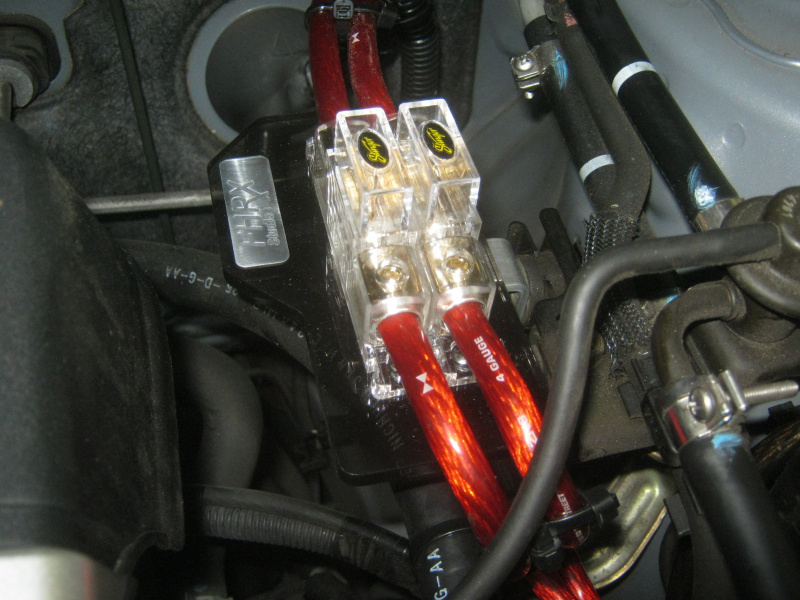 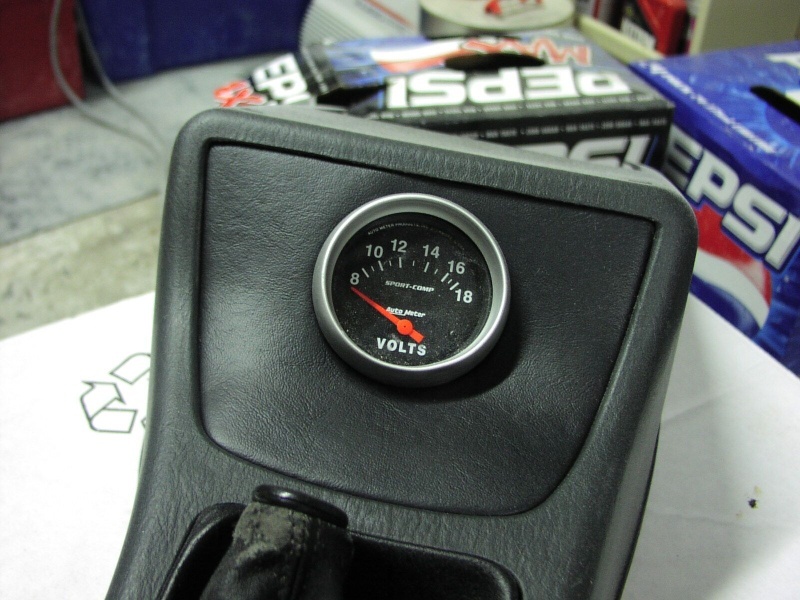 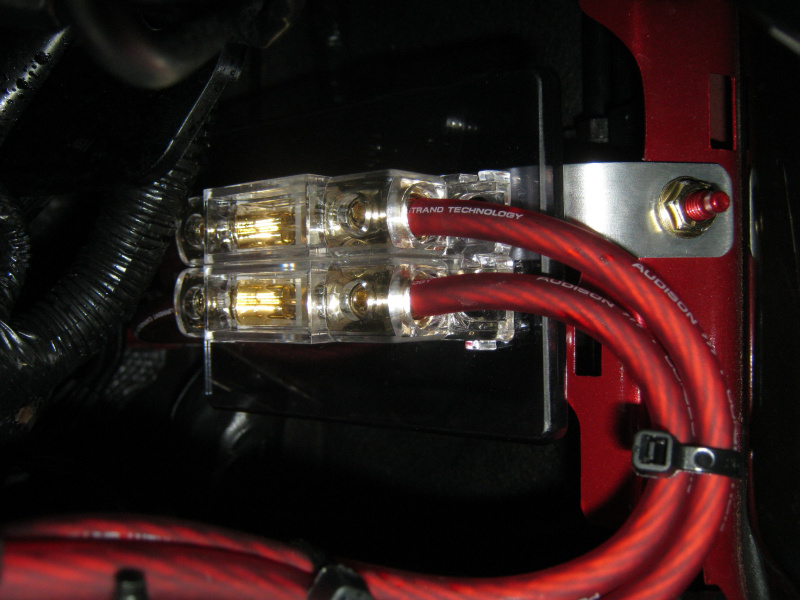 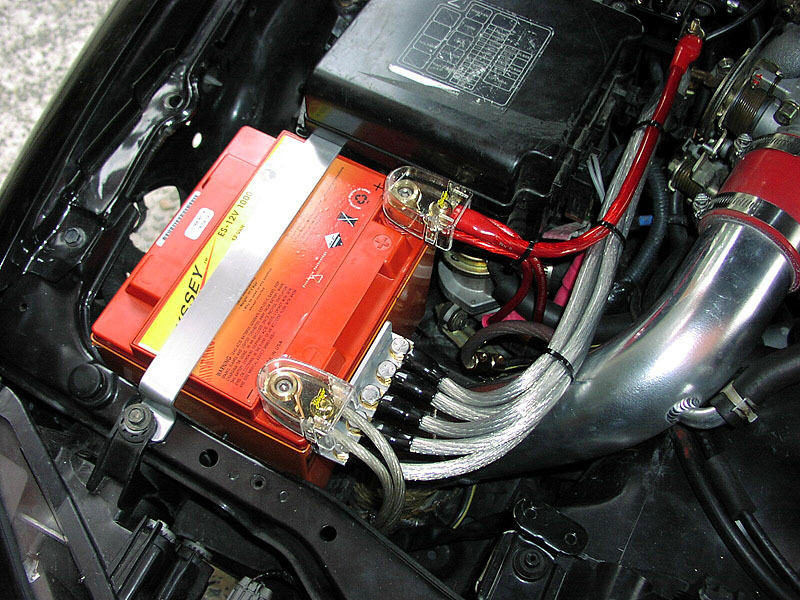 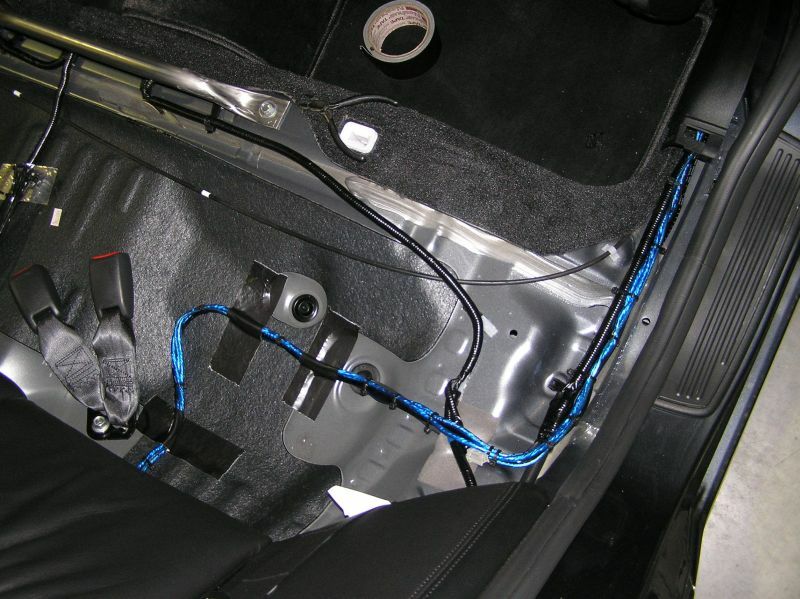 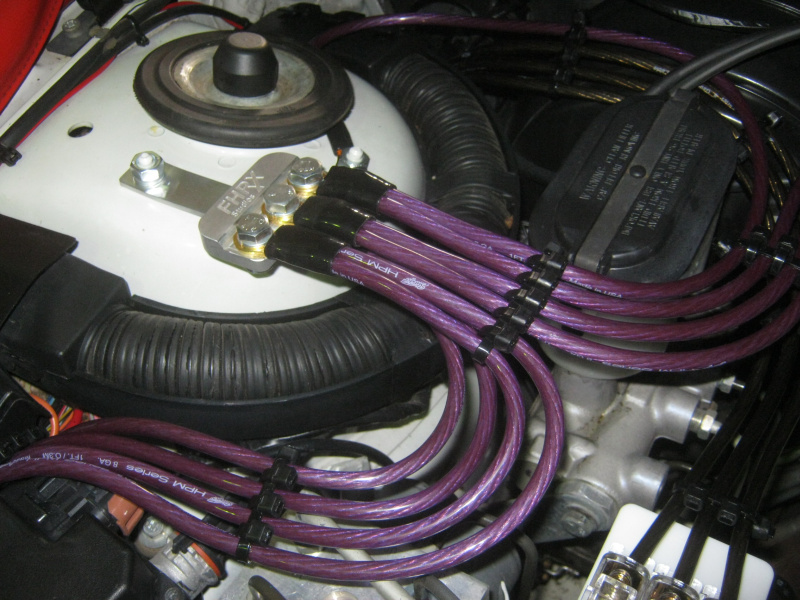 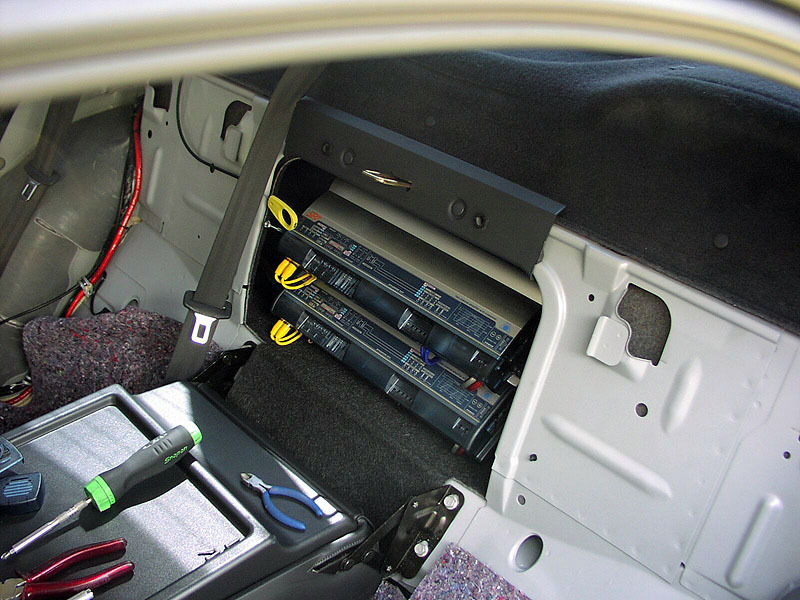 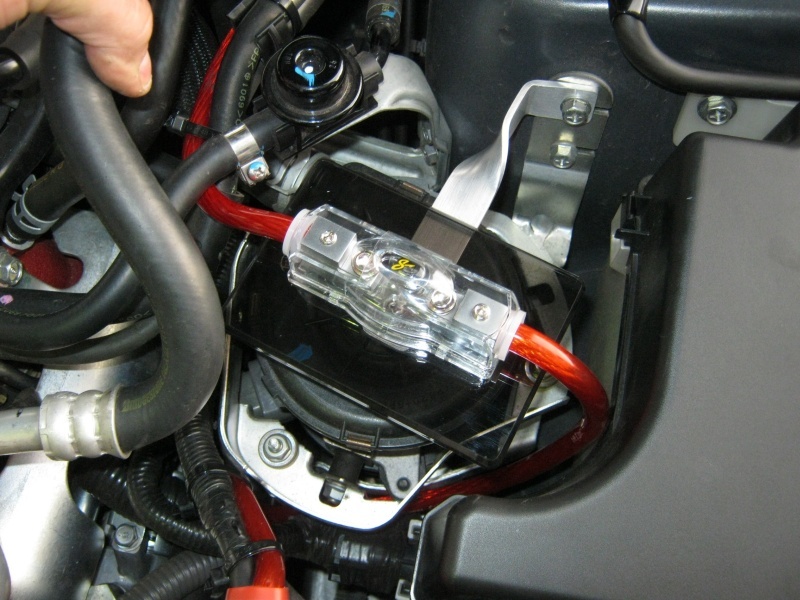 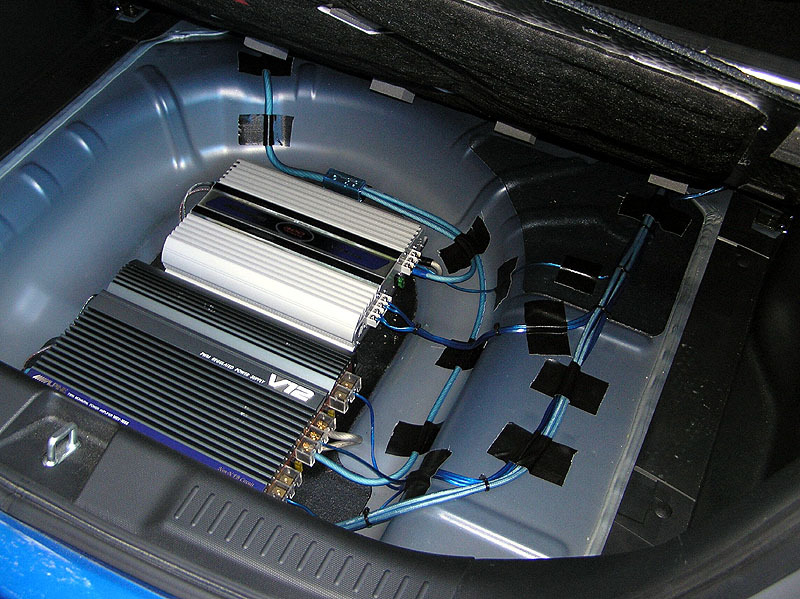 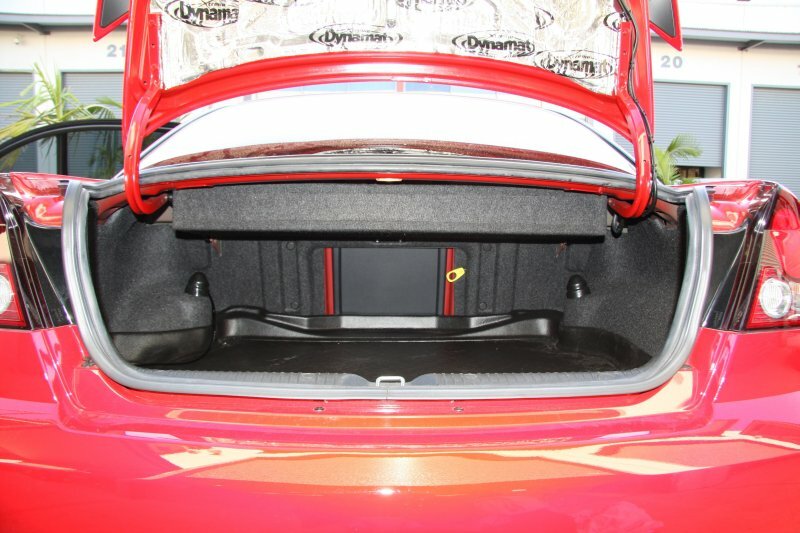 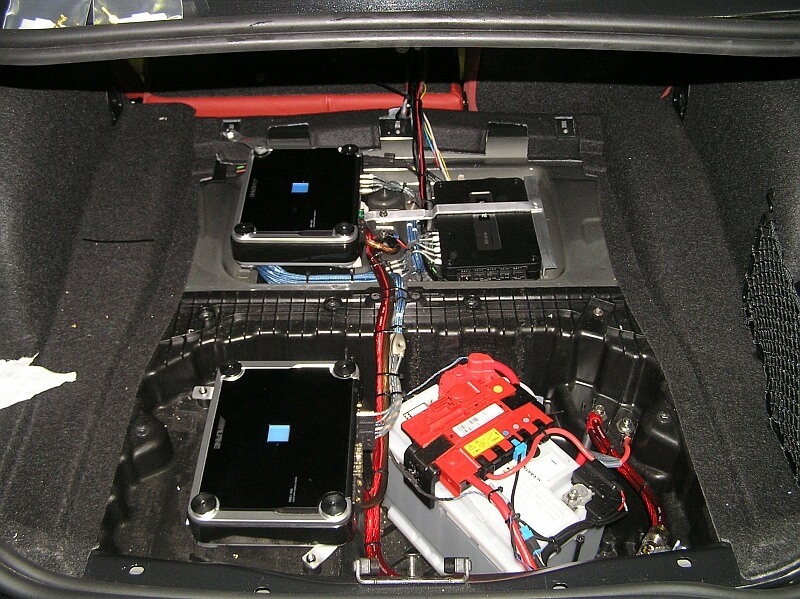 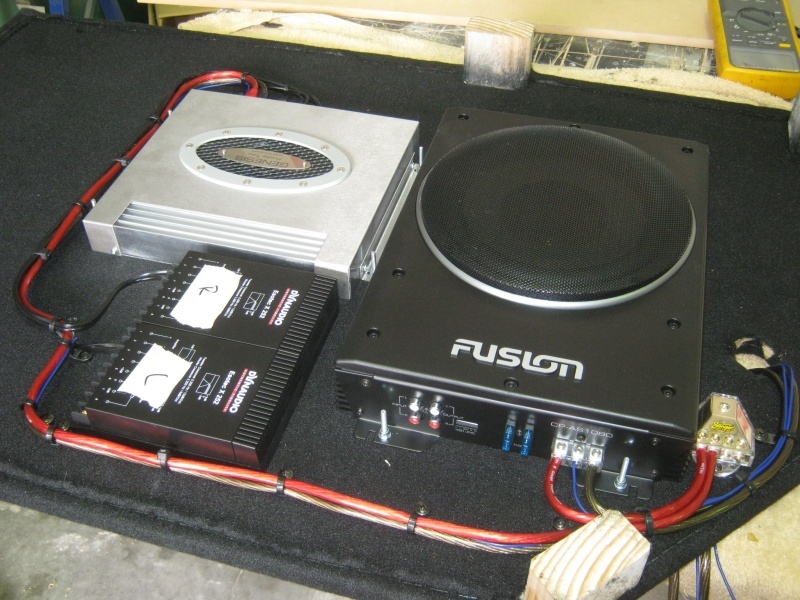 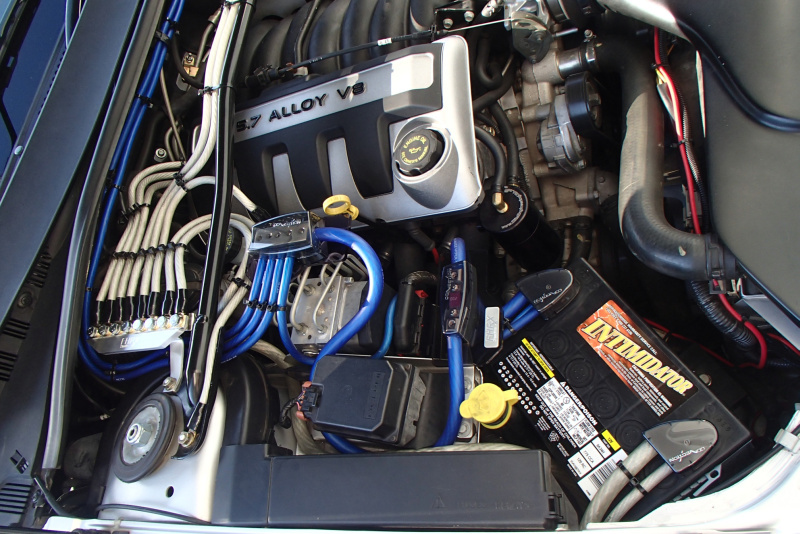 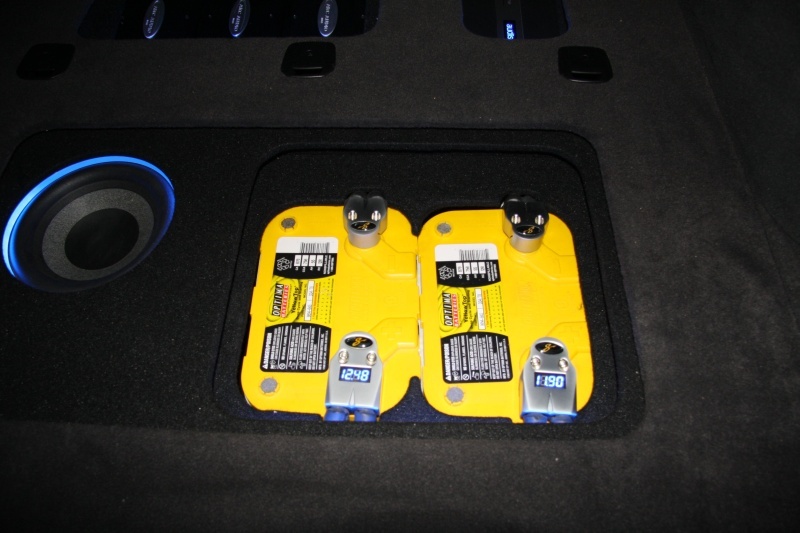 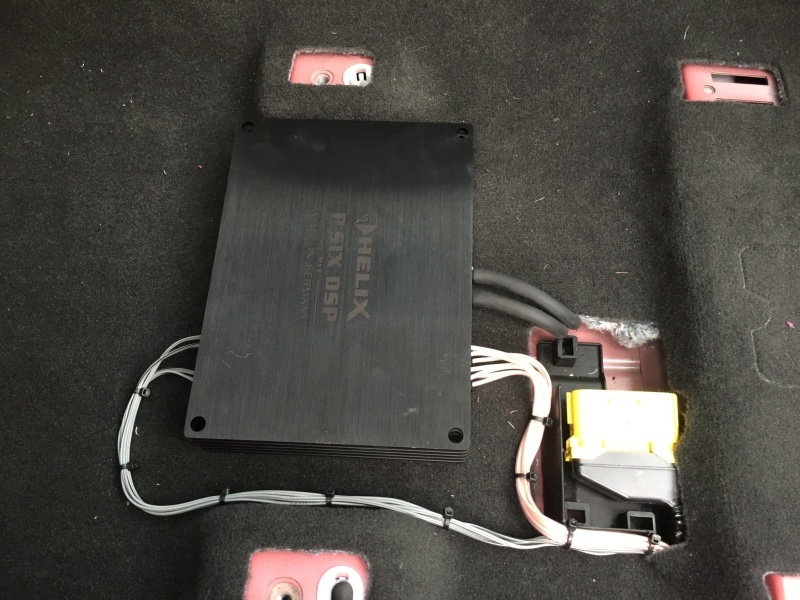 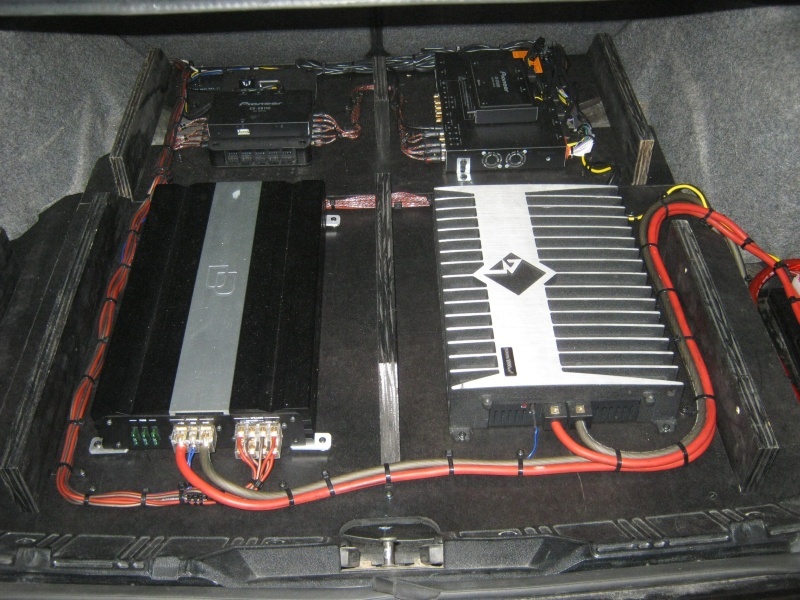 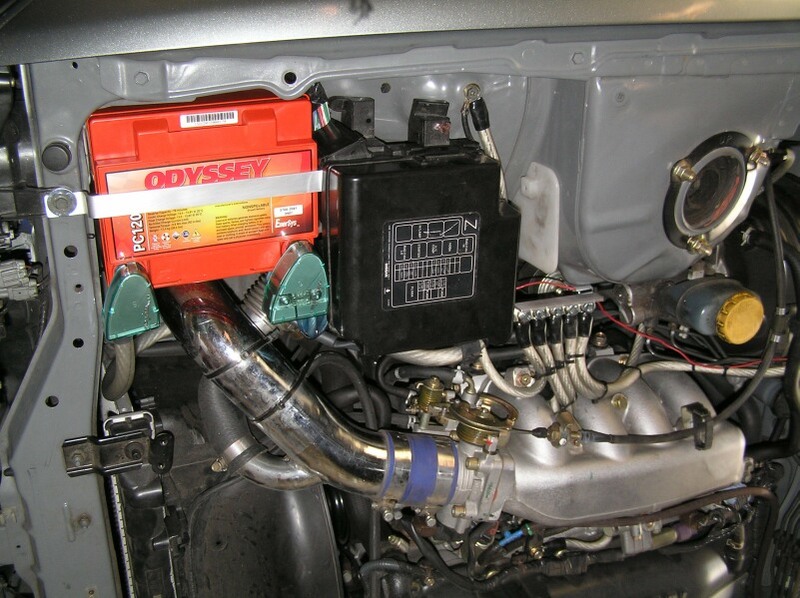 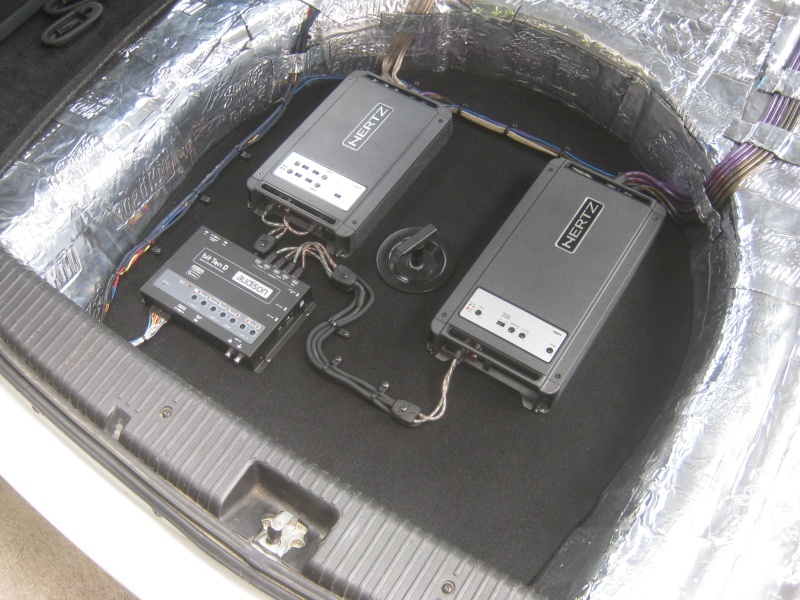 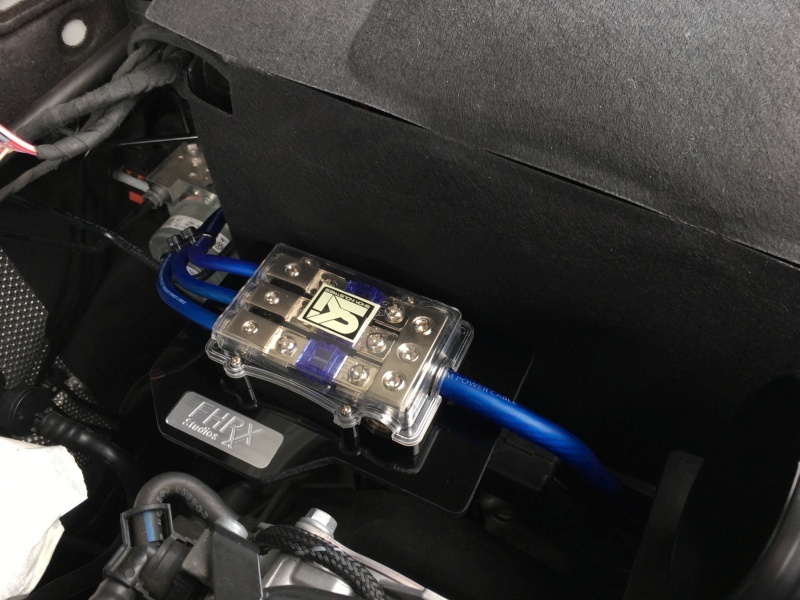 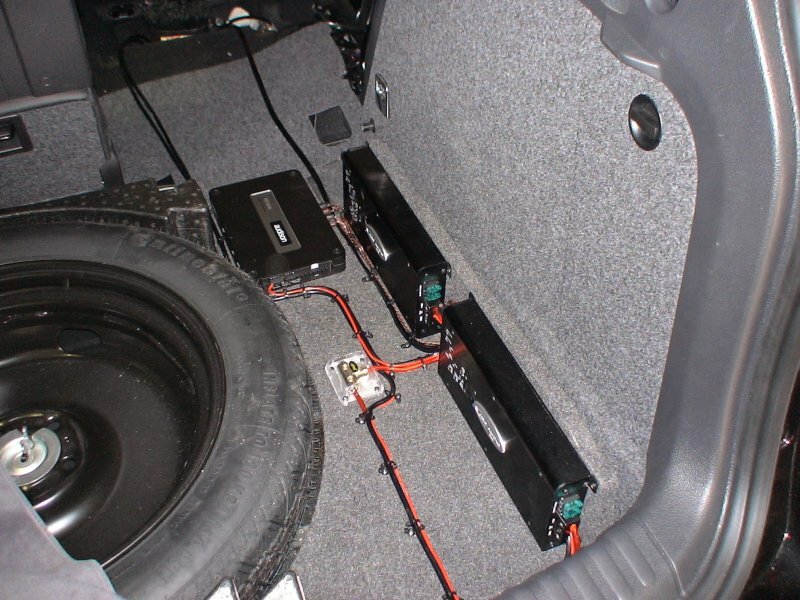 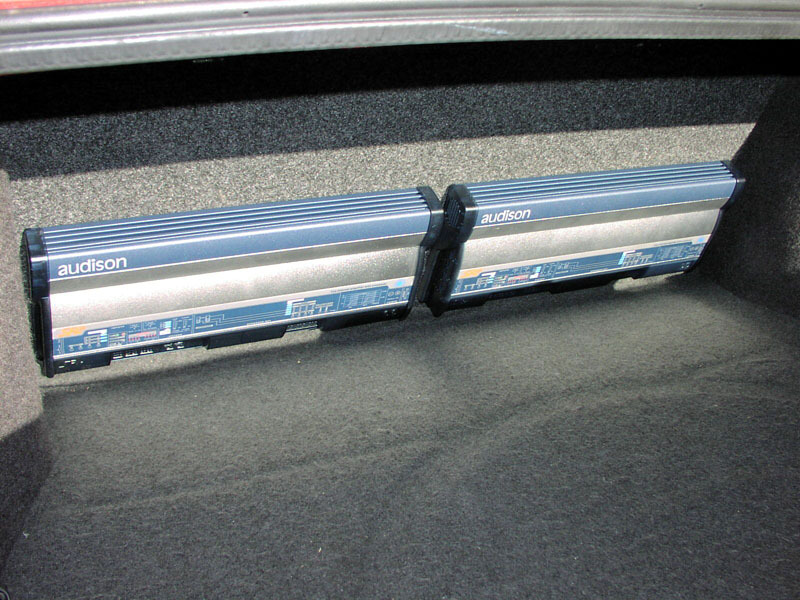 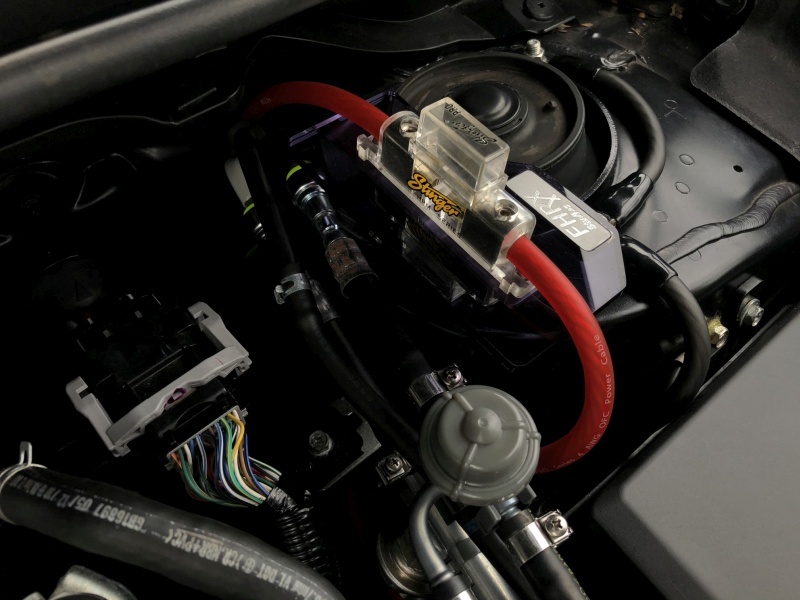 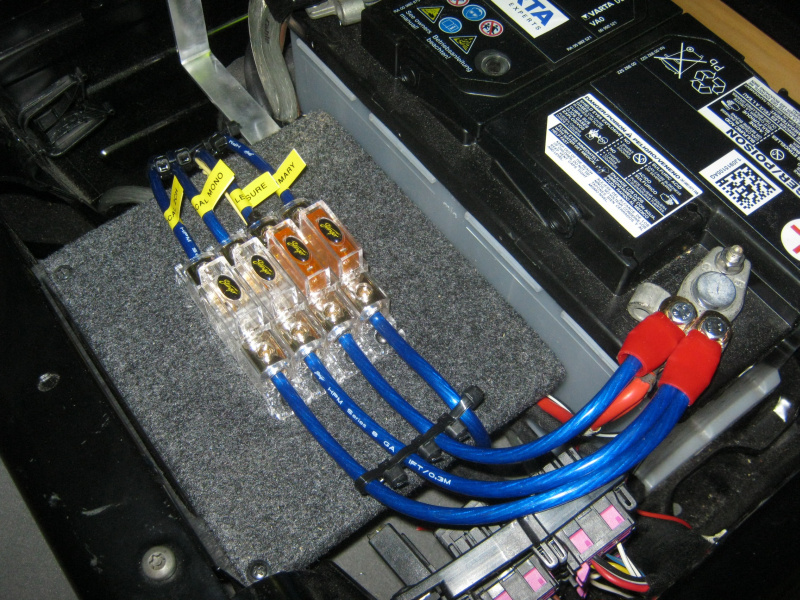 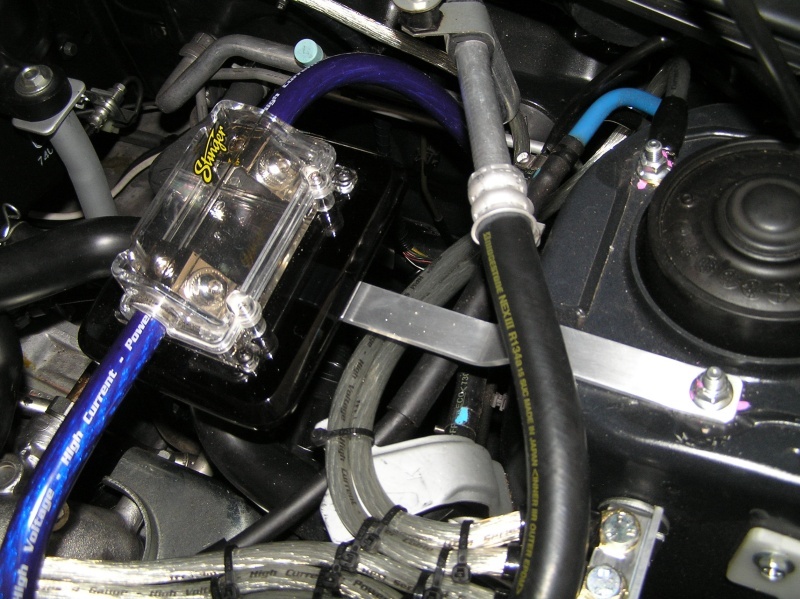 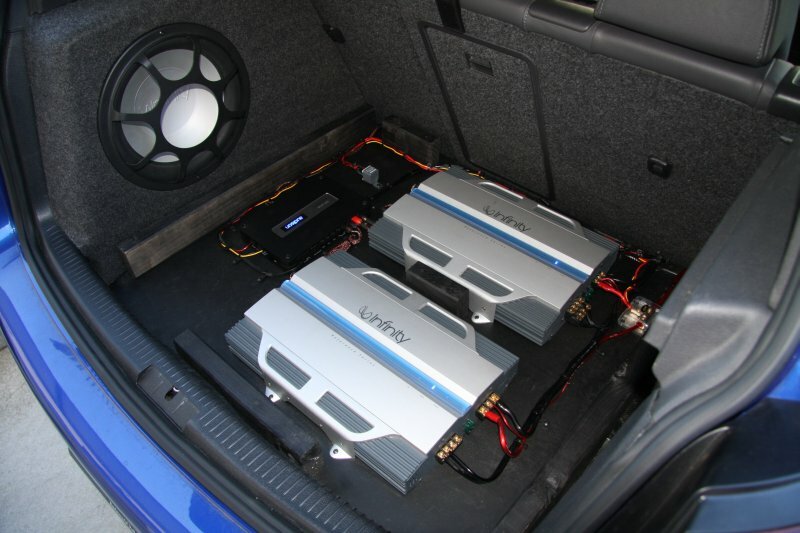 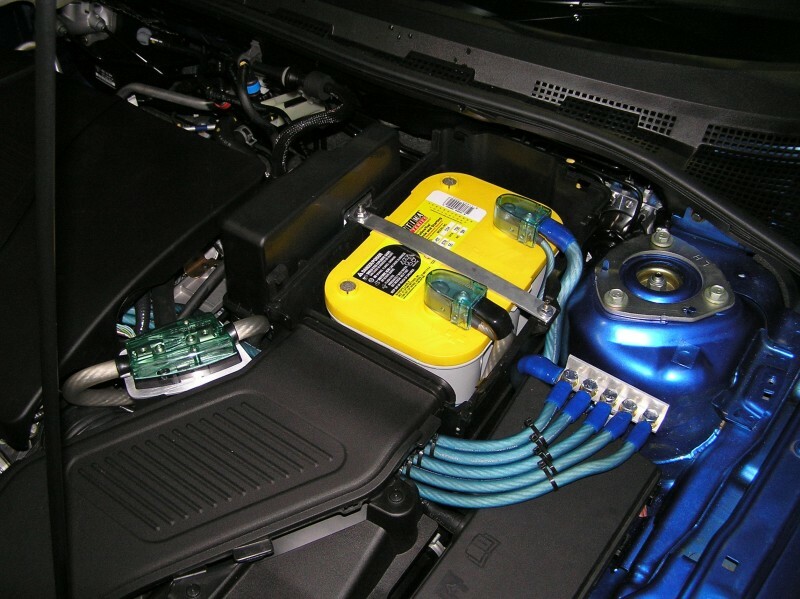 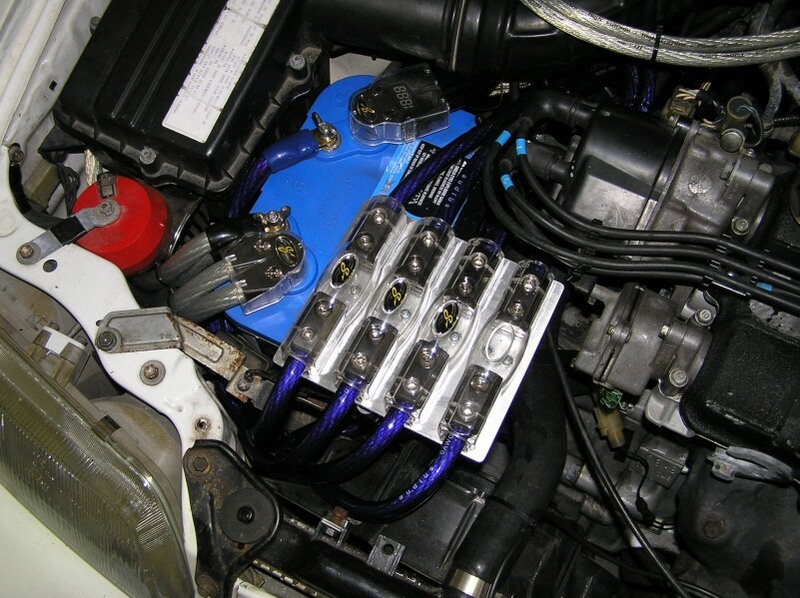 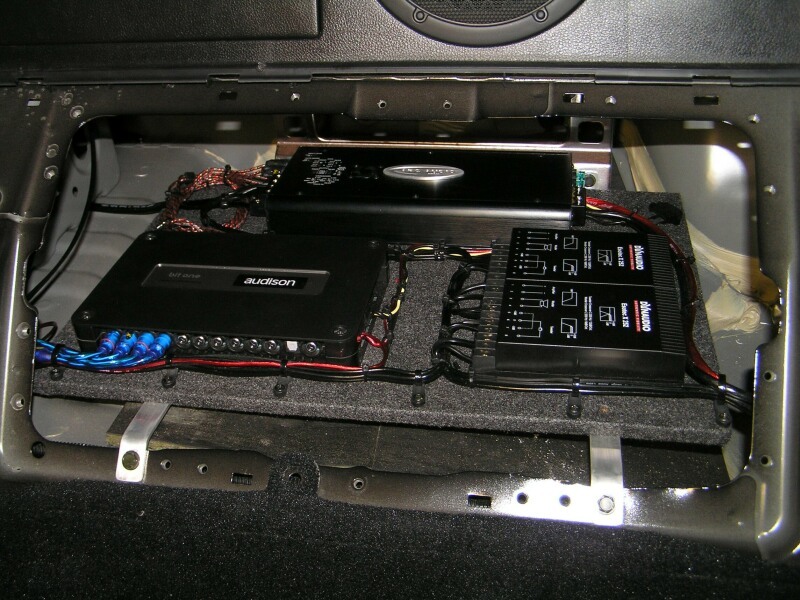 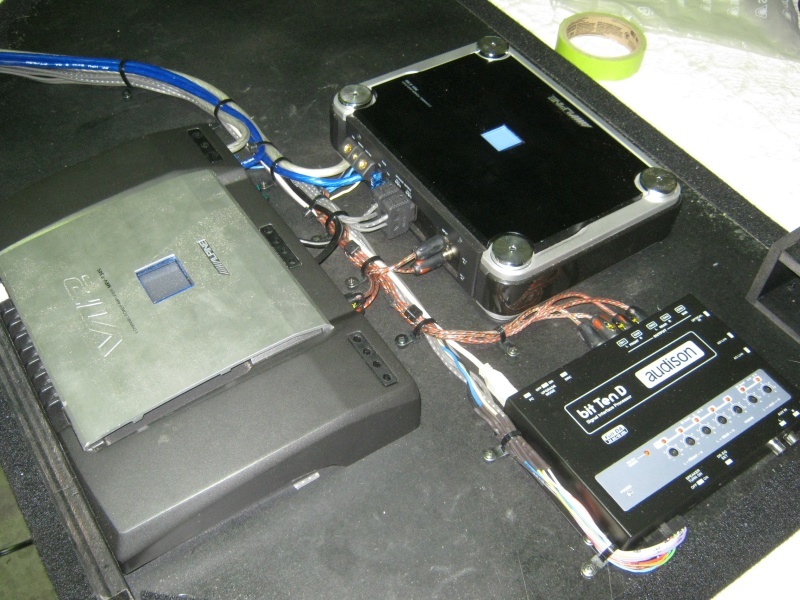 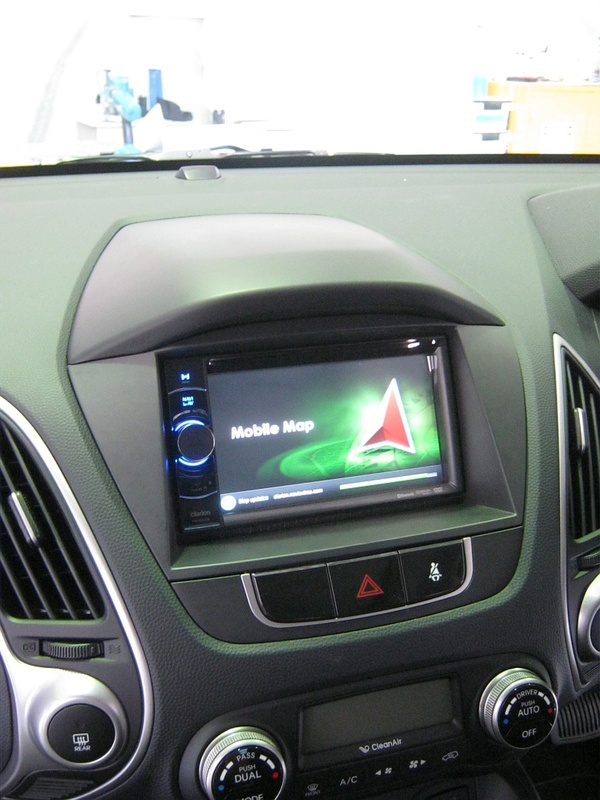 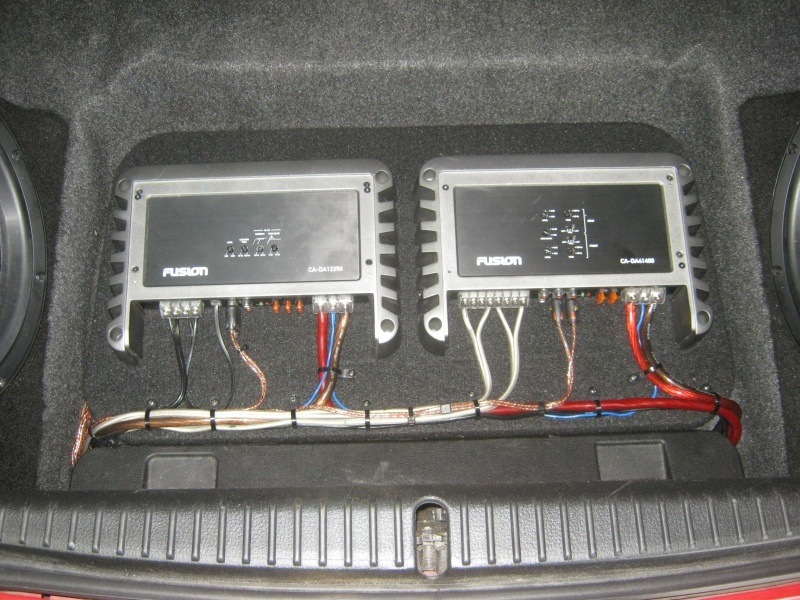 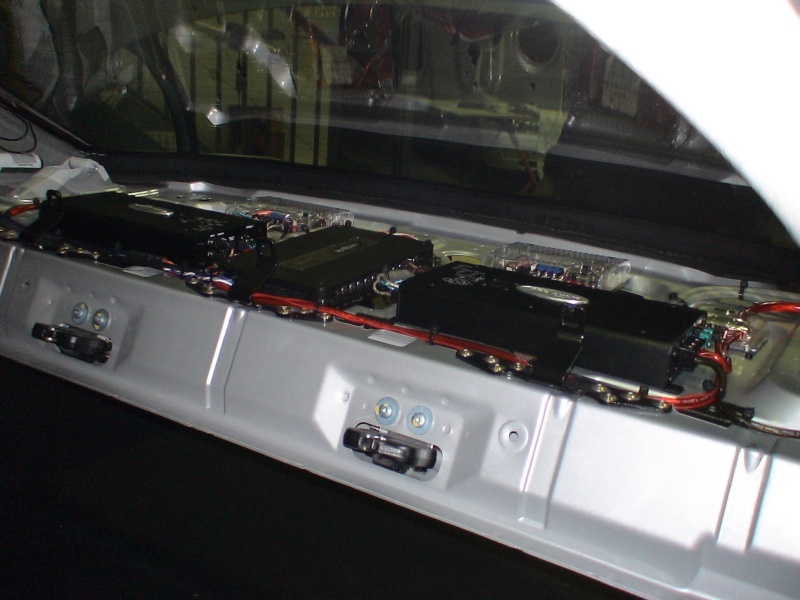 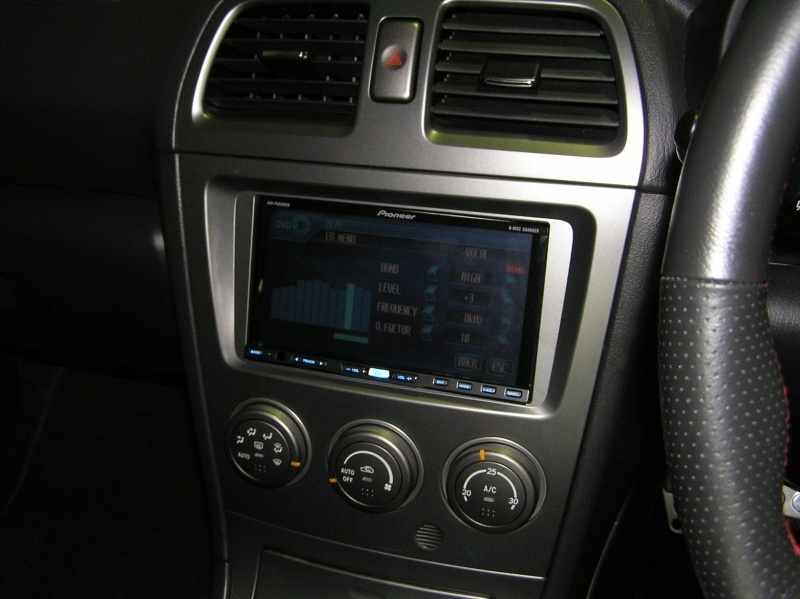 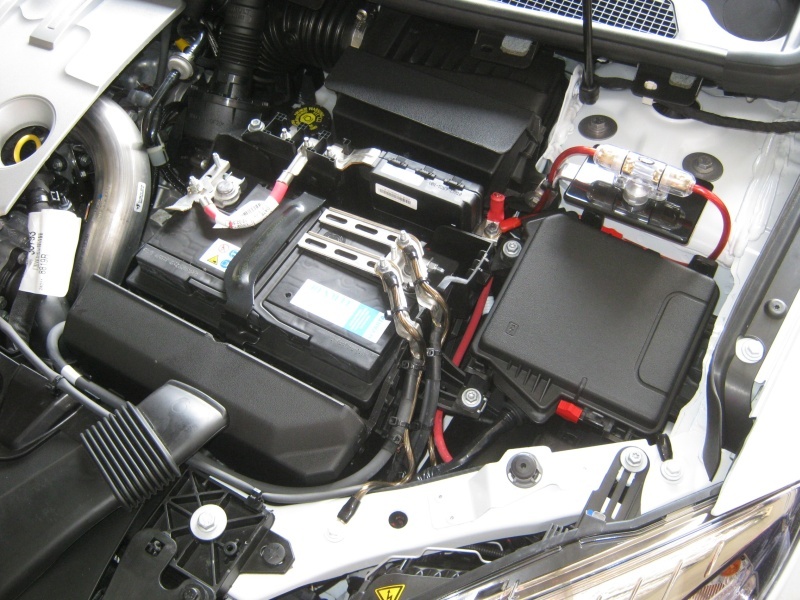 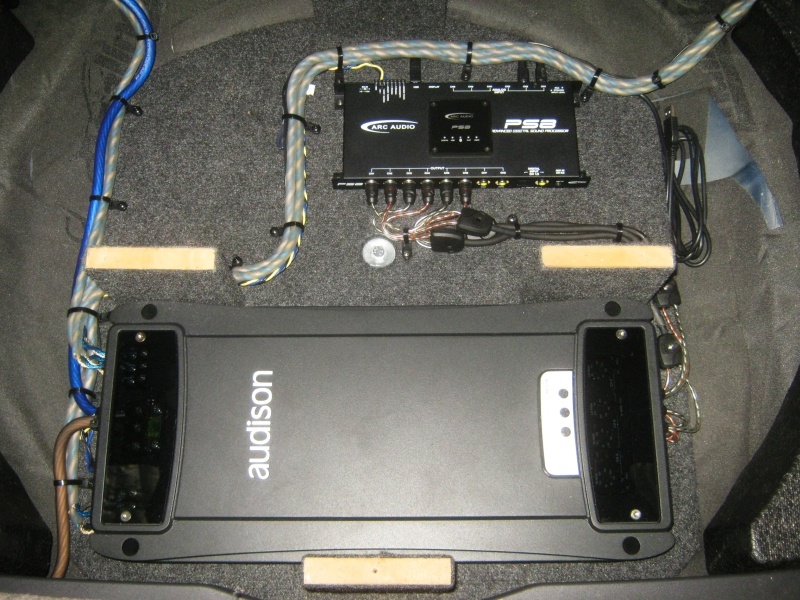 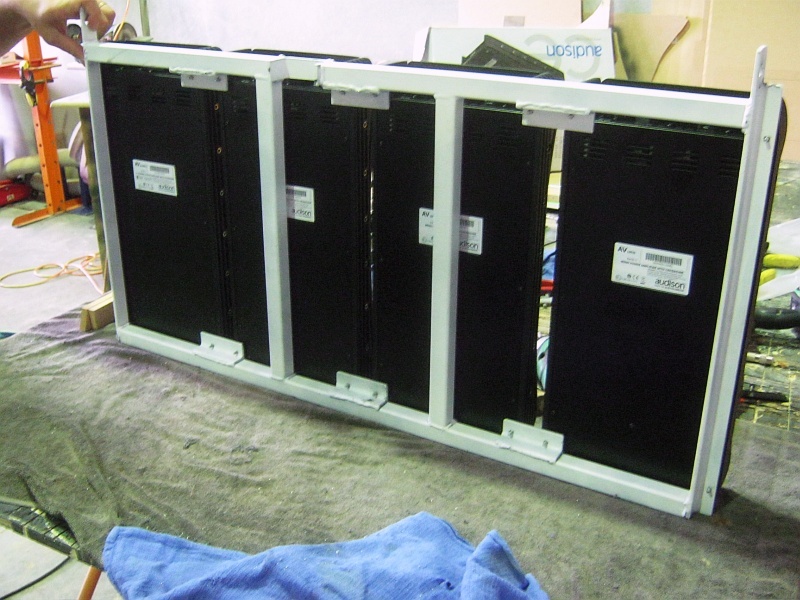 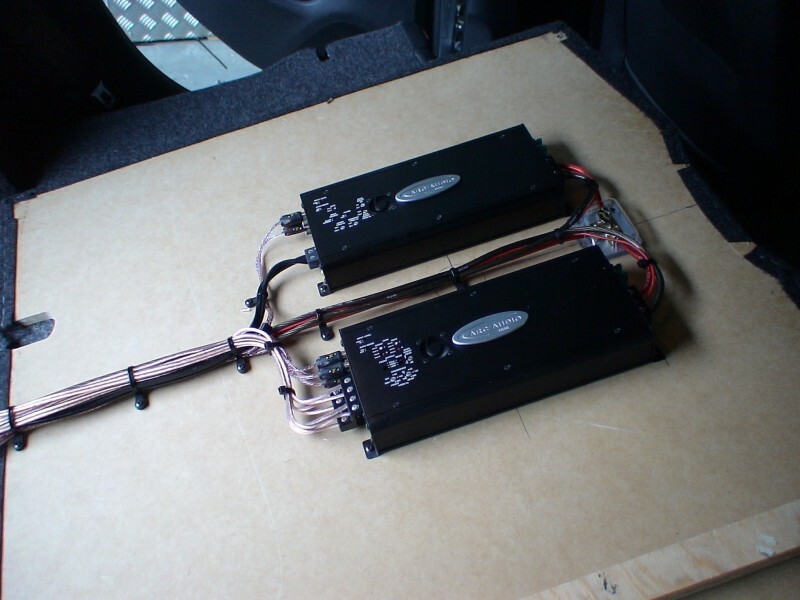 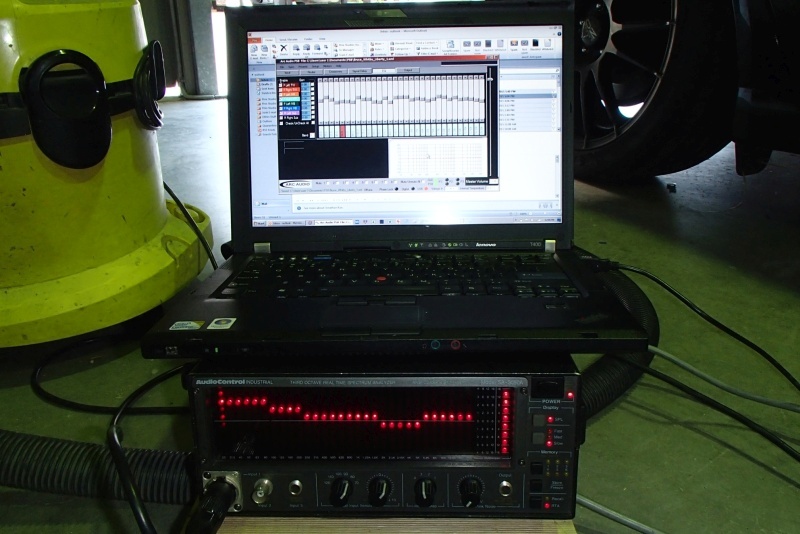 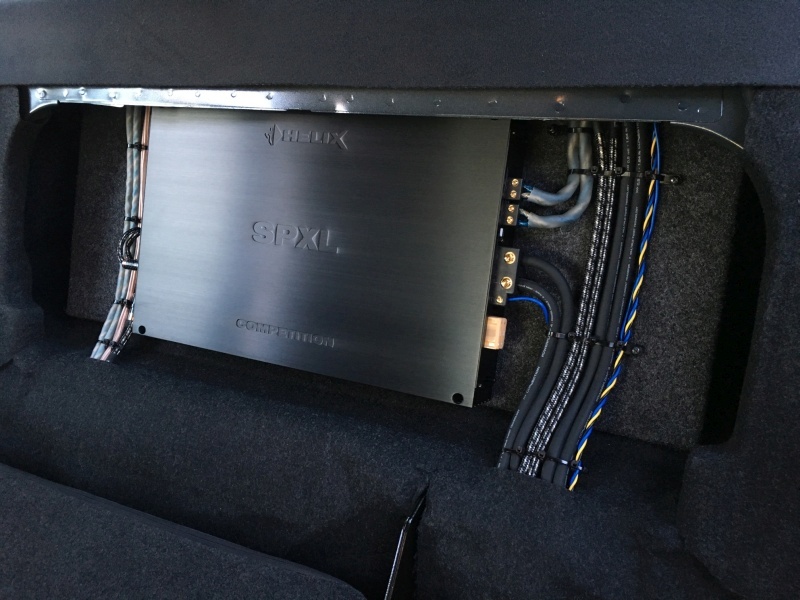 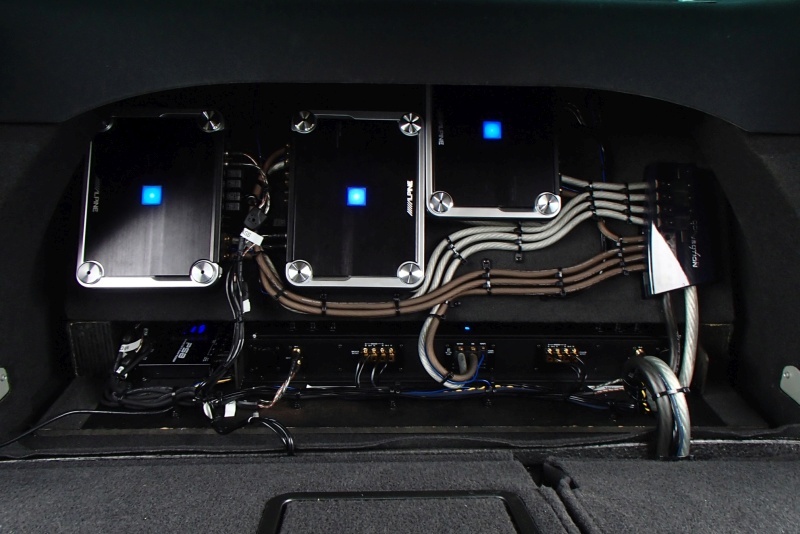 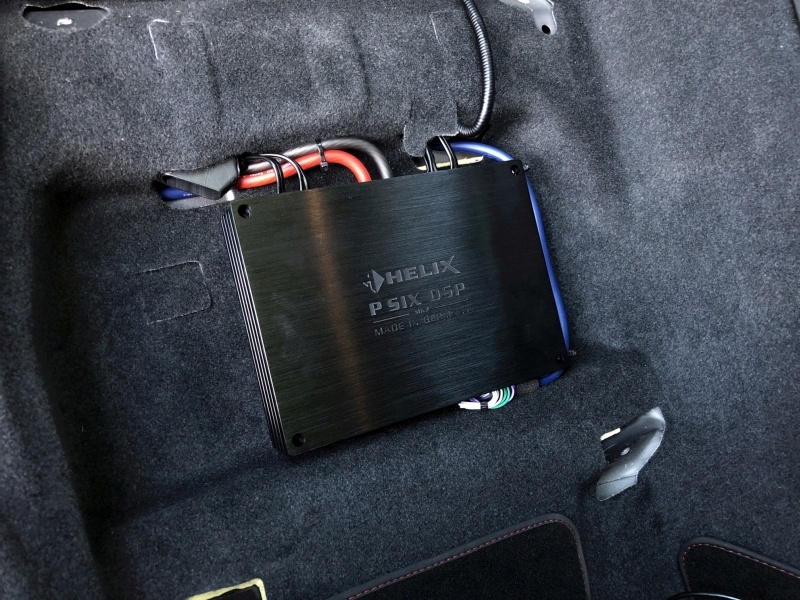 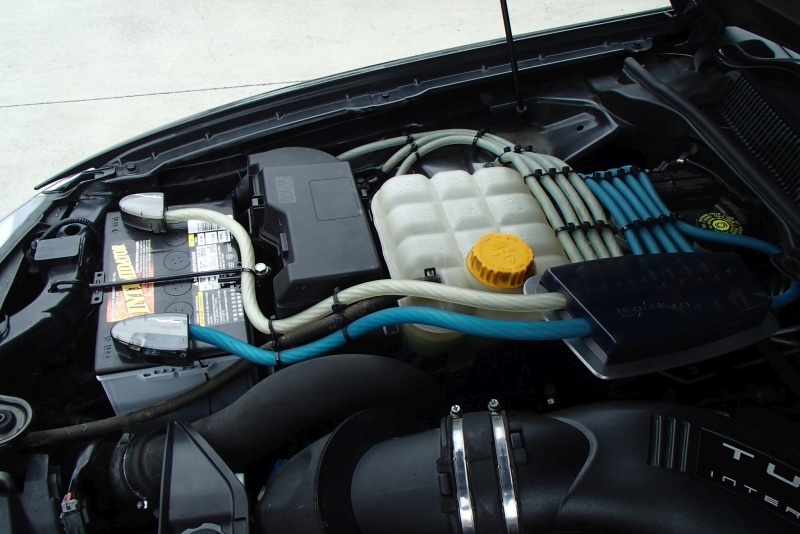 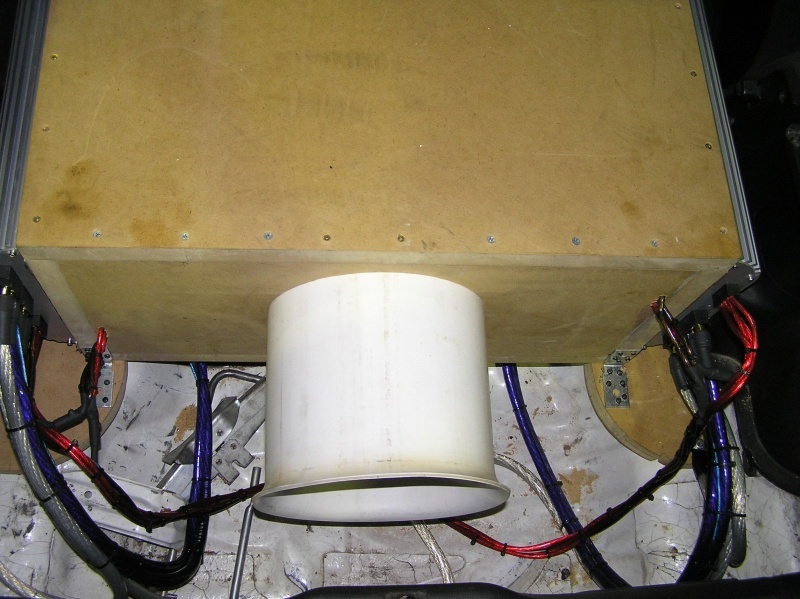 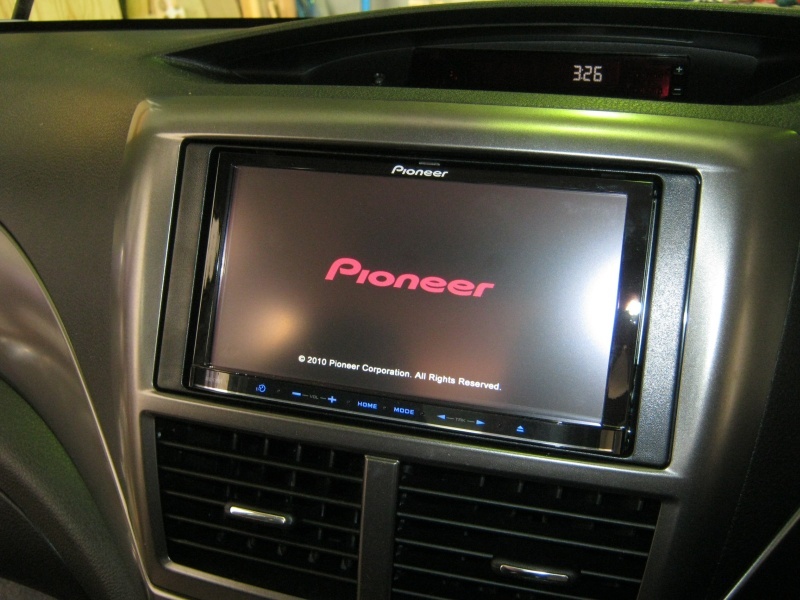 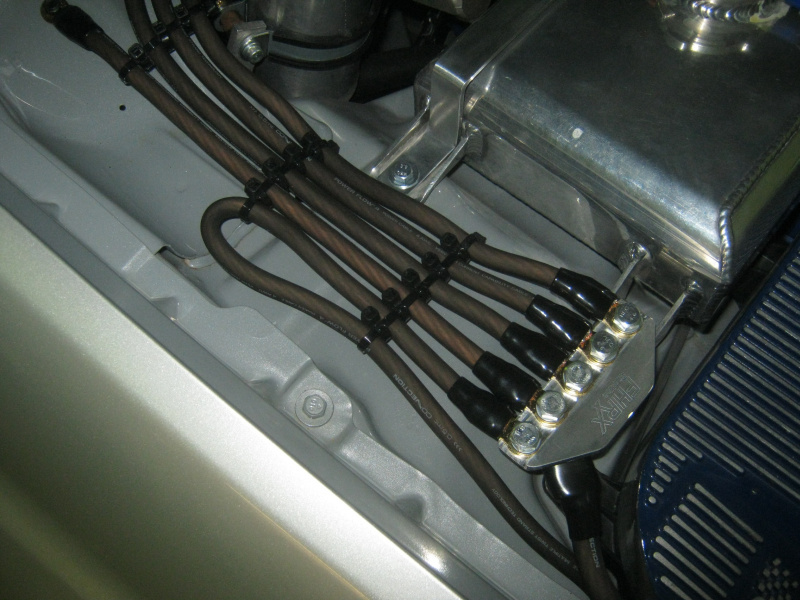 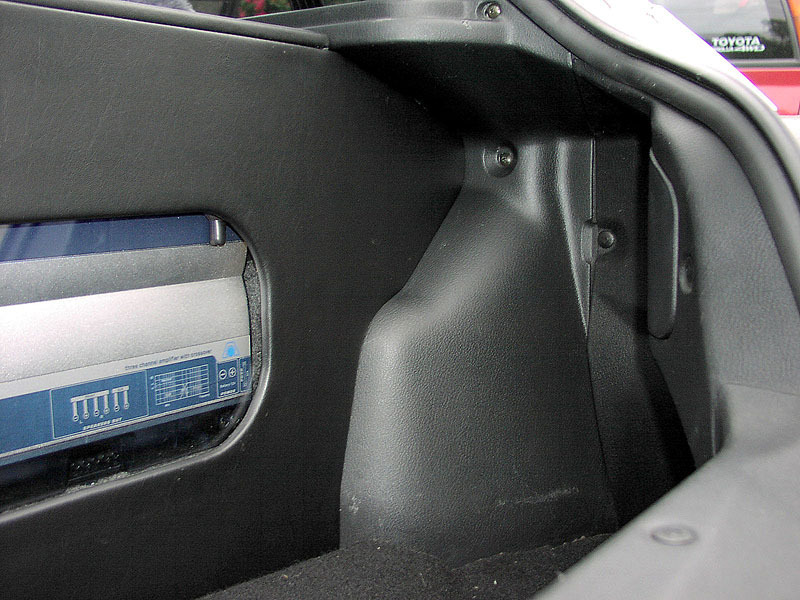 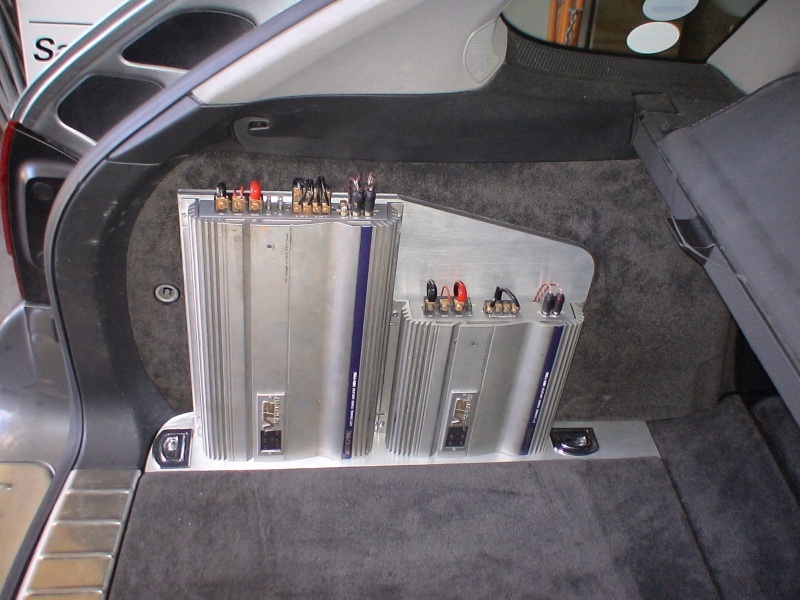 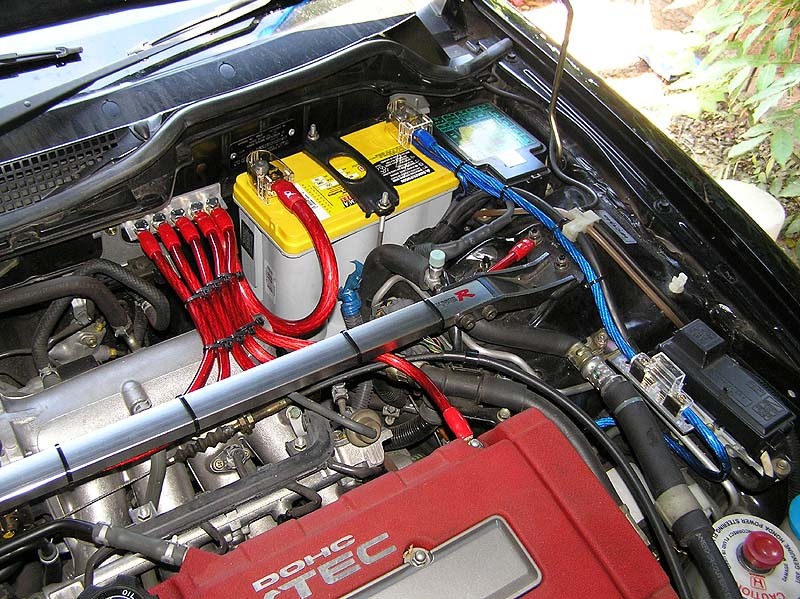 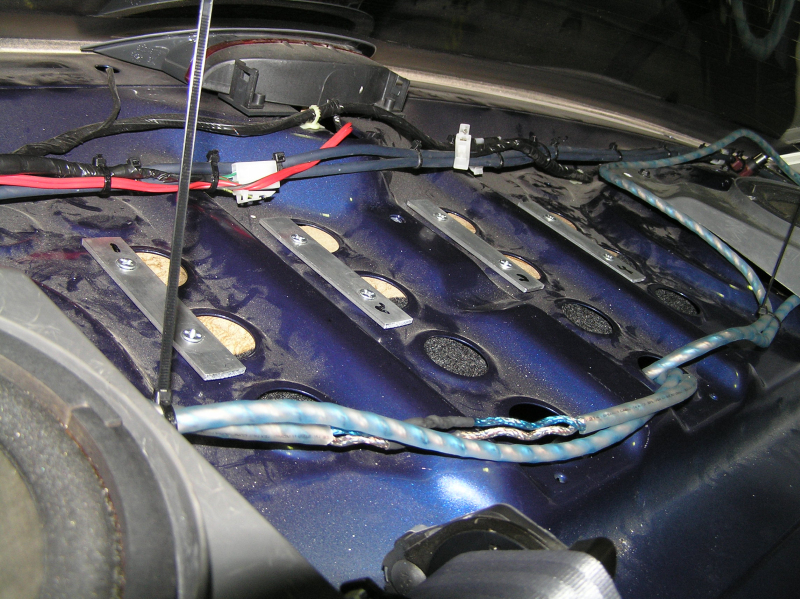 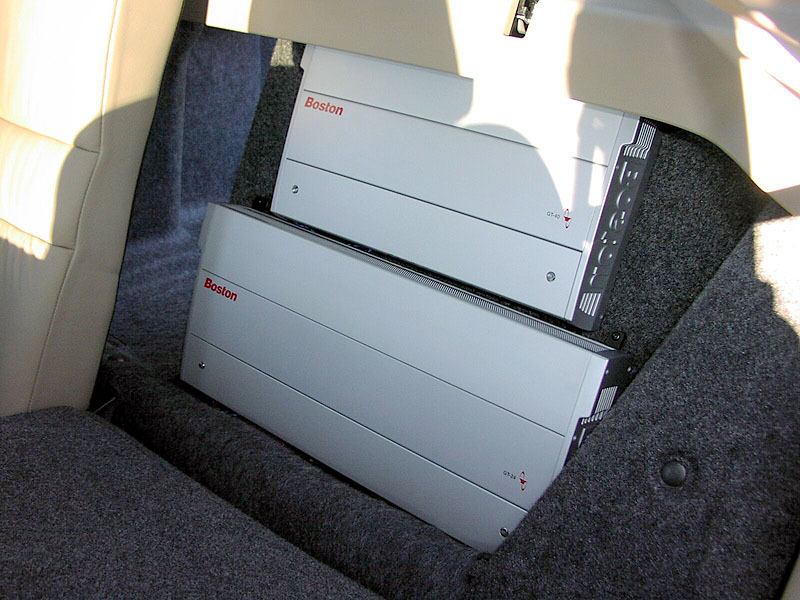 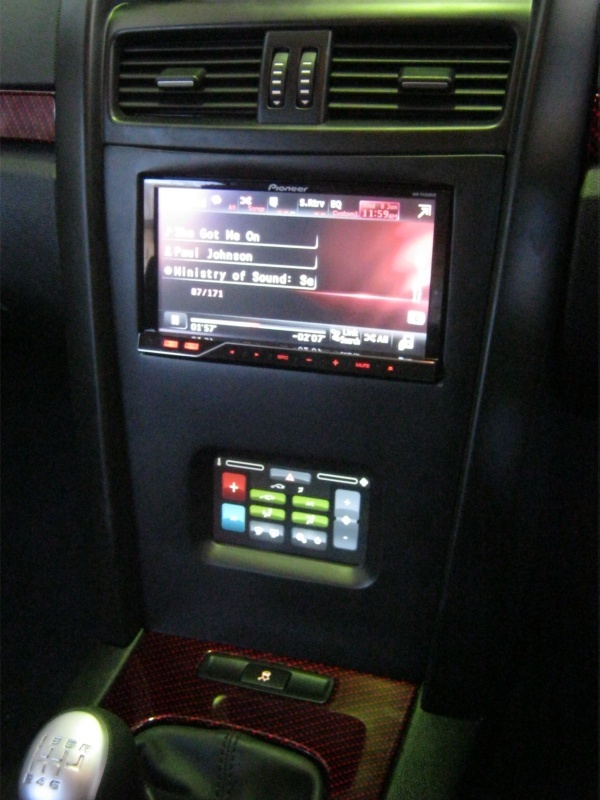 Our dual battery systems are not only used in cars with large audio / visual systems. 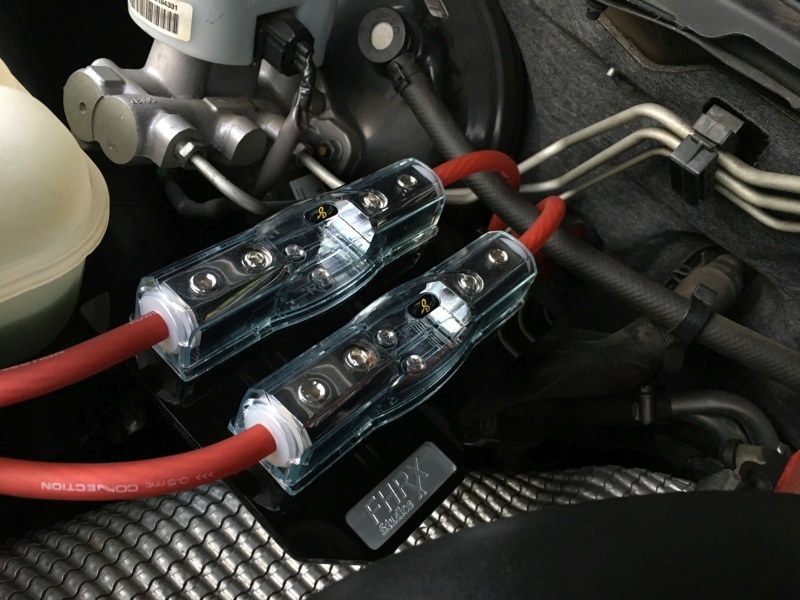 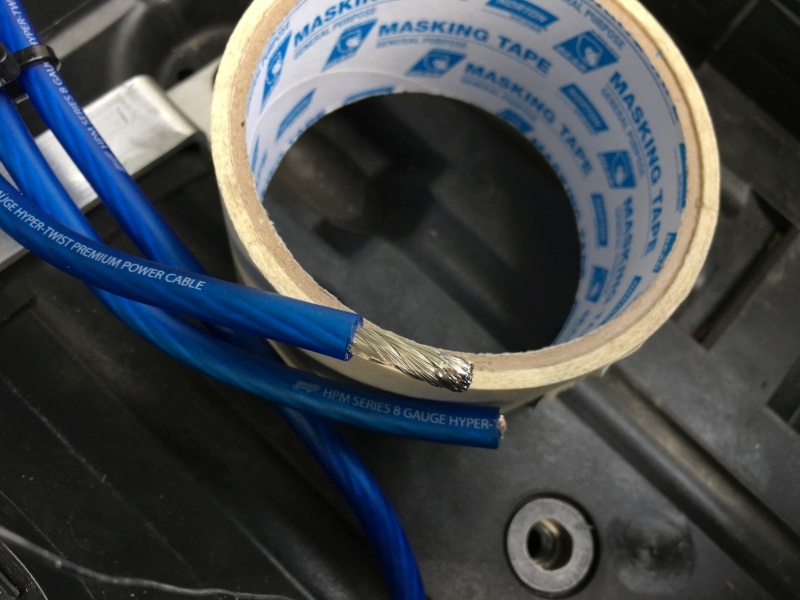 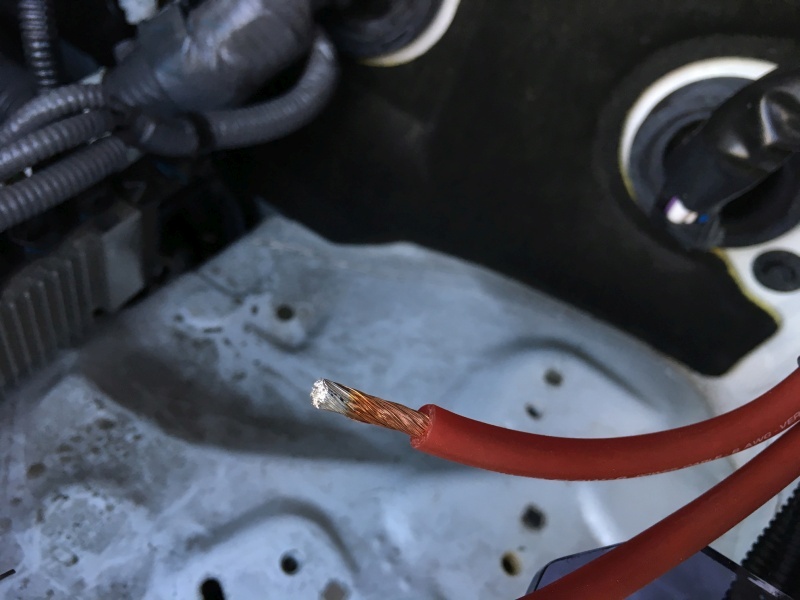 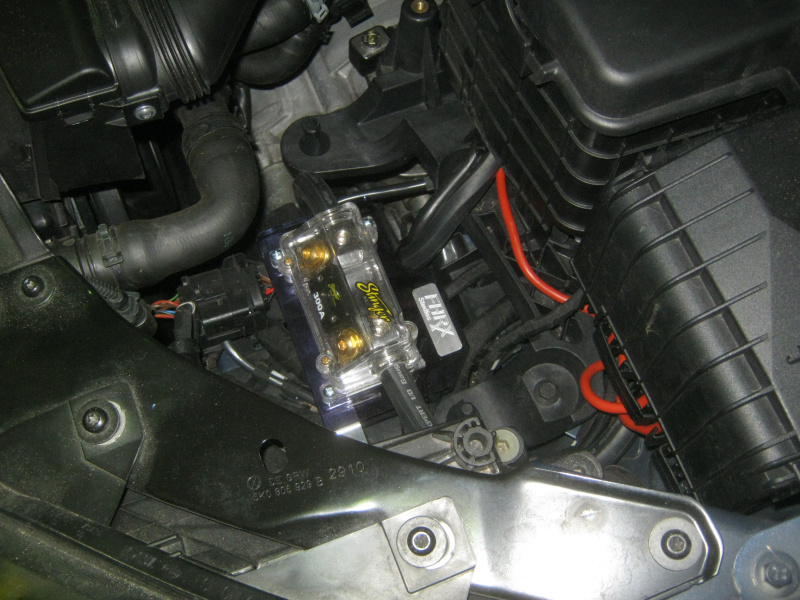 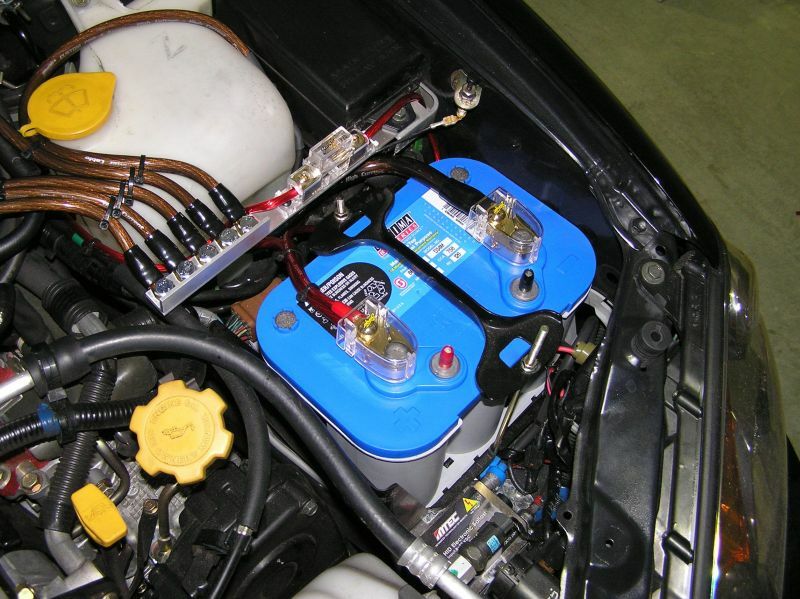 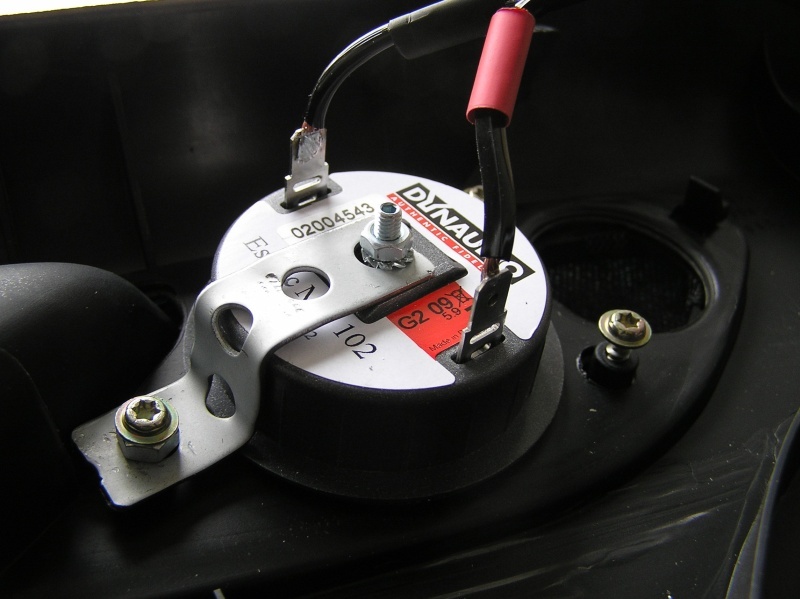 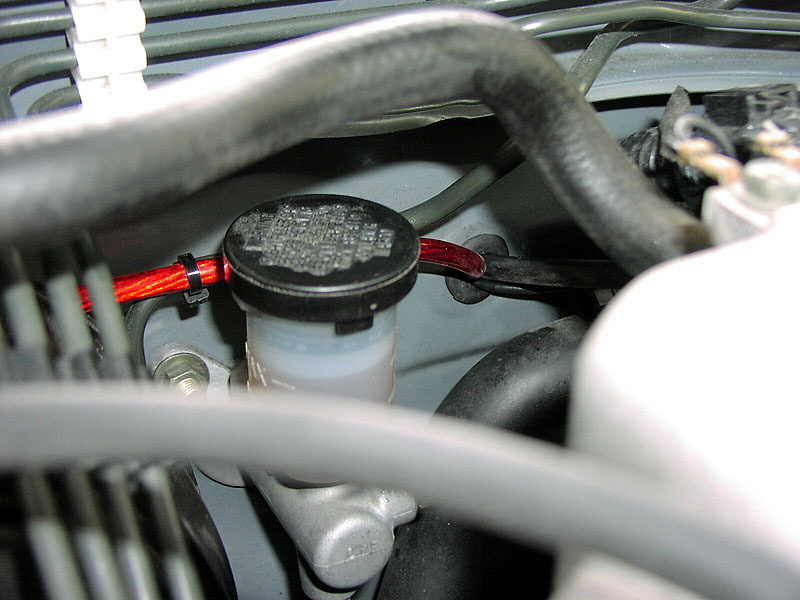 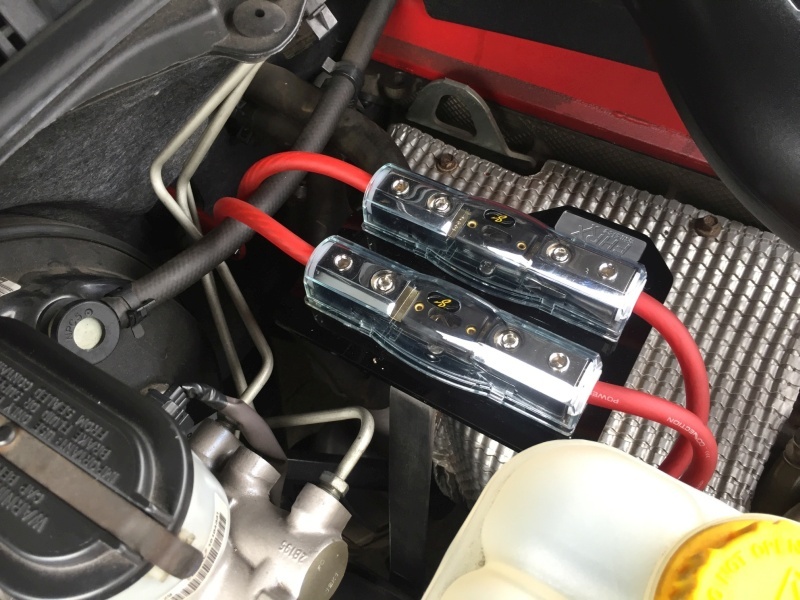 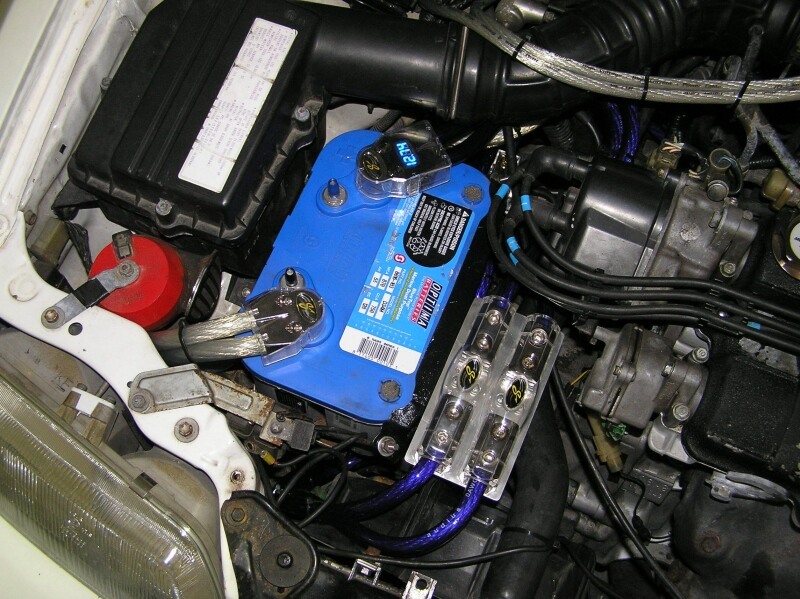 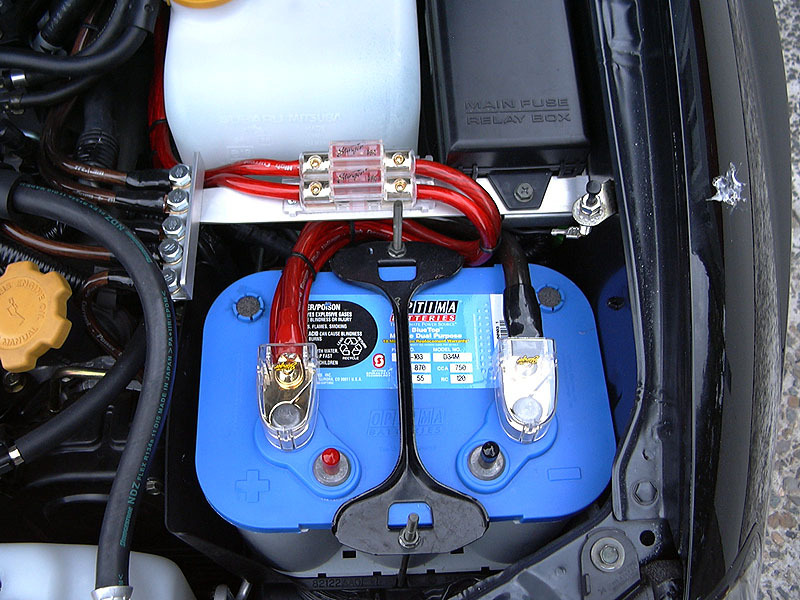 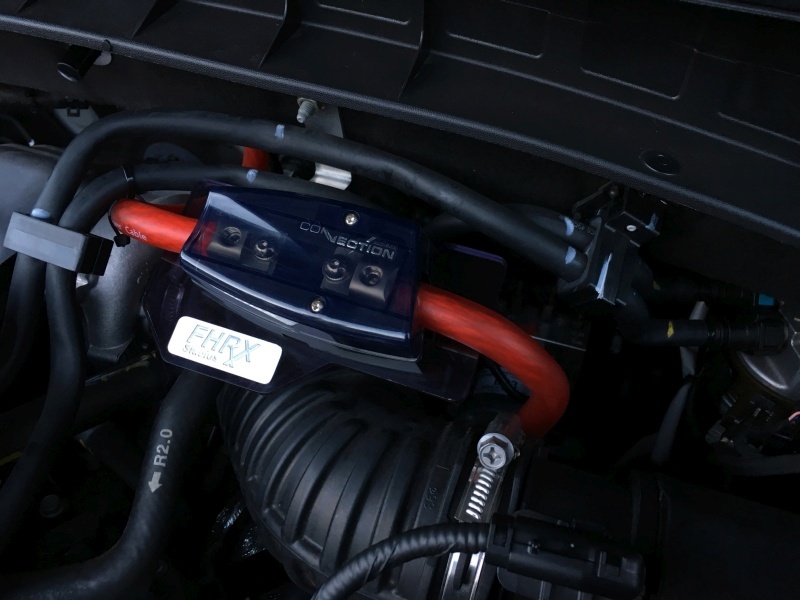 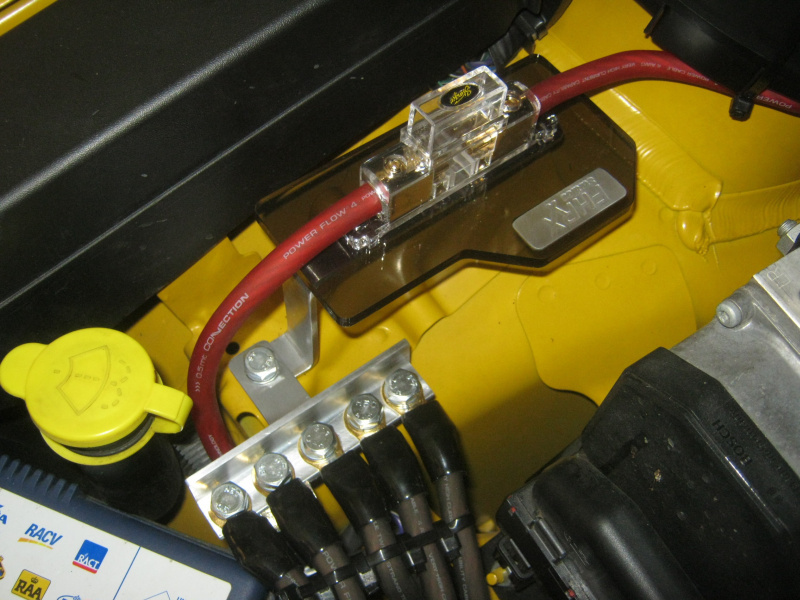 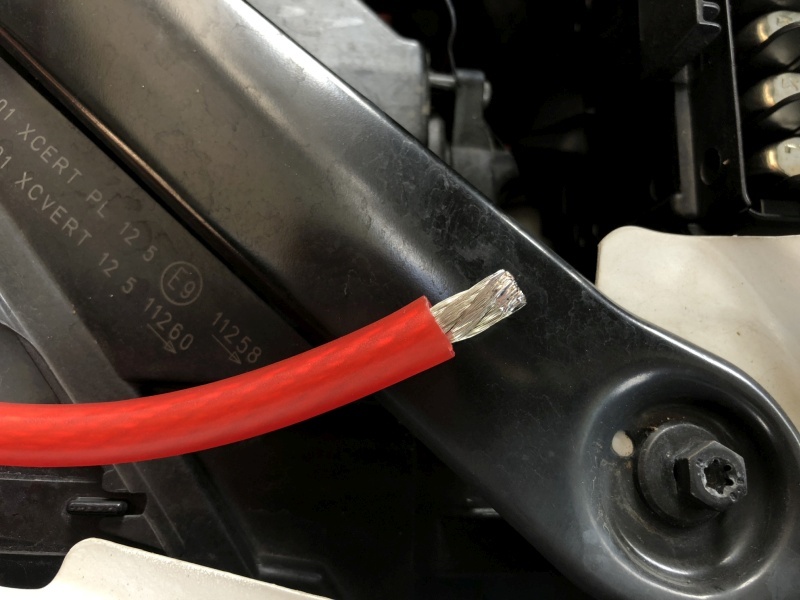 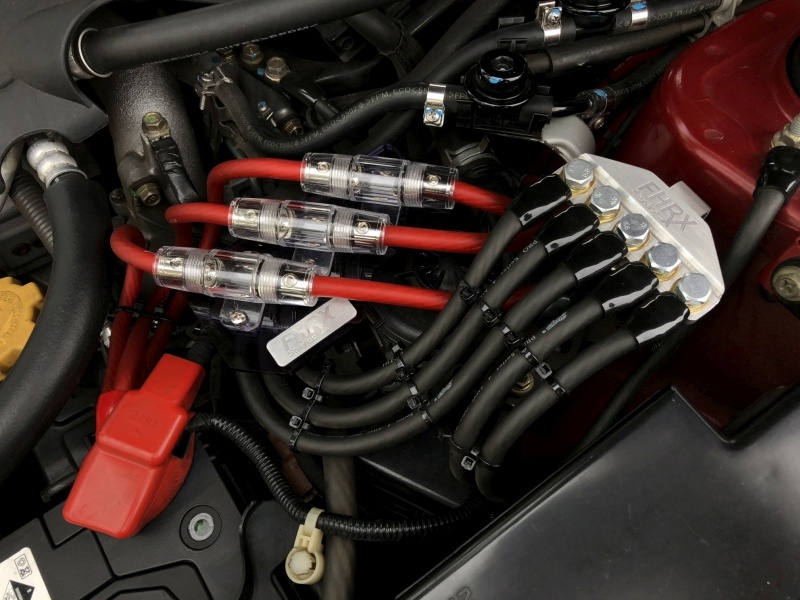 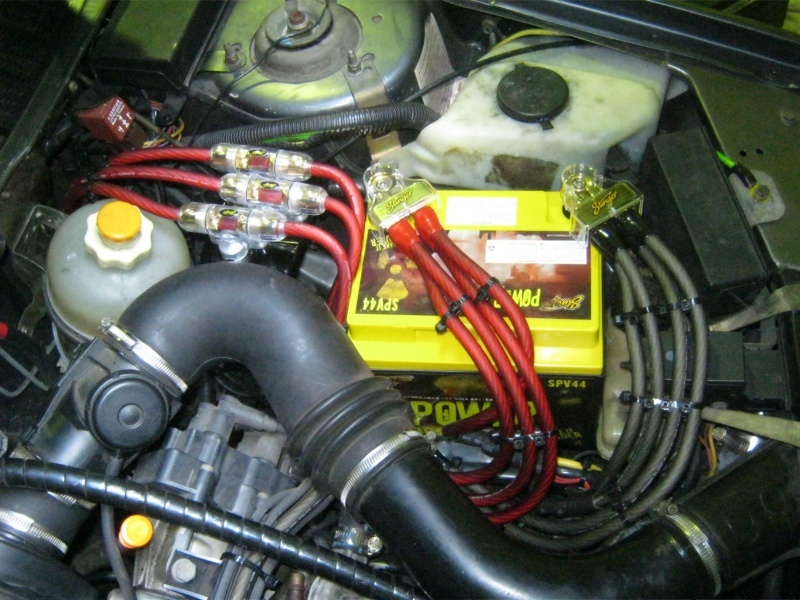 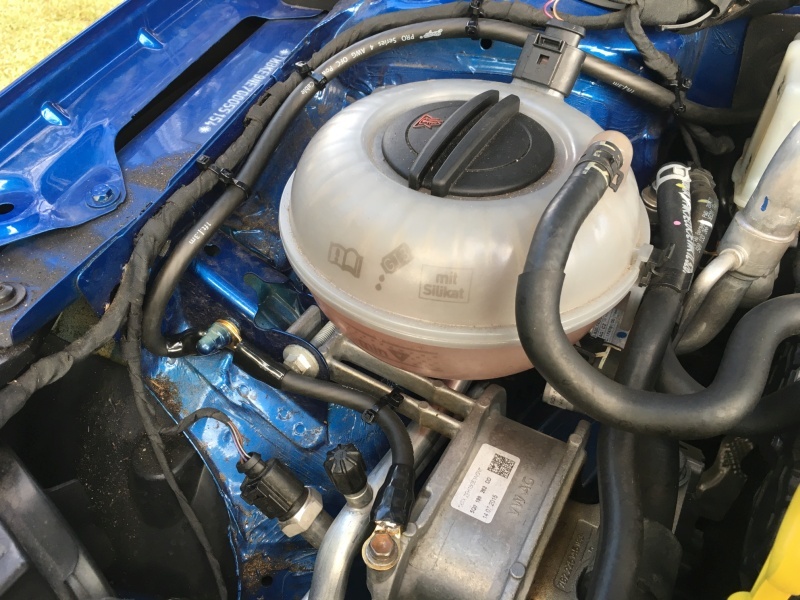 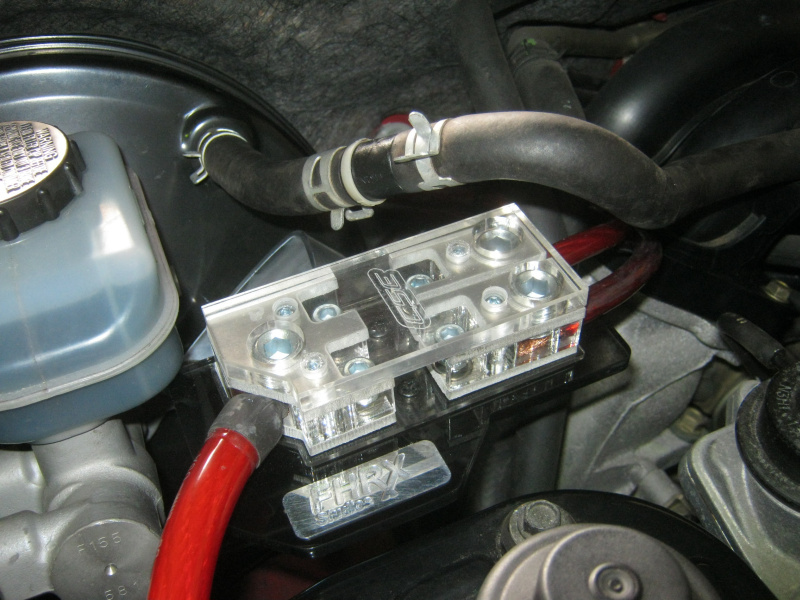 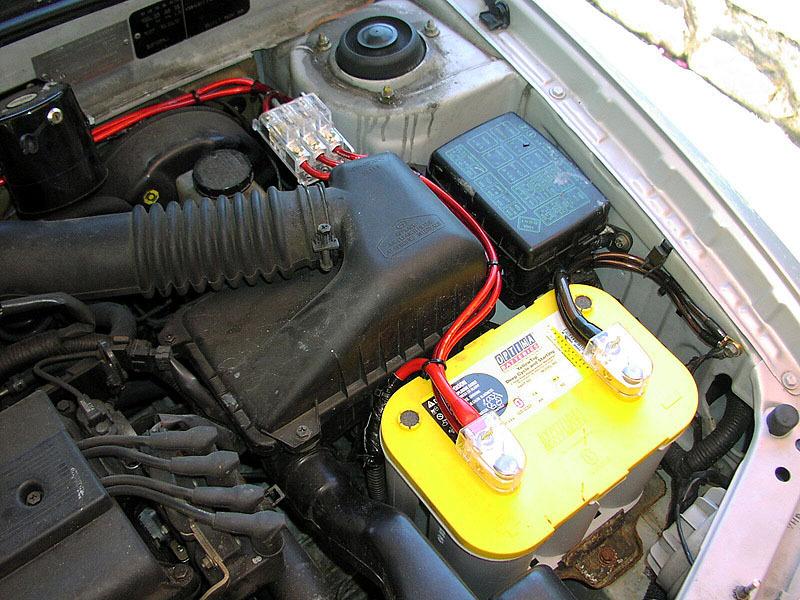 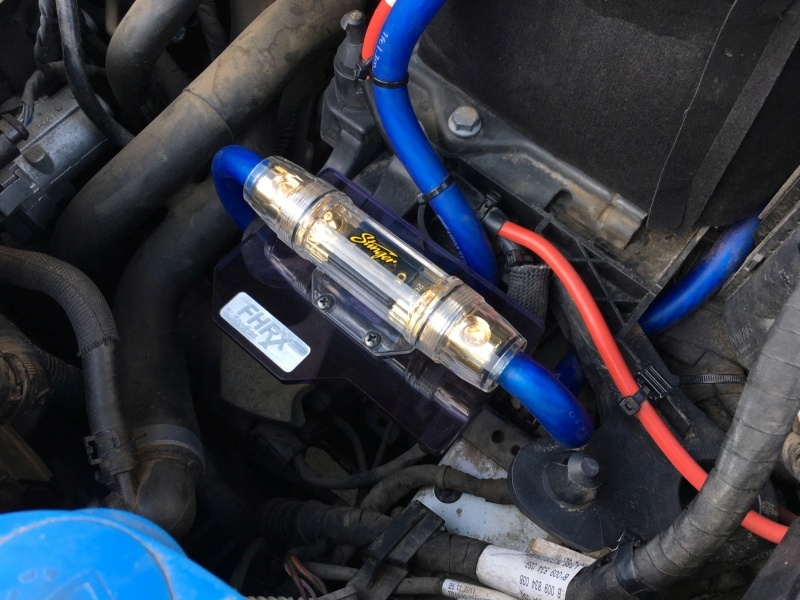 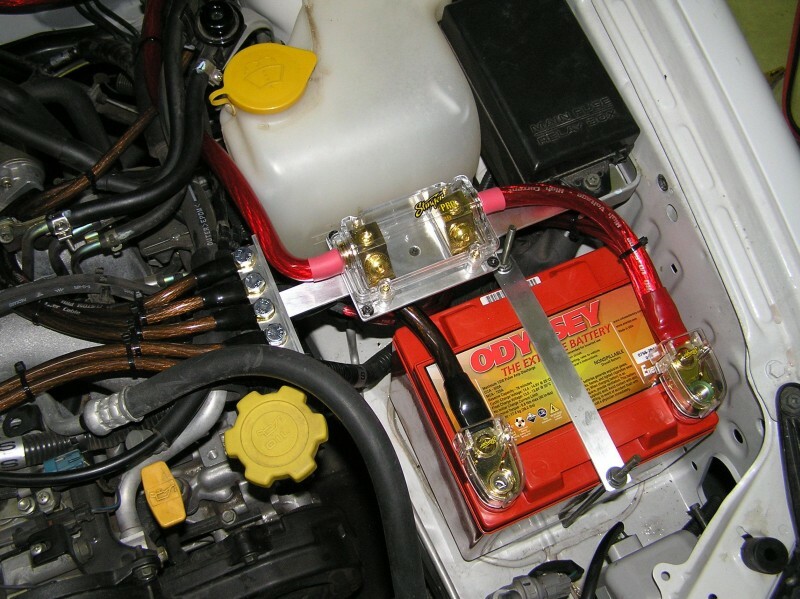 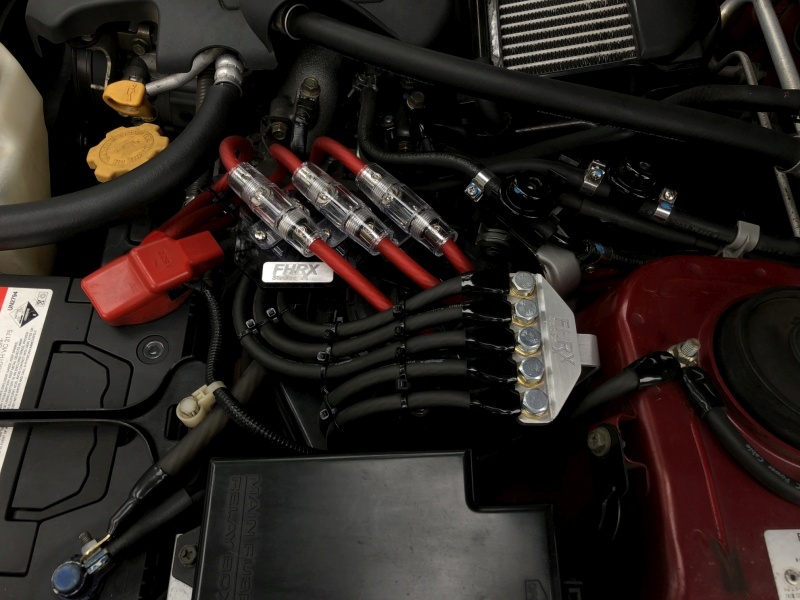 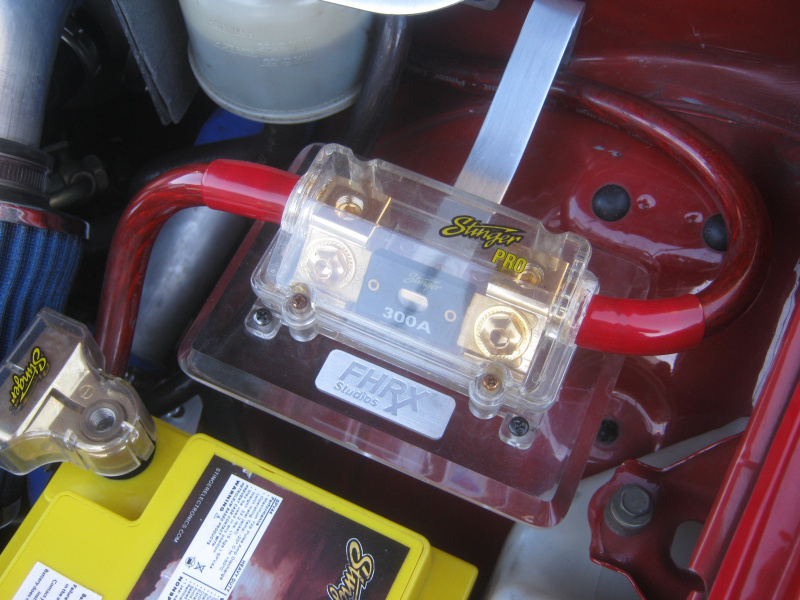 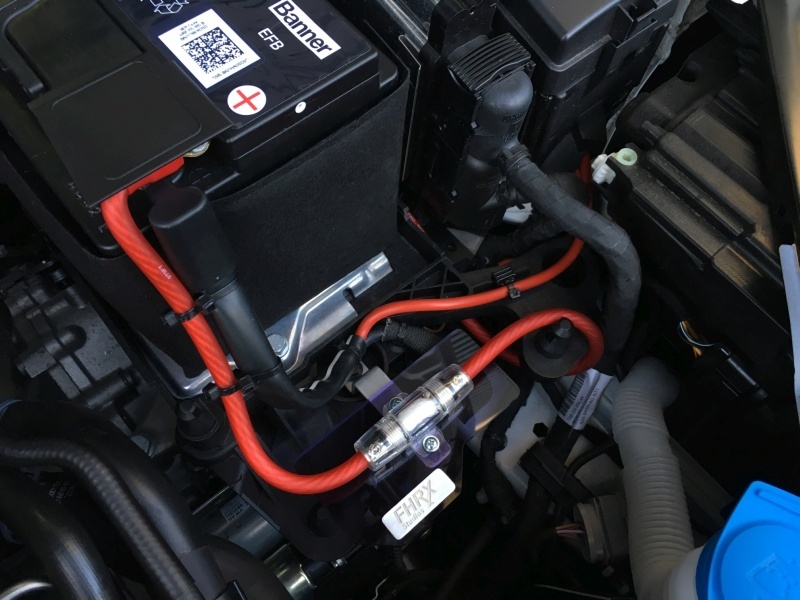 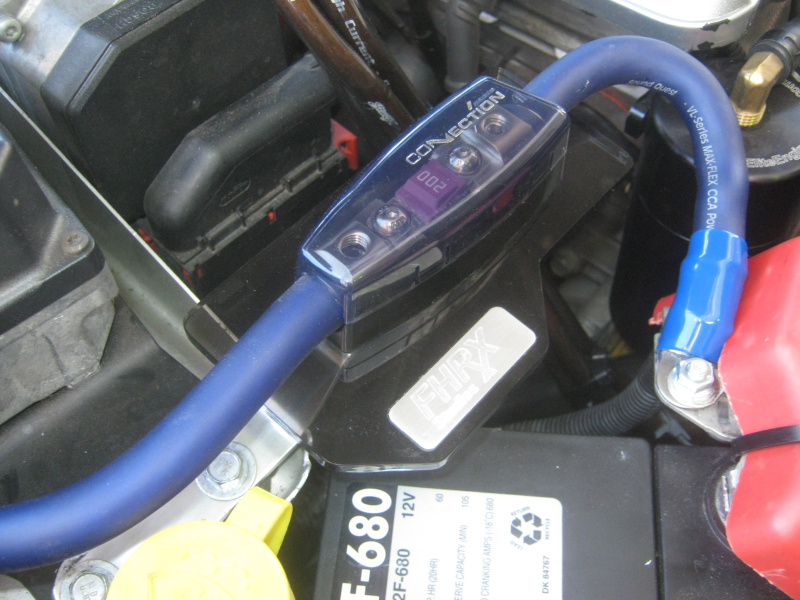 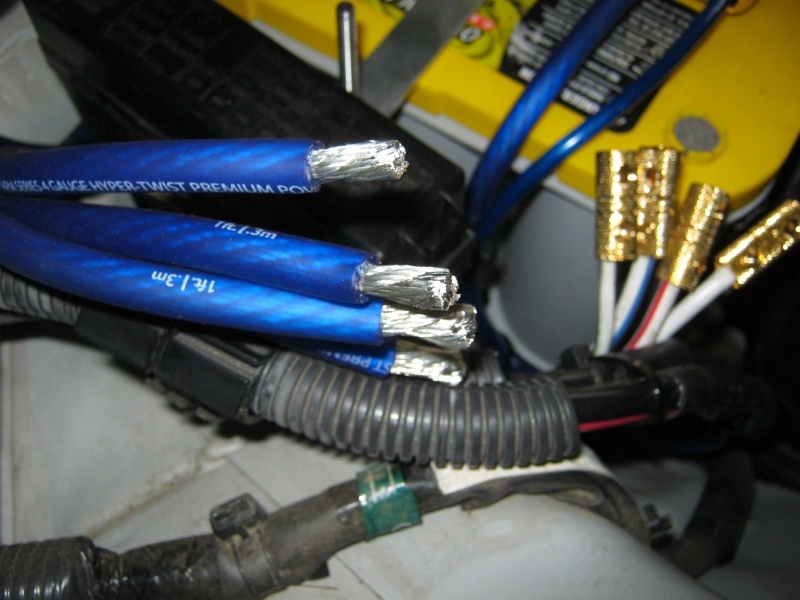 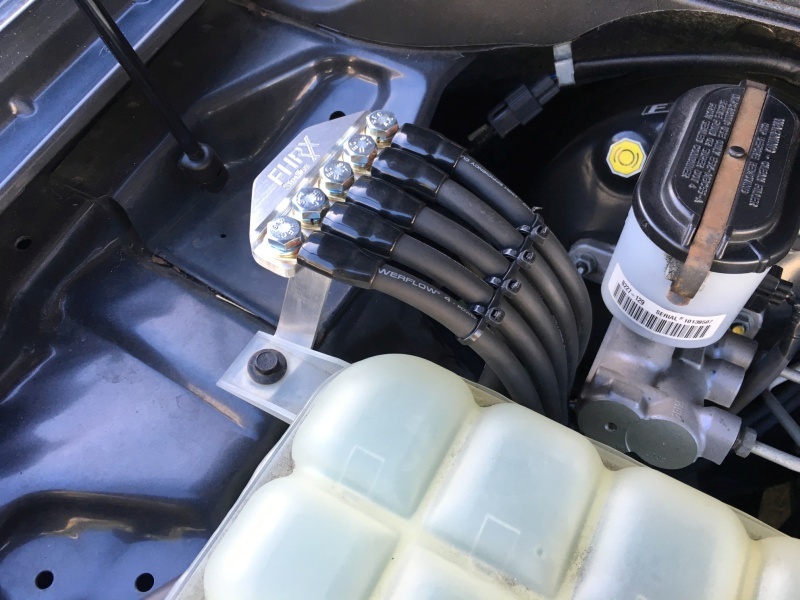 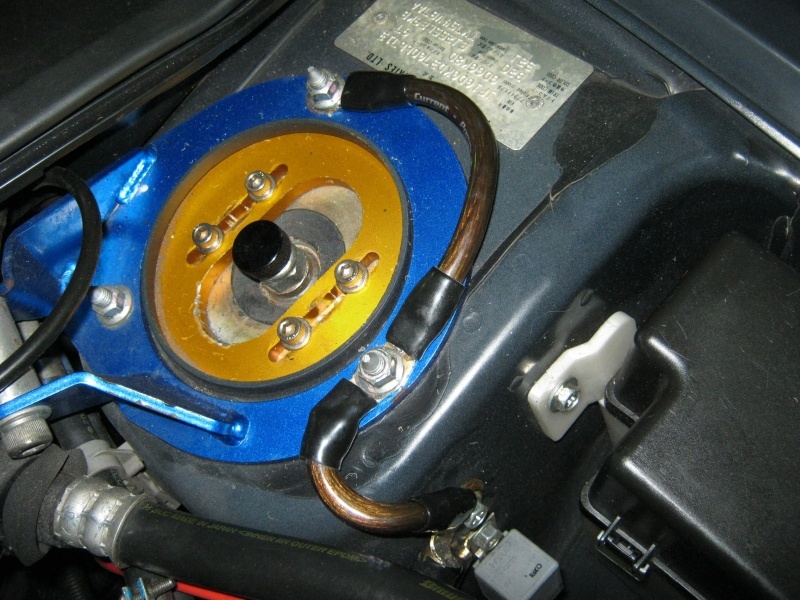 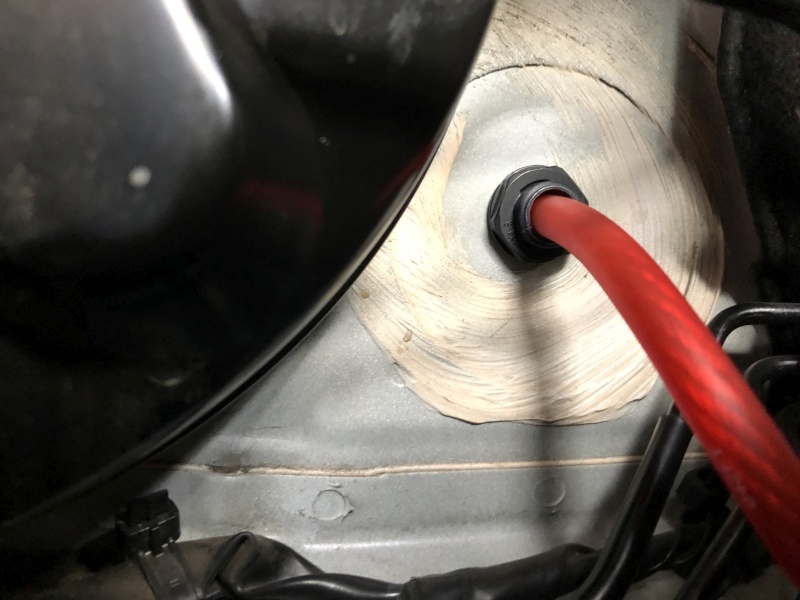 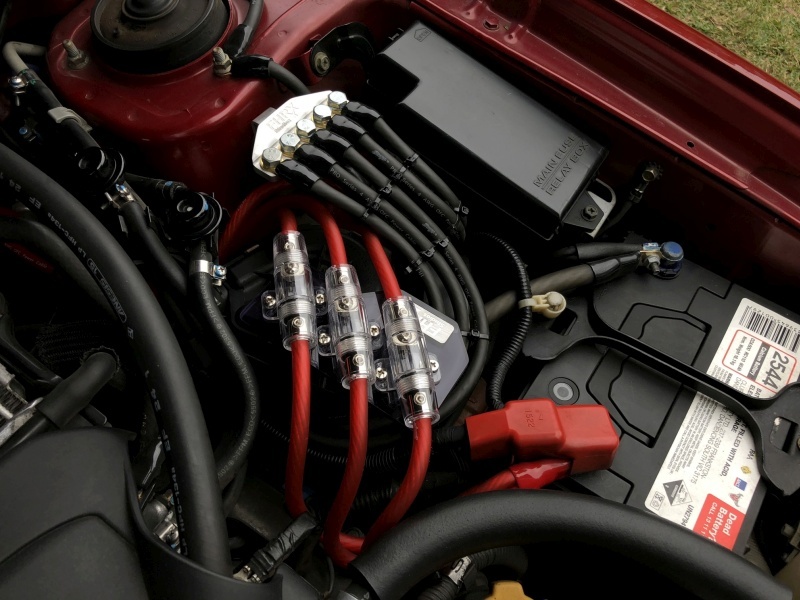 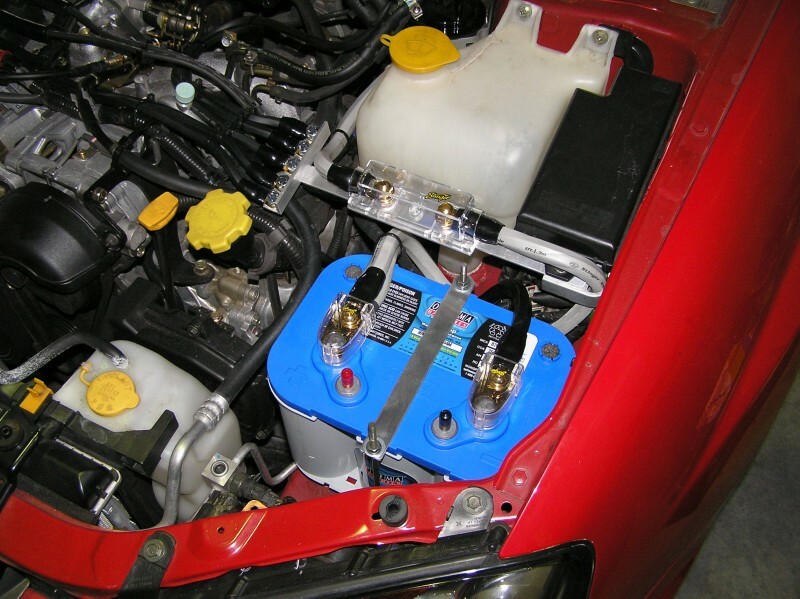 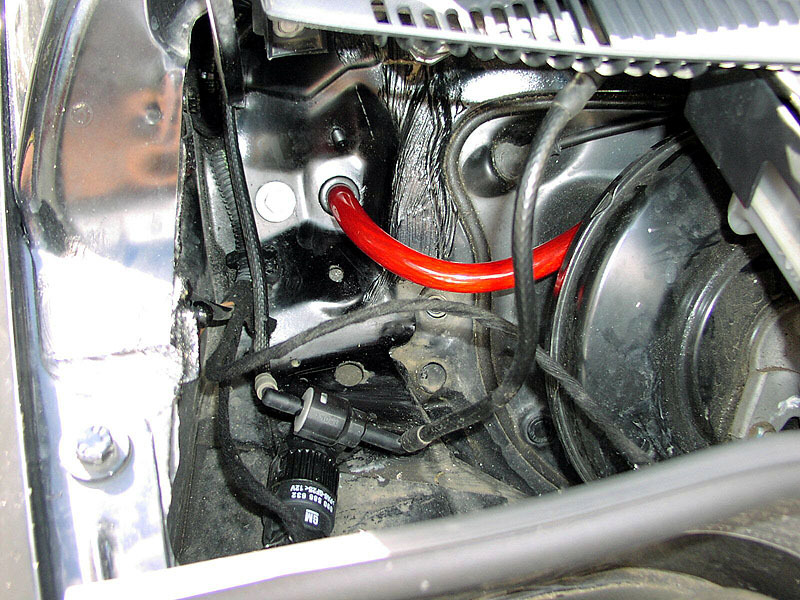 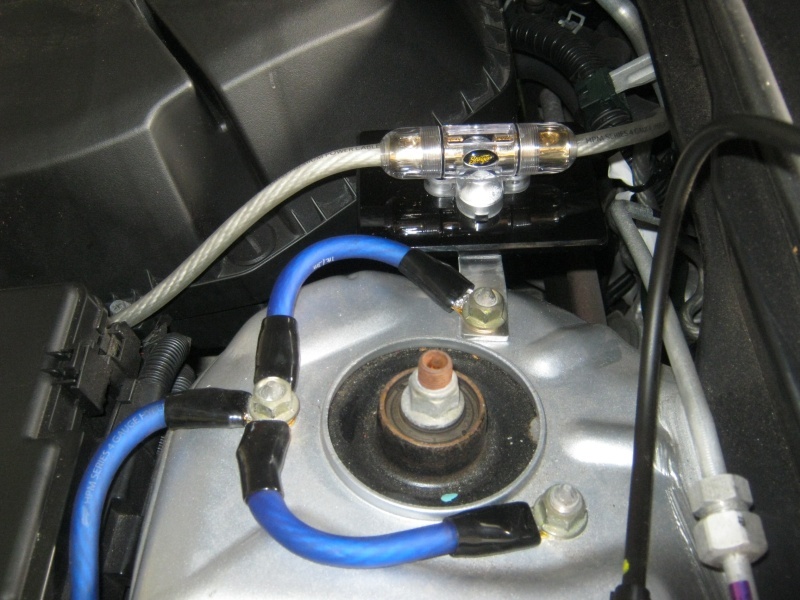 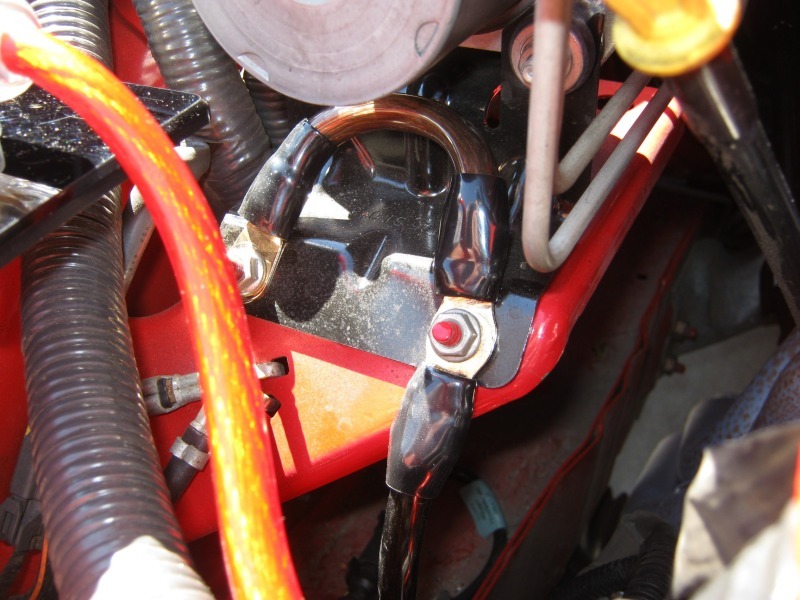 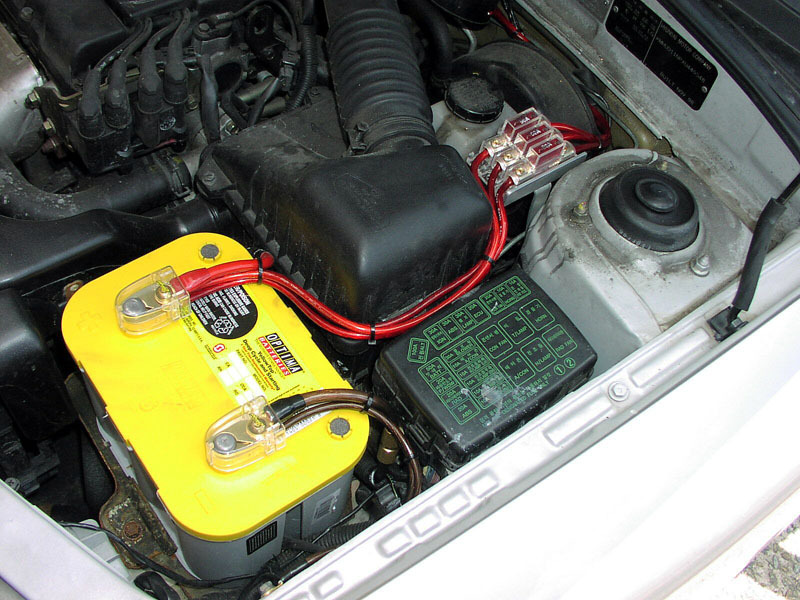 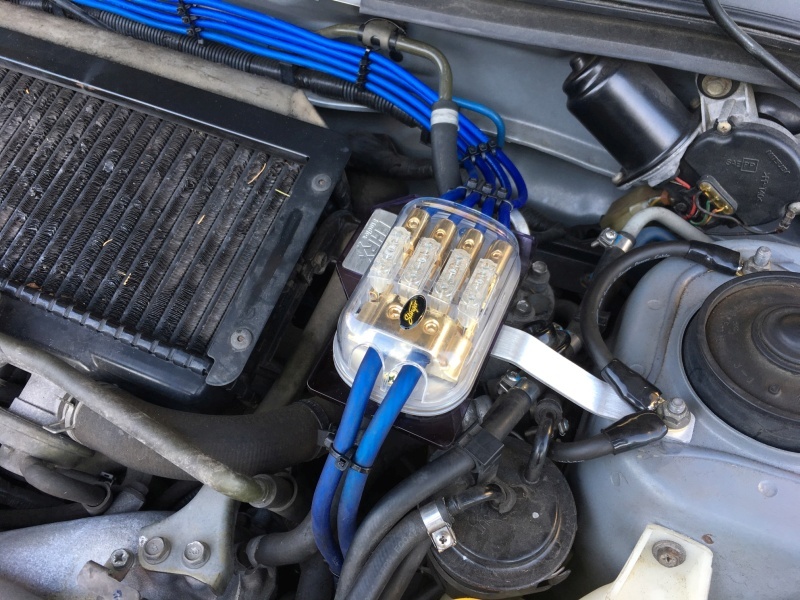 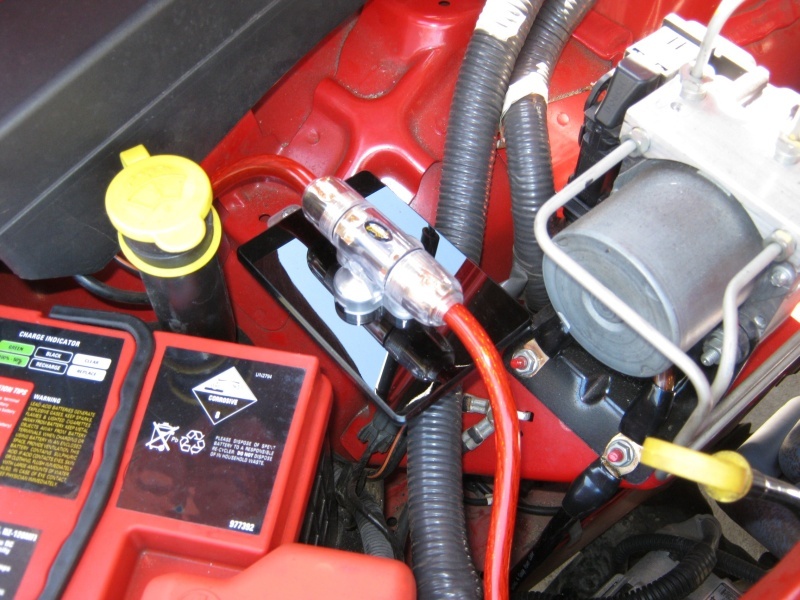 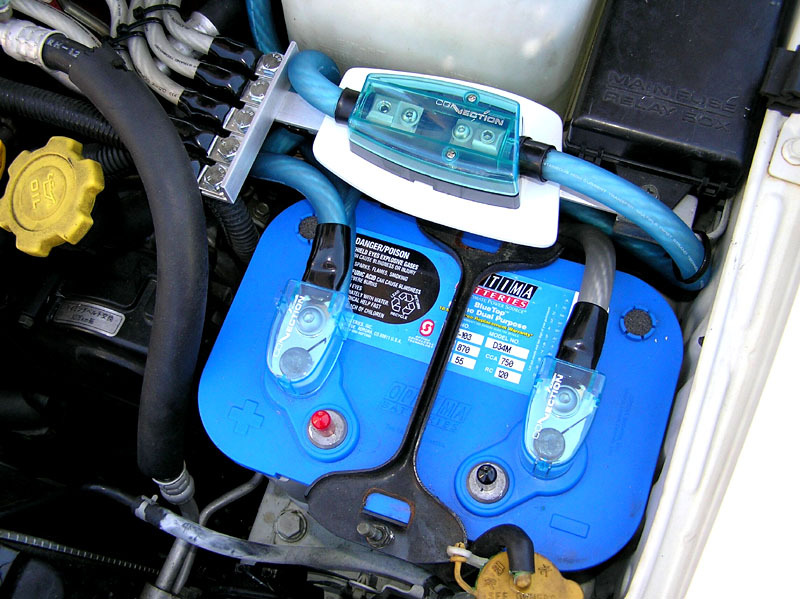 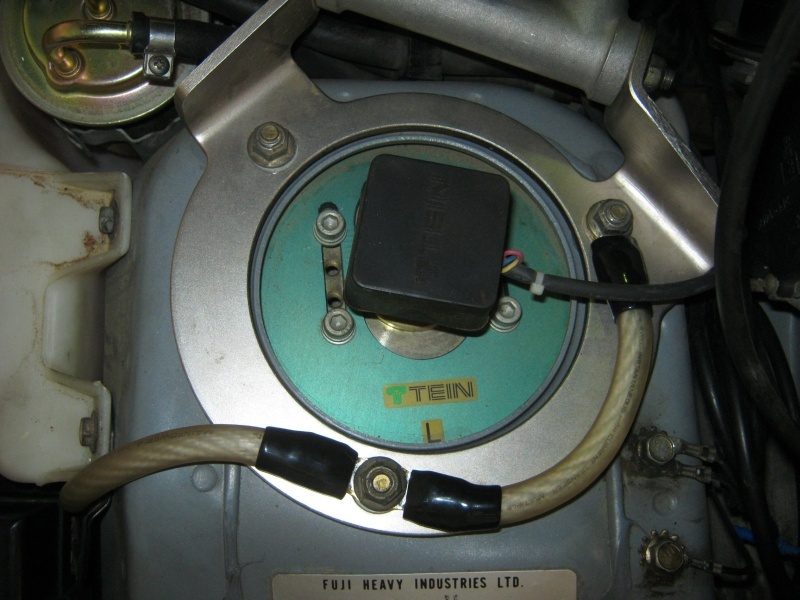 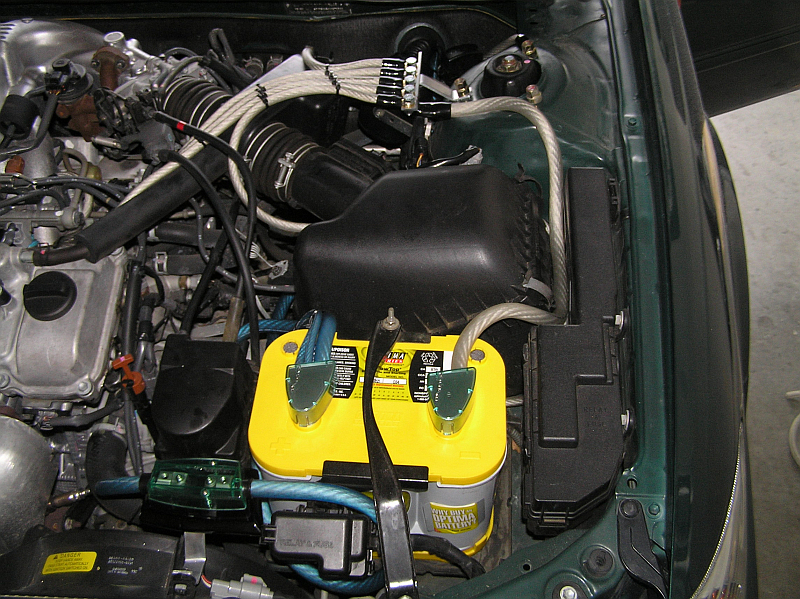 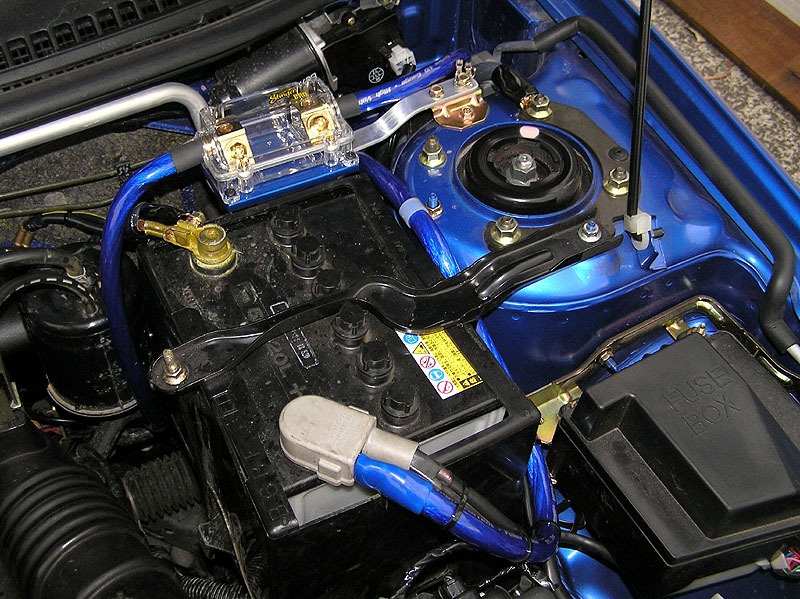 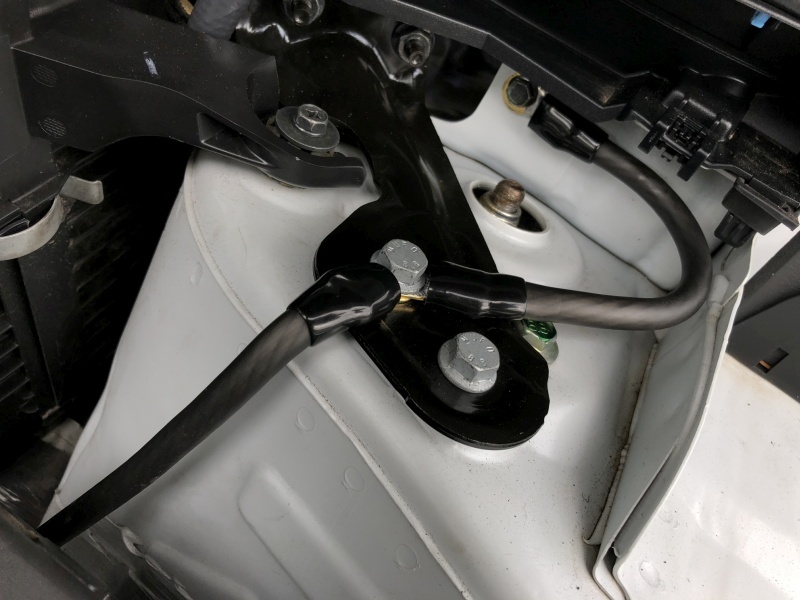 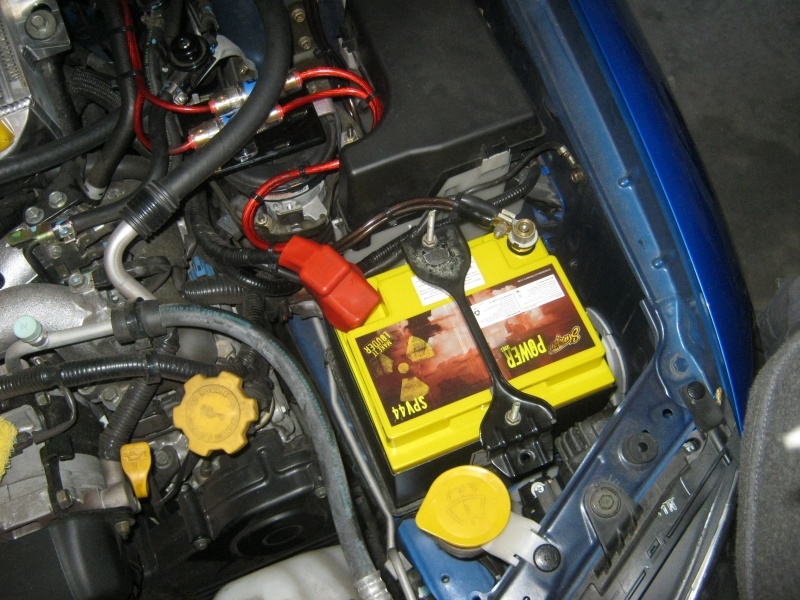 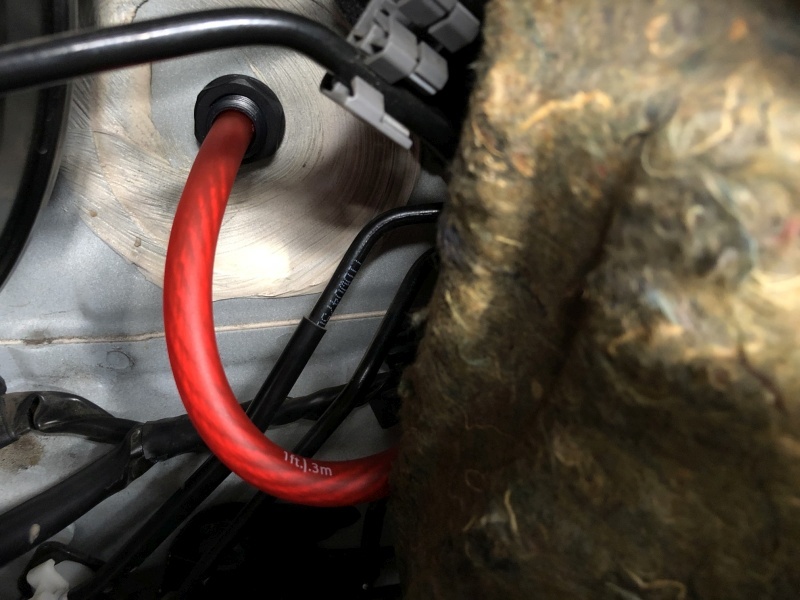 Many off-road enthusiasts, rally drivers, emergency workers, outback tourers and tradesmen also employ dual battery systems too in their associated vehicles. 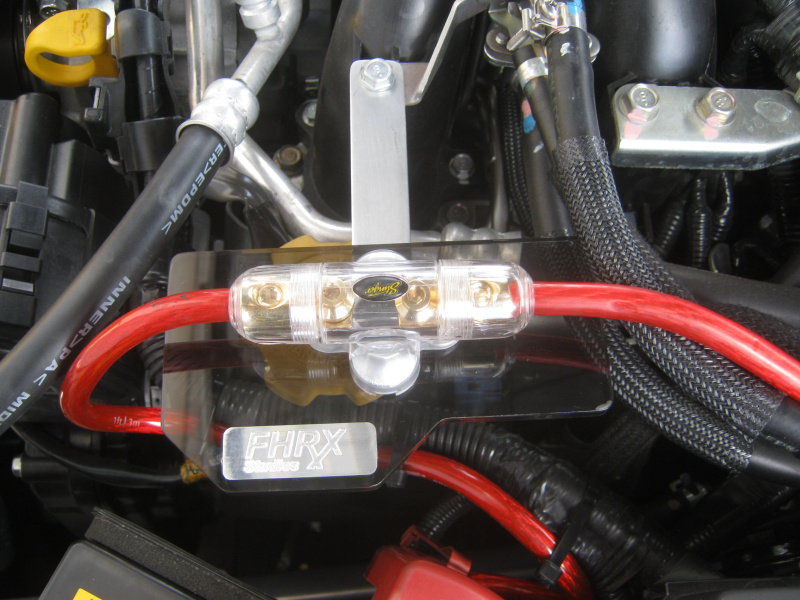 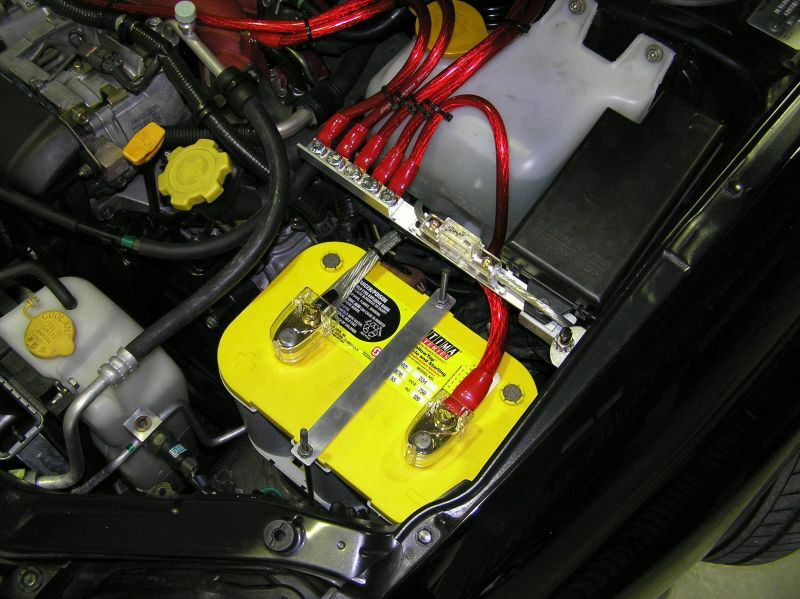 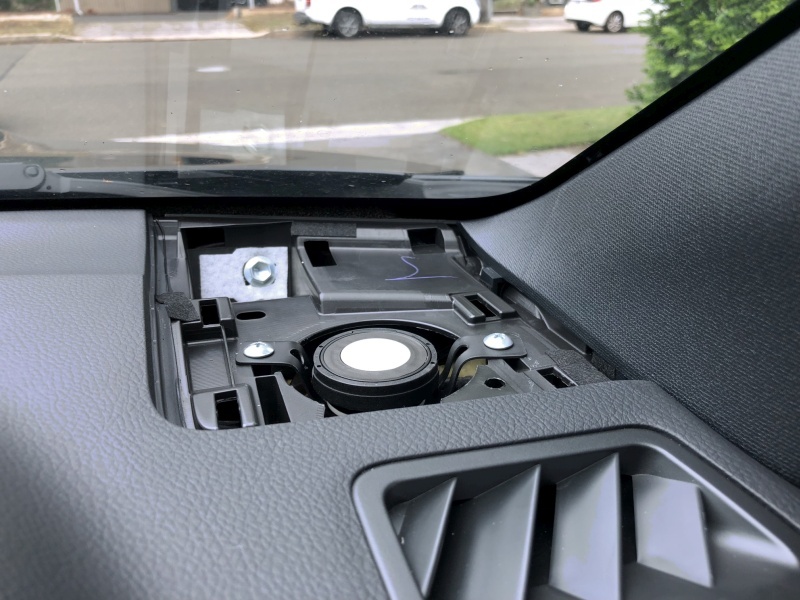 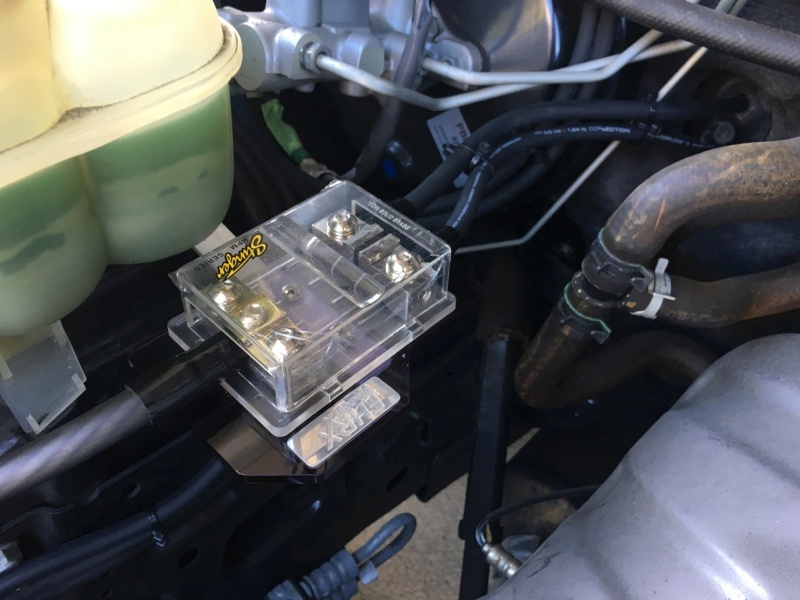 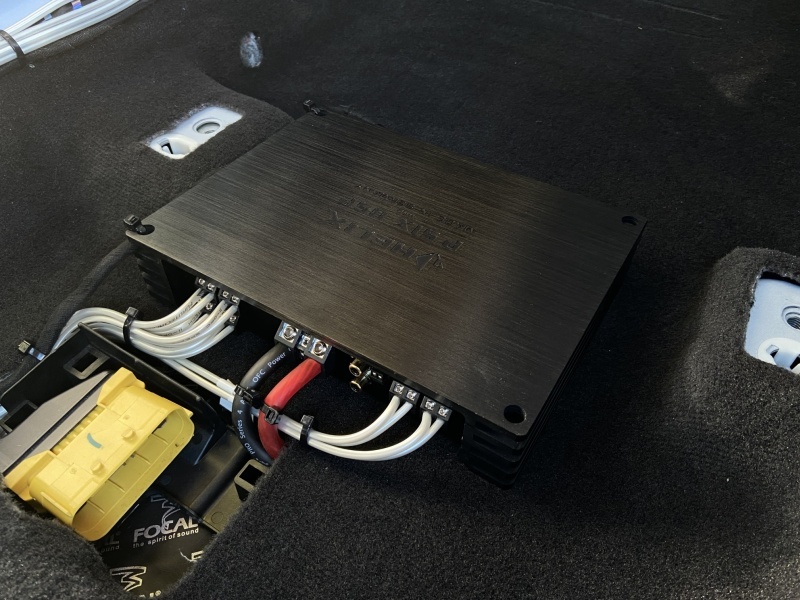 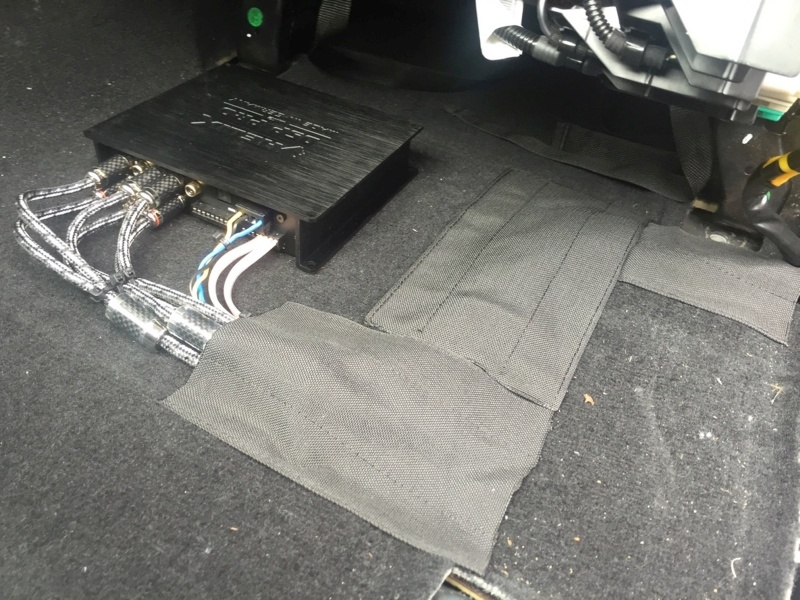 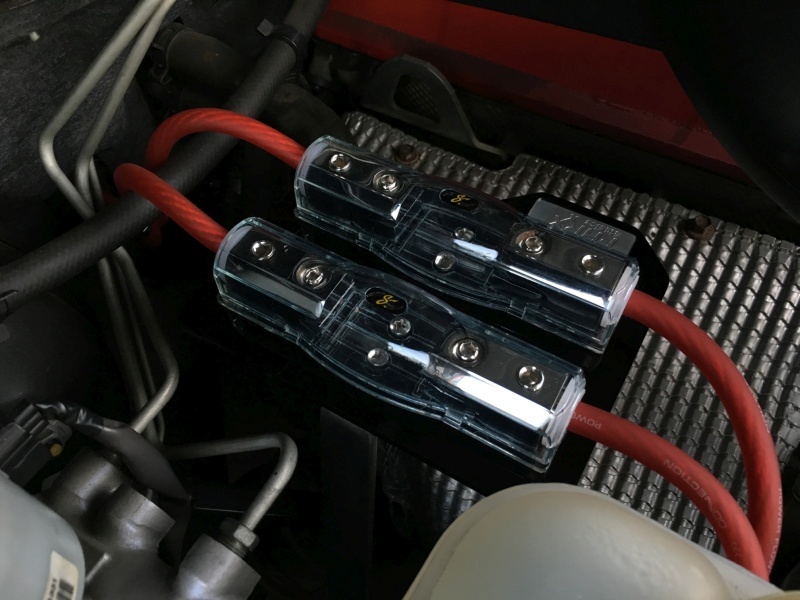 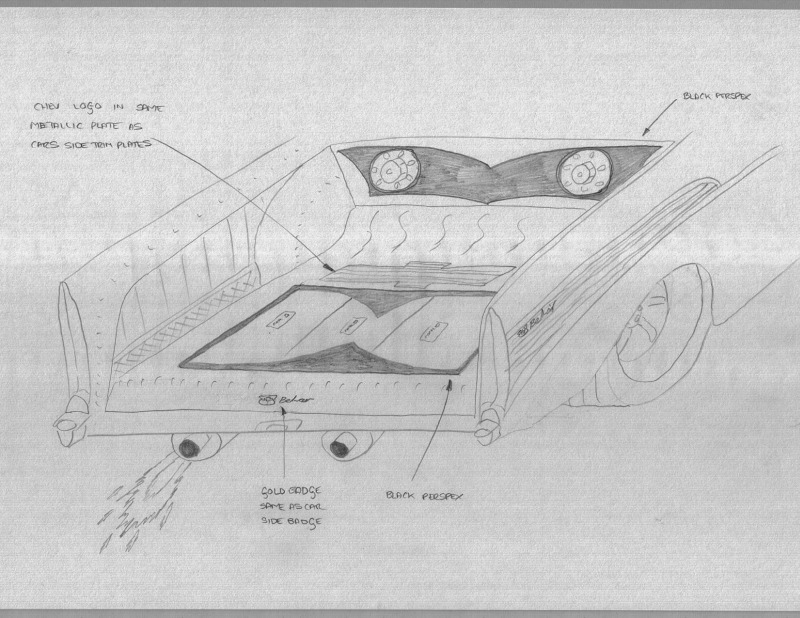 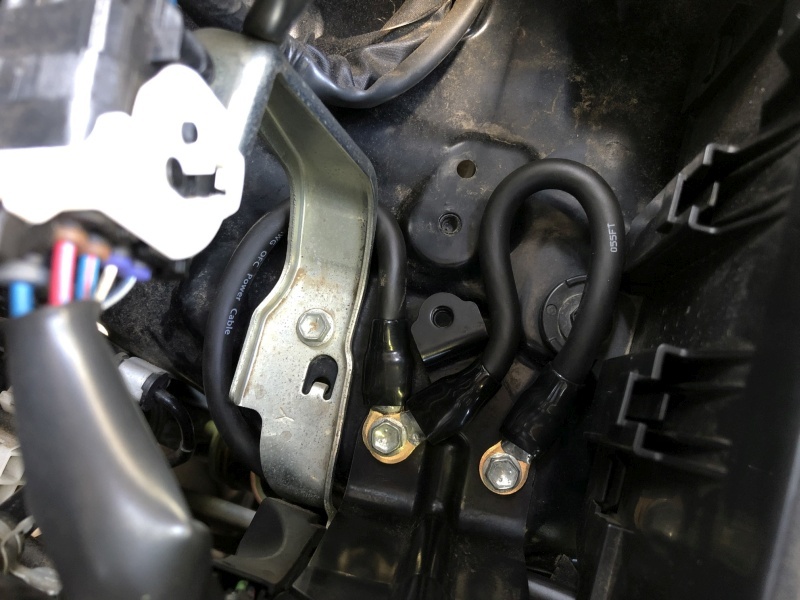 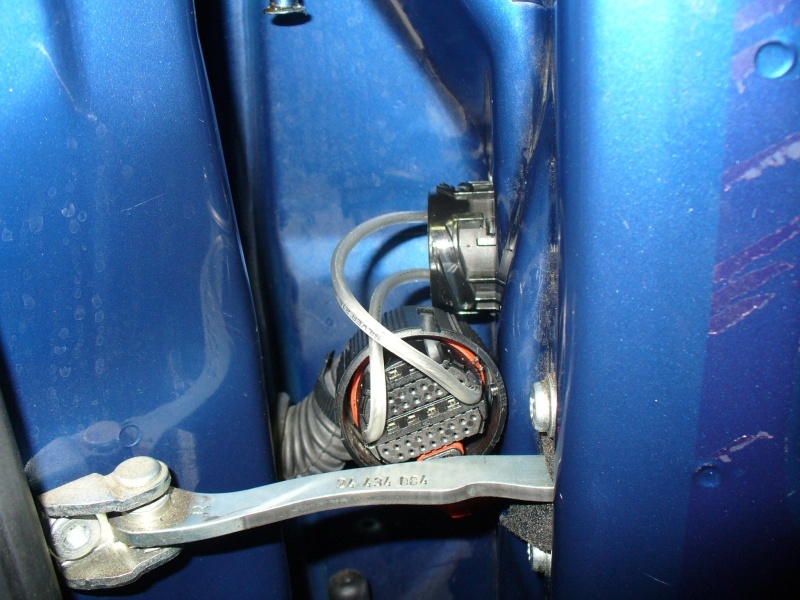 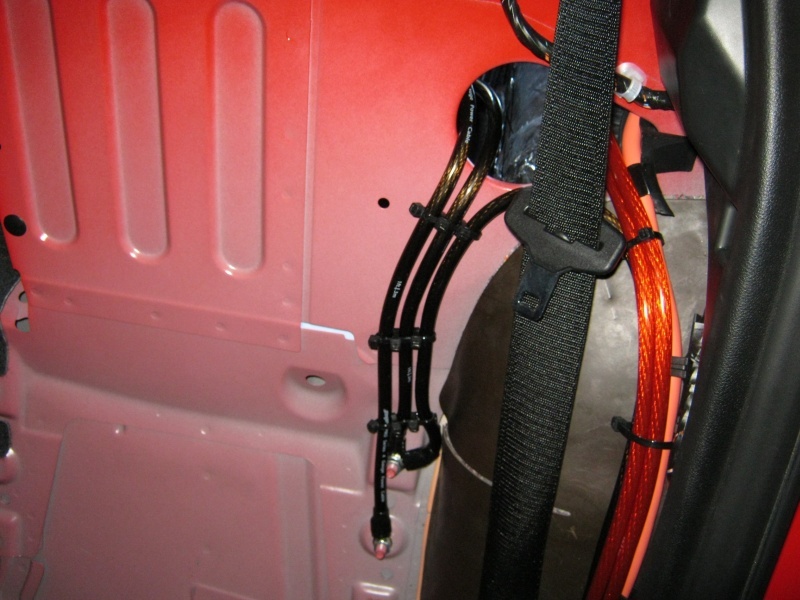 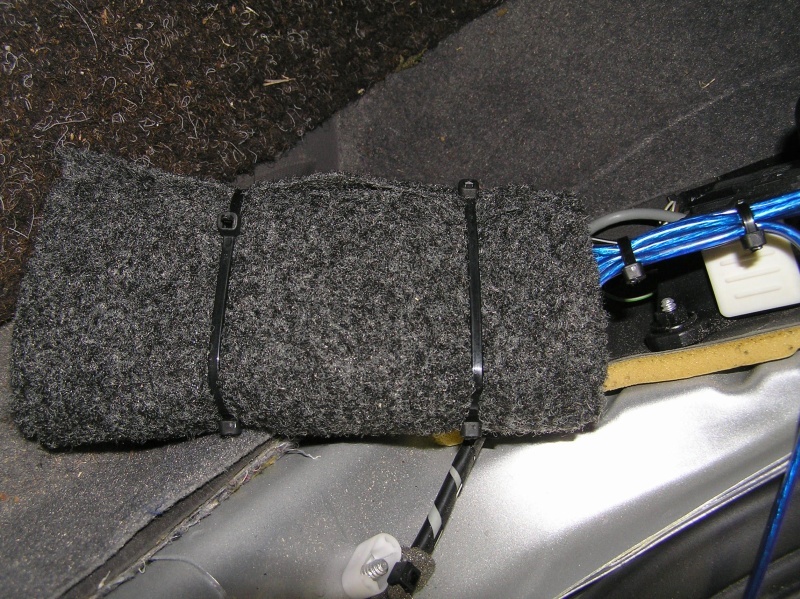 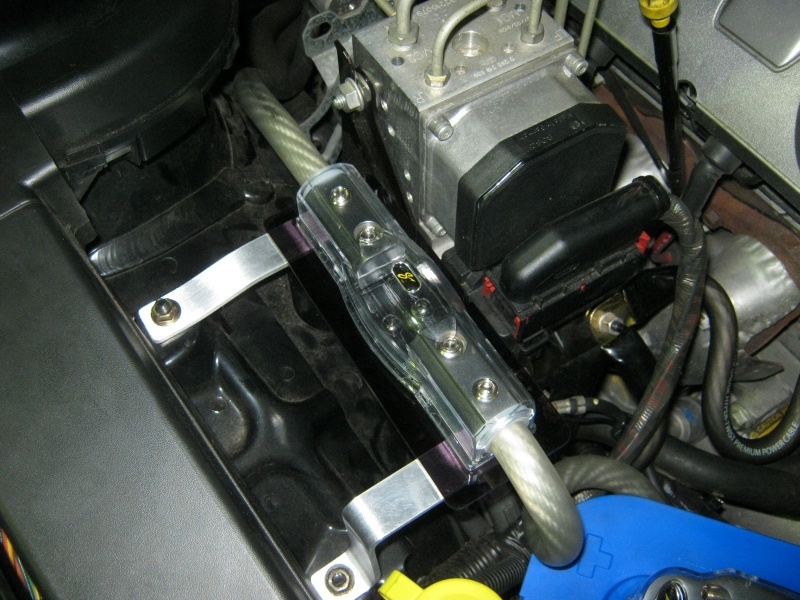 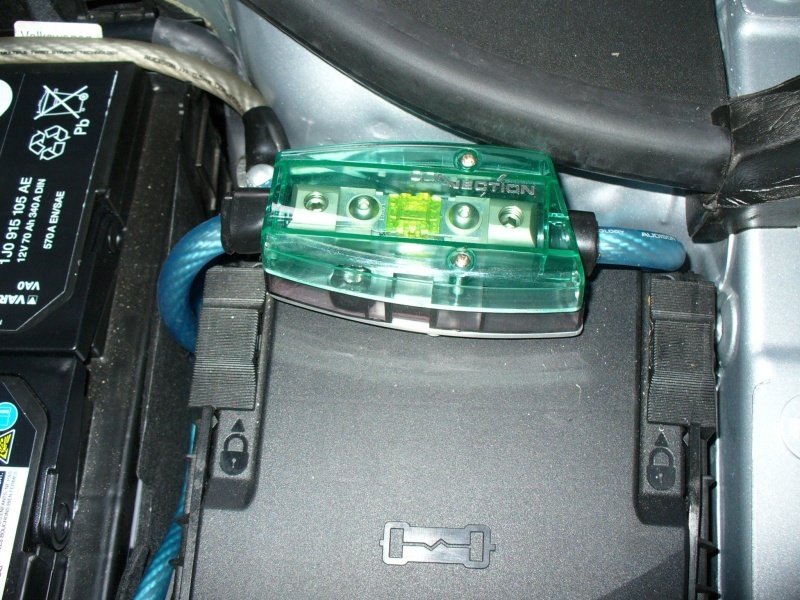 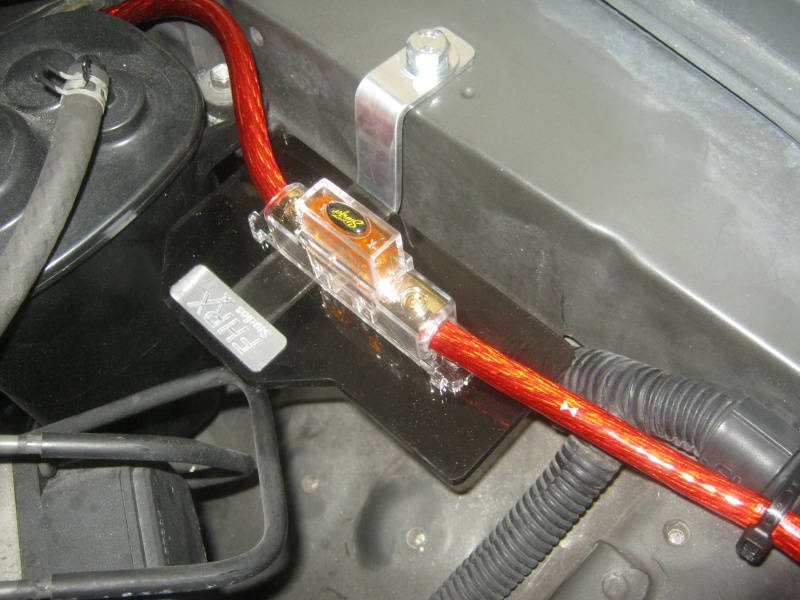 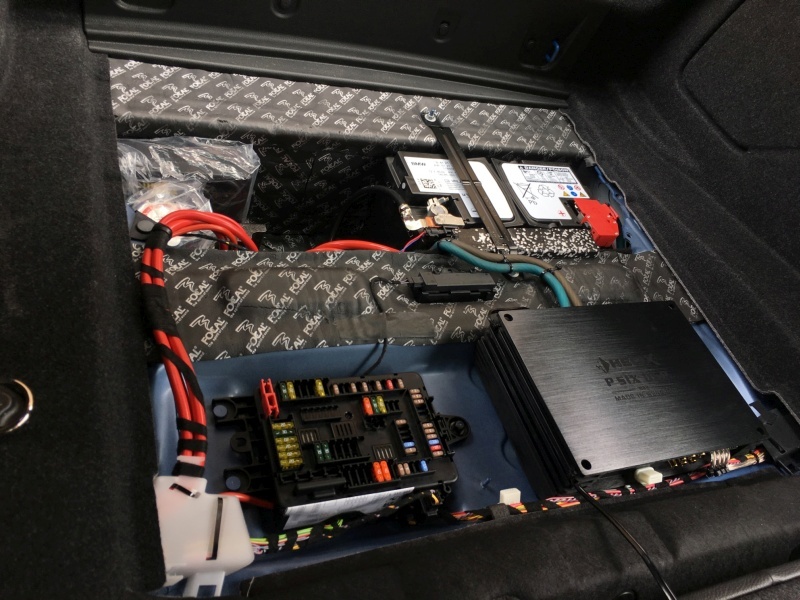 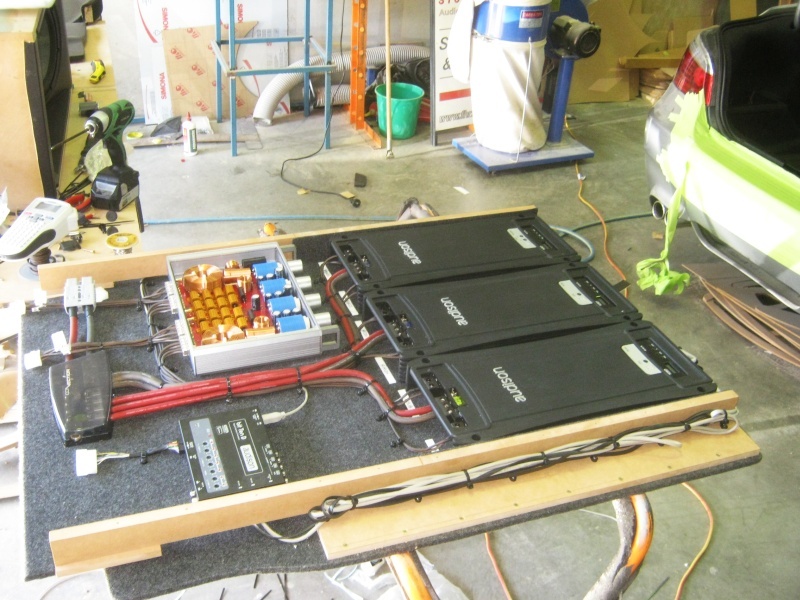 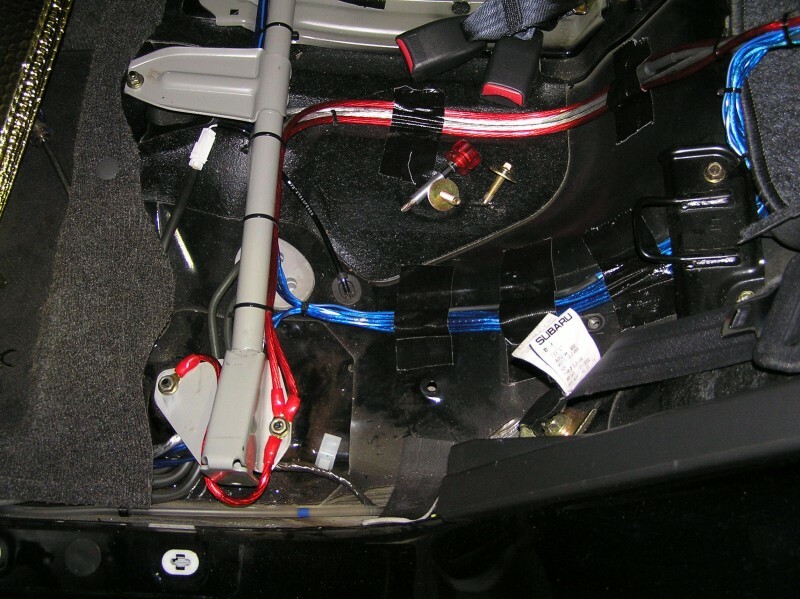 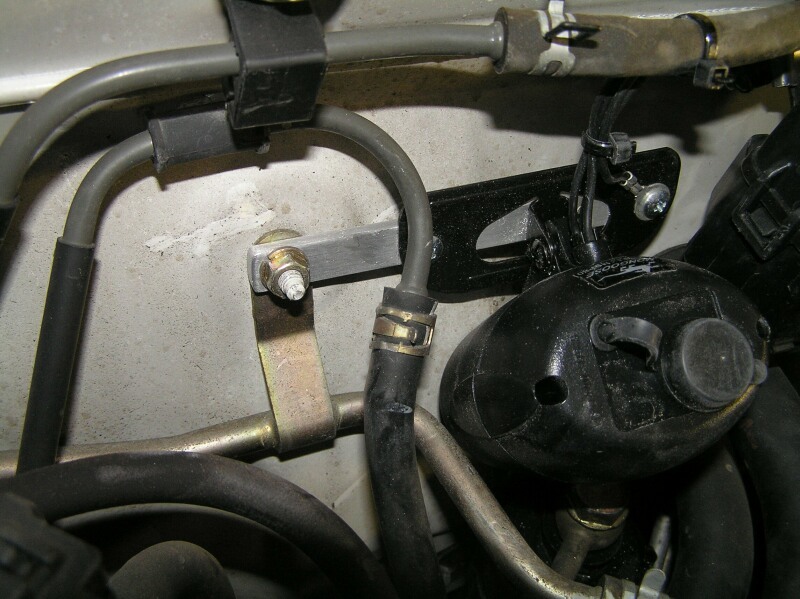 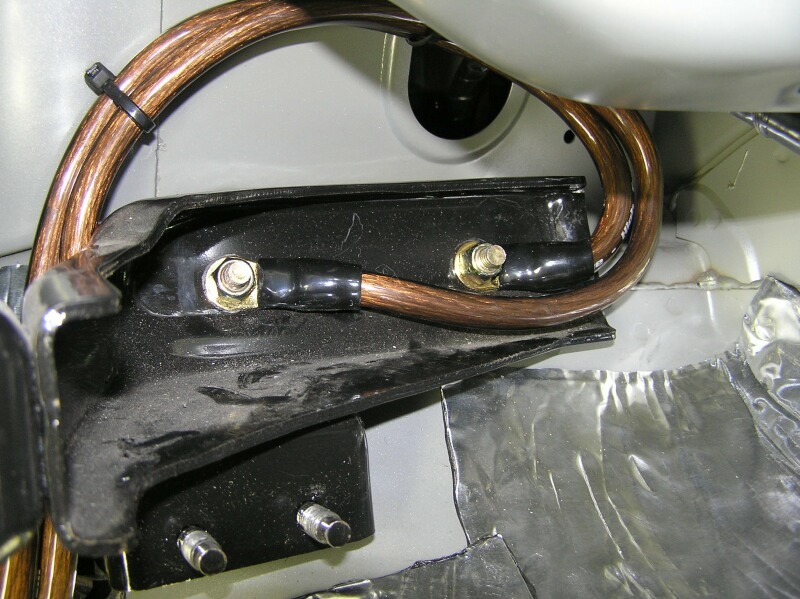 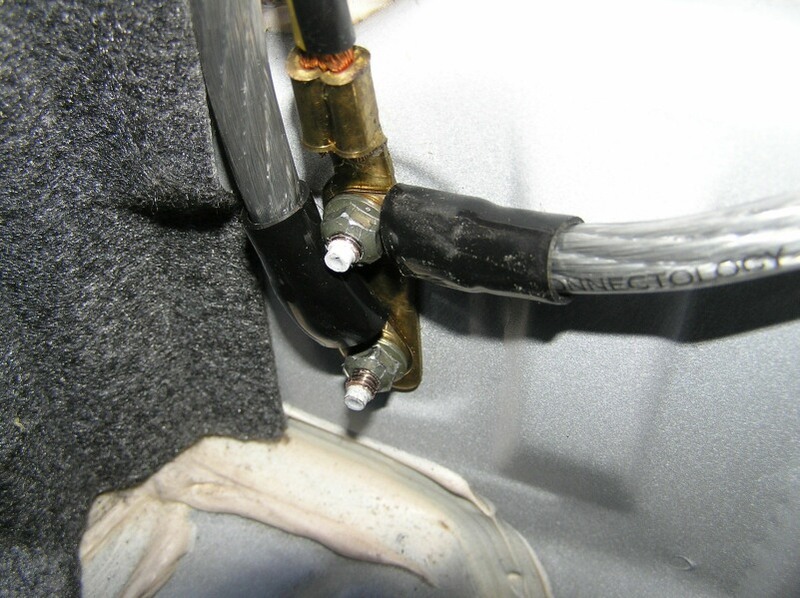 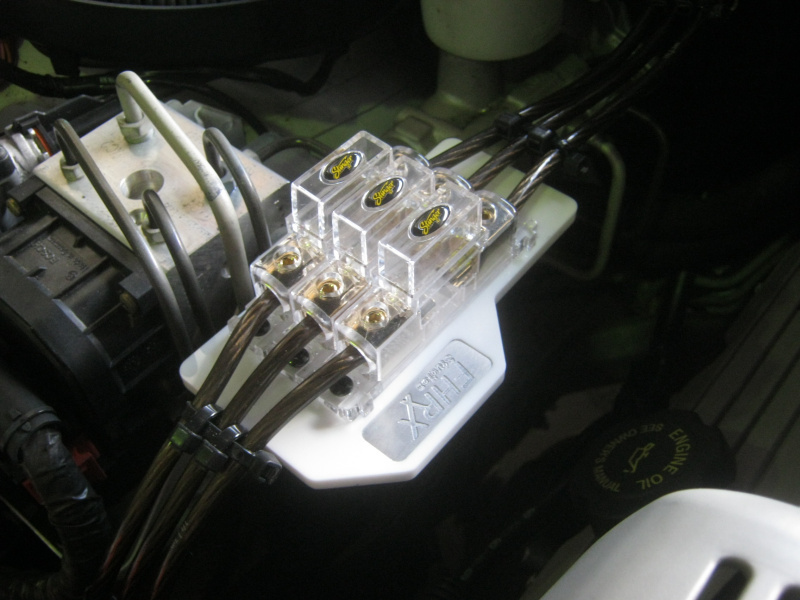 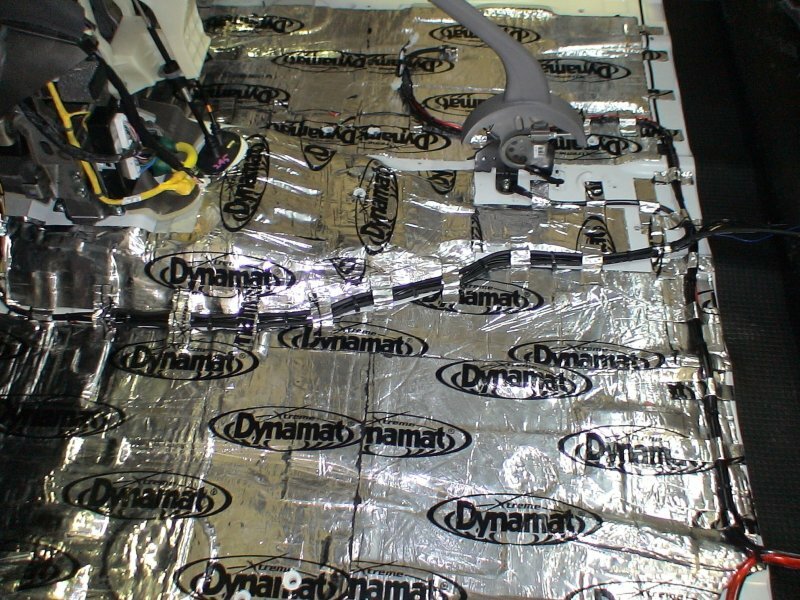 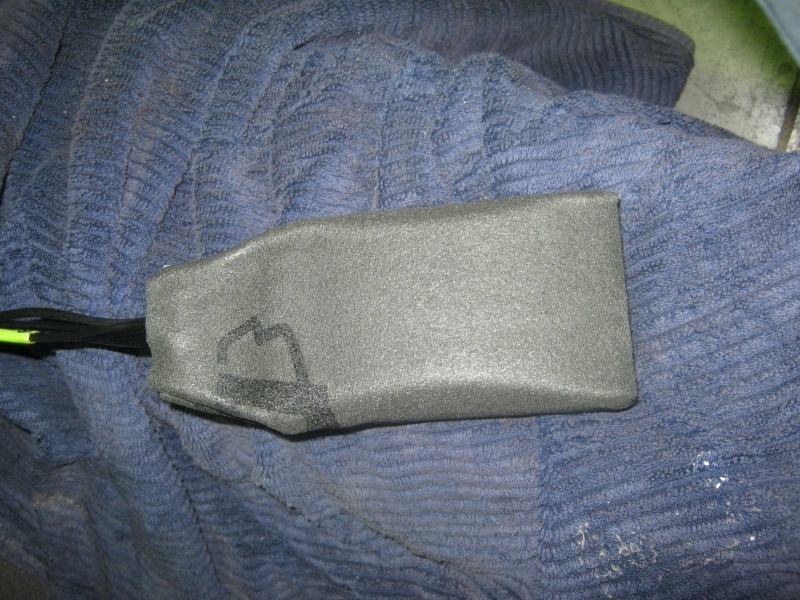 With either an automated or switchable isolation system that allows one battery to be used for worksite or campsite duties while the other is kept charged to ensure the car starts when needed. 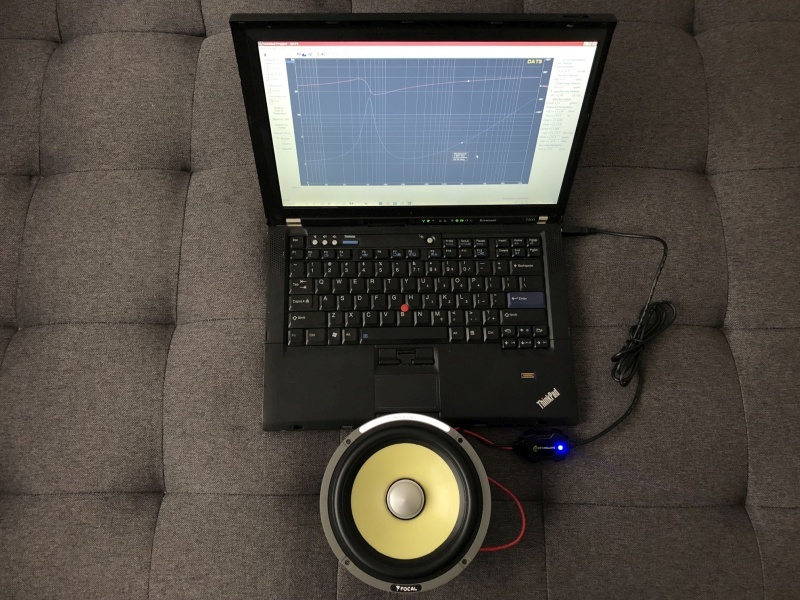 The more processing abilities a system has the better we can tune it to sound, and even the most modest of system�s will still possess basic tuning abilities. 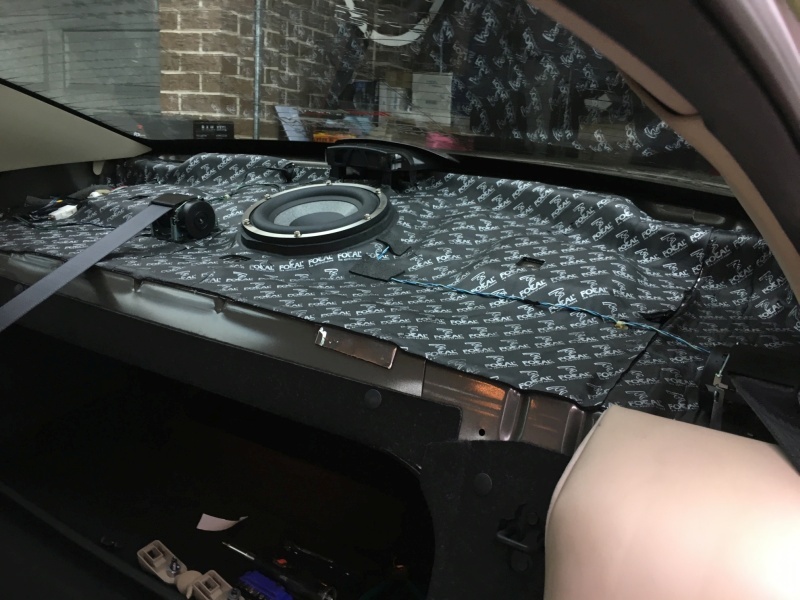 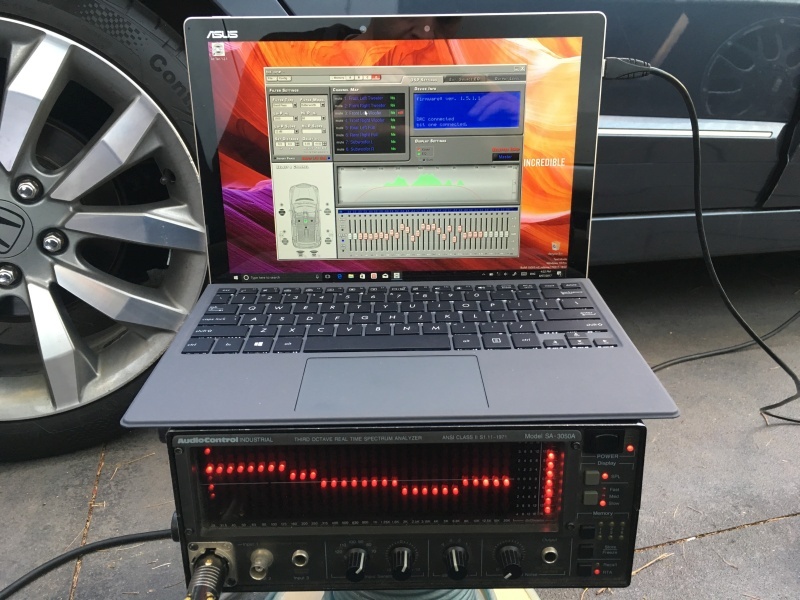 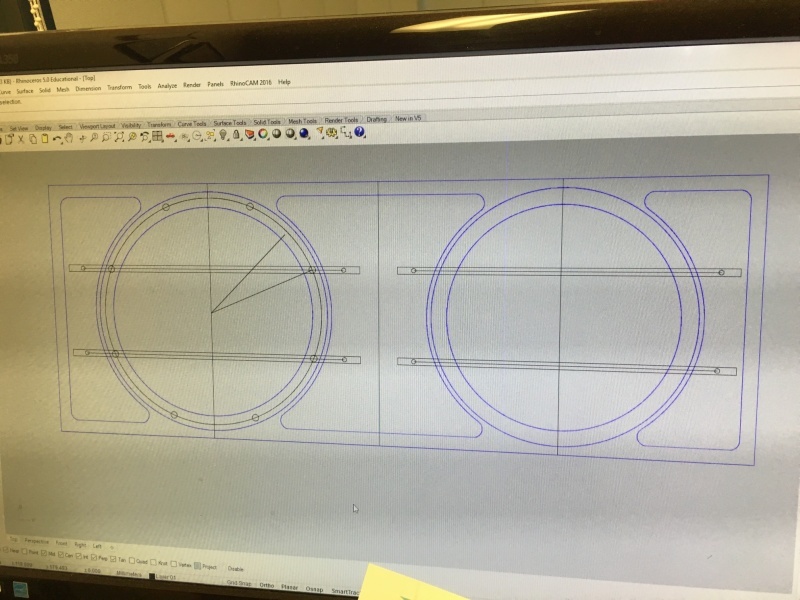 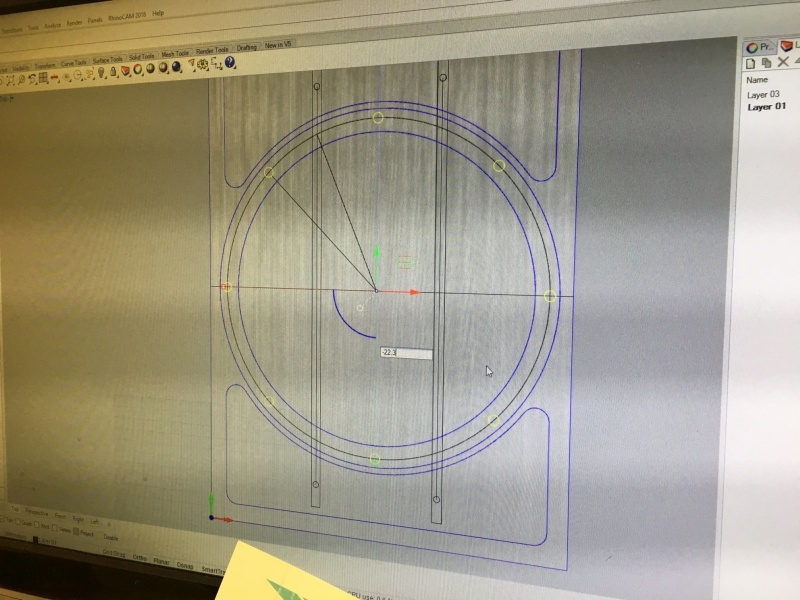 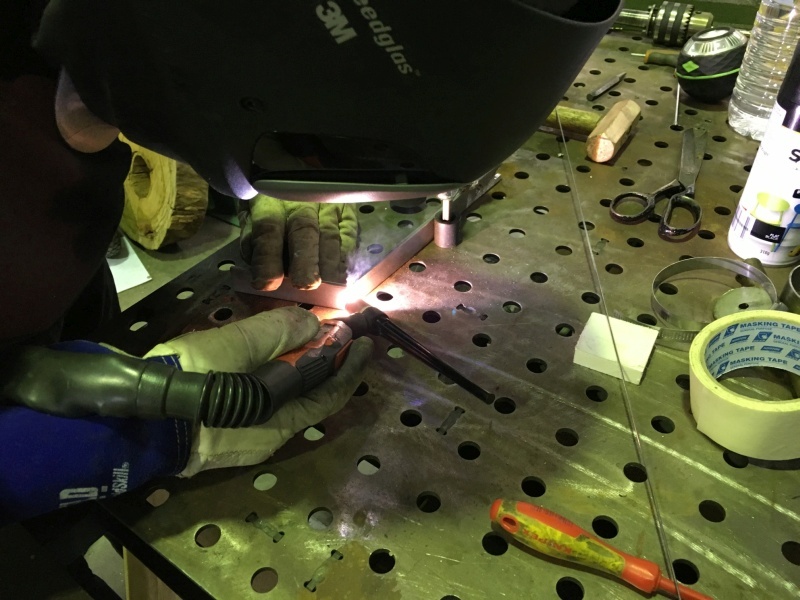 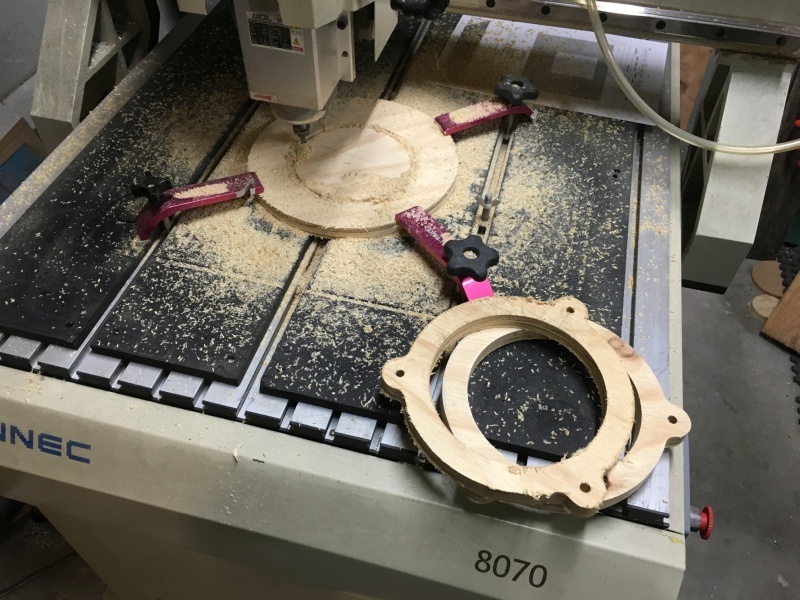 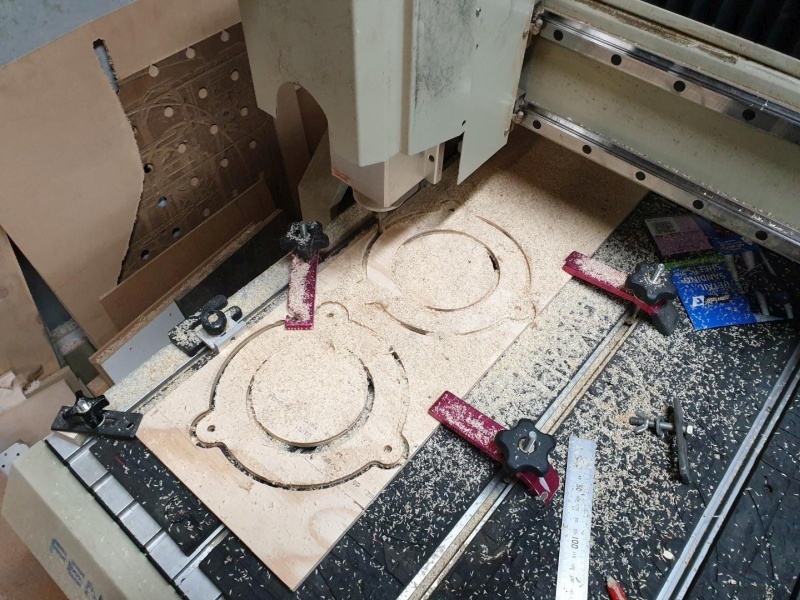 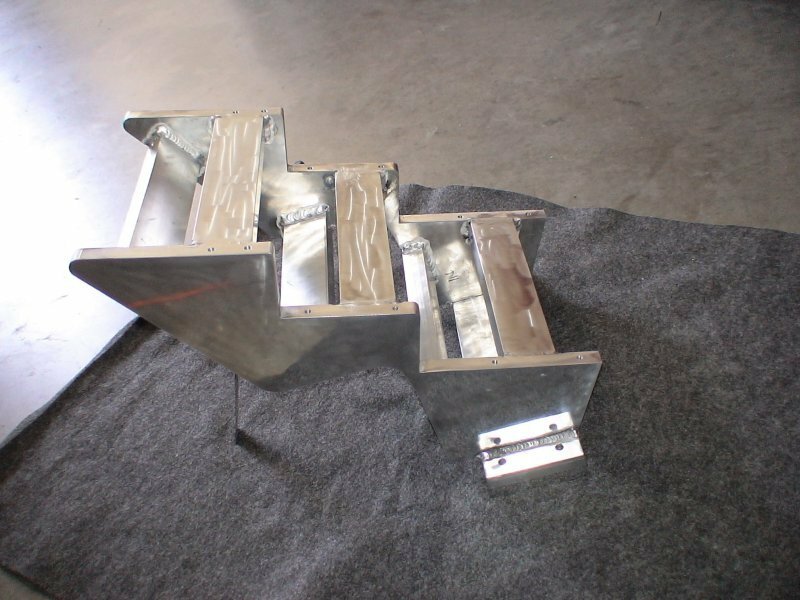 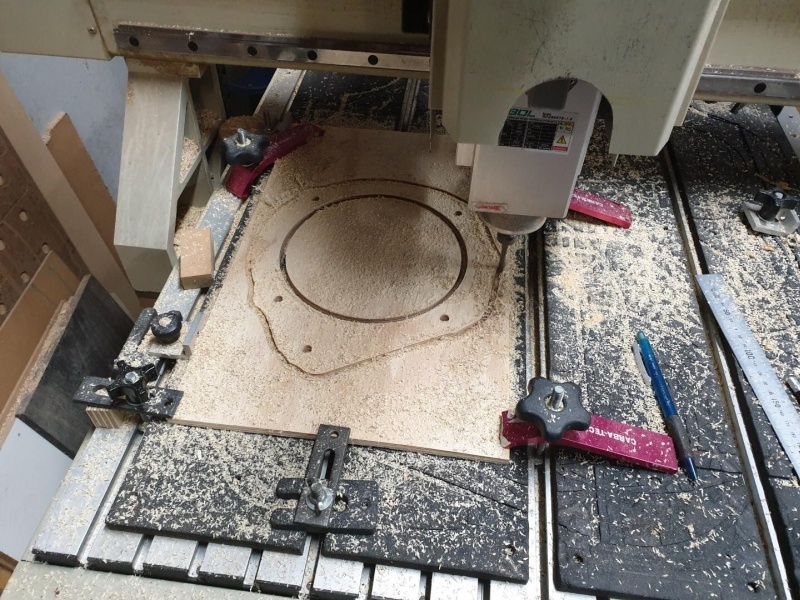 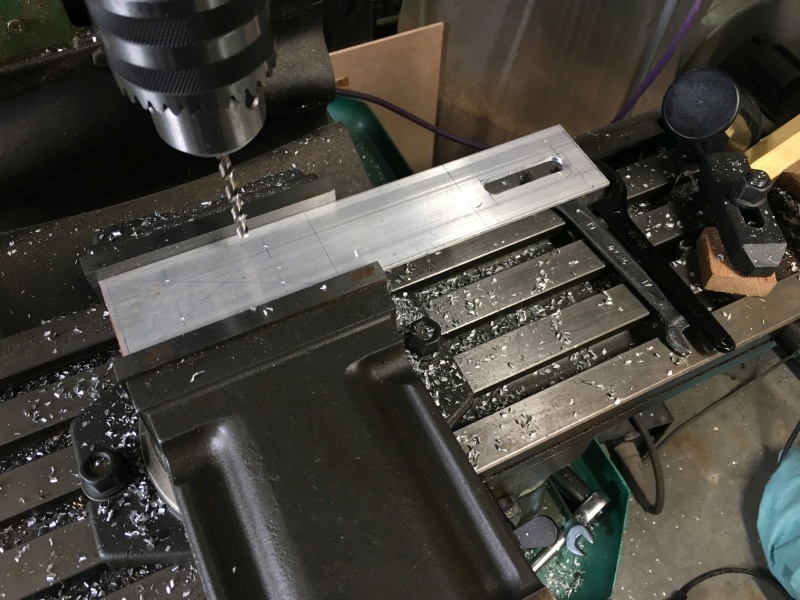 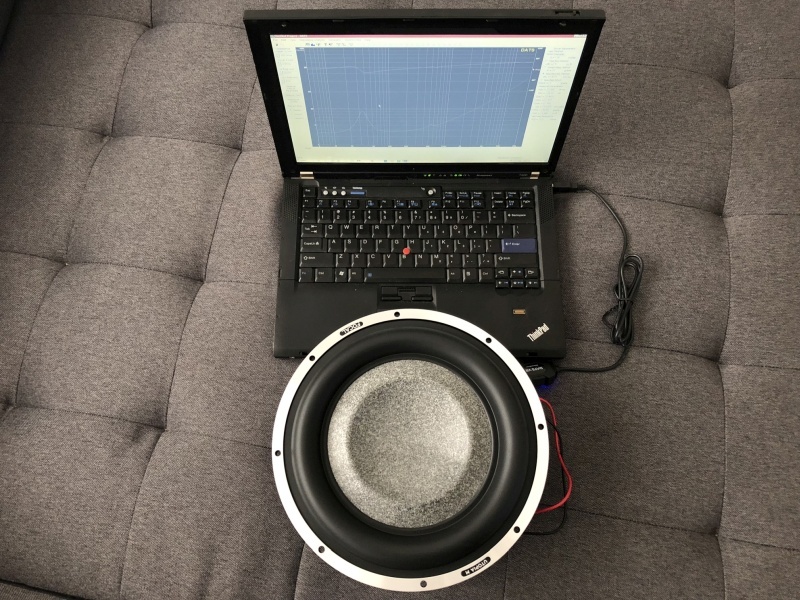 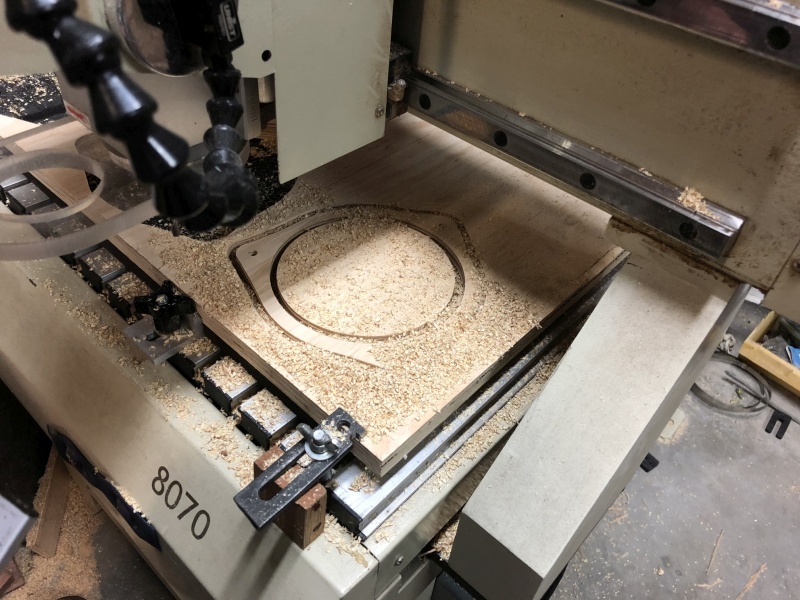 This is conducive to us carefully testing, measuring and evaluating various aspects of not only the components themselves but the entire install overall; thus allowing us to obtain the best possible sound from it. 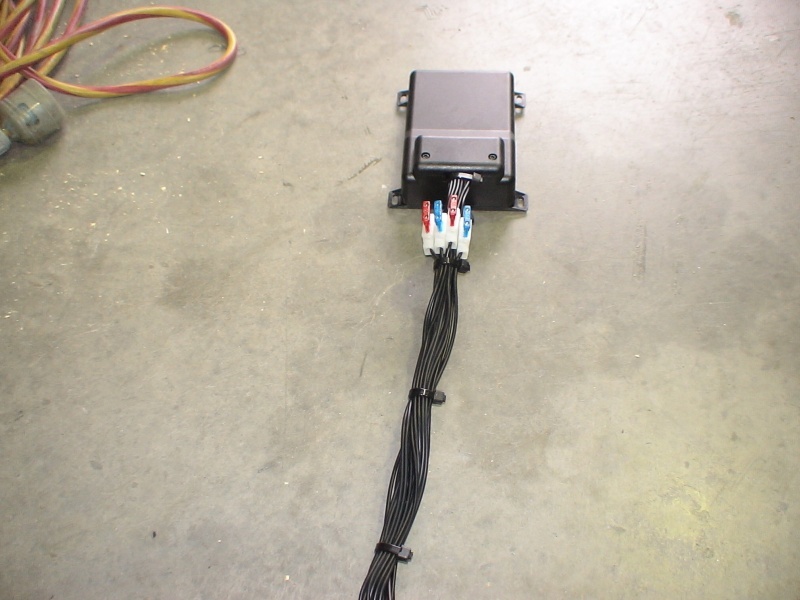 The same can be said for high end installations too. 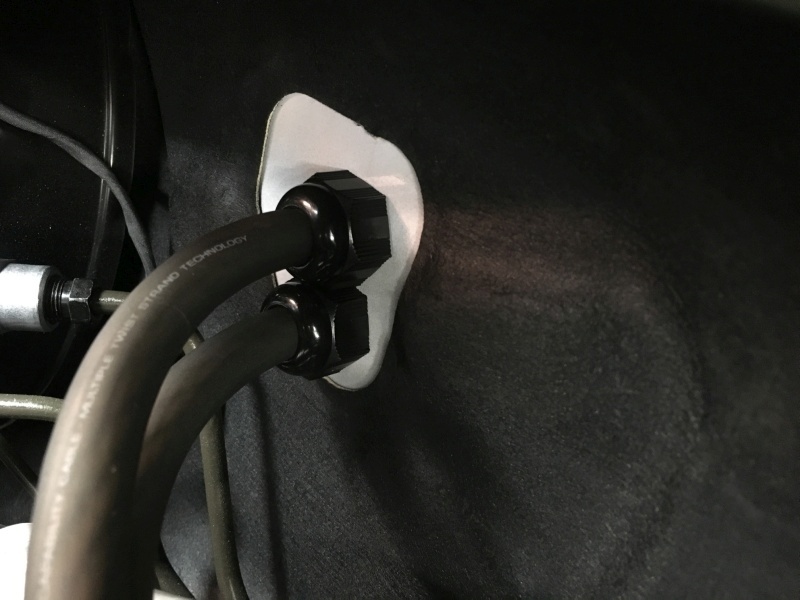 No matter what the price tag one cannot simply plug everything in and push the vehicle out the door. 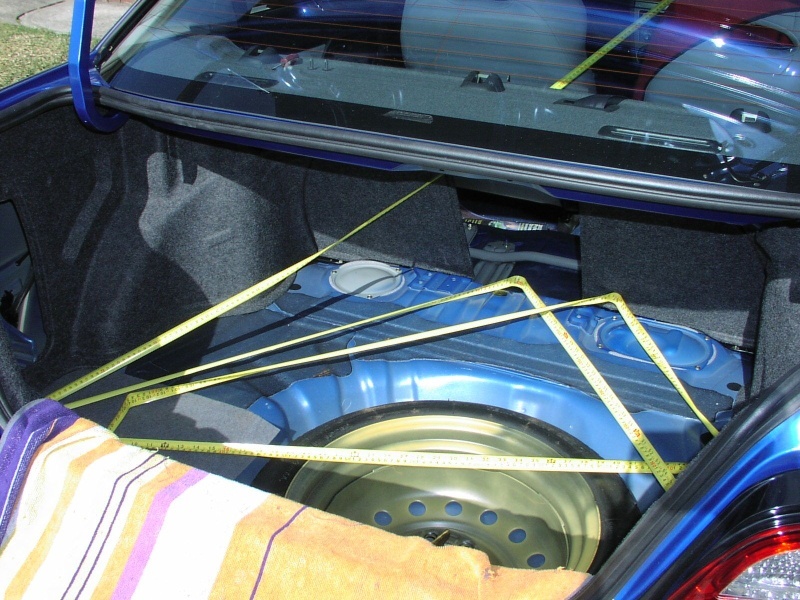 The laws of physics care nothing for price tags. 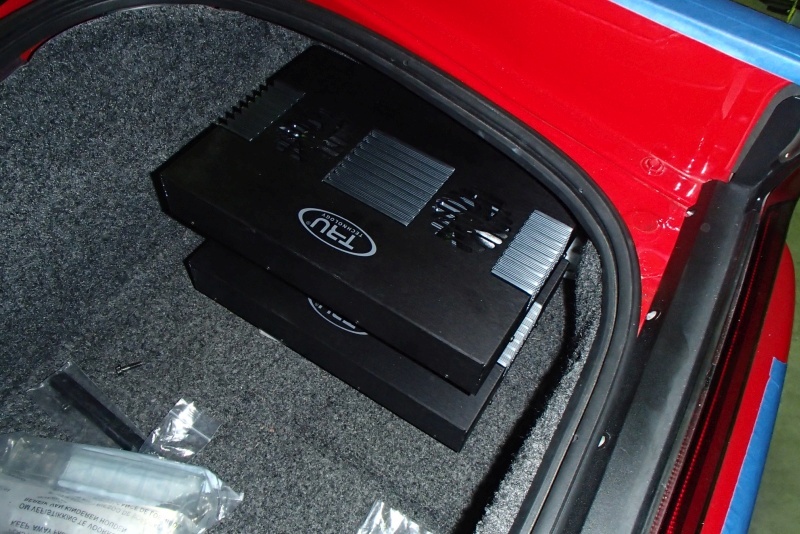 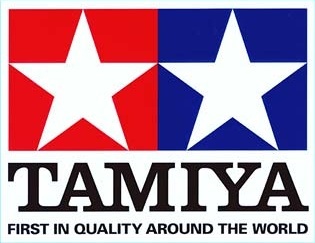 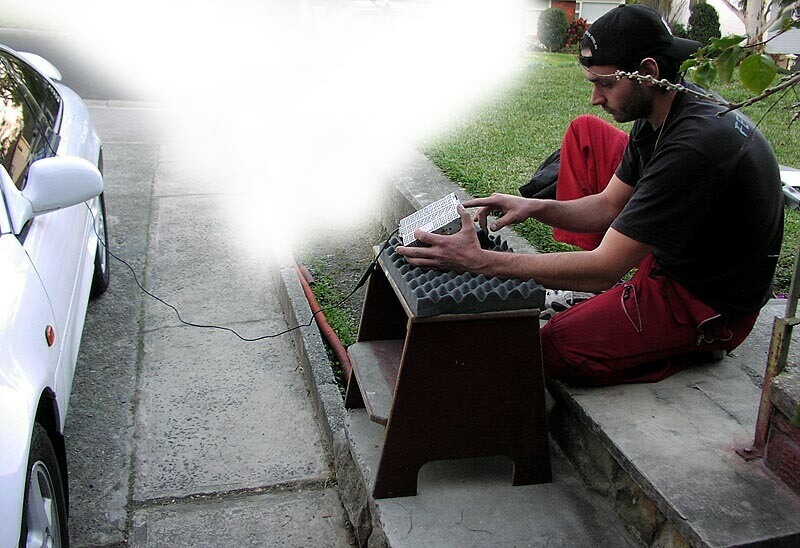 Once any system is installed, regardless of price; there are sonic anomalies and audio phenomenon aplenty to overcome. 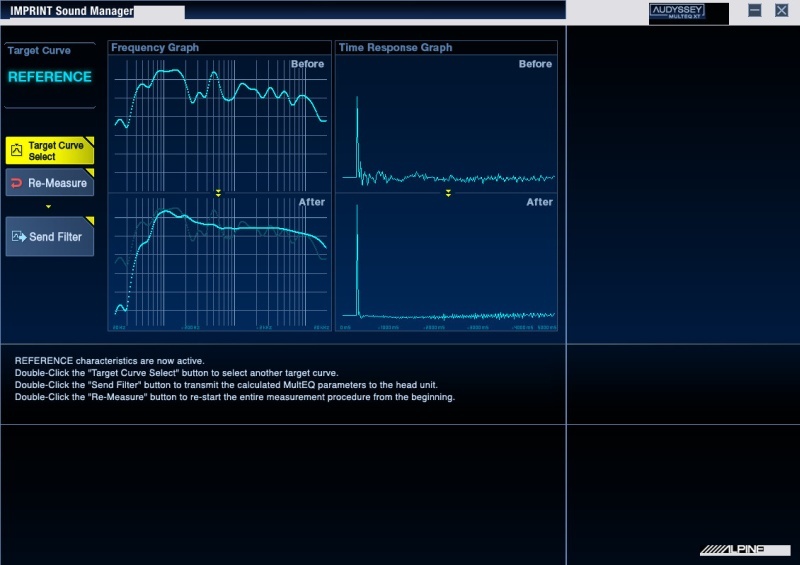 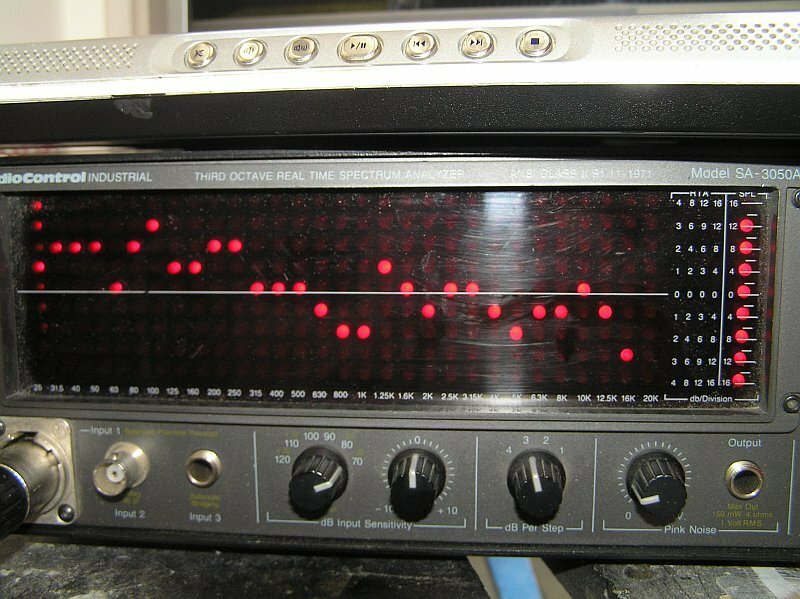 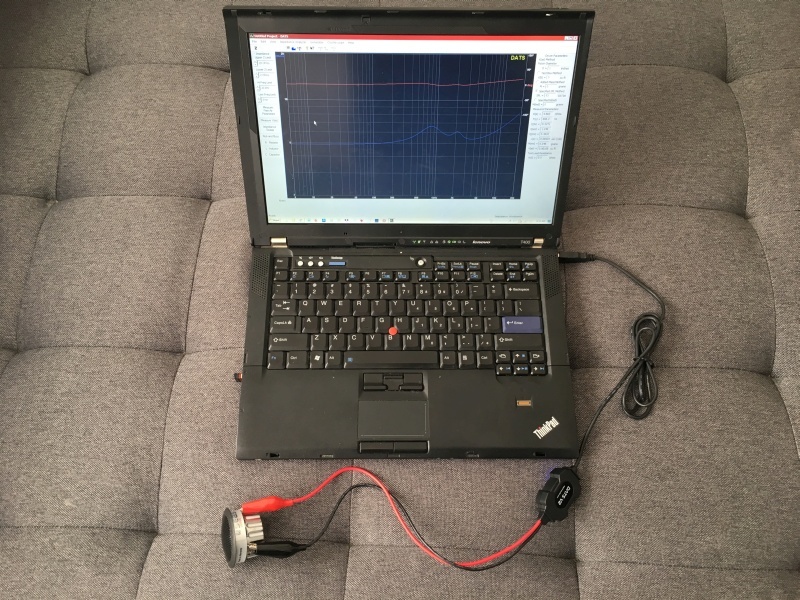 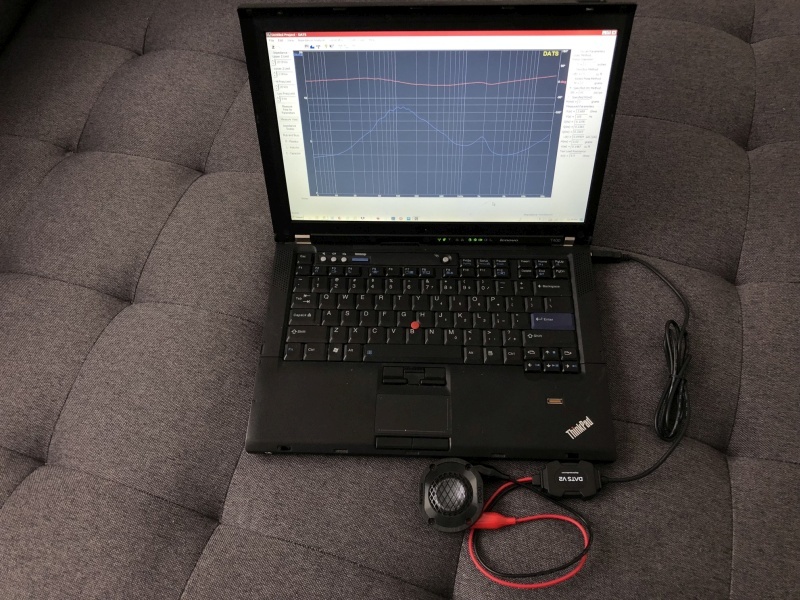 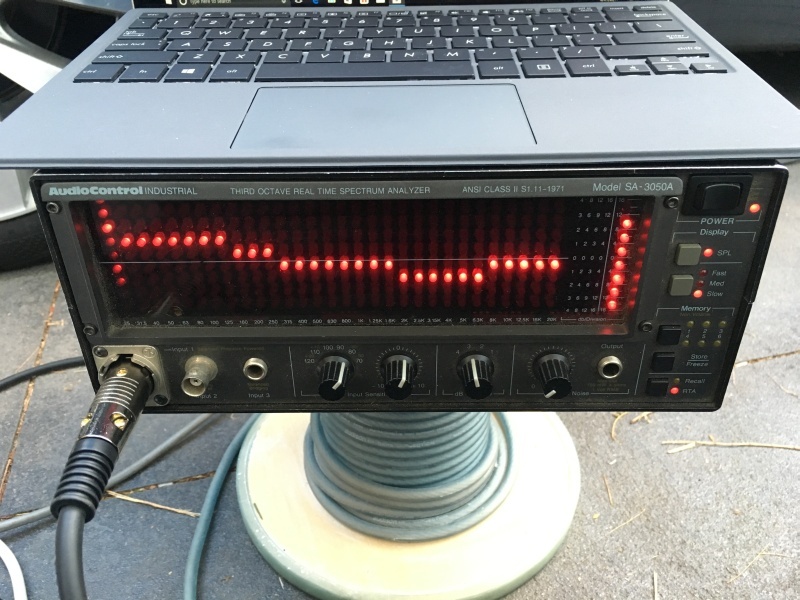 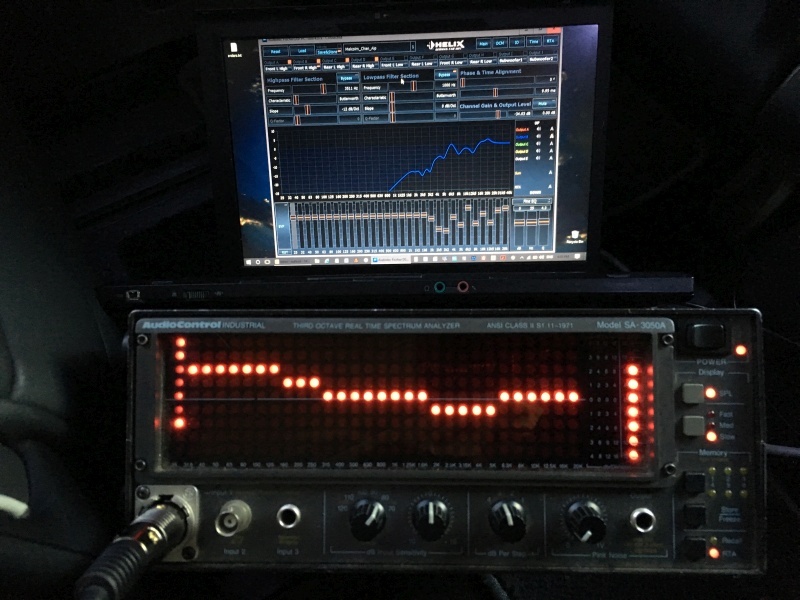 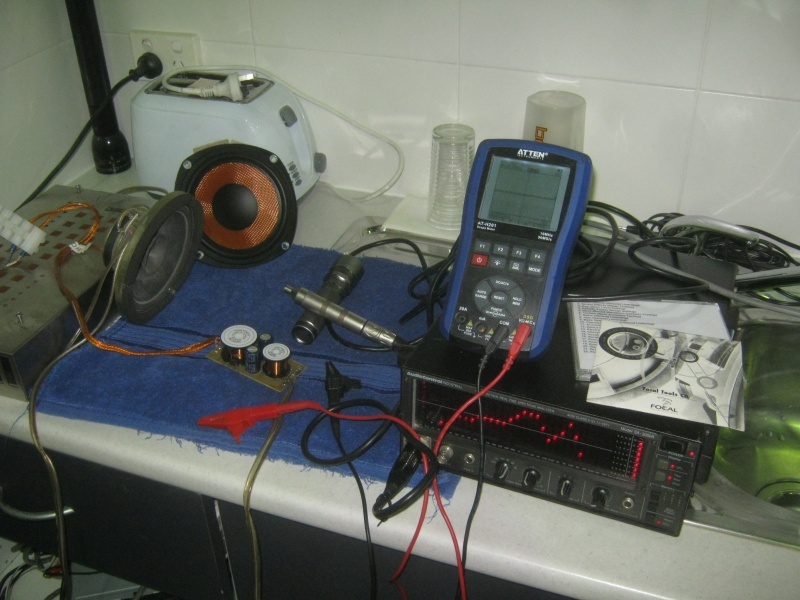 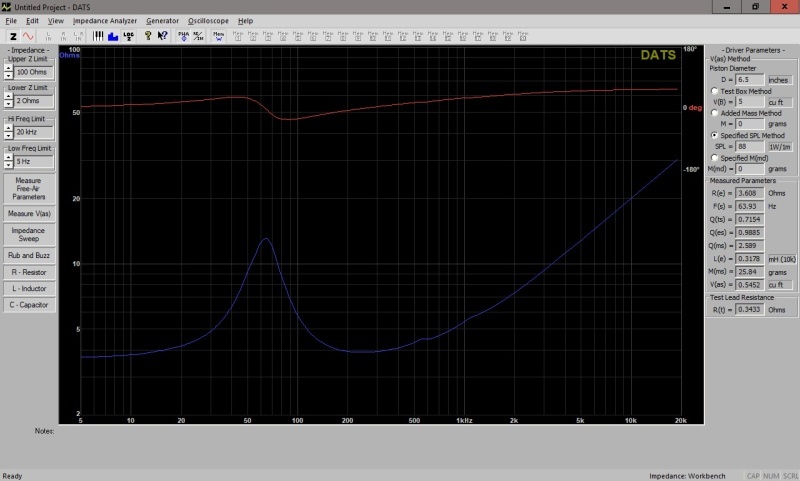 We defeat these issues not only with our experience and ears but also using all matter of instruments such as real time analysers, oscilloscopes, dB meters, software simulators, CAD programs and many more. 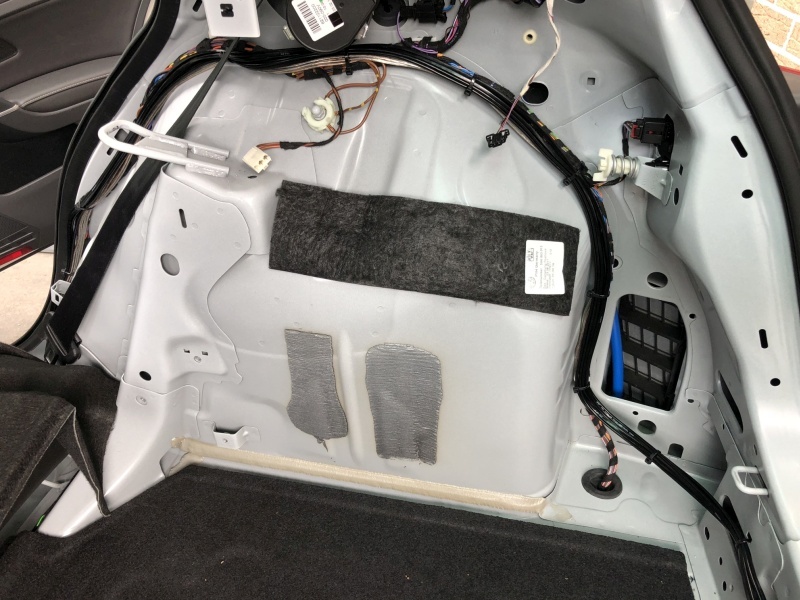 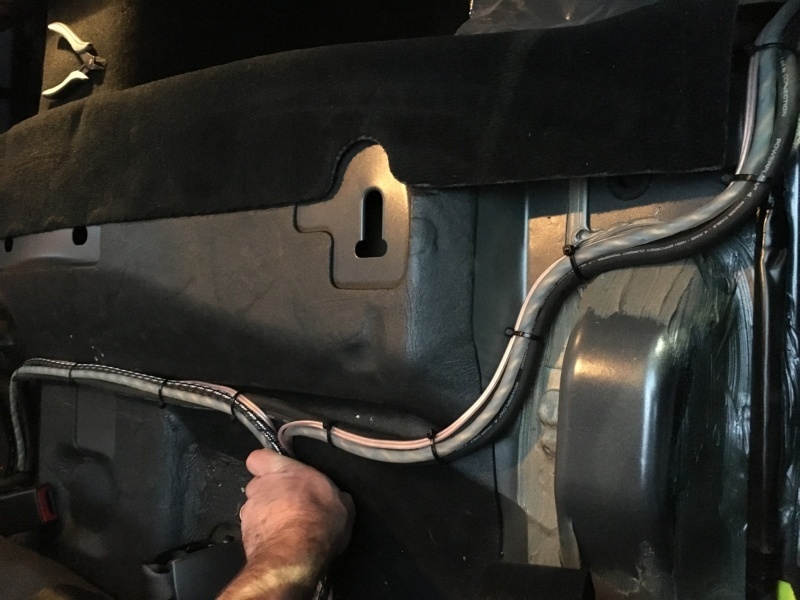 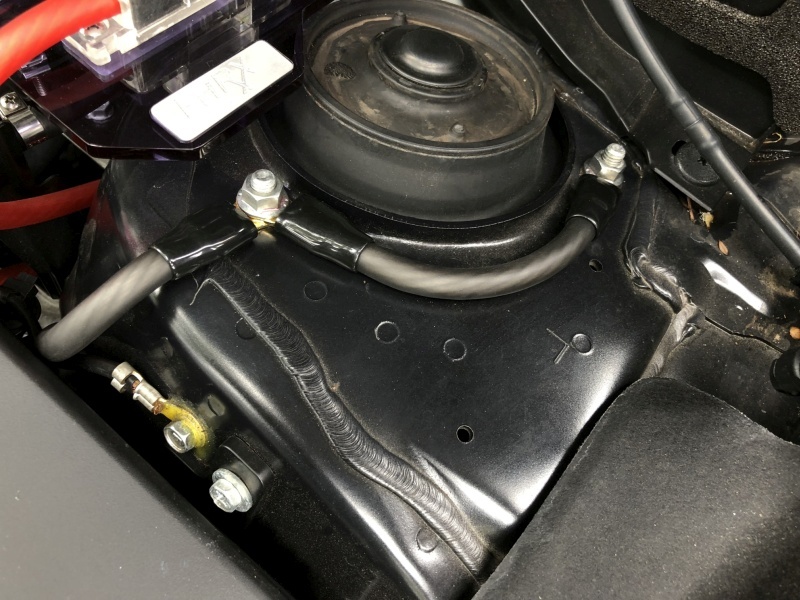 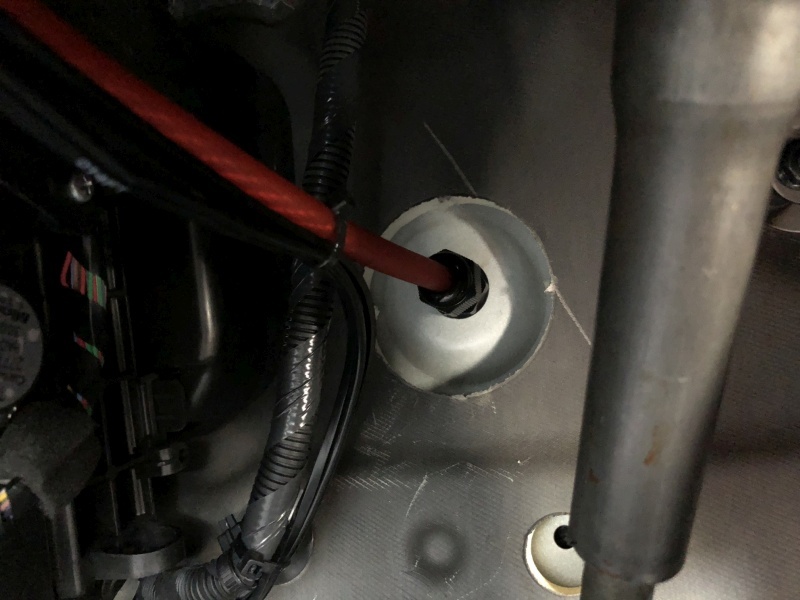 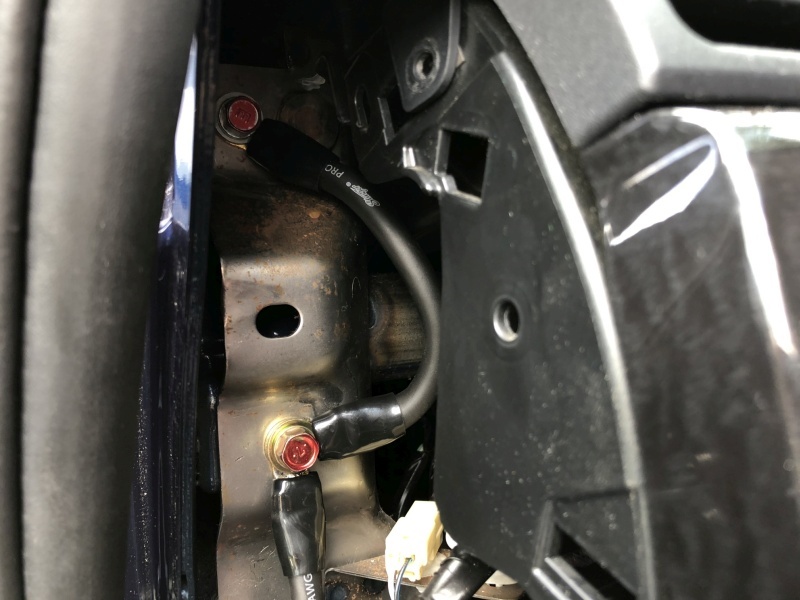 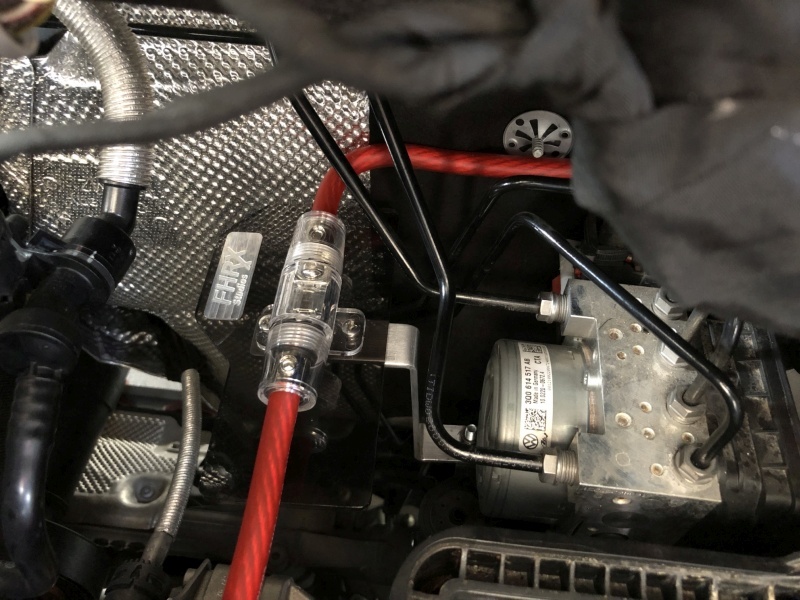 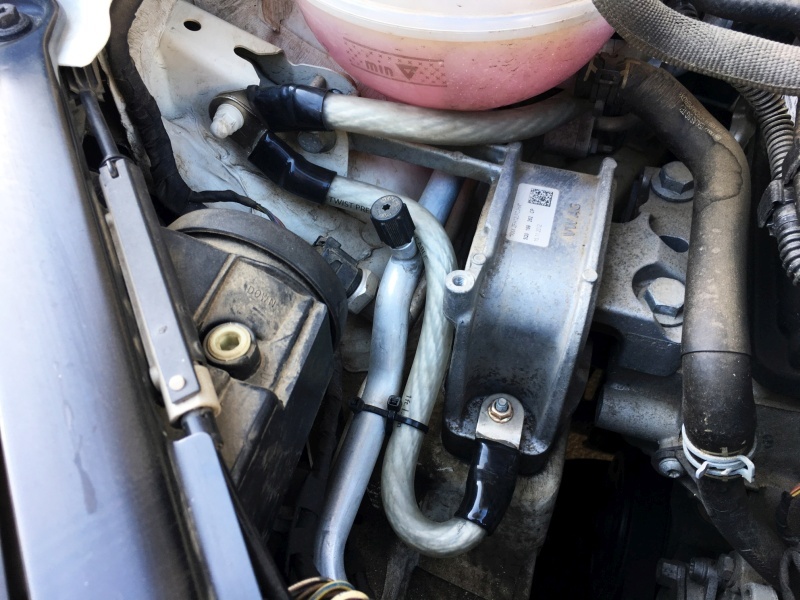 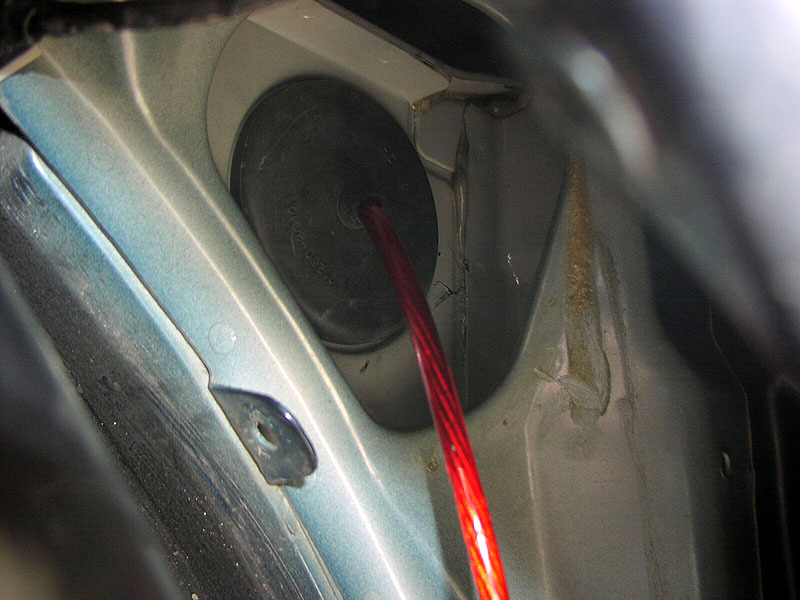 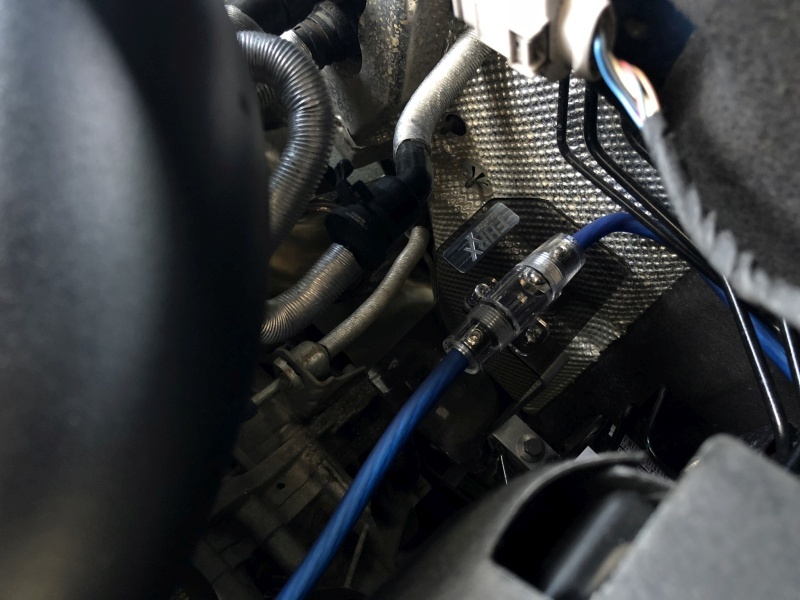 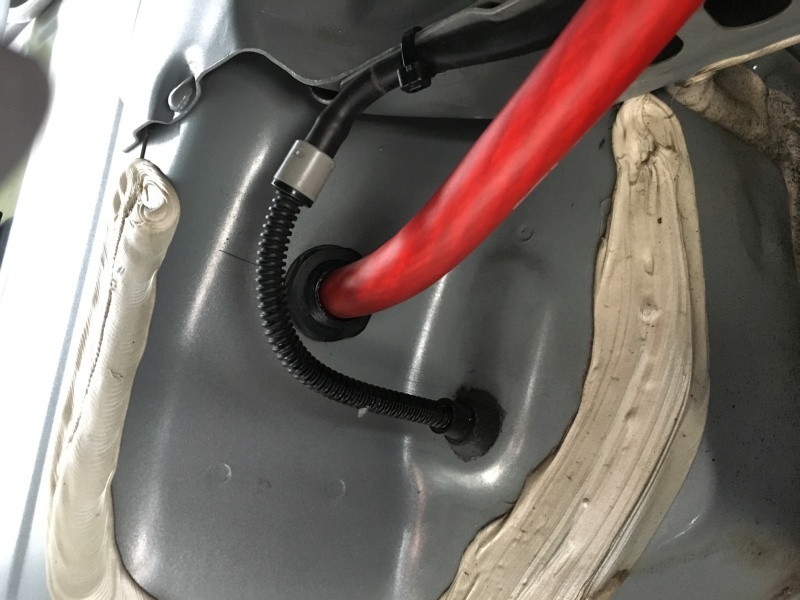 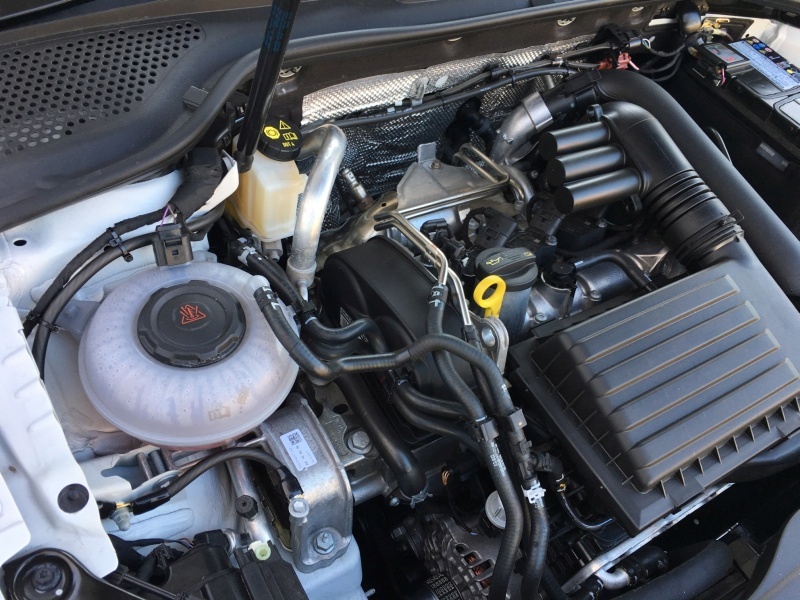 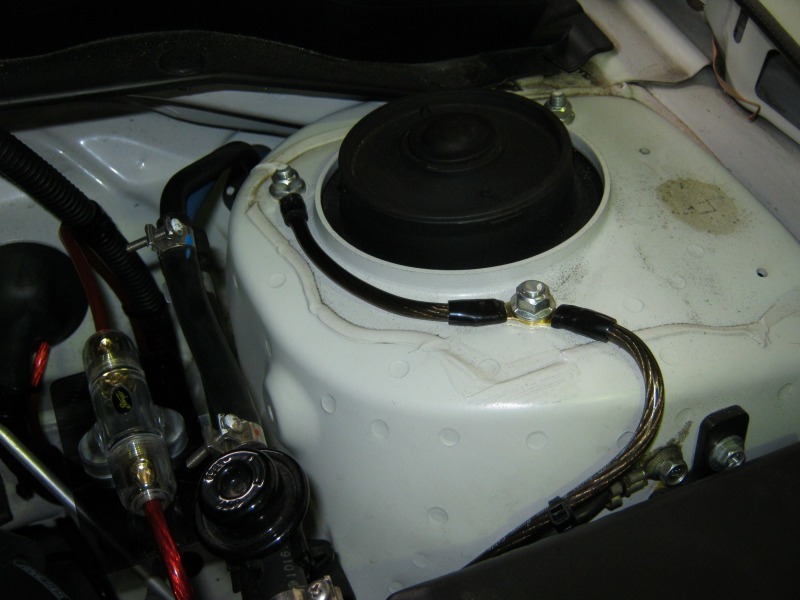 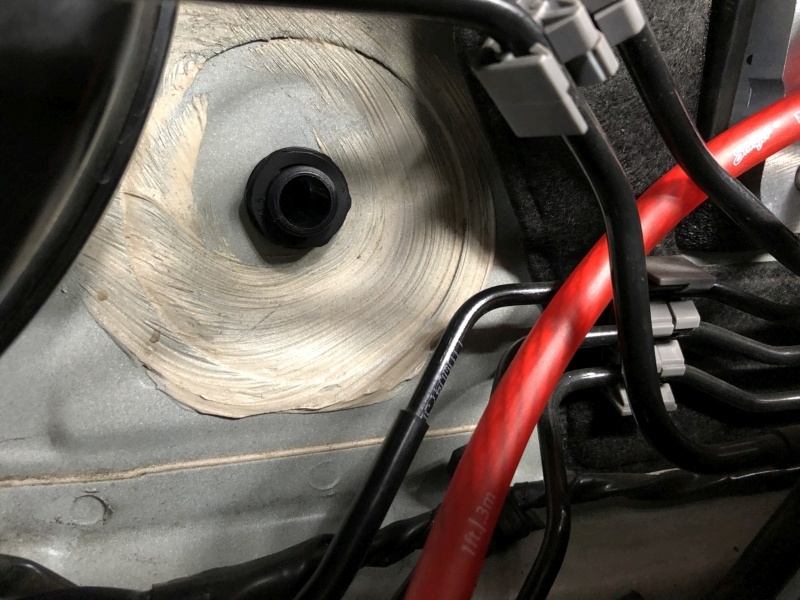 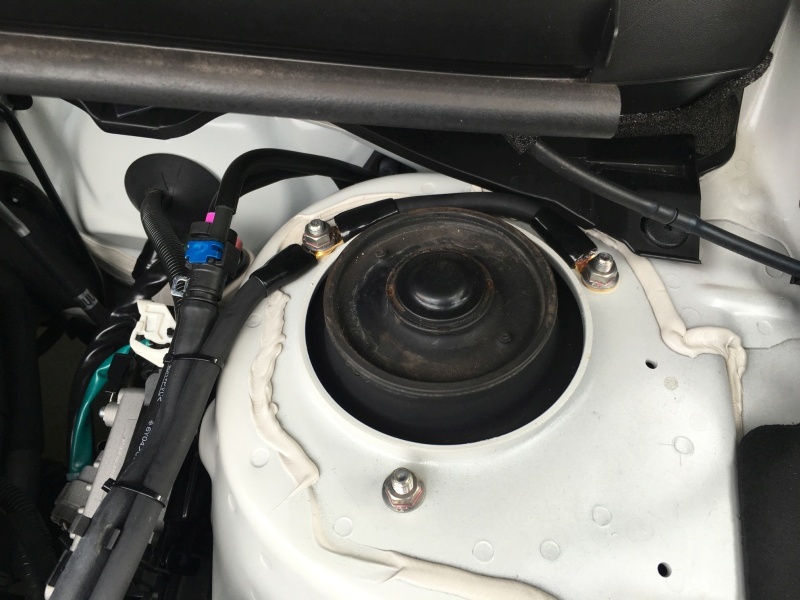 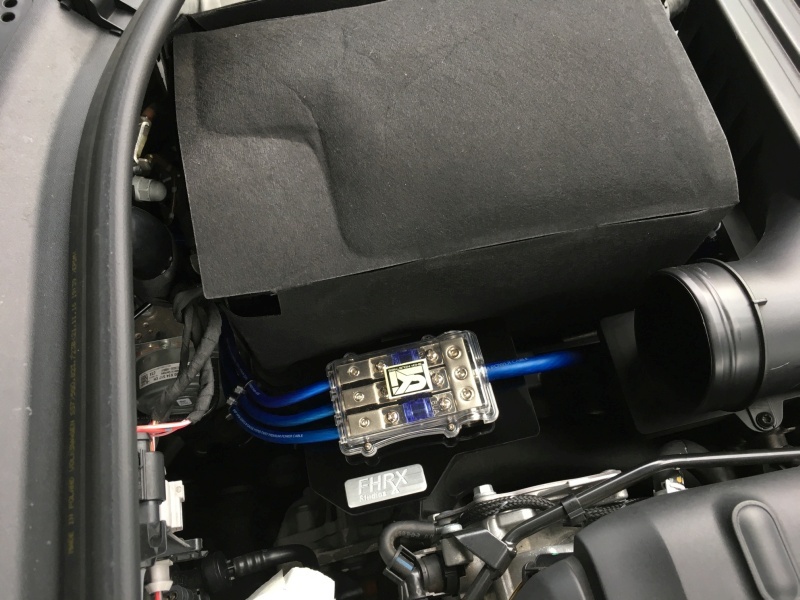 Upon the commencement of each install we run through everything on the car from how many kilometres it's done and how much fuel is on board through to going over each and every little blemish on the interior and exterior. 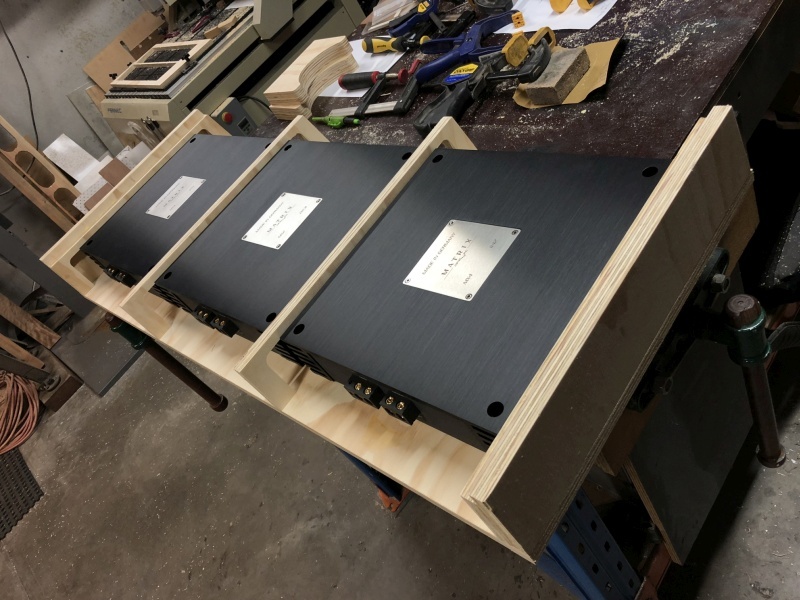 Upon the conclusion of the install, we give each customer a CD, DVD or memory stick containing all digital photos and videos, letting them see the build-up process and how their install came about. 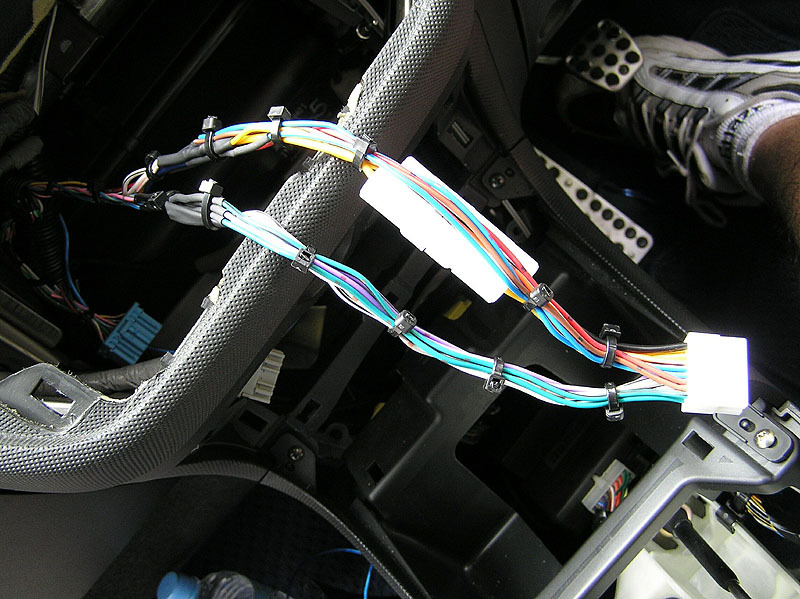 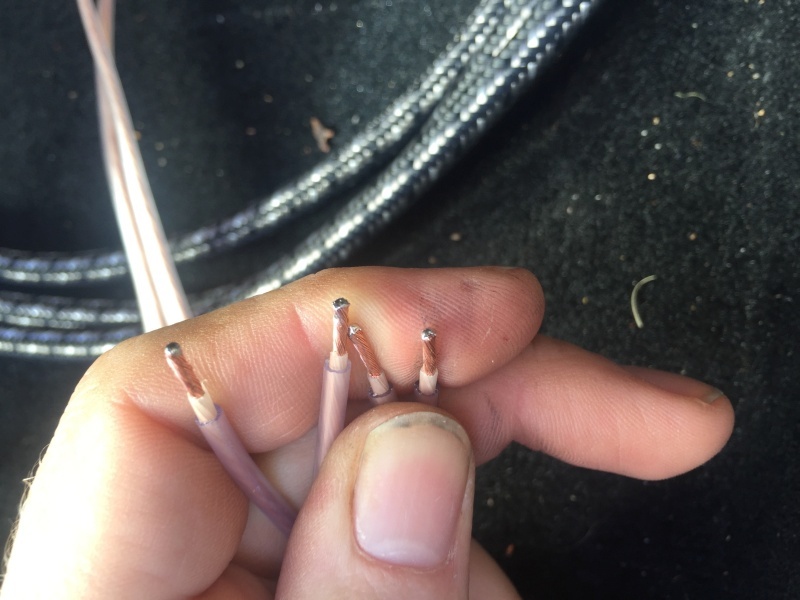 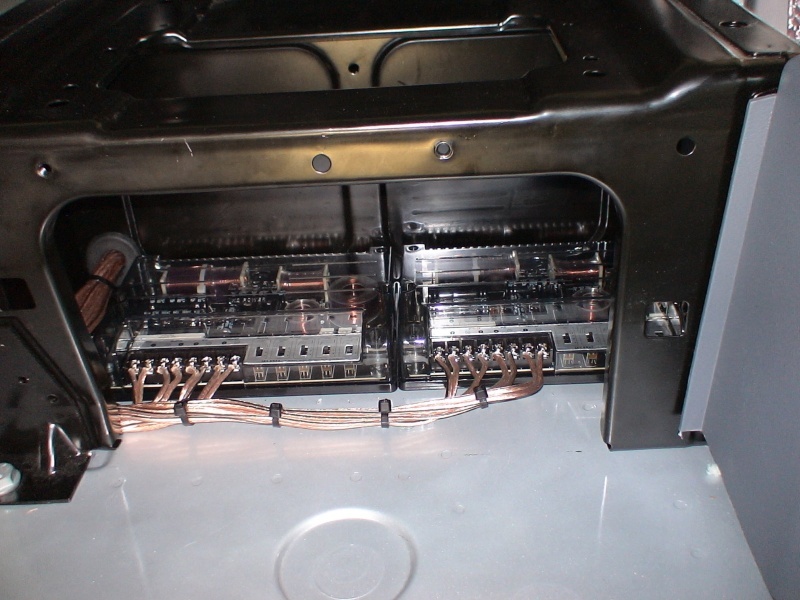 This also helps them if they wish to make small changes to their system as they can see where all the components are placed and where all the cables run too.